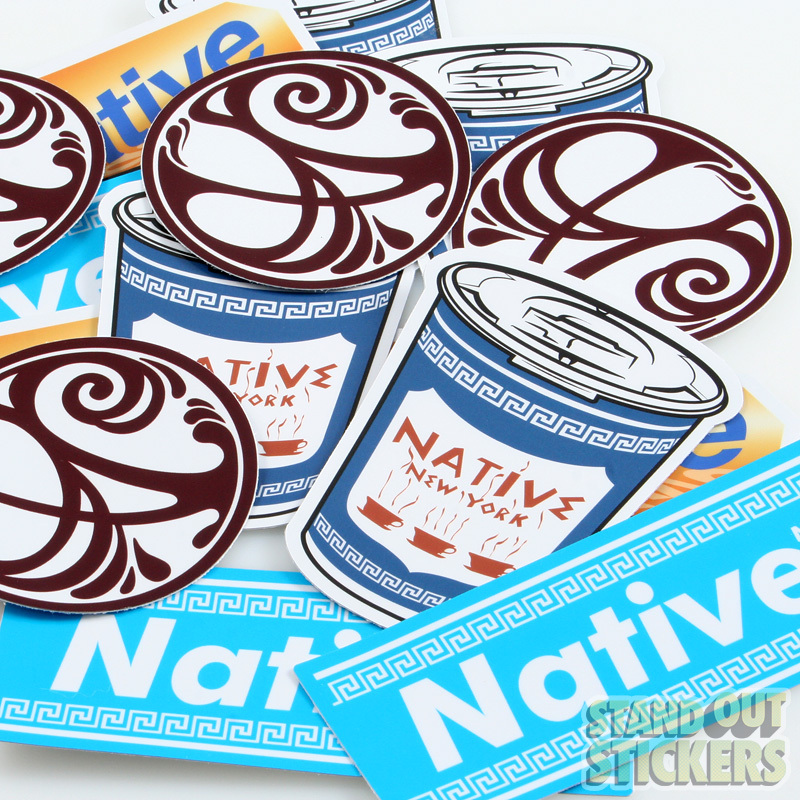 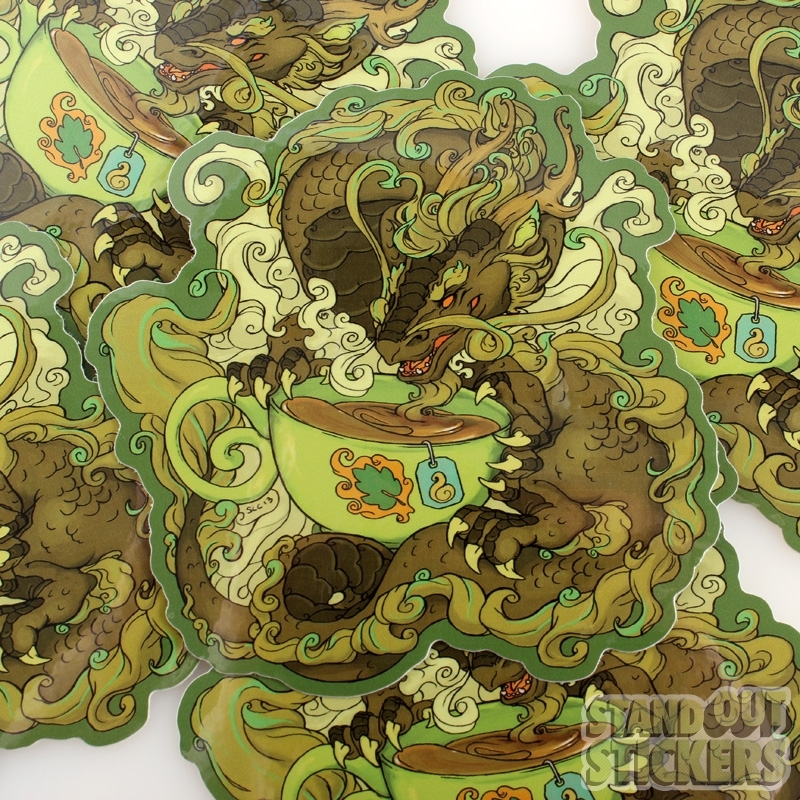 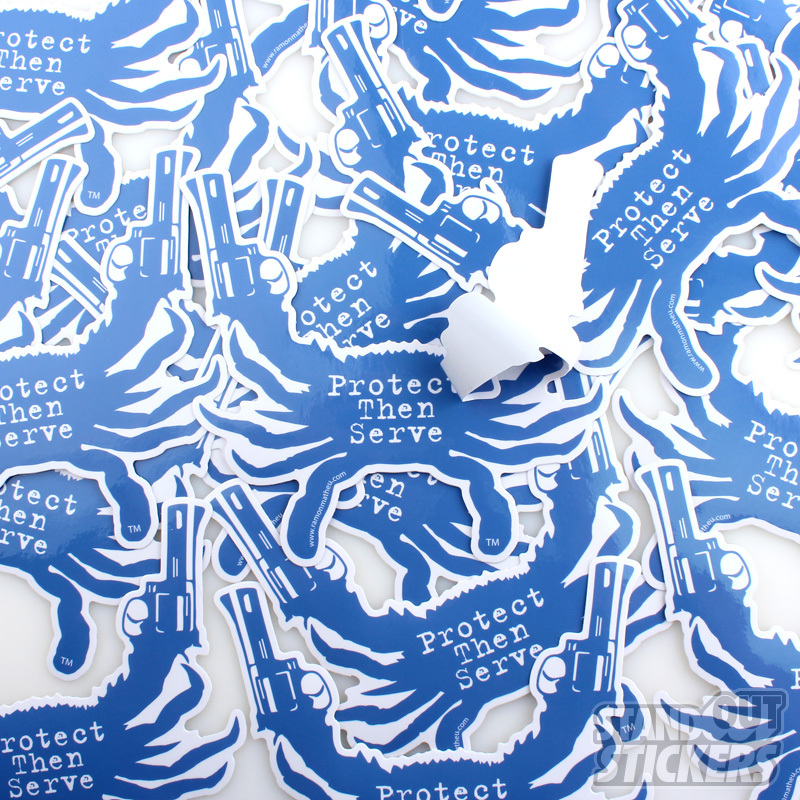 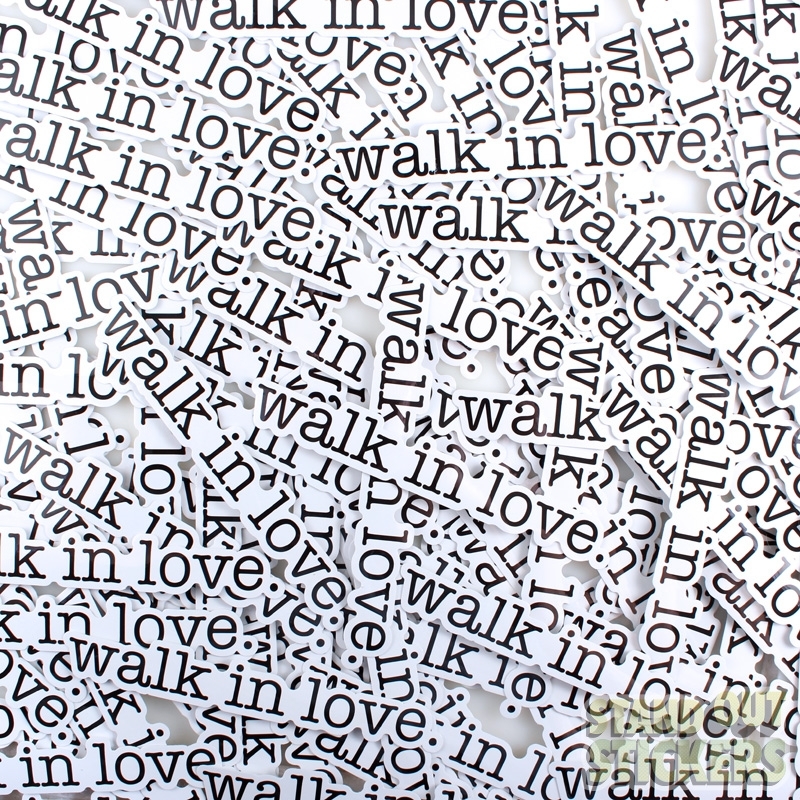 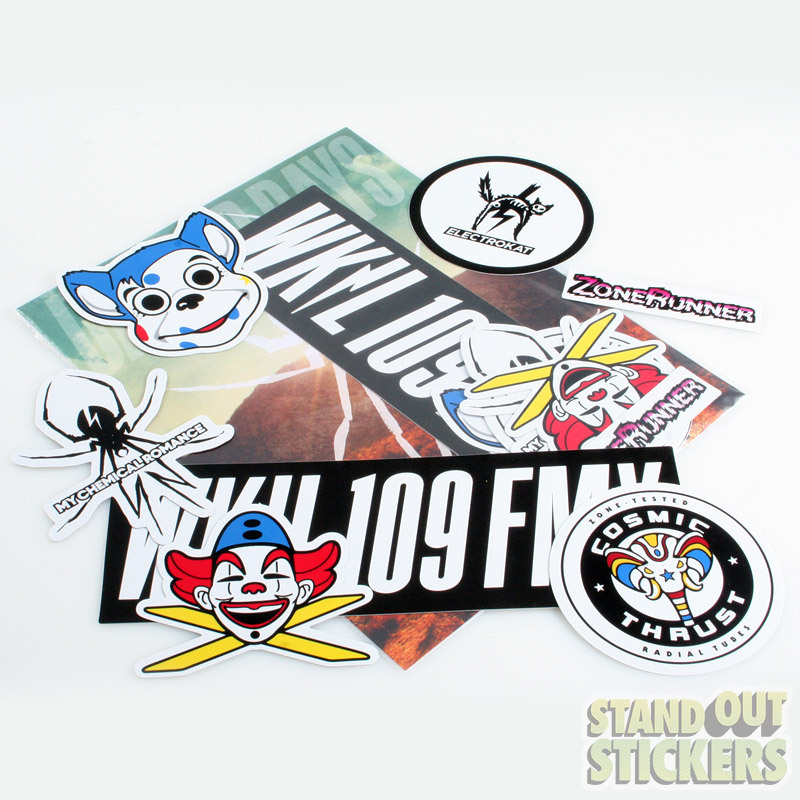 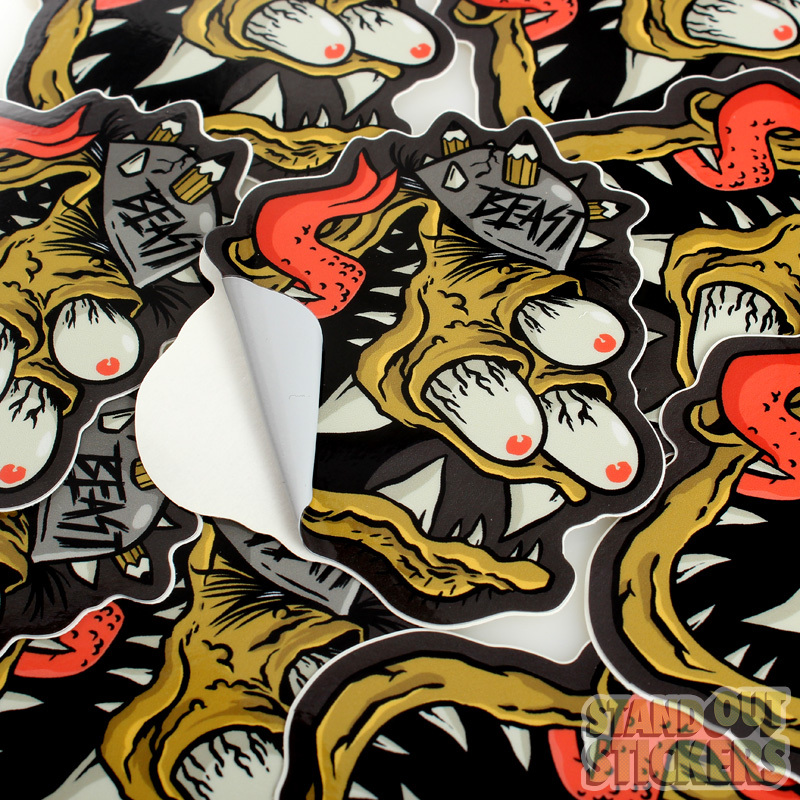 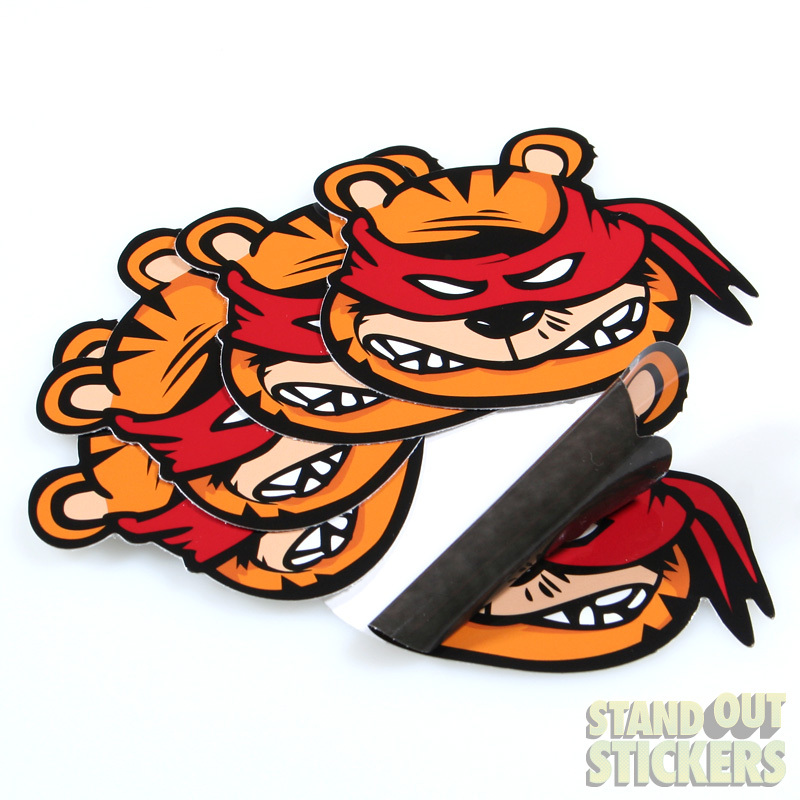 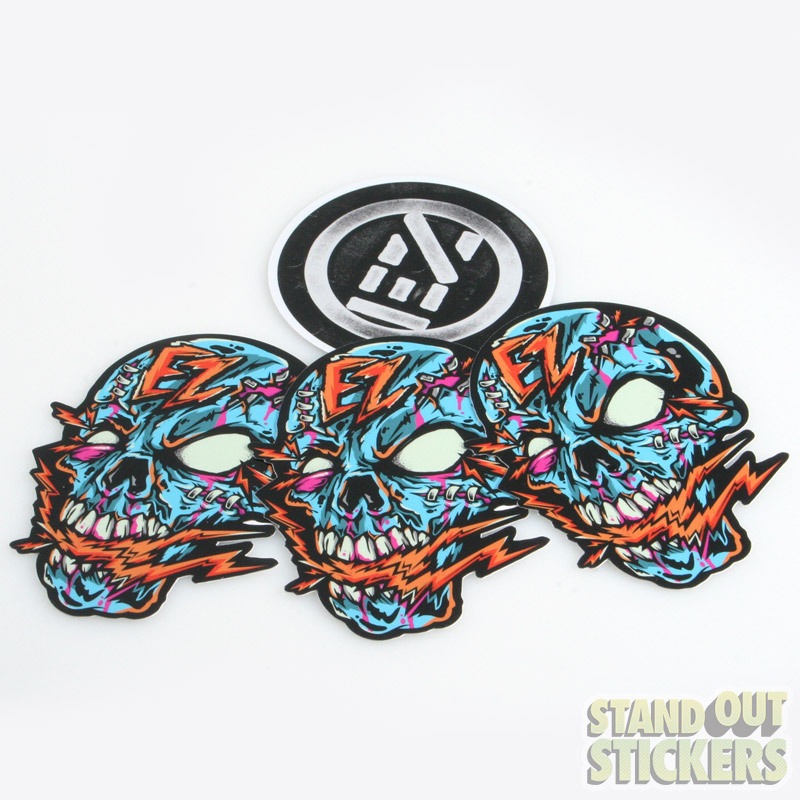 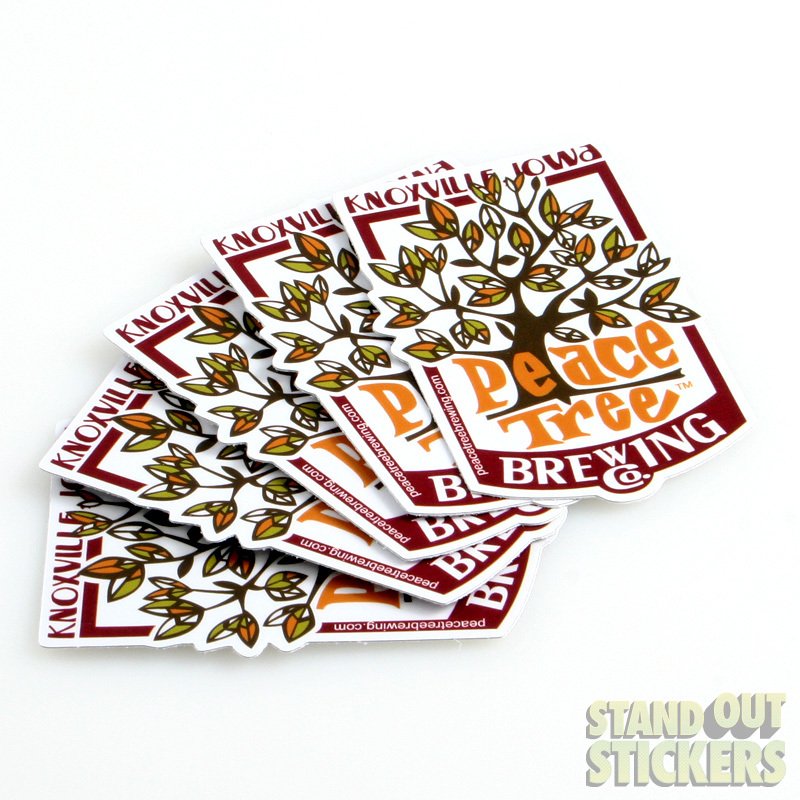 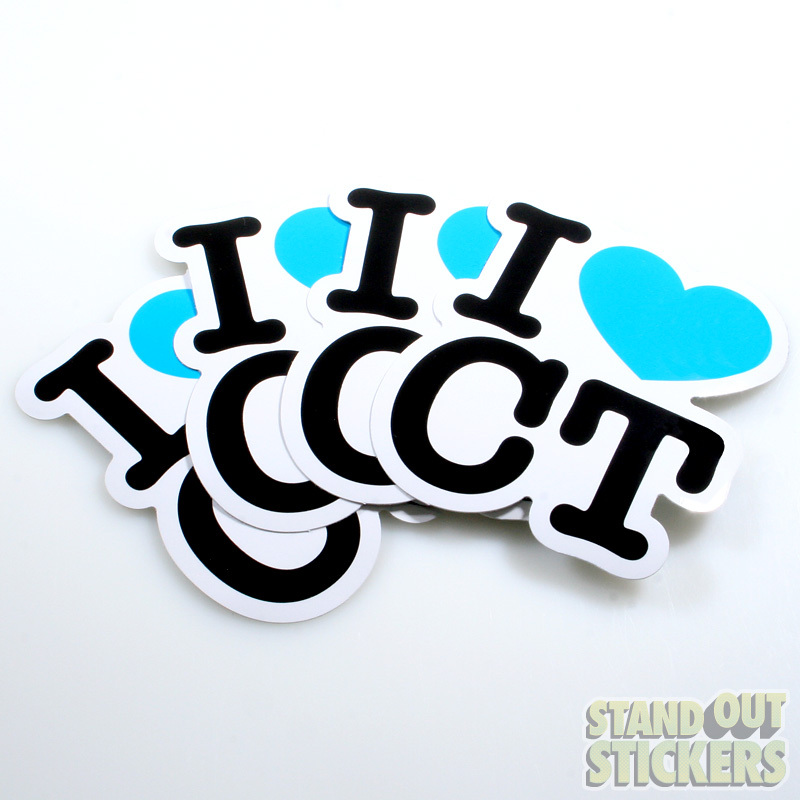 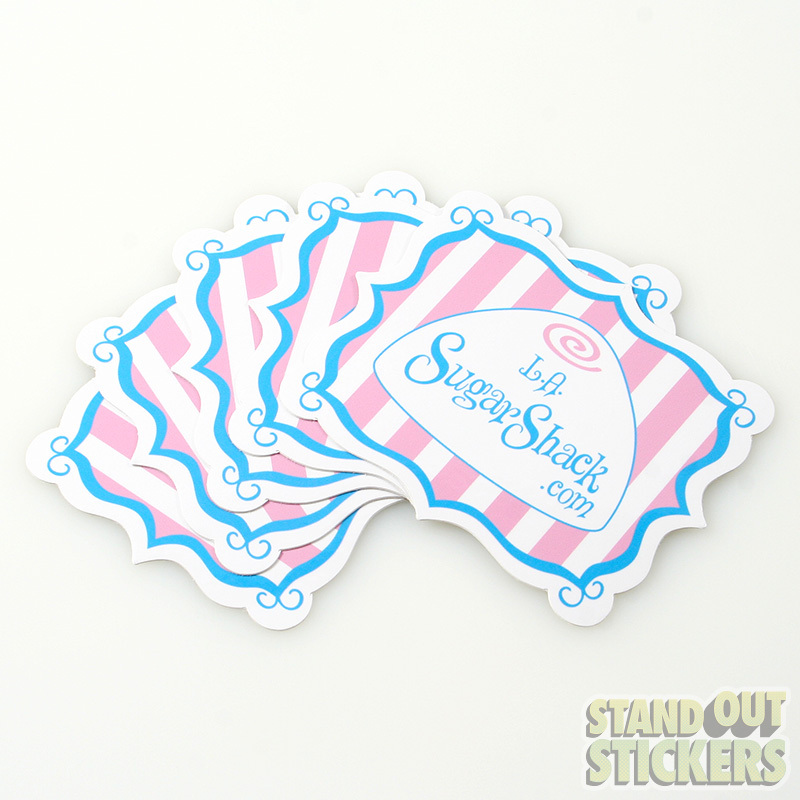 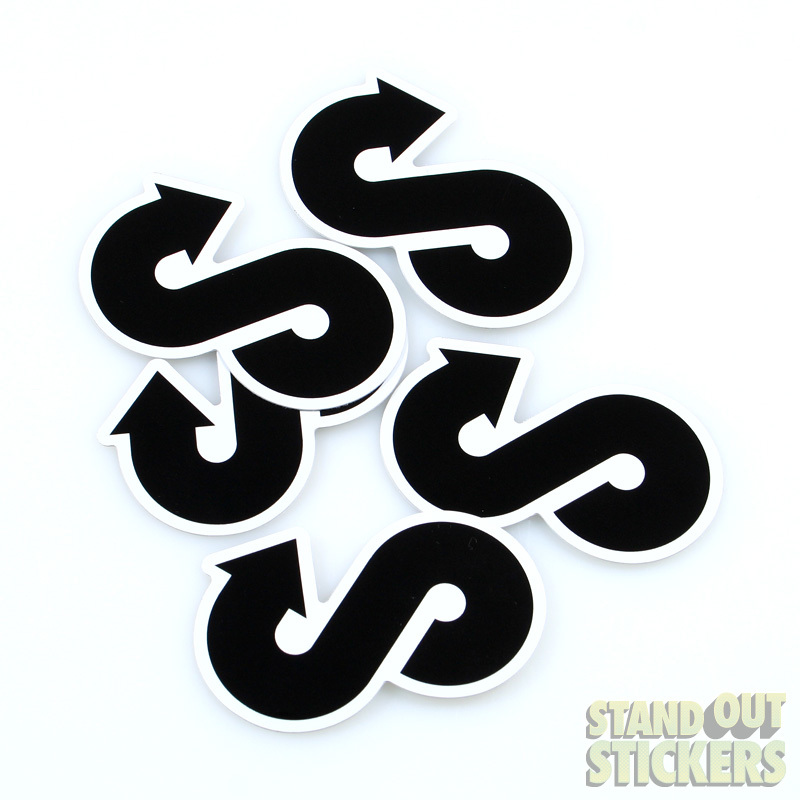 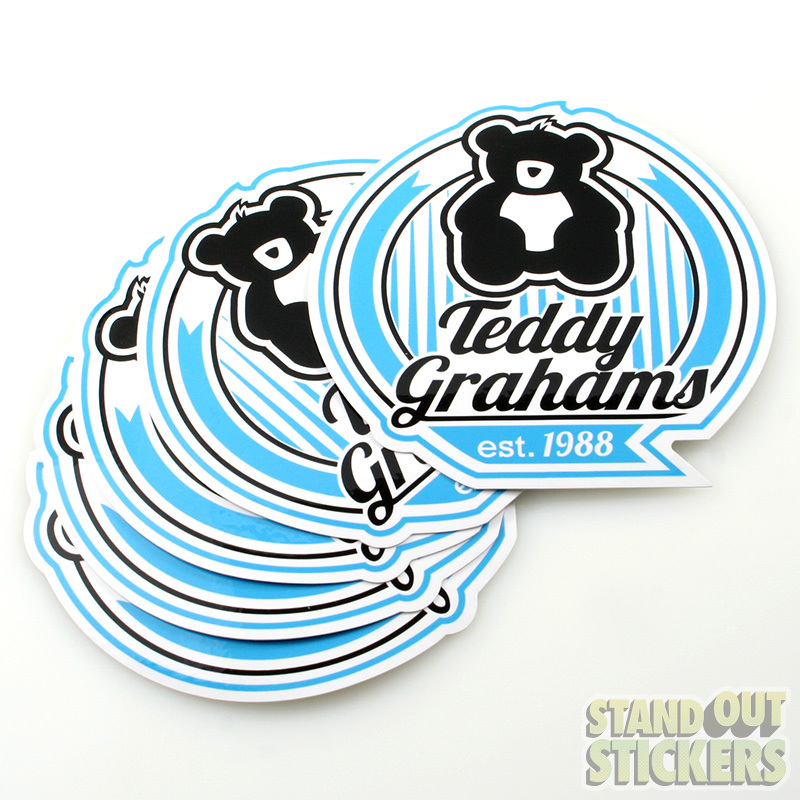 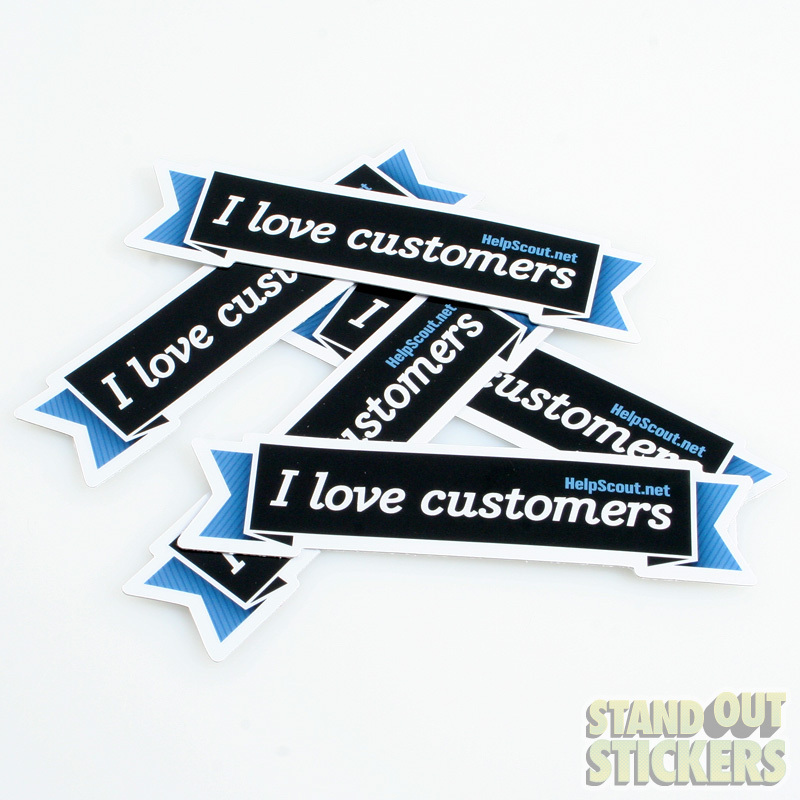 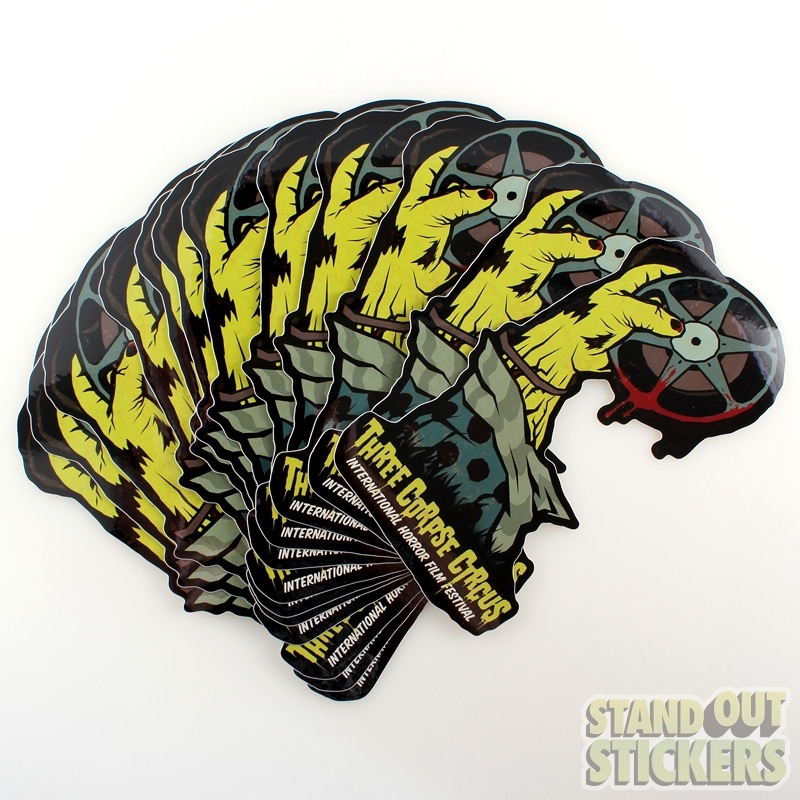 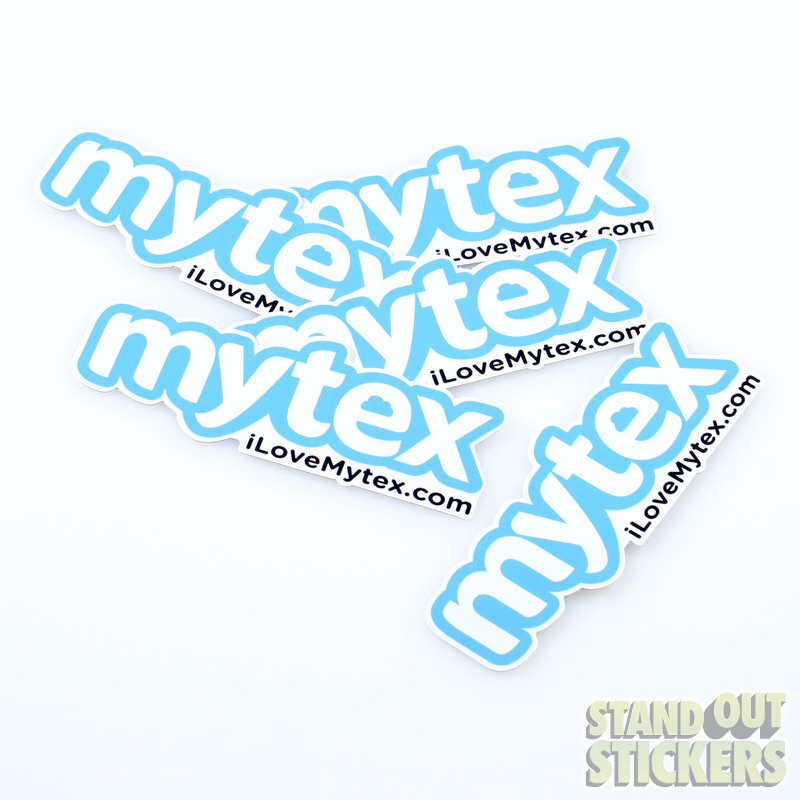 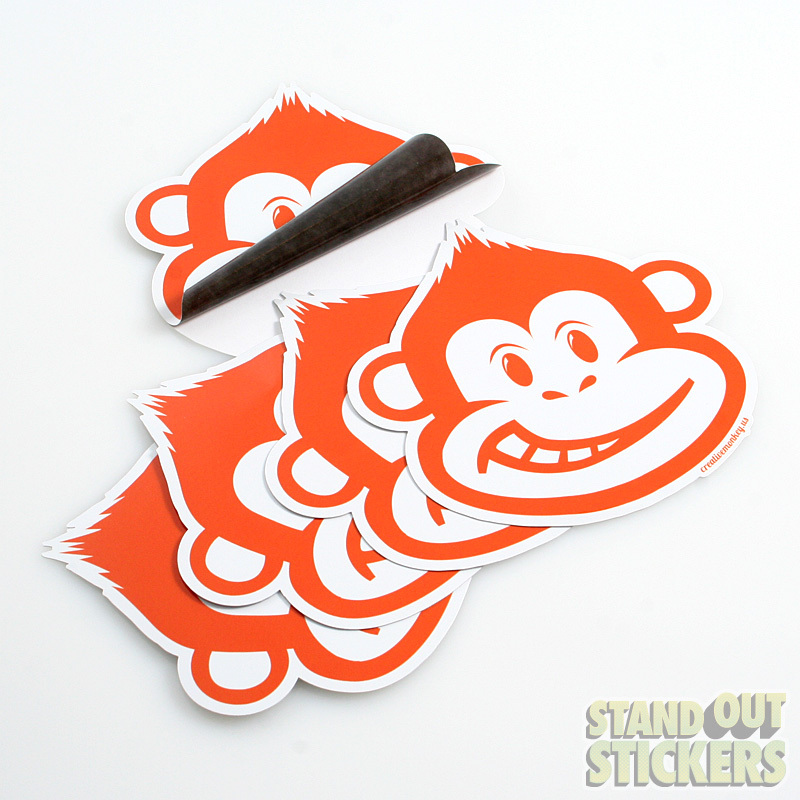 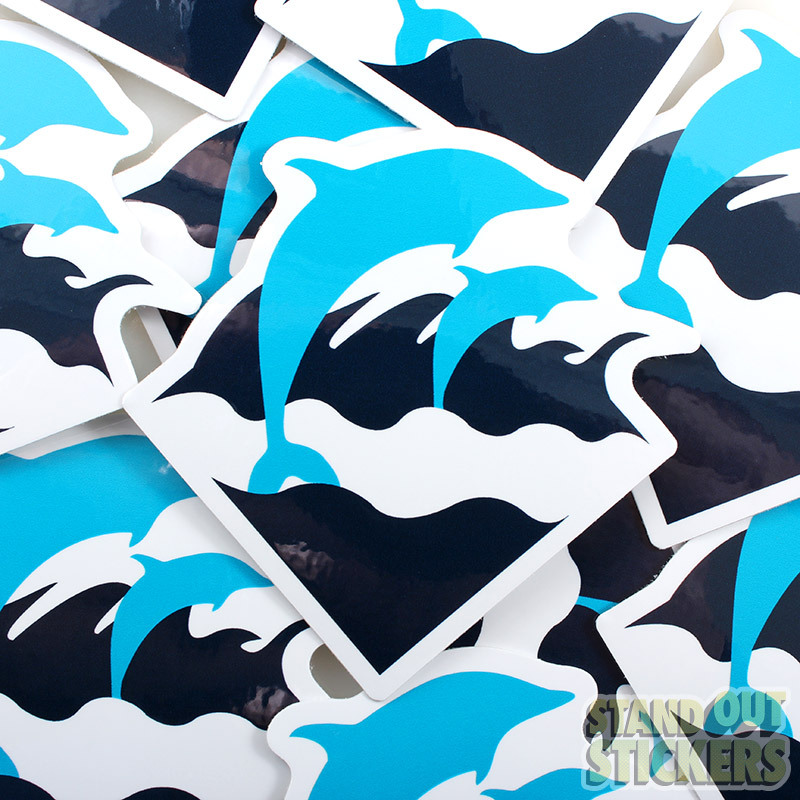 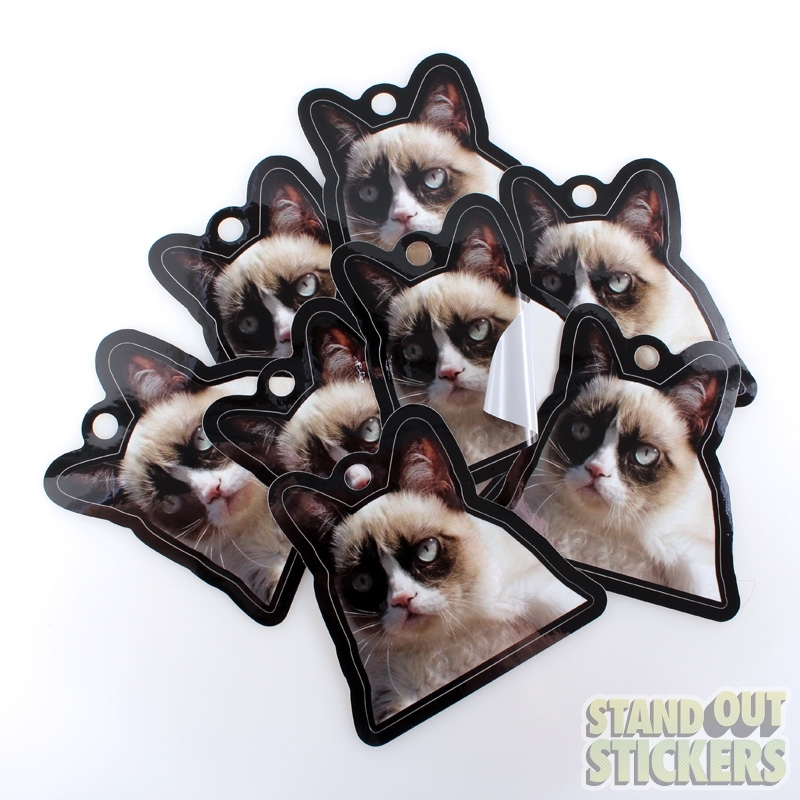 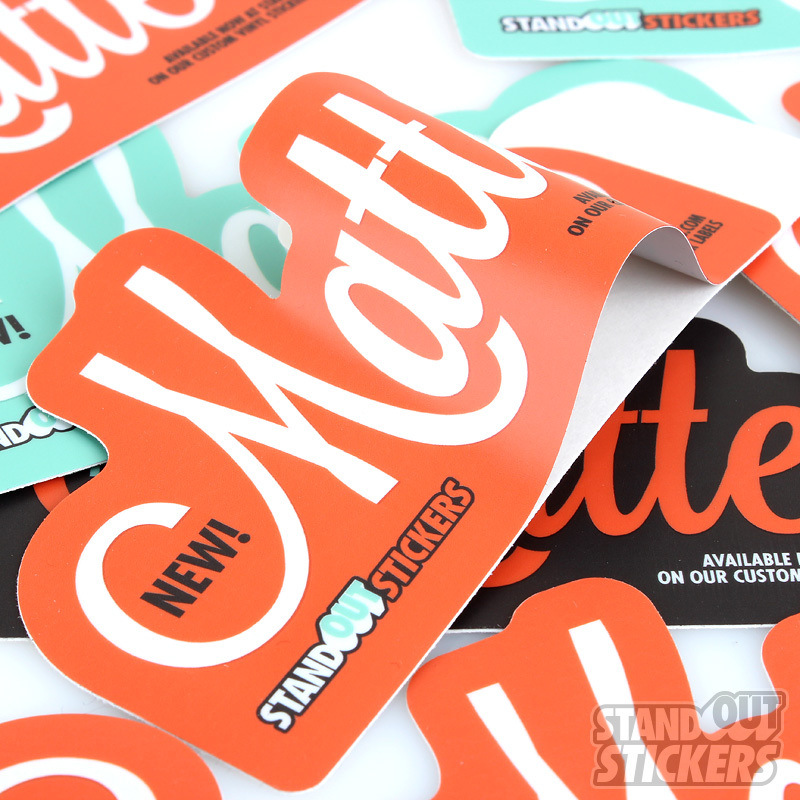 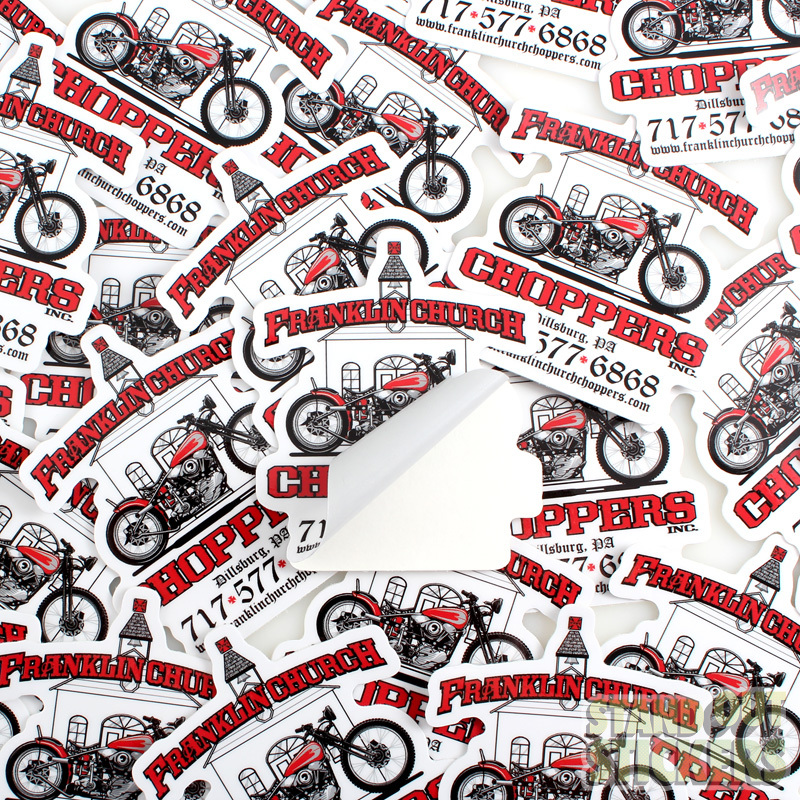 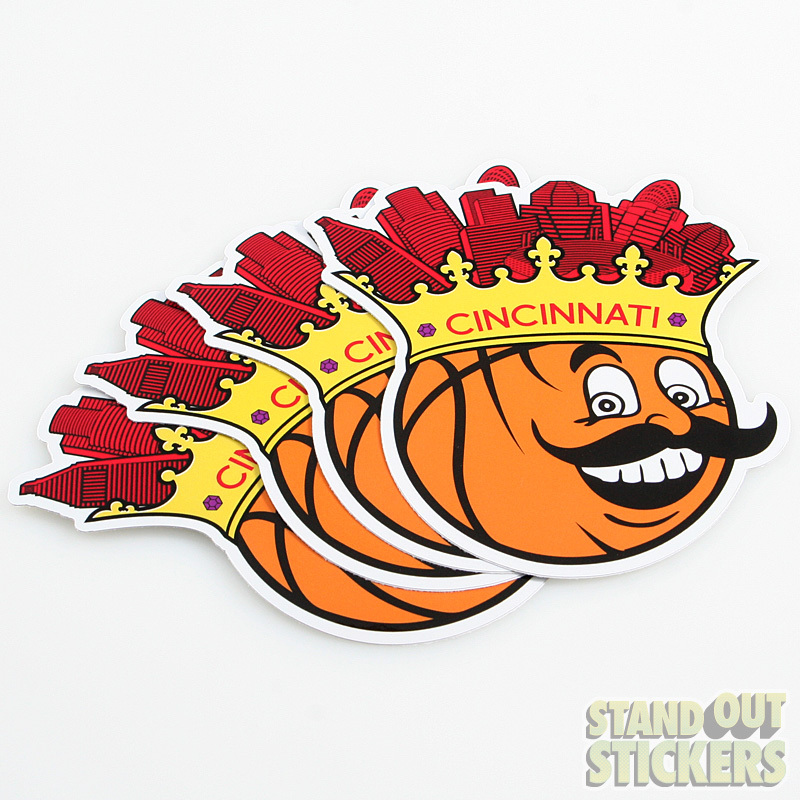 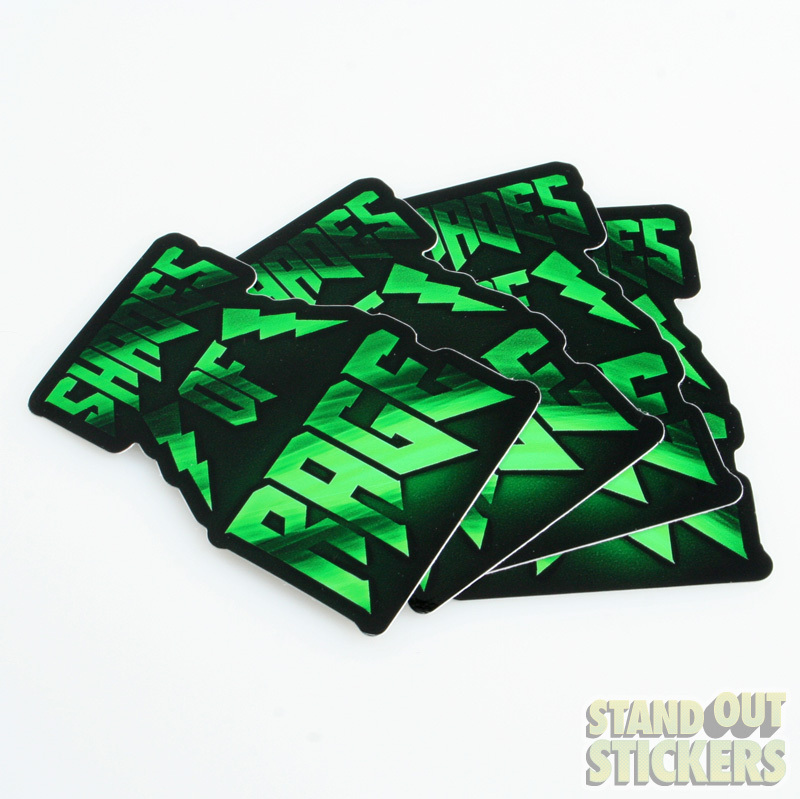 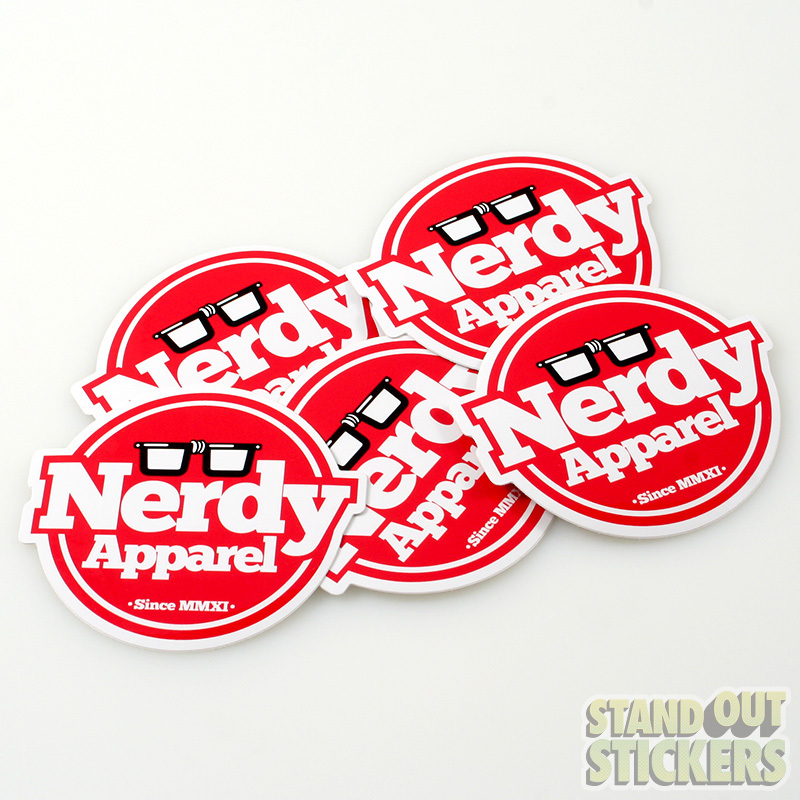 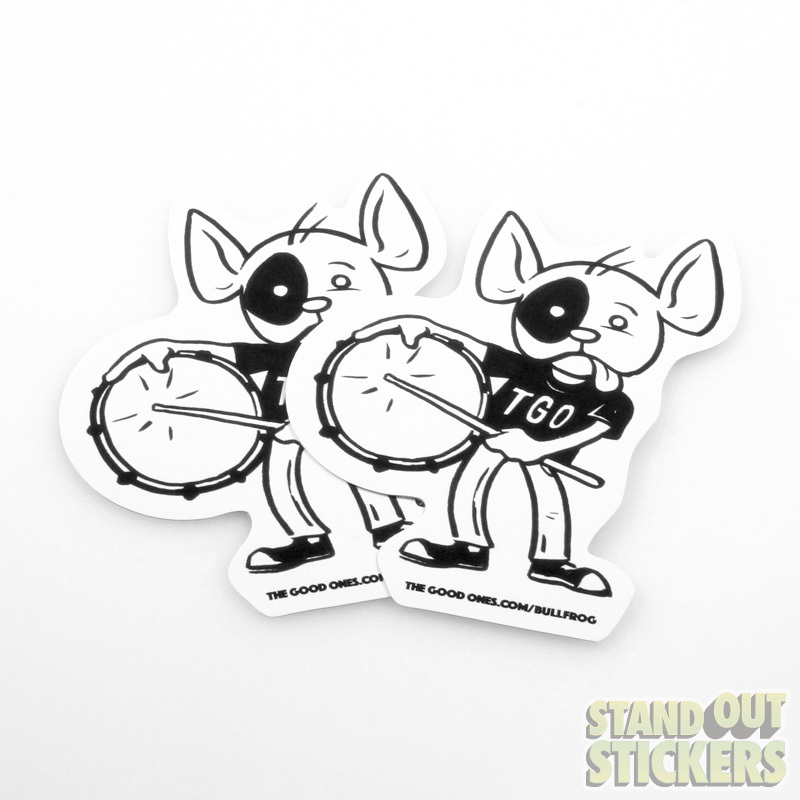 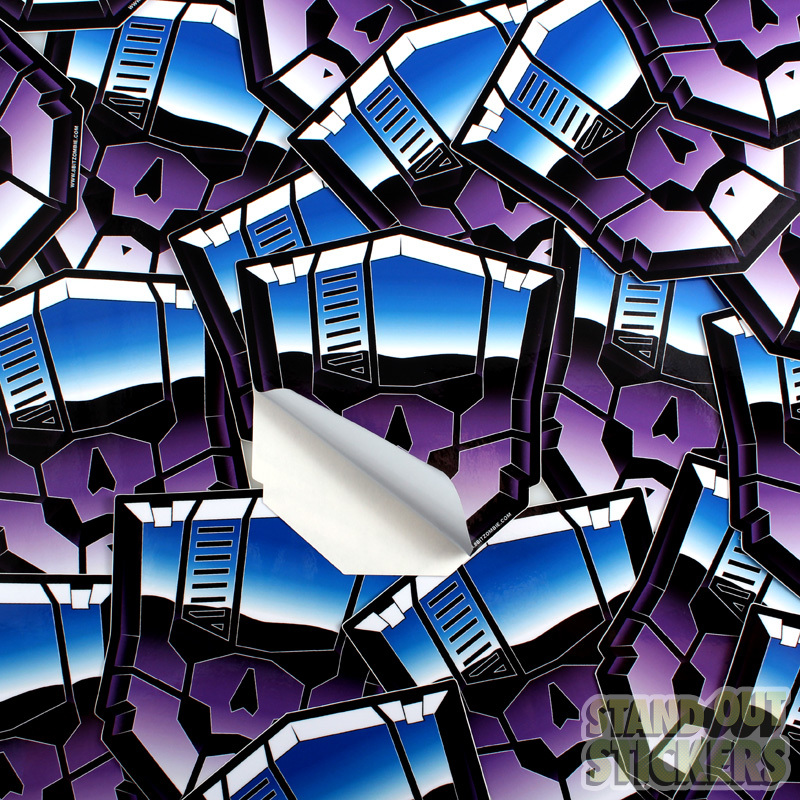 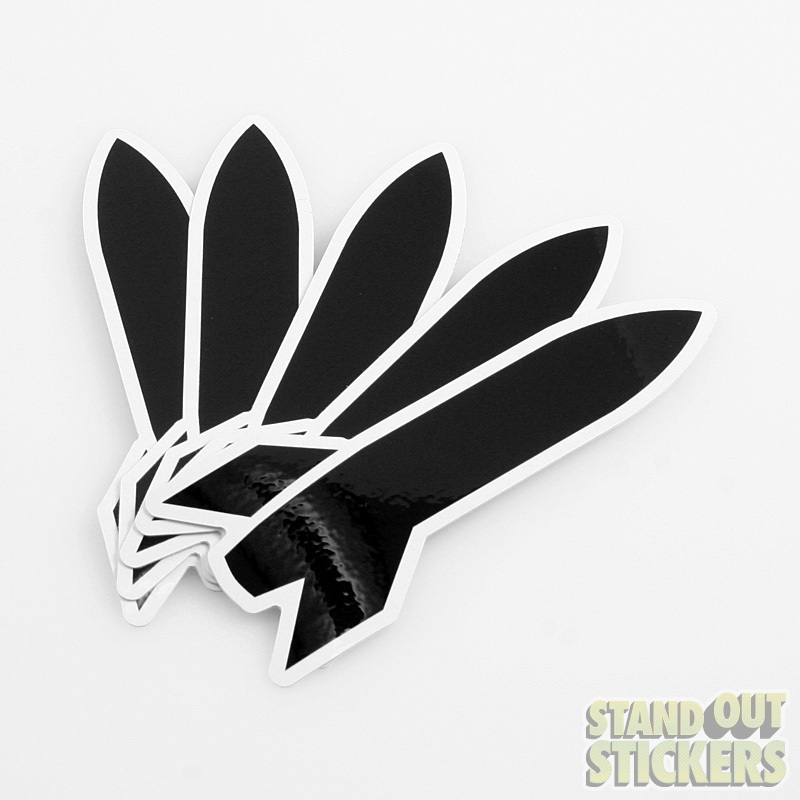 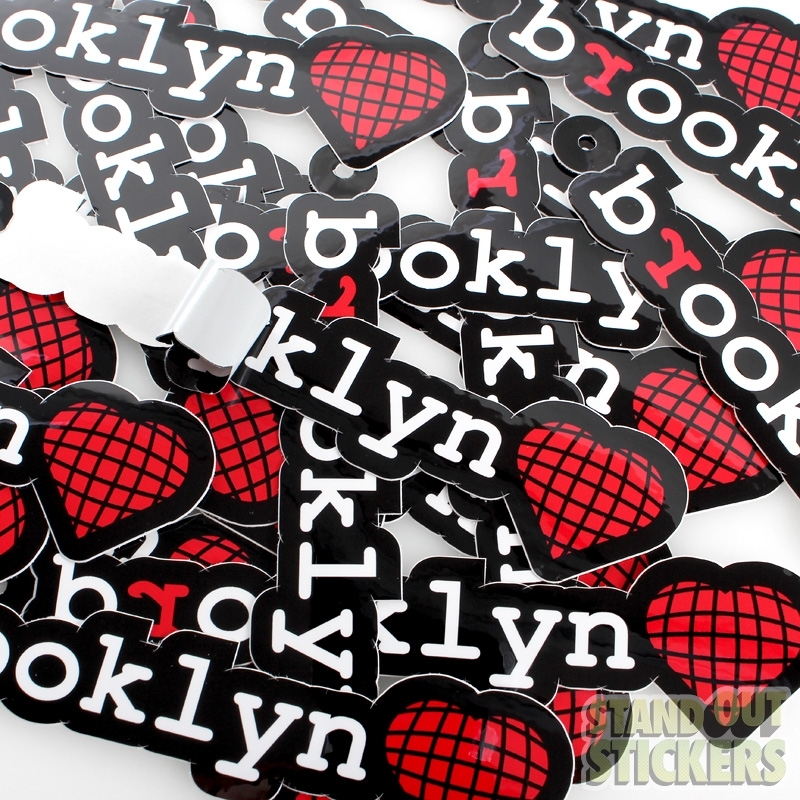 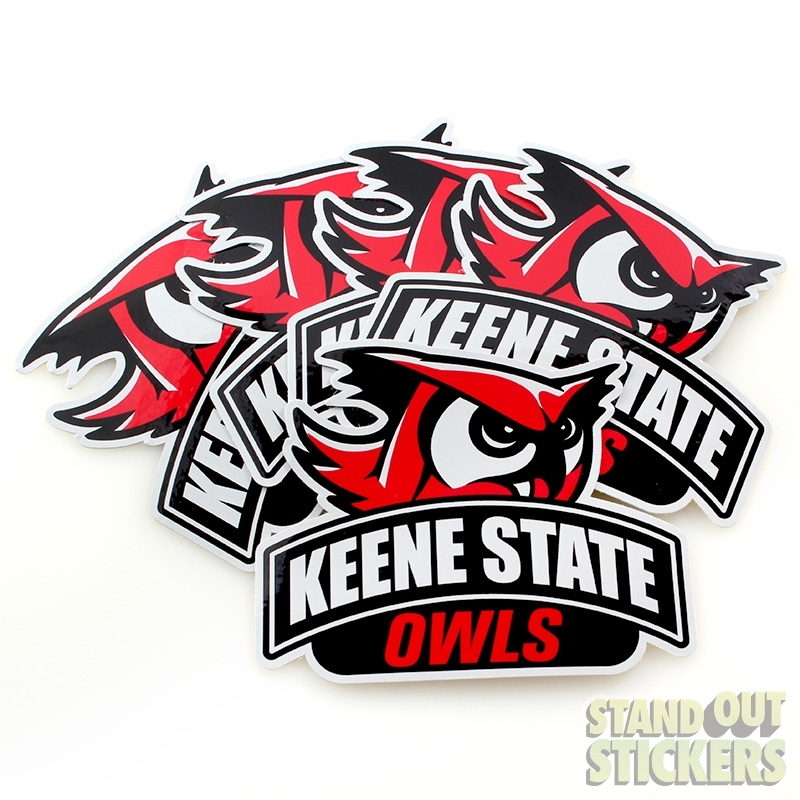 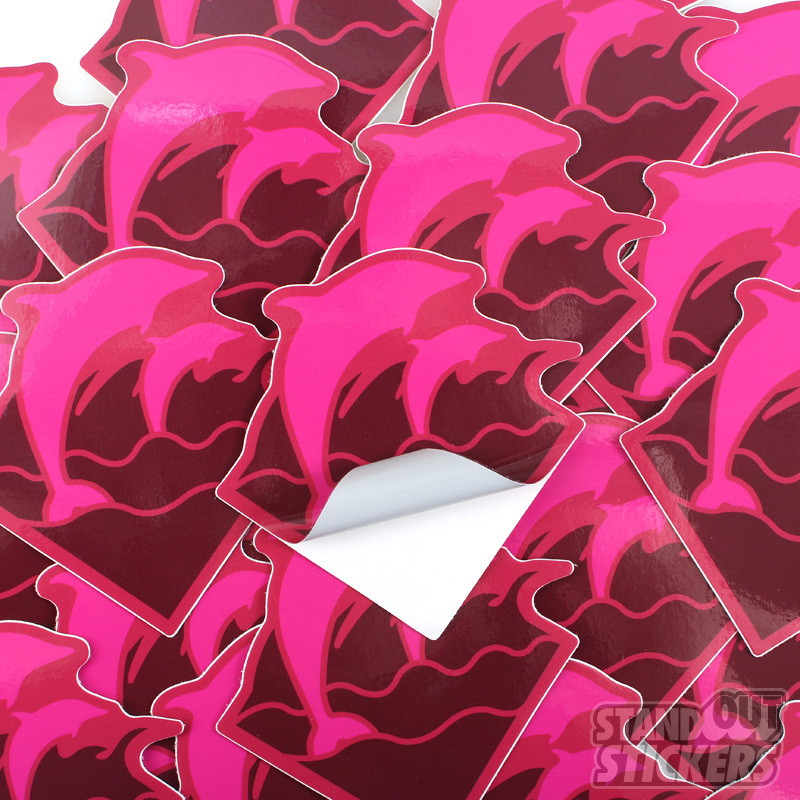 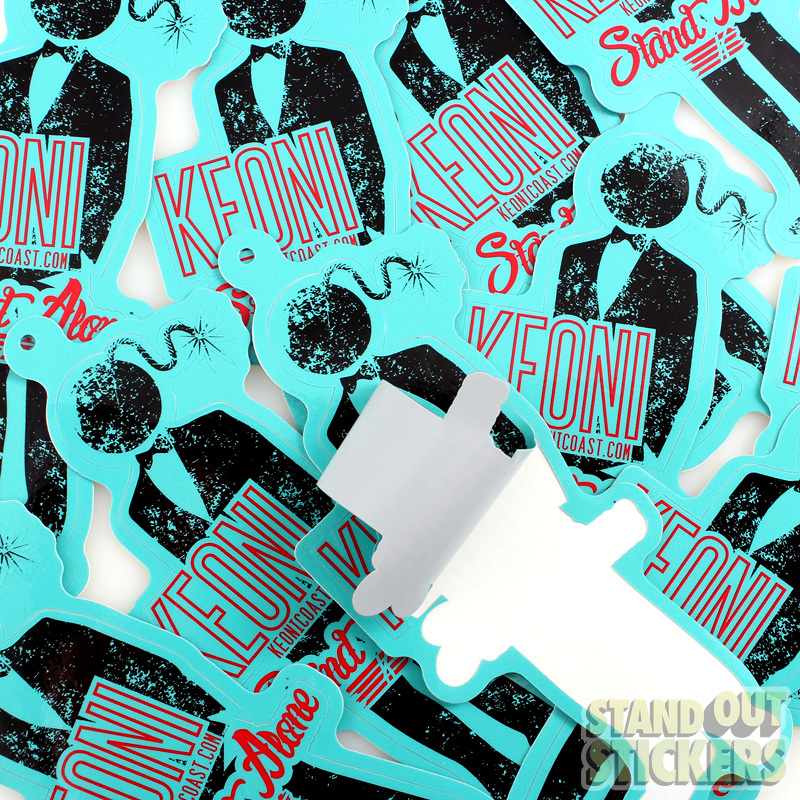 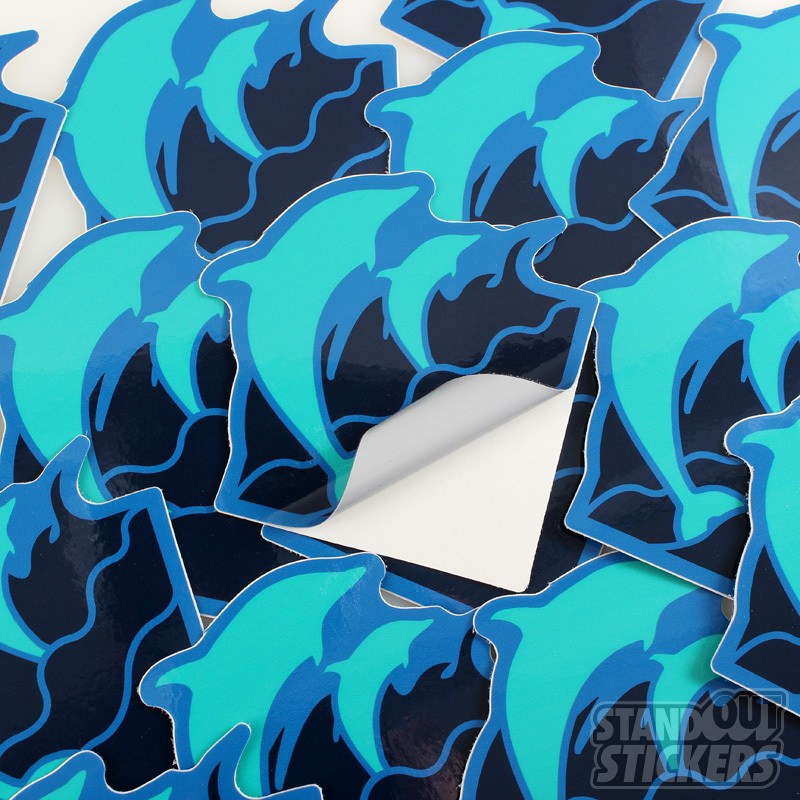 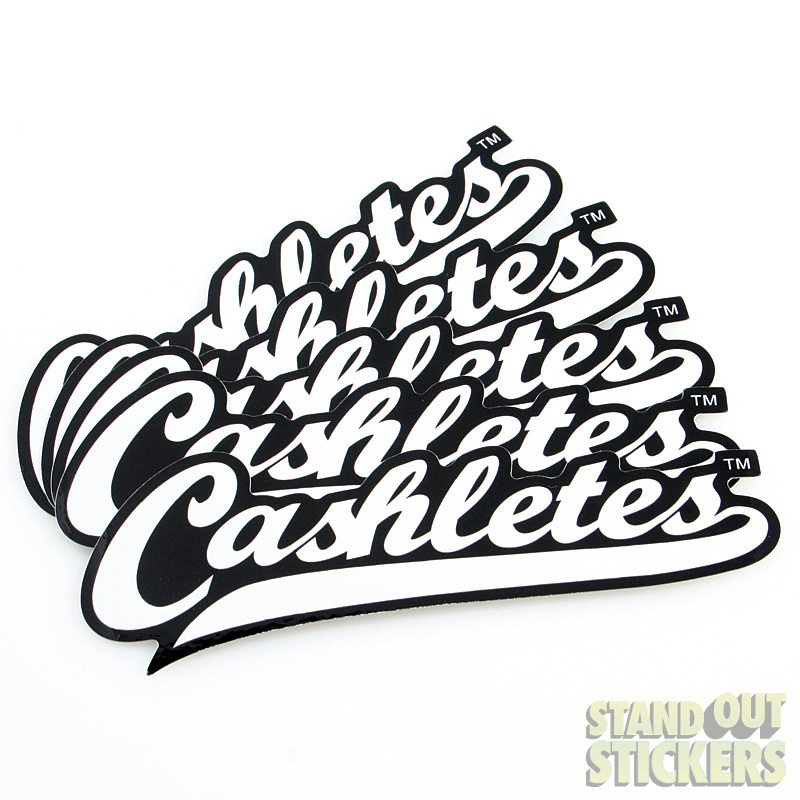 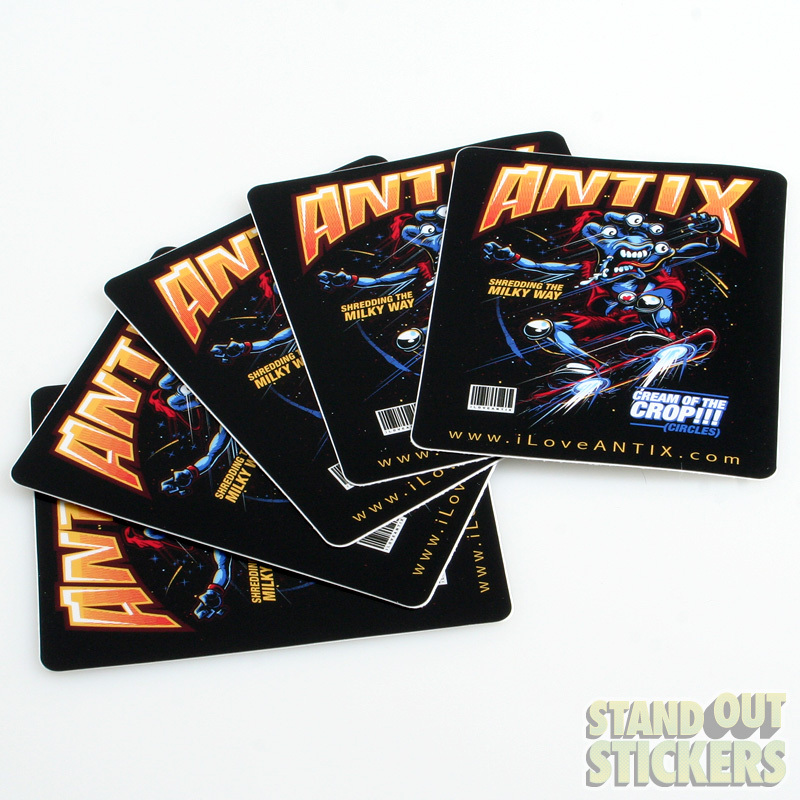 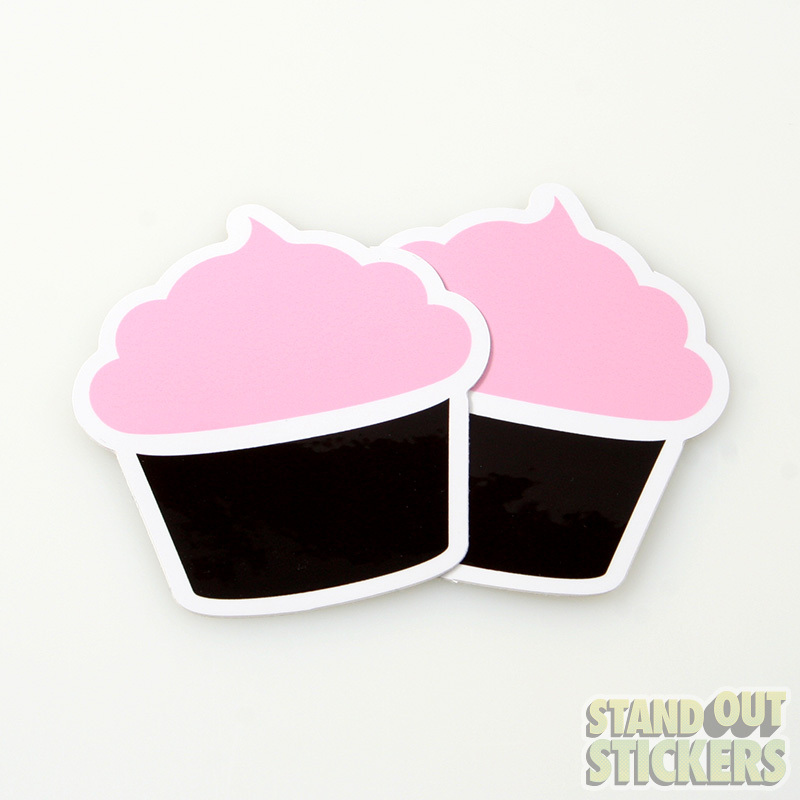 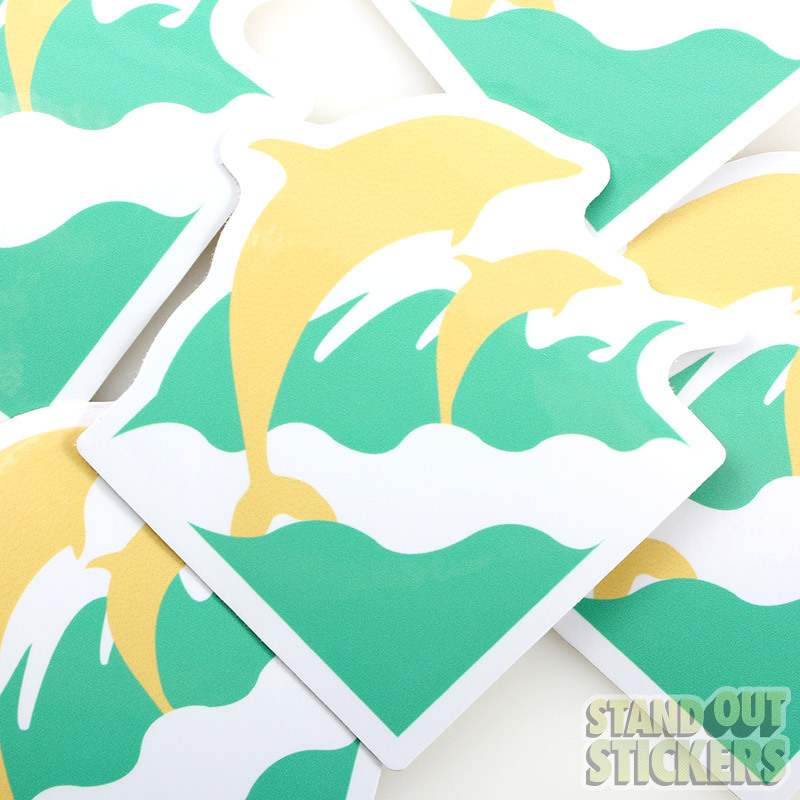 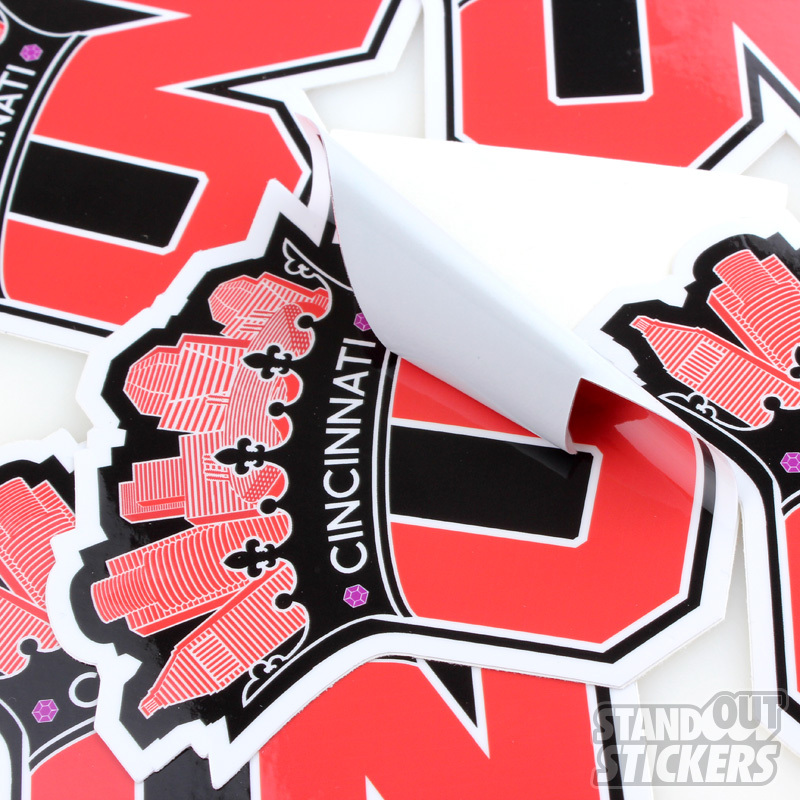 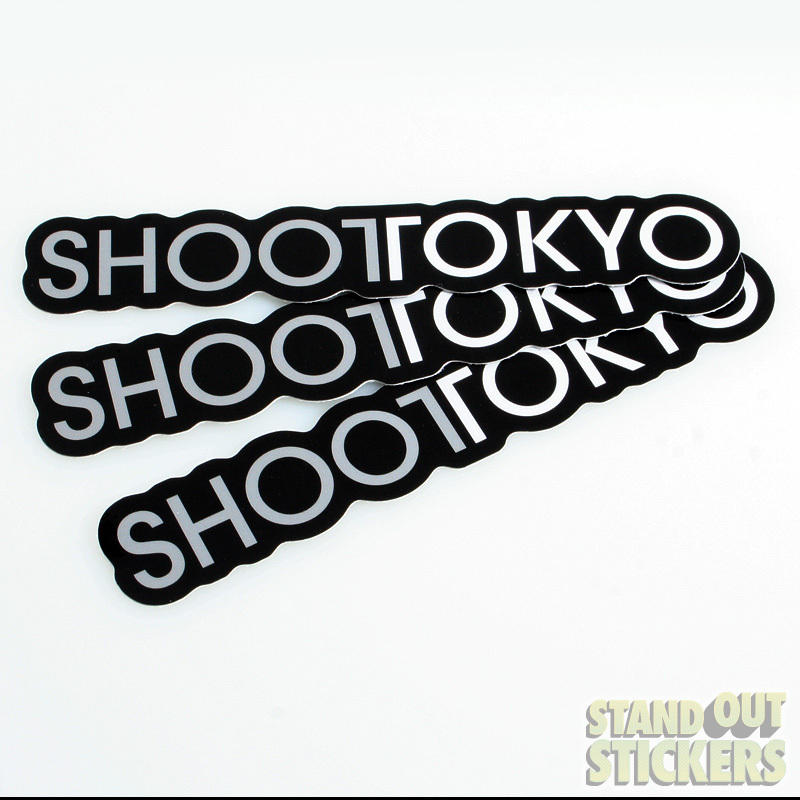 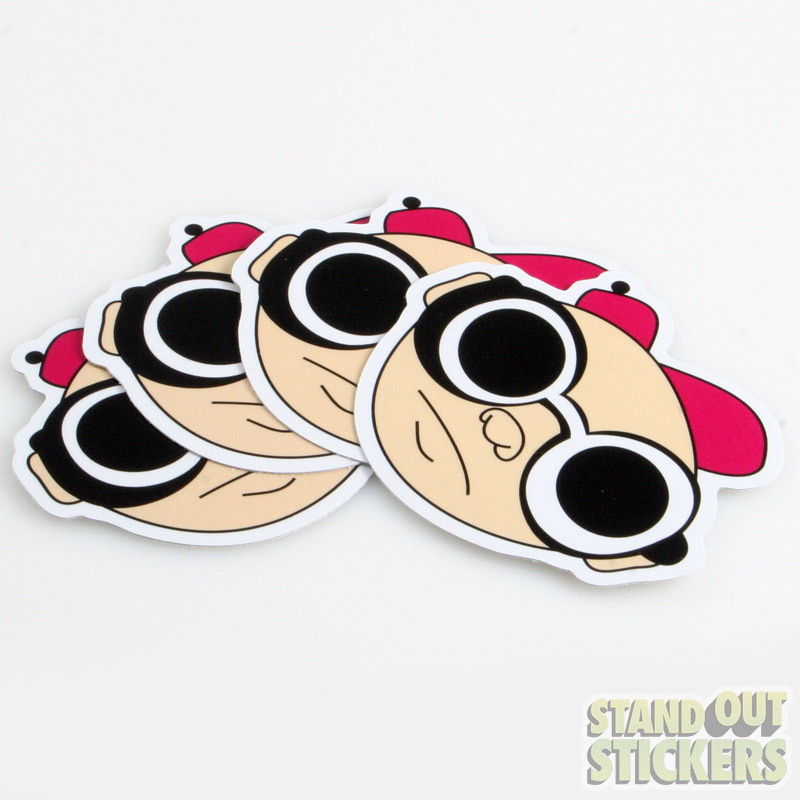 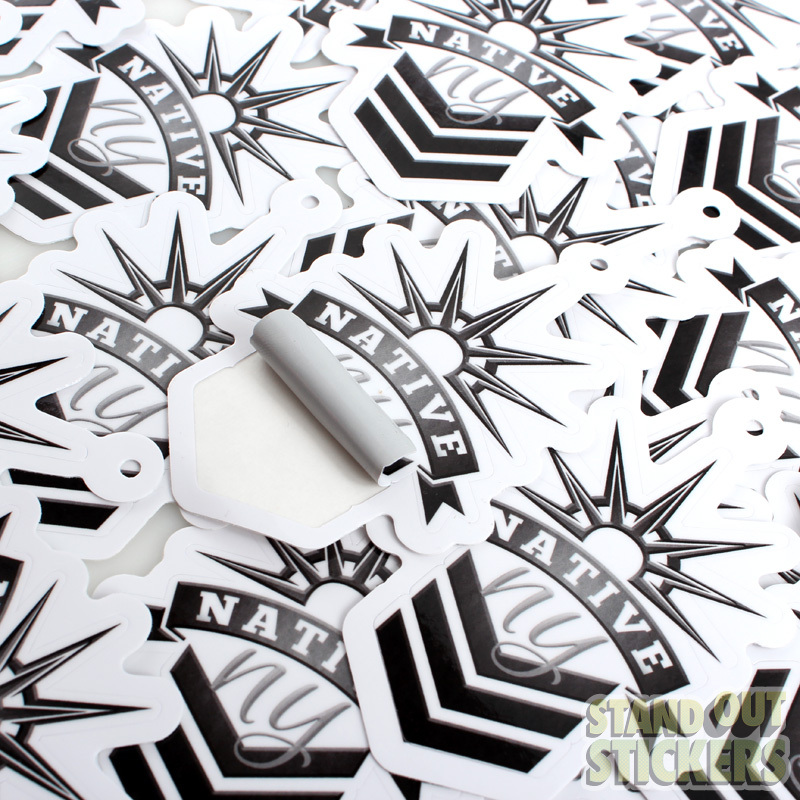 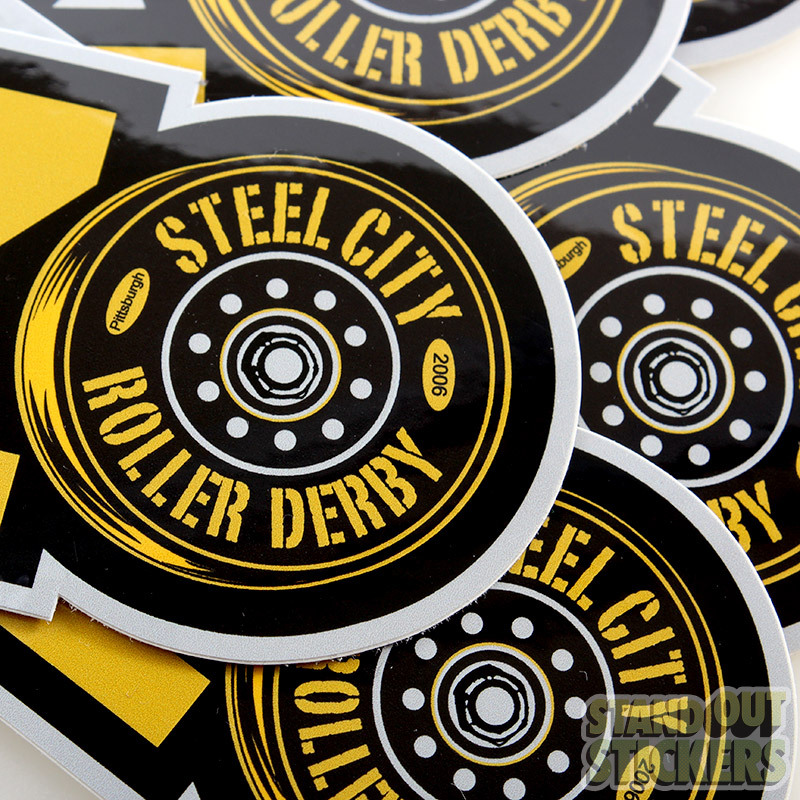 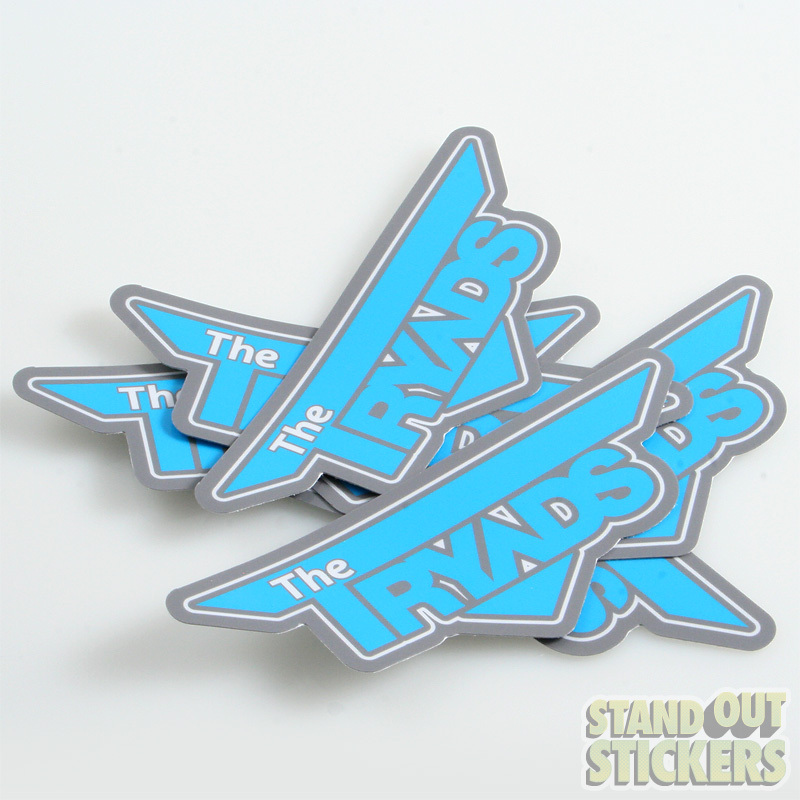 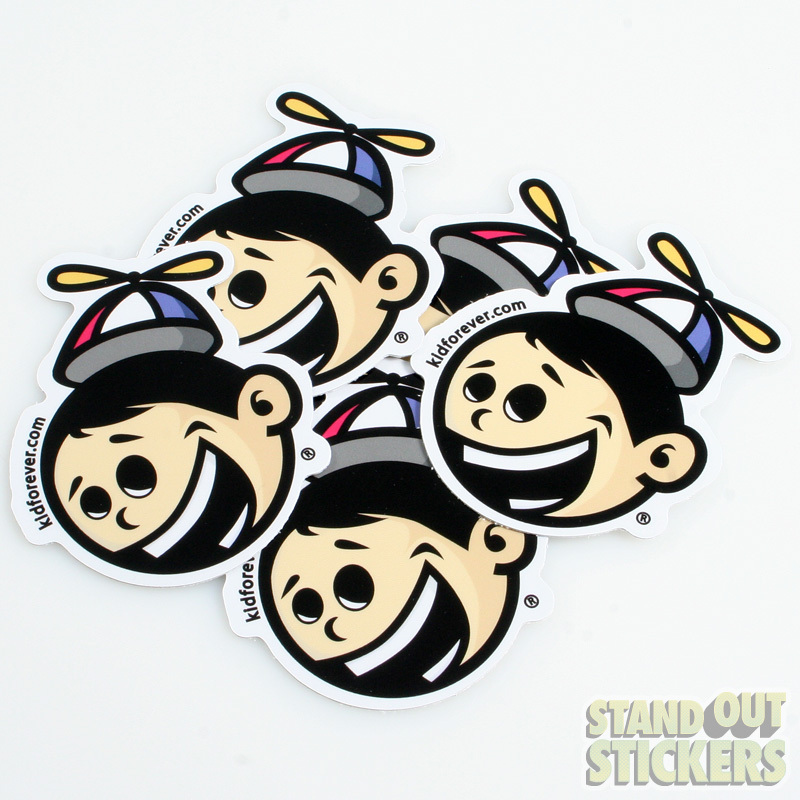 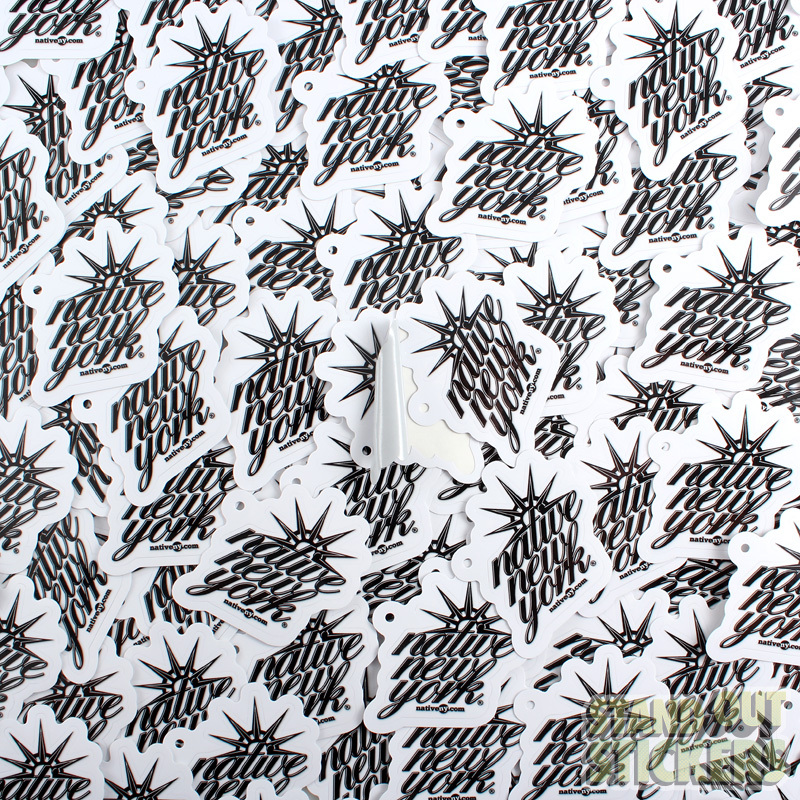 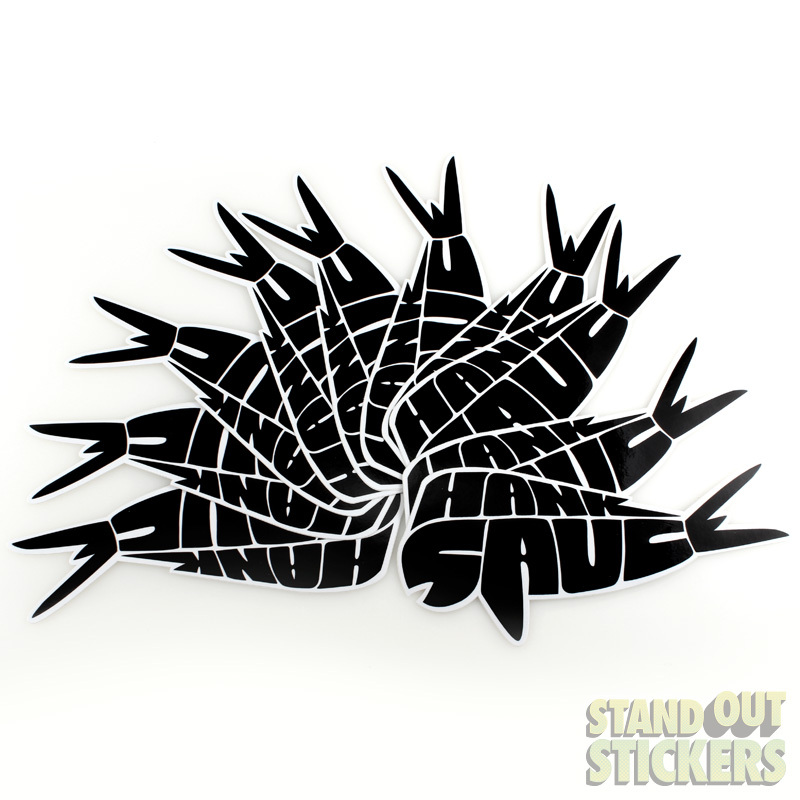 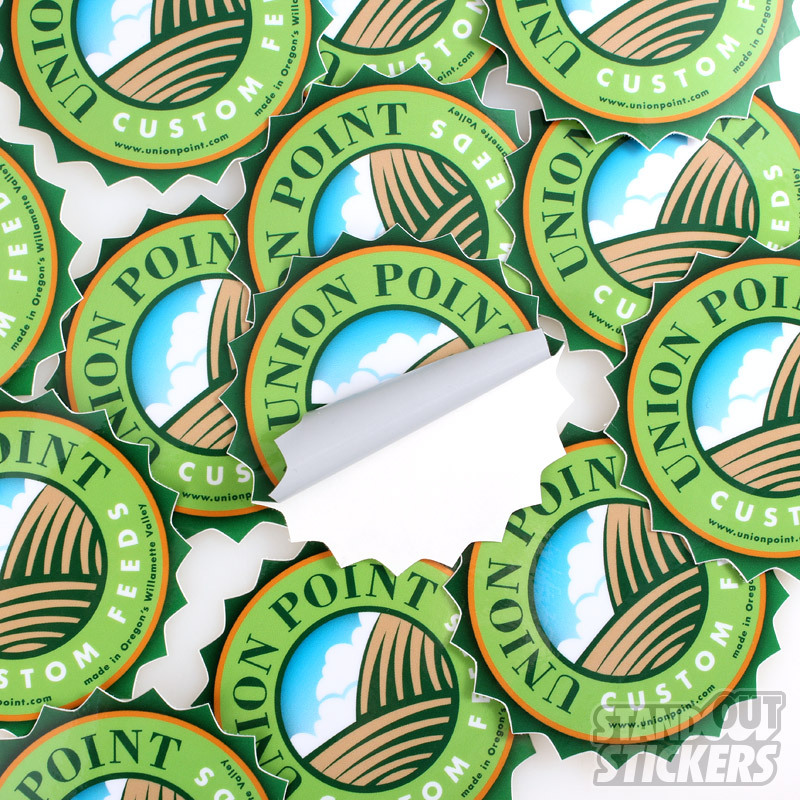 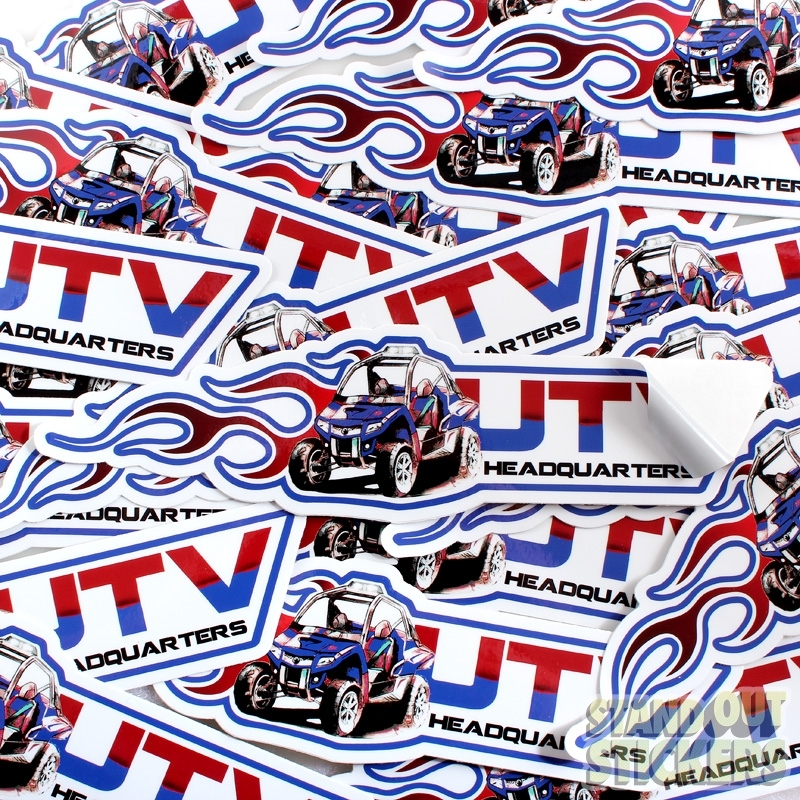 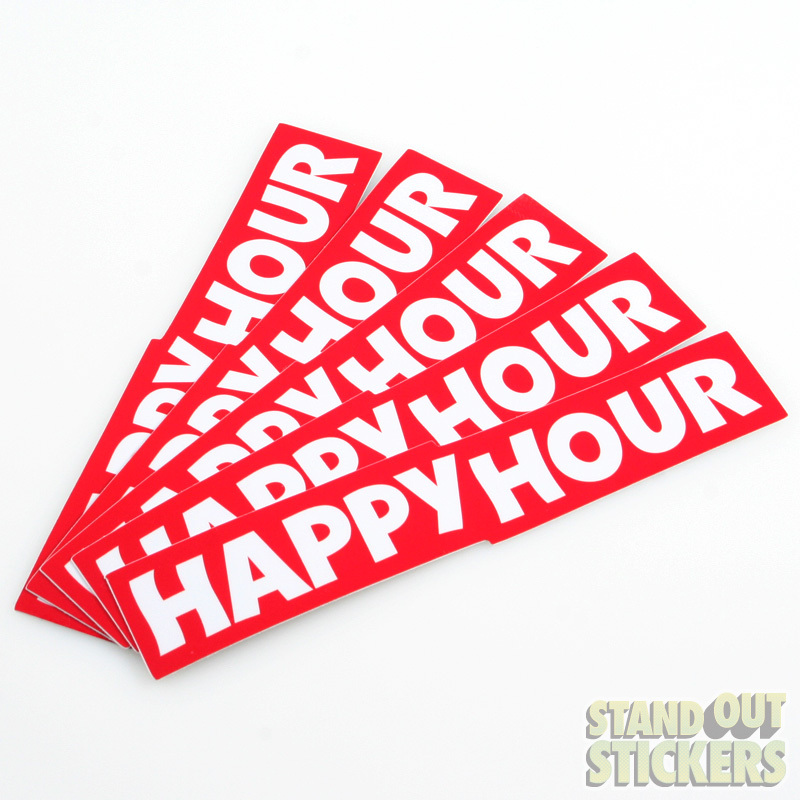 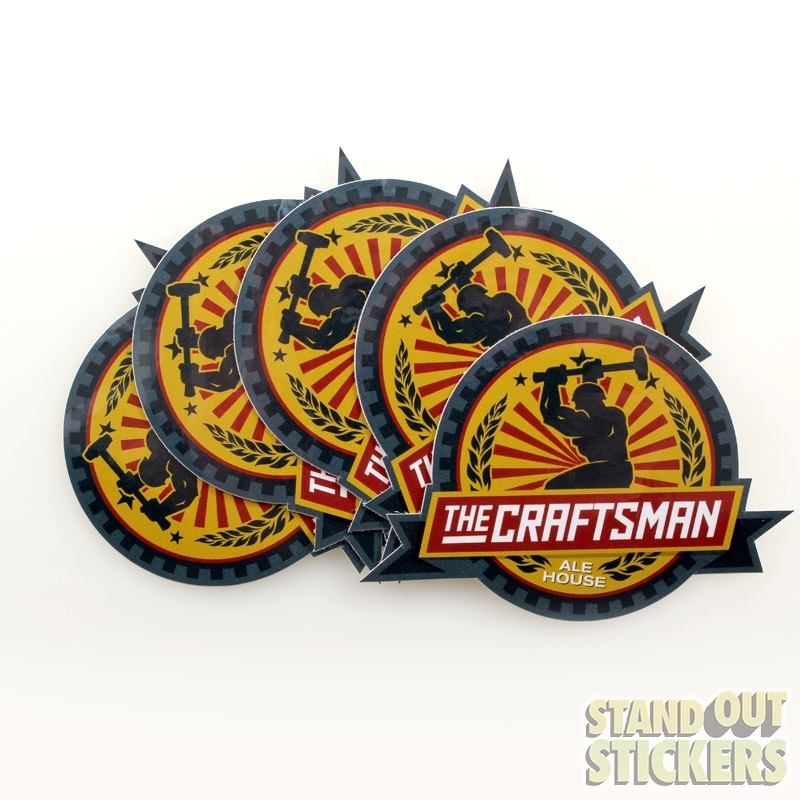 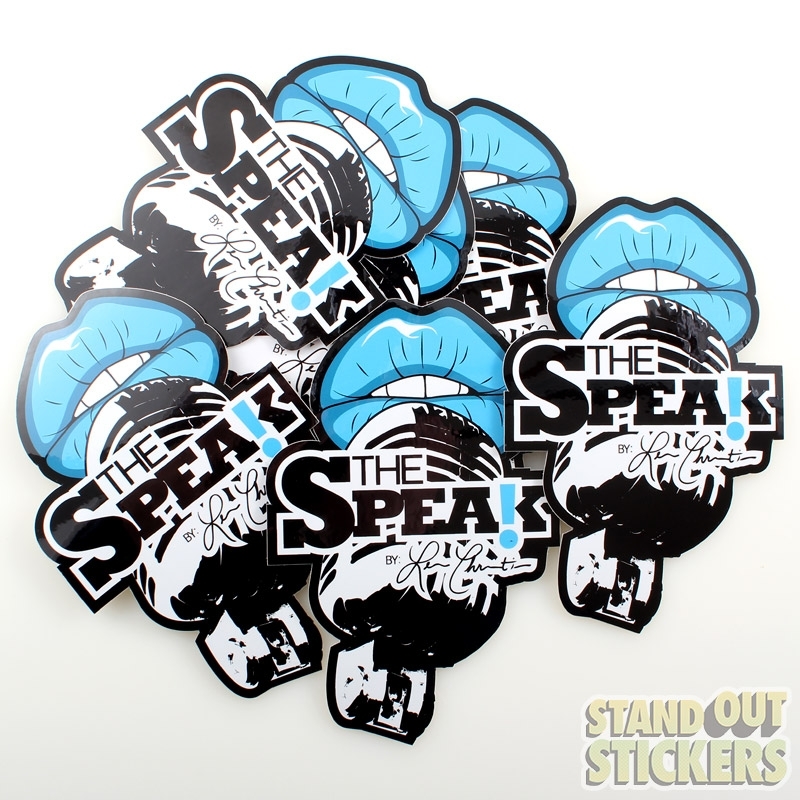 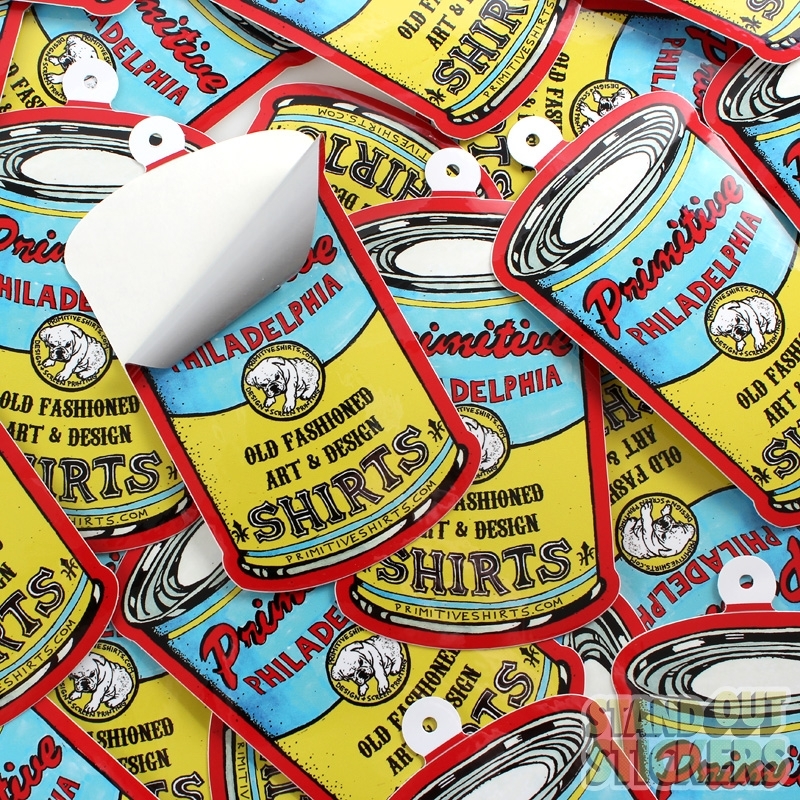 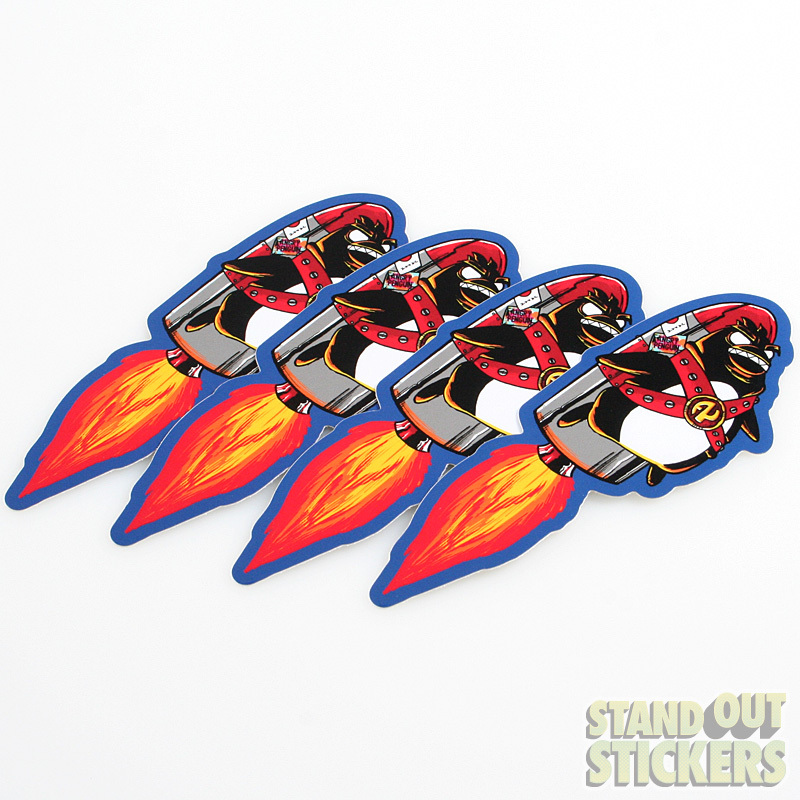 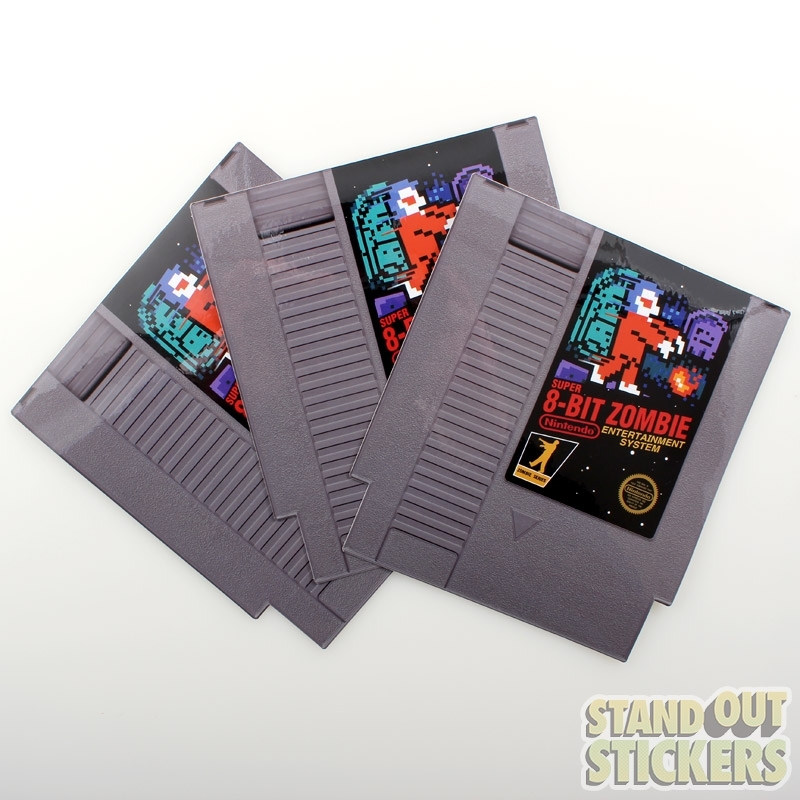 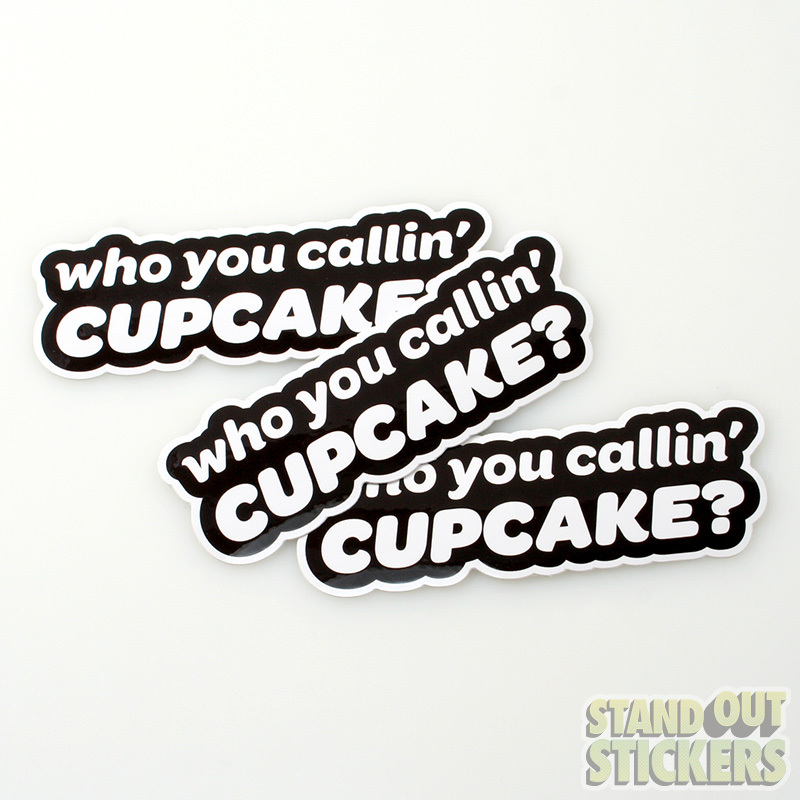 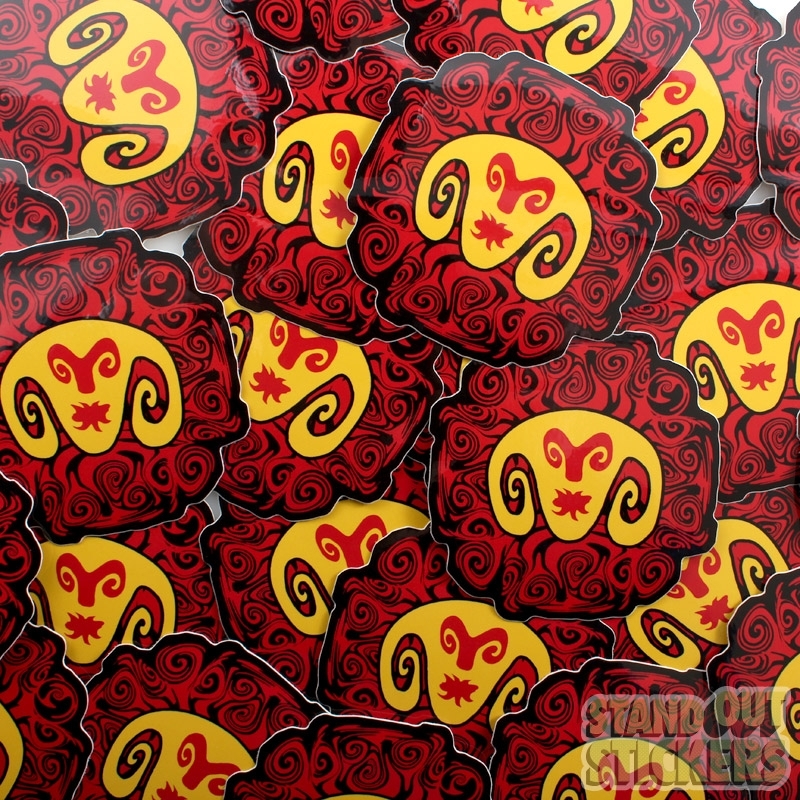 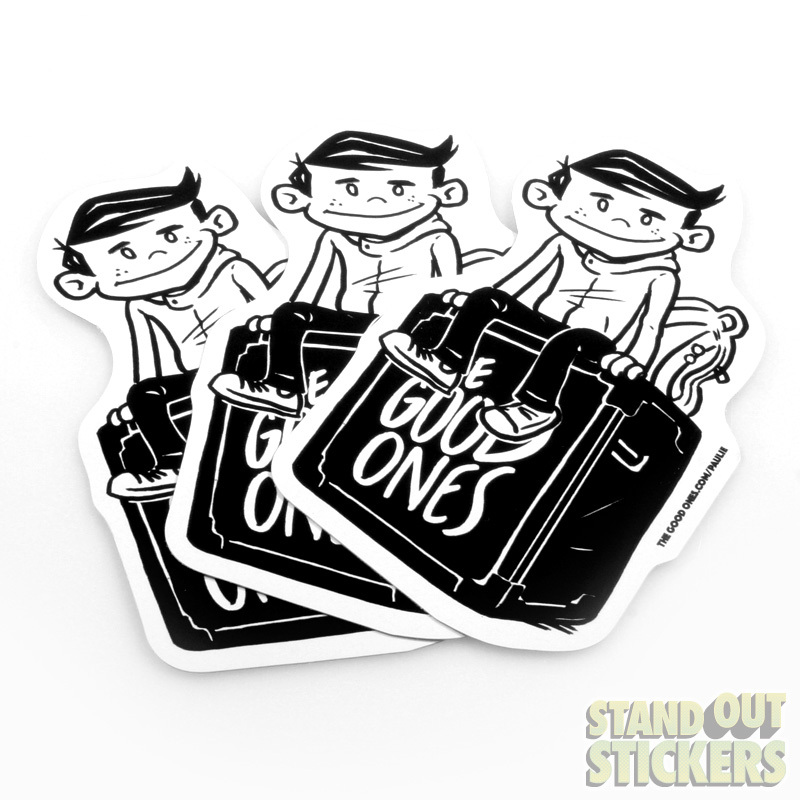 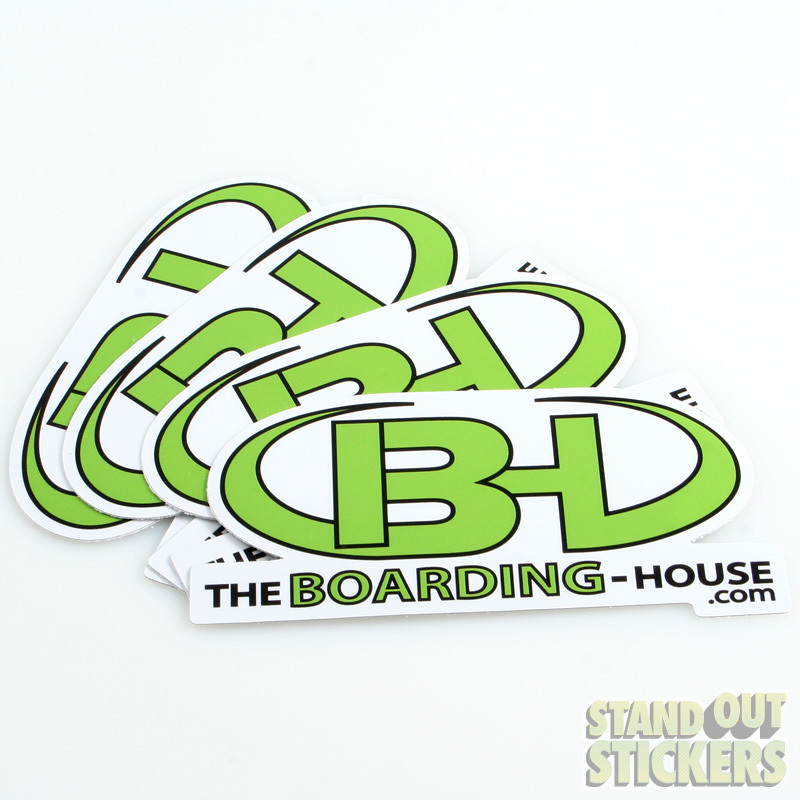 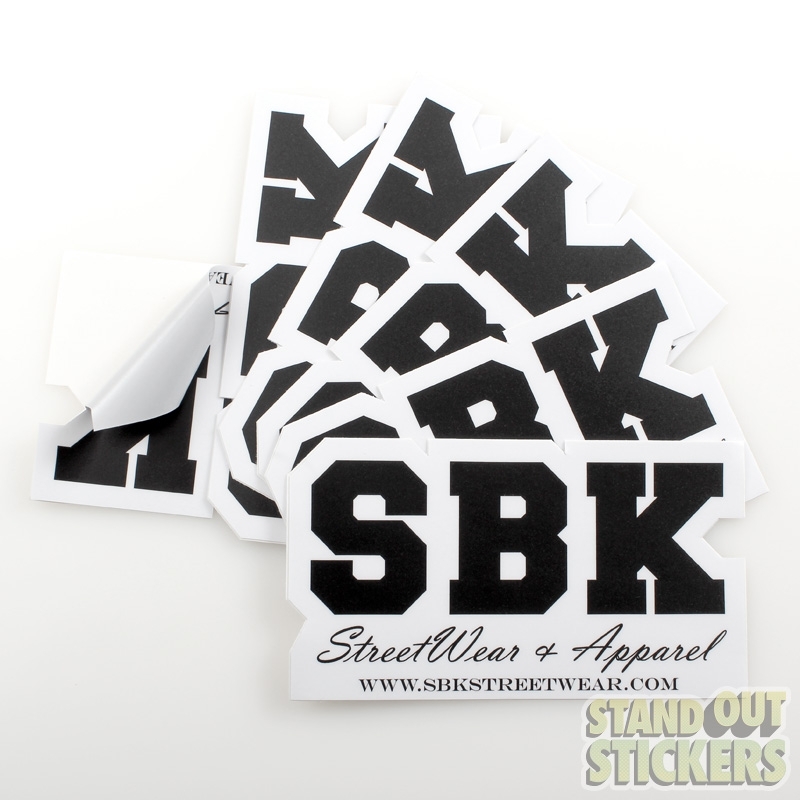 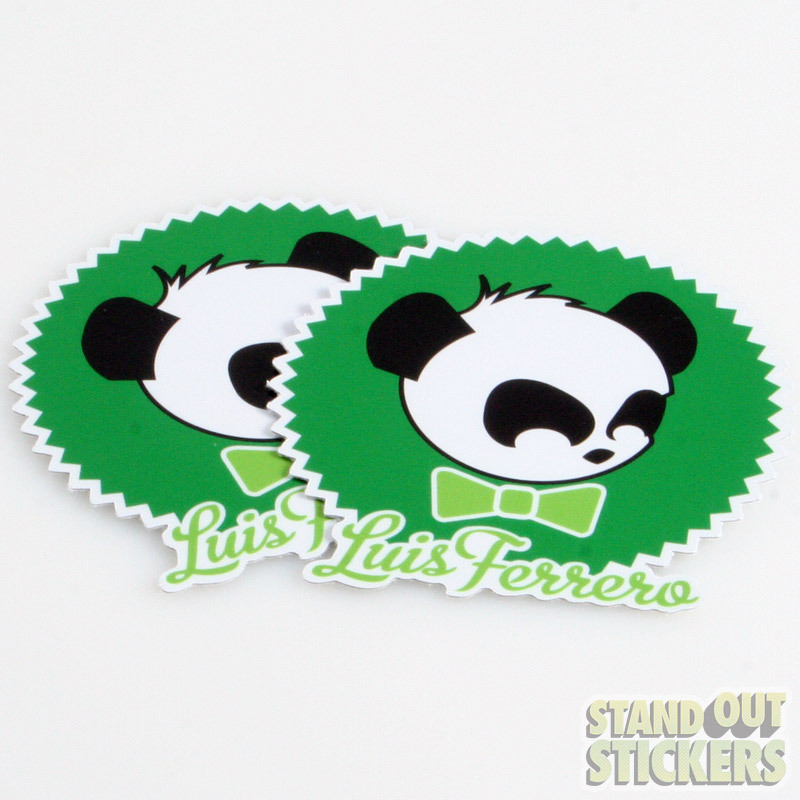 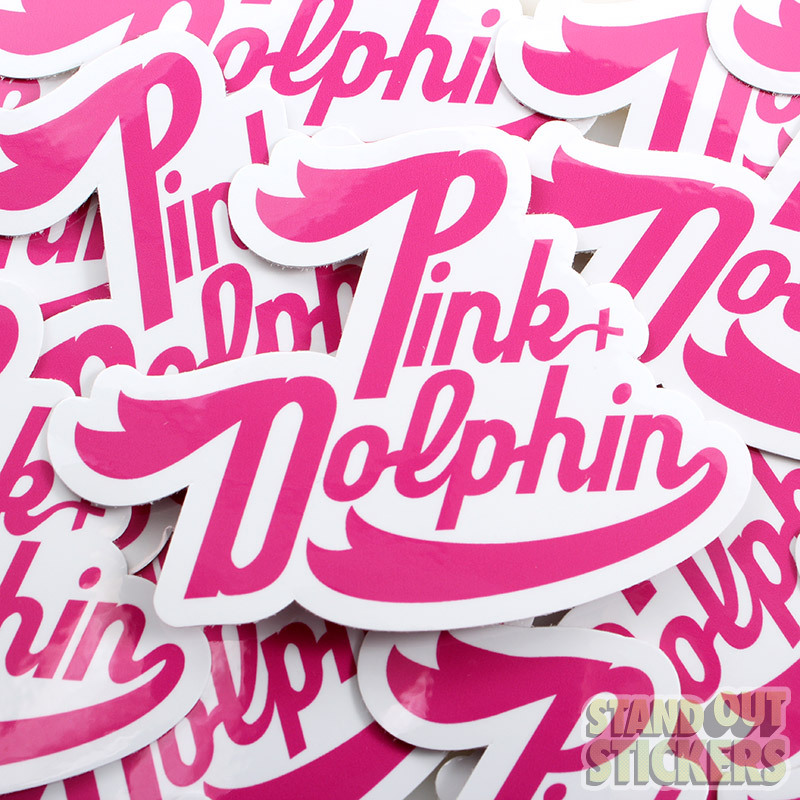 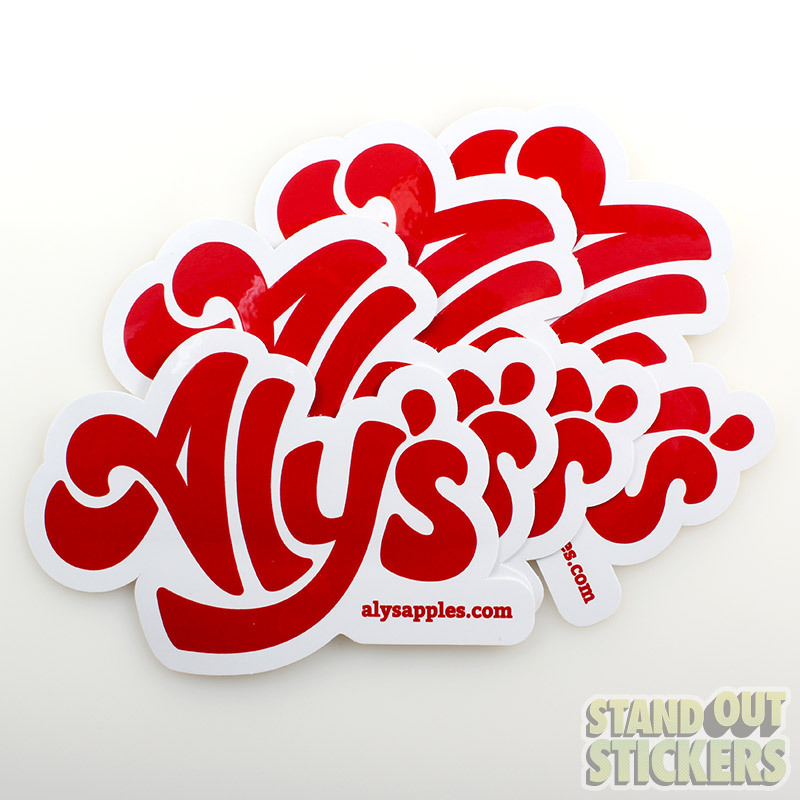 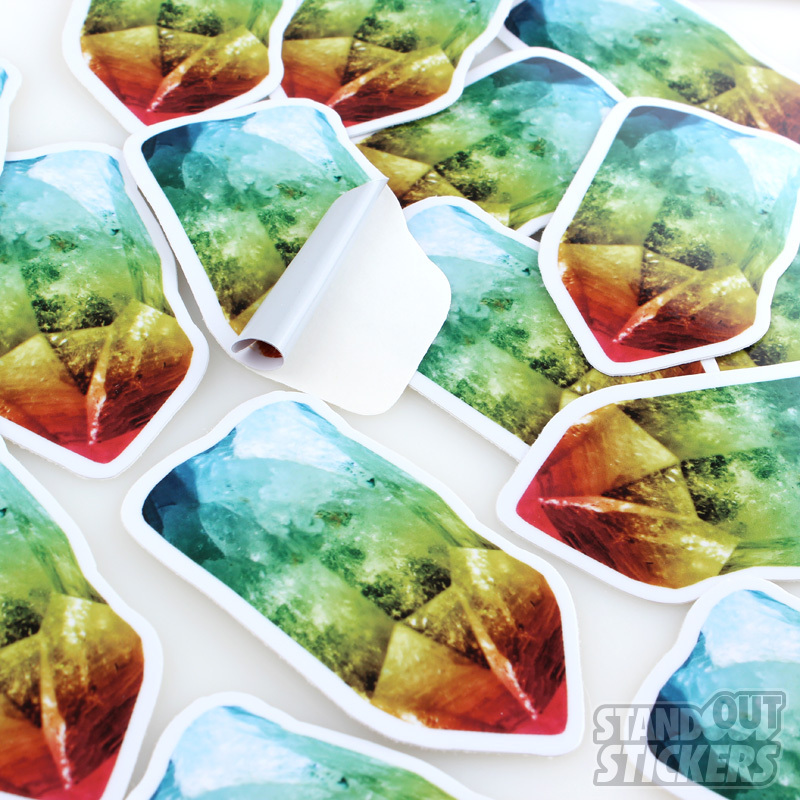 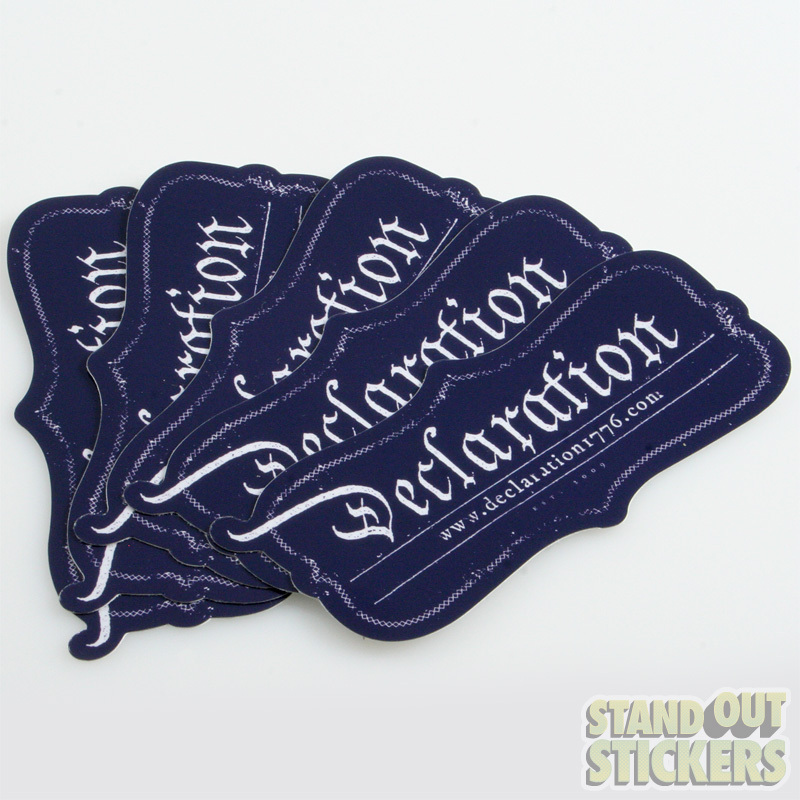 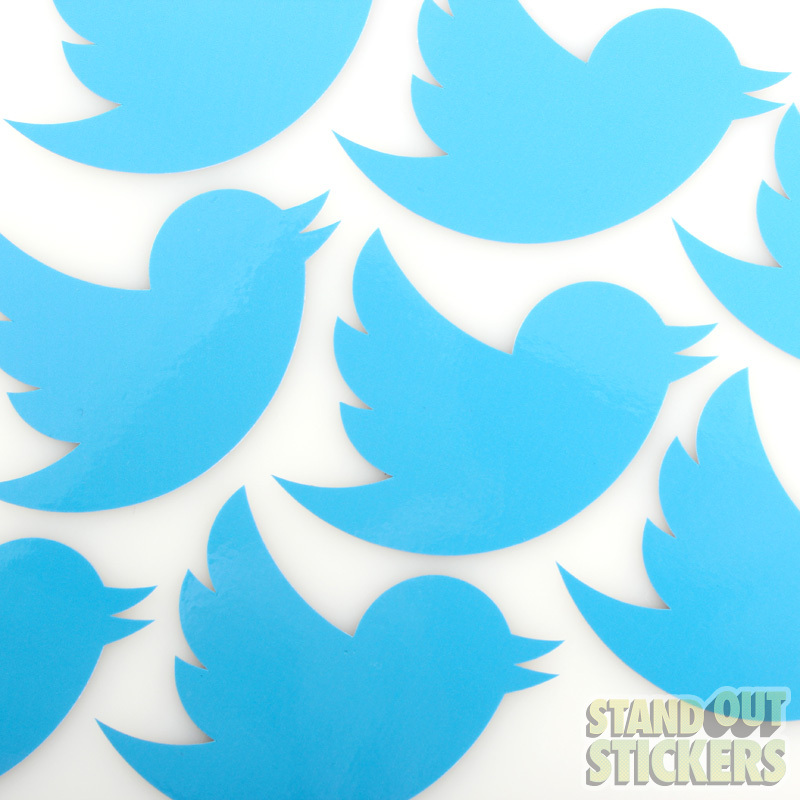 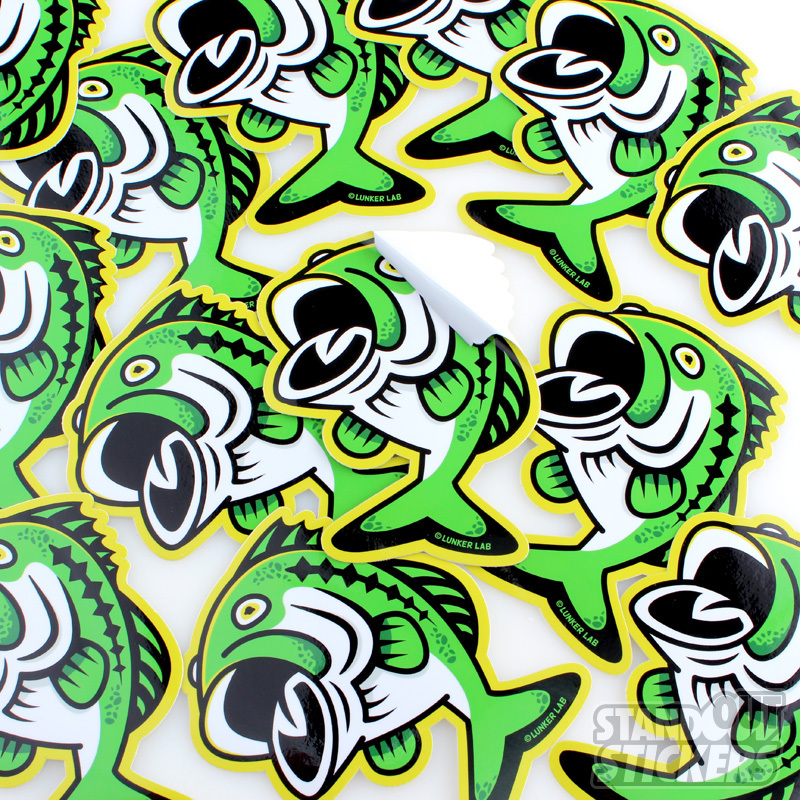 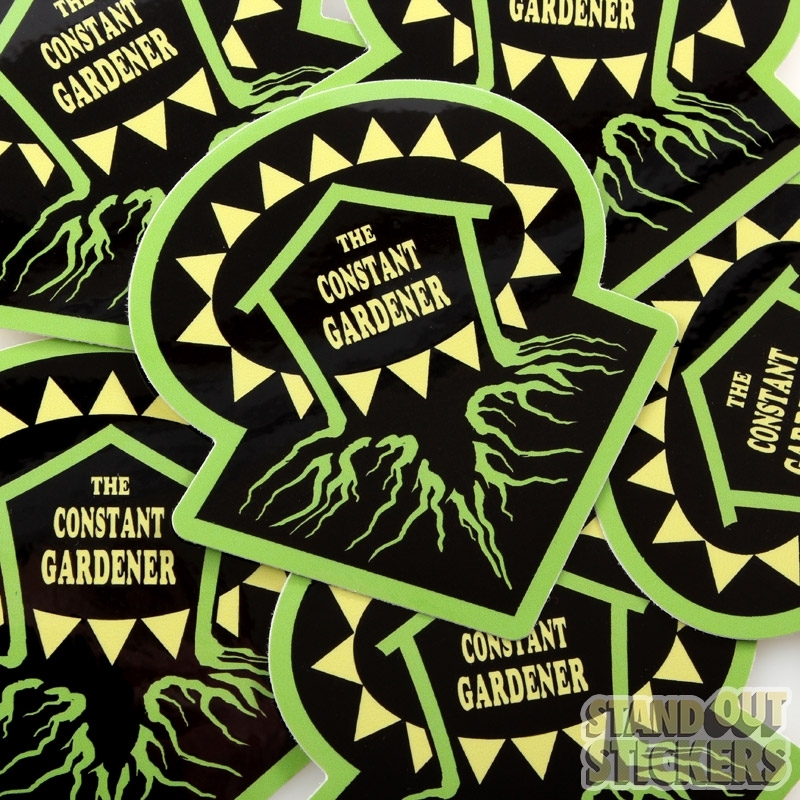 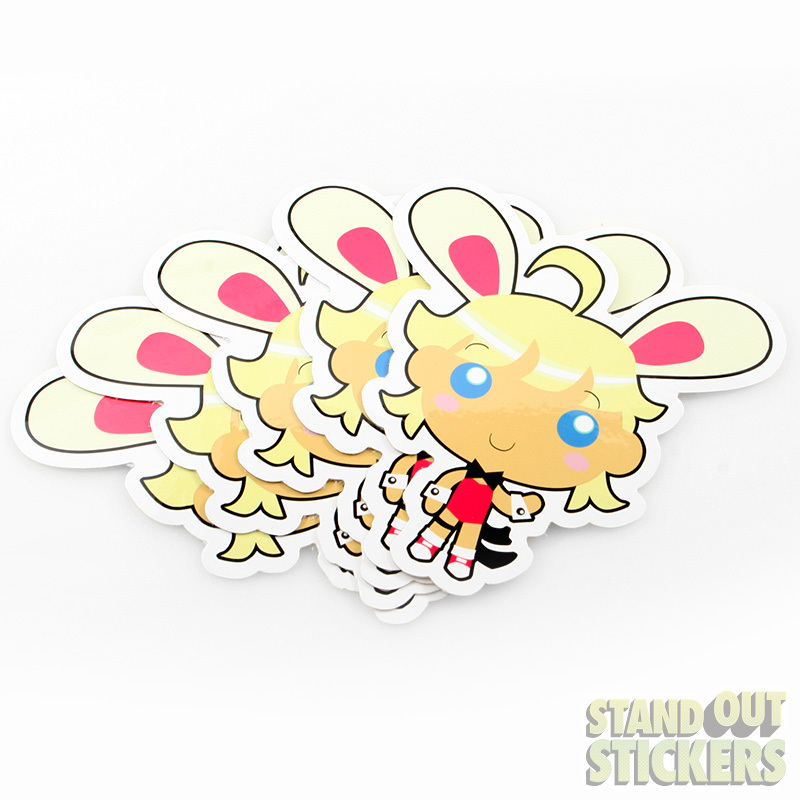 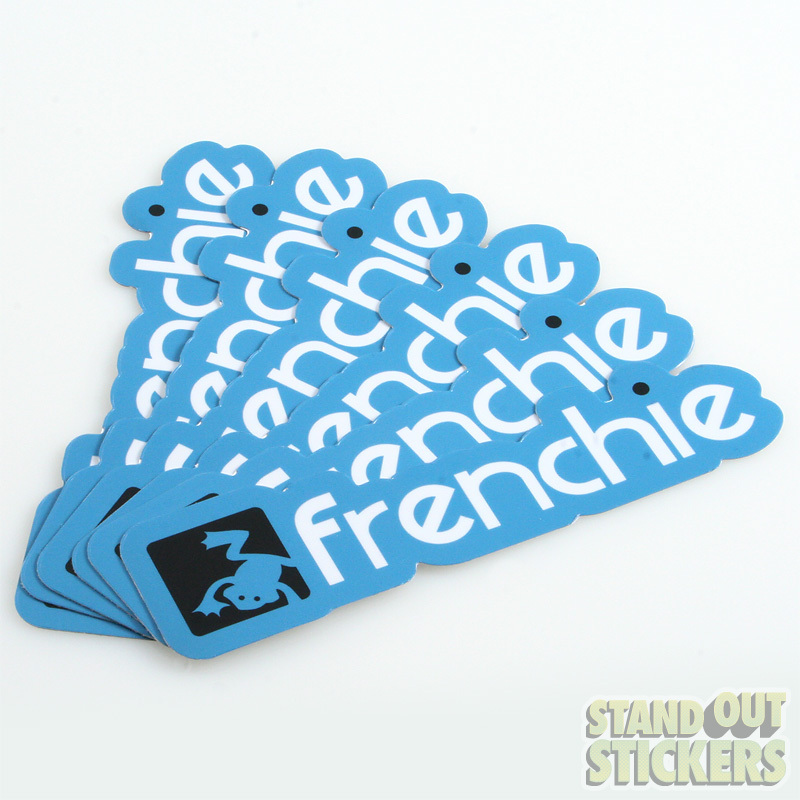 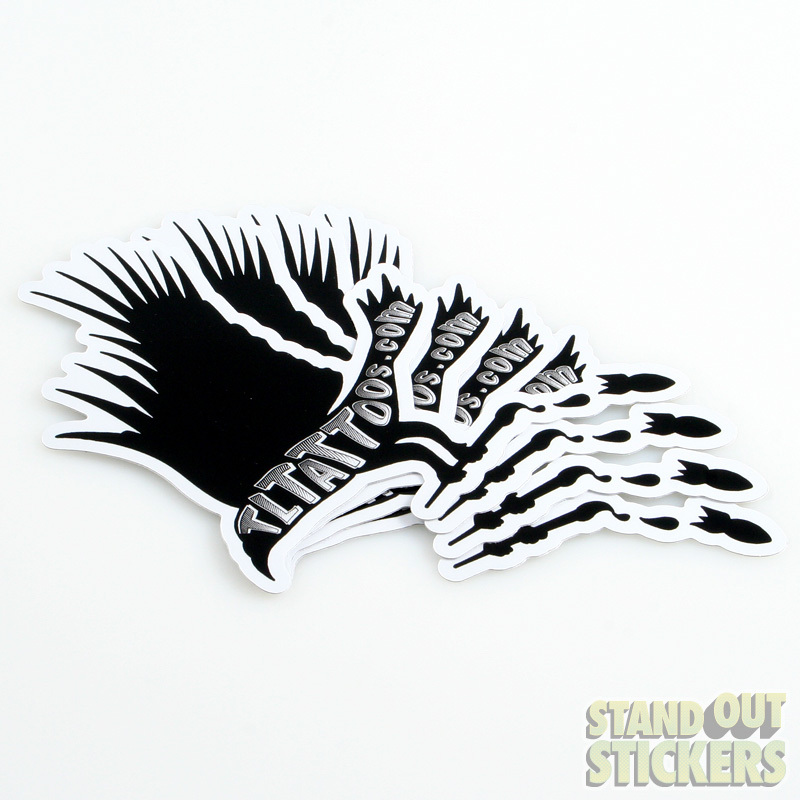 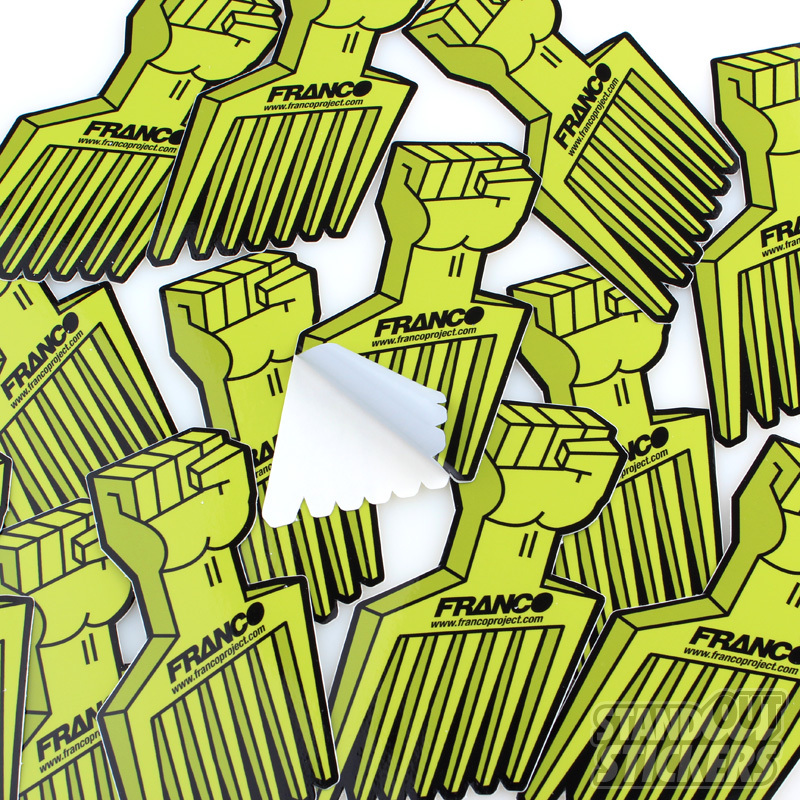 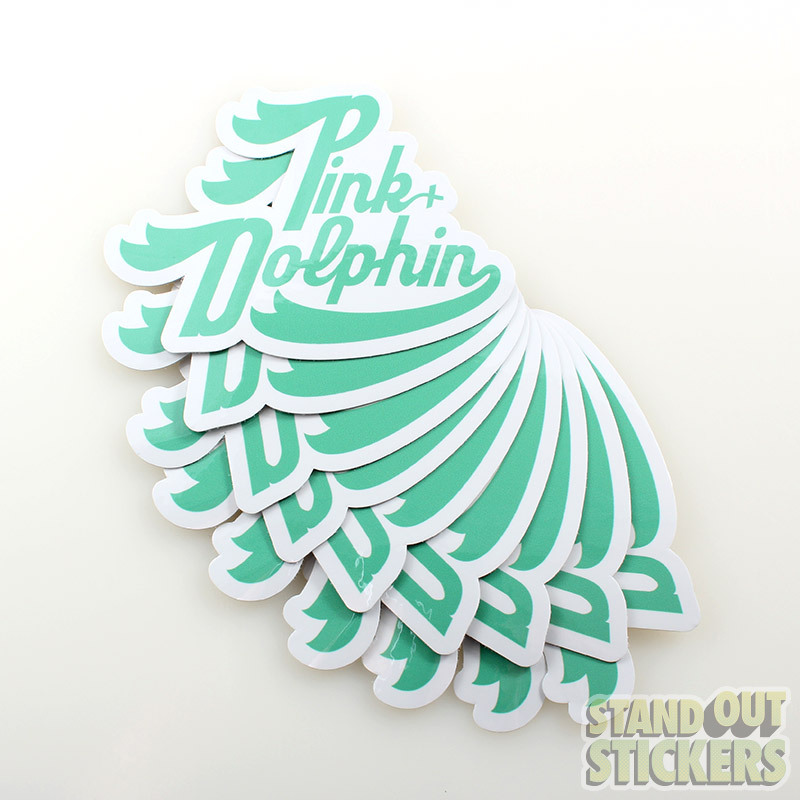 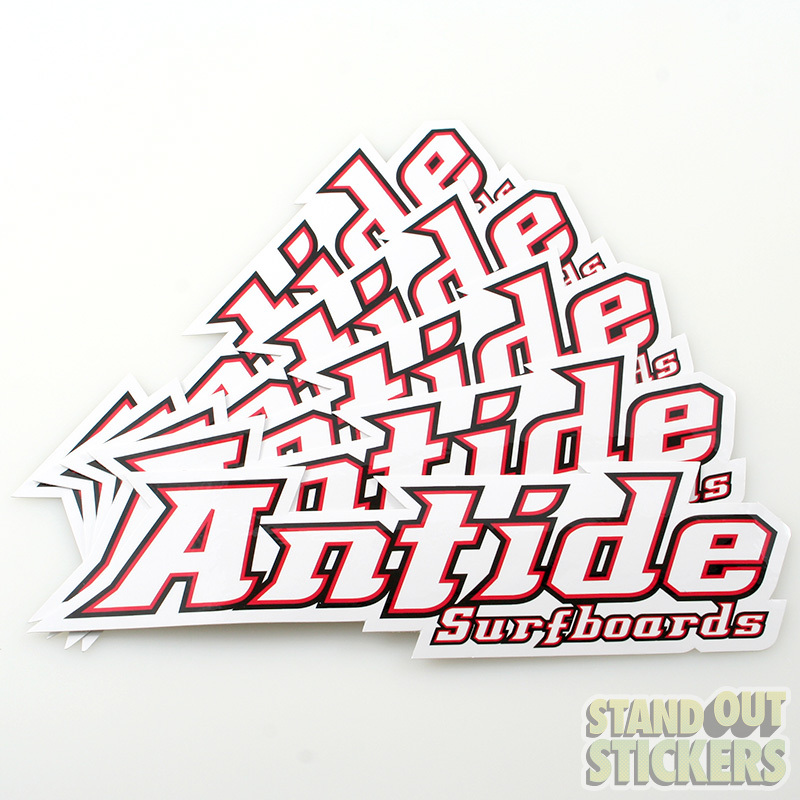 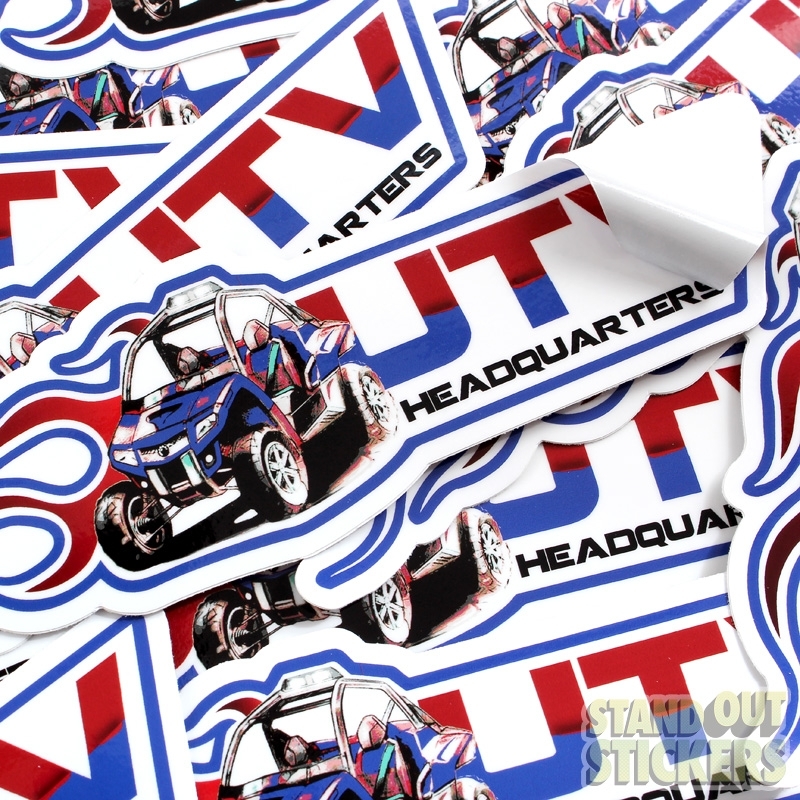 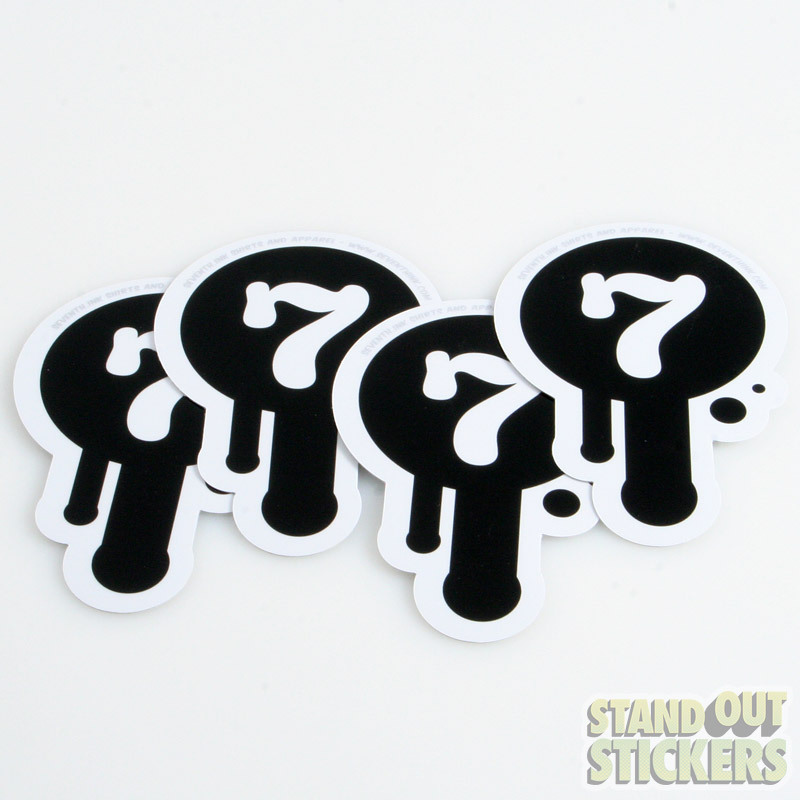 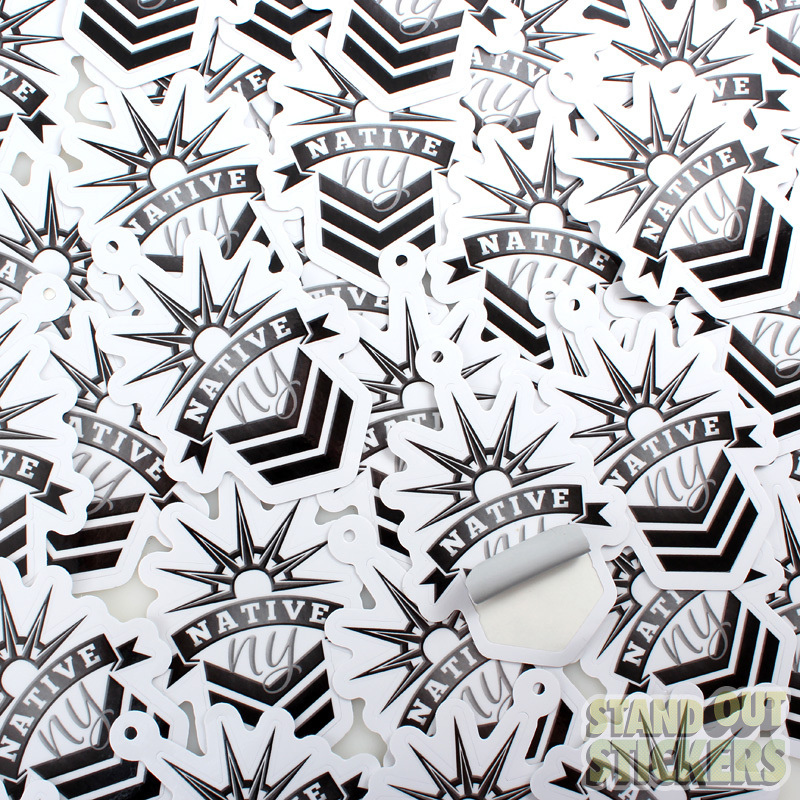 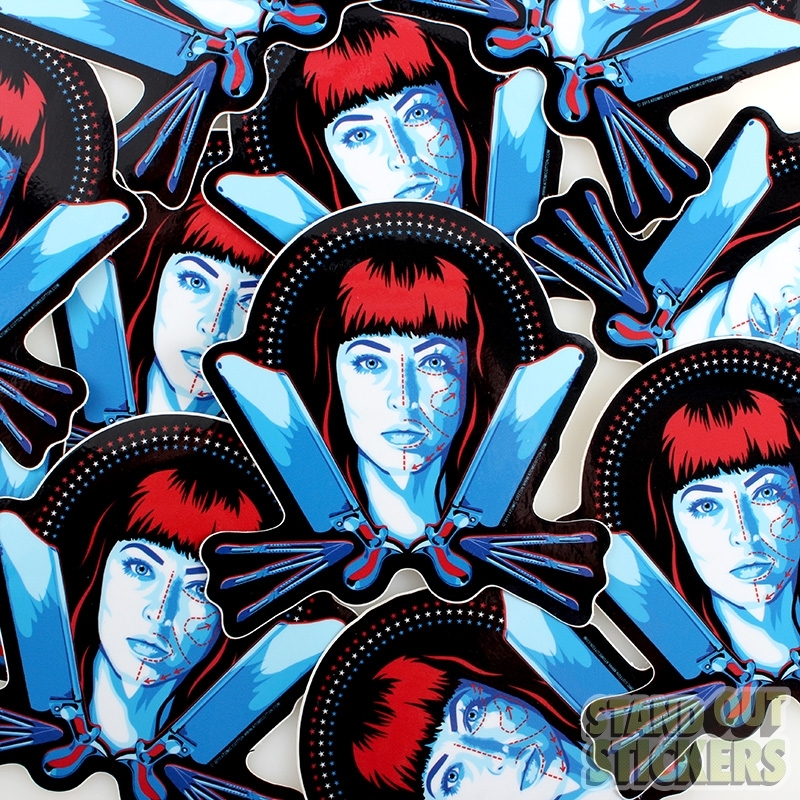 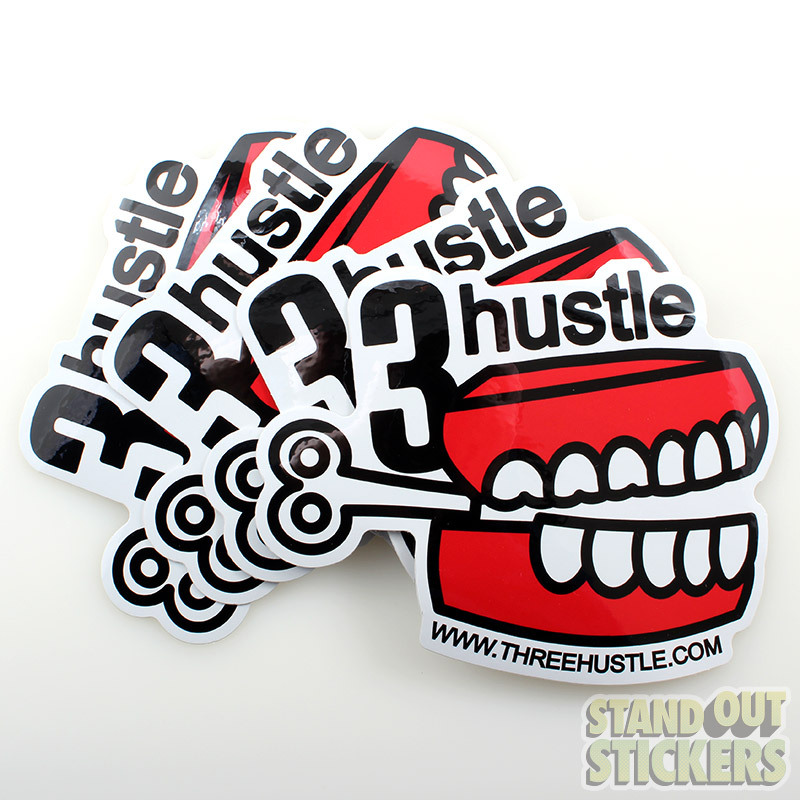 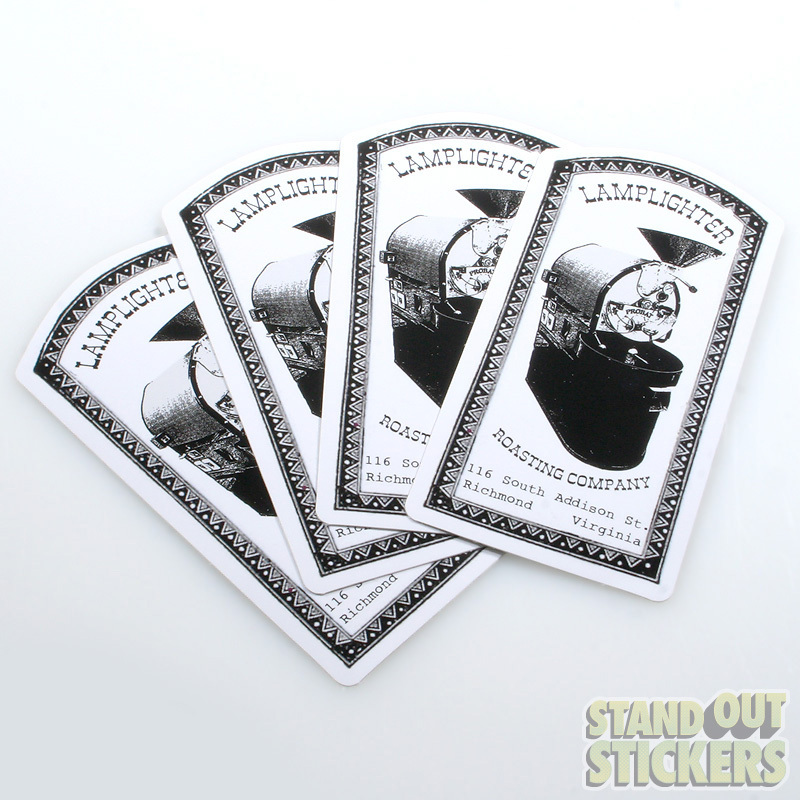 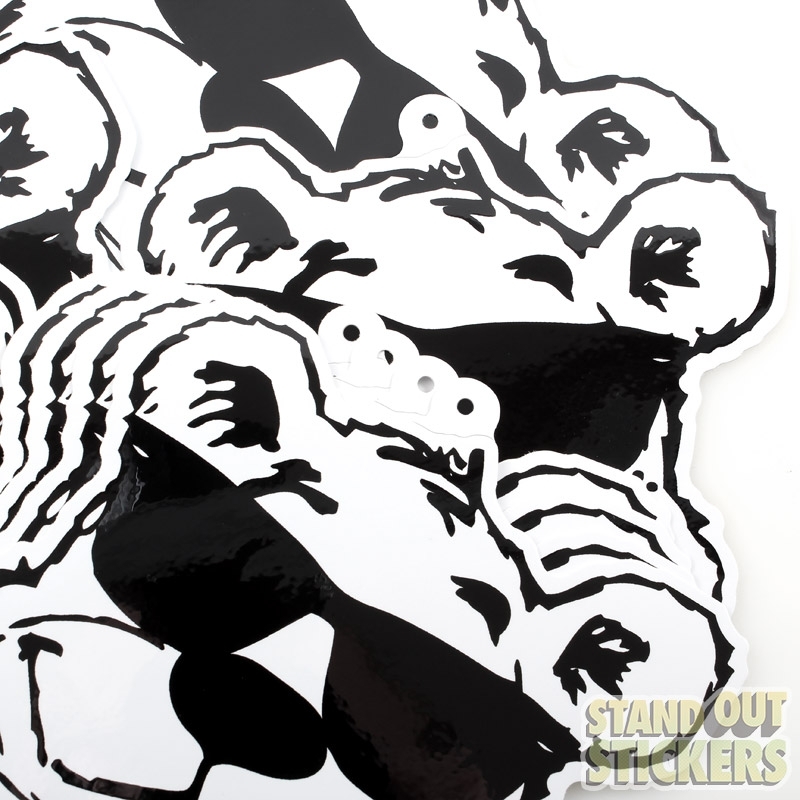 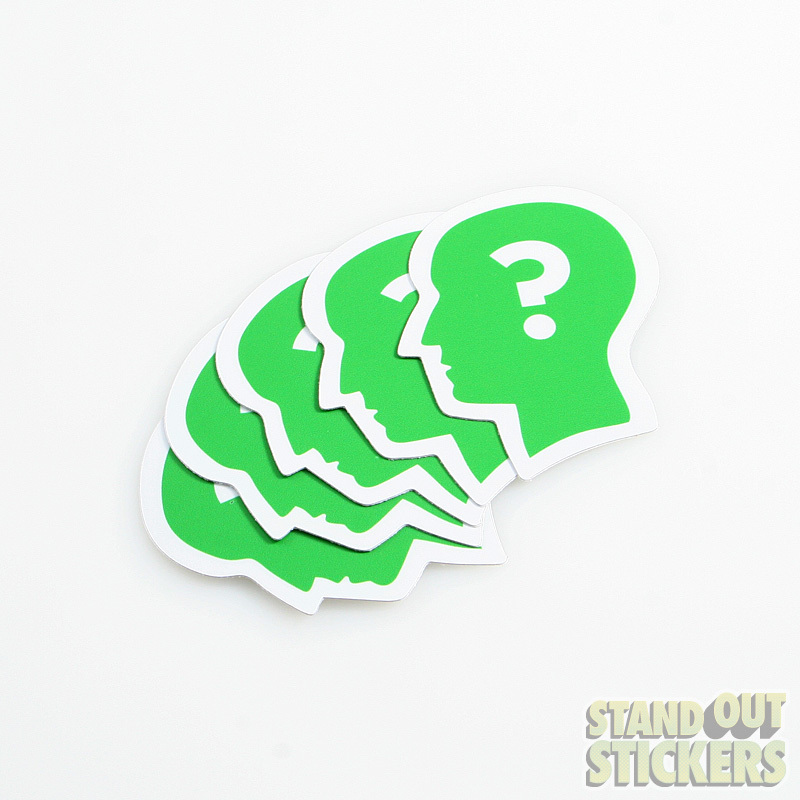 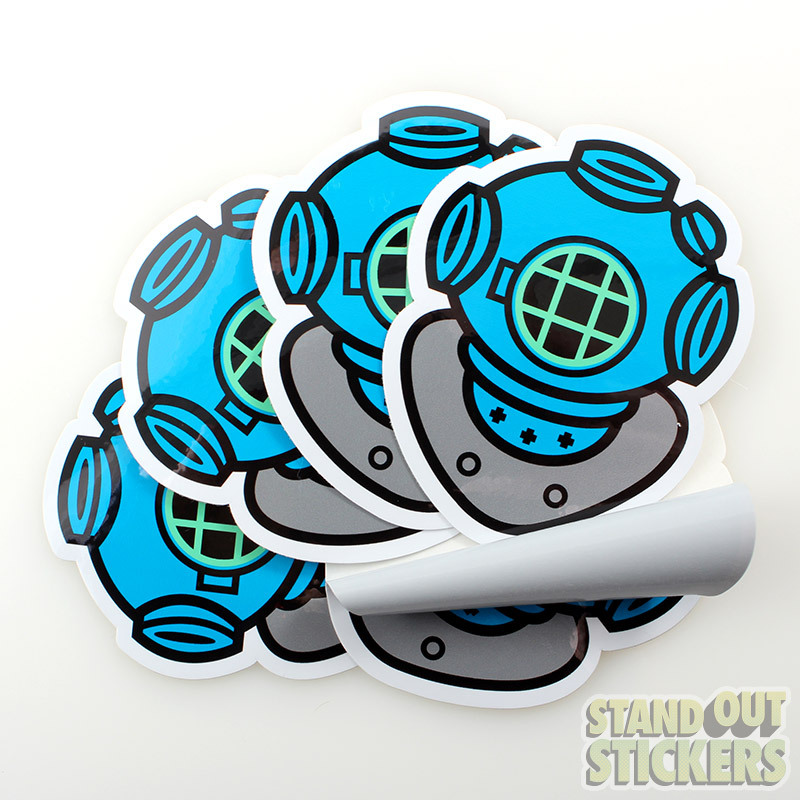 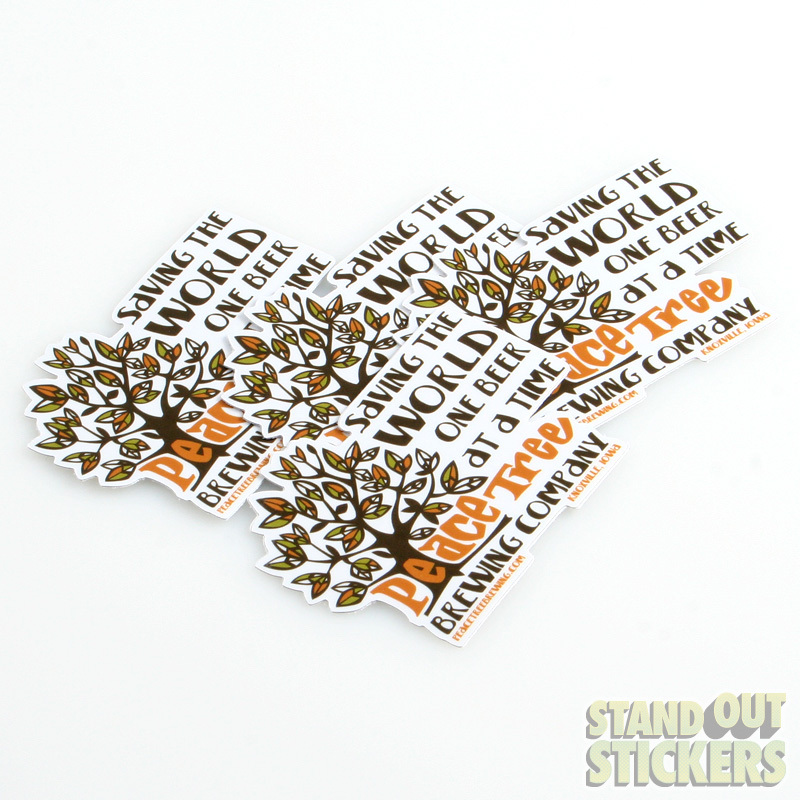 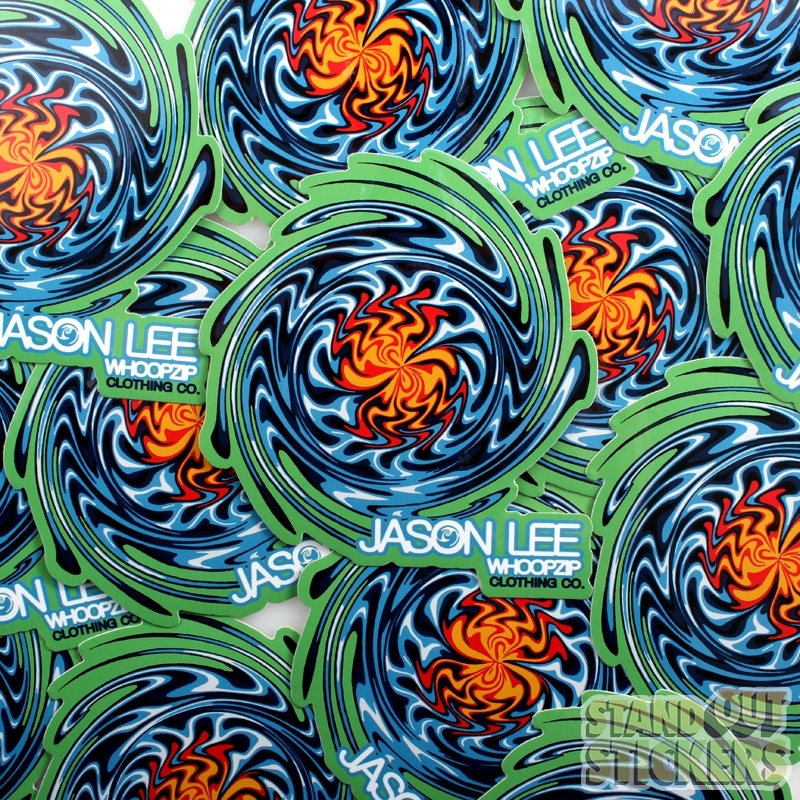 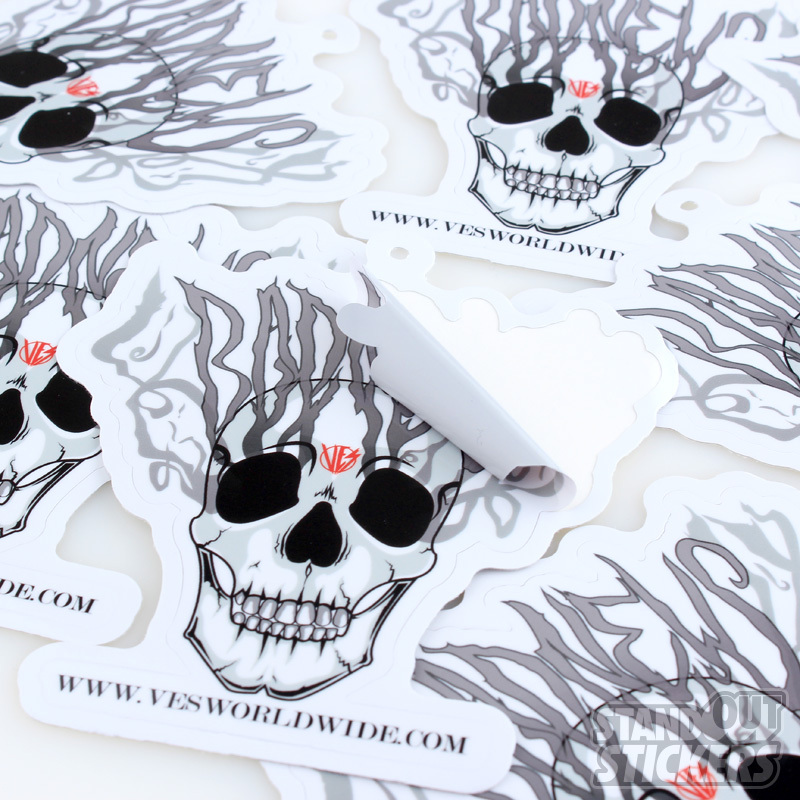 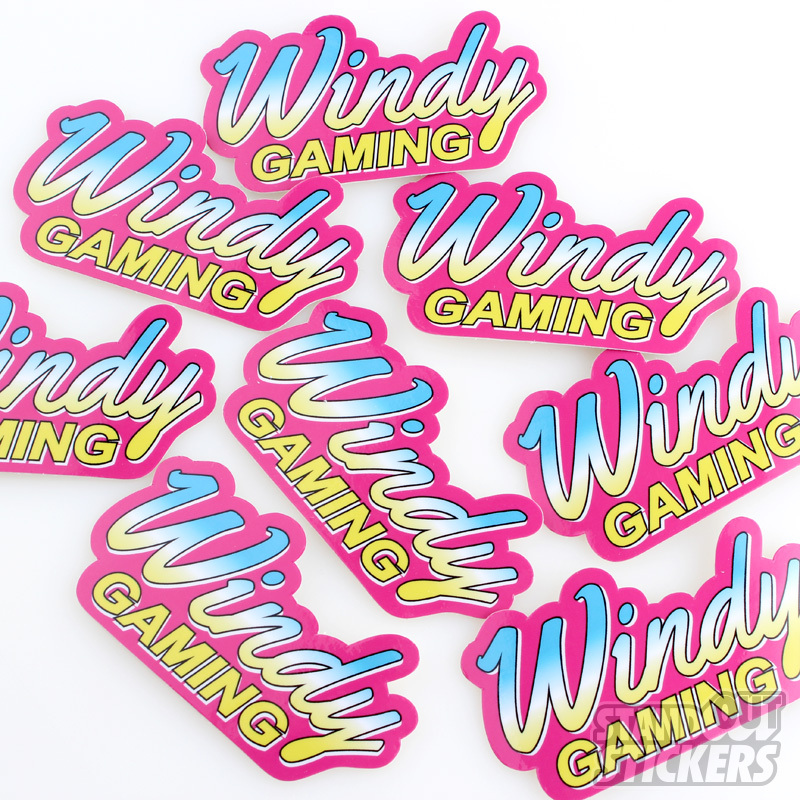 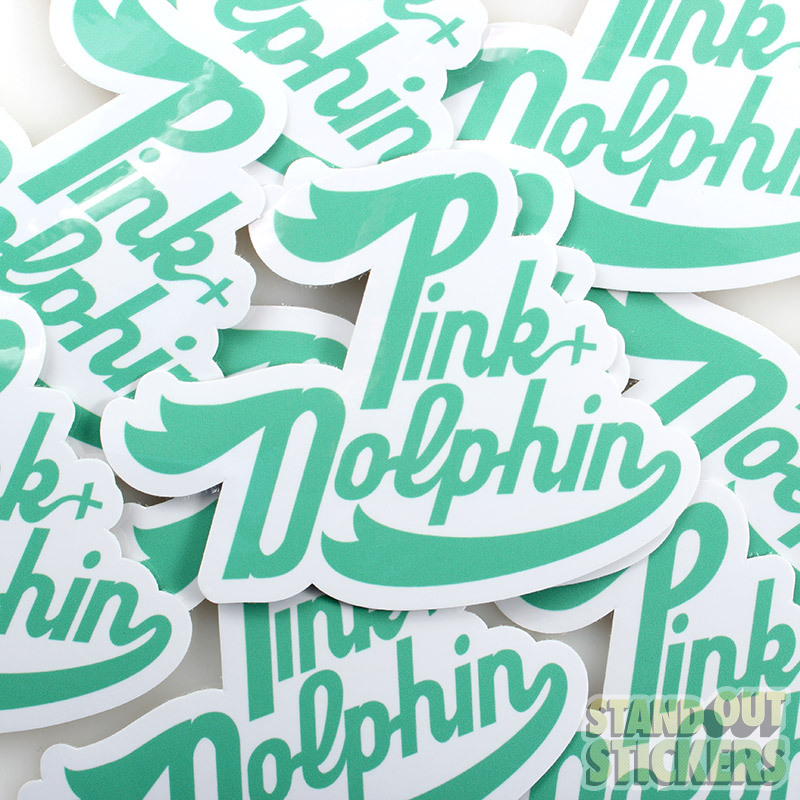 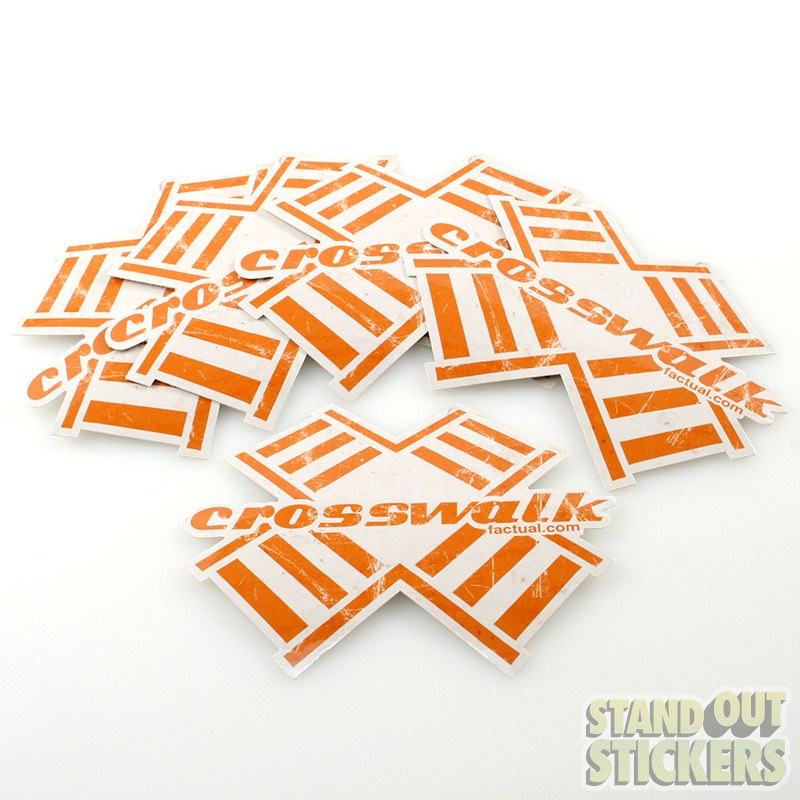 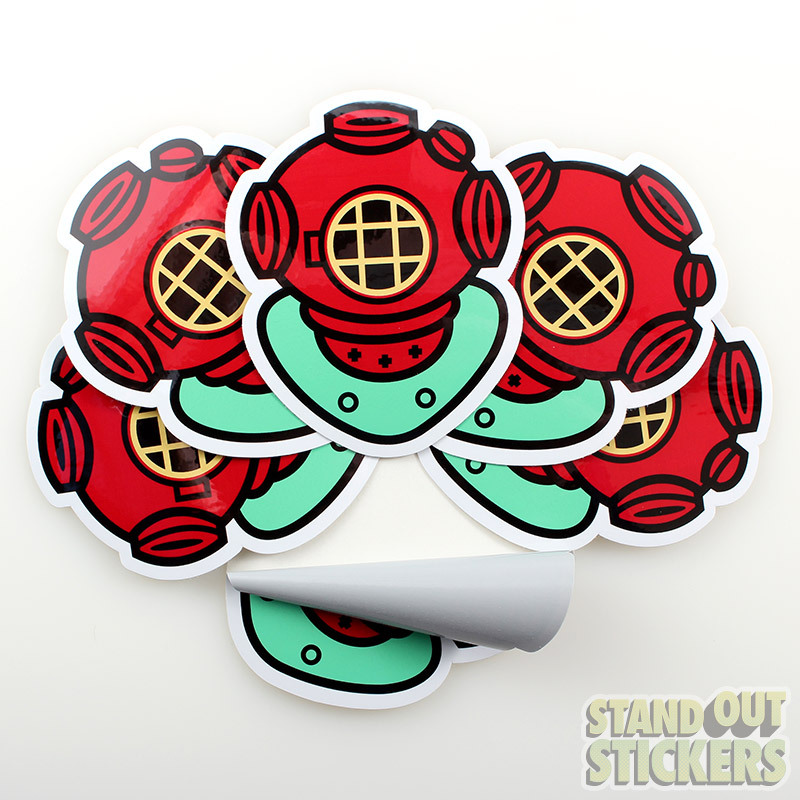 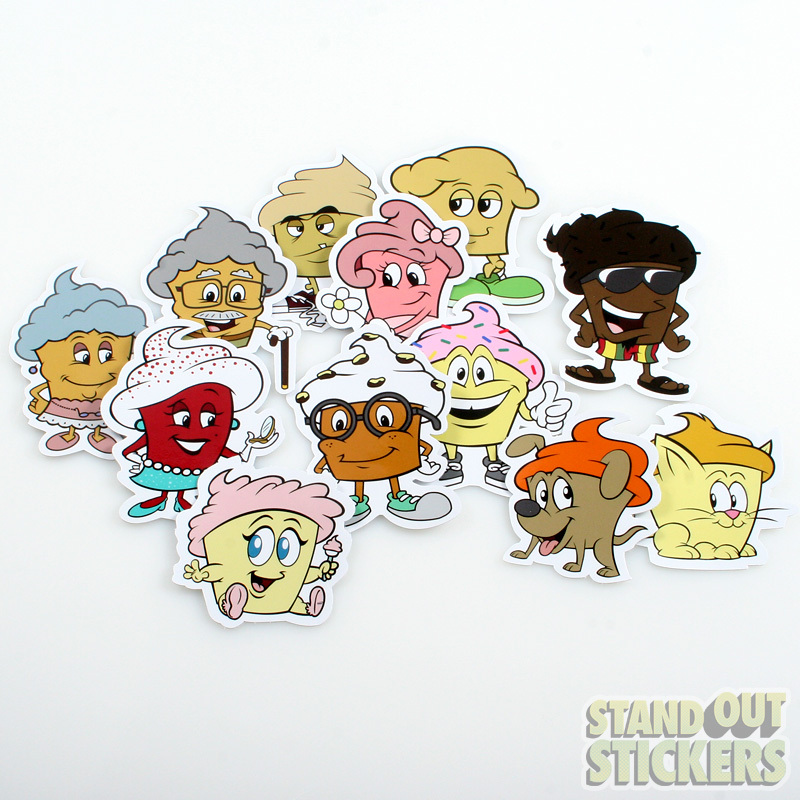 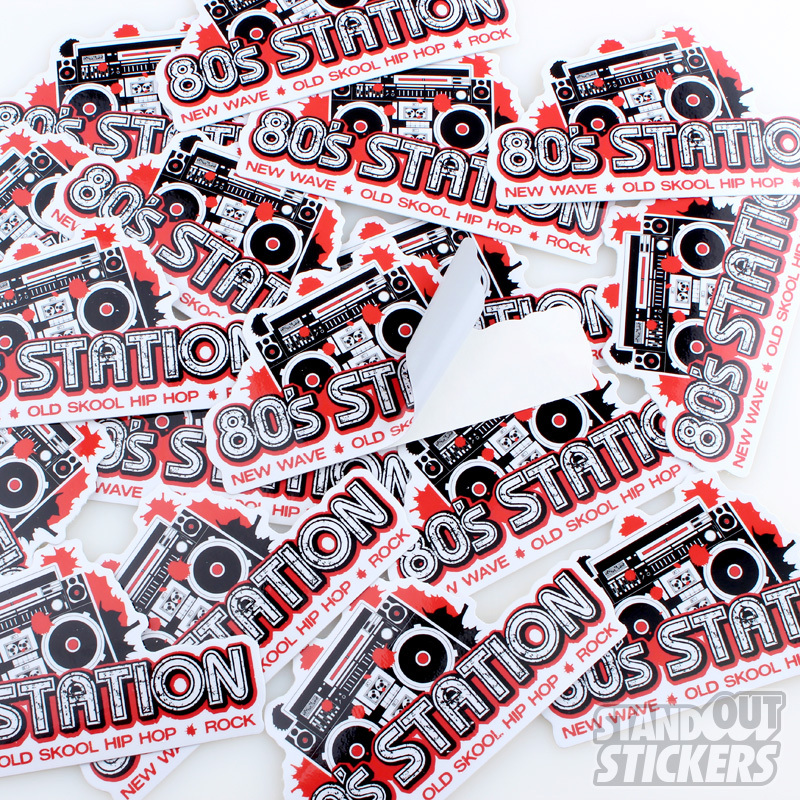 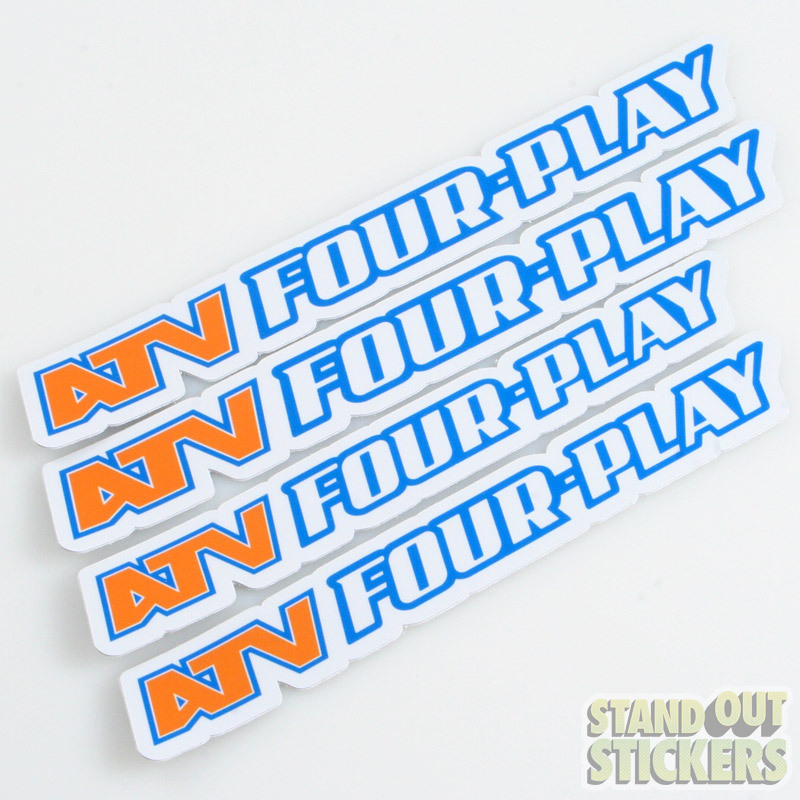 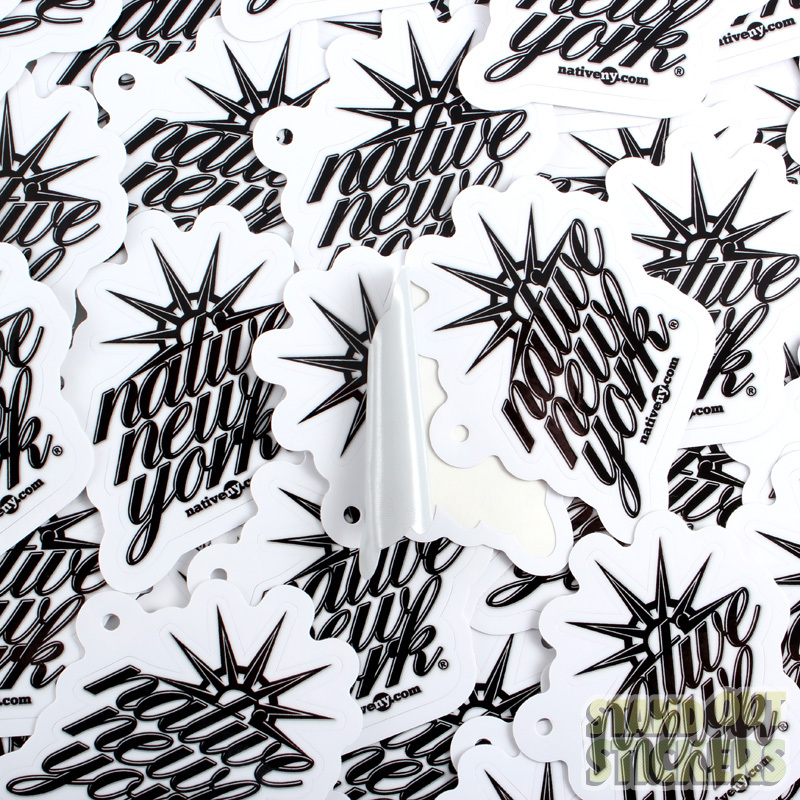 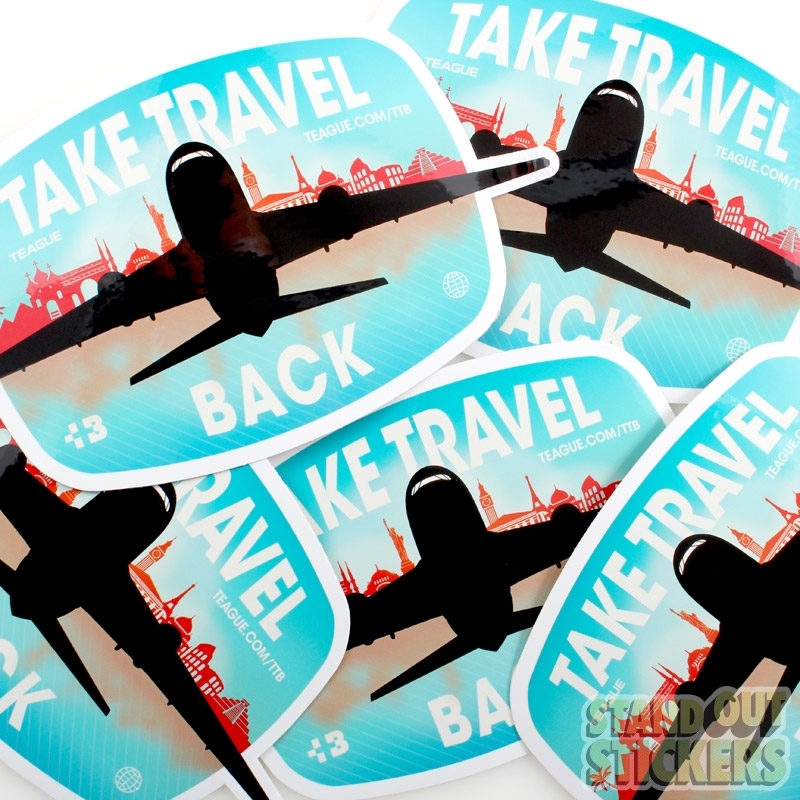 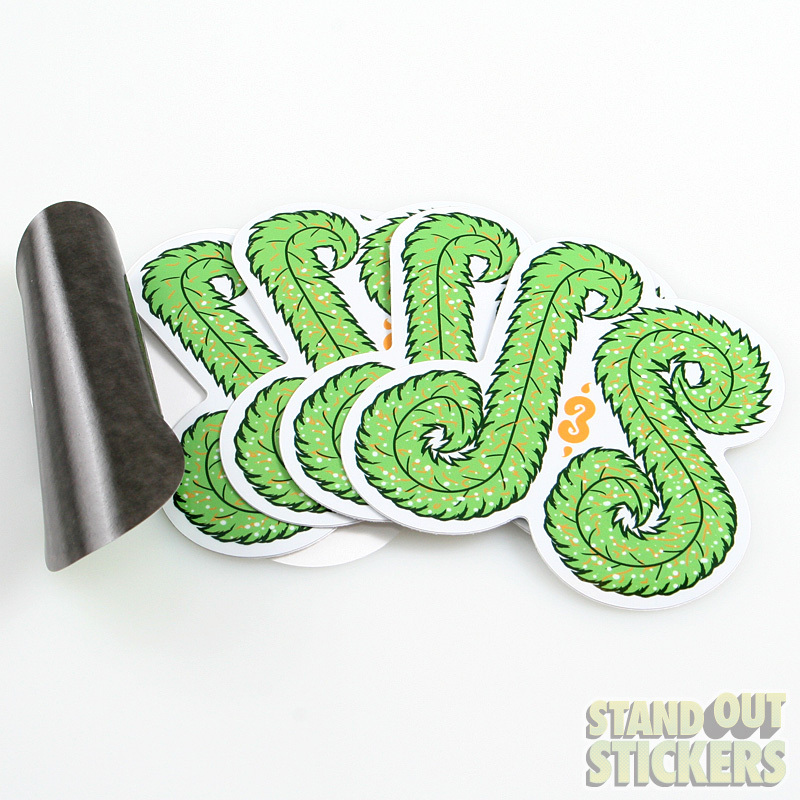 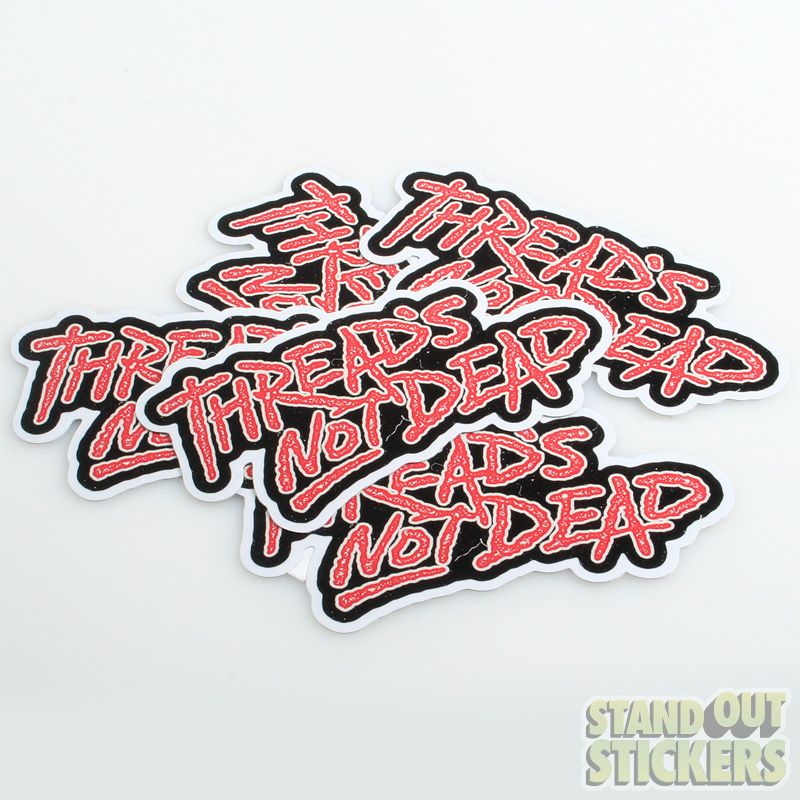 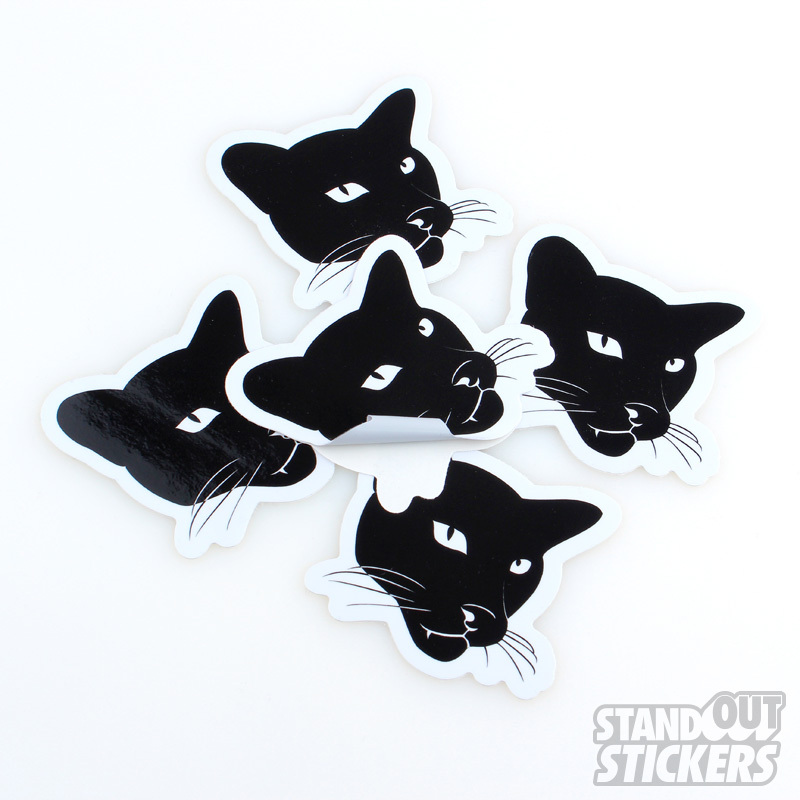 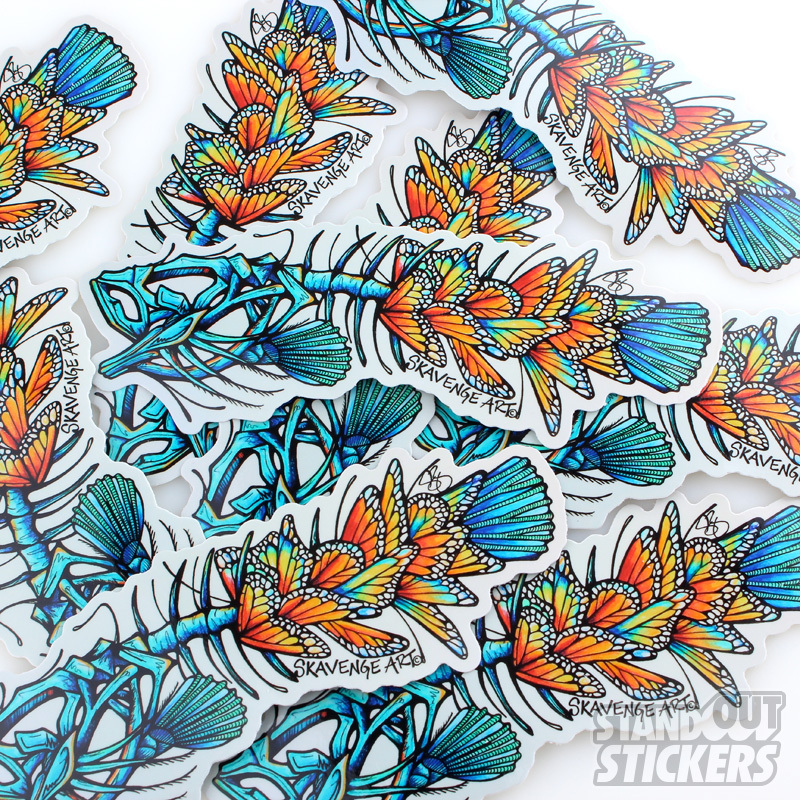 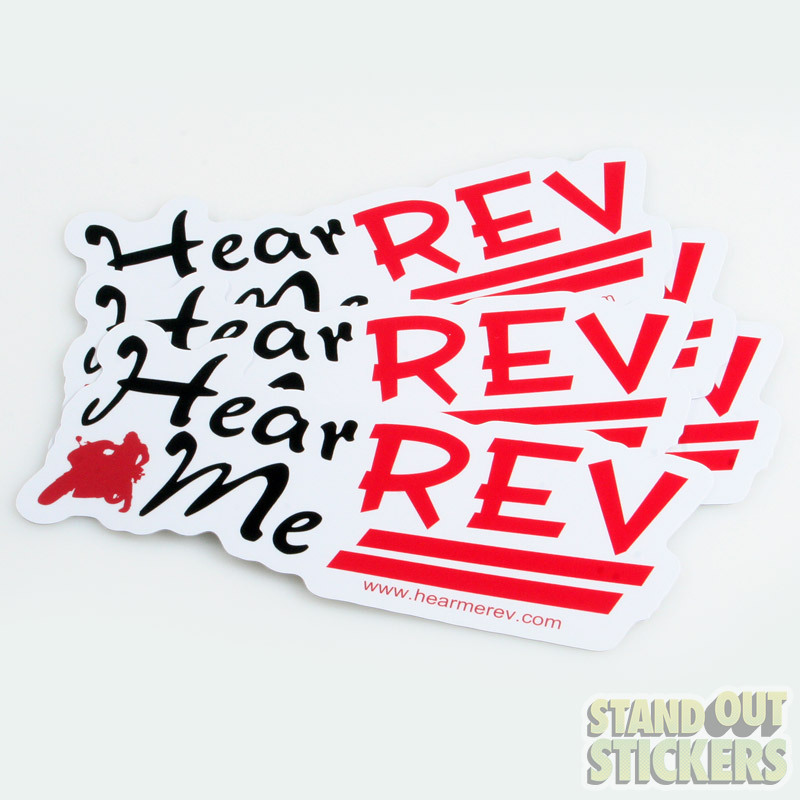 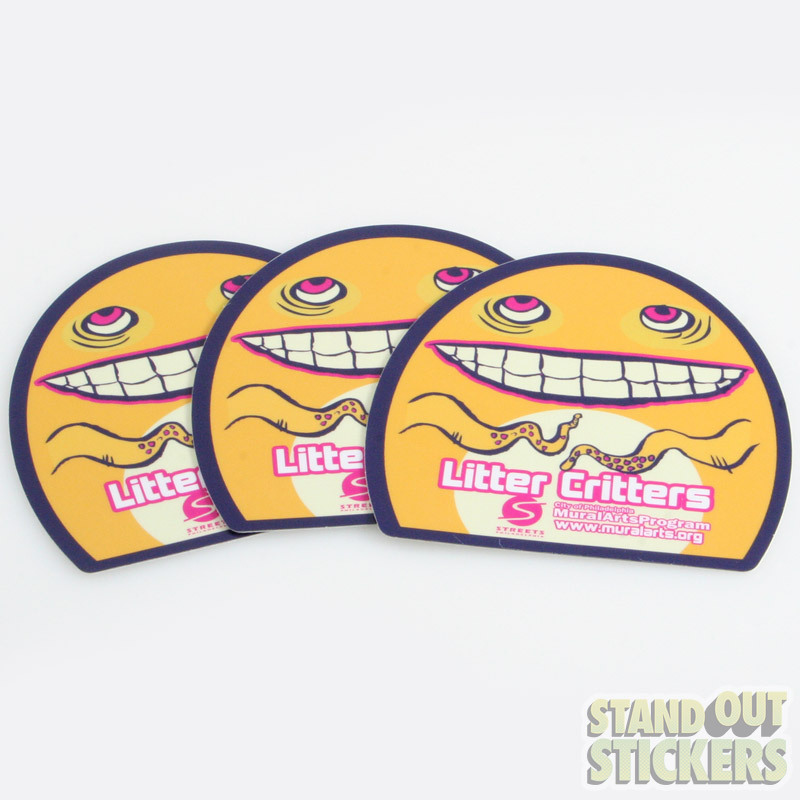 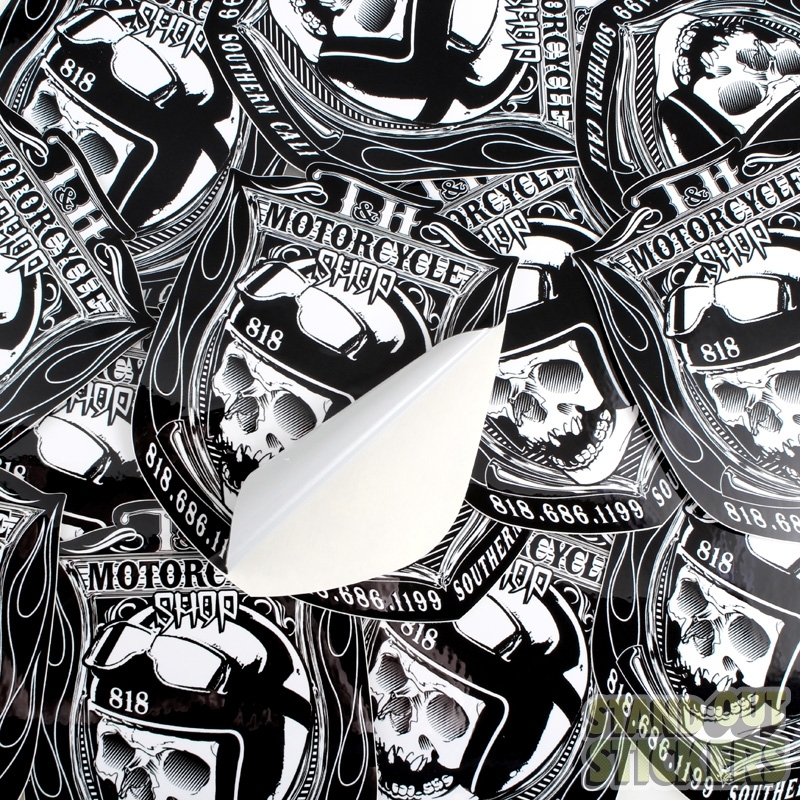 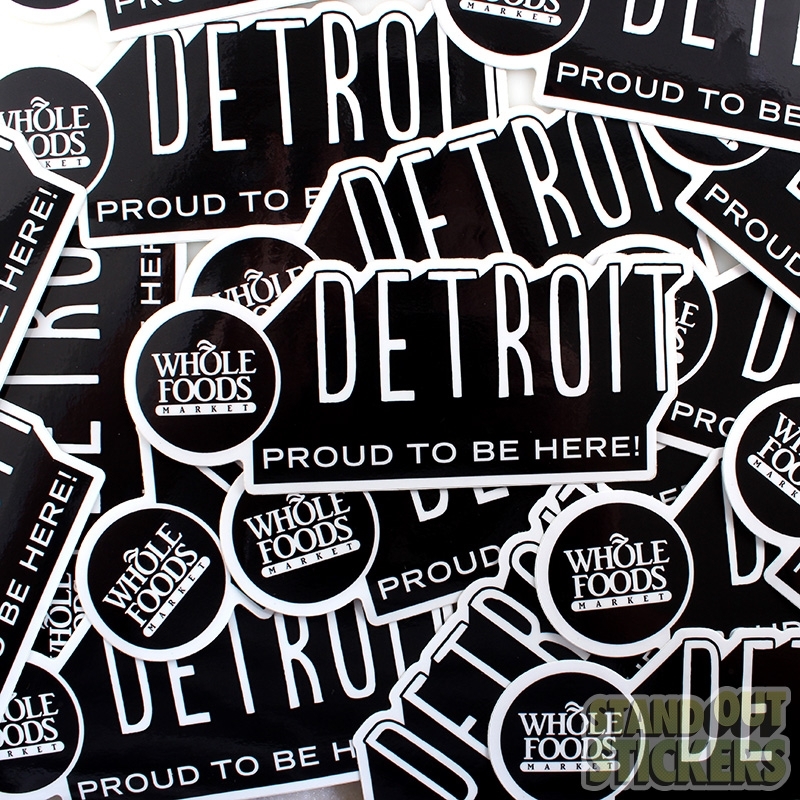 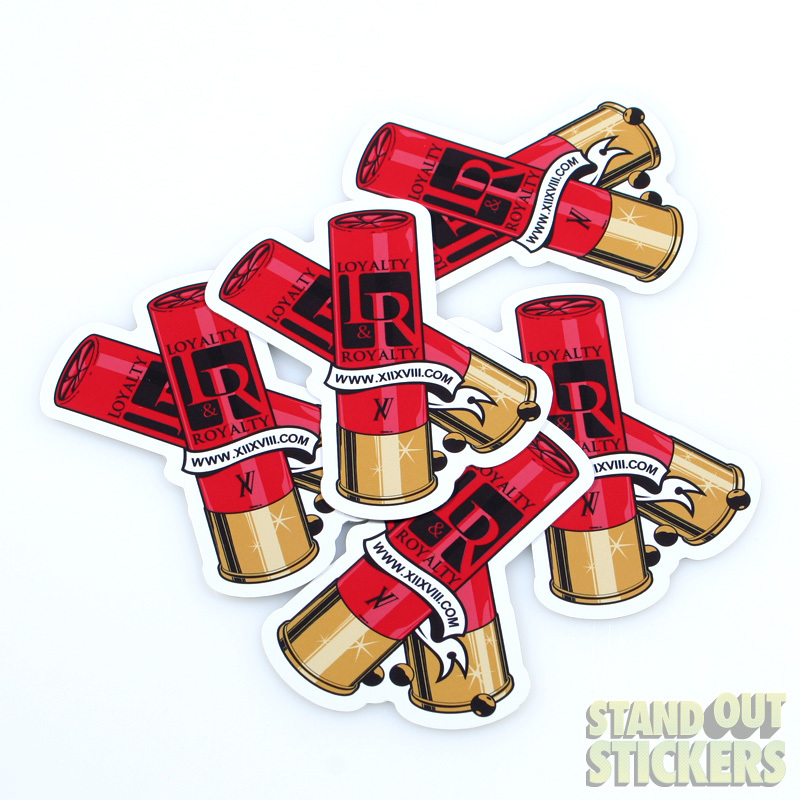 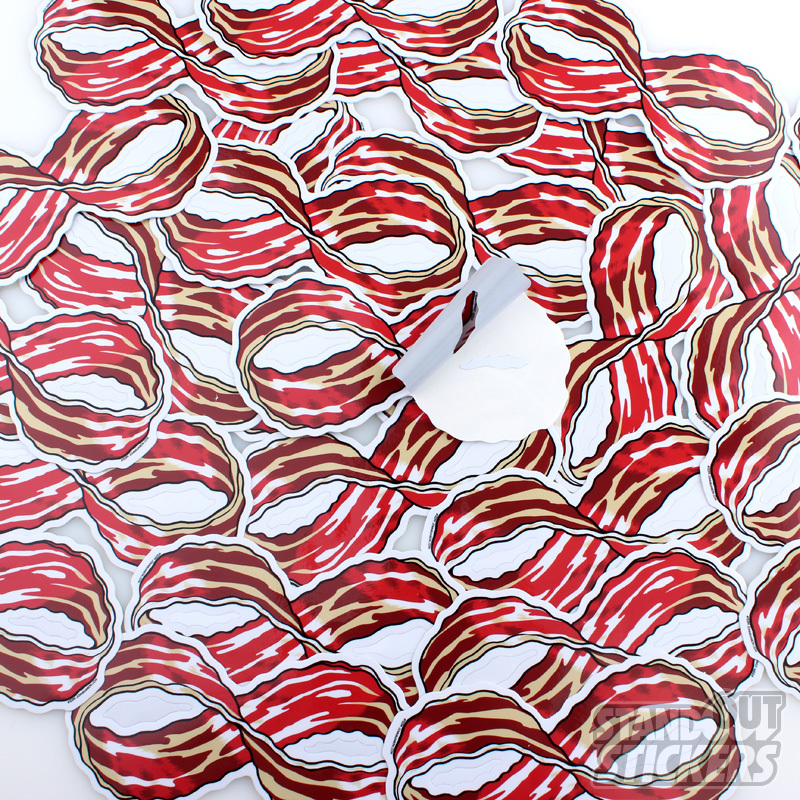 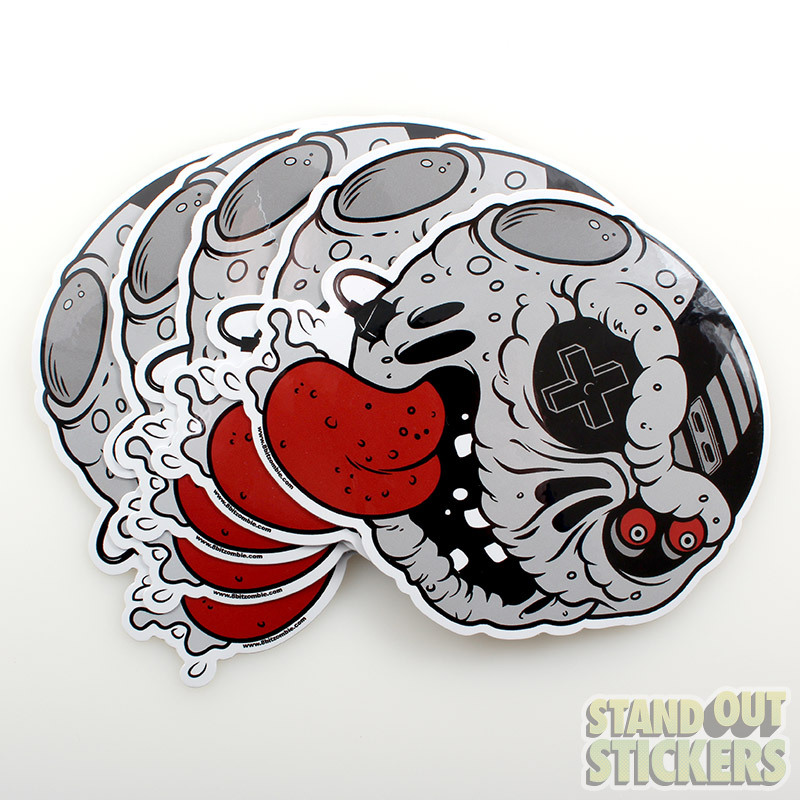 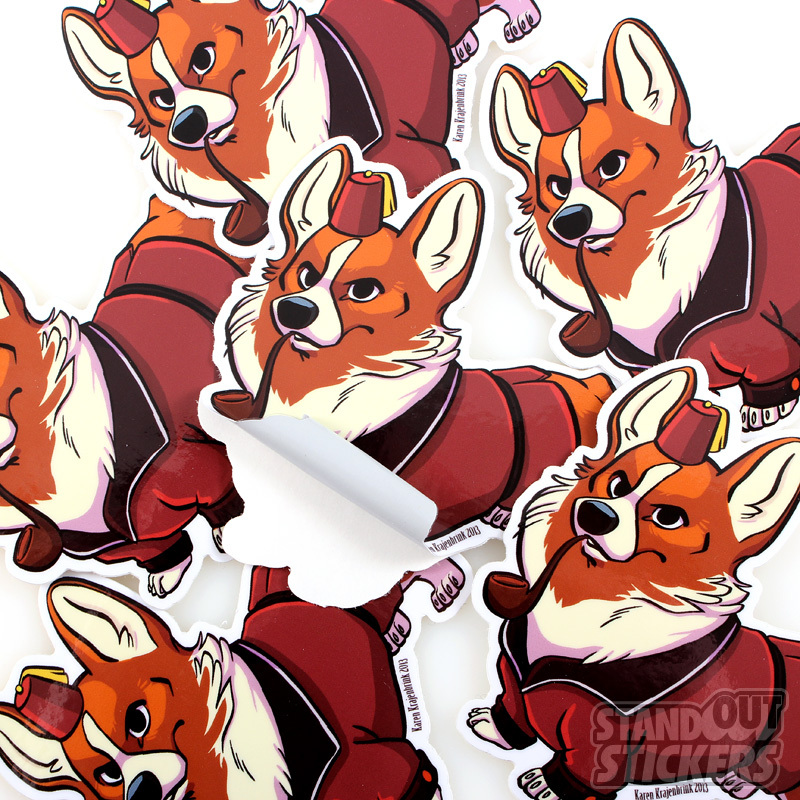 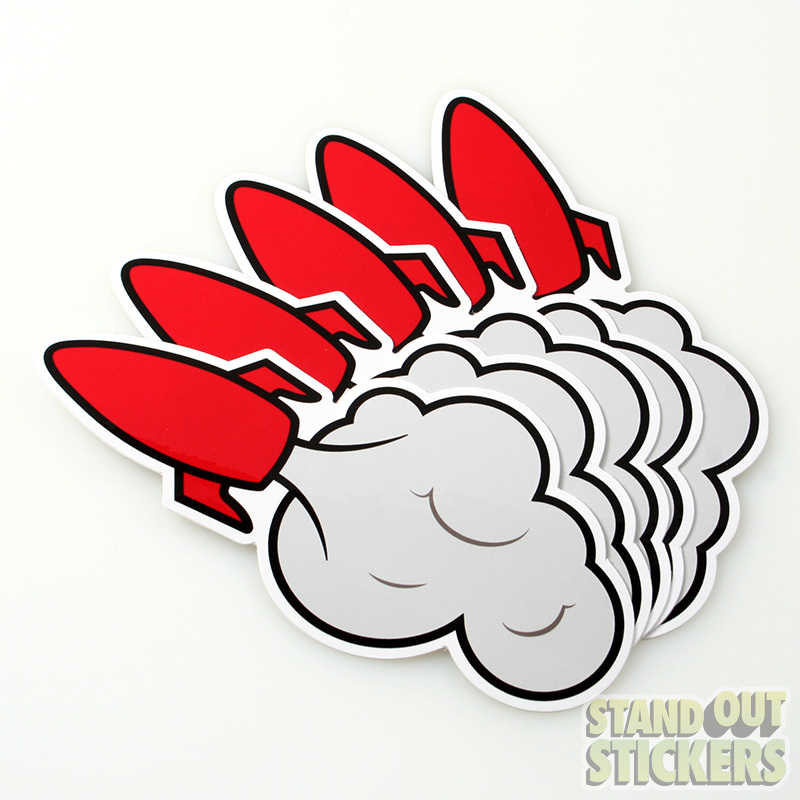 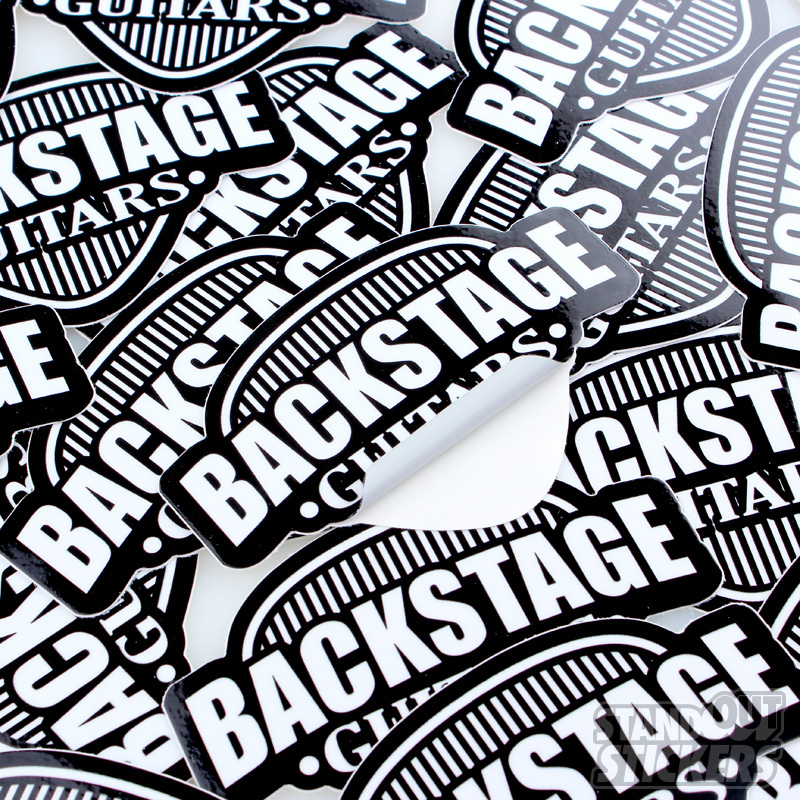 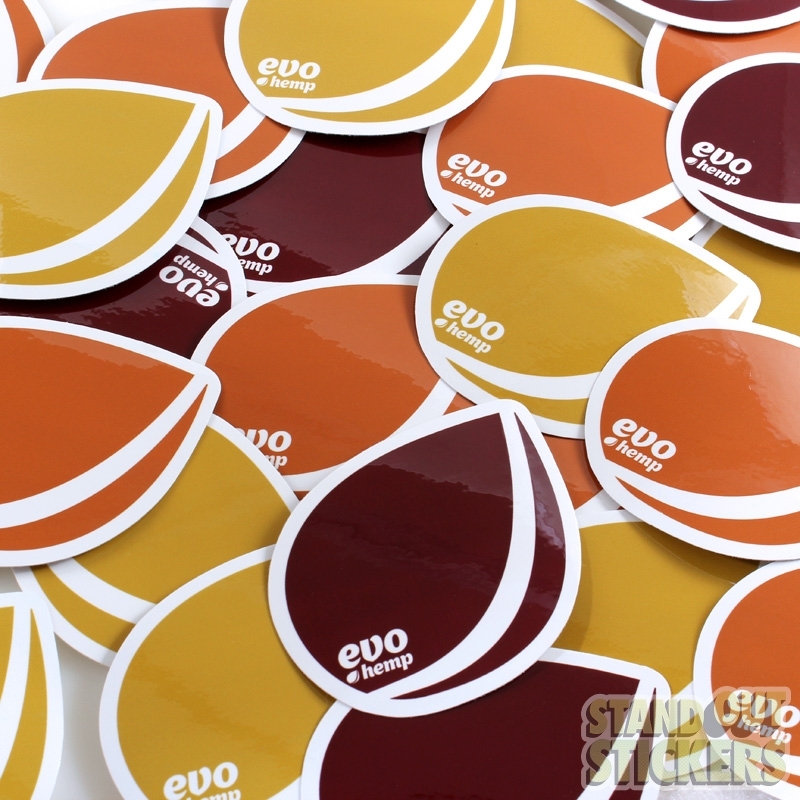 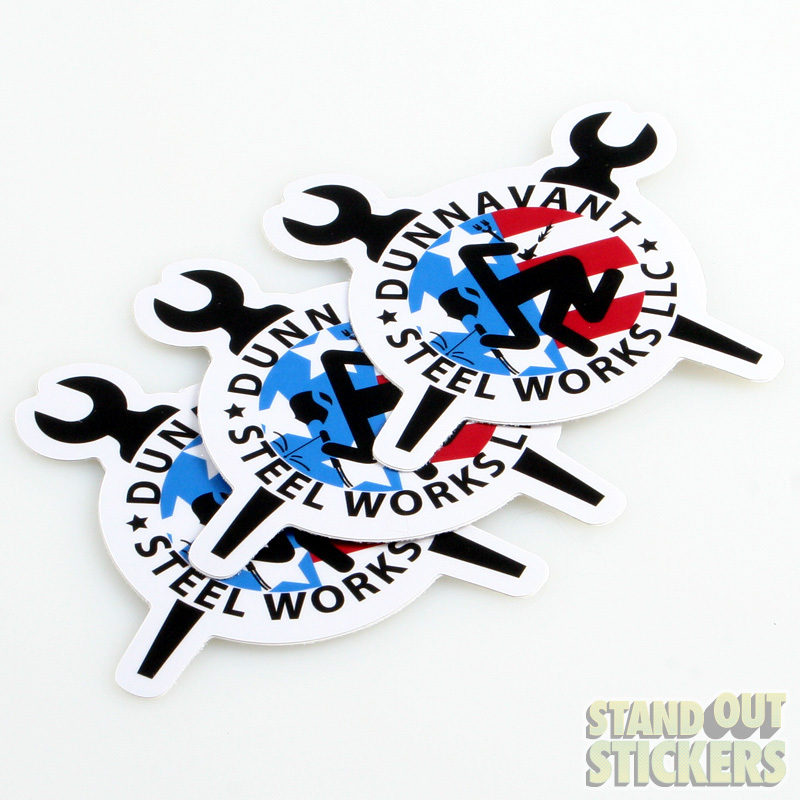 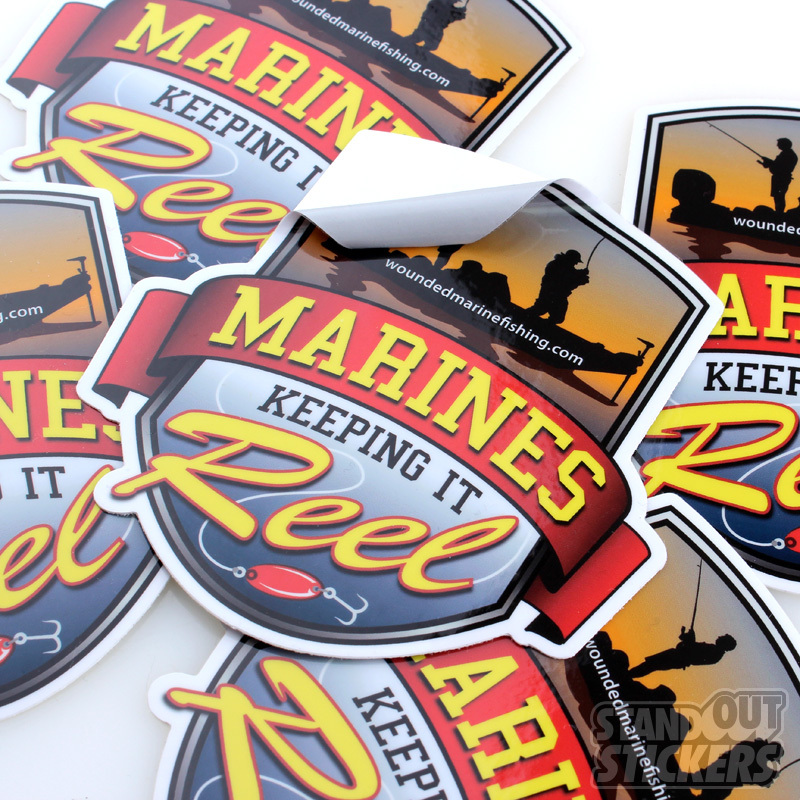 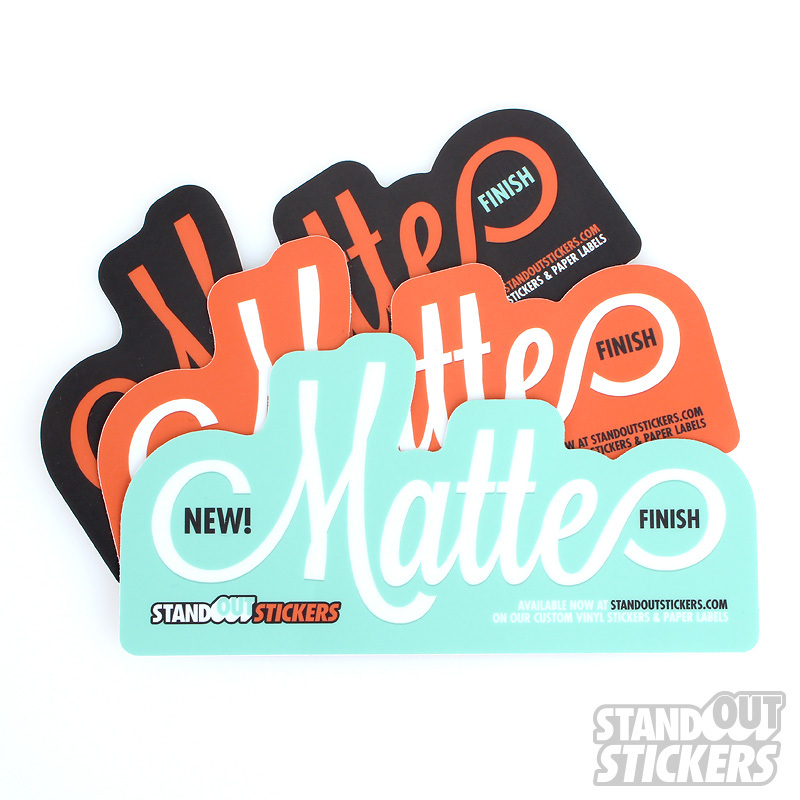 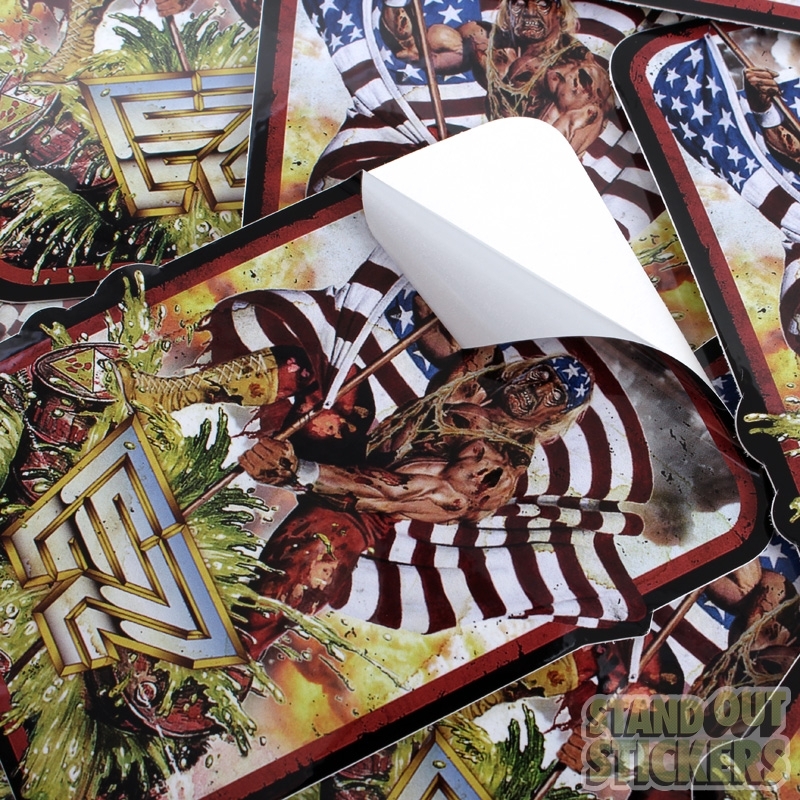 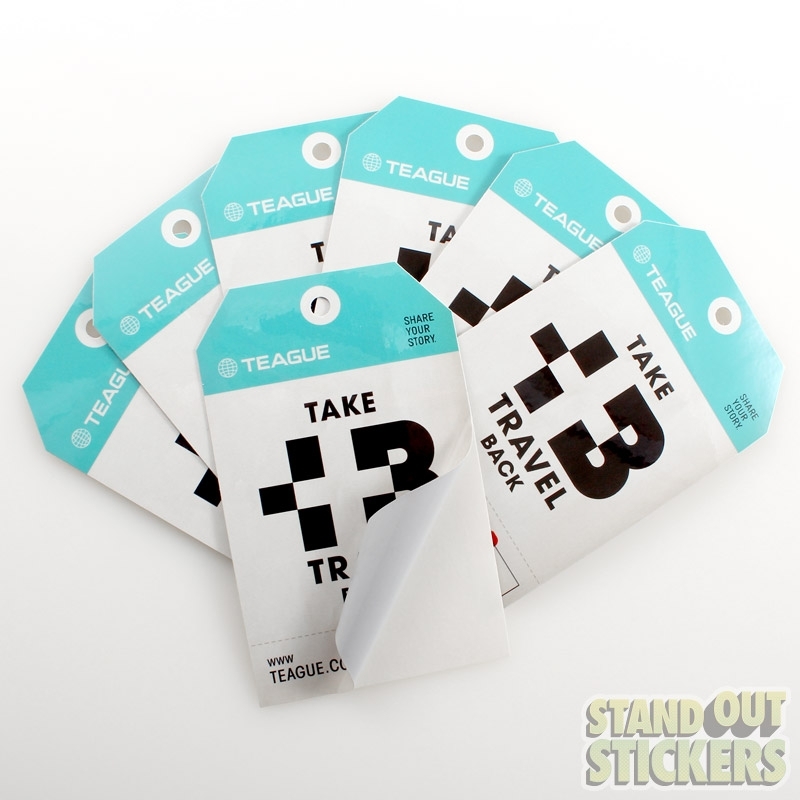 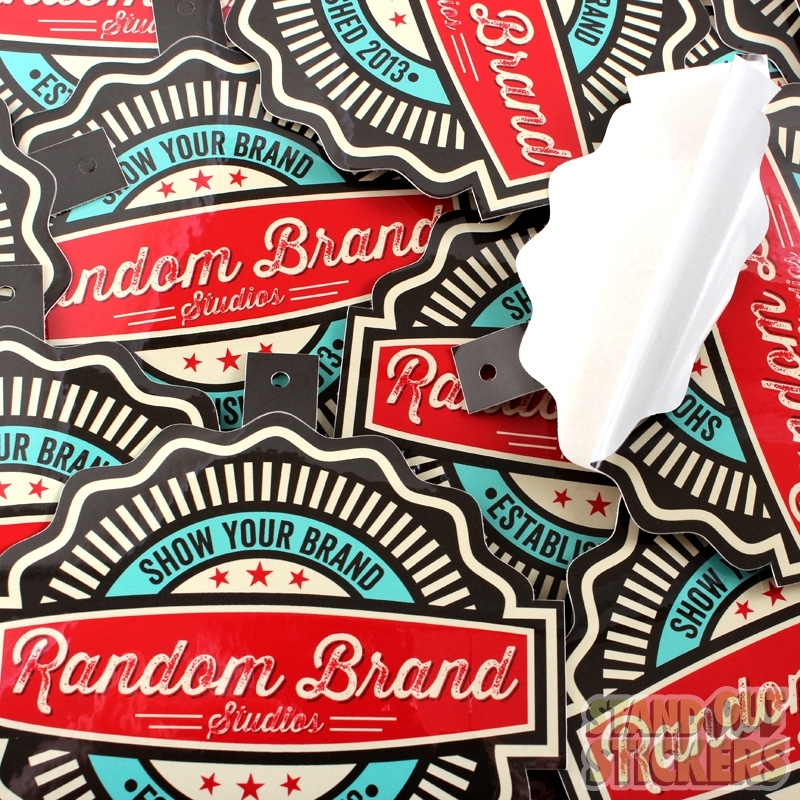 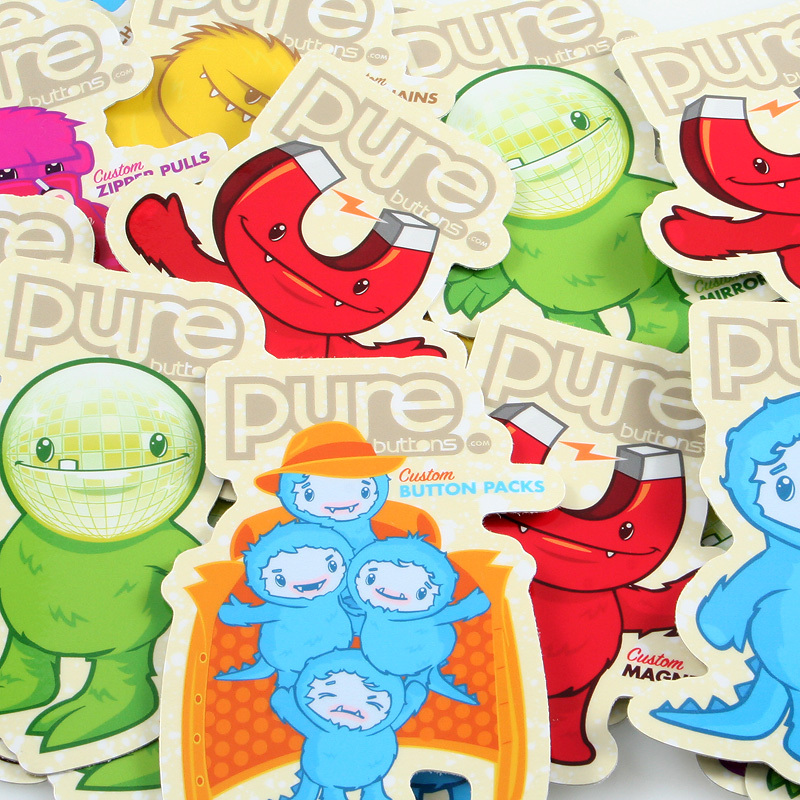 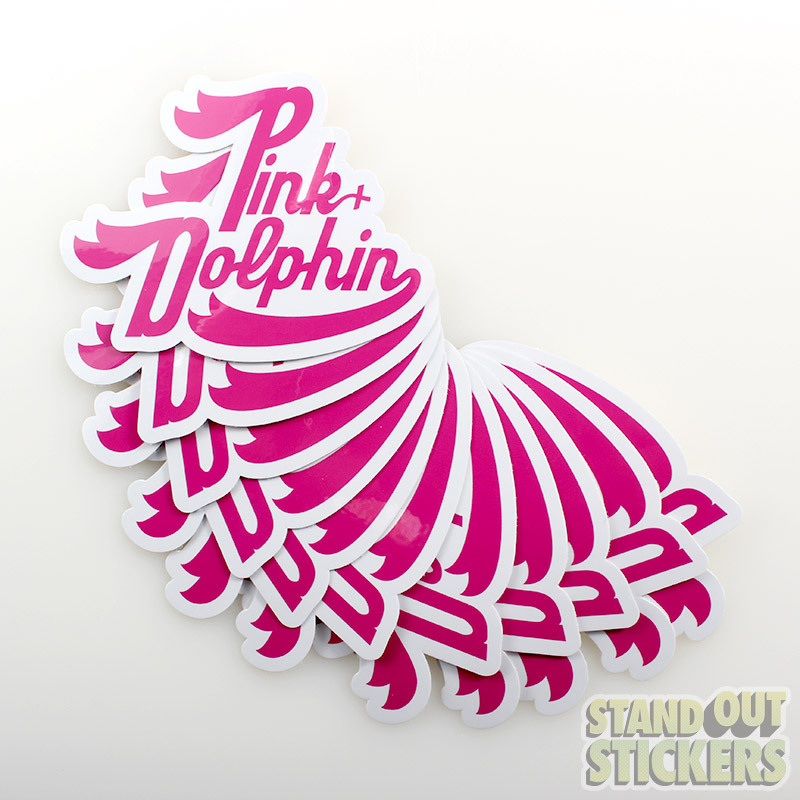 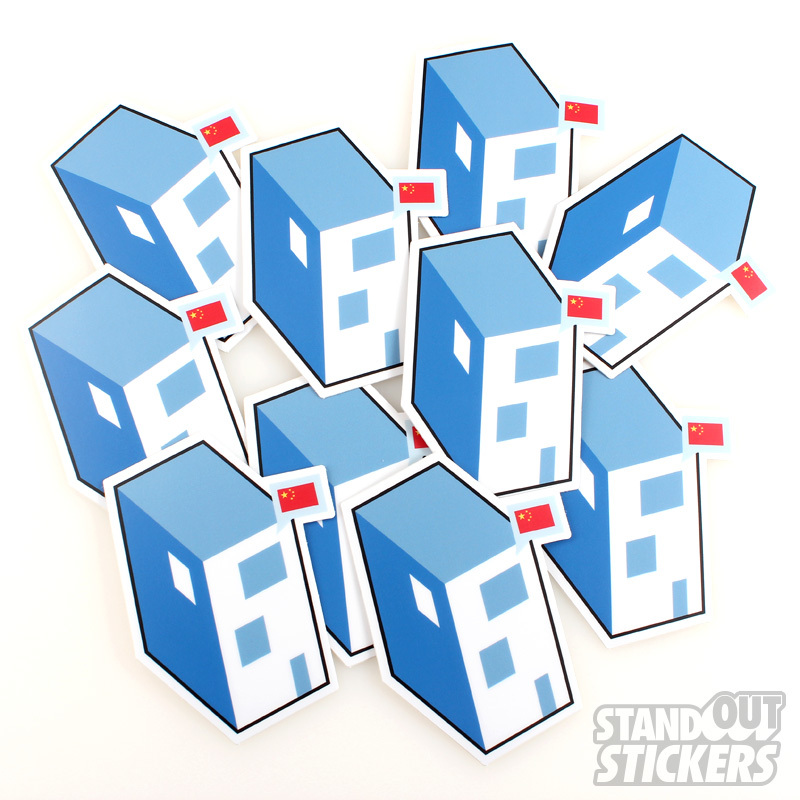 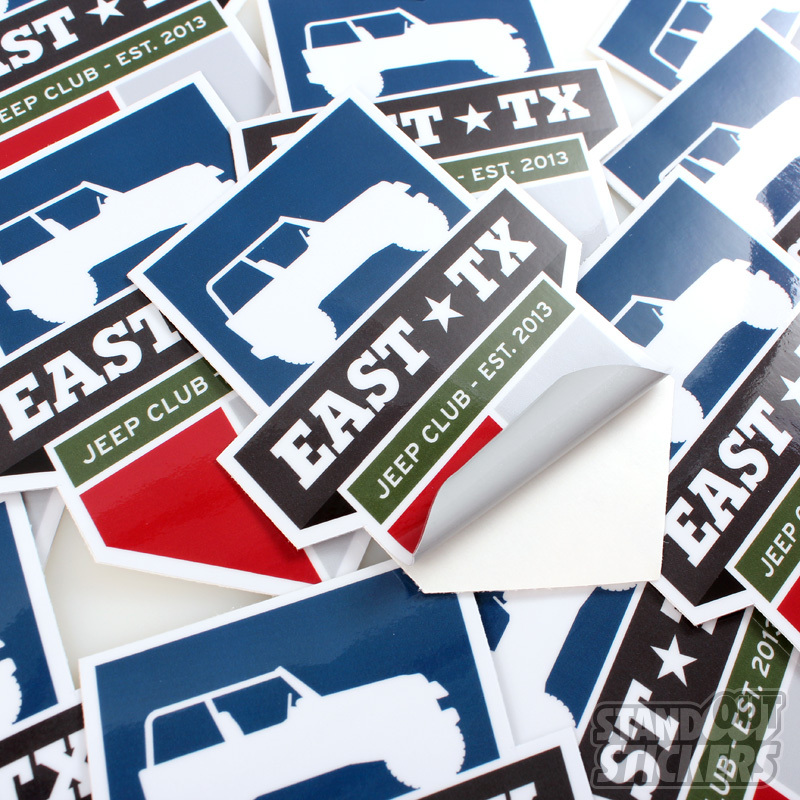 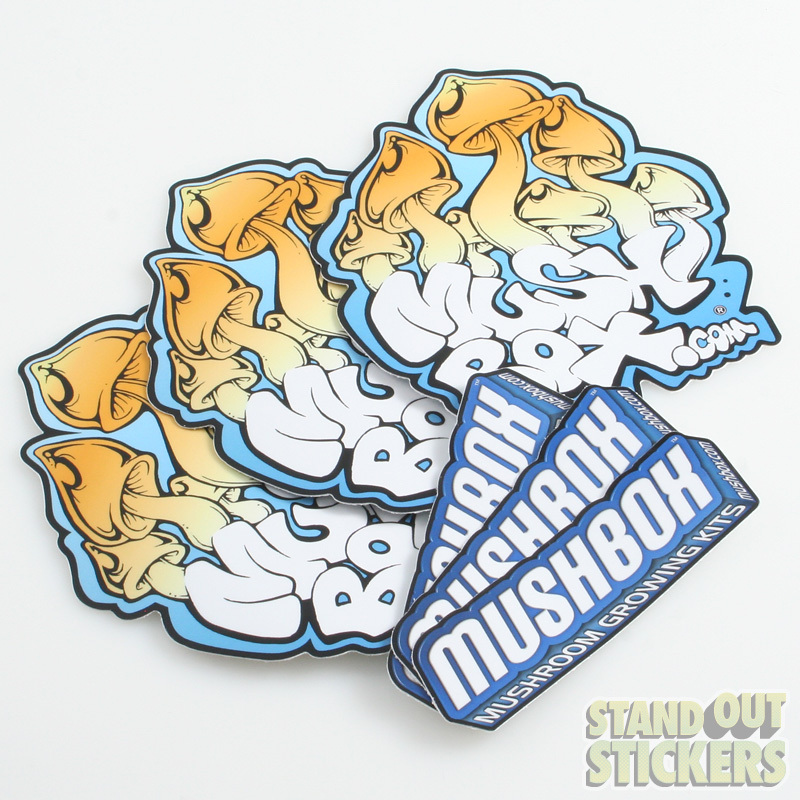 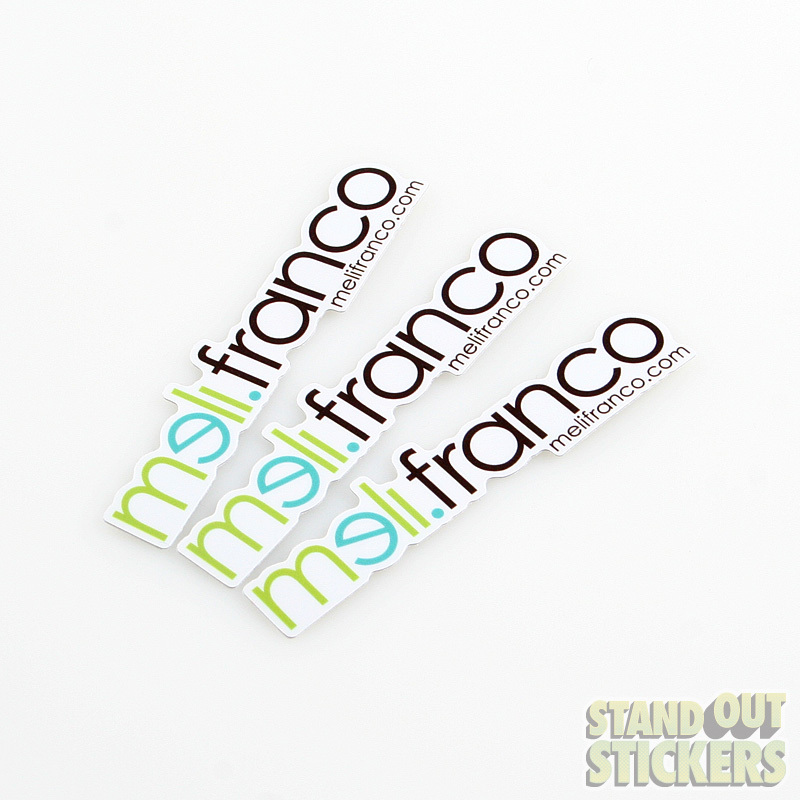 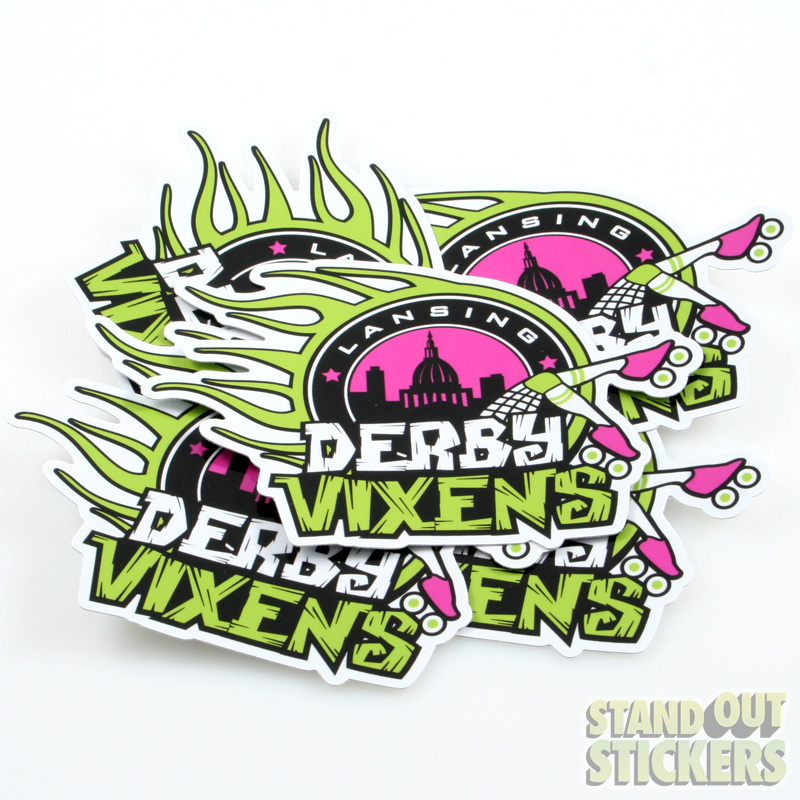 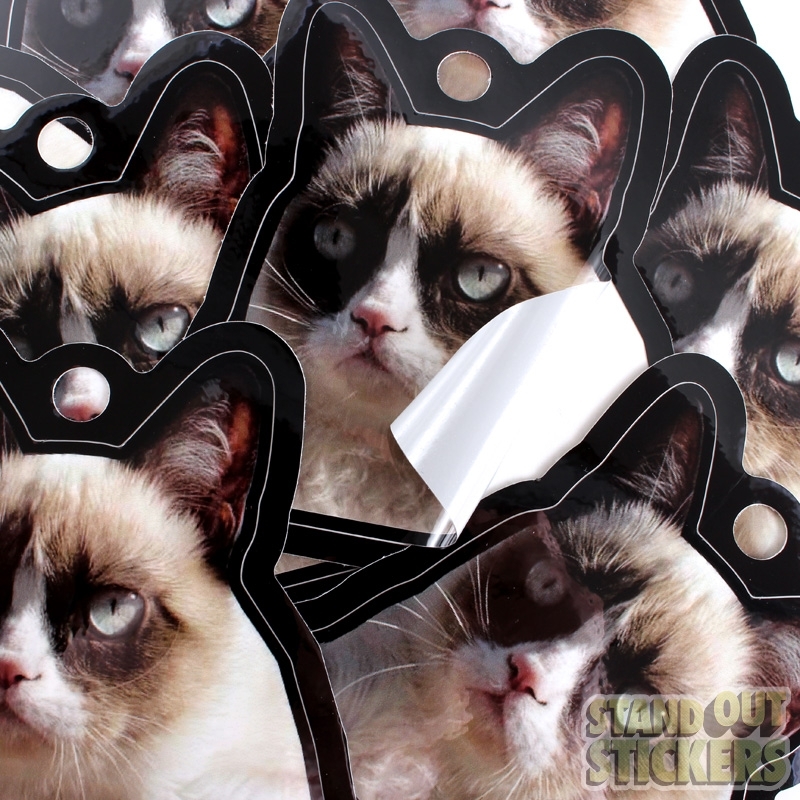 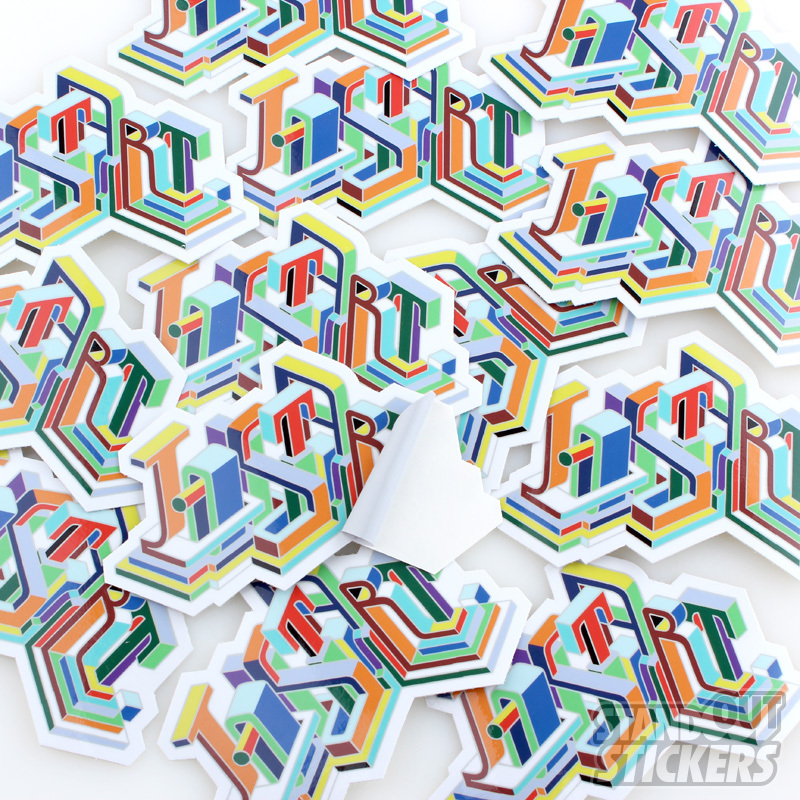 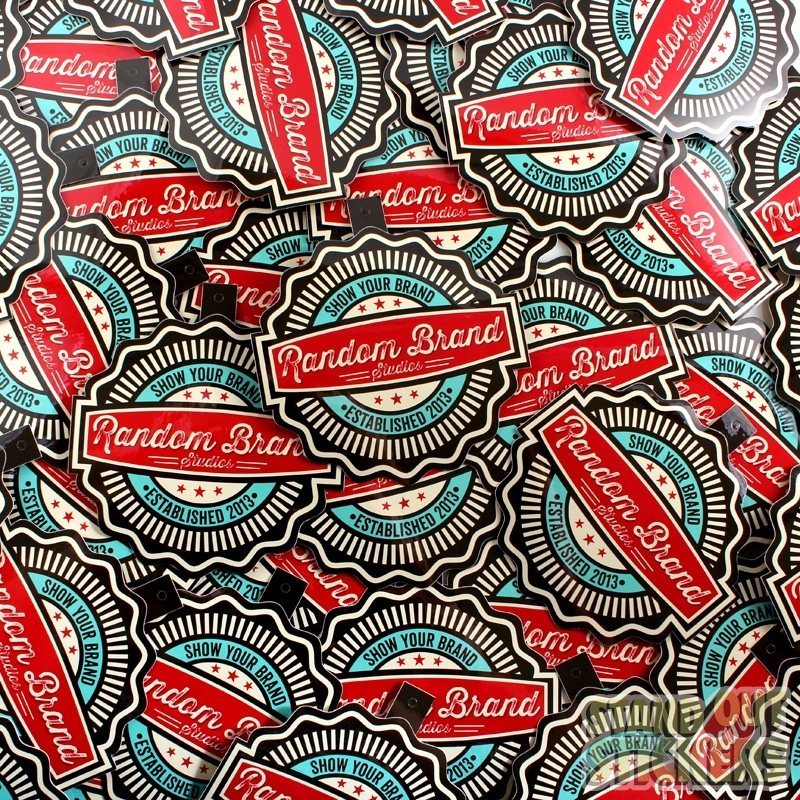 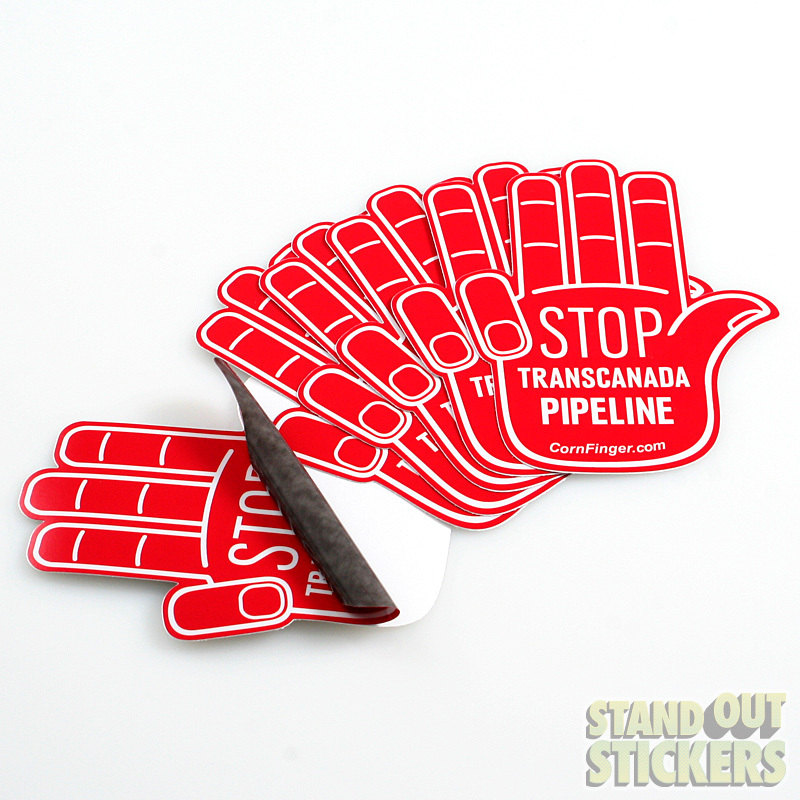 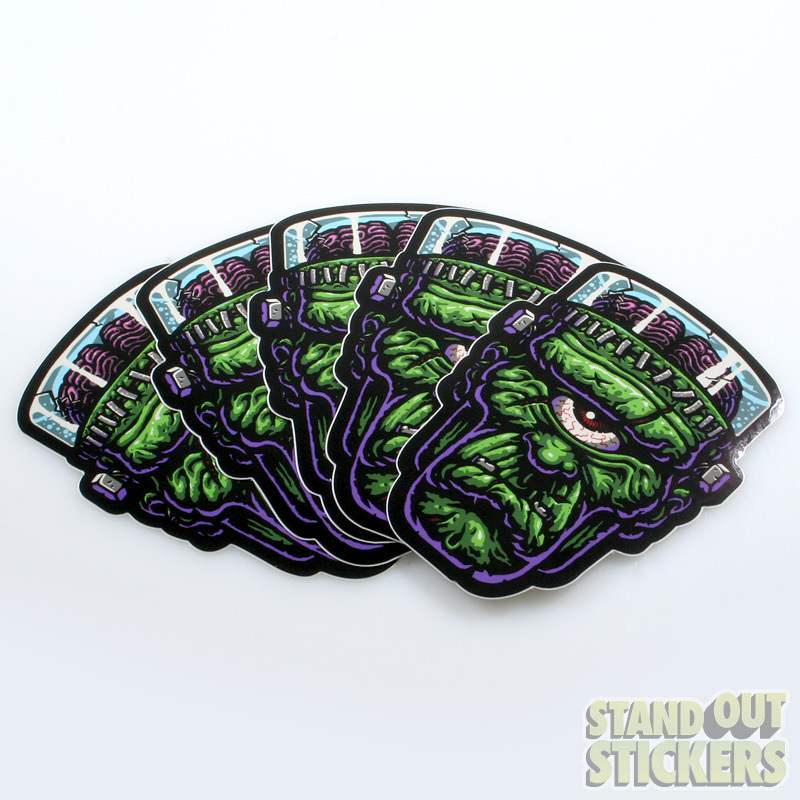 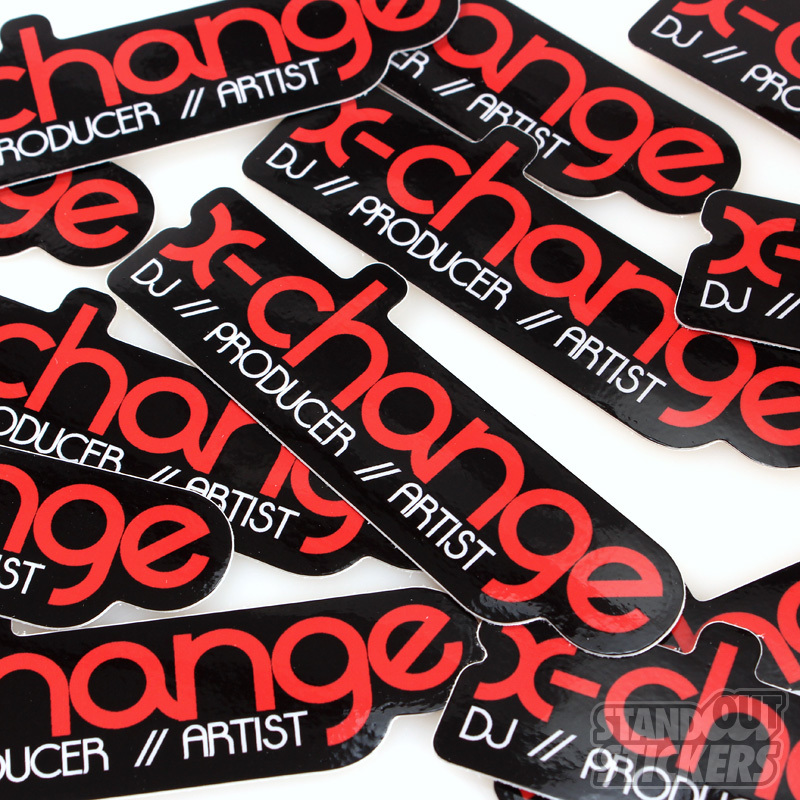 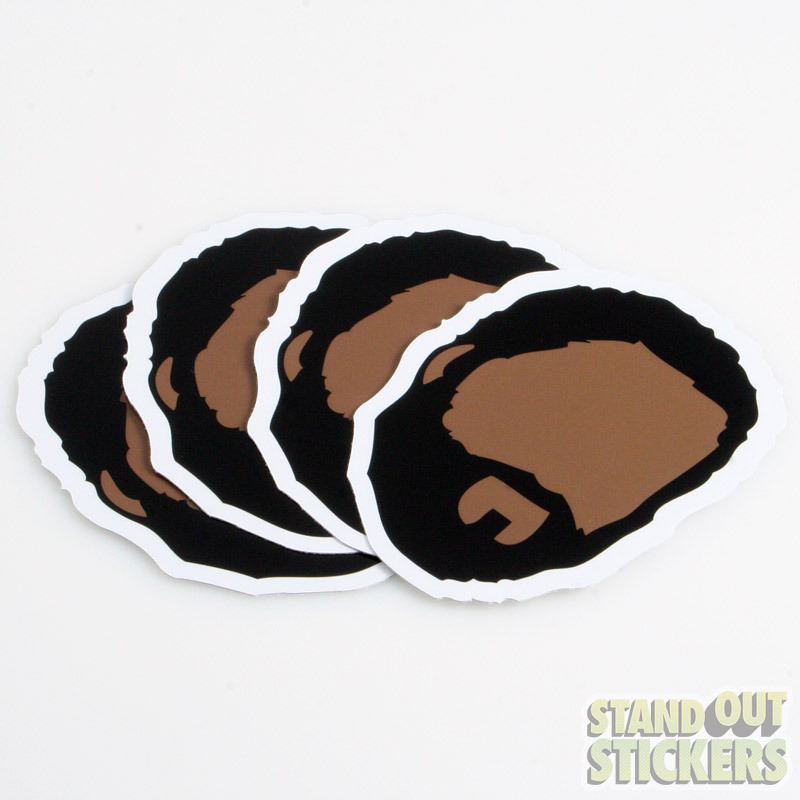 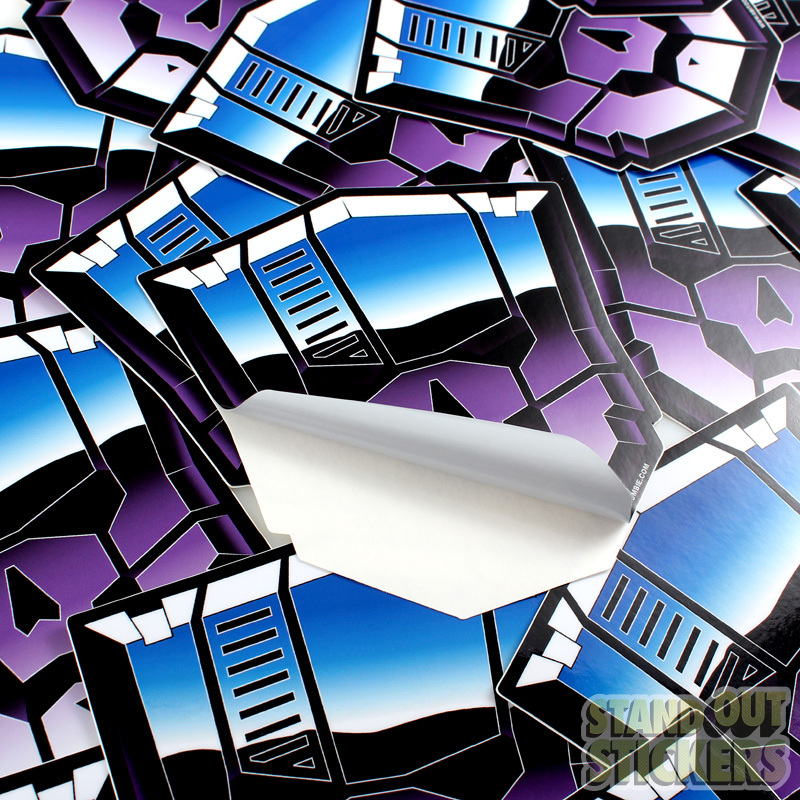 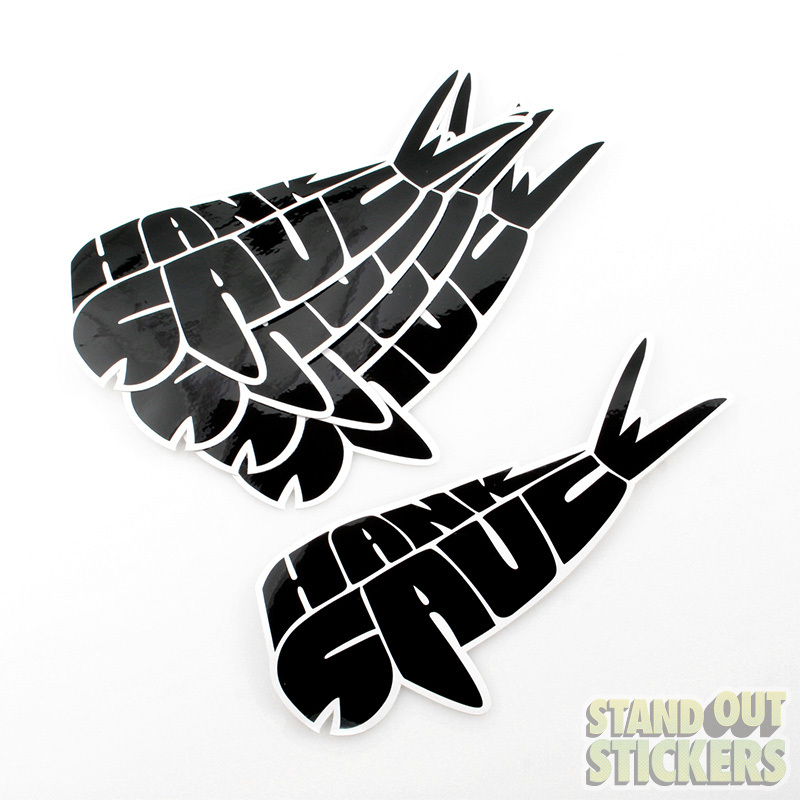 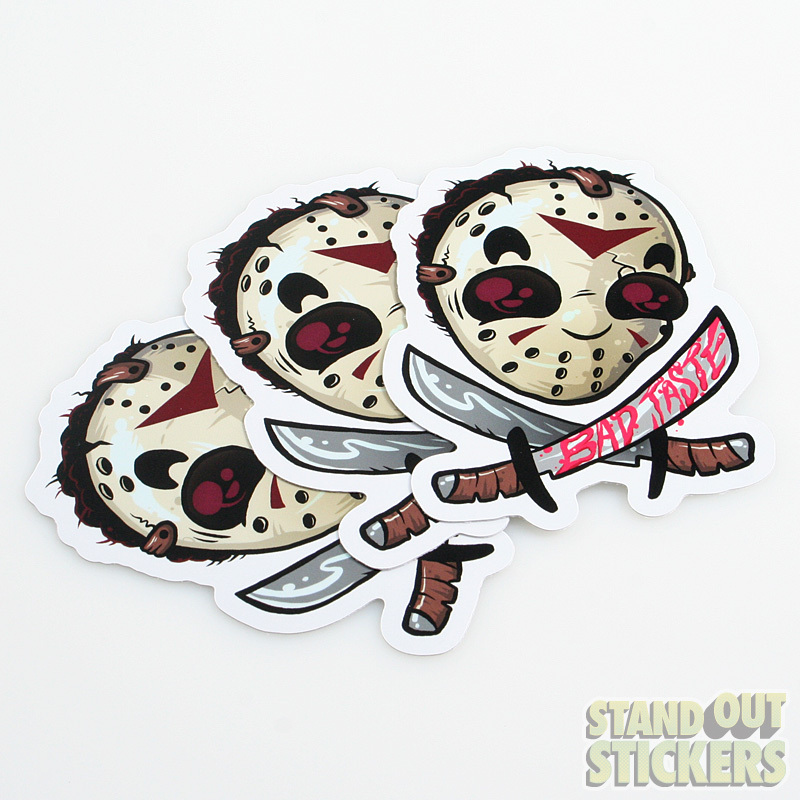 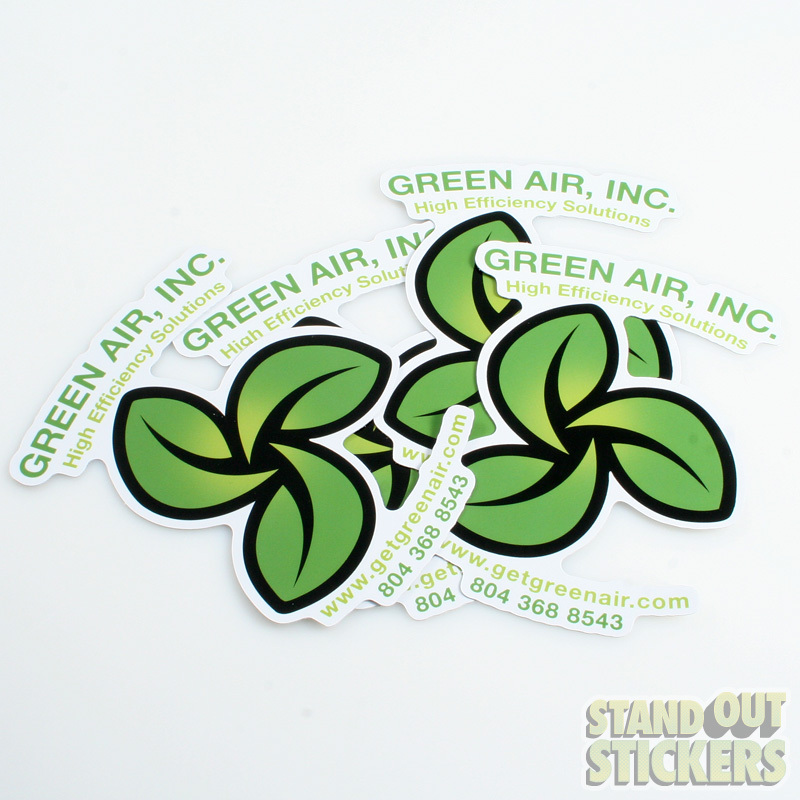 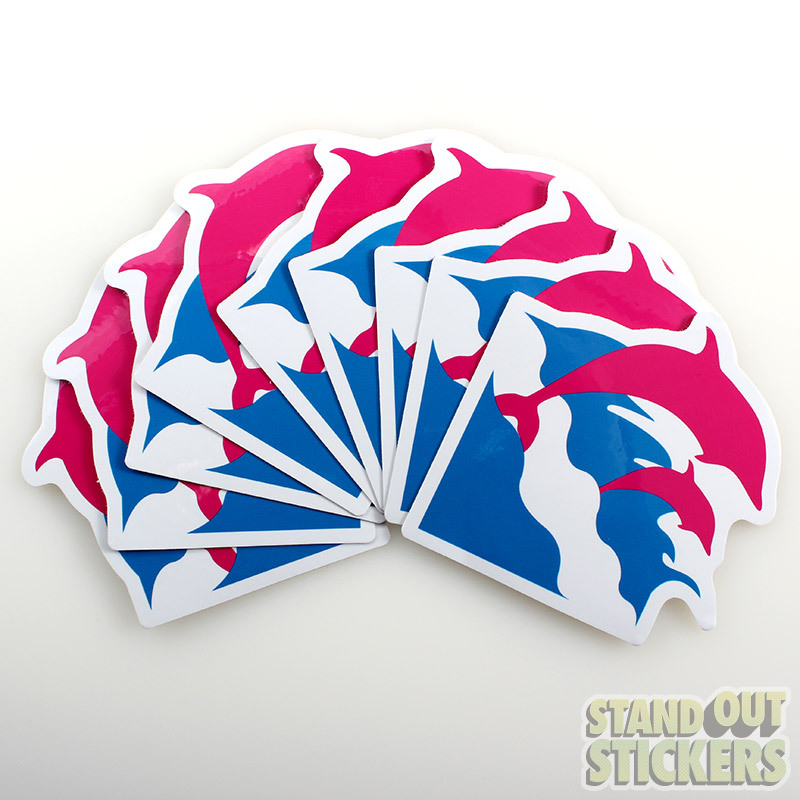 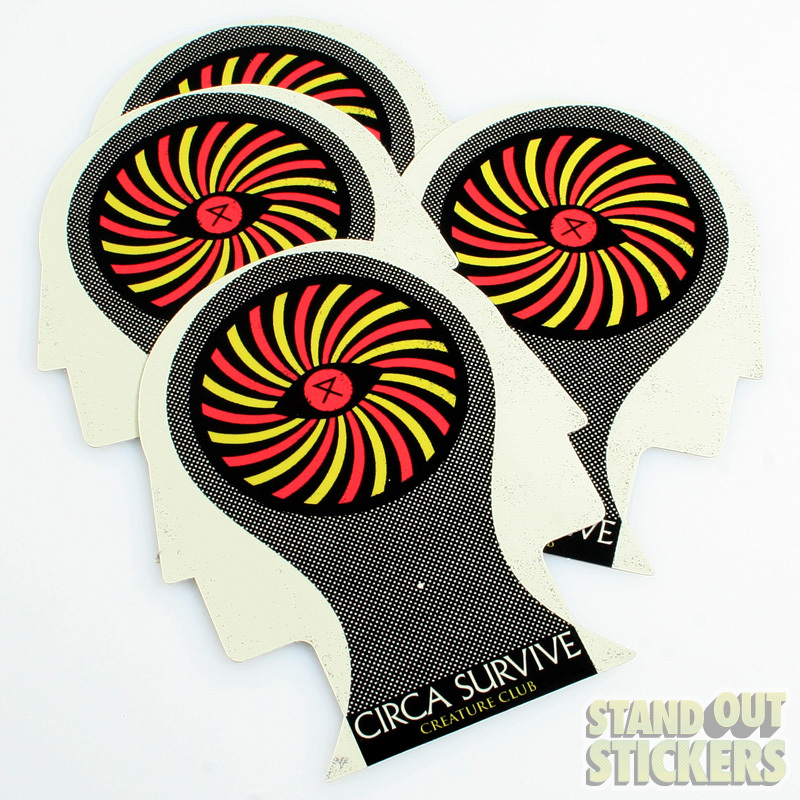 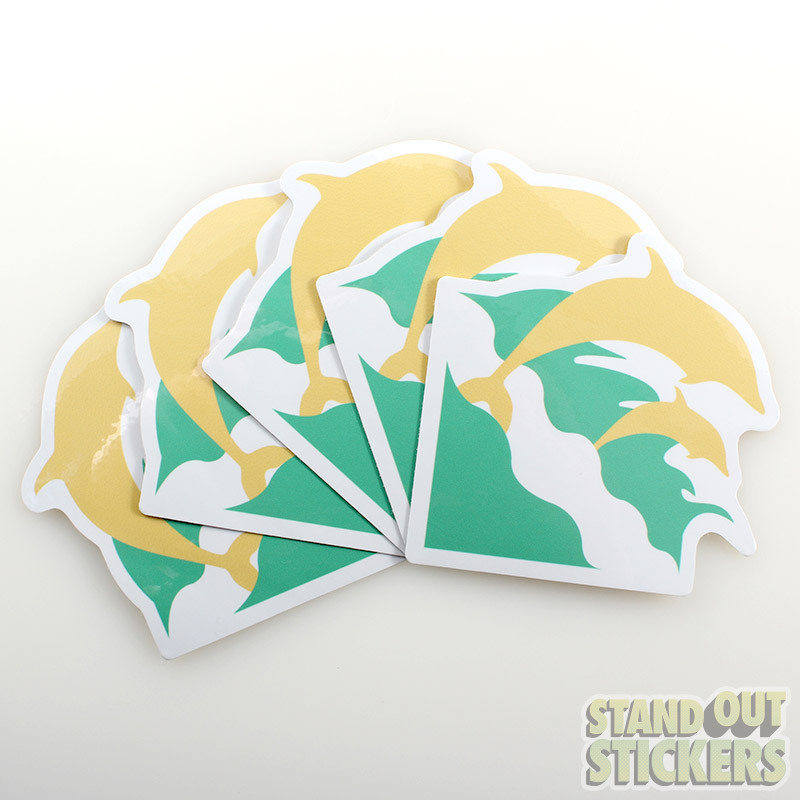 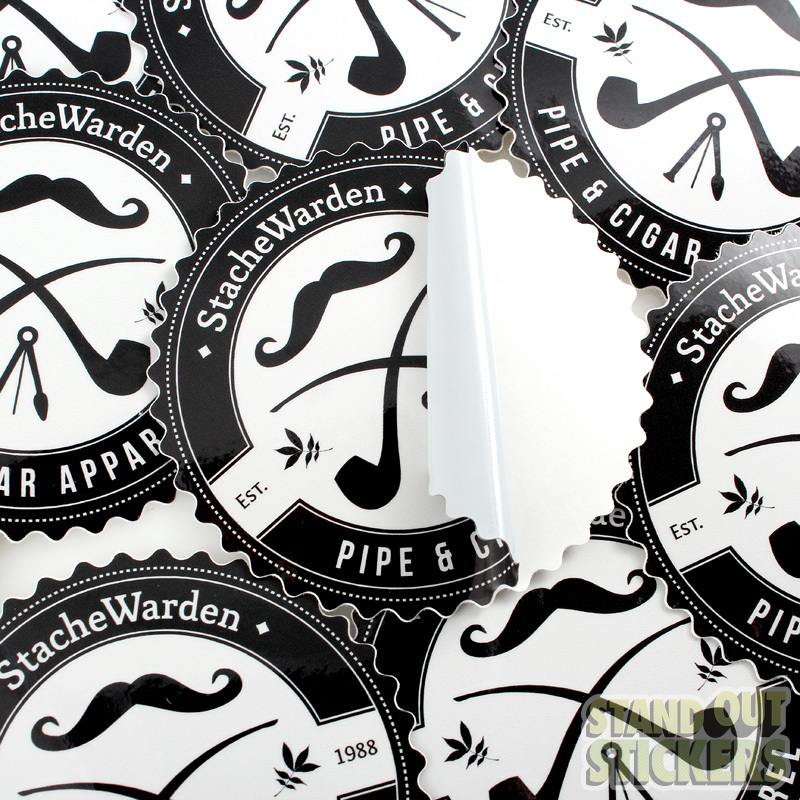 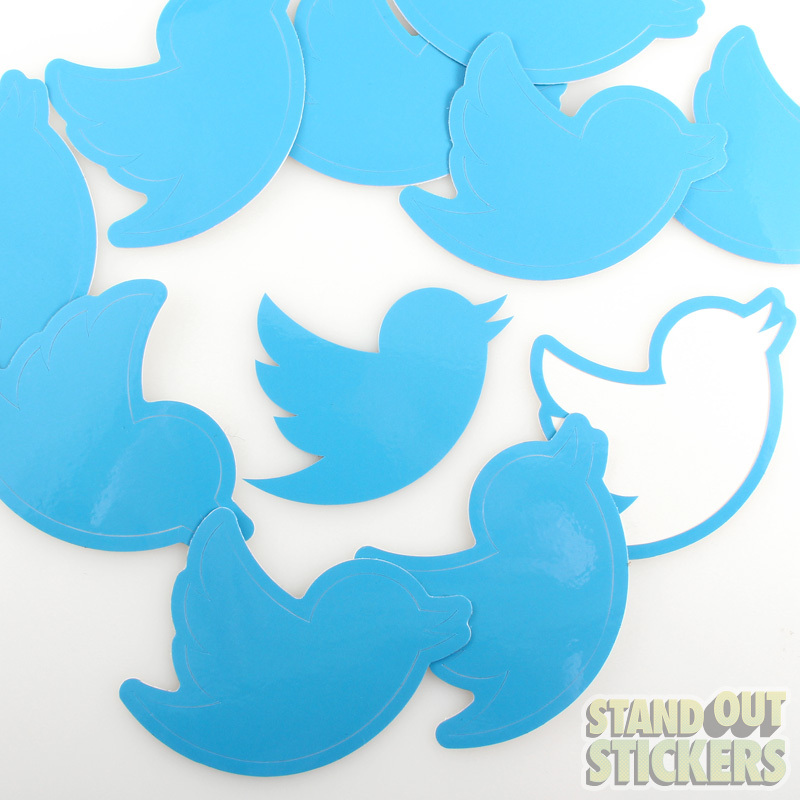 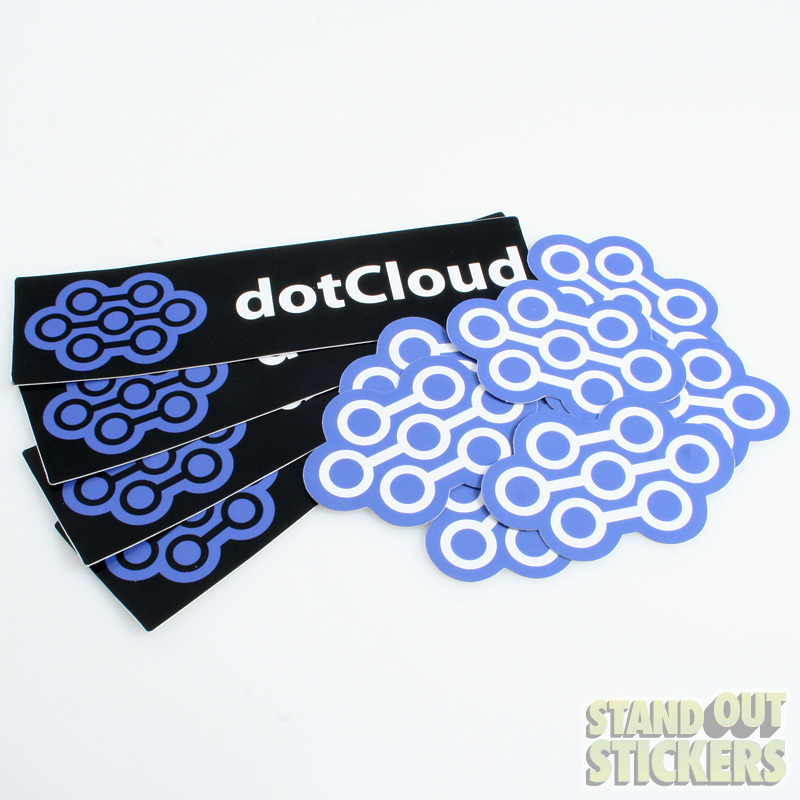 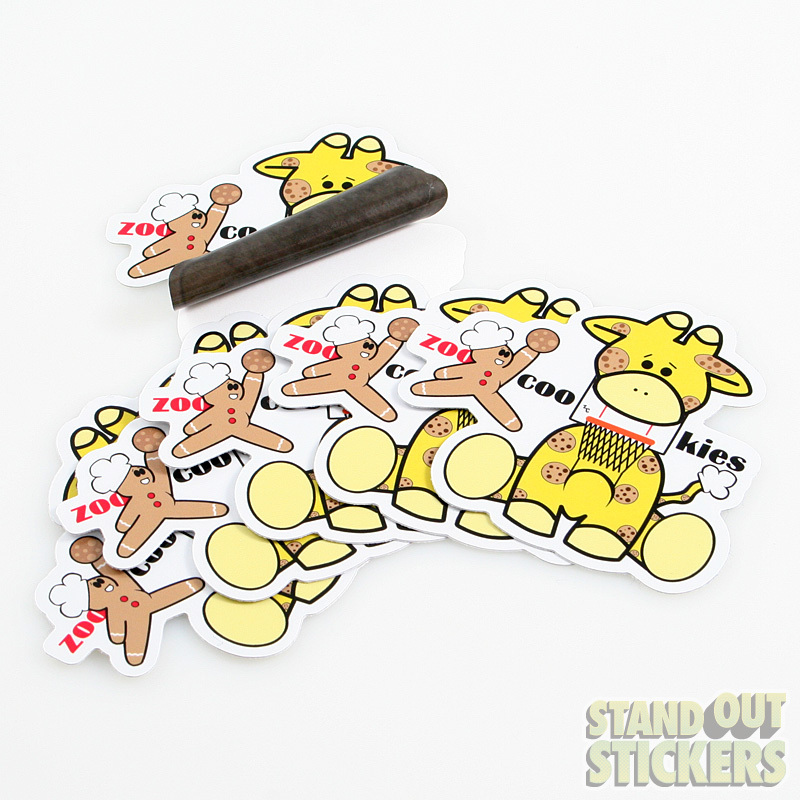 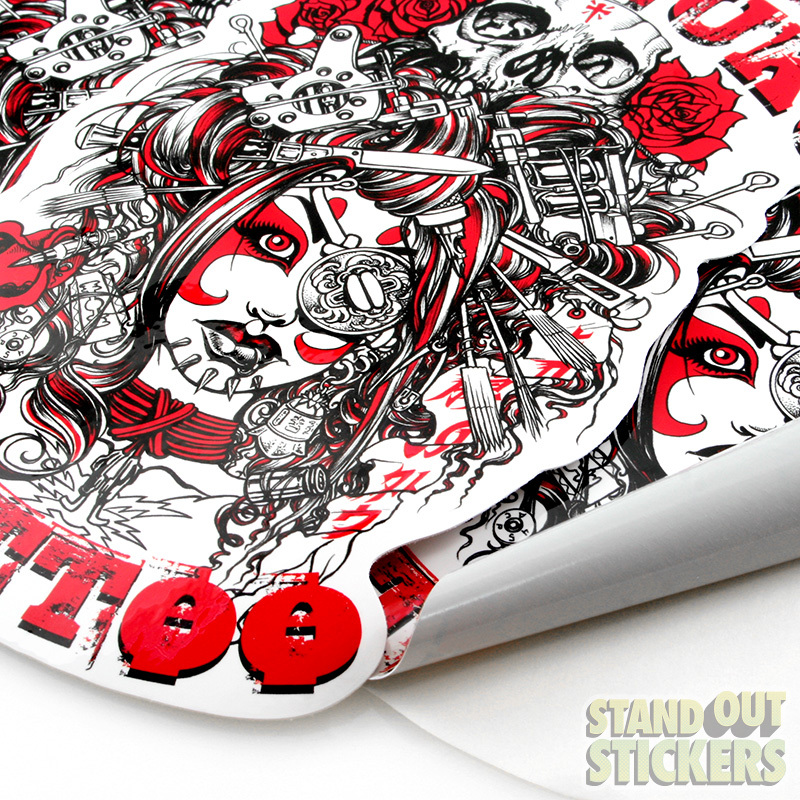 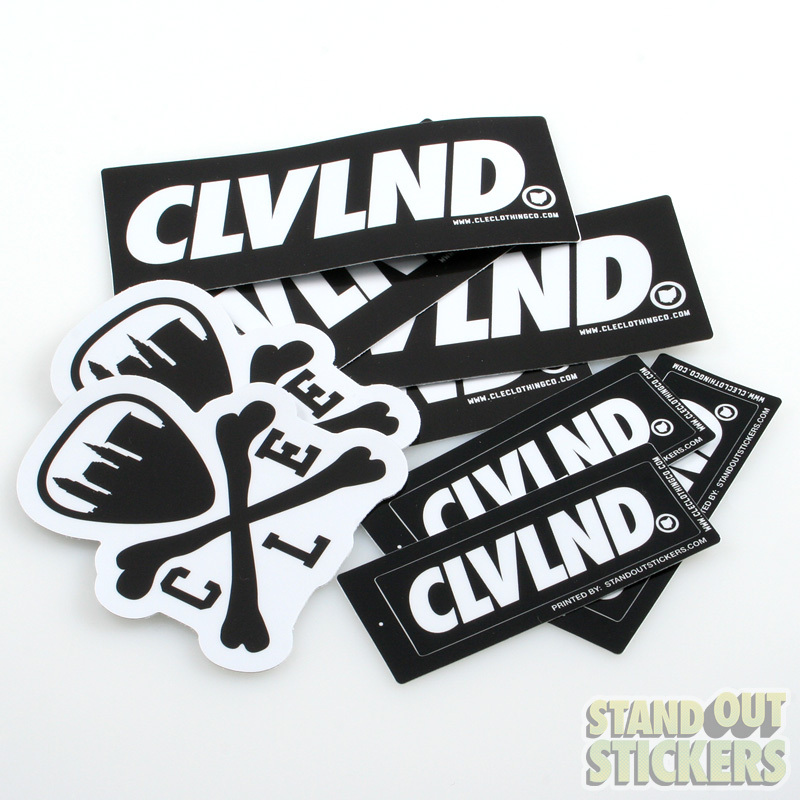 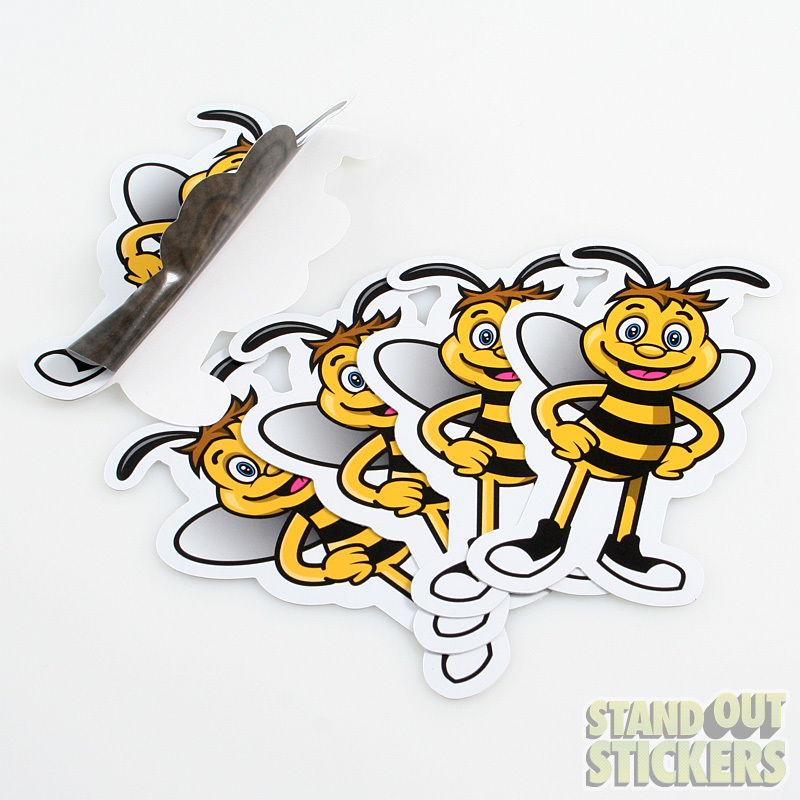 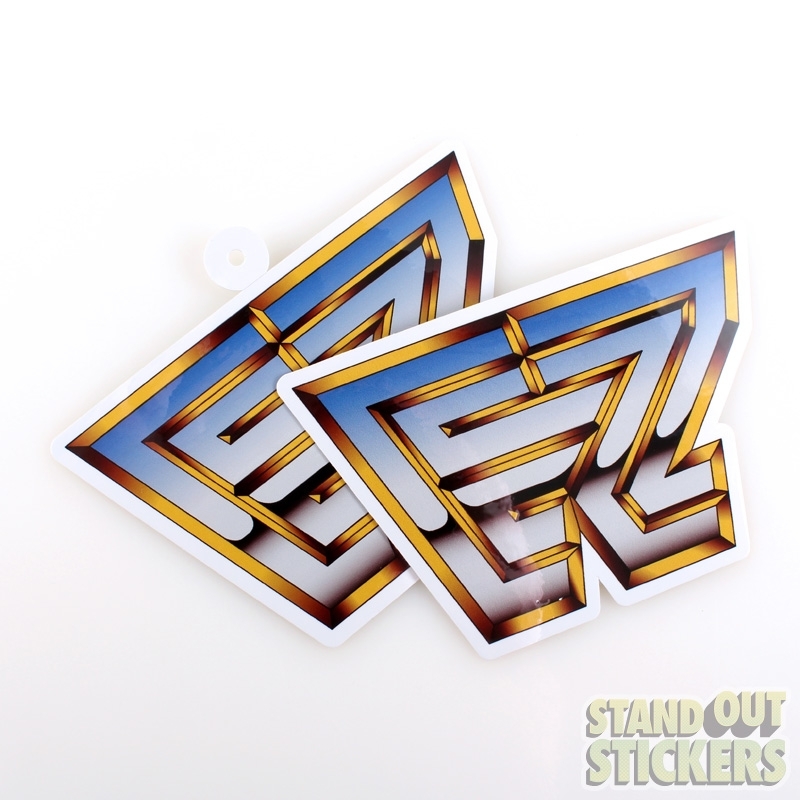 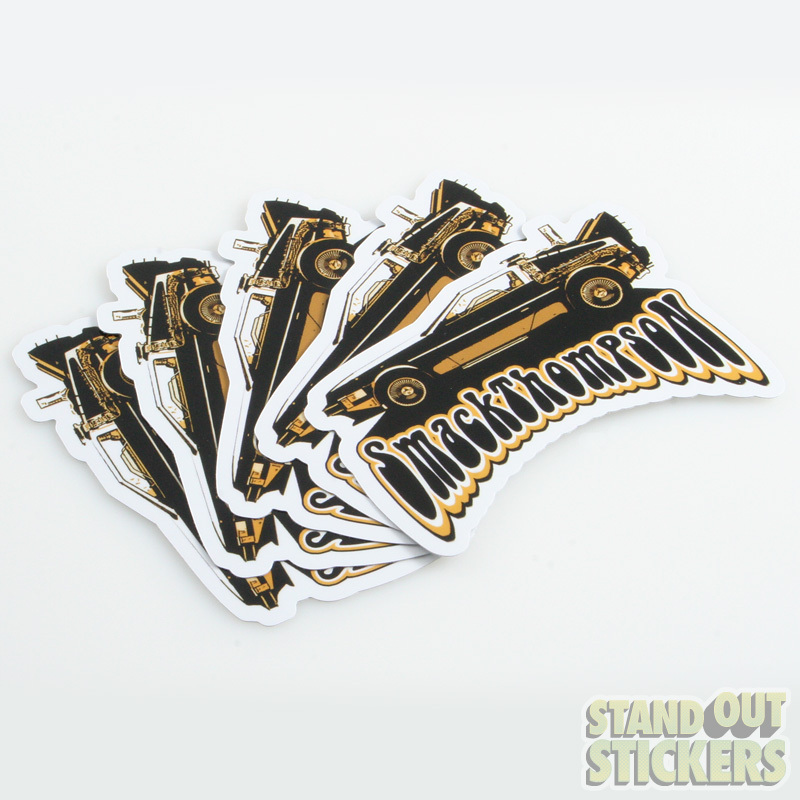 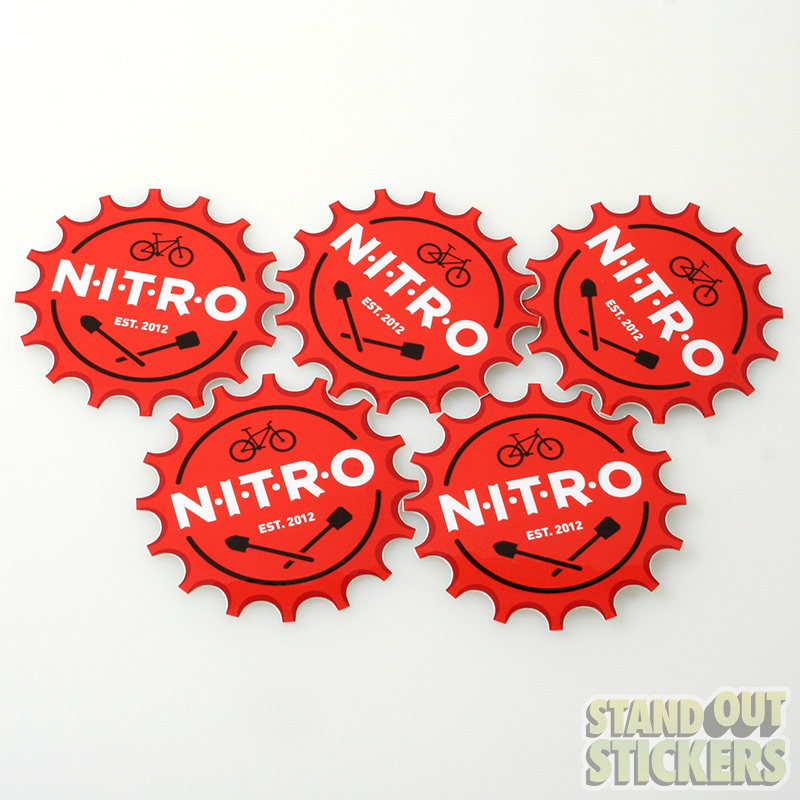 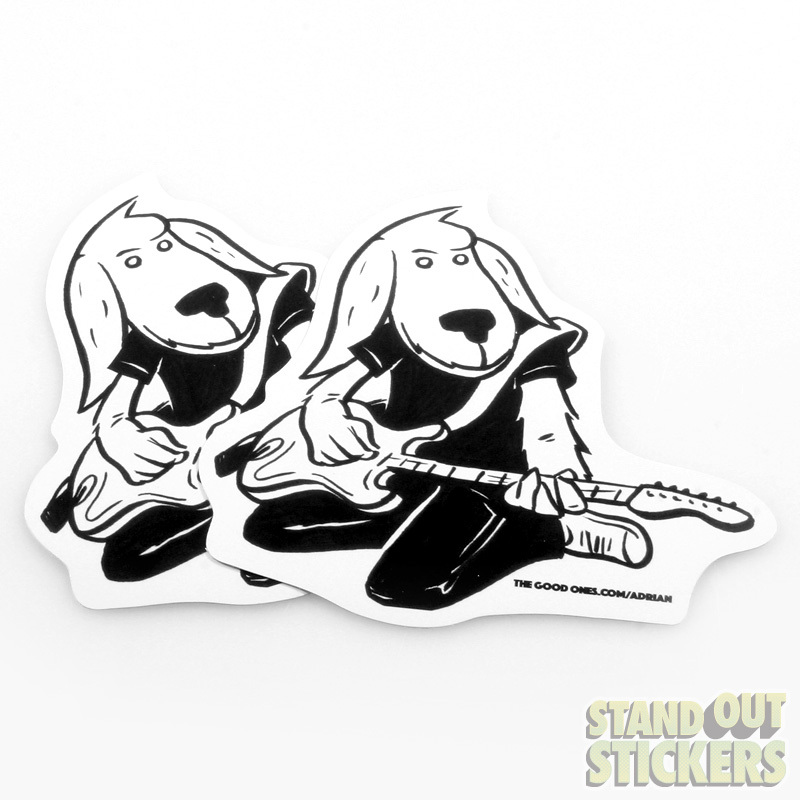 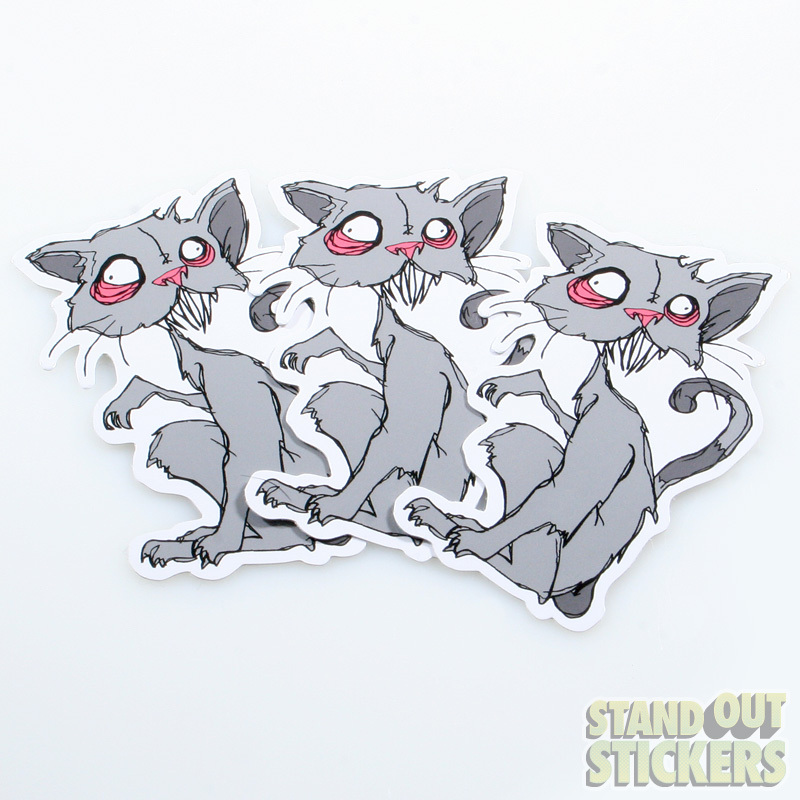 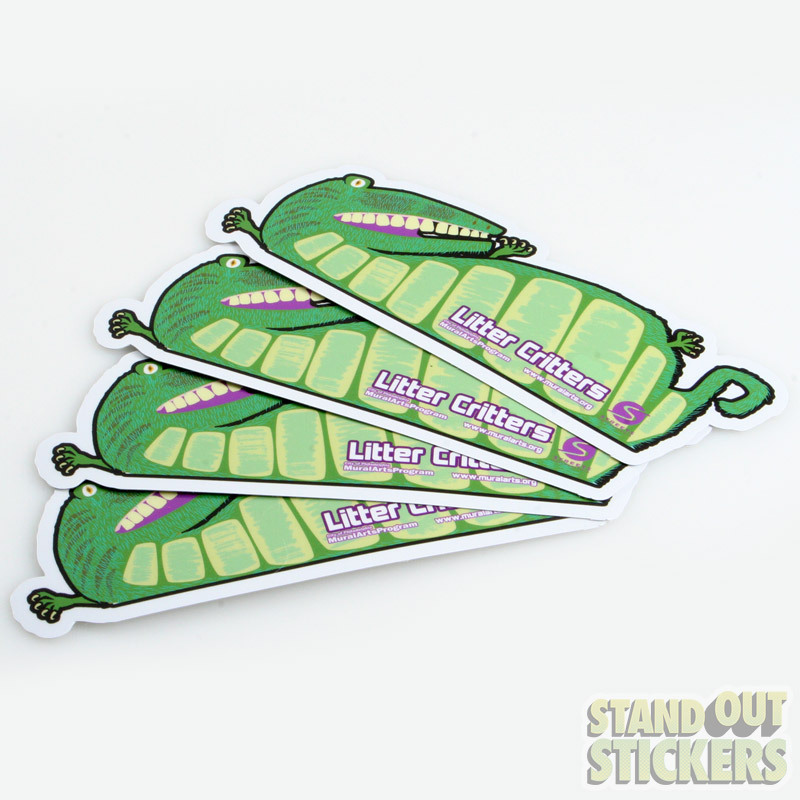 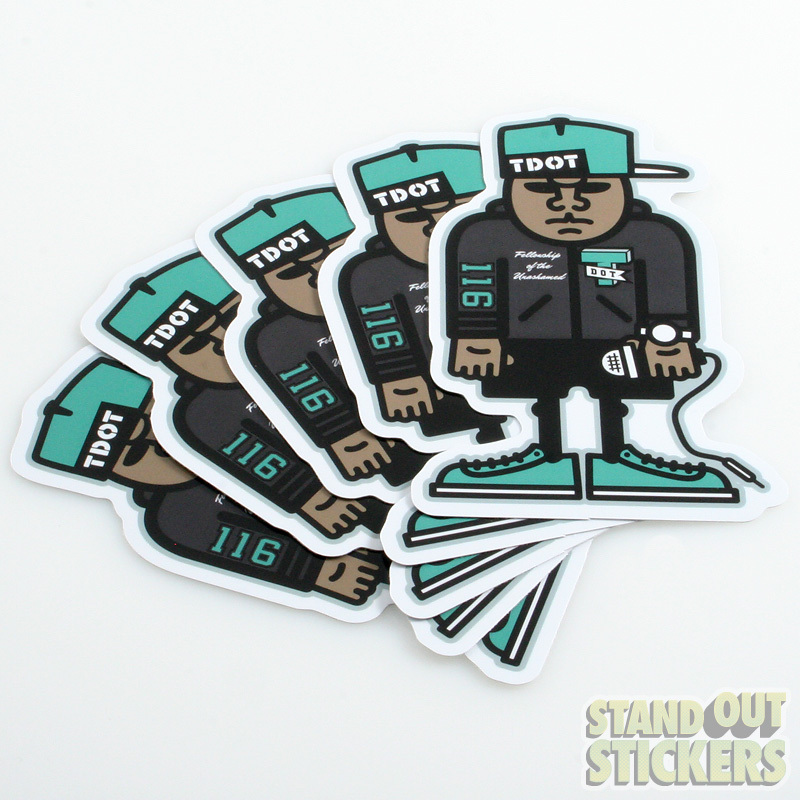 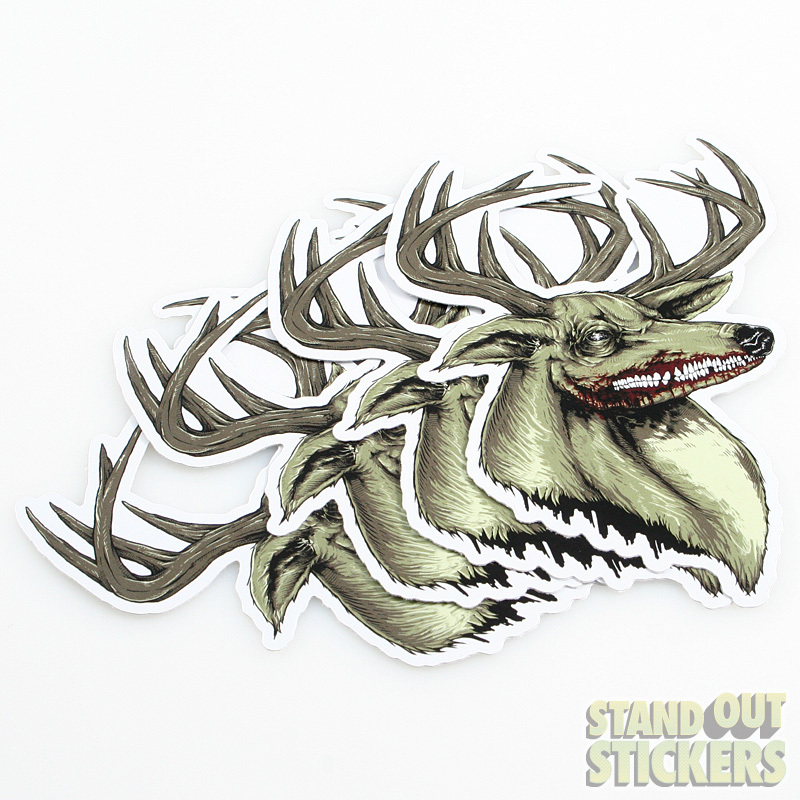 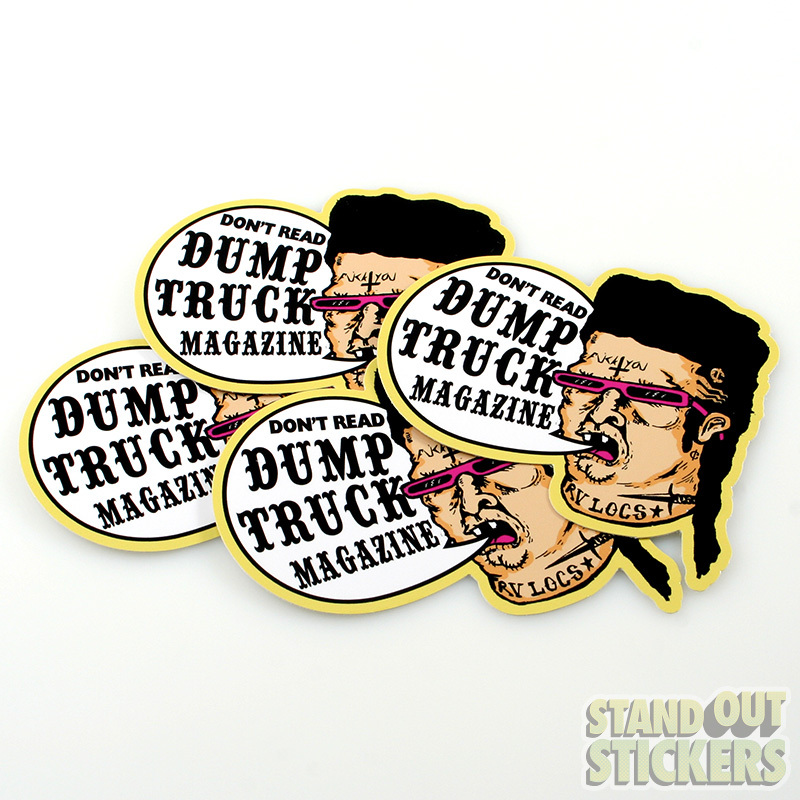 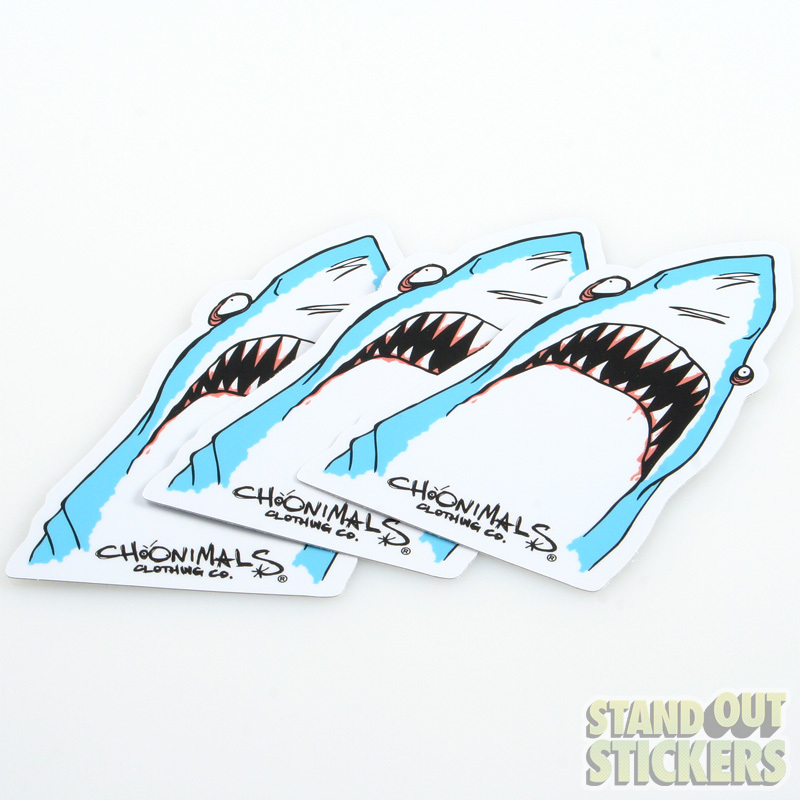 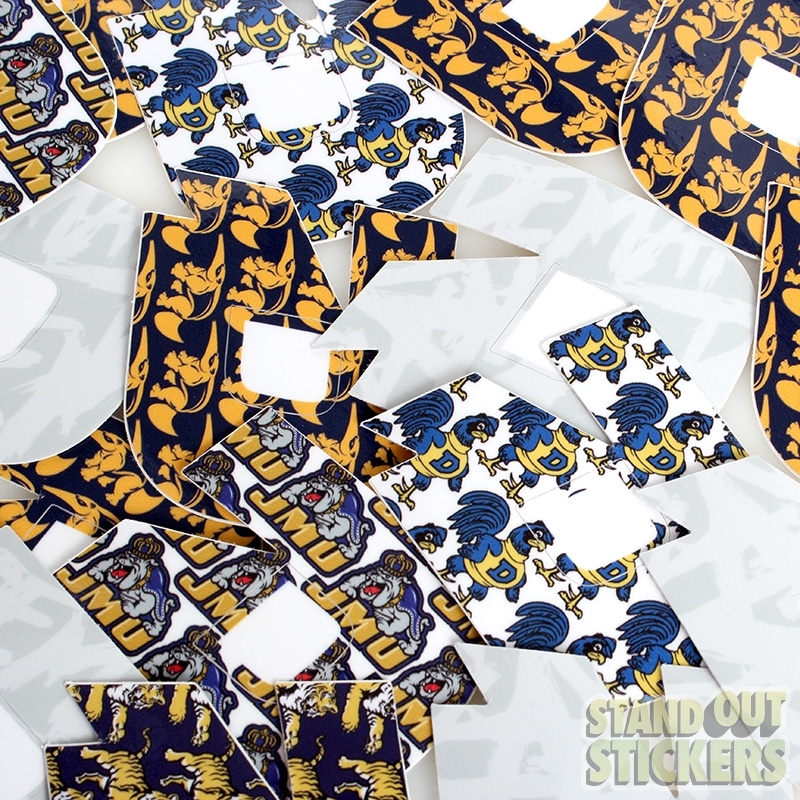 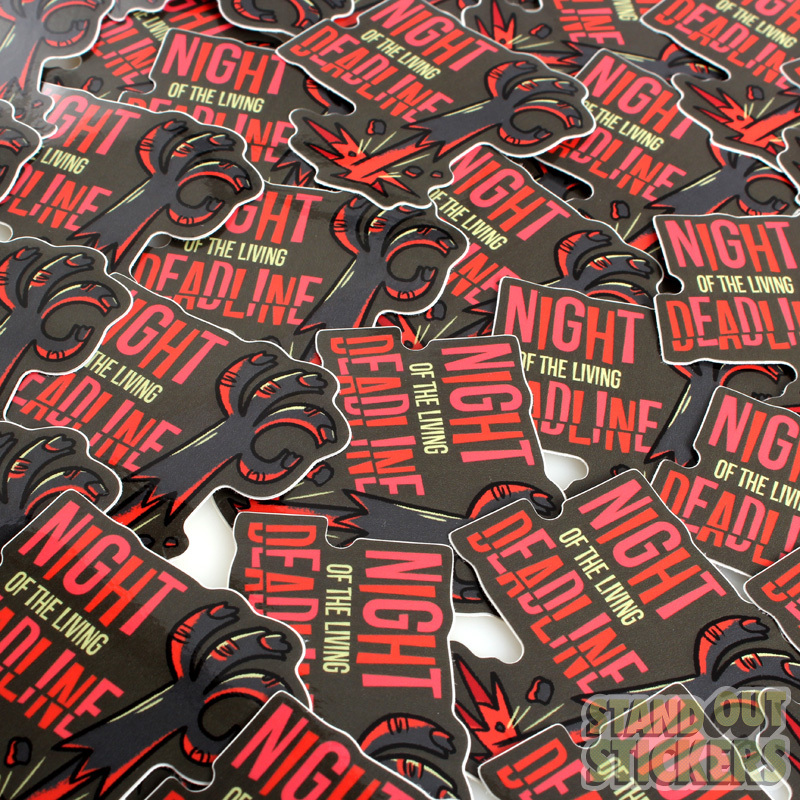 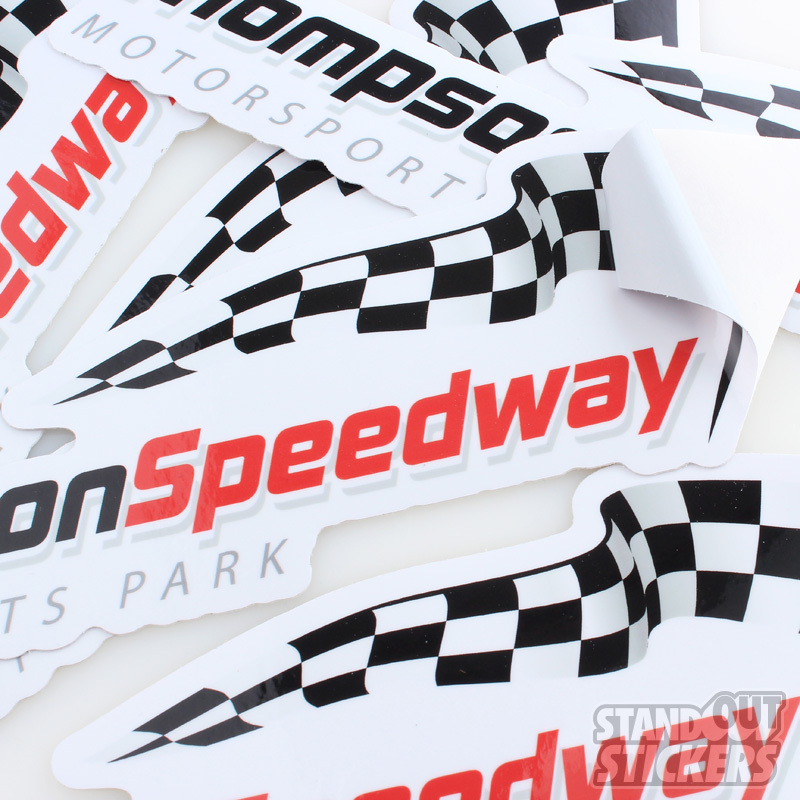 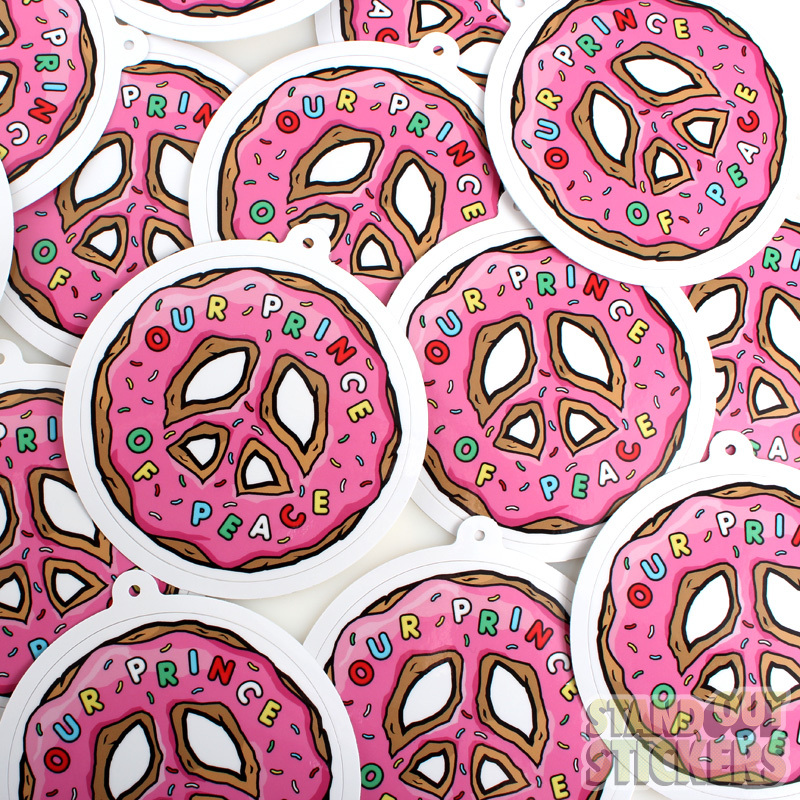 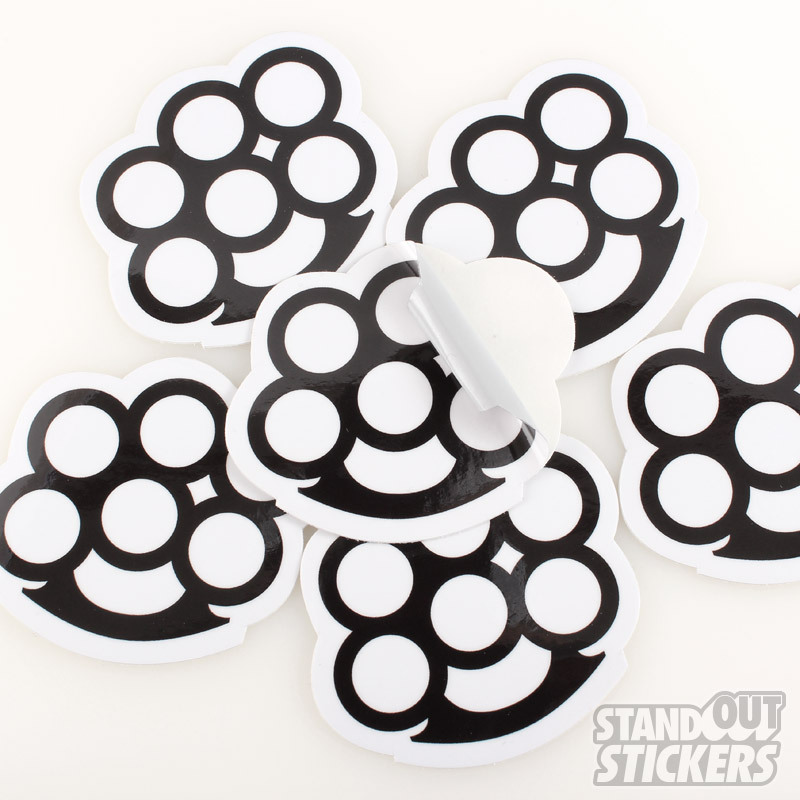 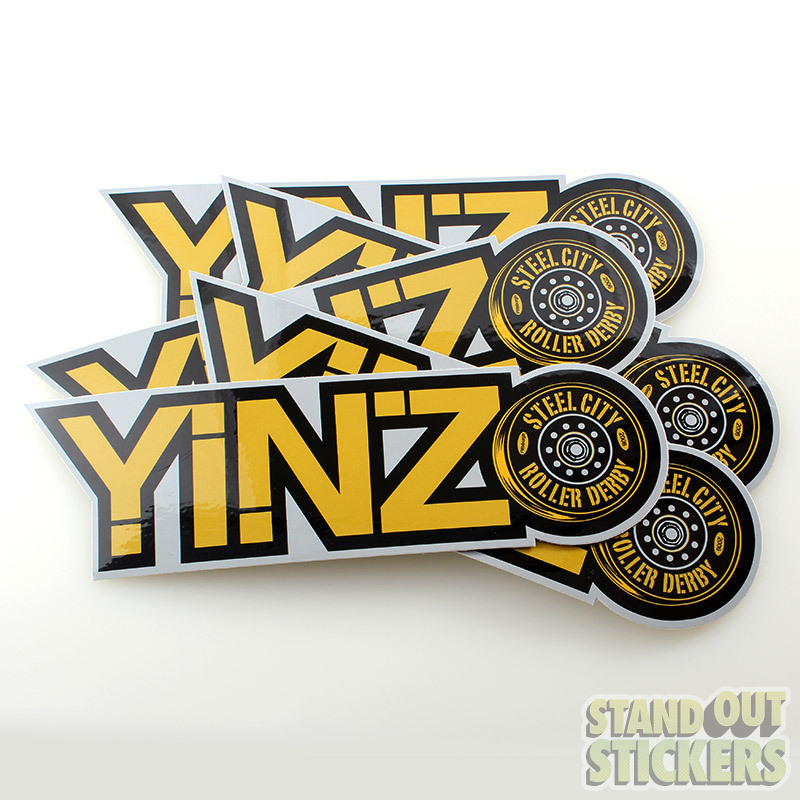 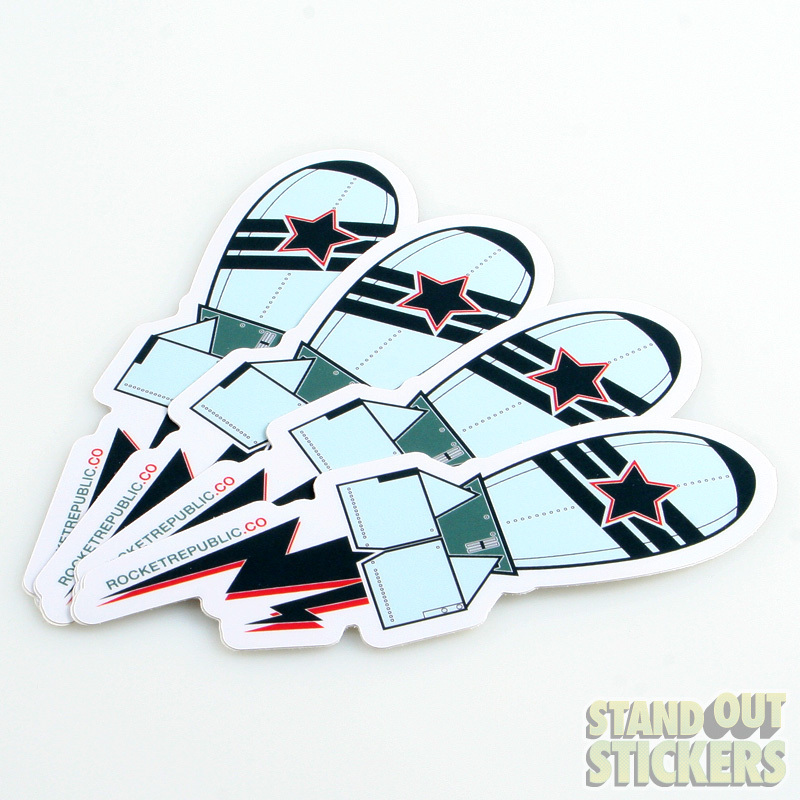 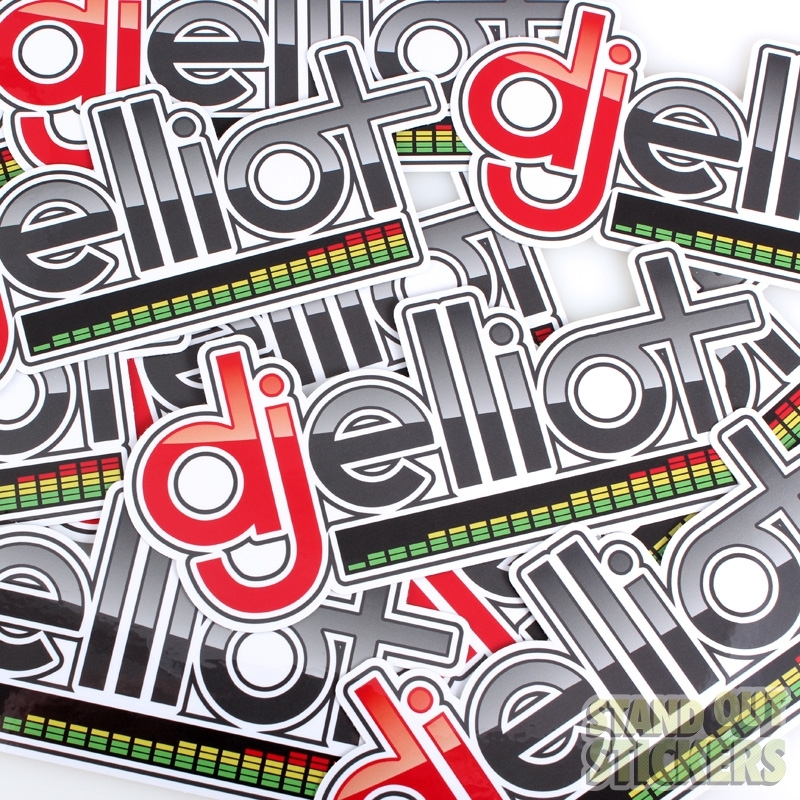 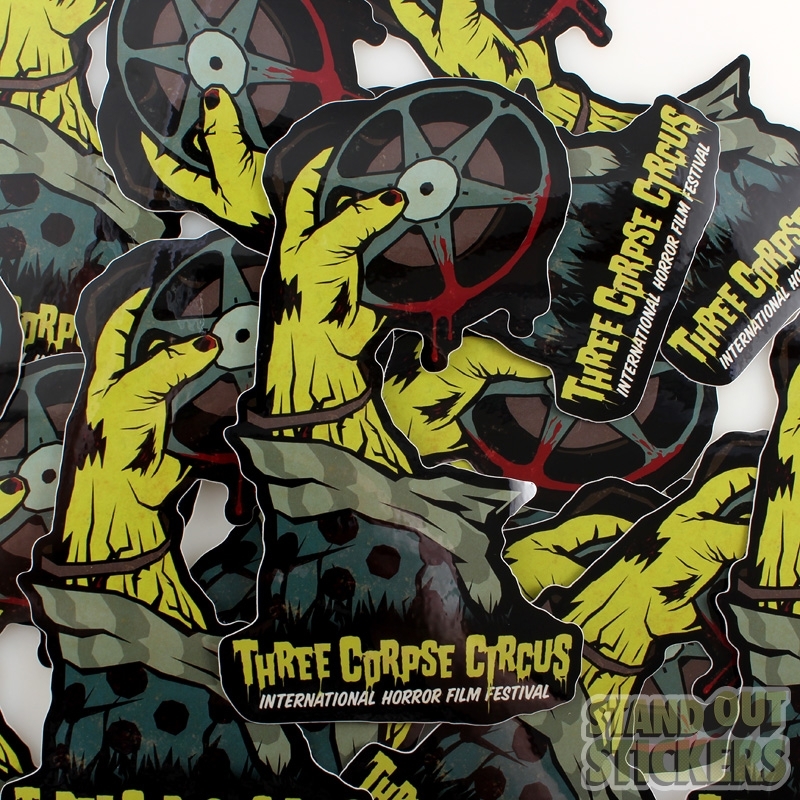 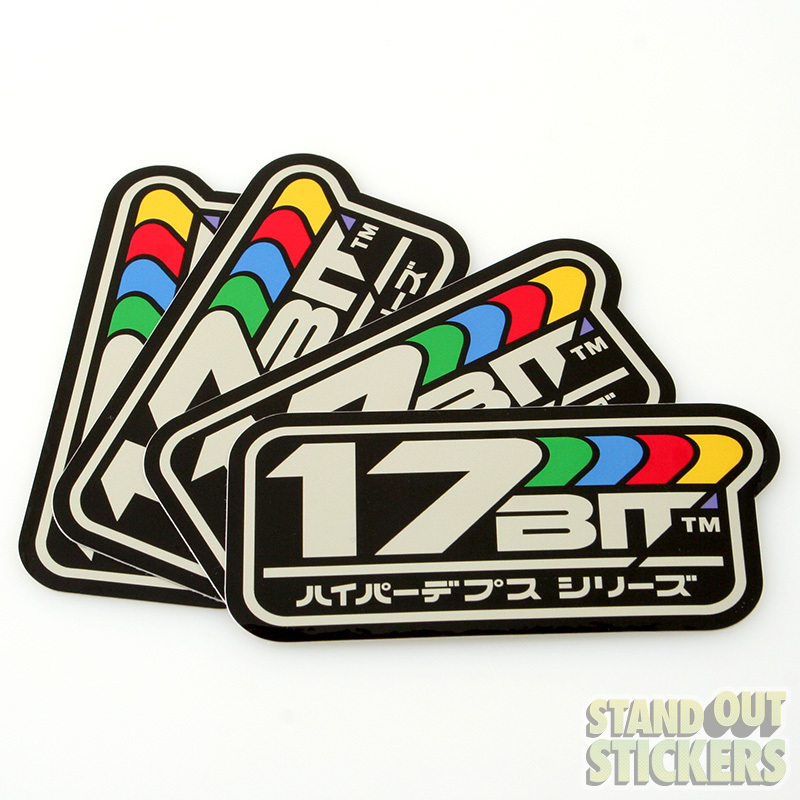 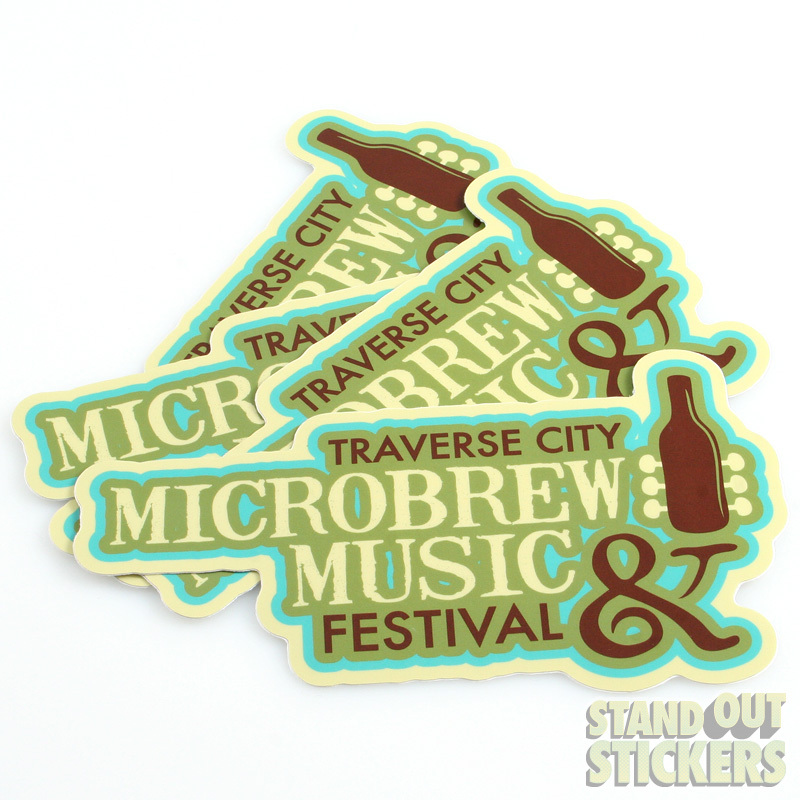 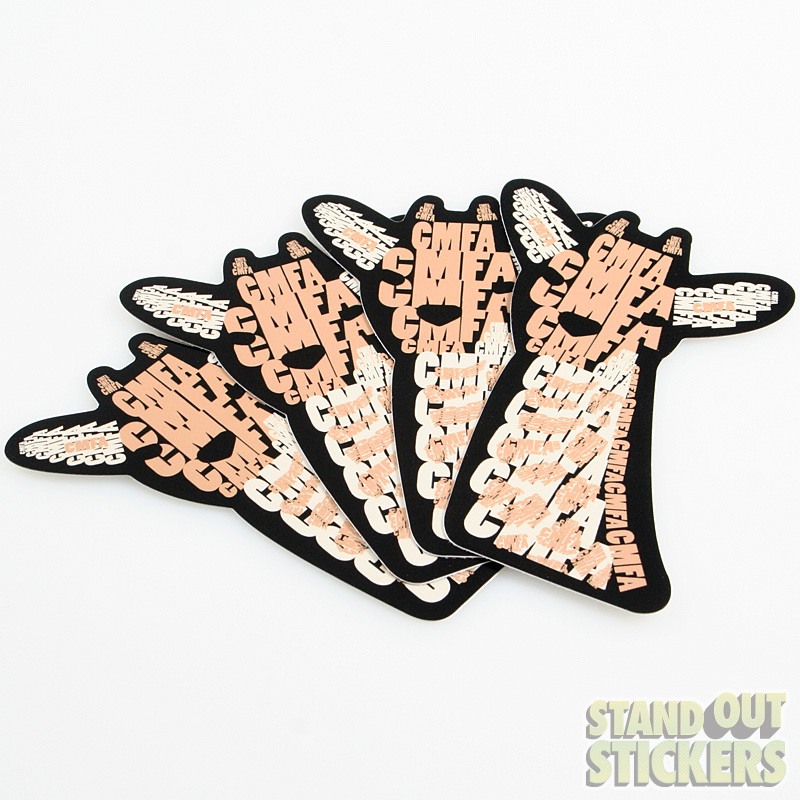 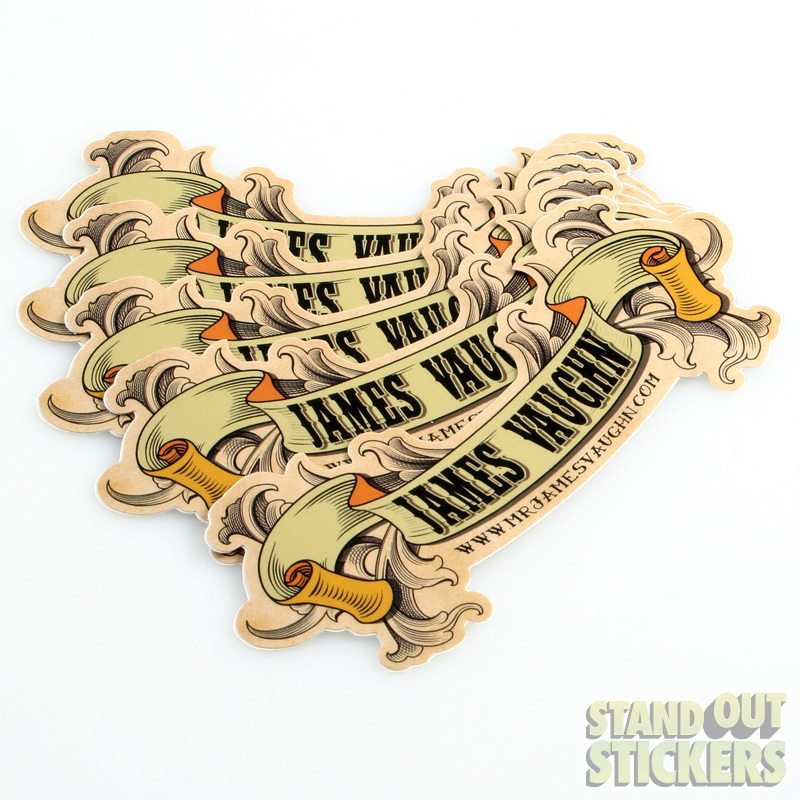 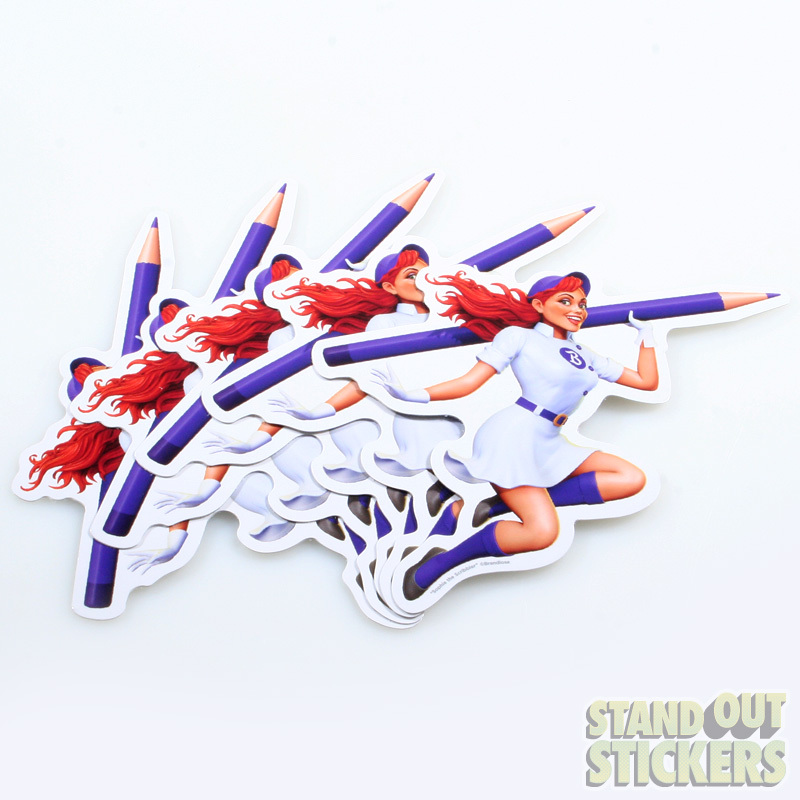 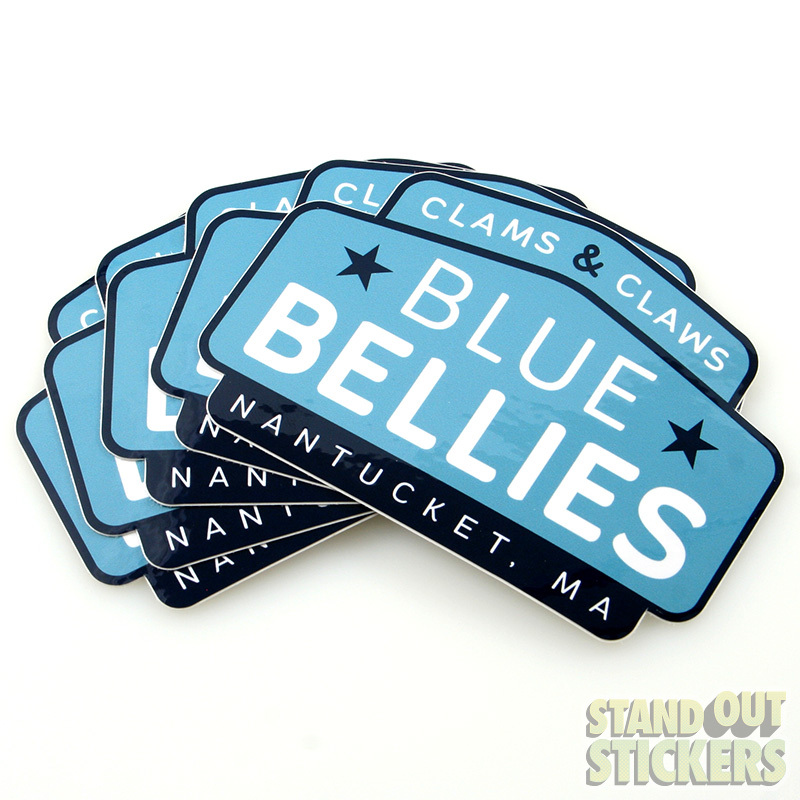 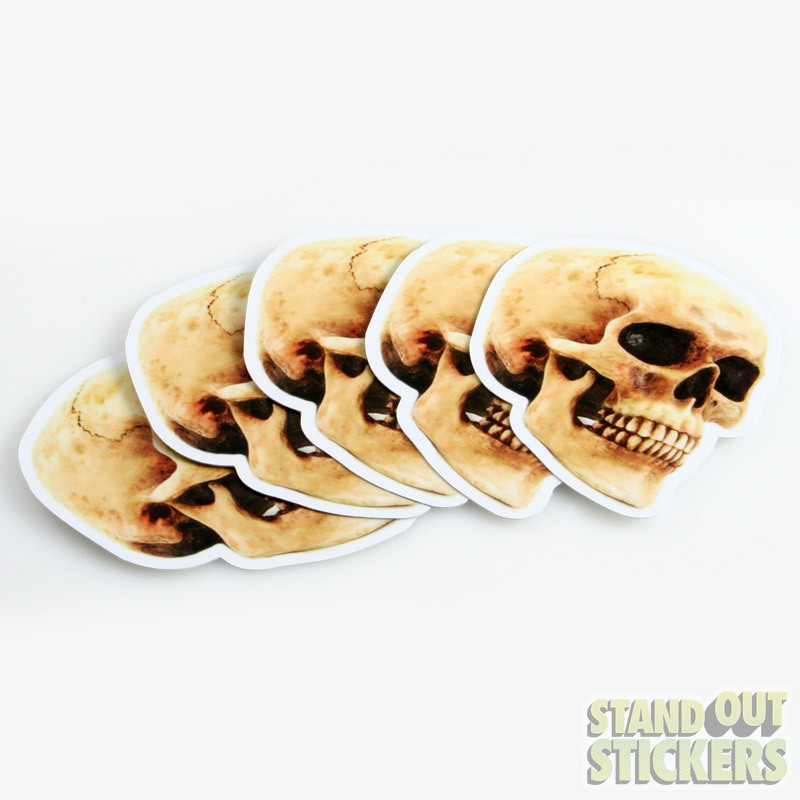 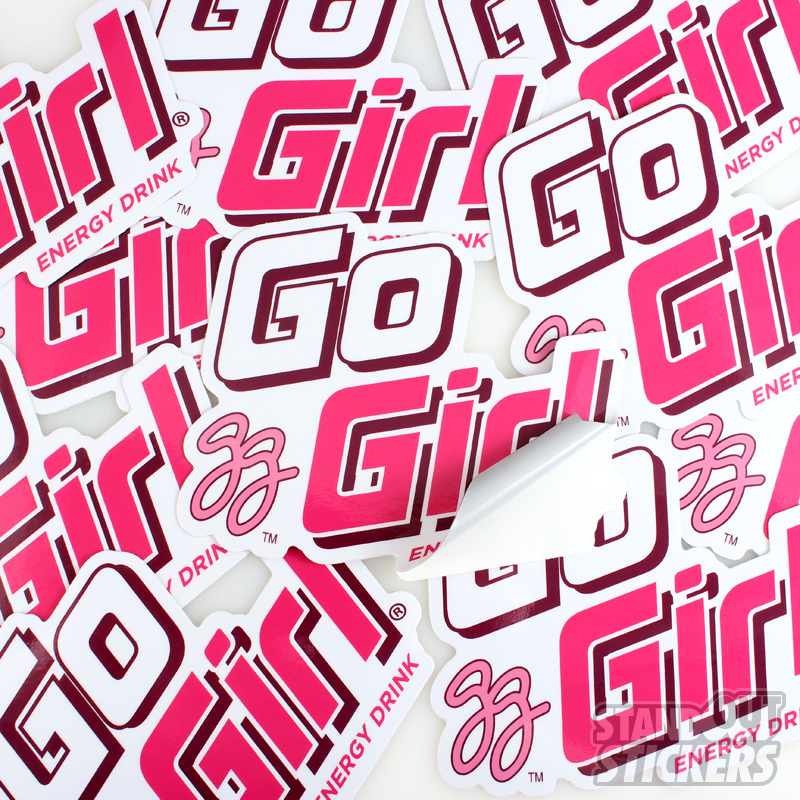 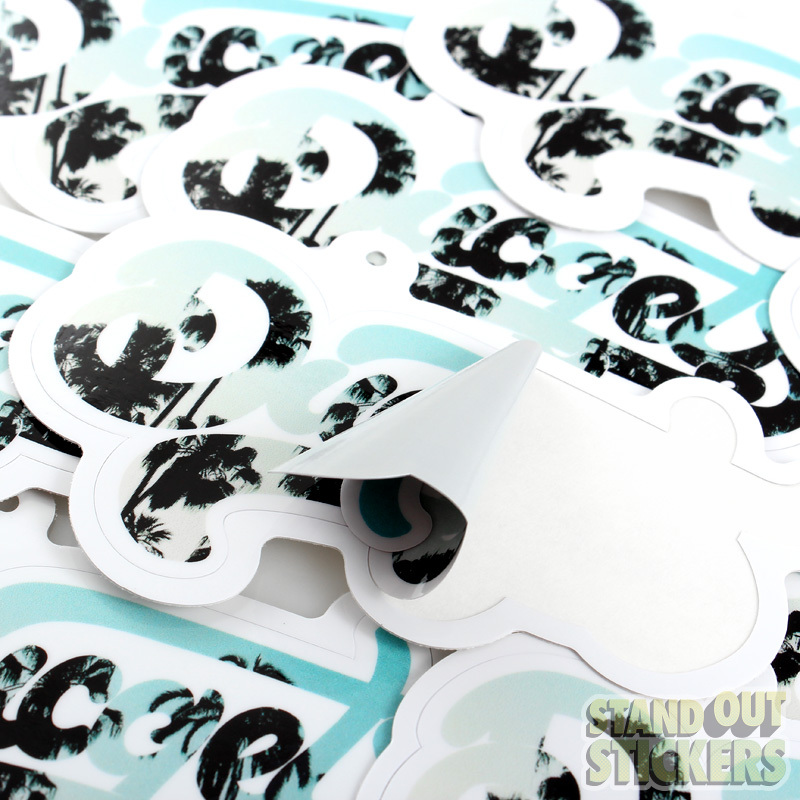 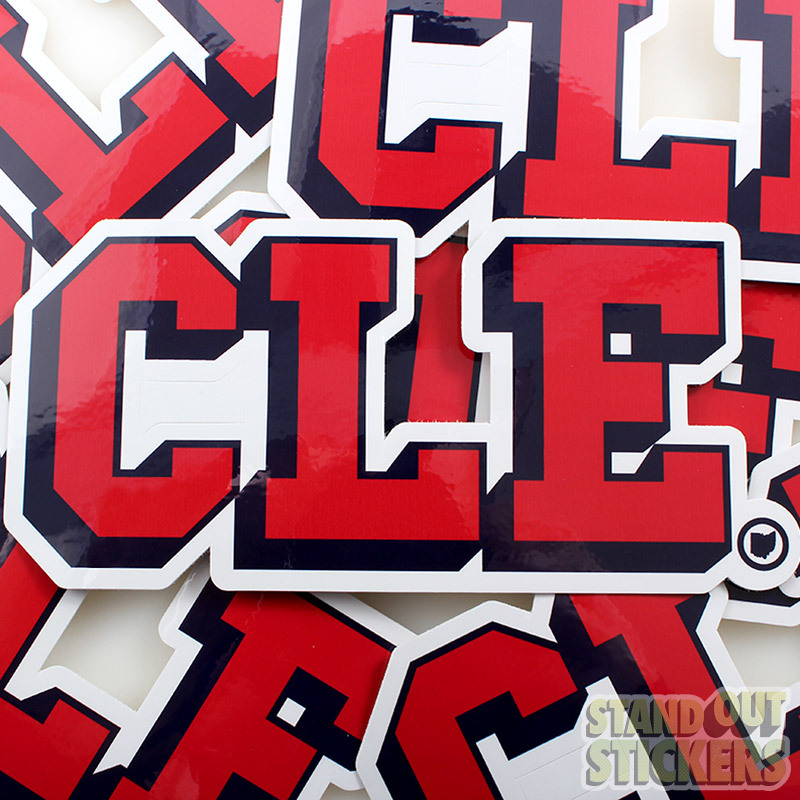 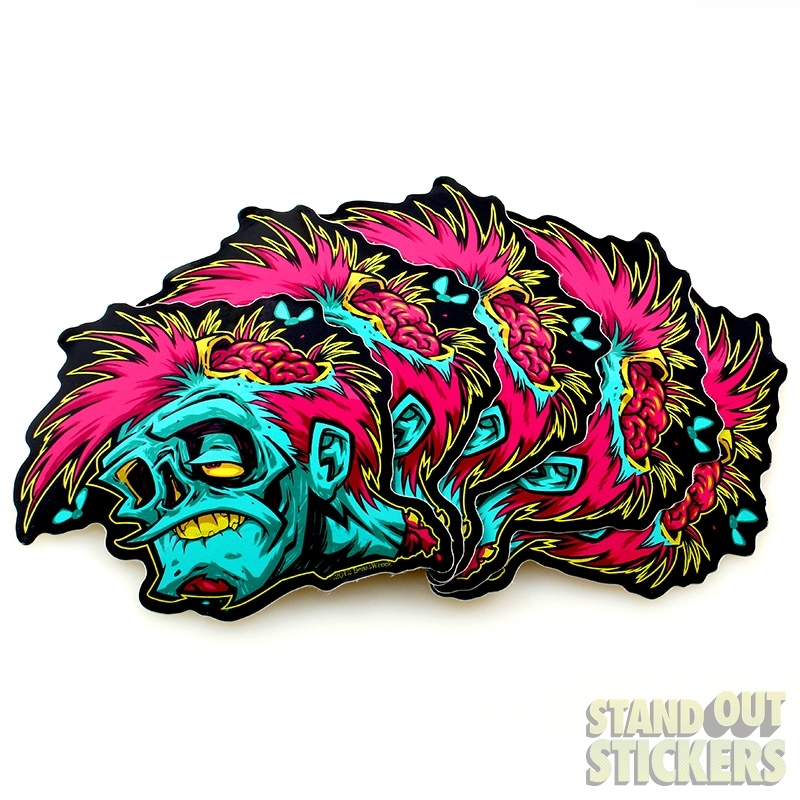 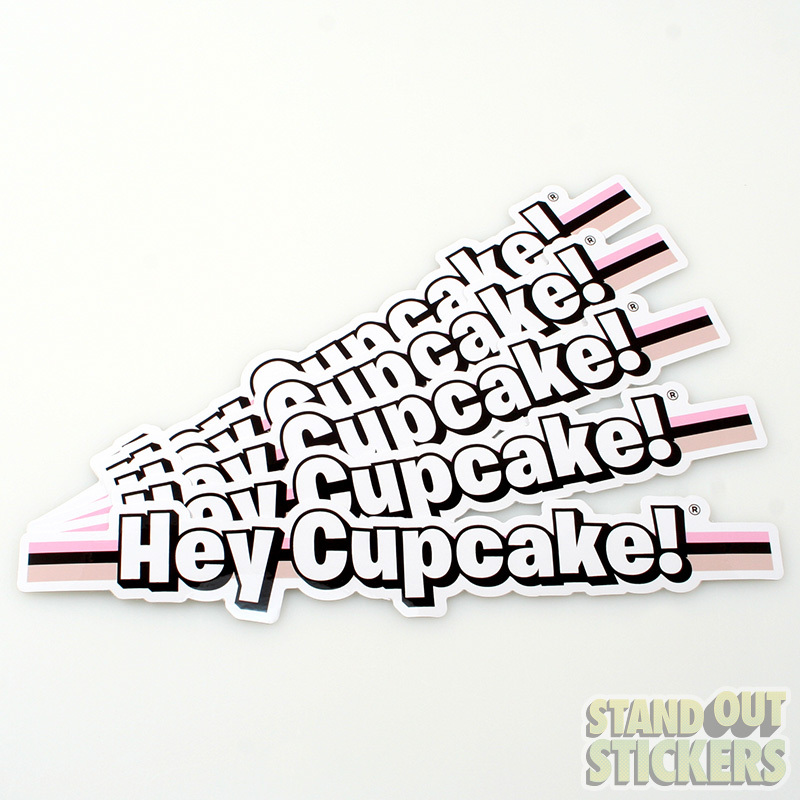 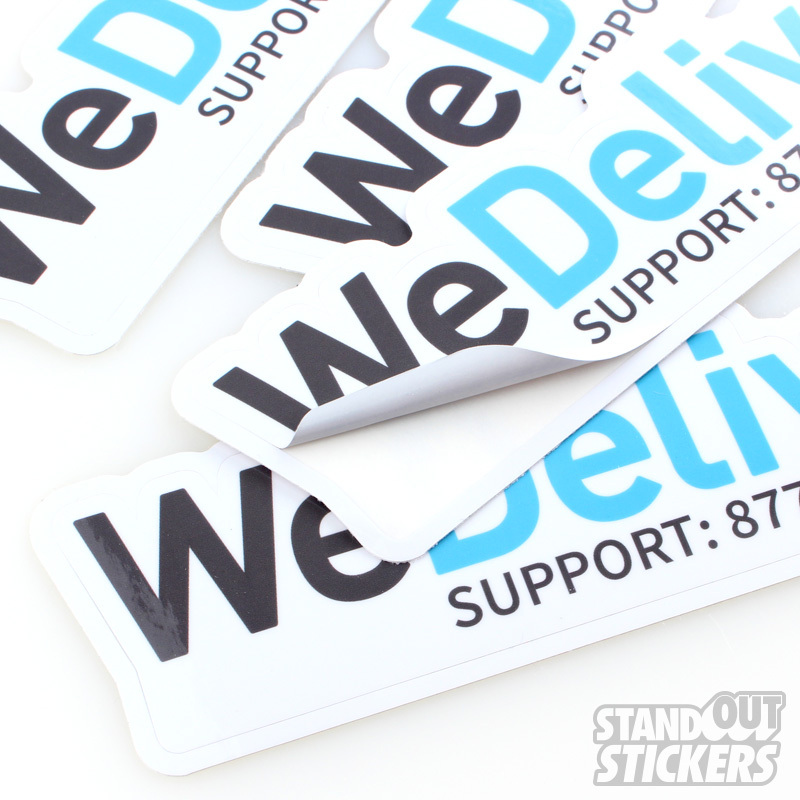 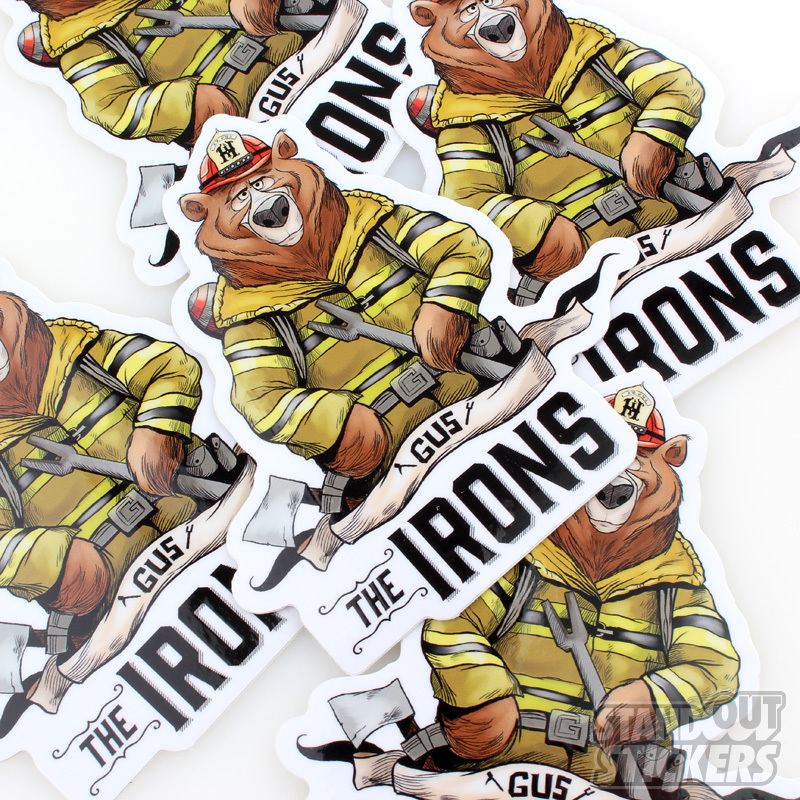 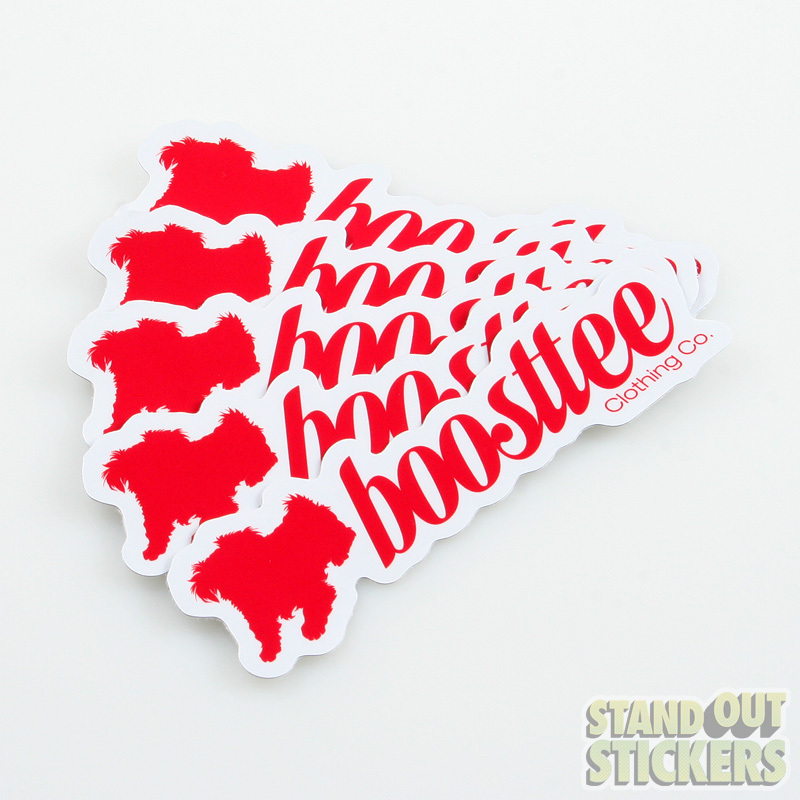 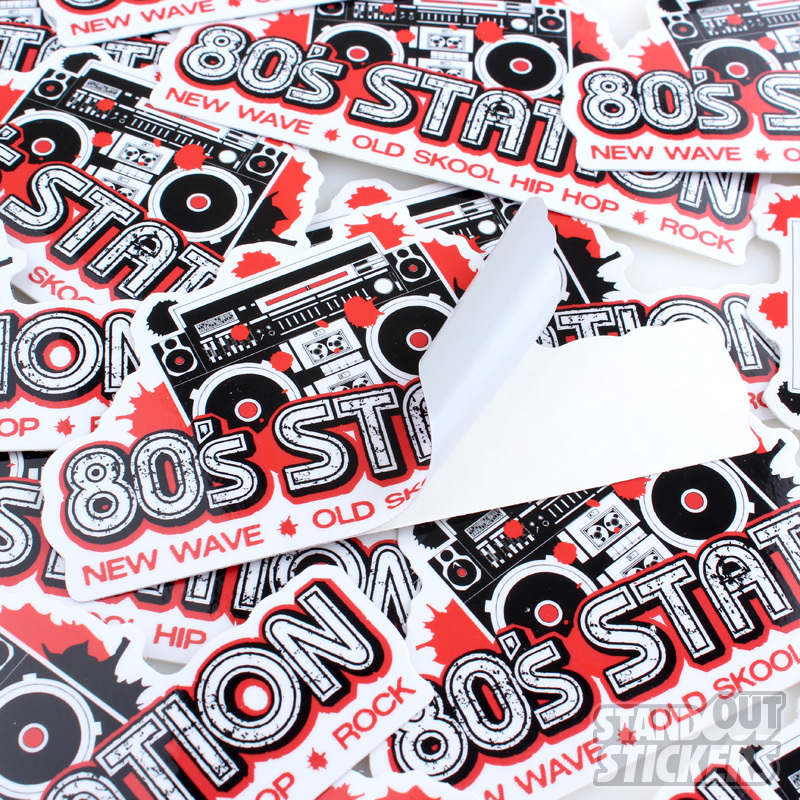 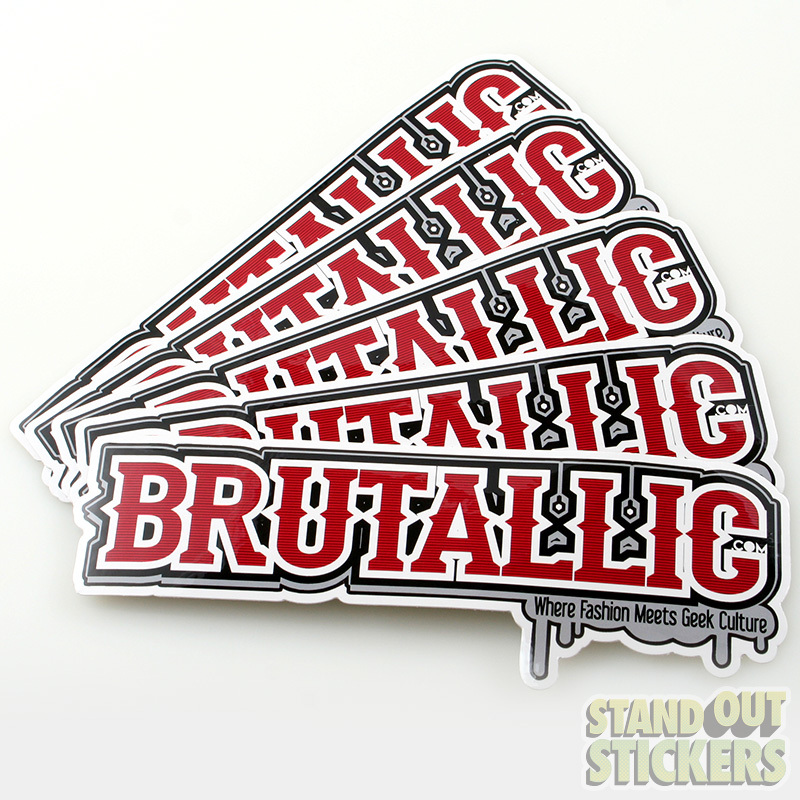 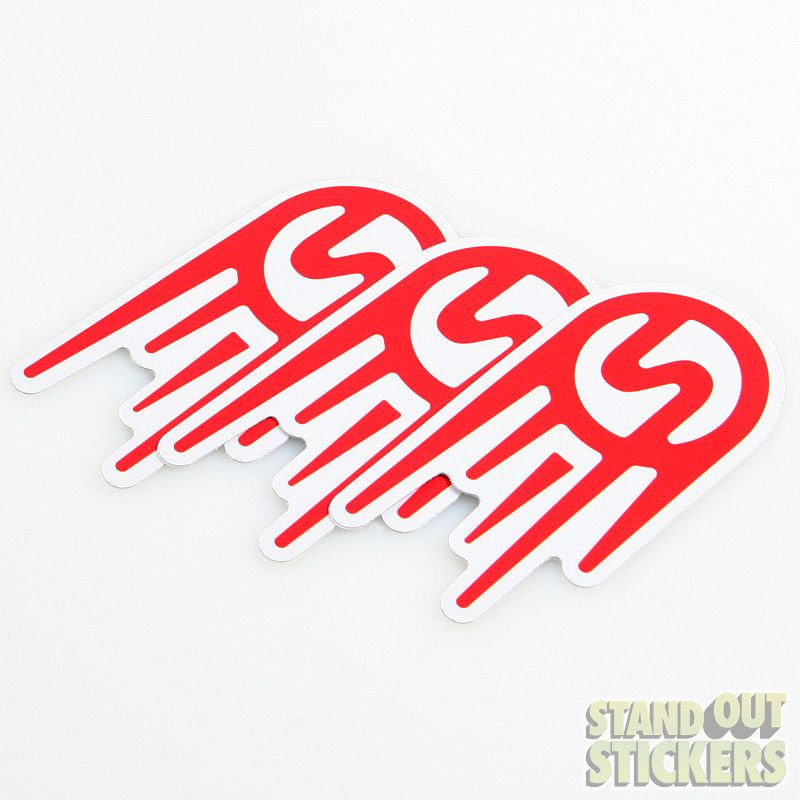 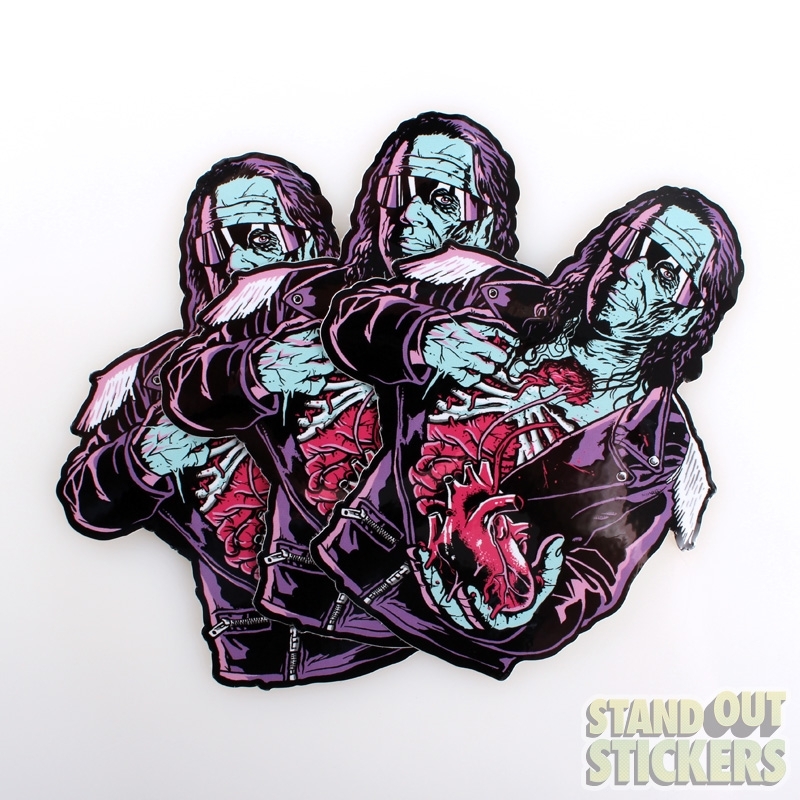 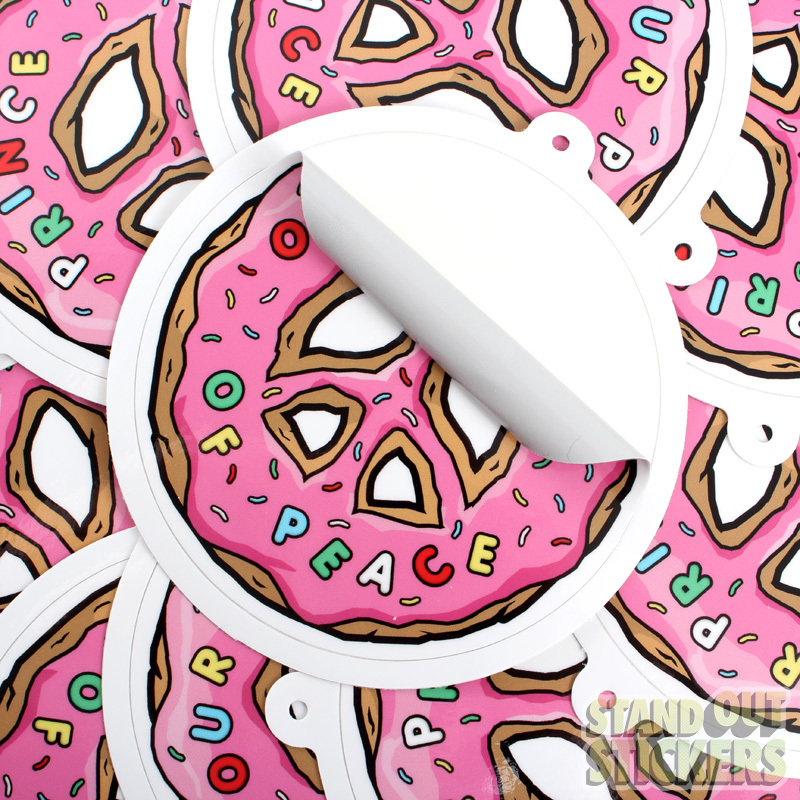 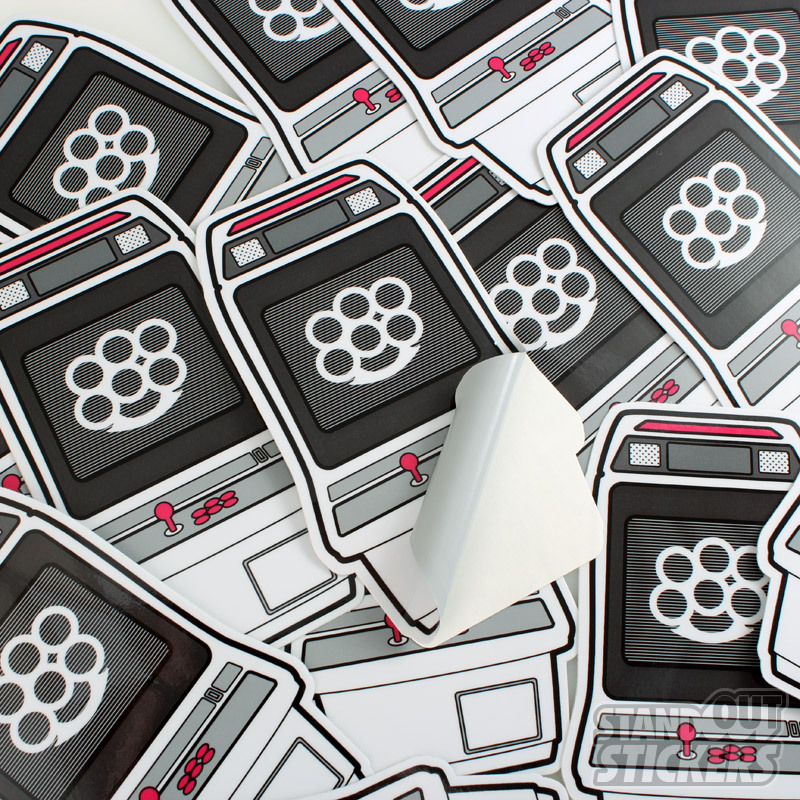 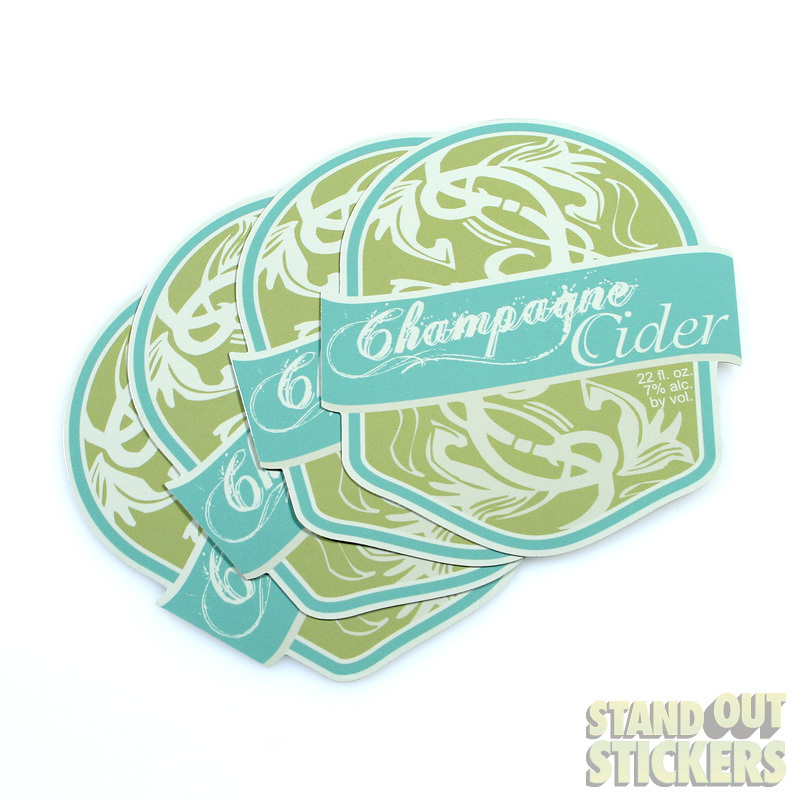 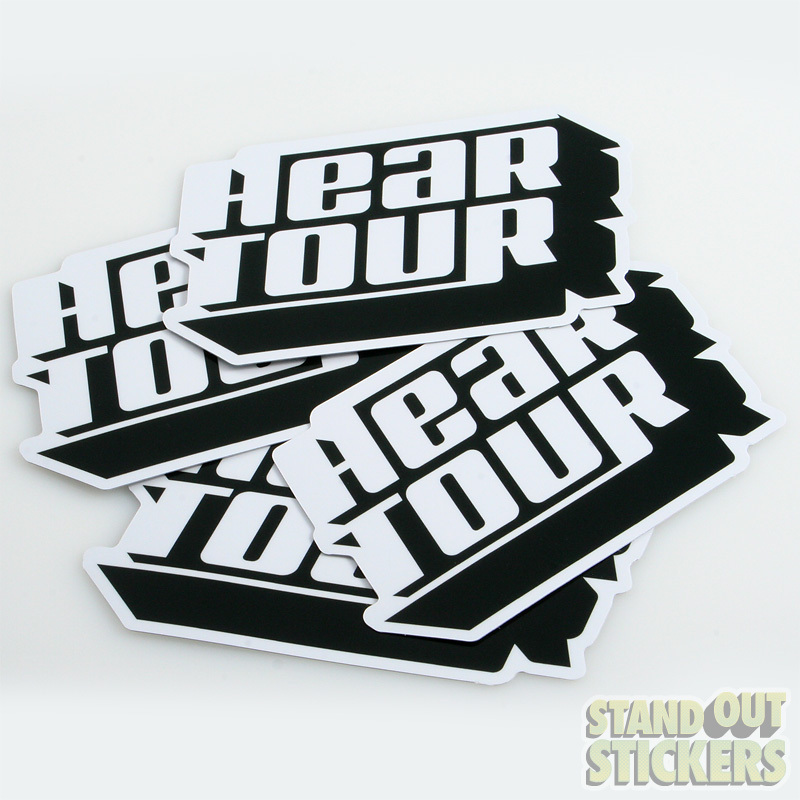 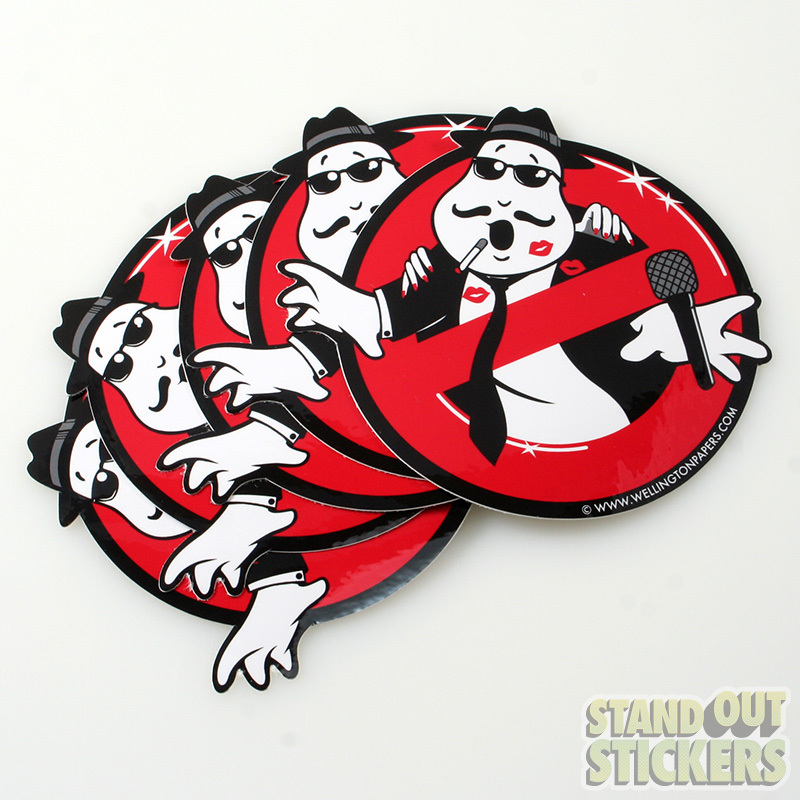 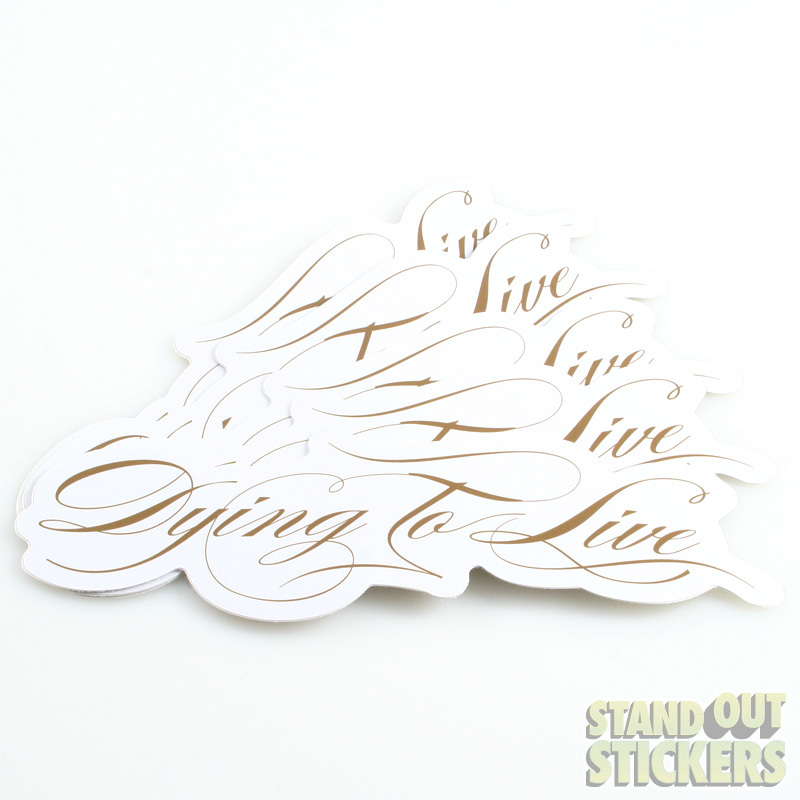 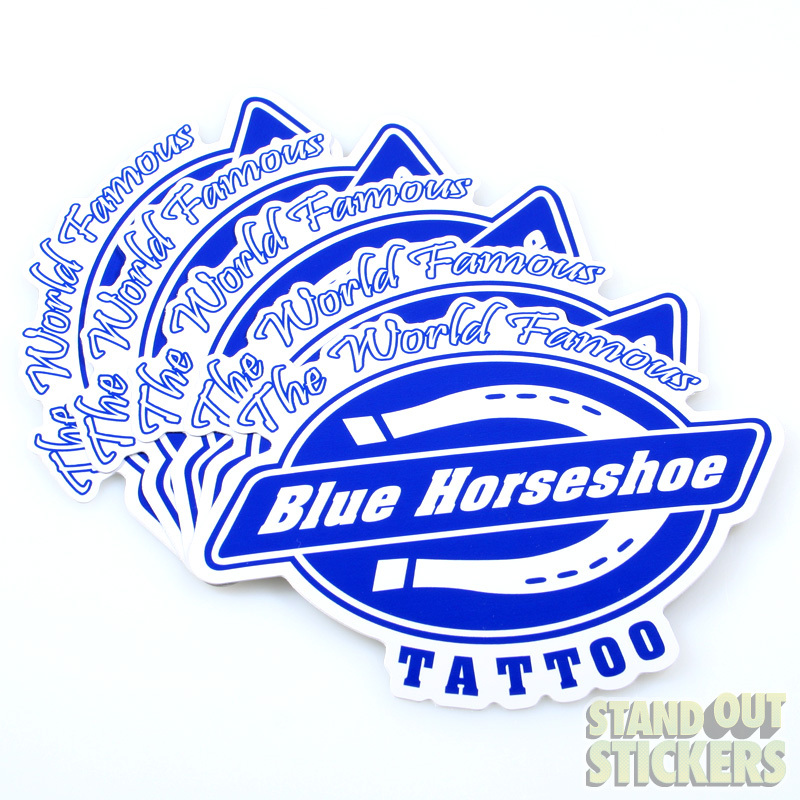 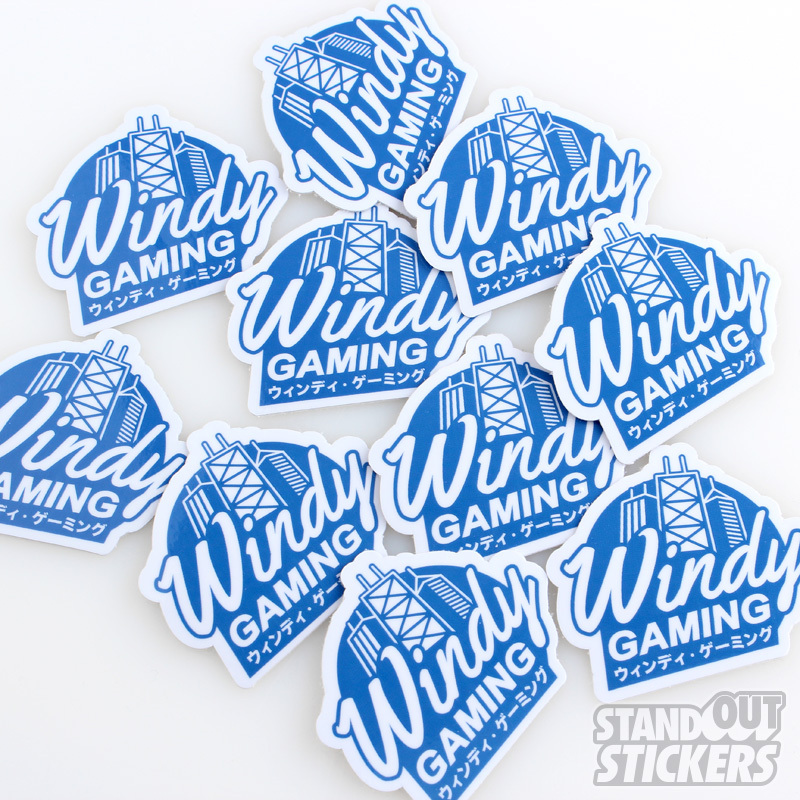 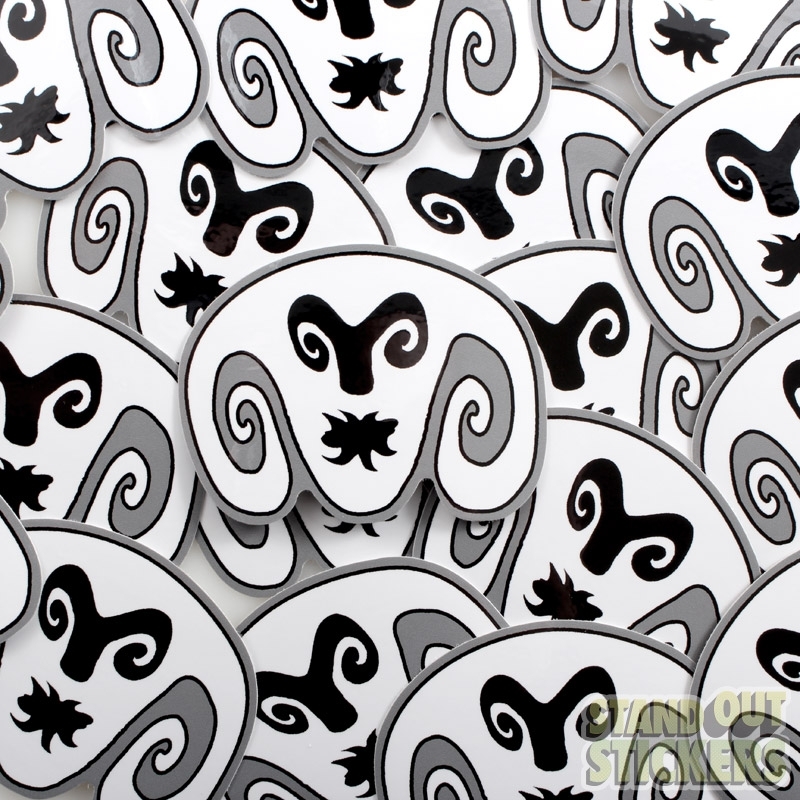 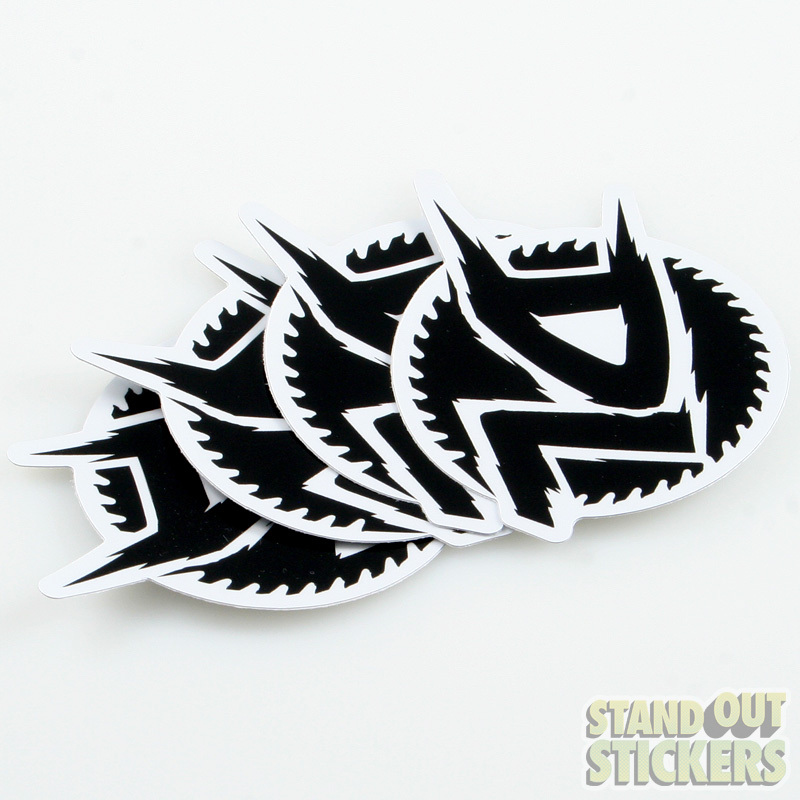 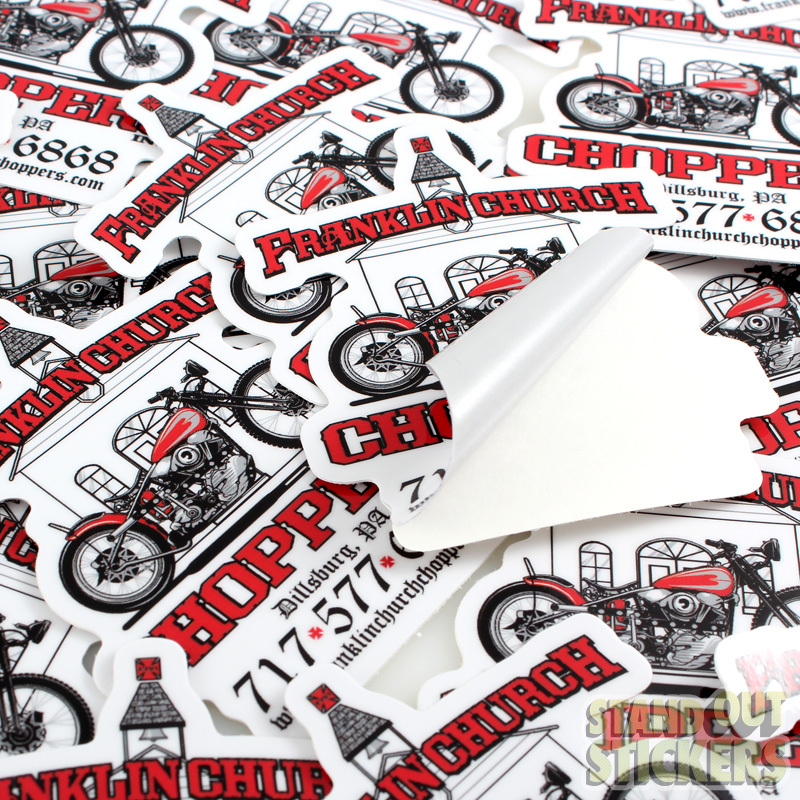 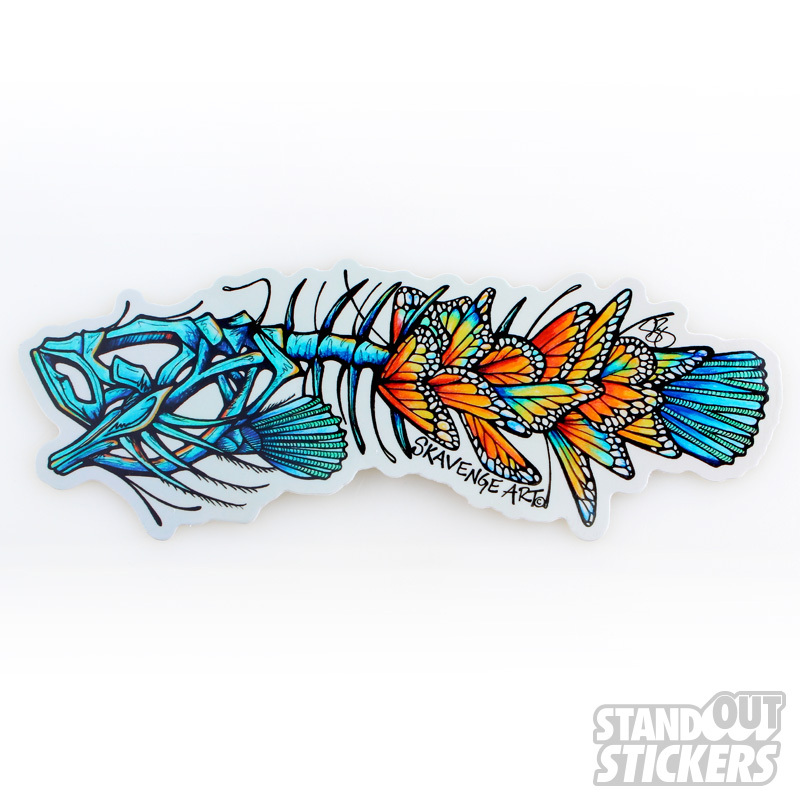 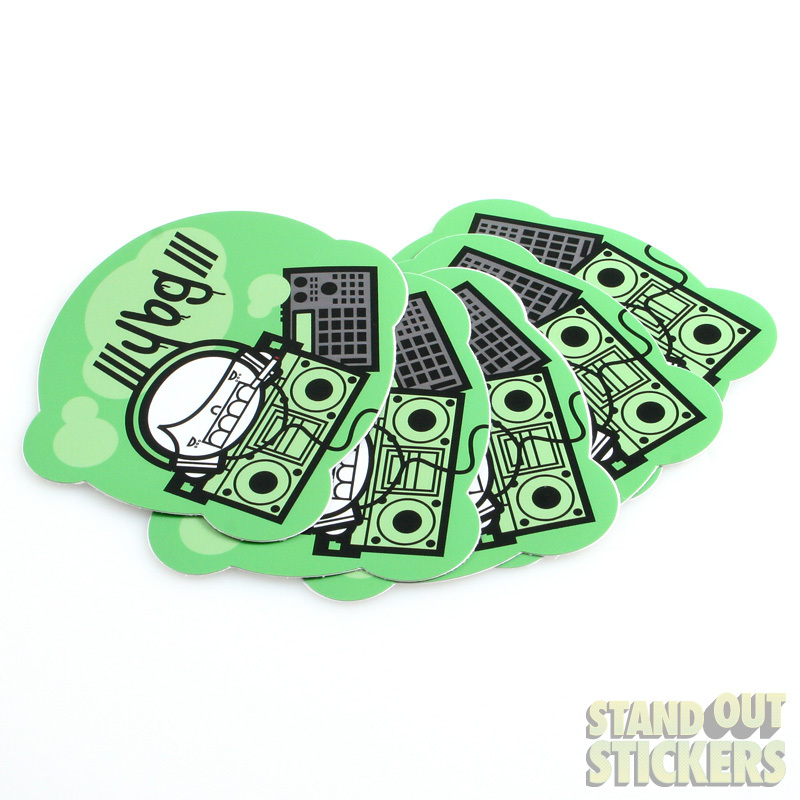 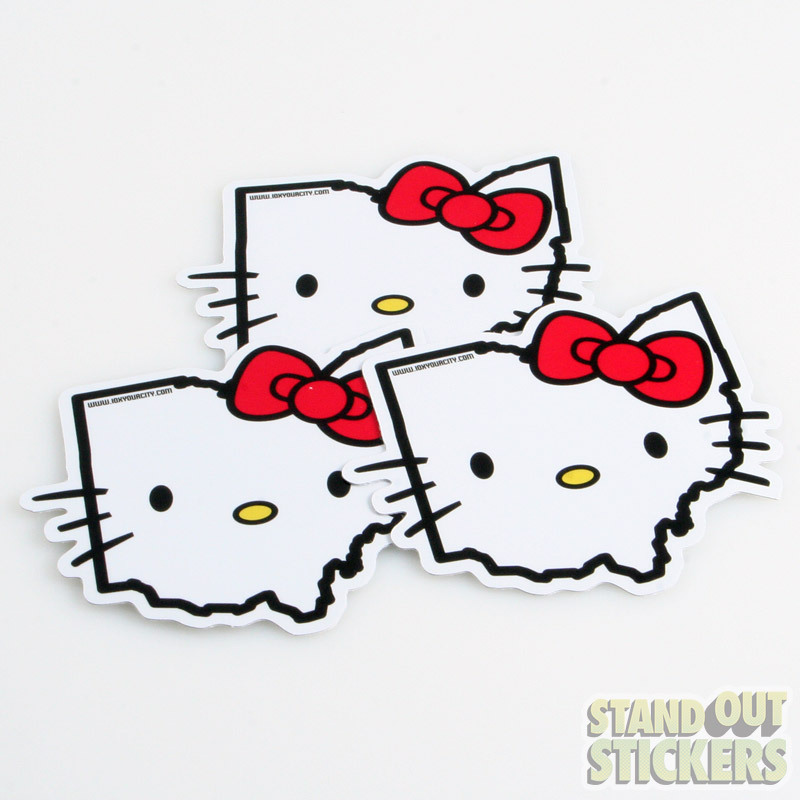 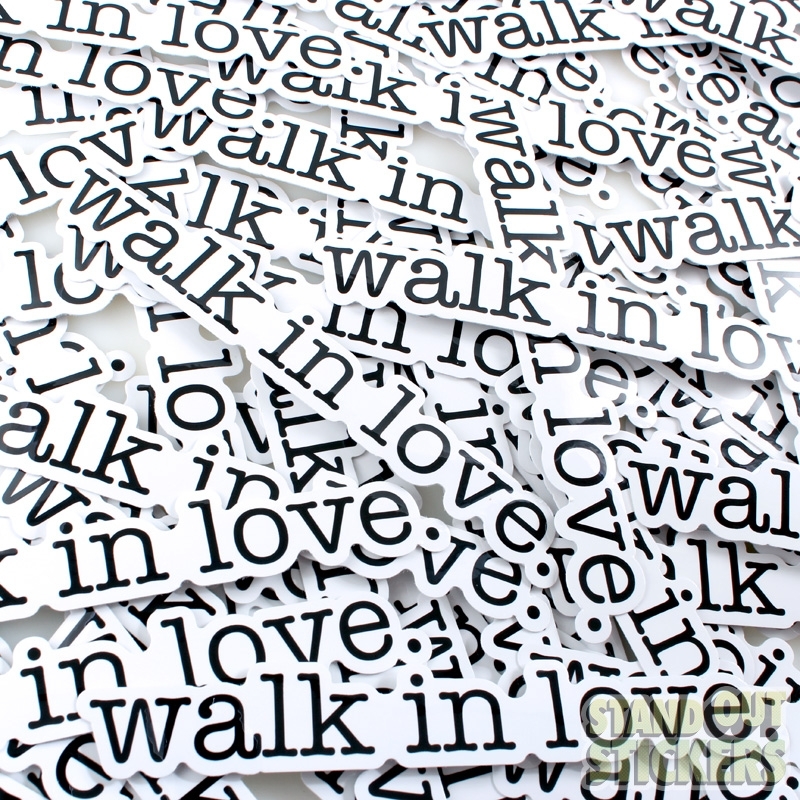 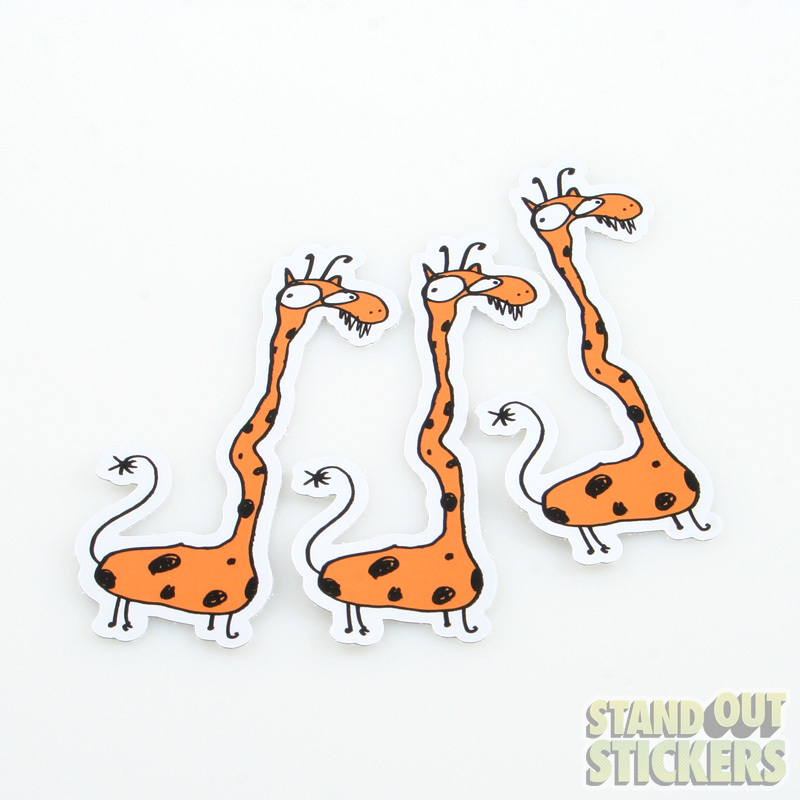 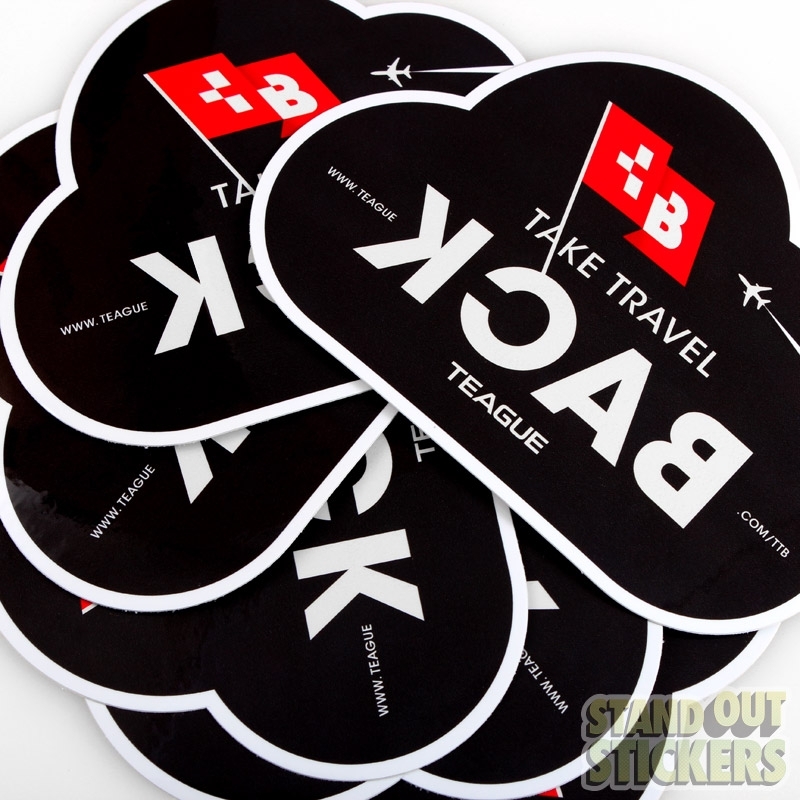 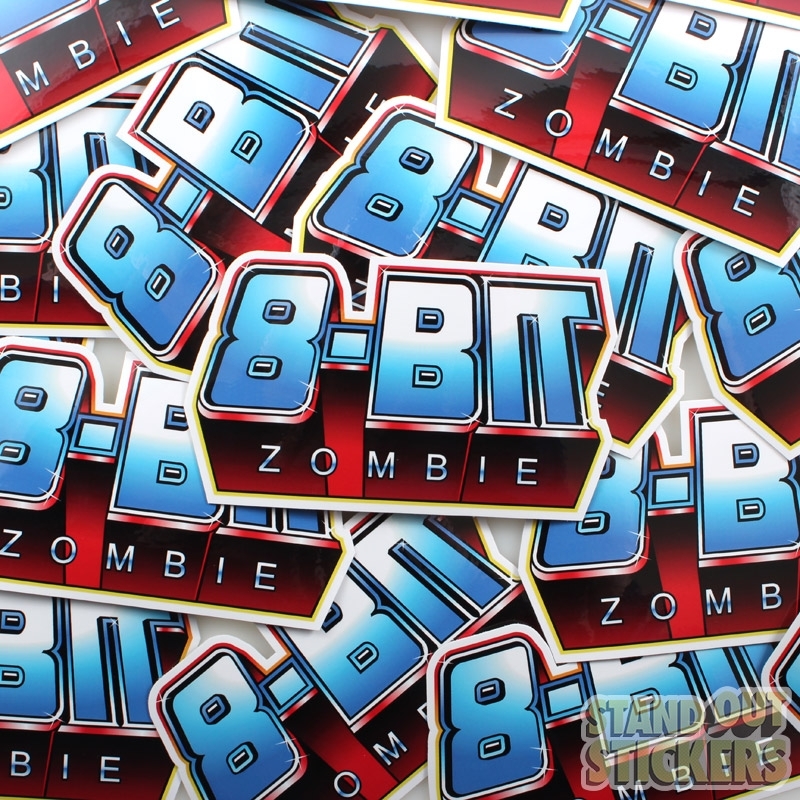 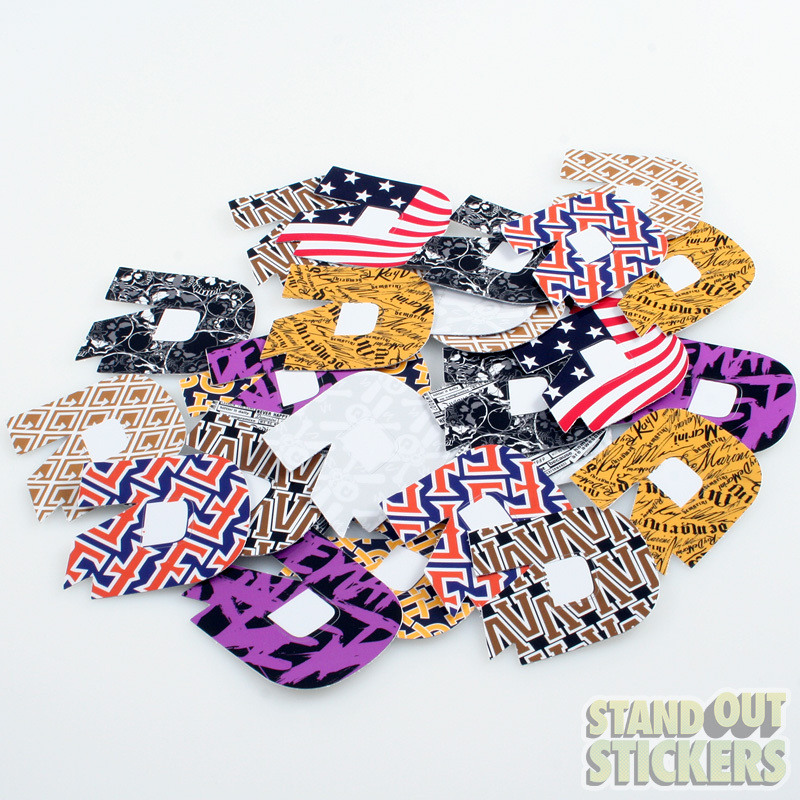 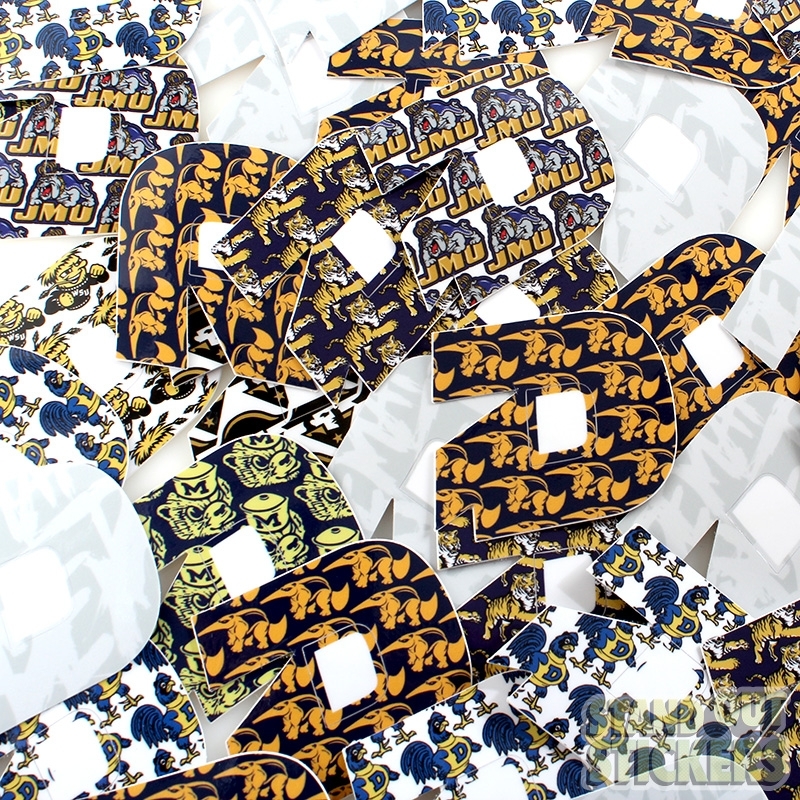 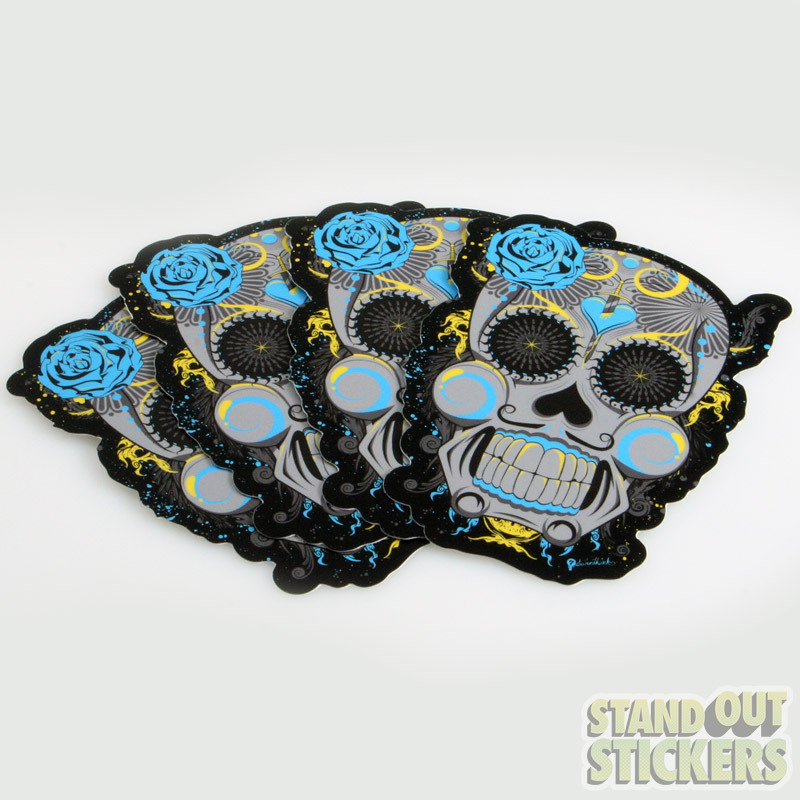 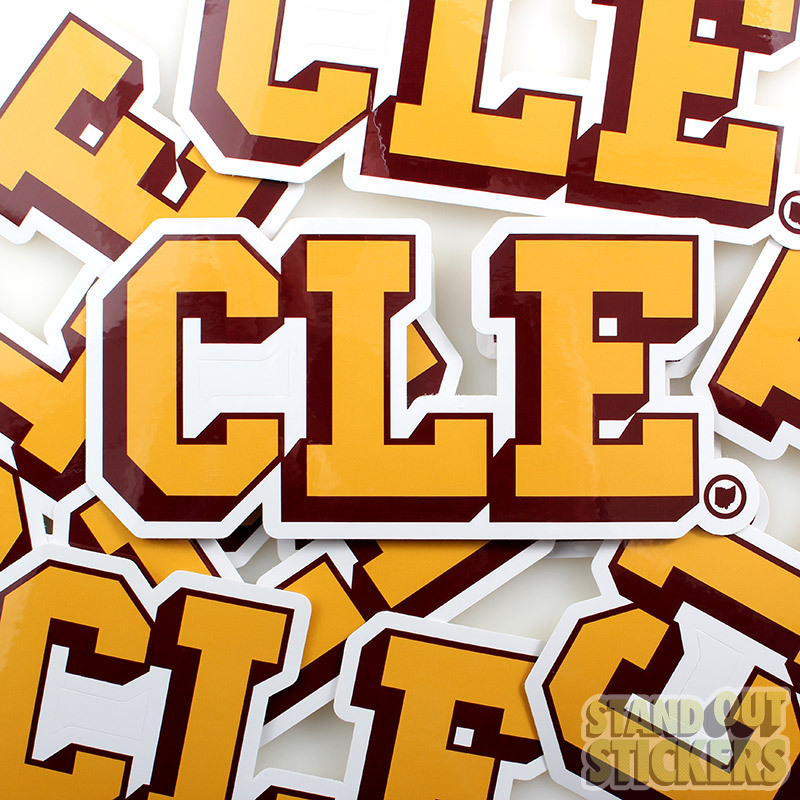 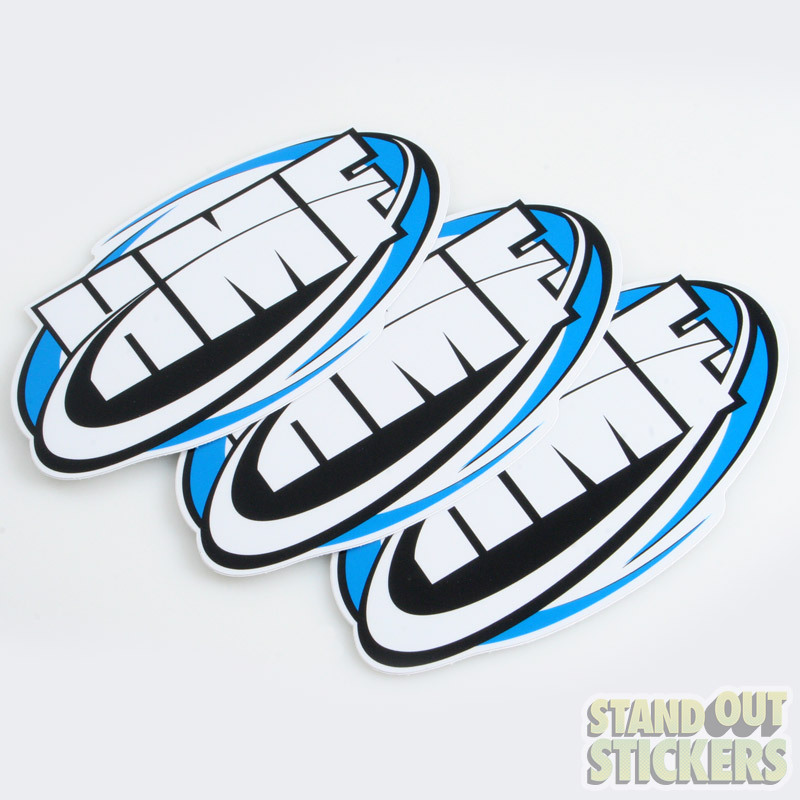 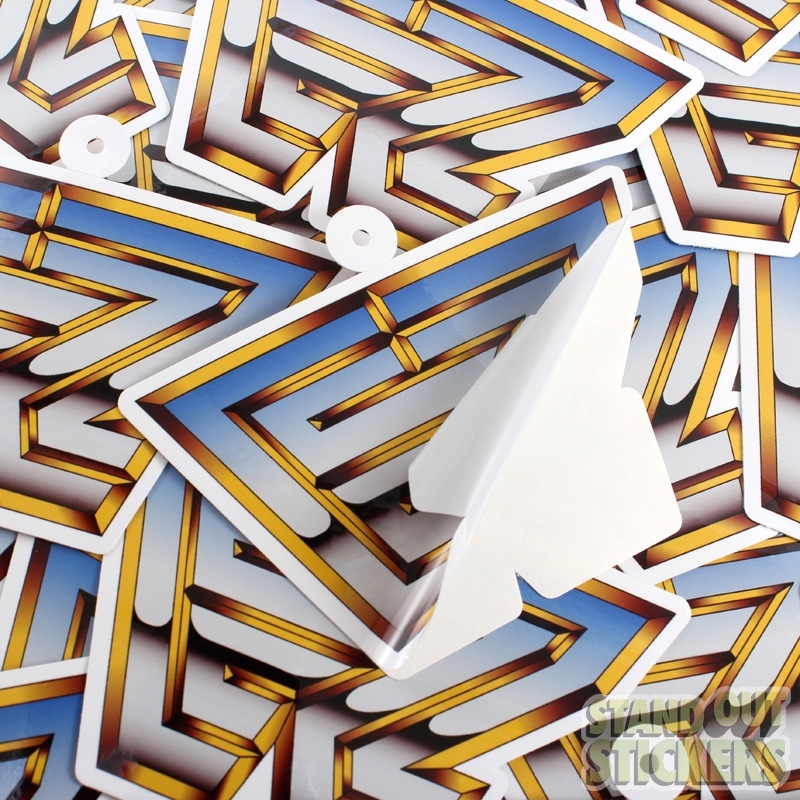 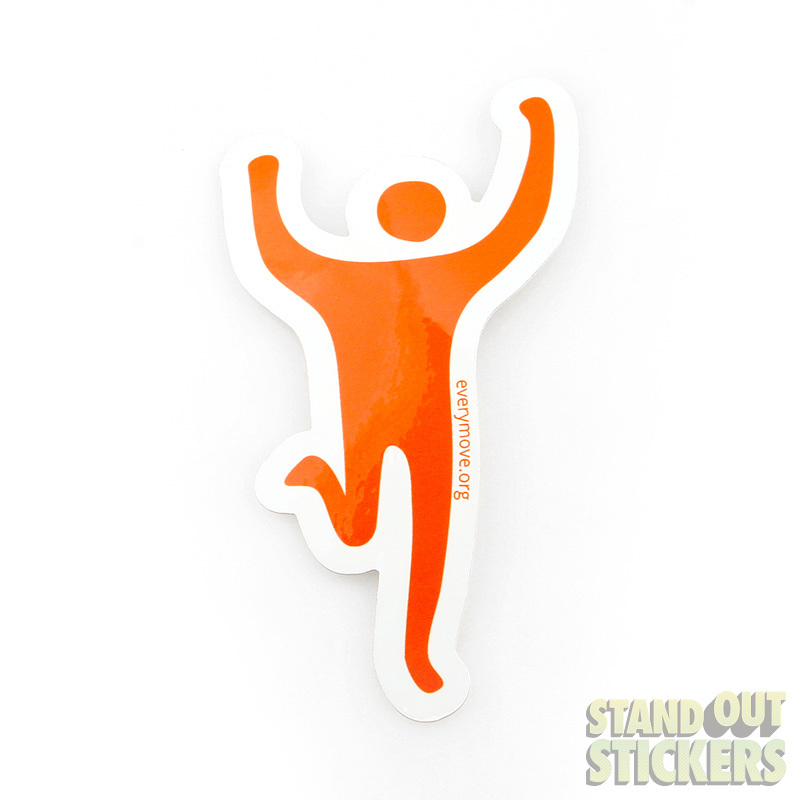 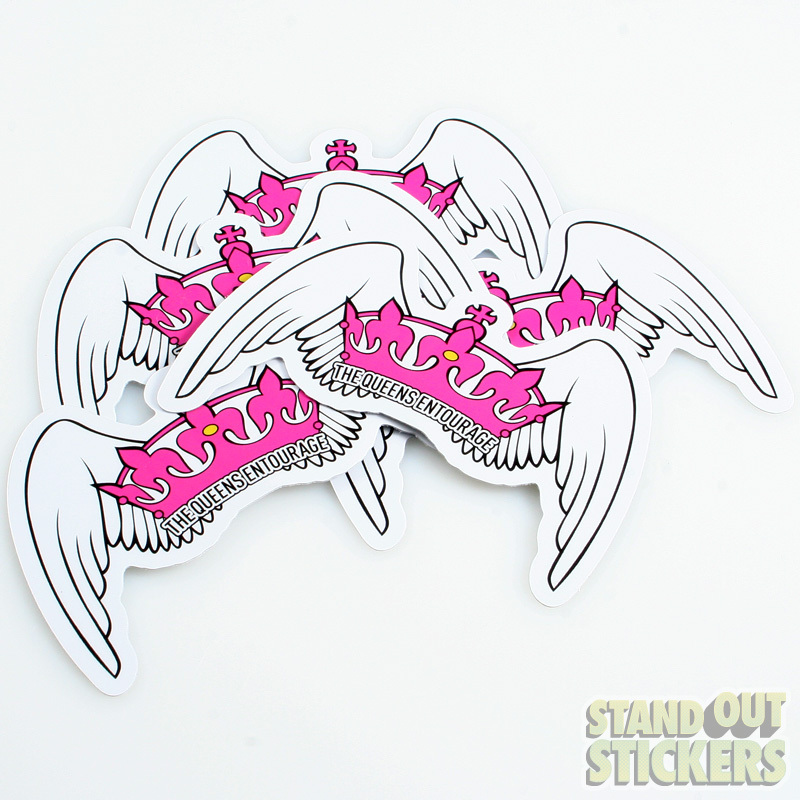 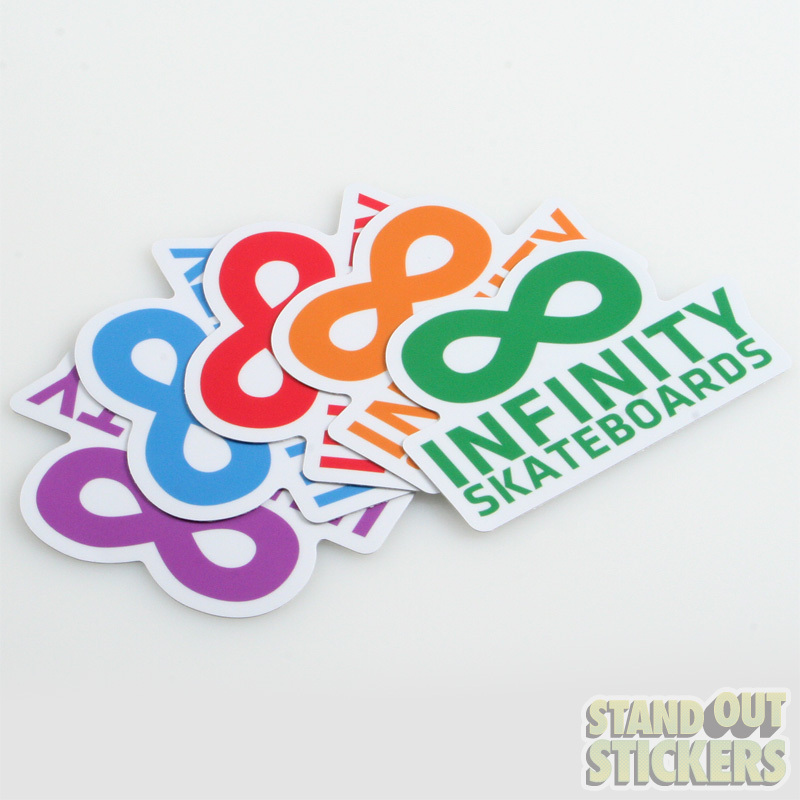 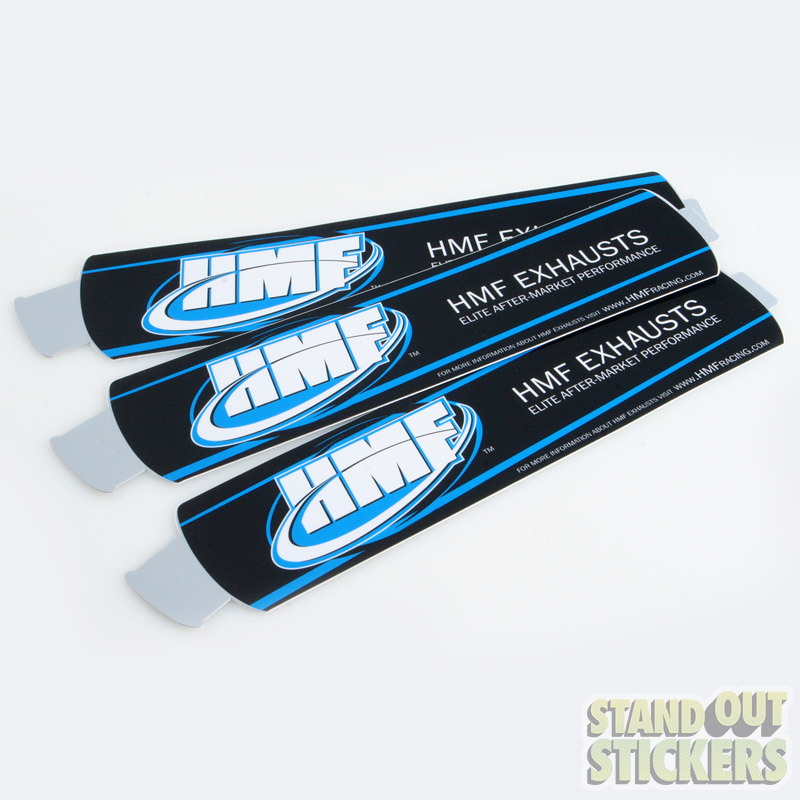 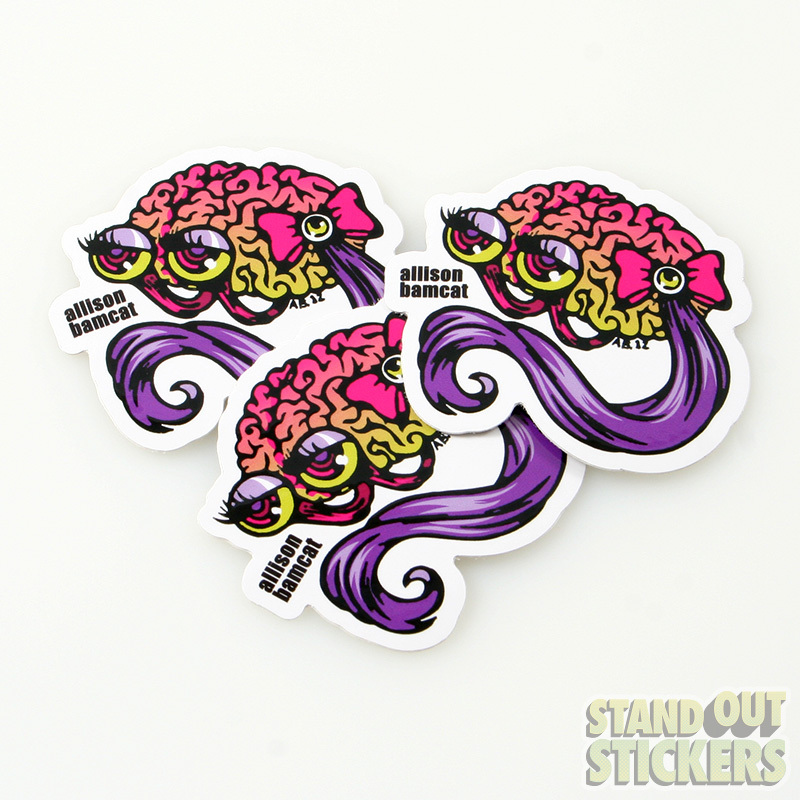 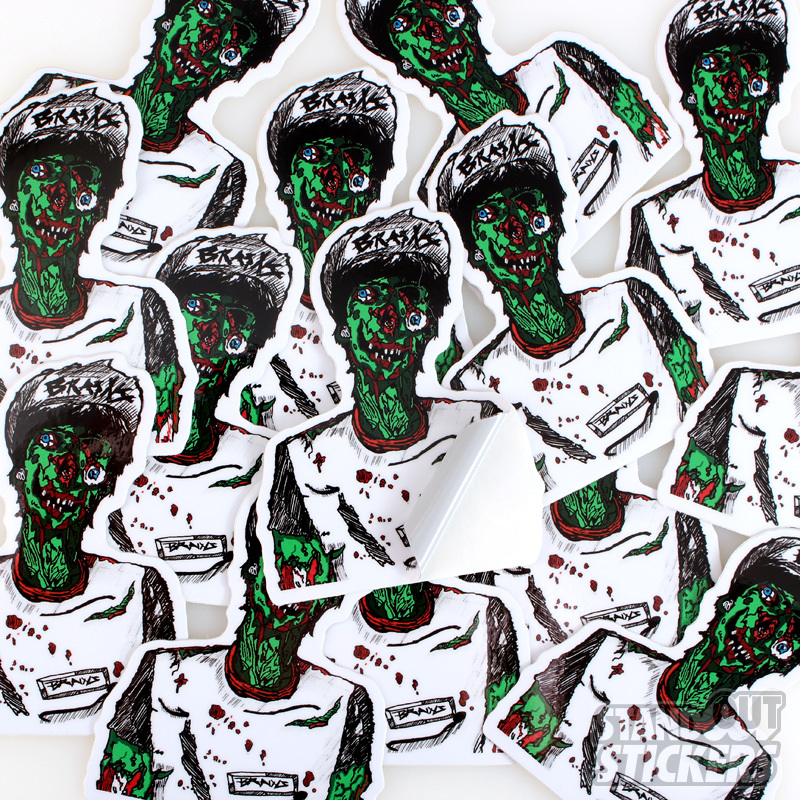 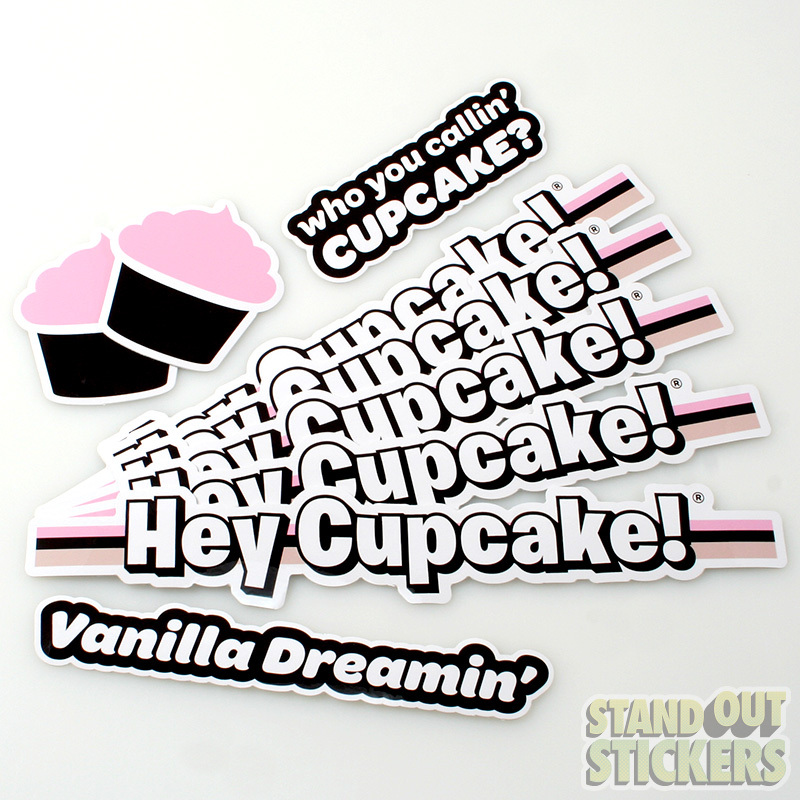 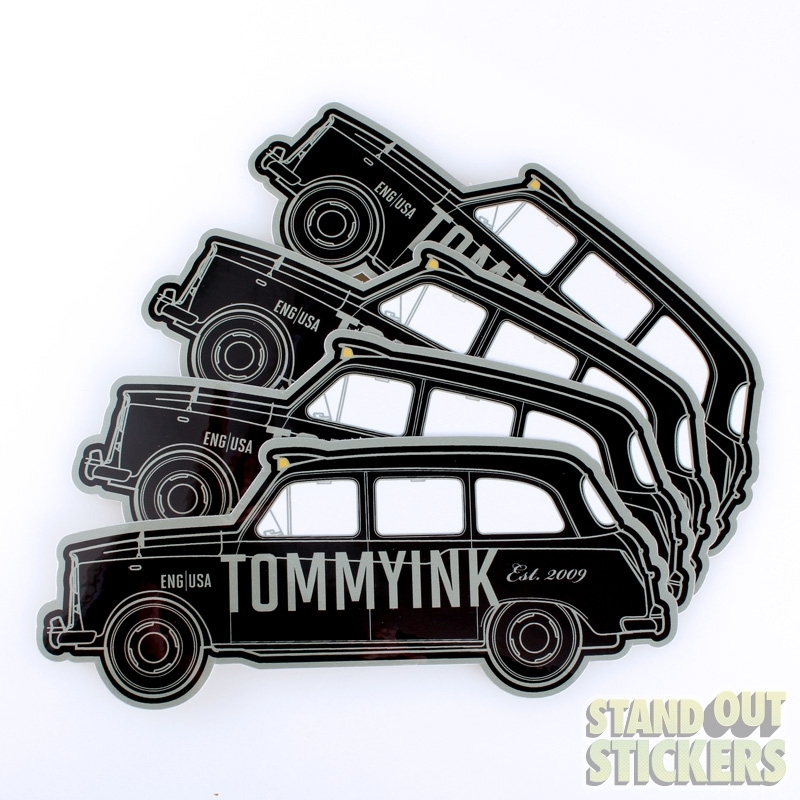 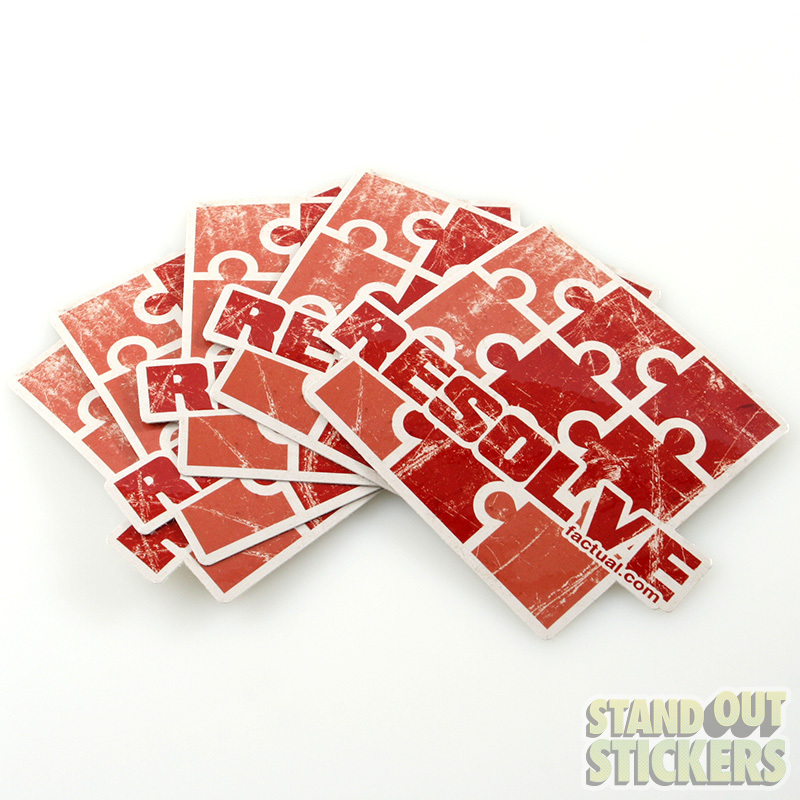 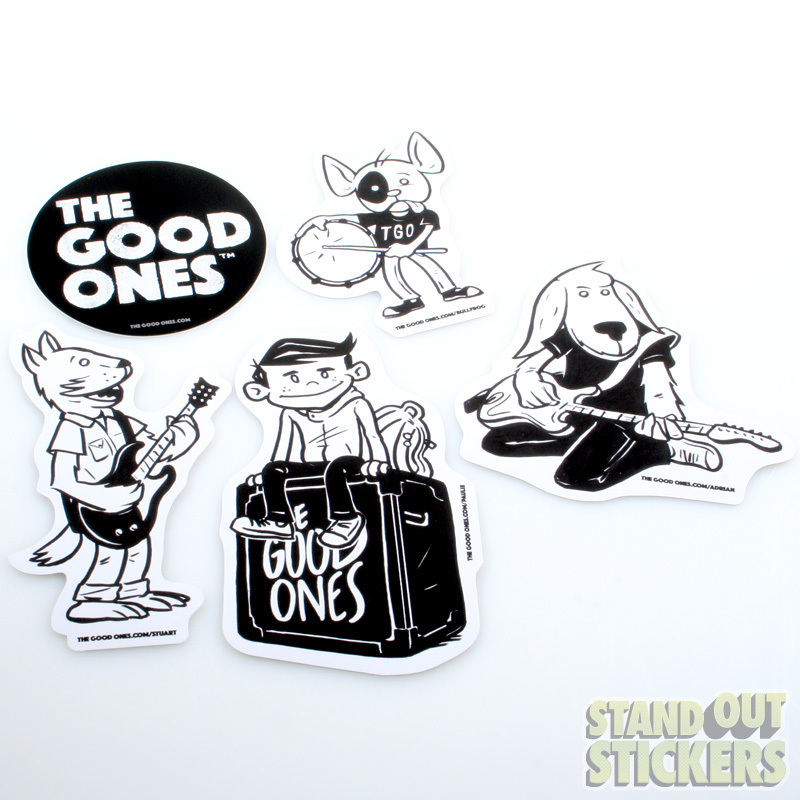 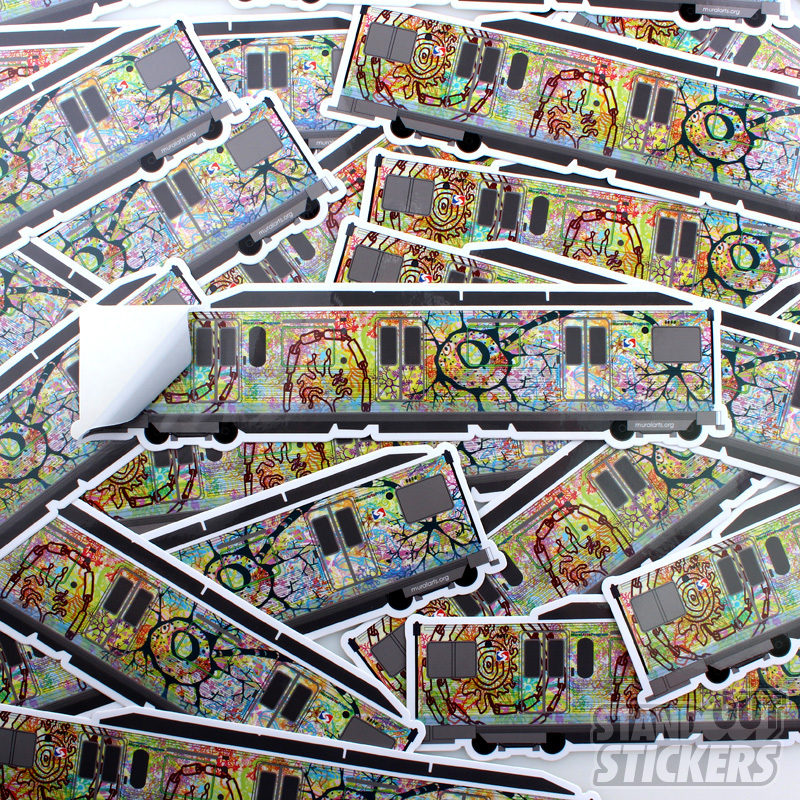 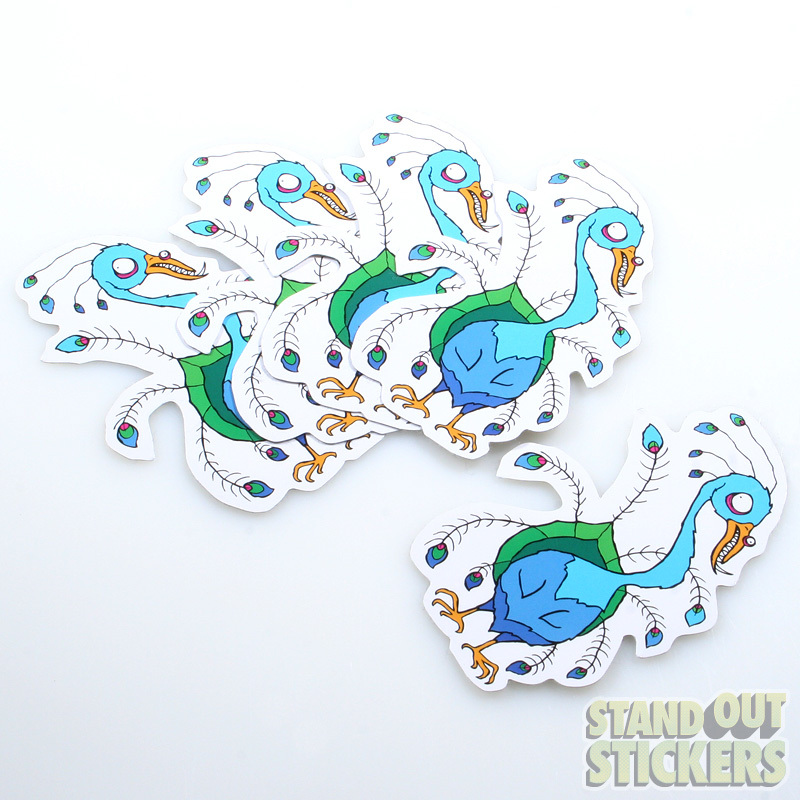 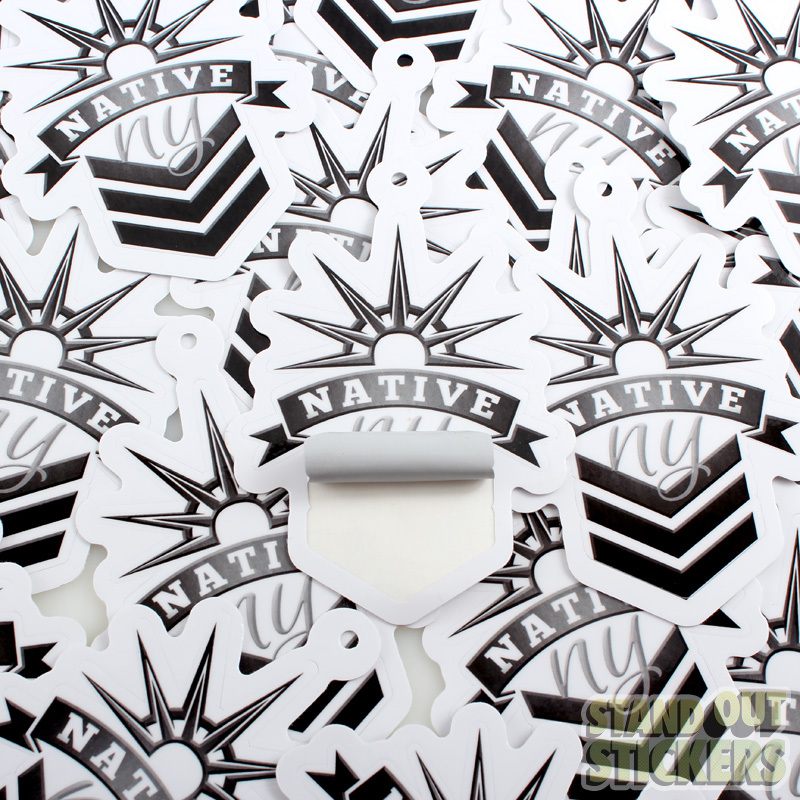 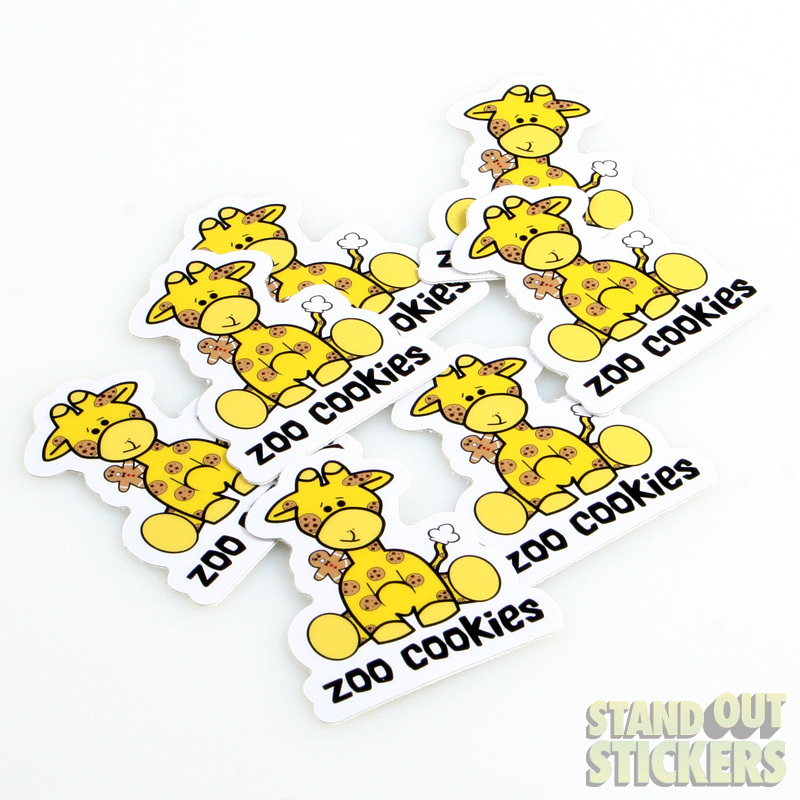 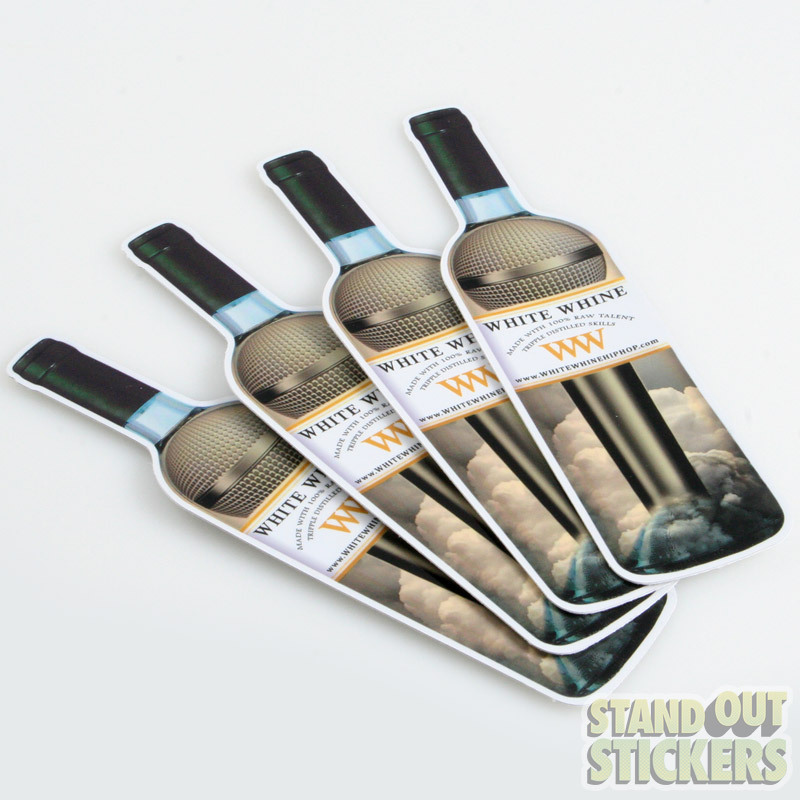 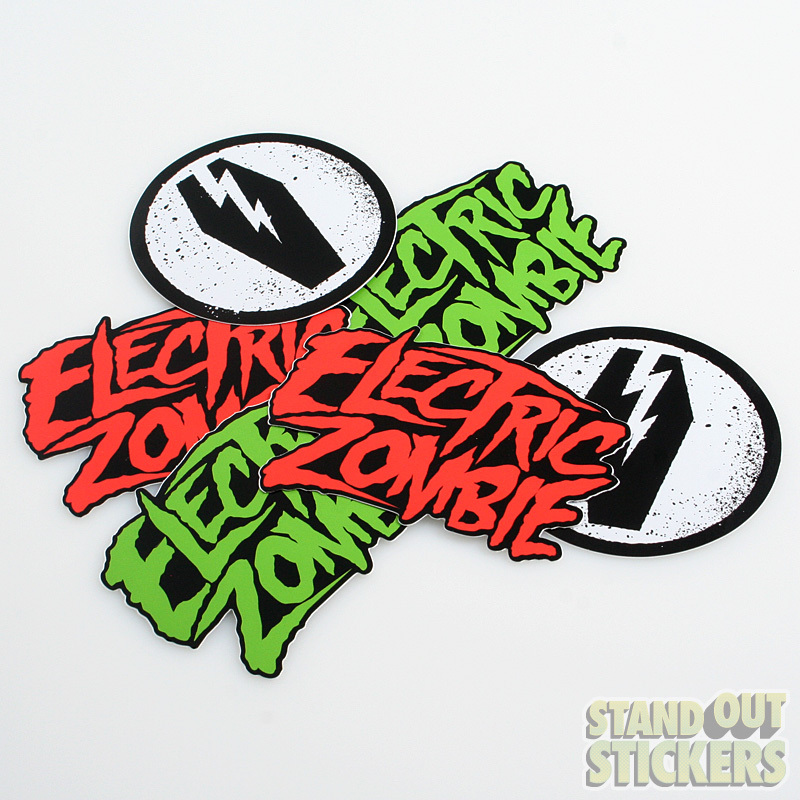 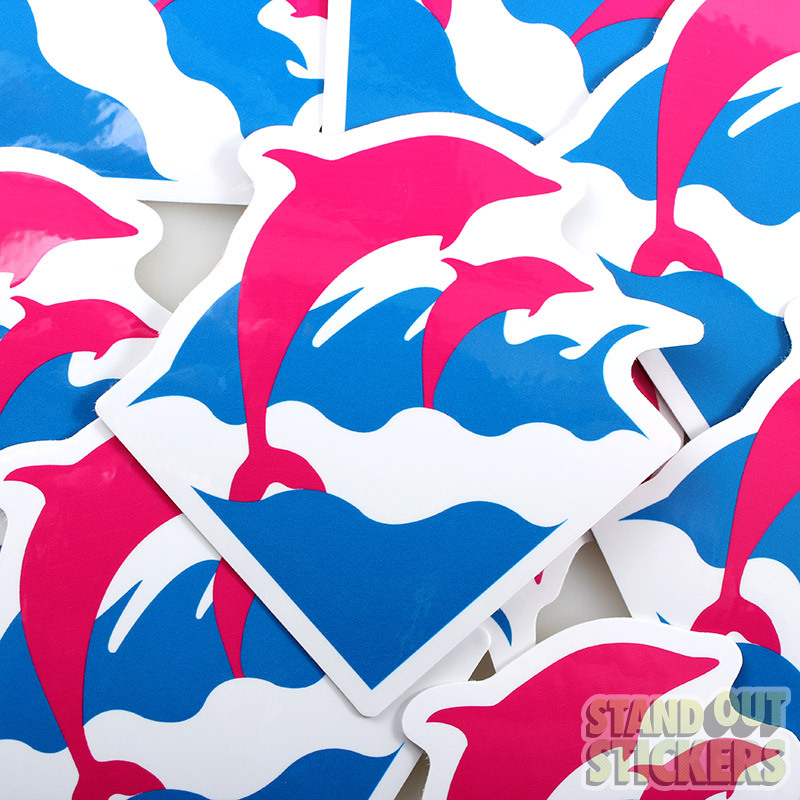 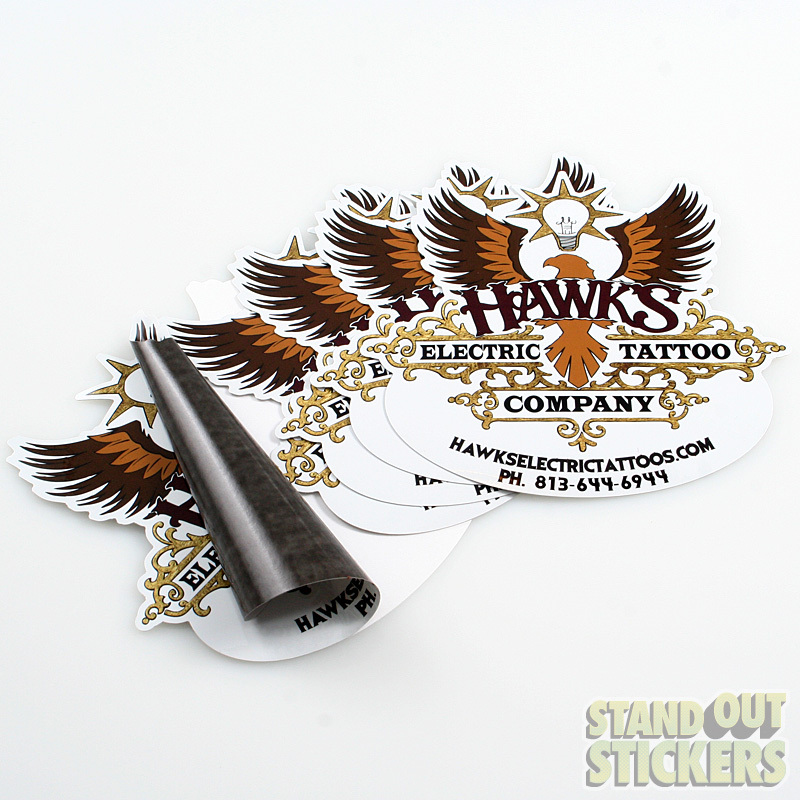 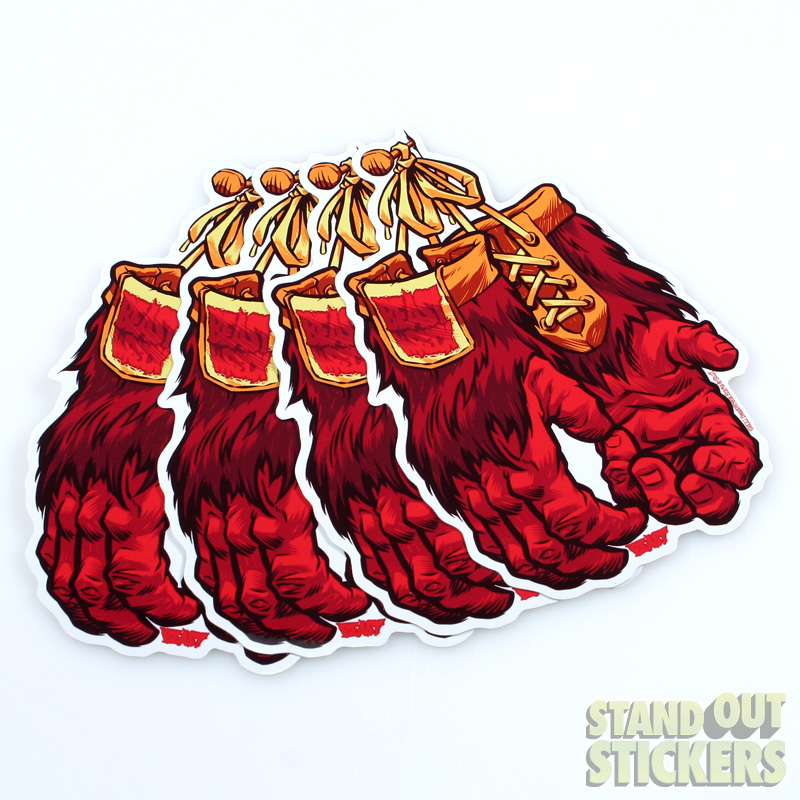 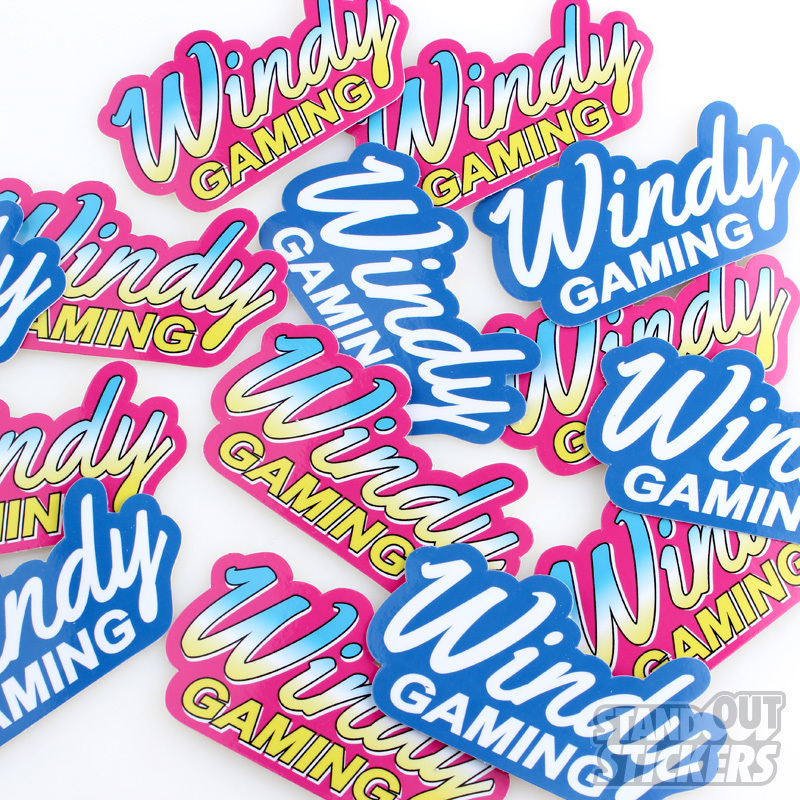 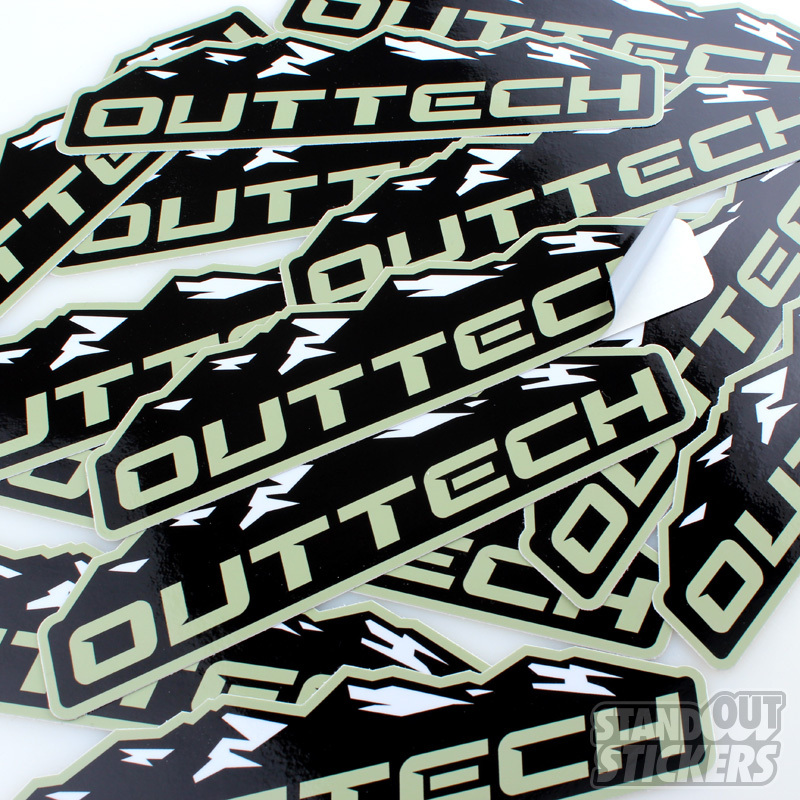 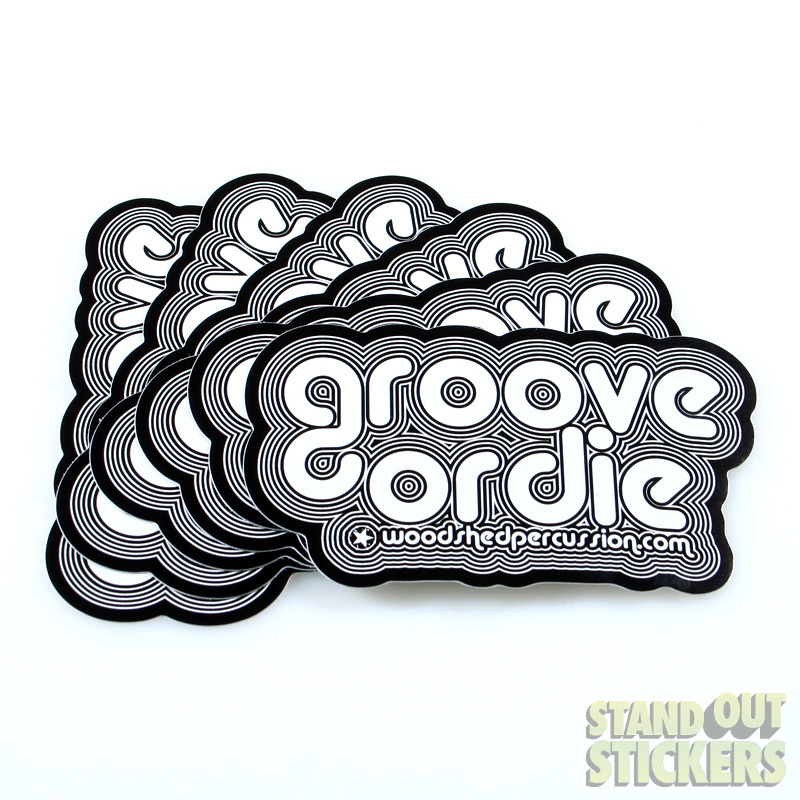 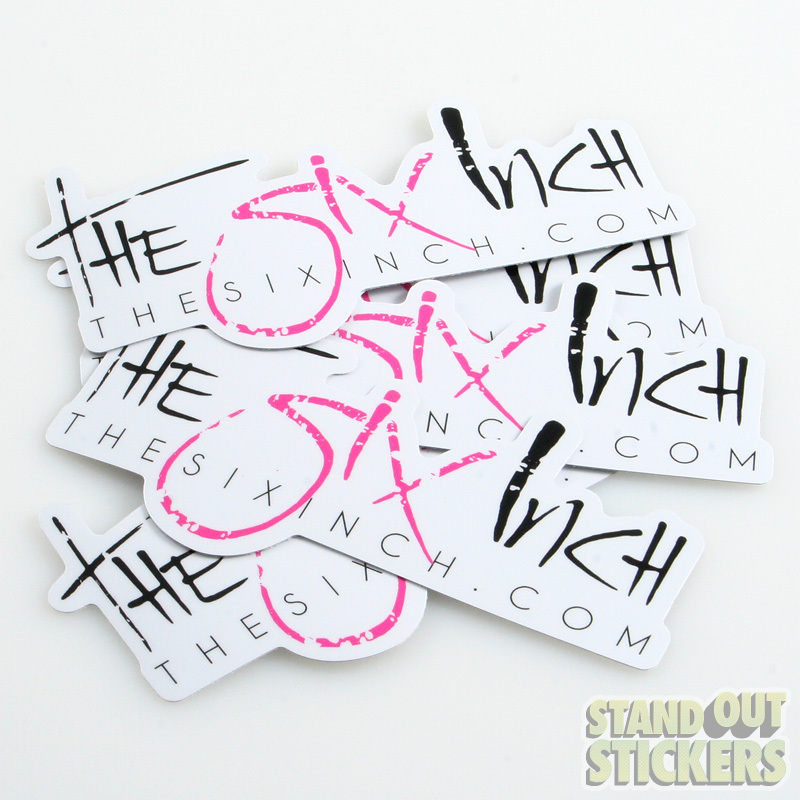 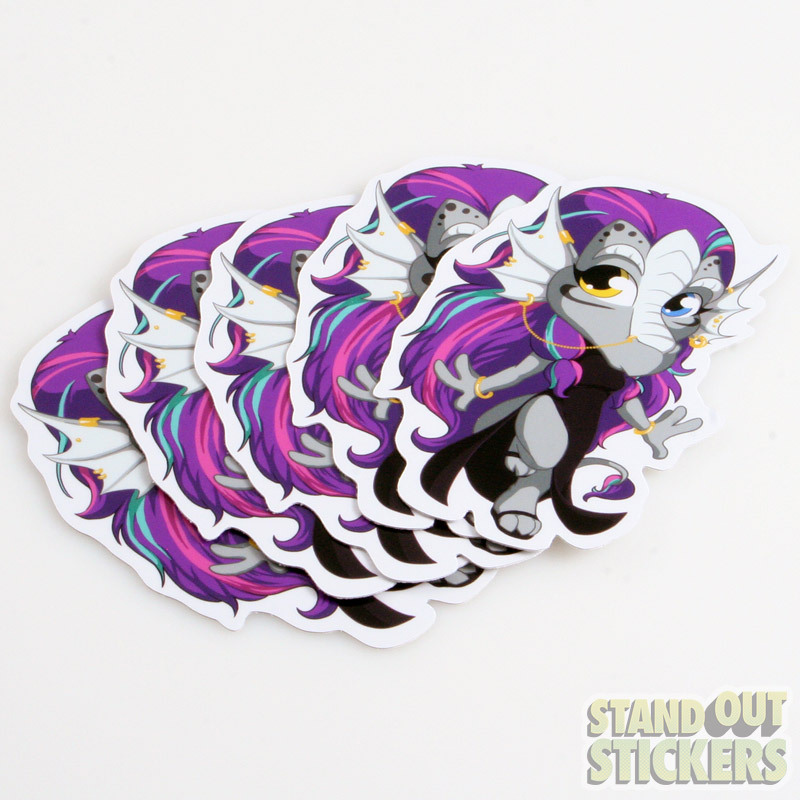 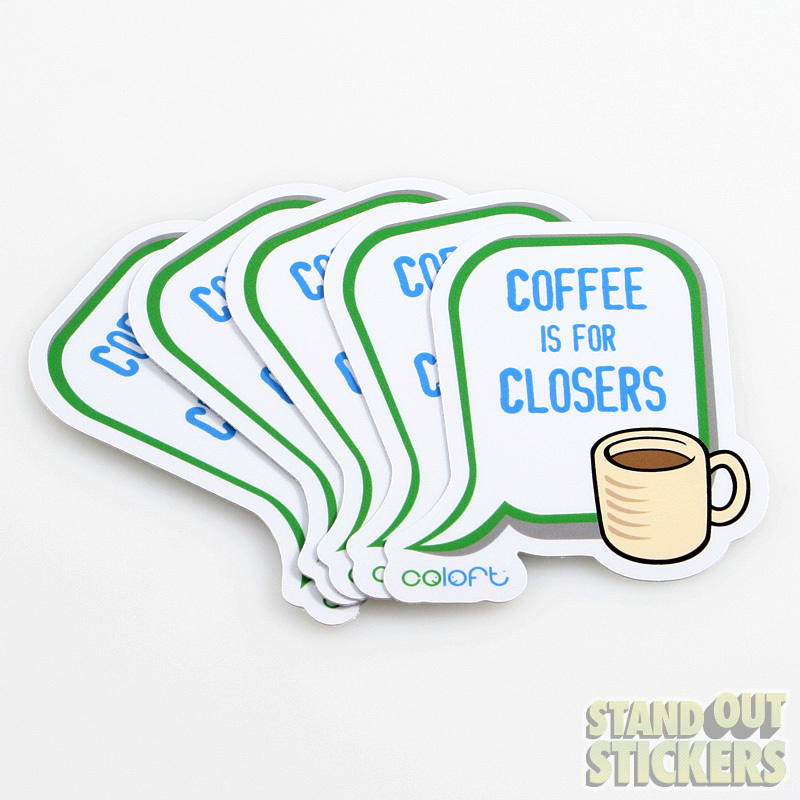 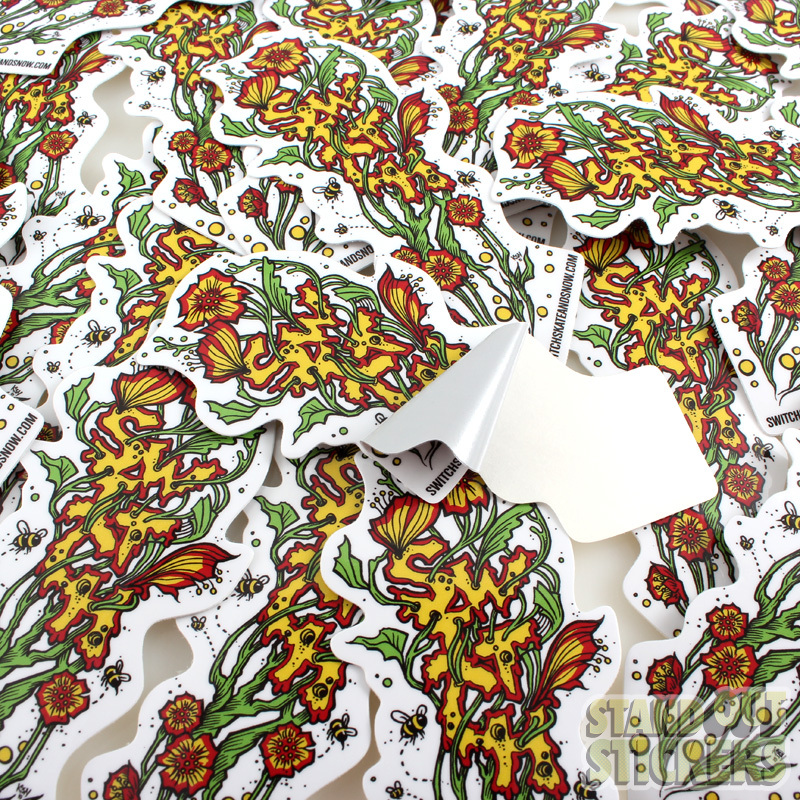 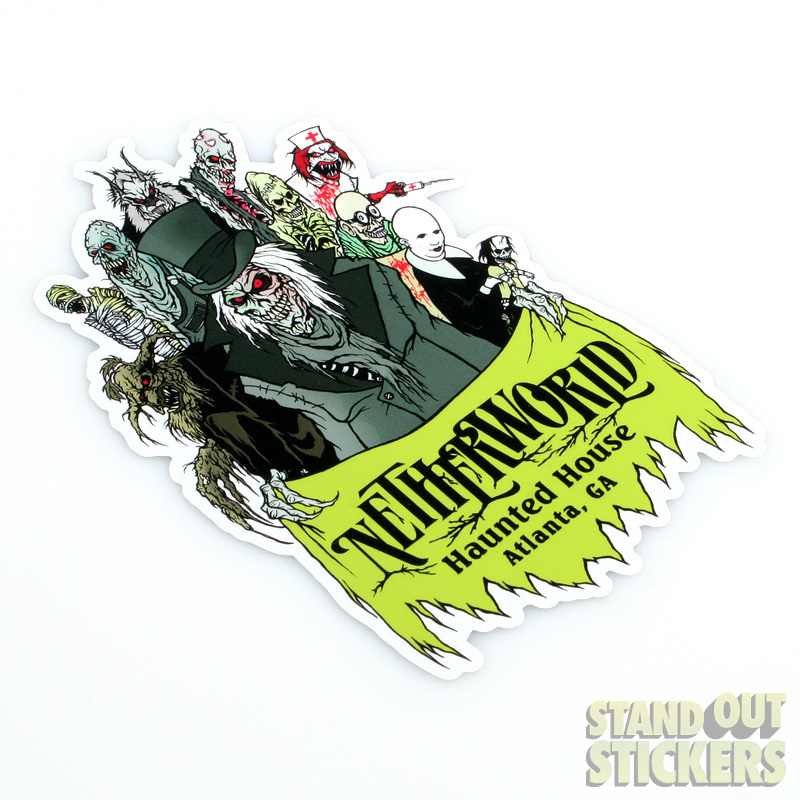 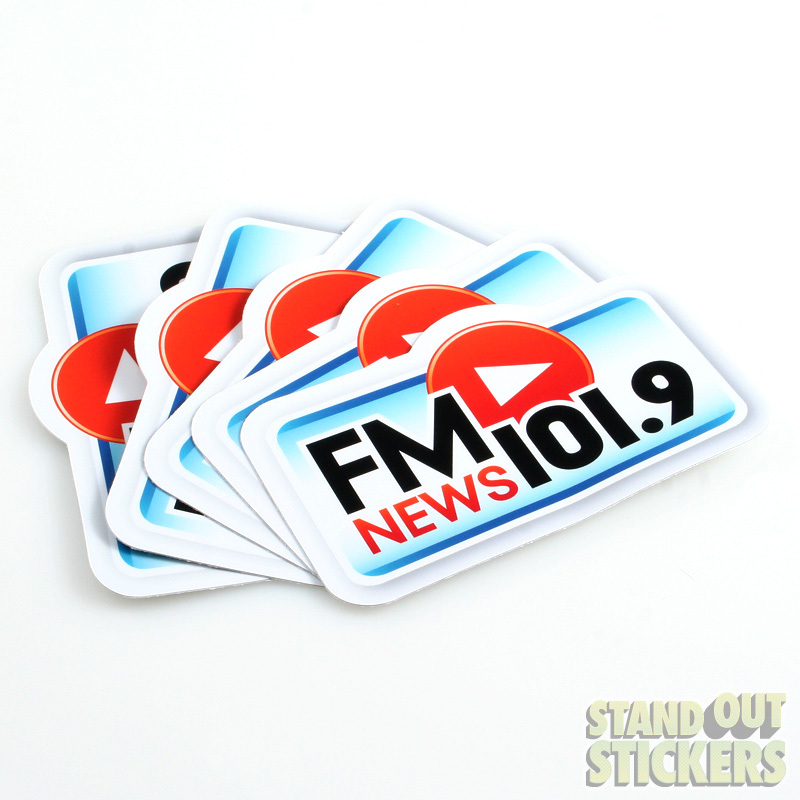 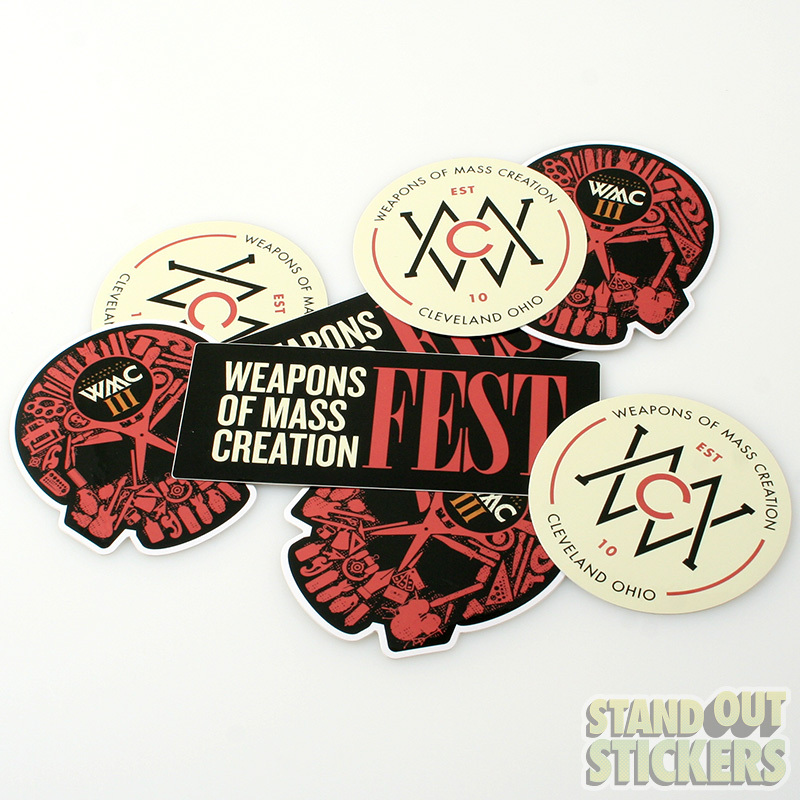 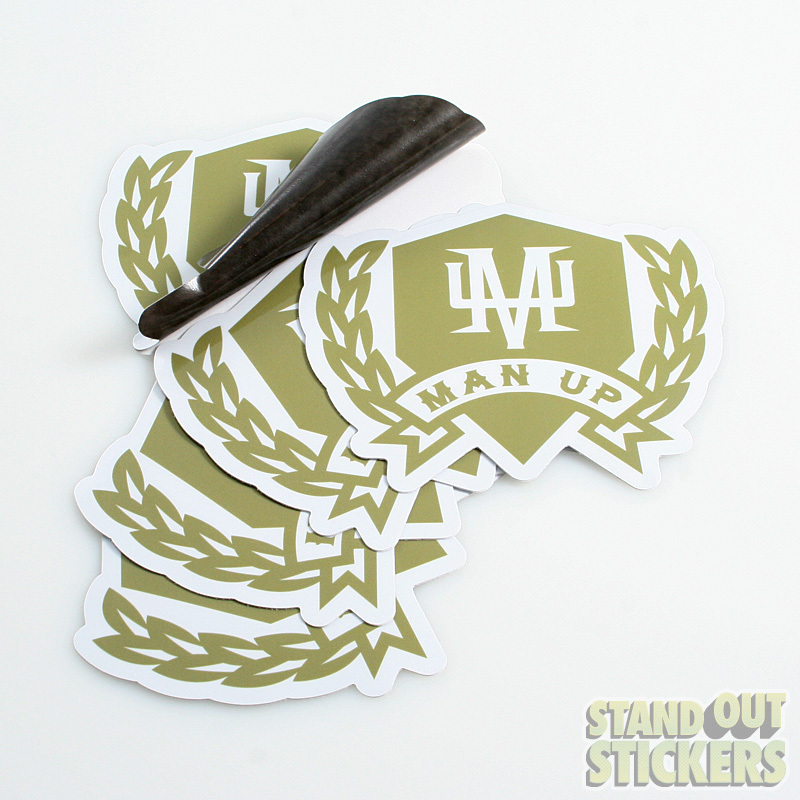 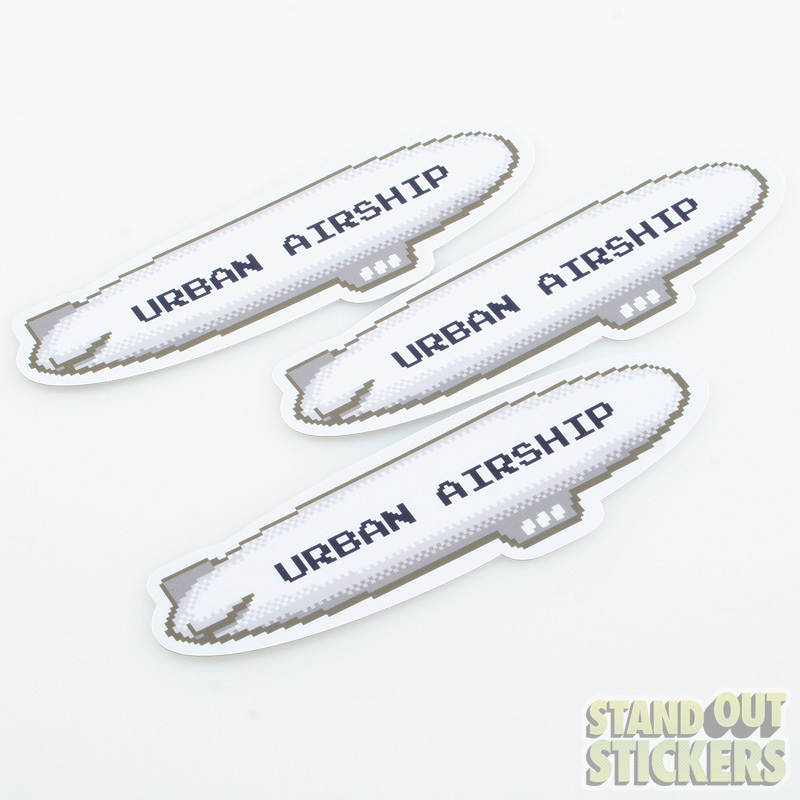 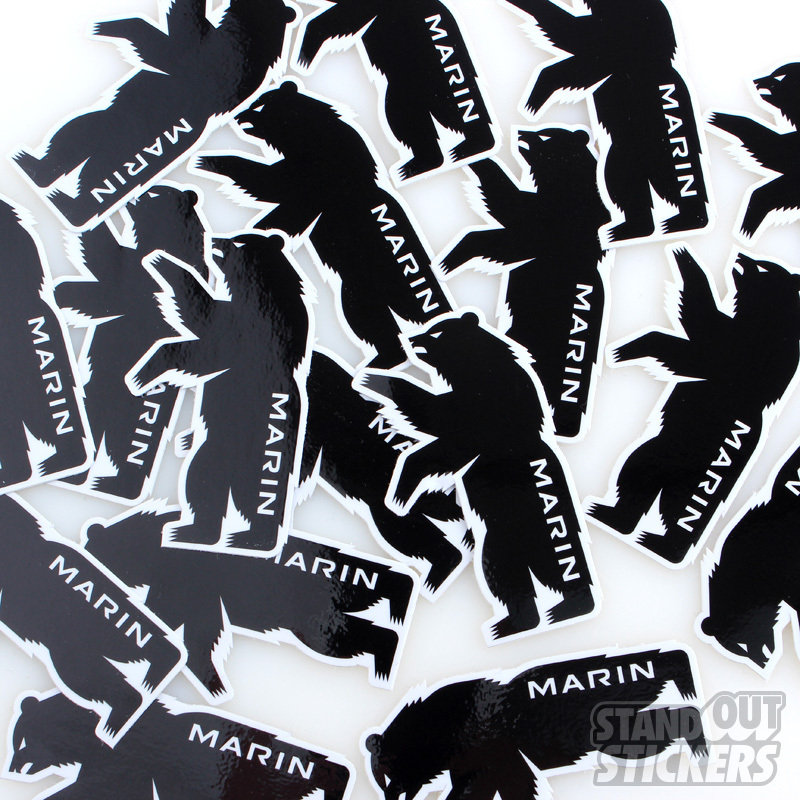 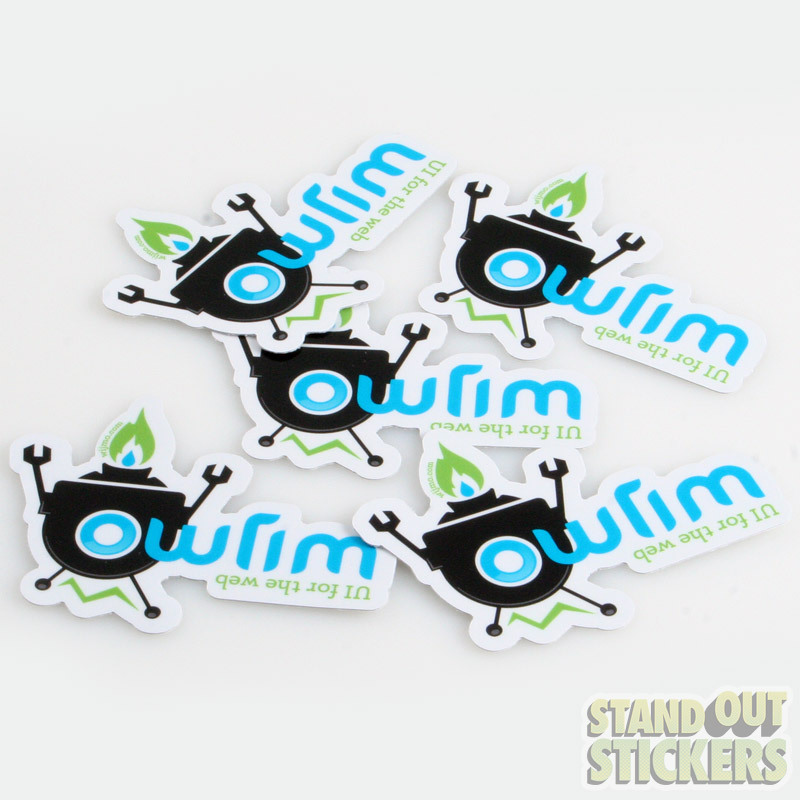 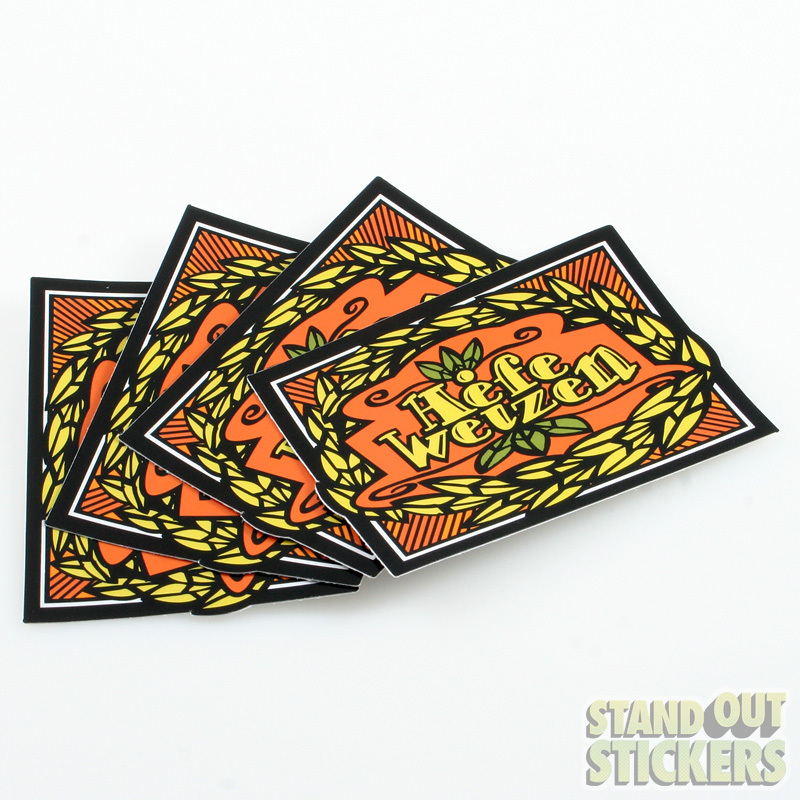 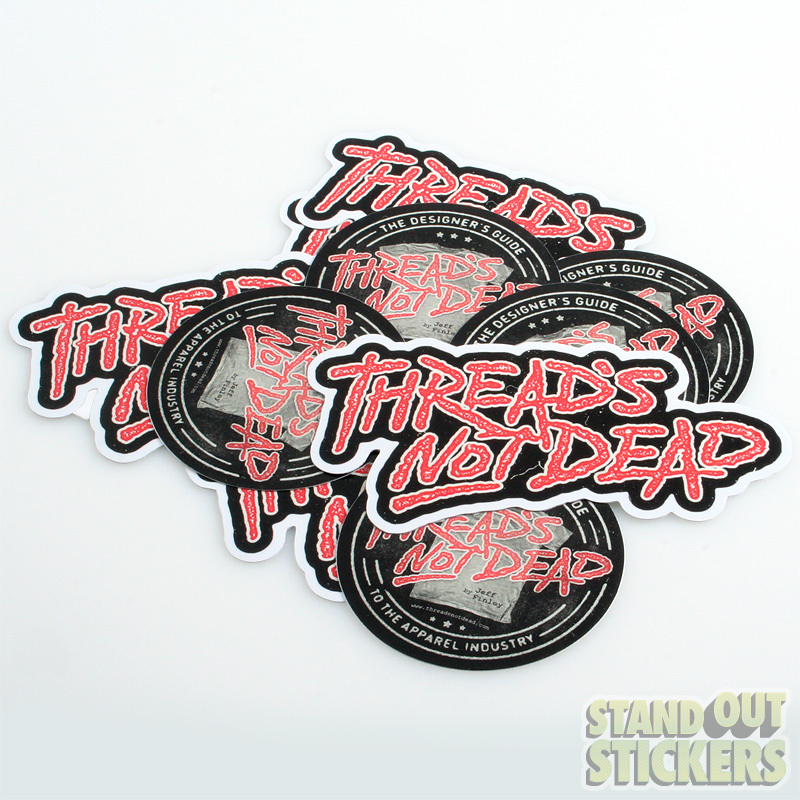 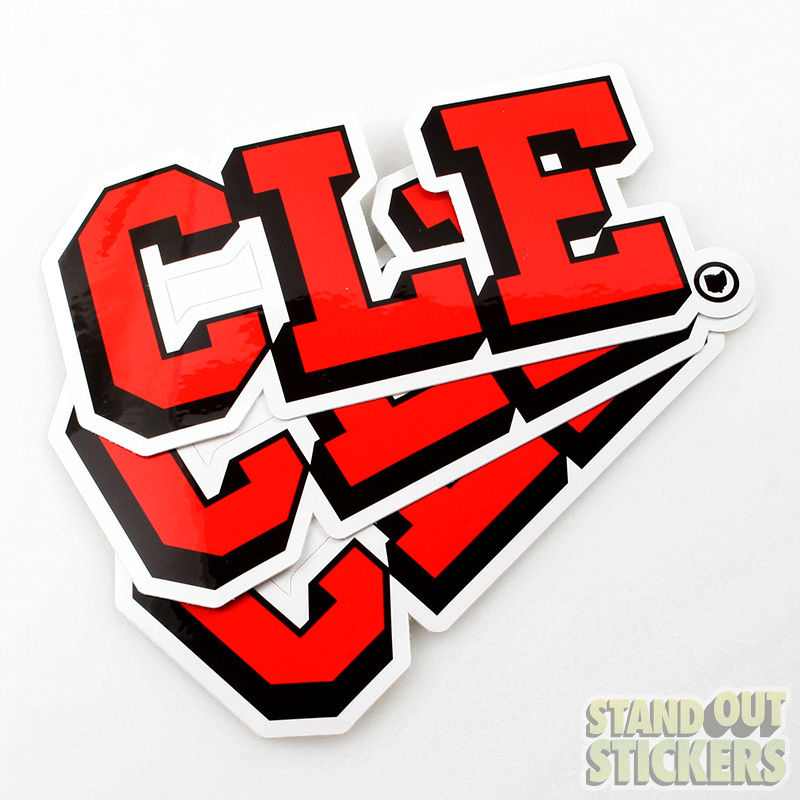 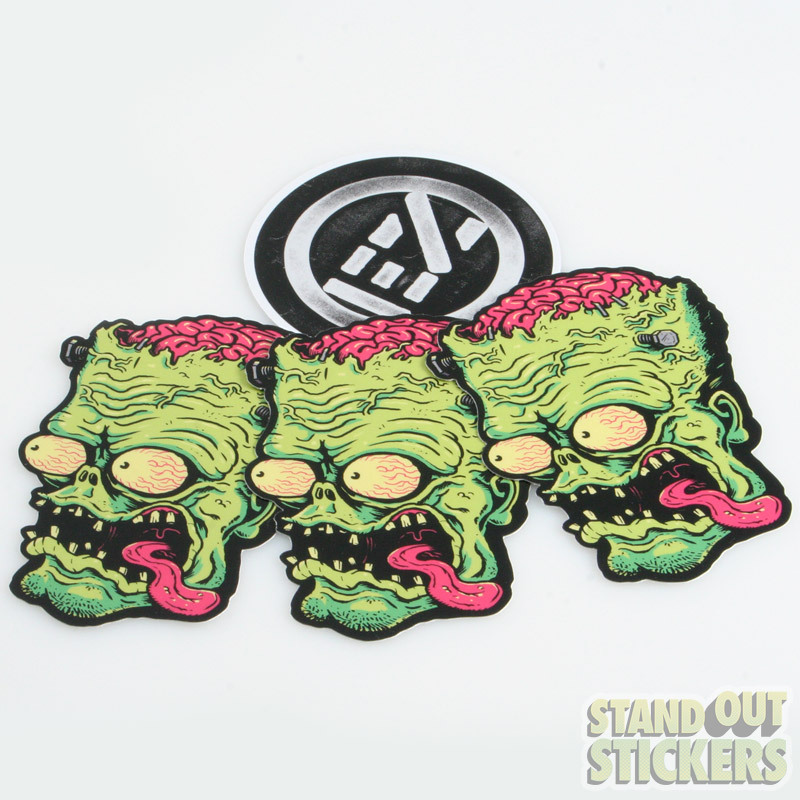 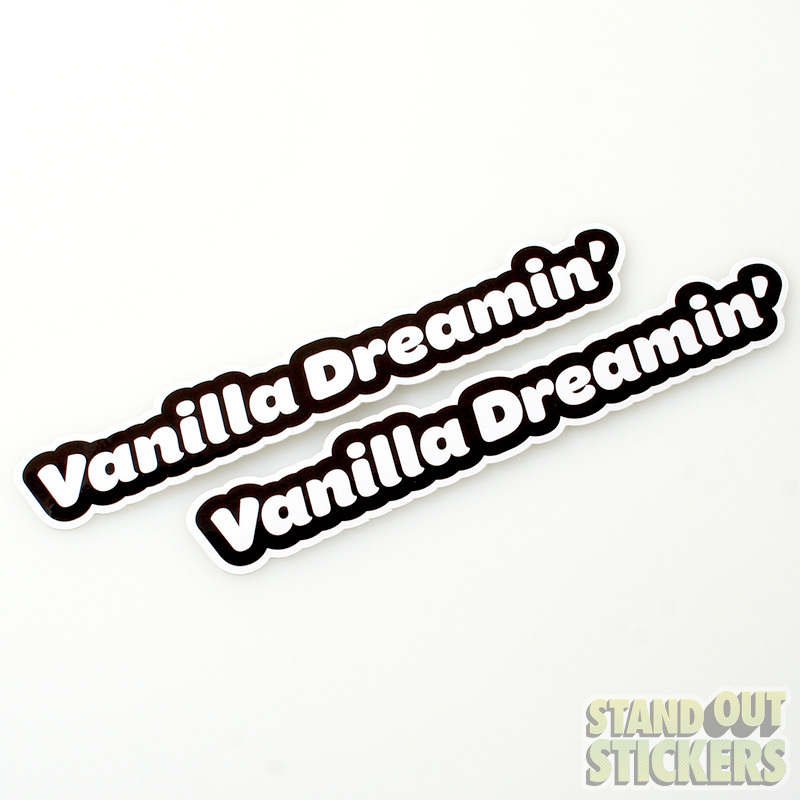 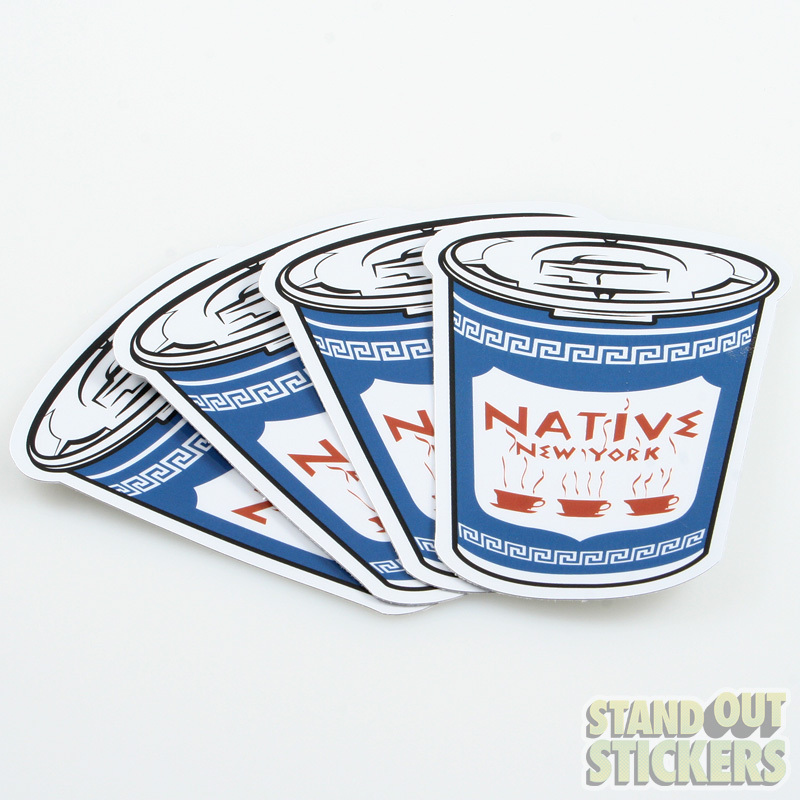 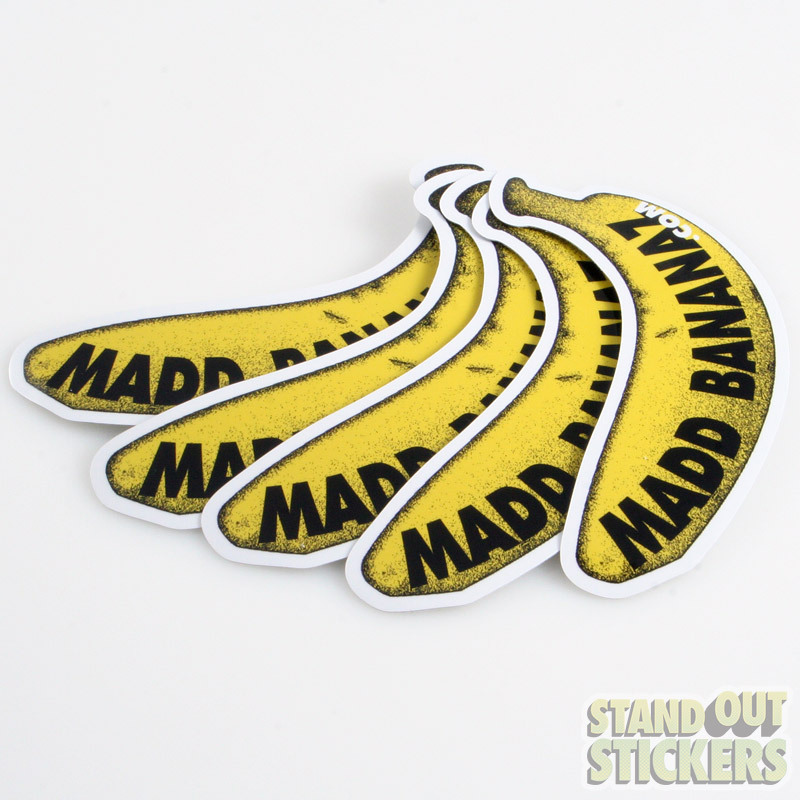 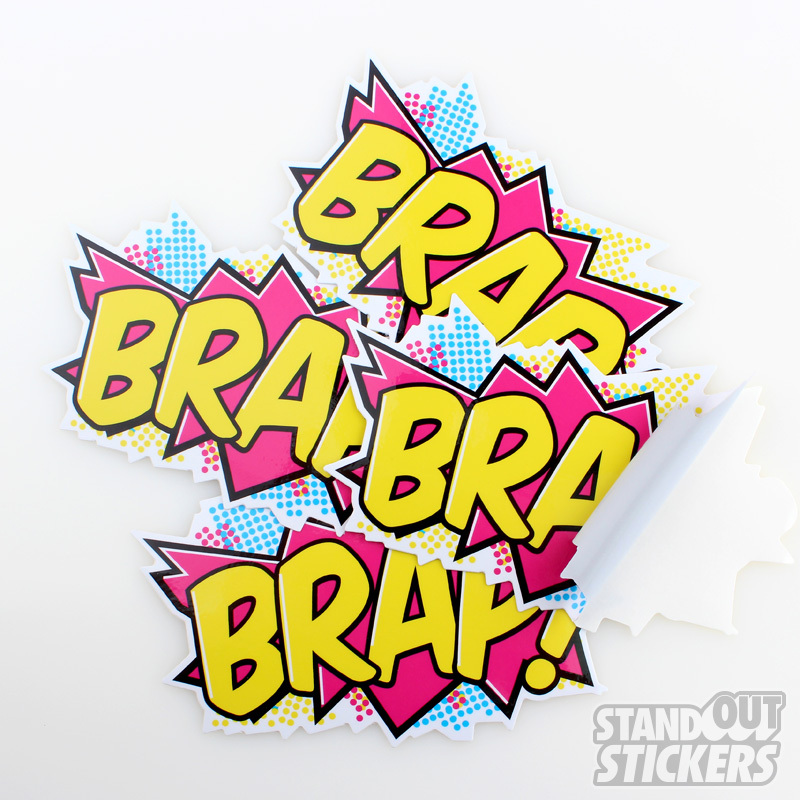 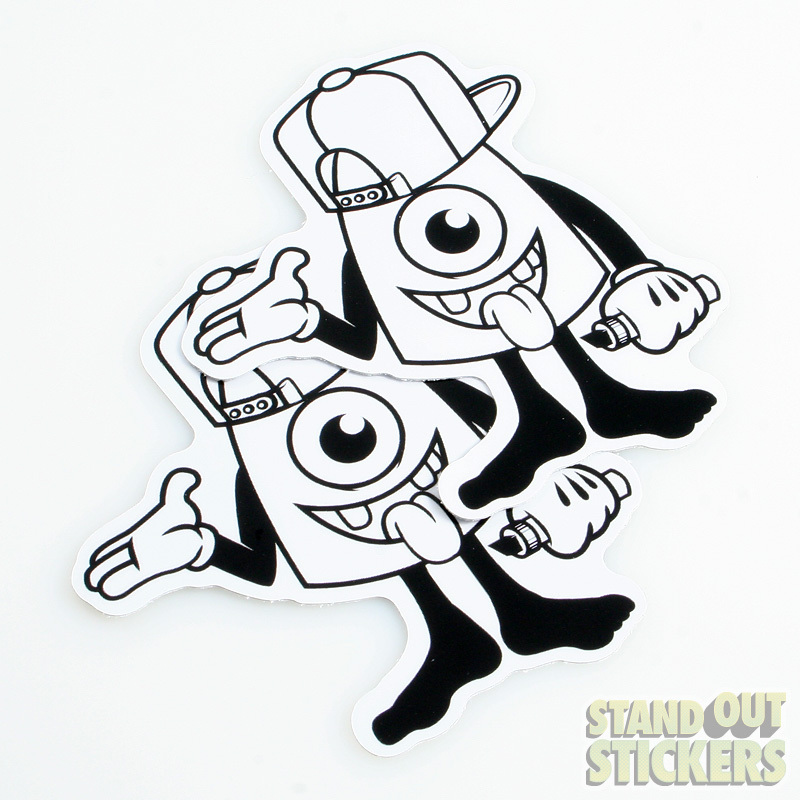 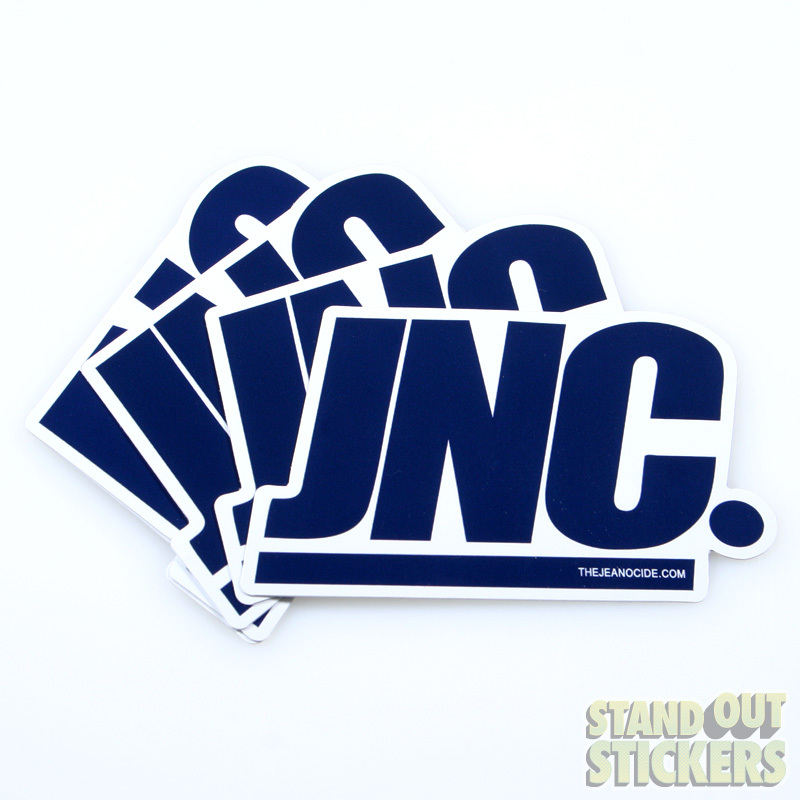 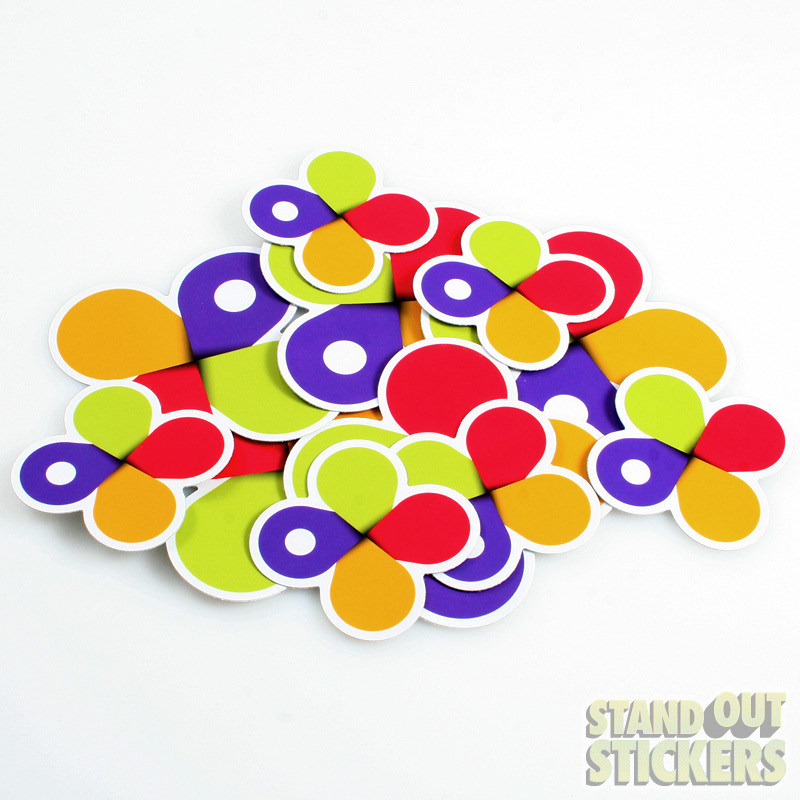 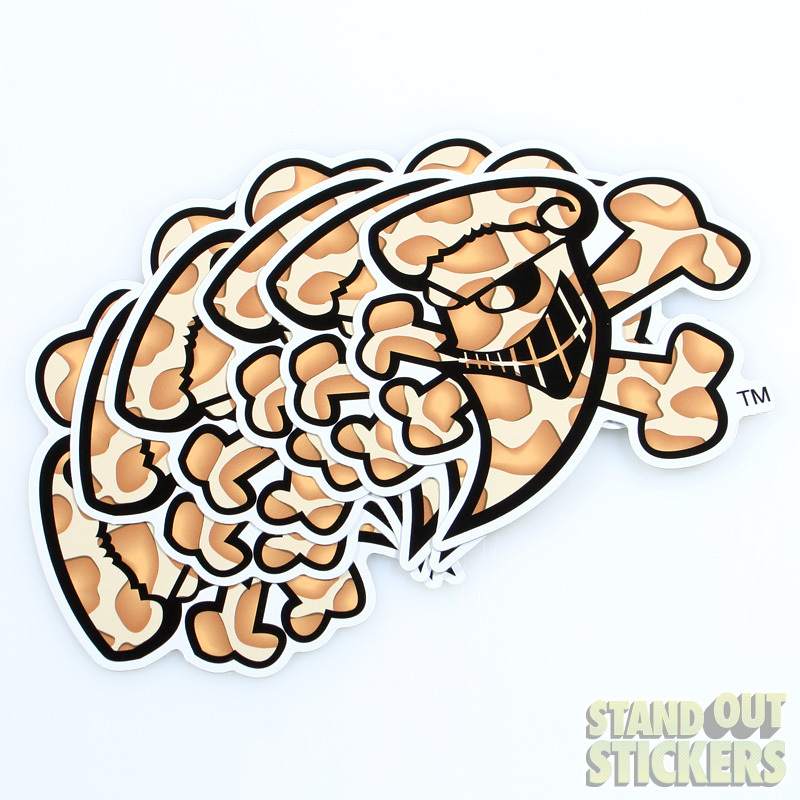 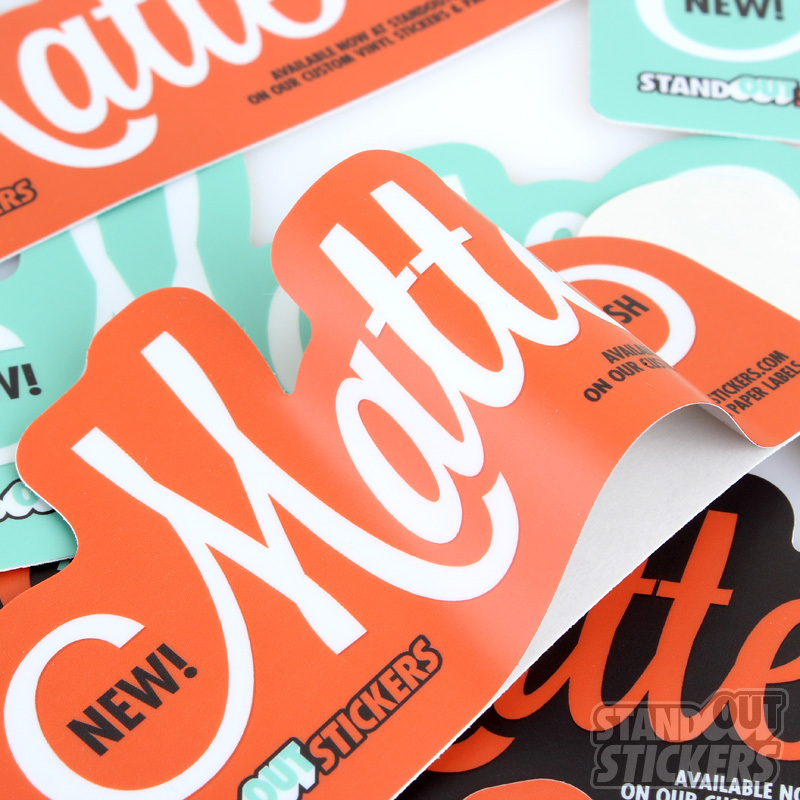 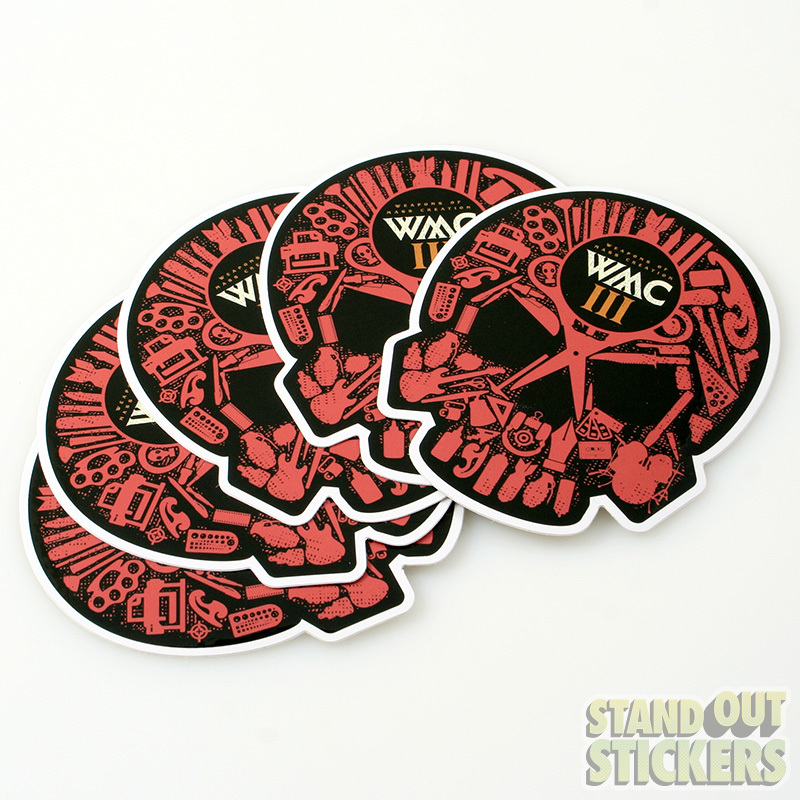 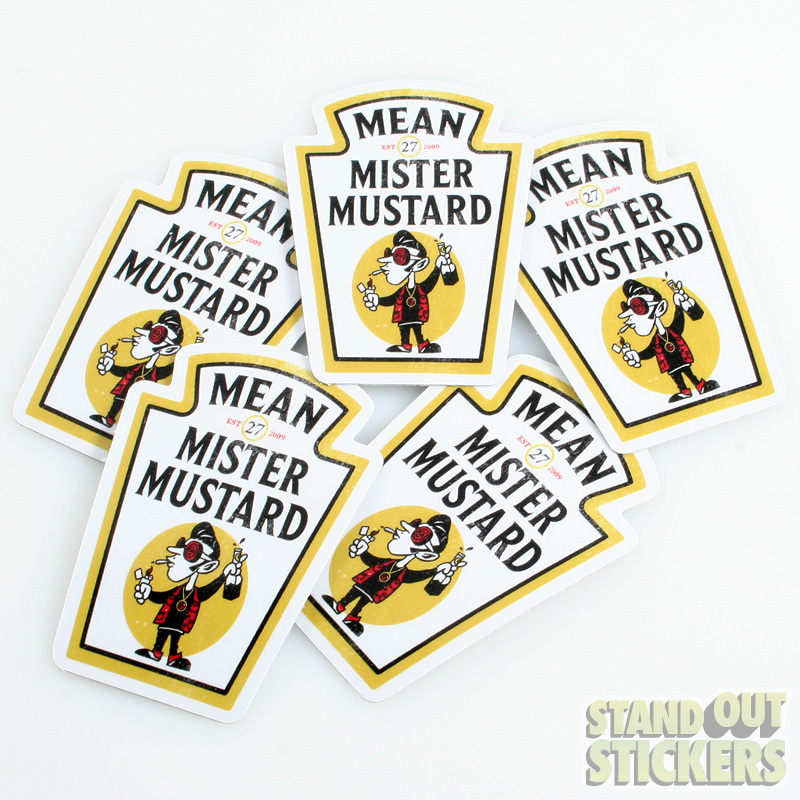 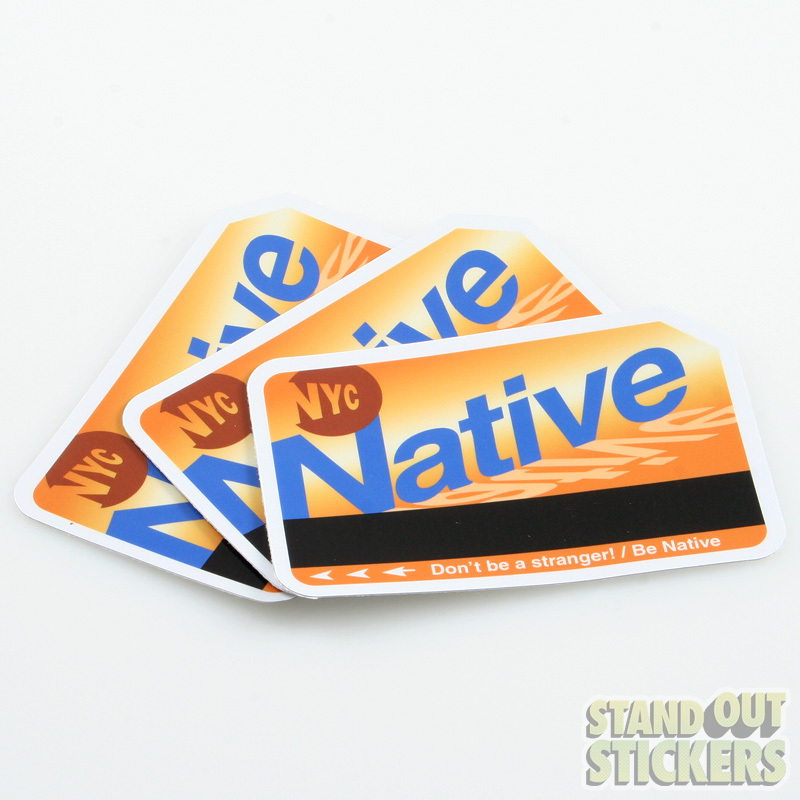 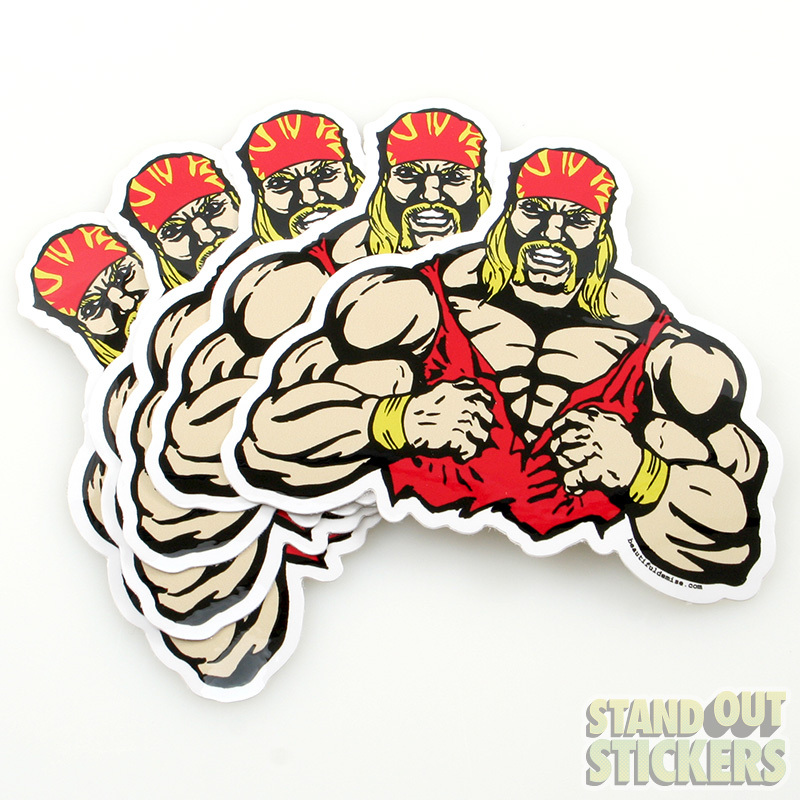 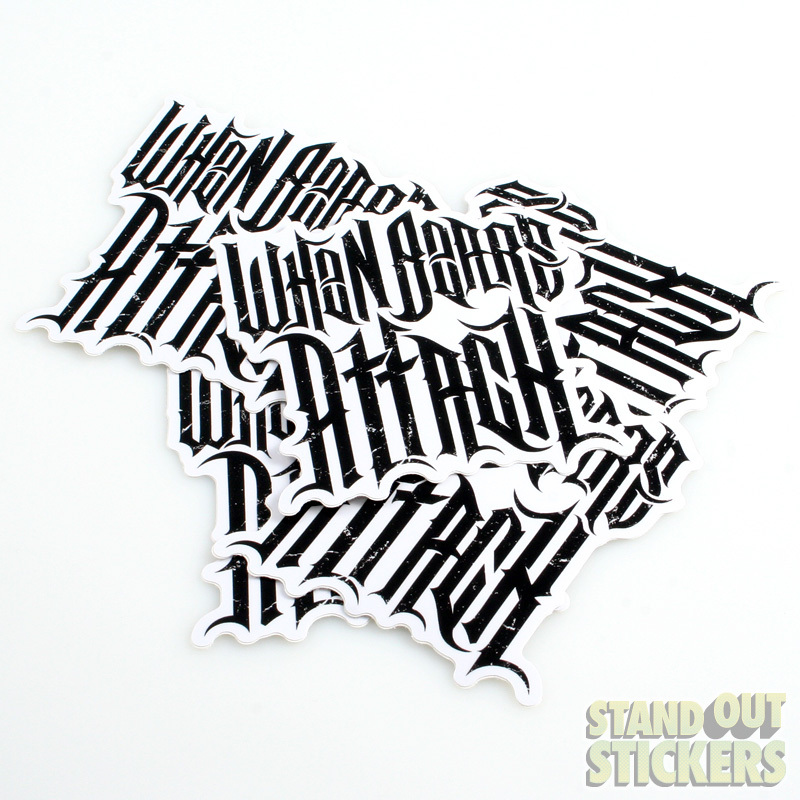 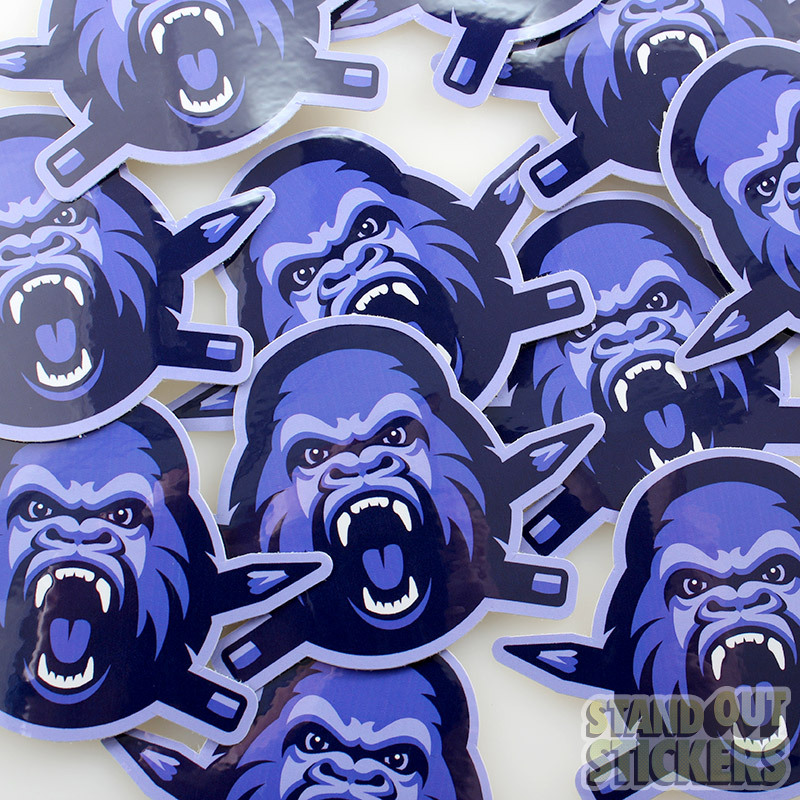 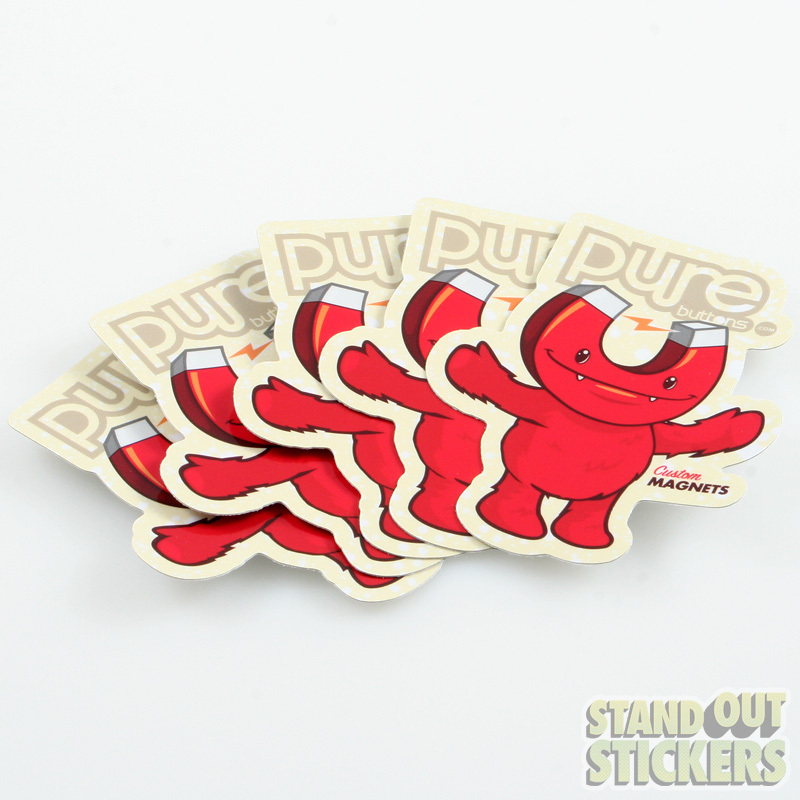 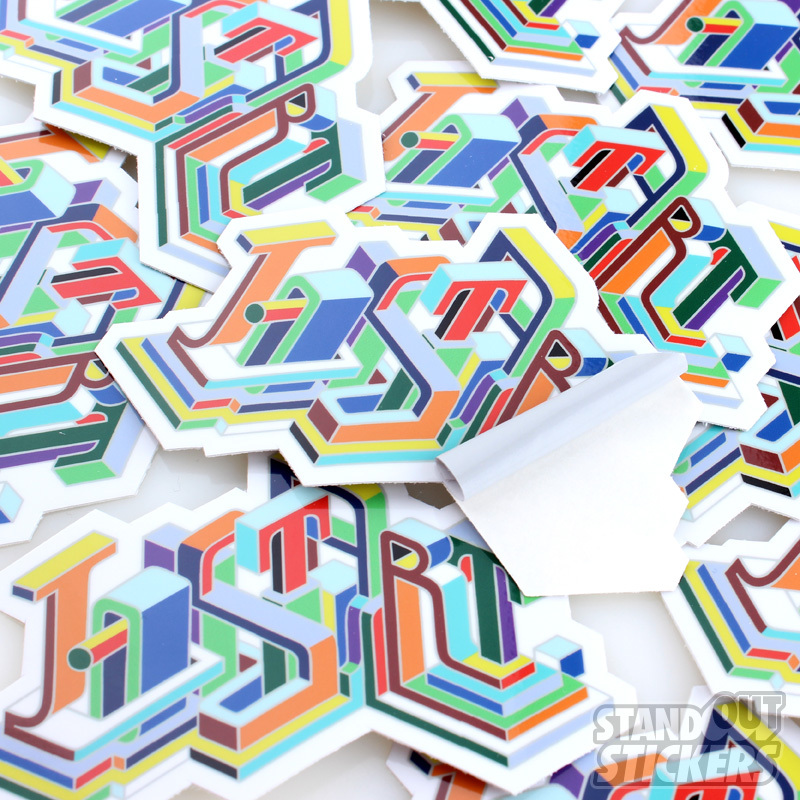 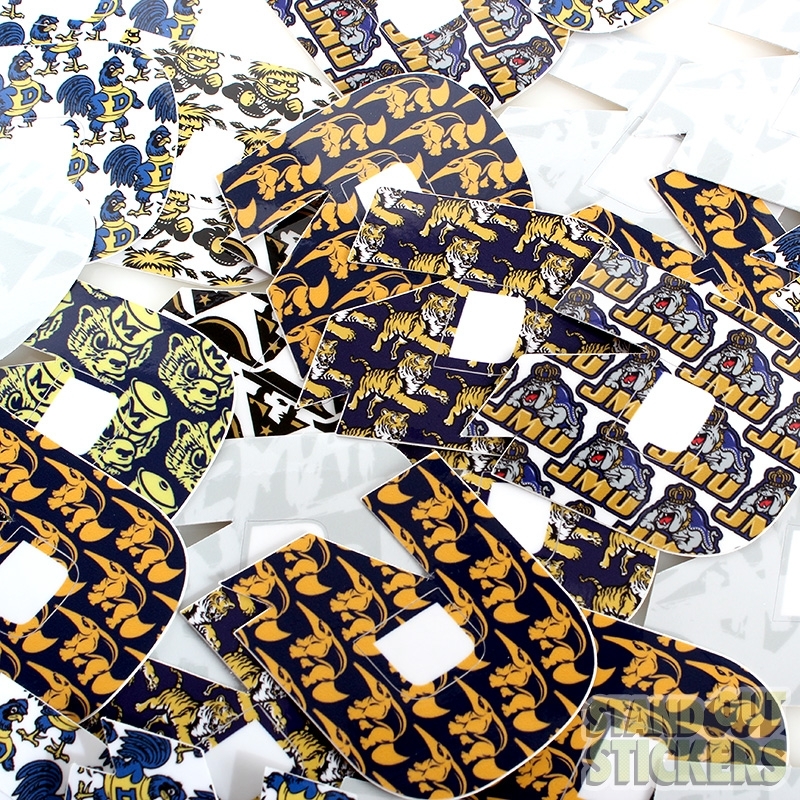 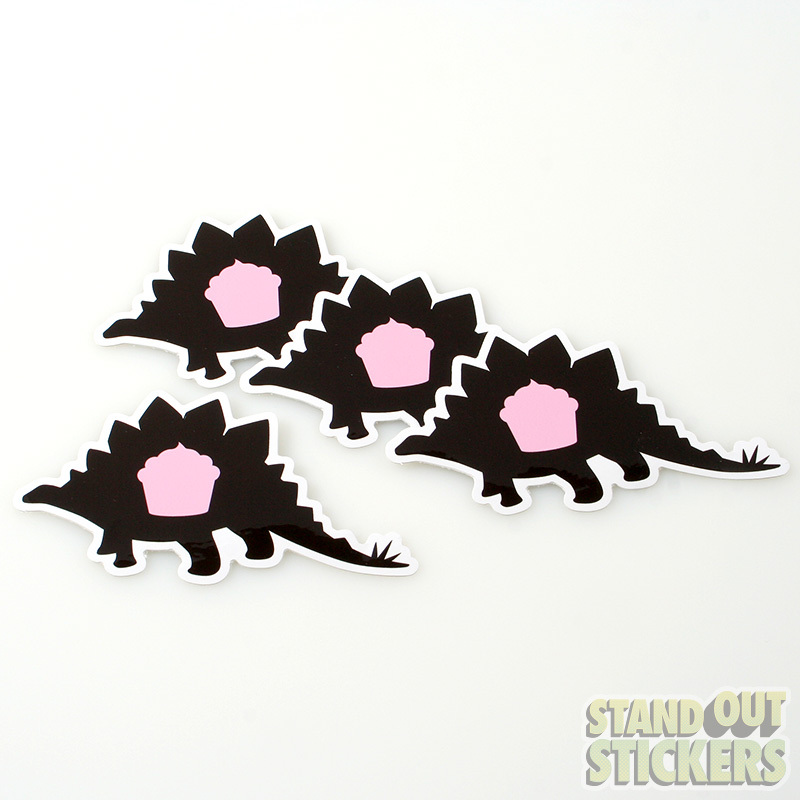 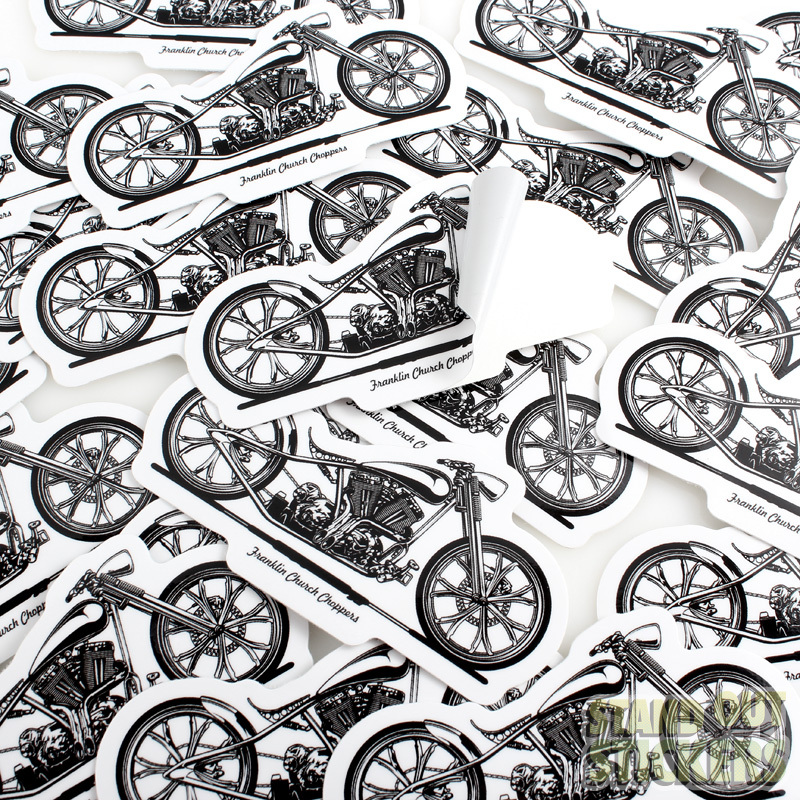 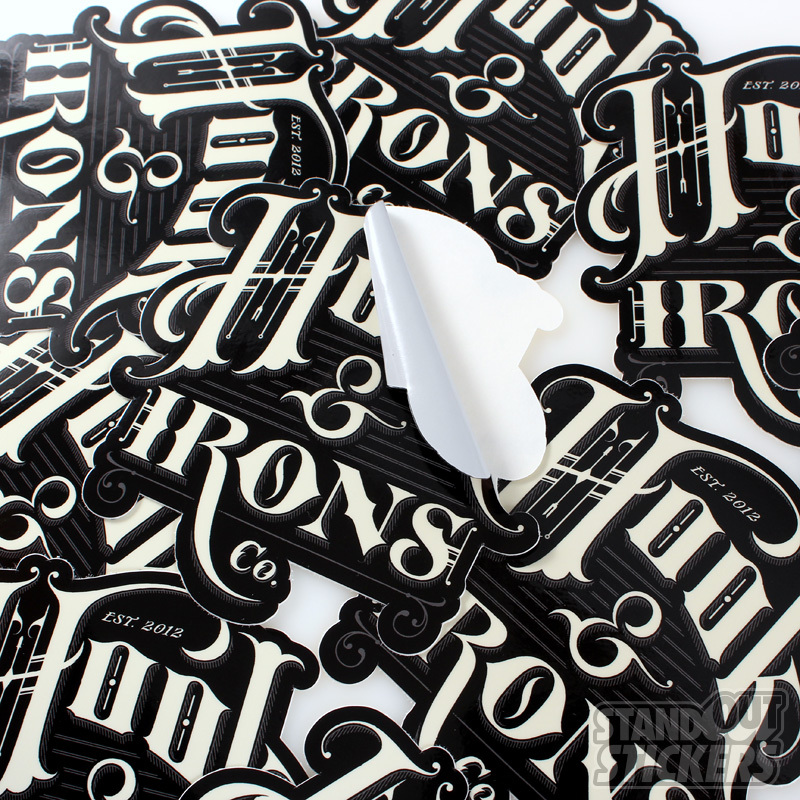 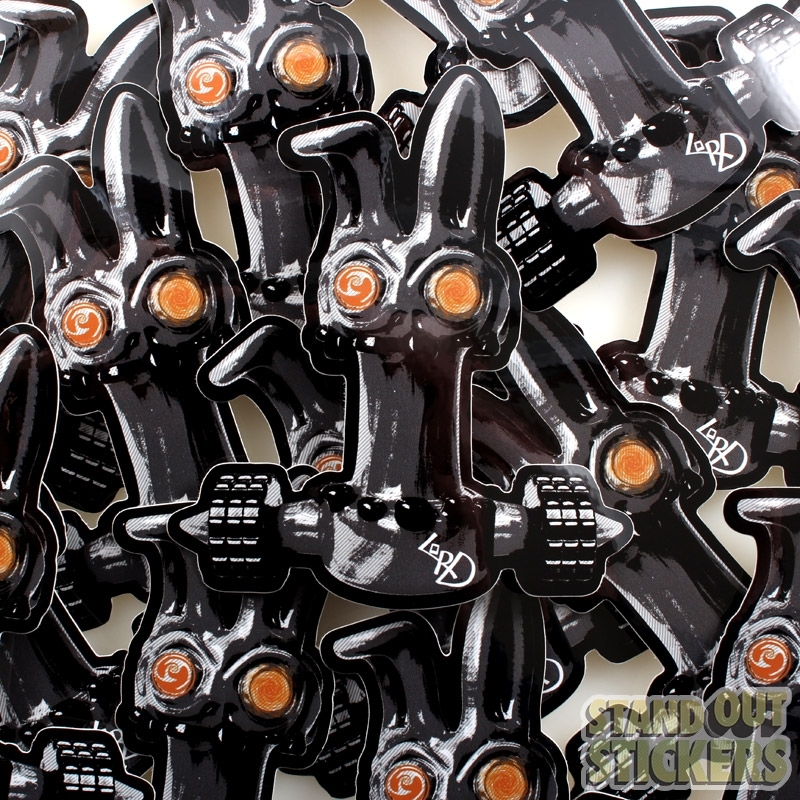 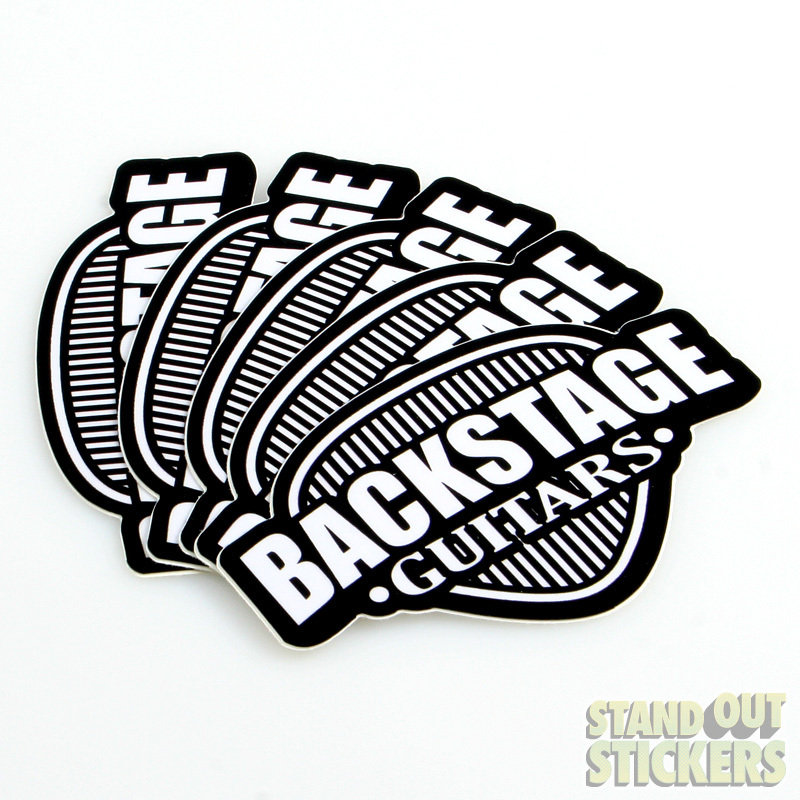 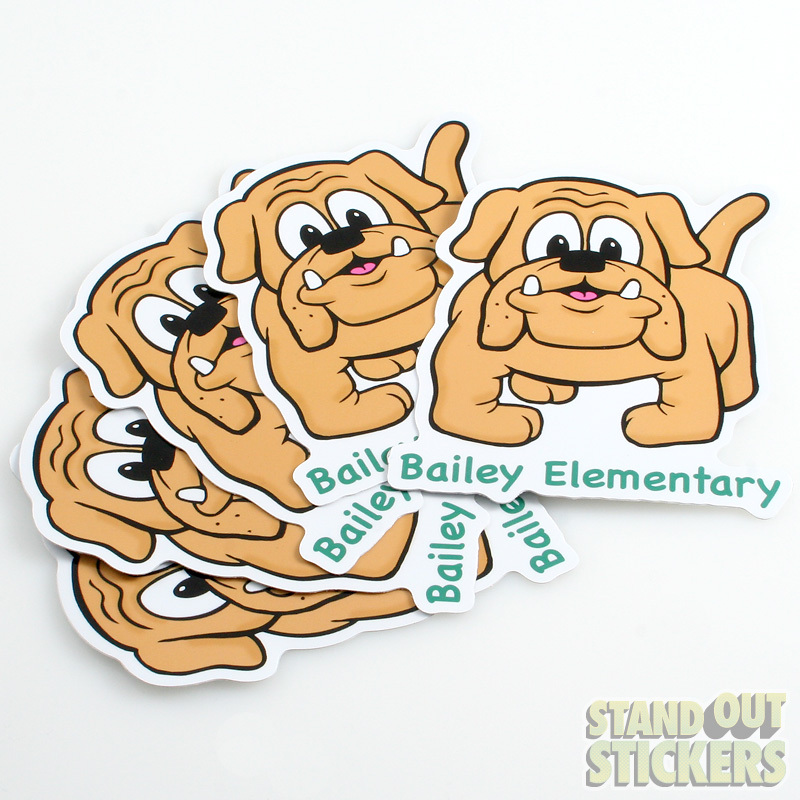 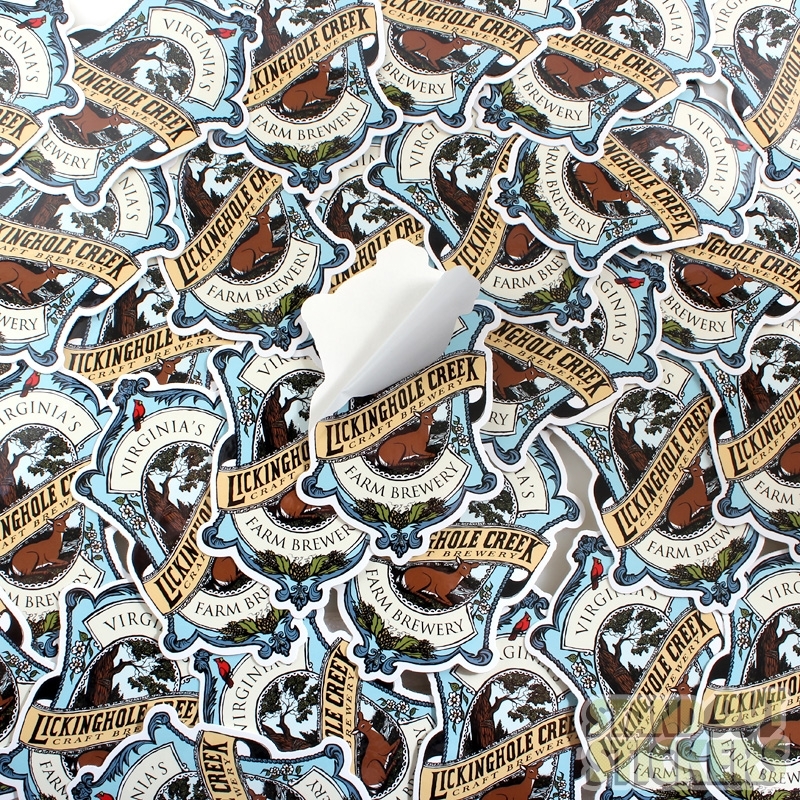 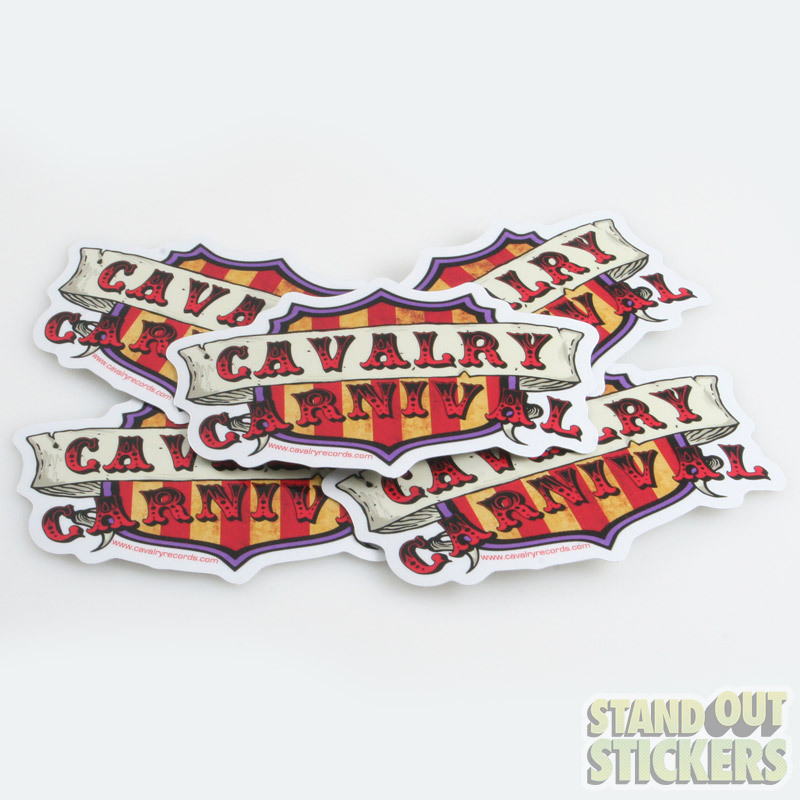 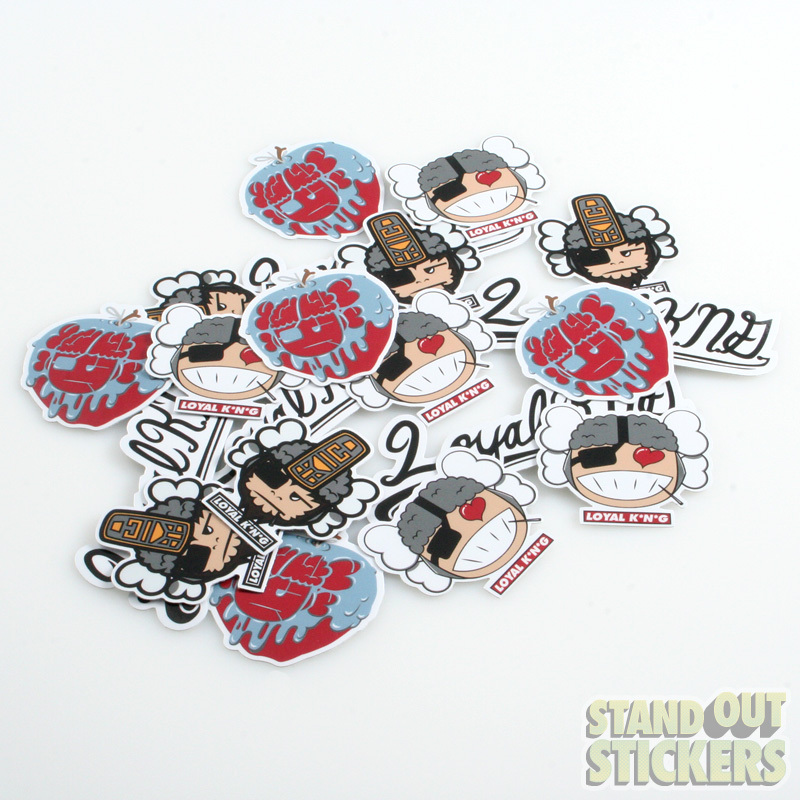 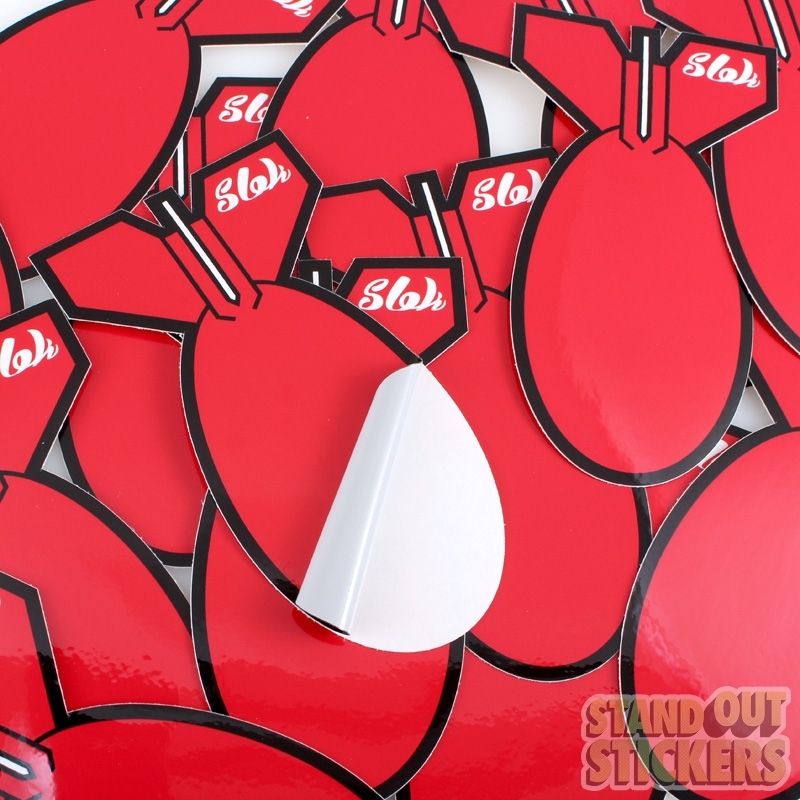 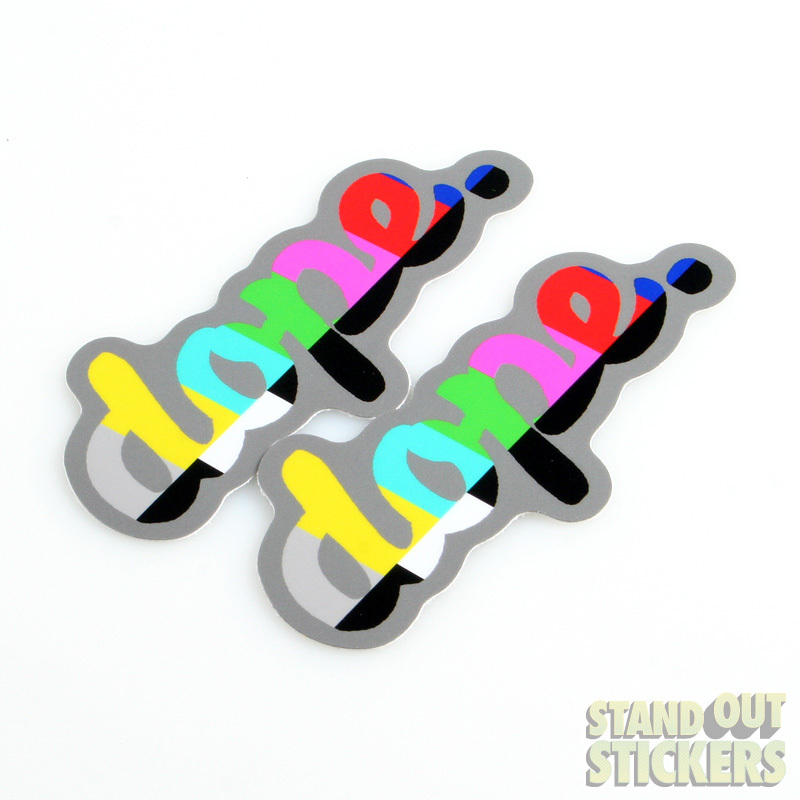 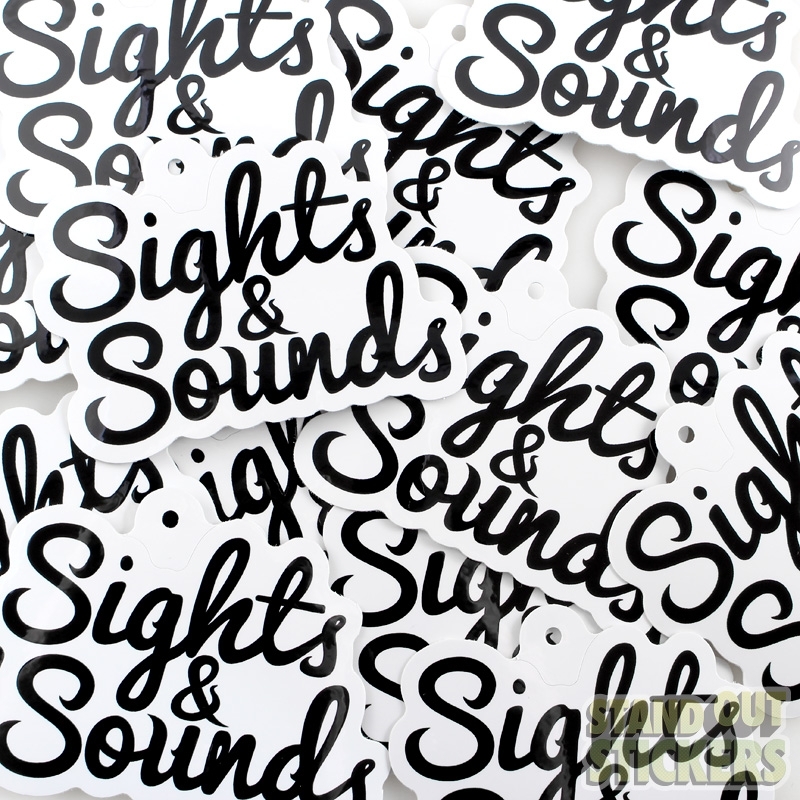 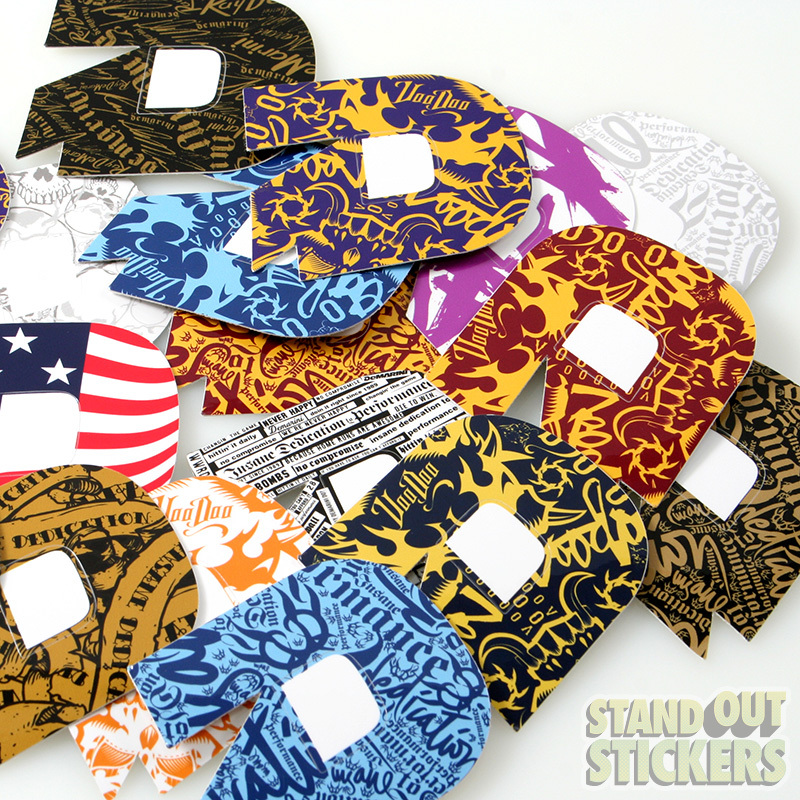 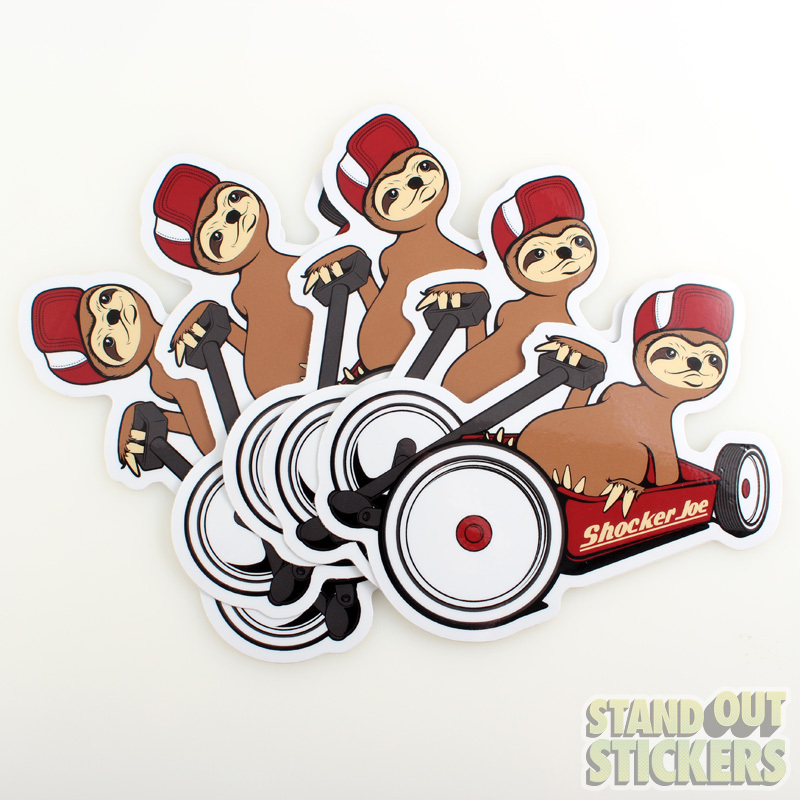 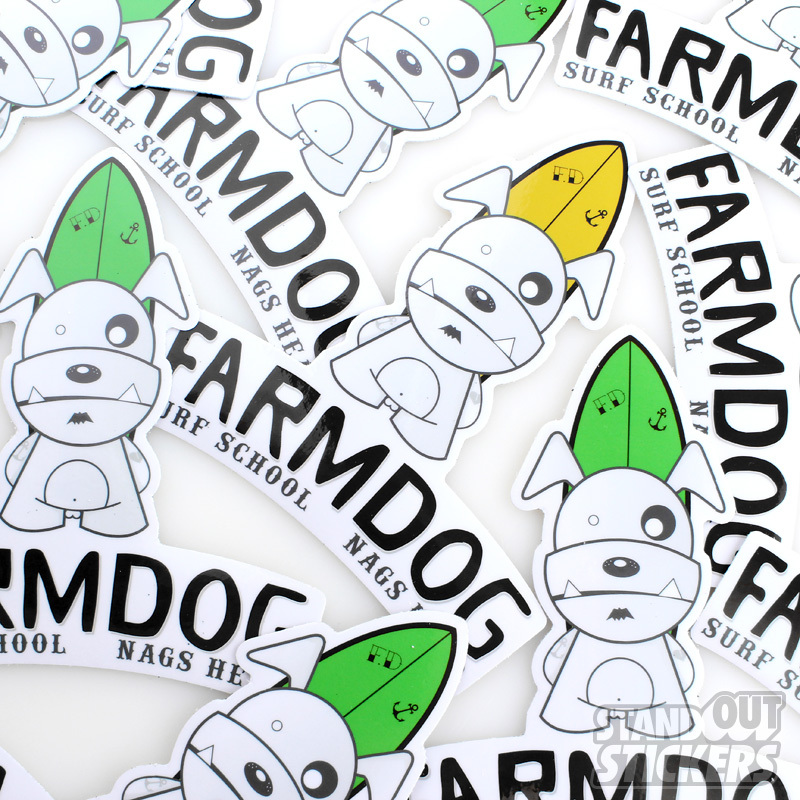 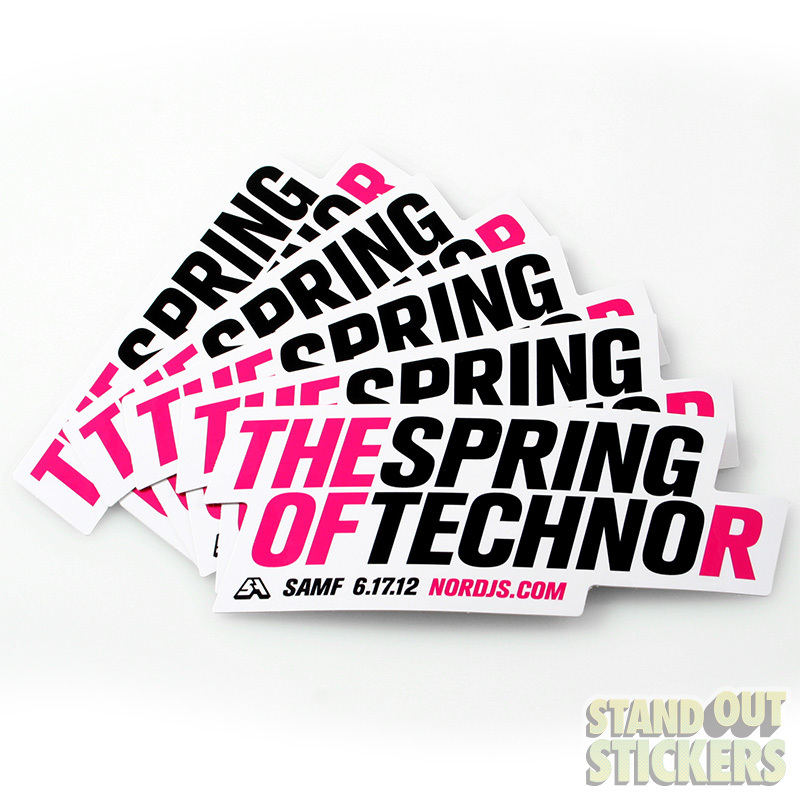 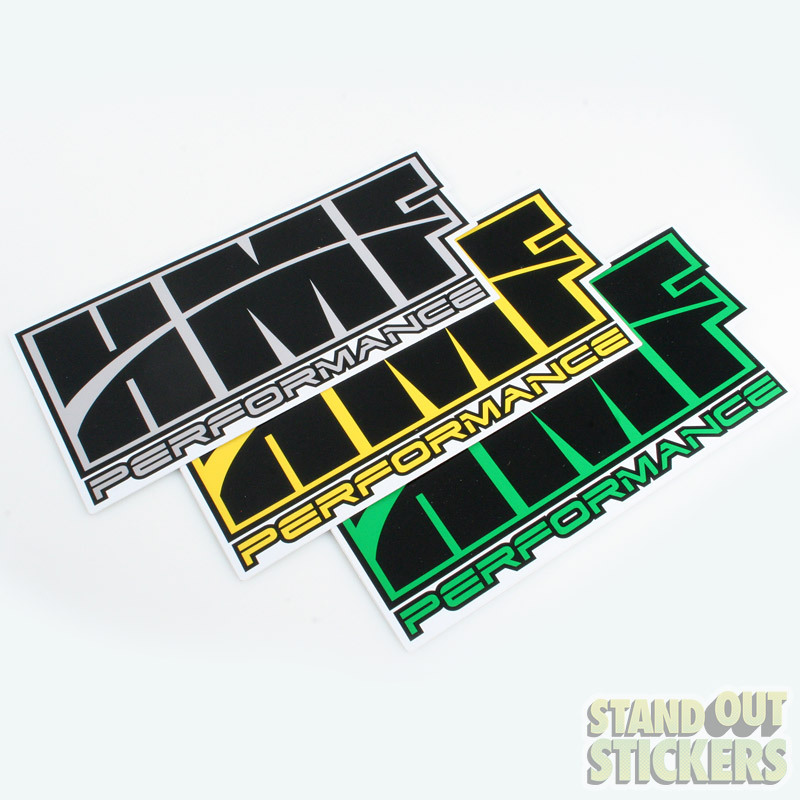 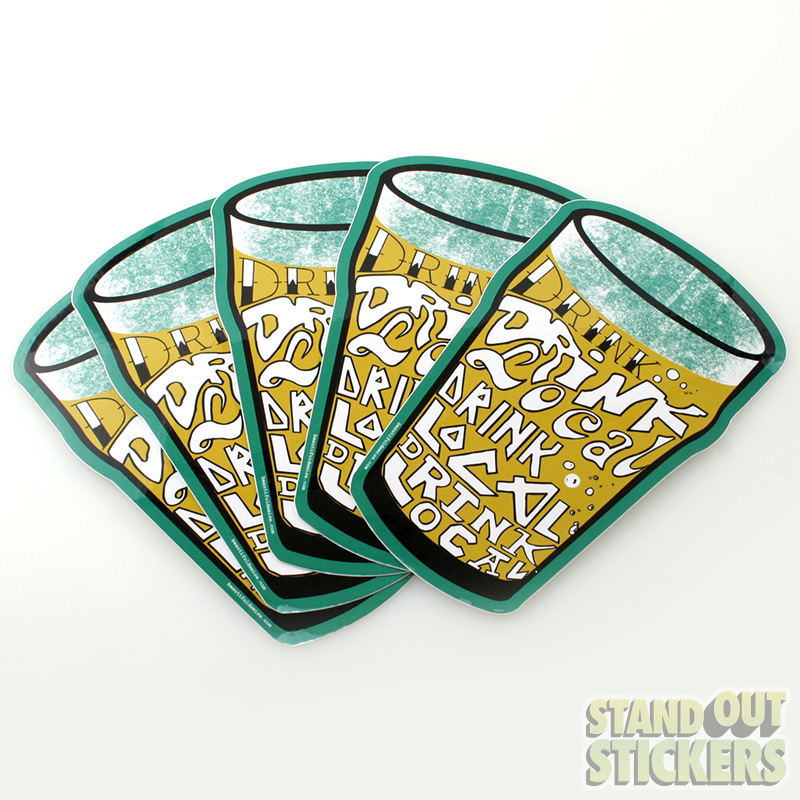 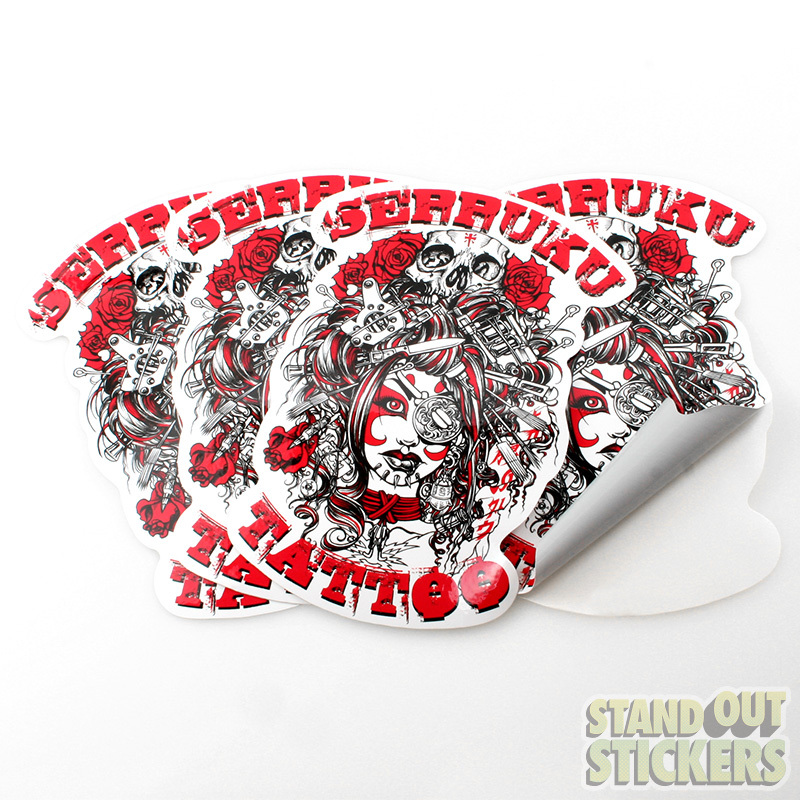 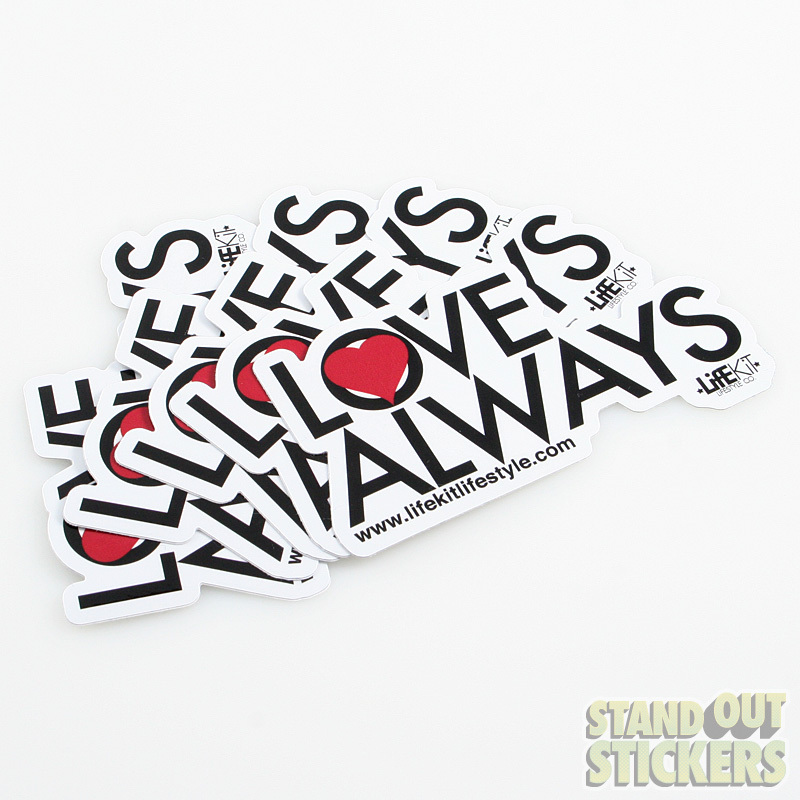 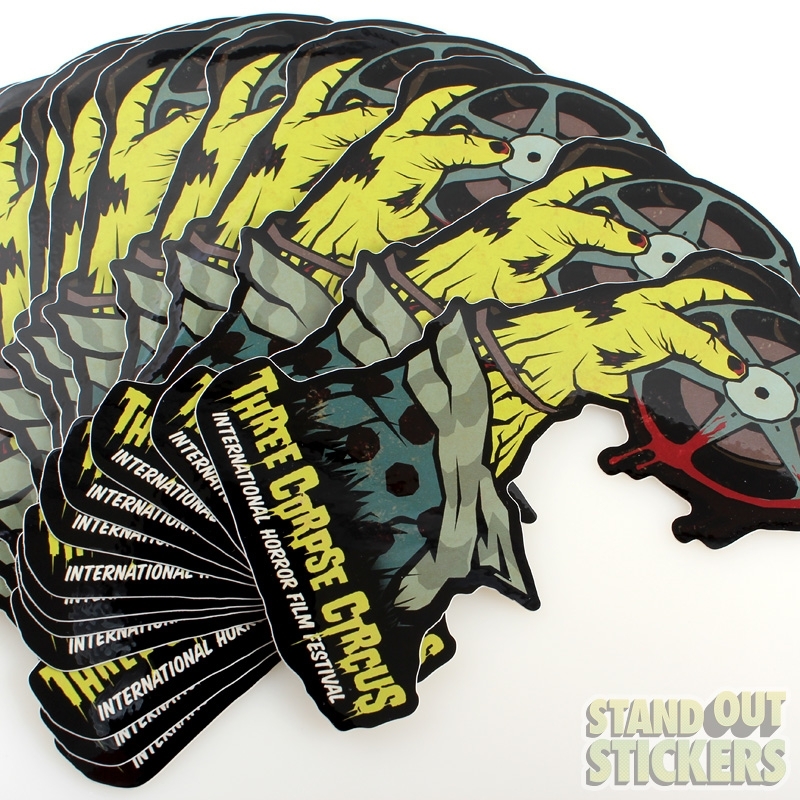 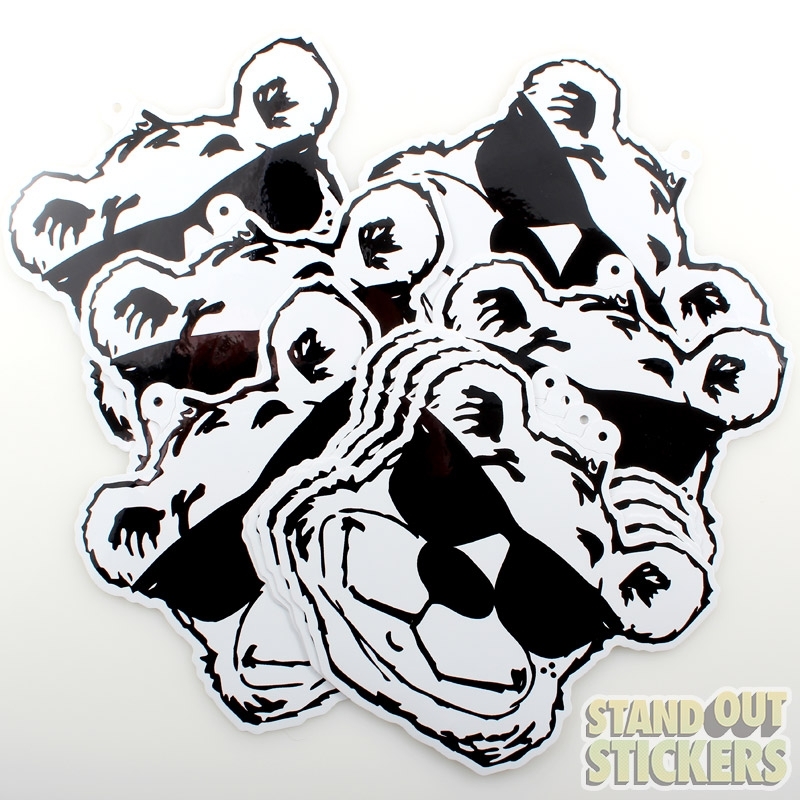 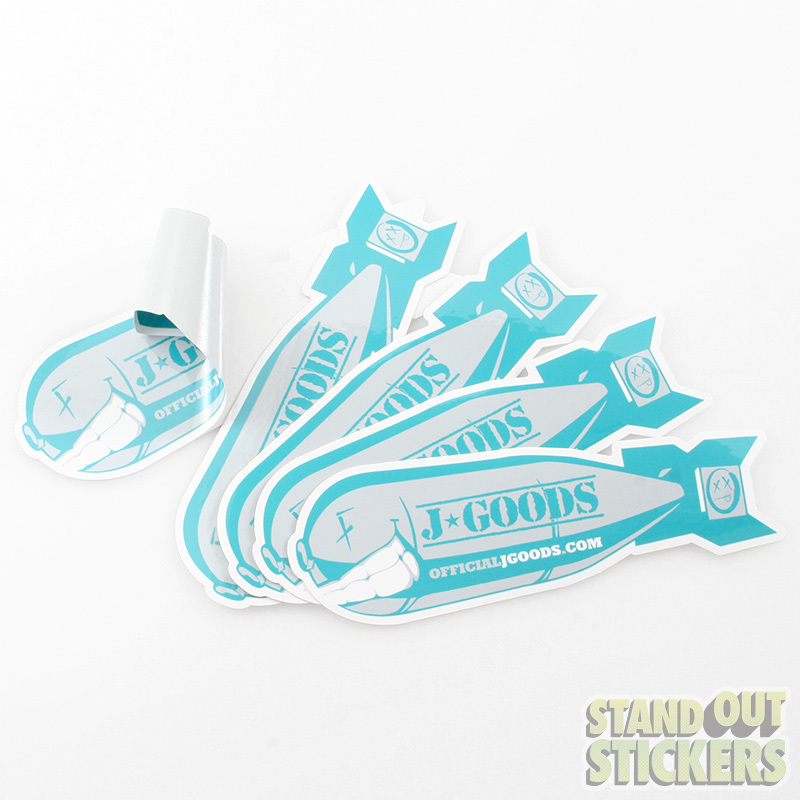 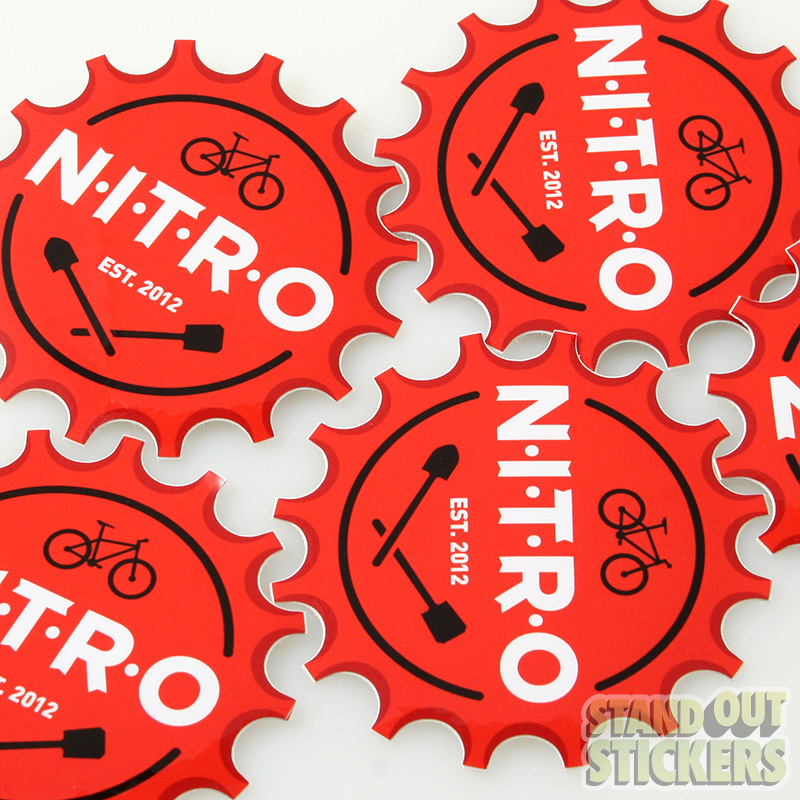 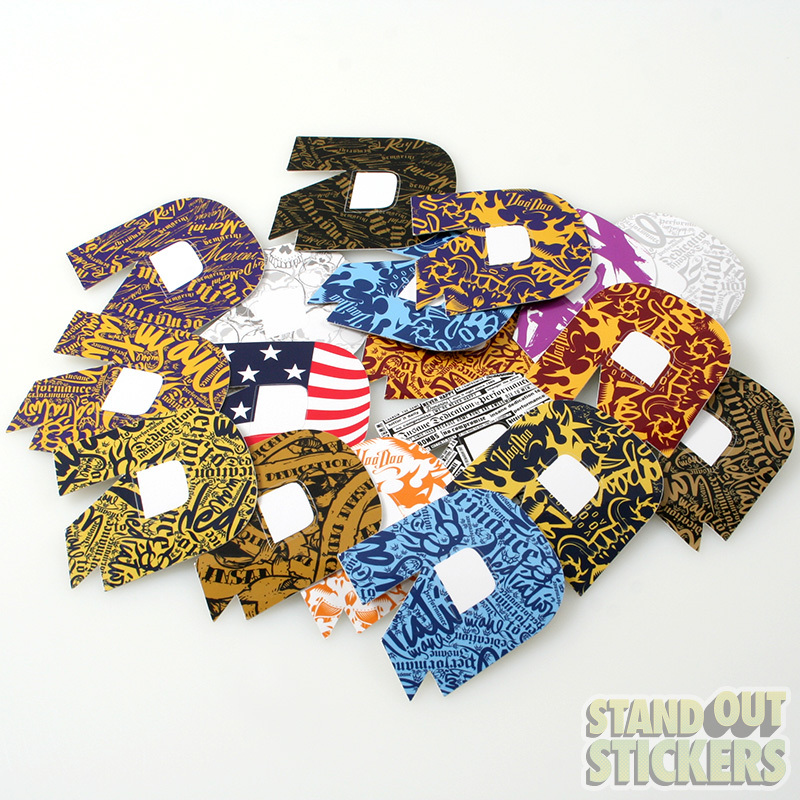 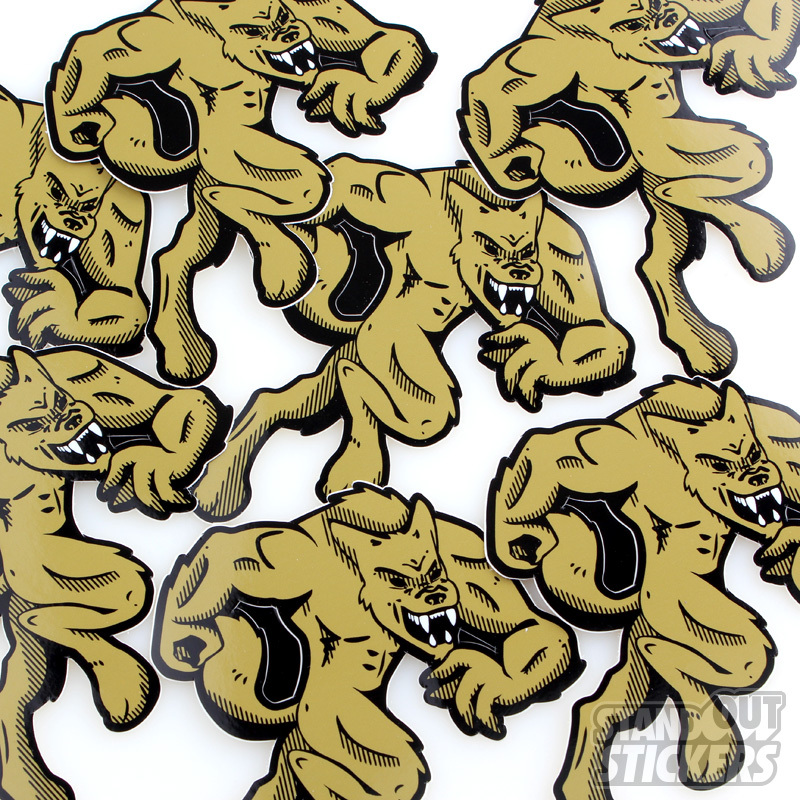 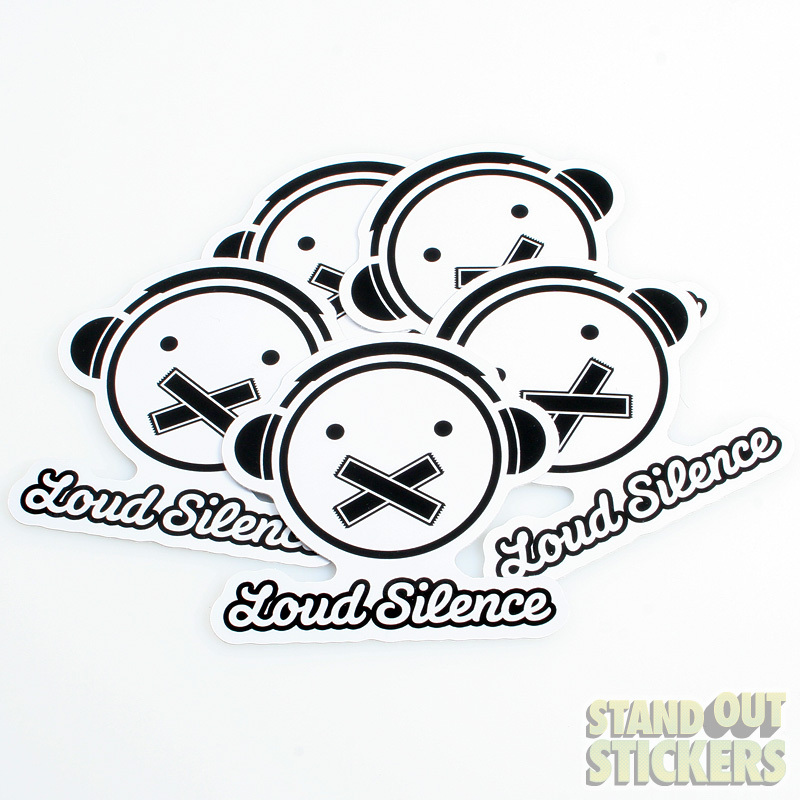 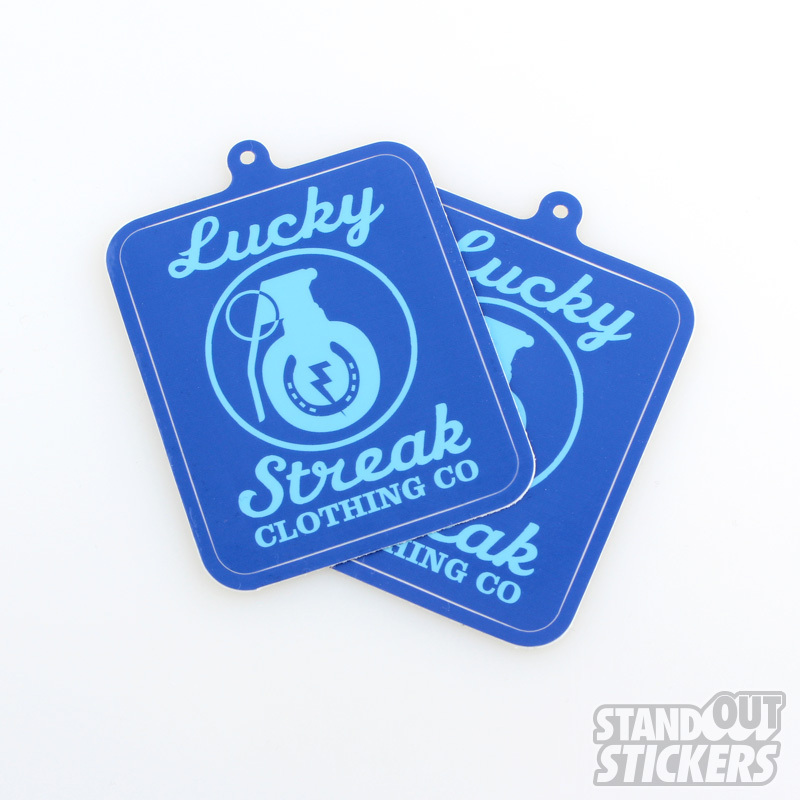 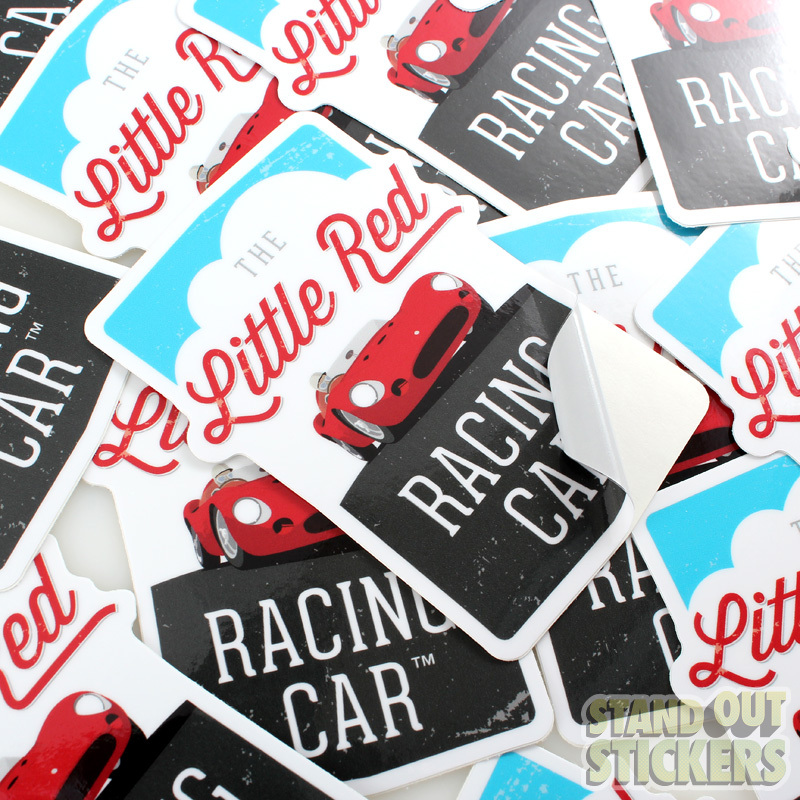 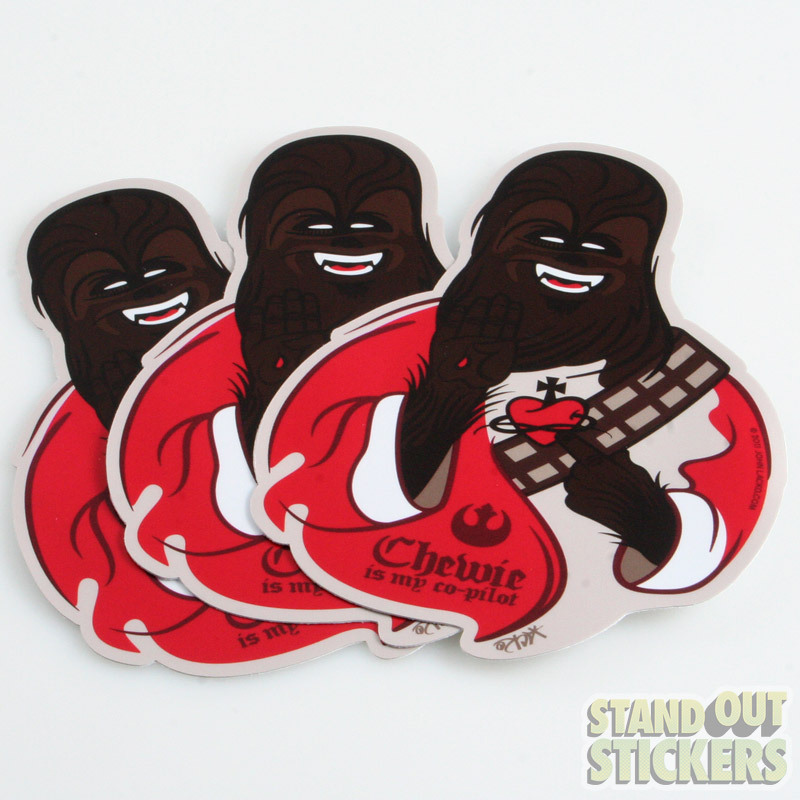 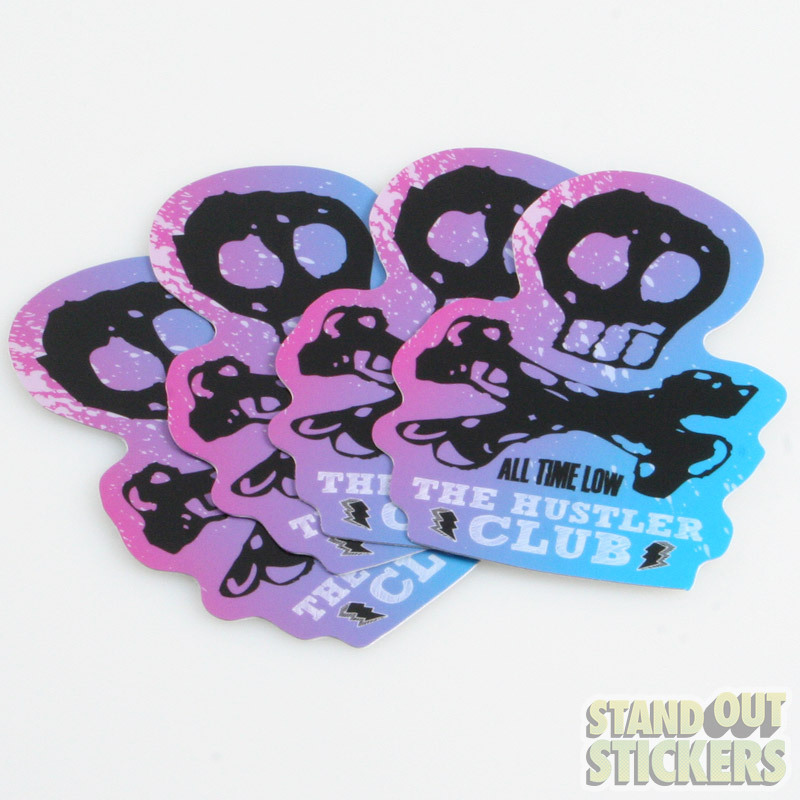 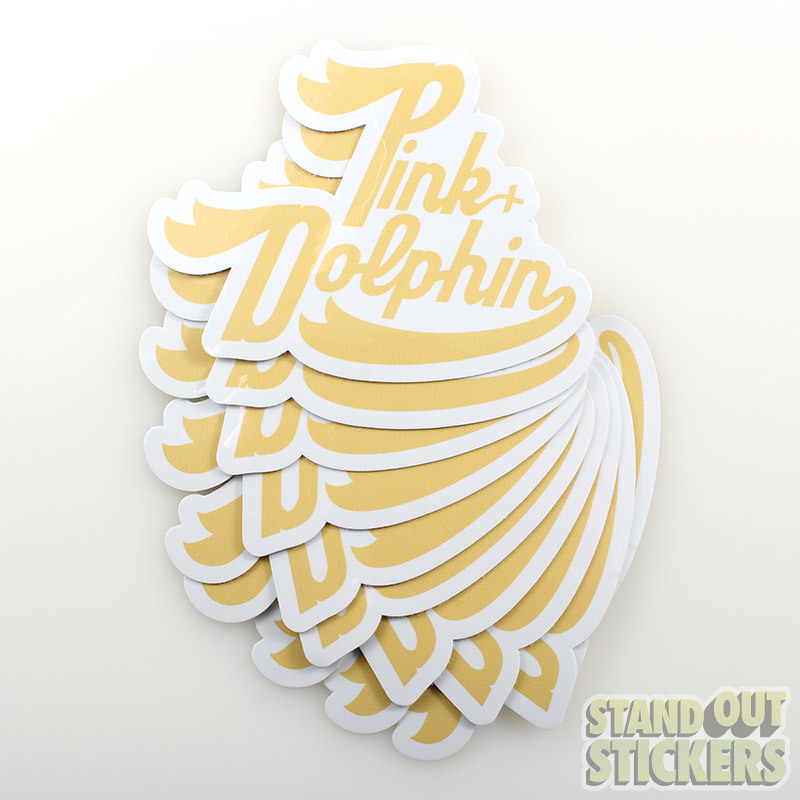 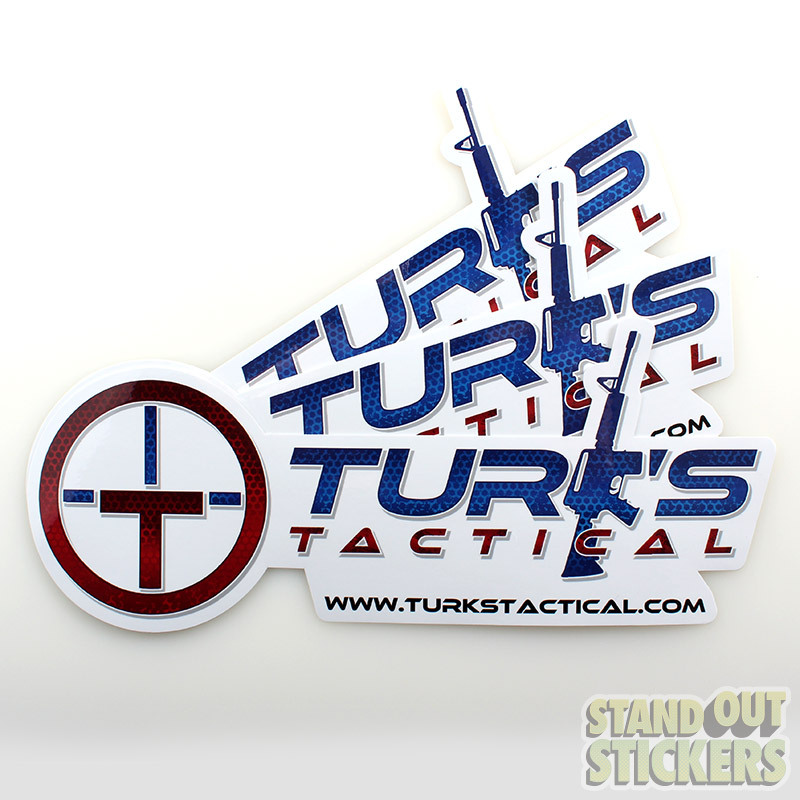 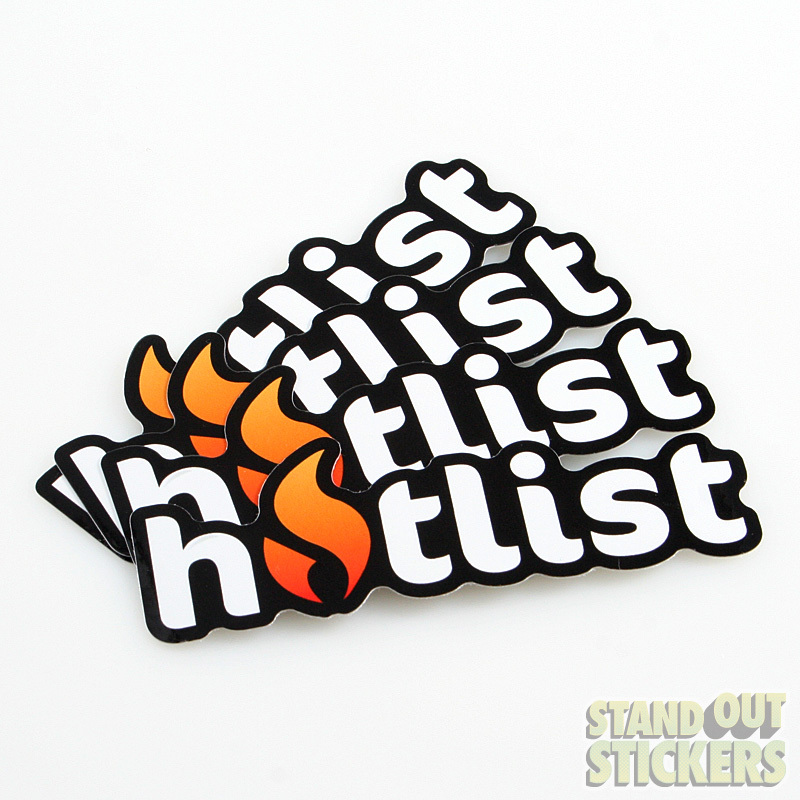 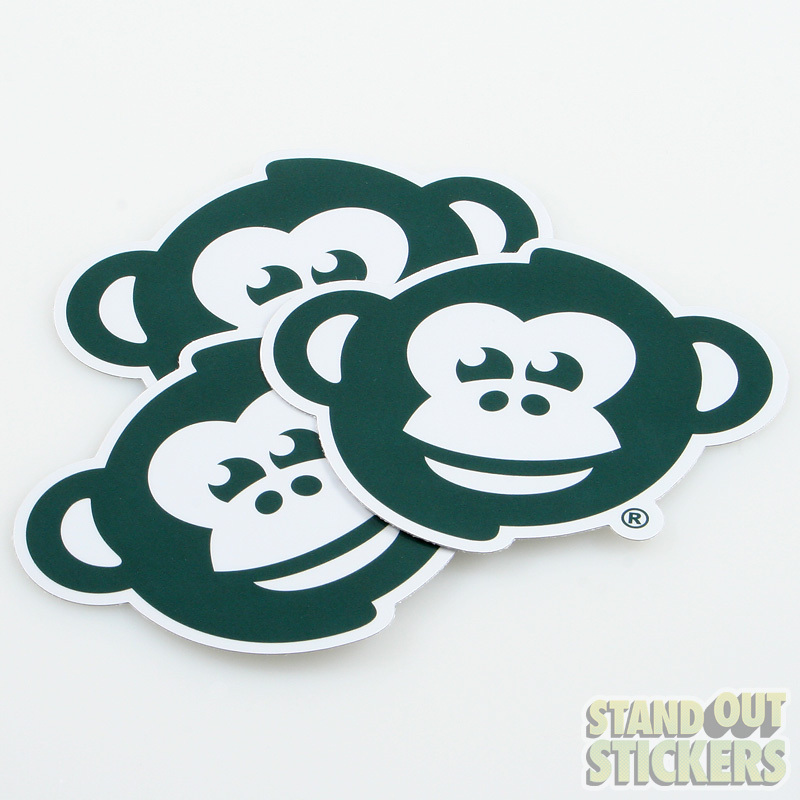 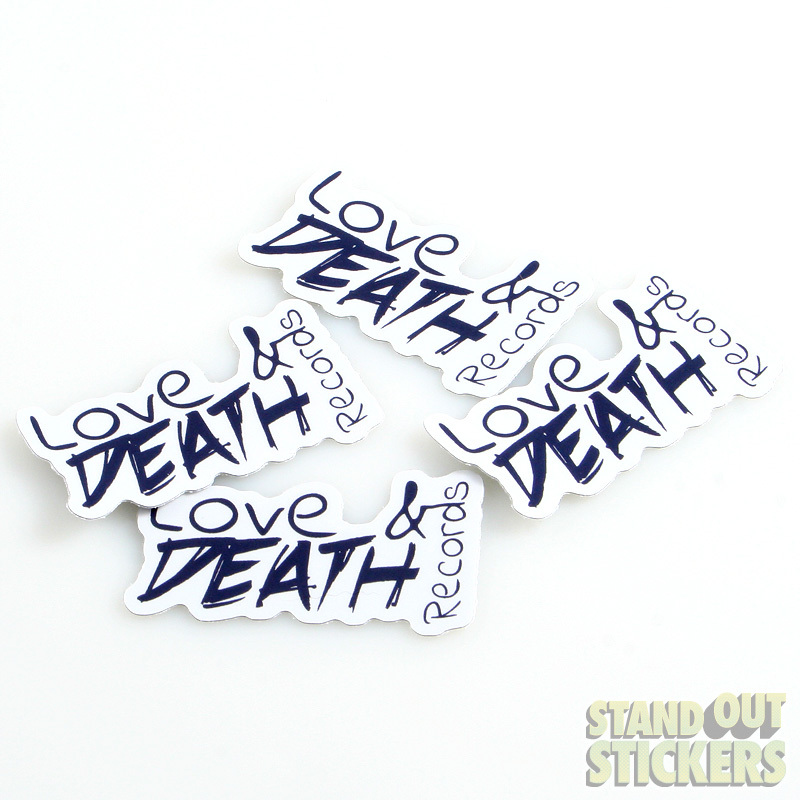 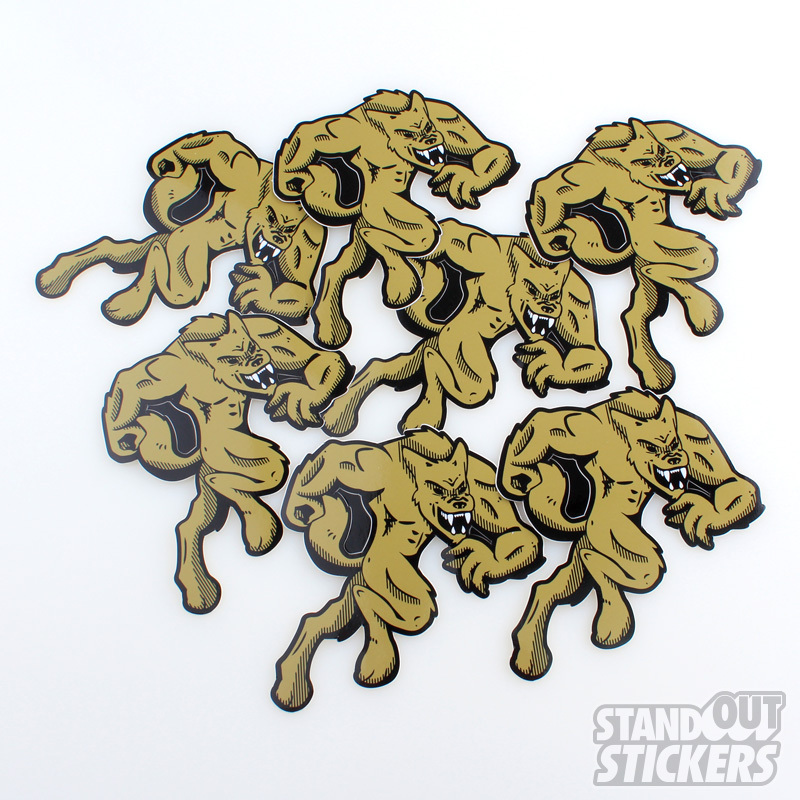 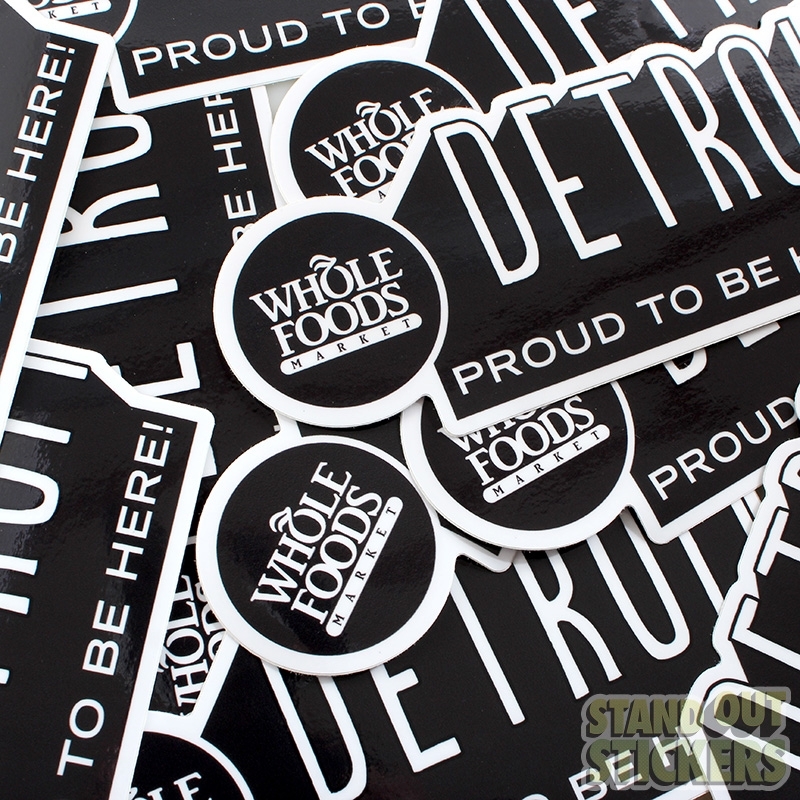 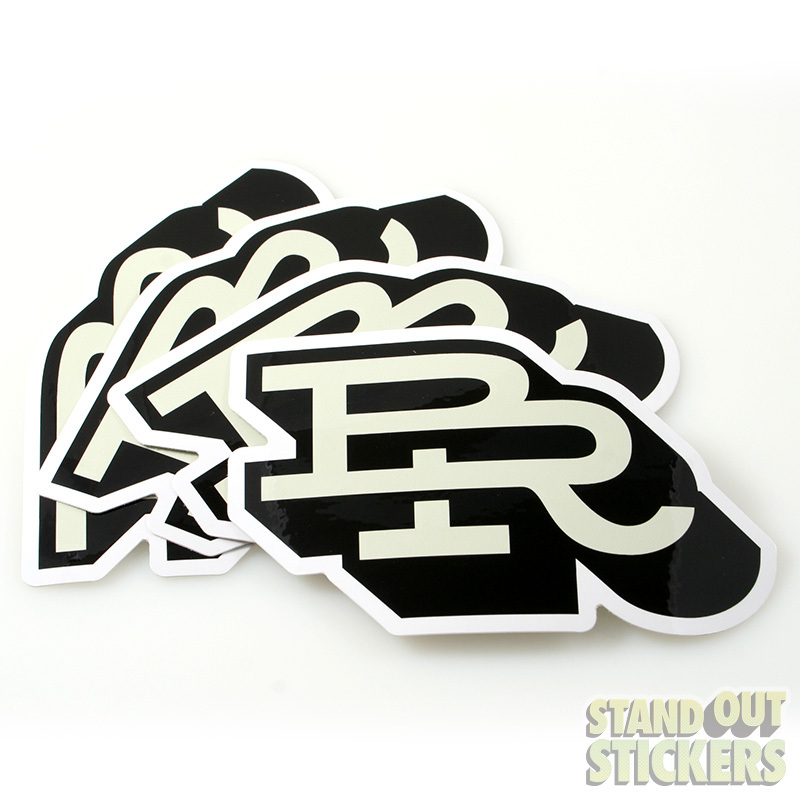 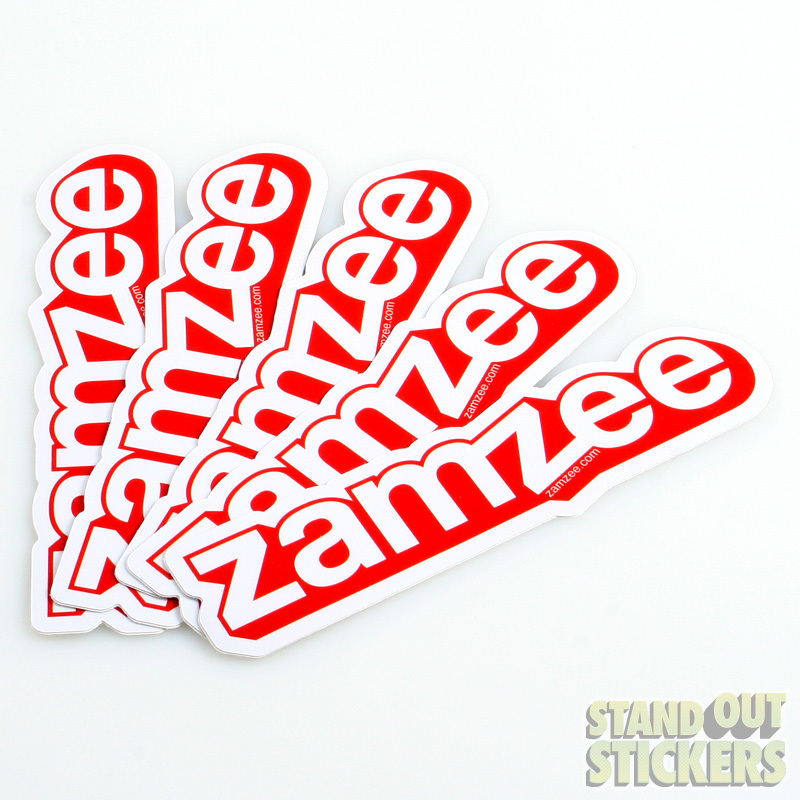 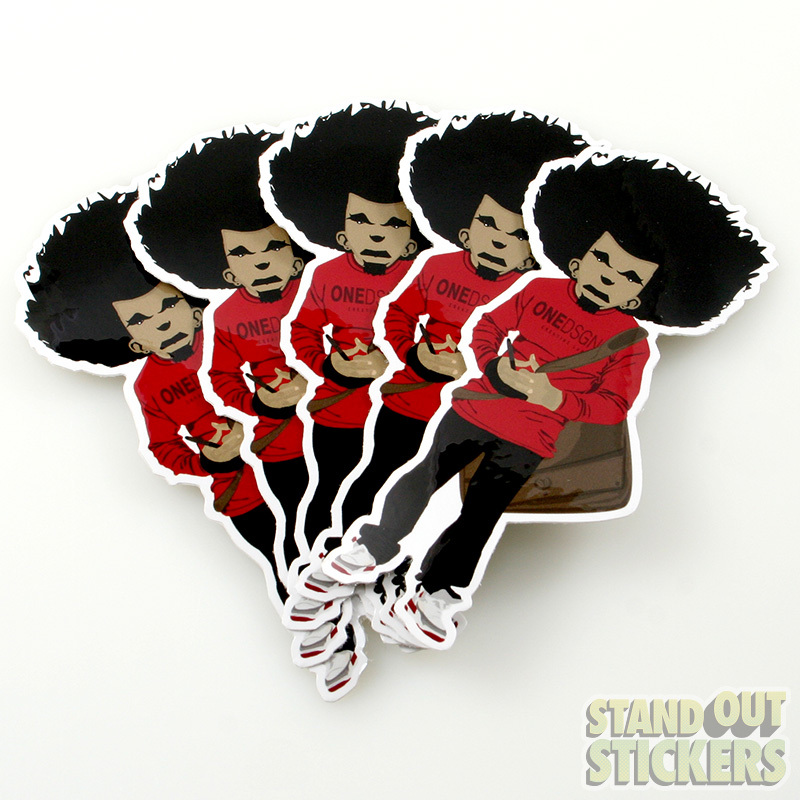 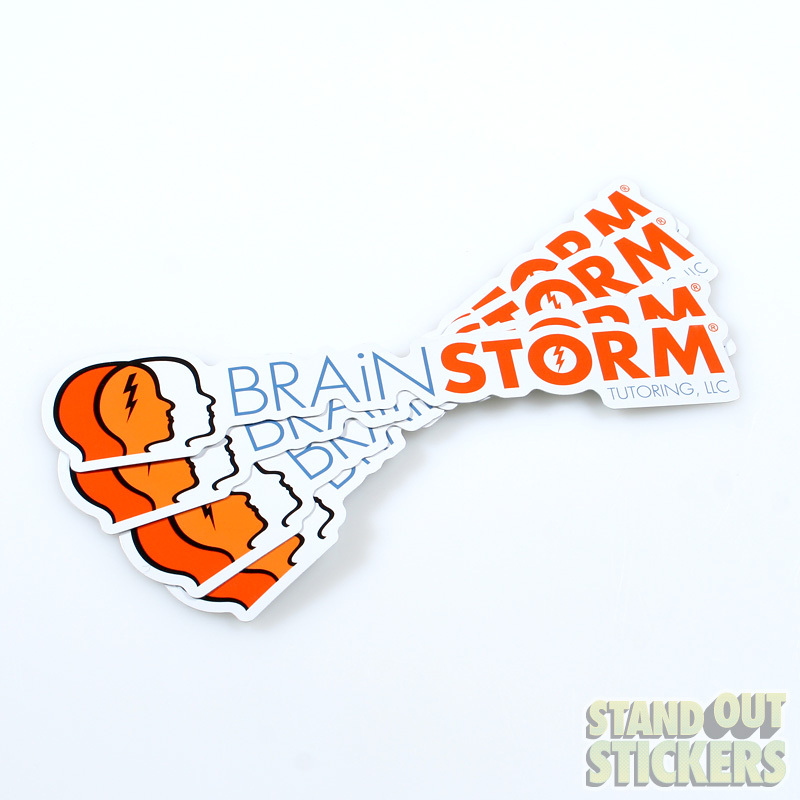 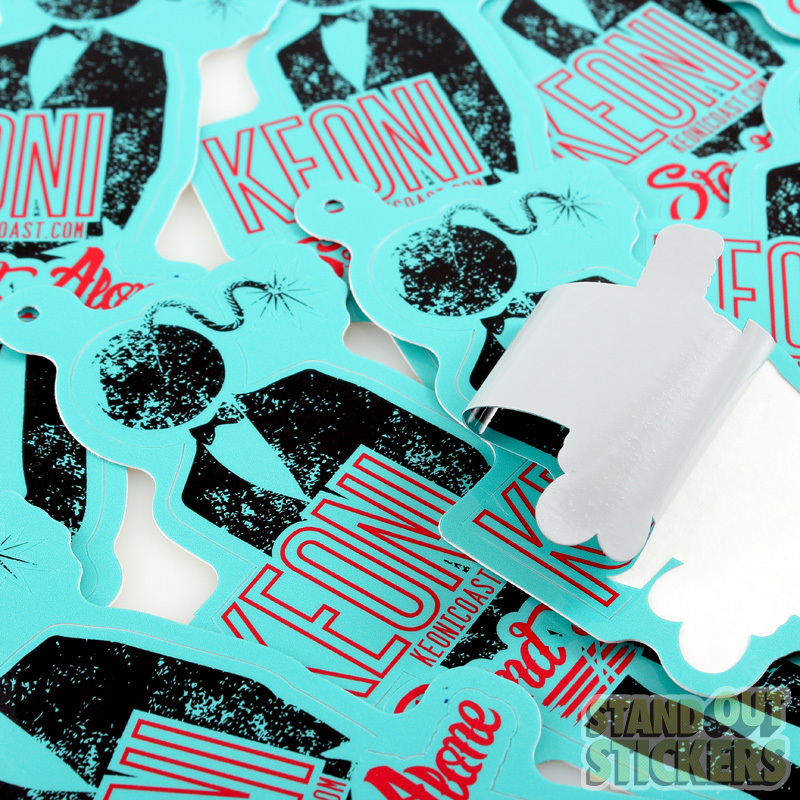 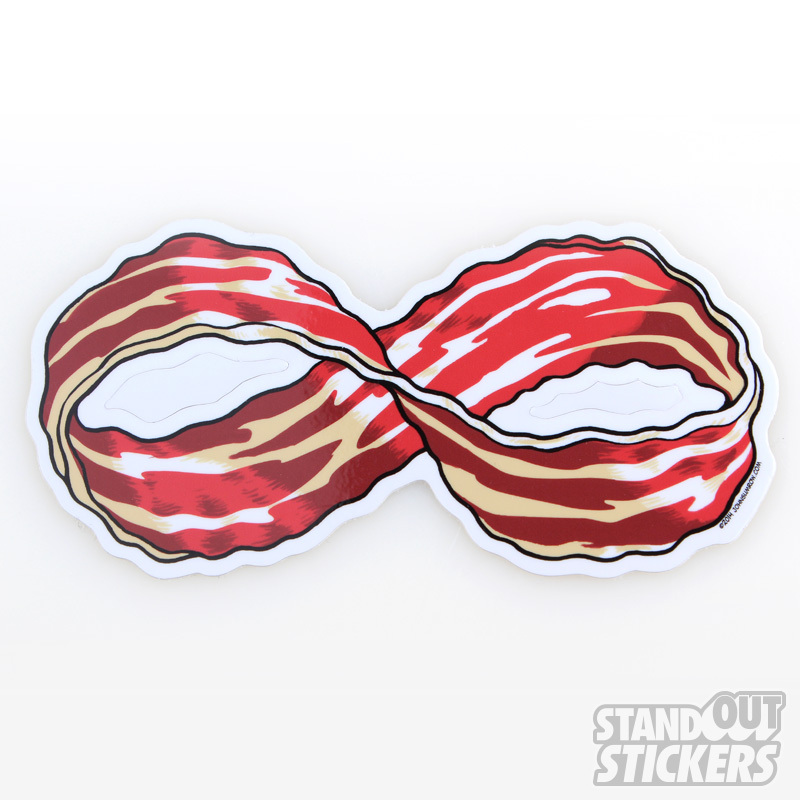 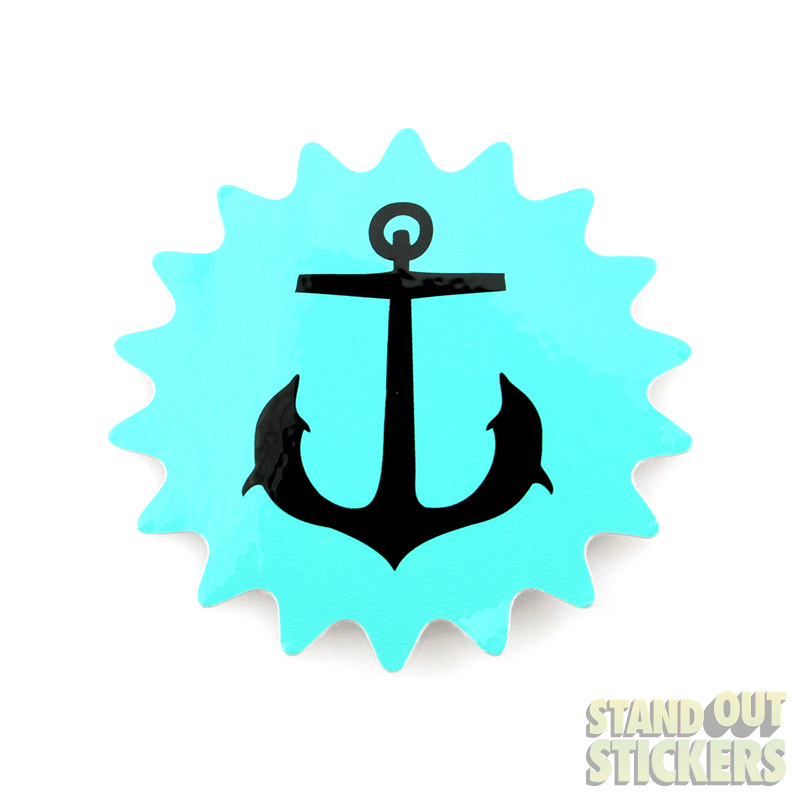 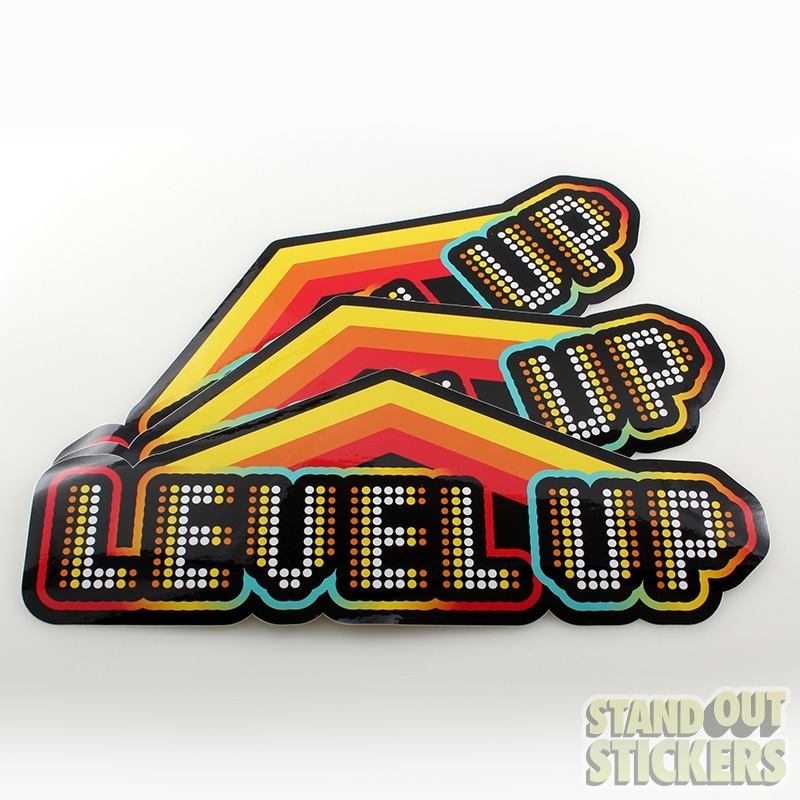 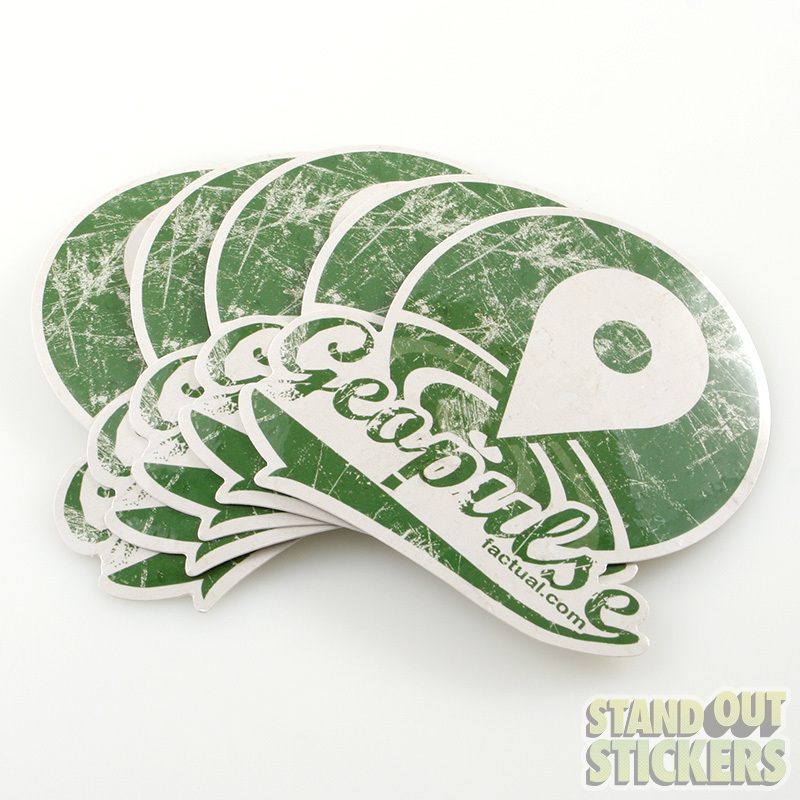 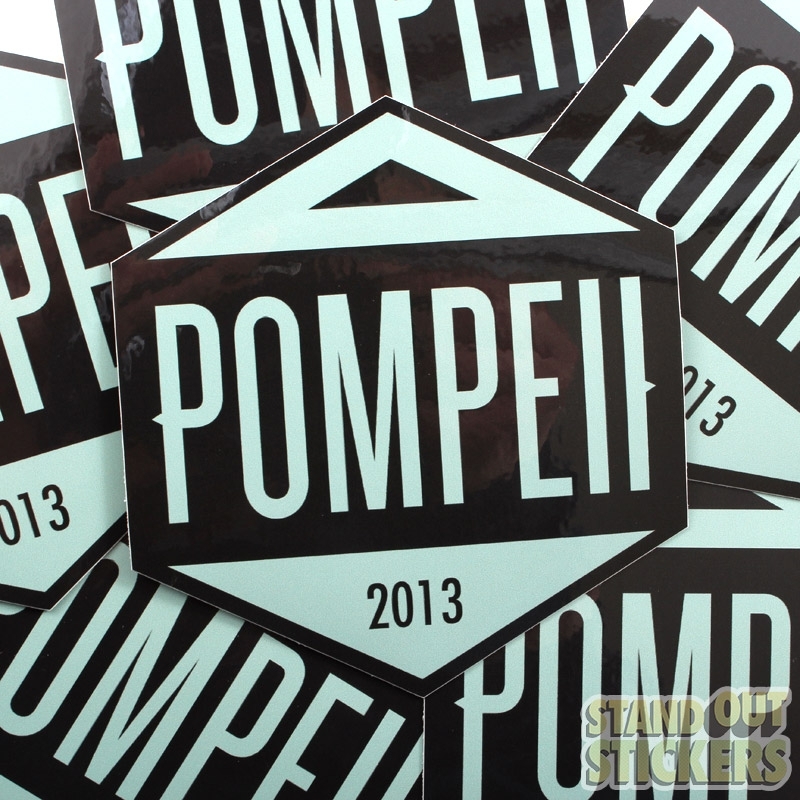 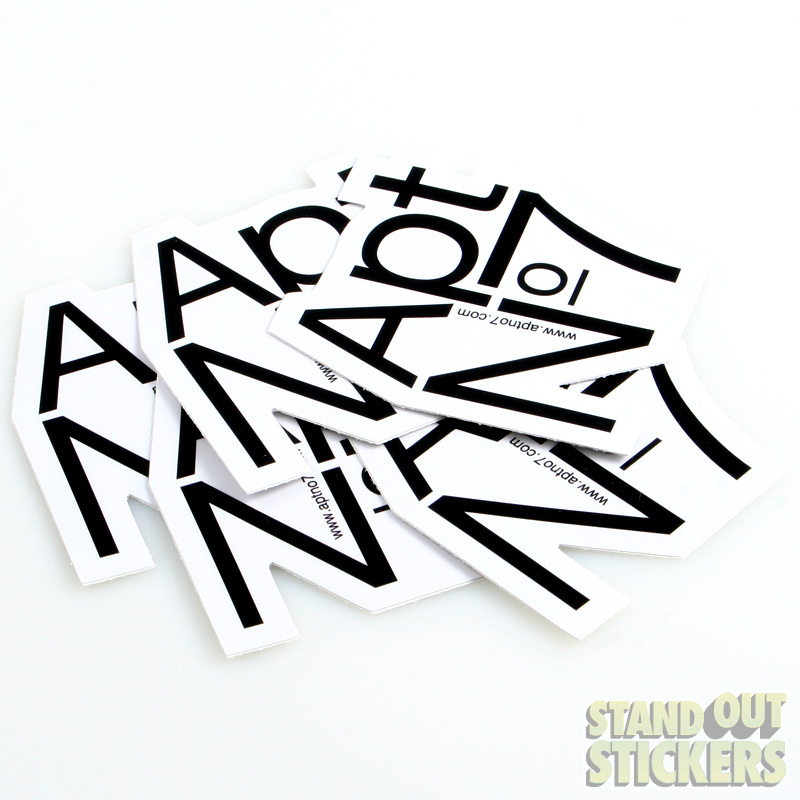 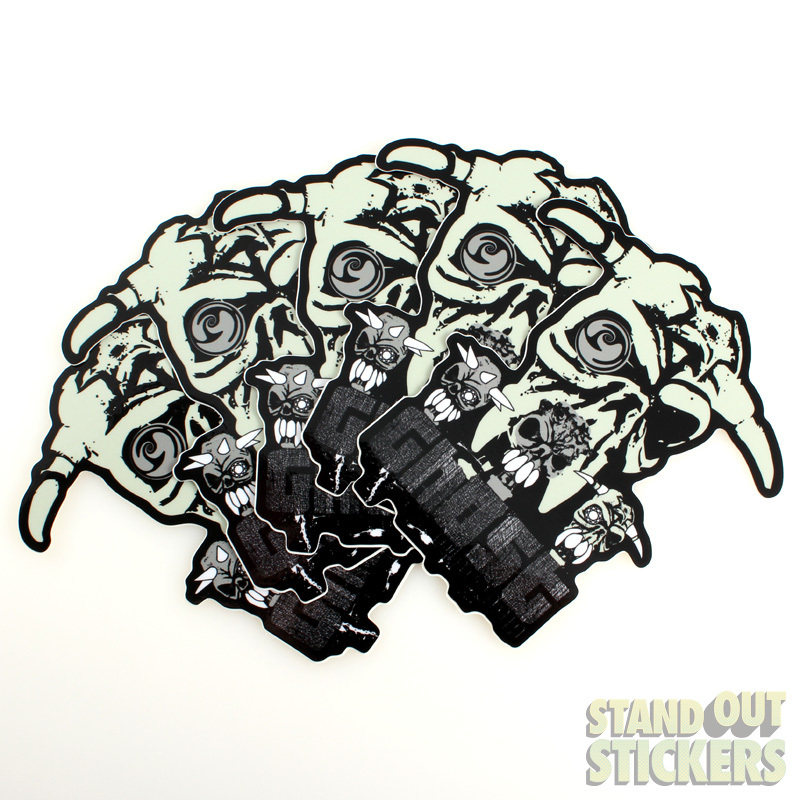 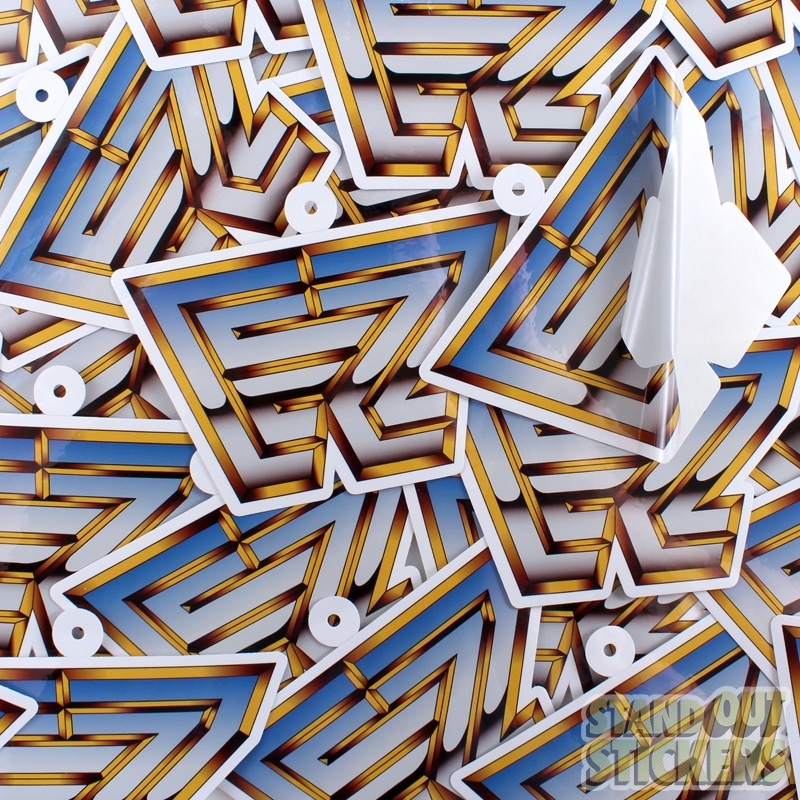 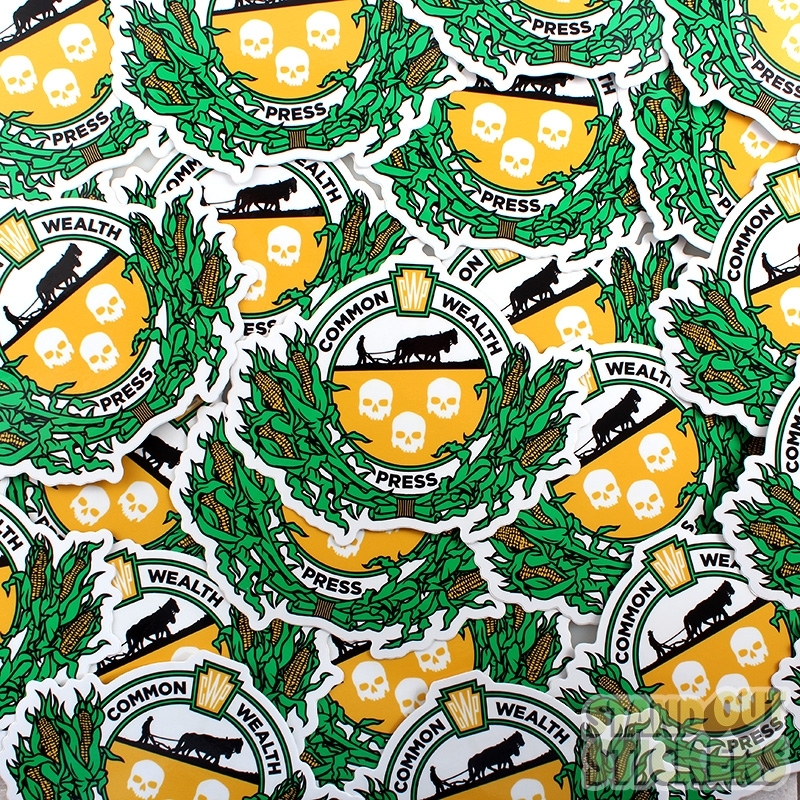 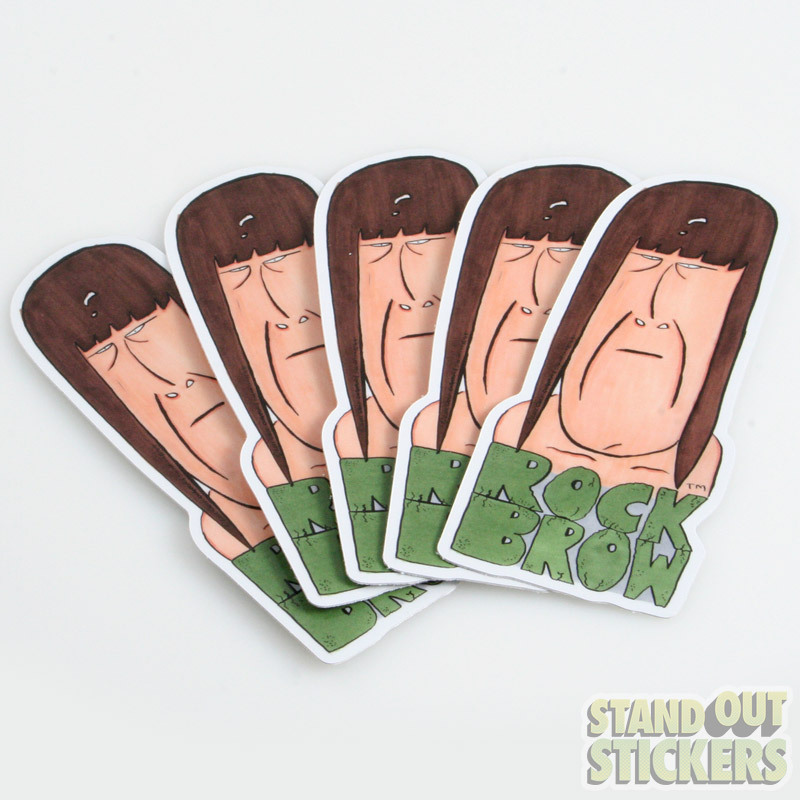 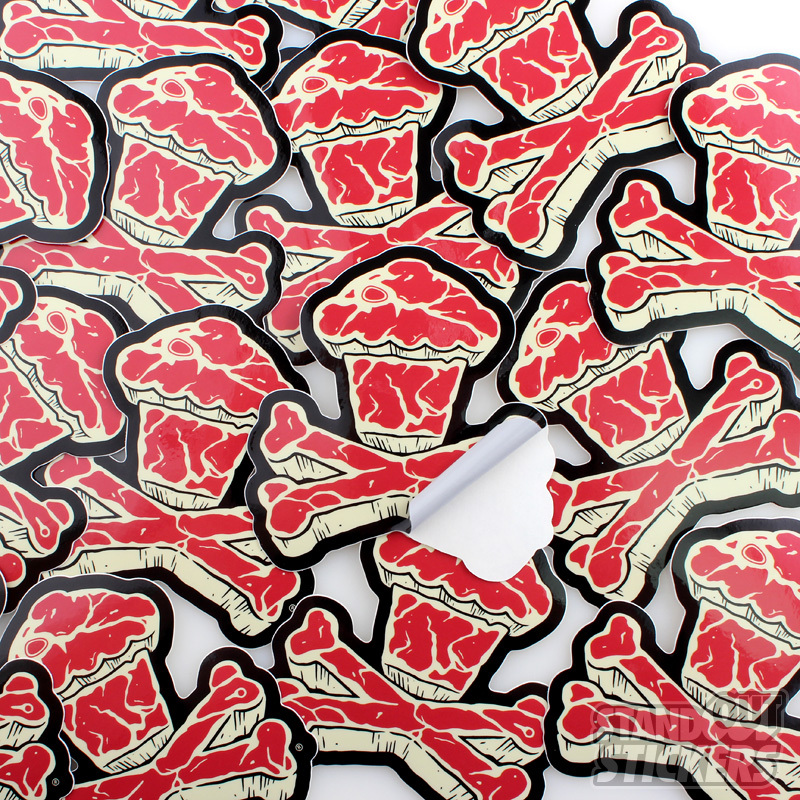 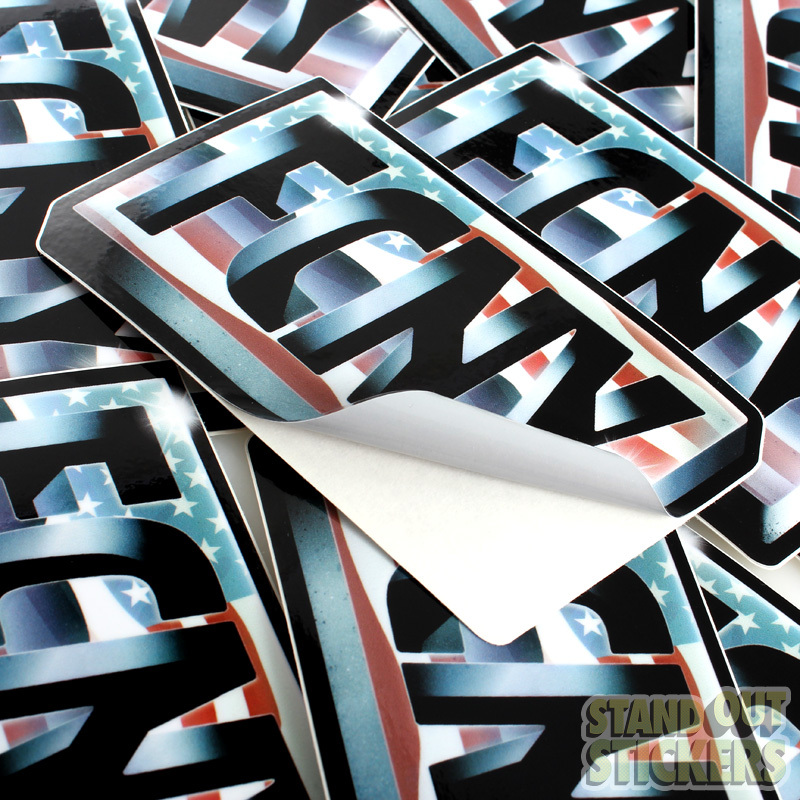 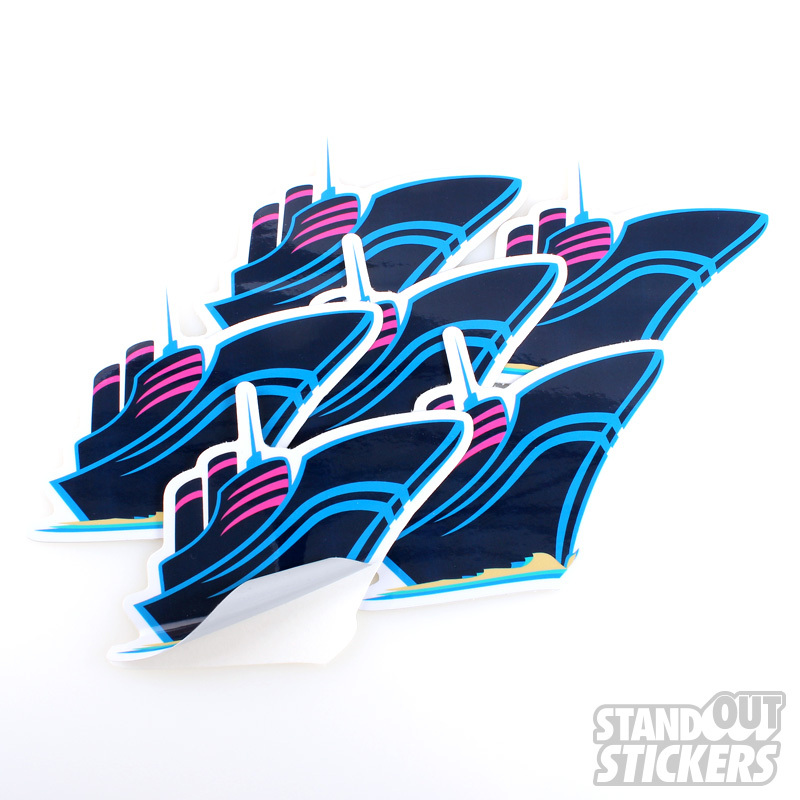 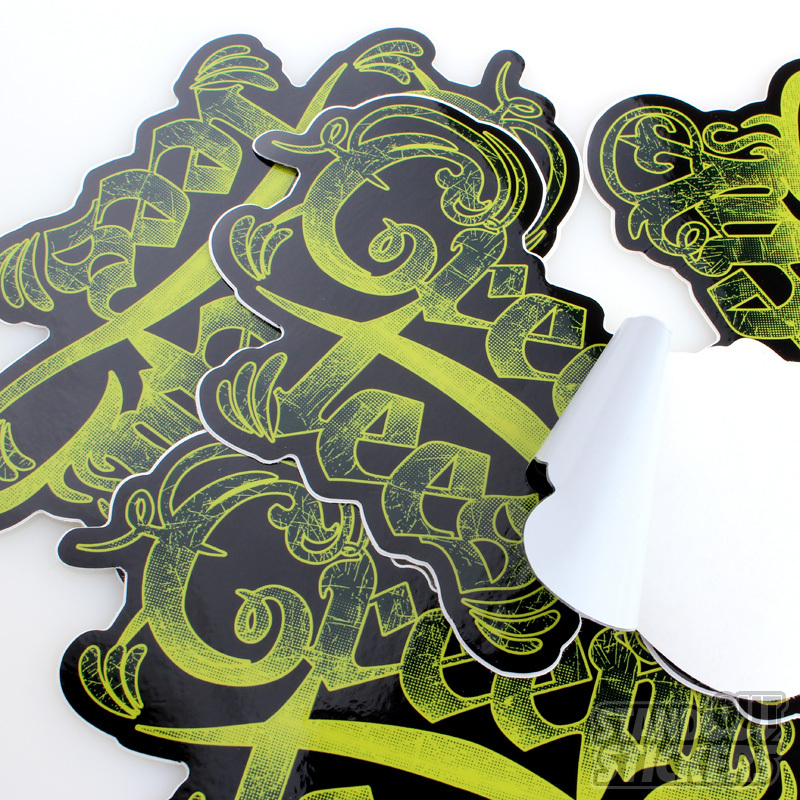 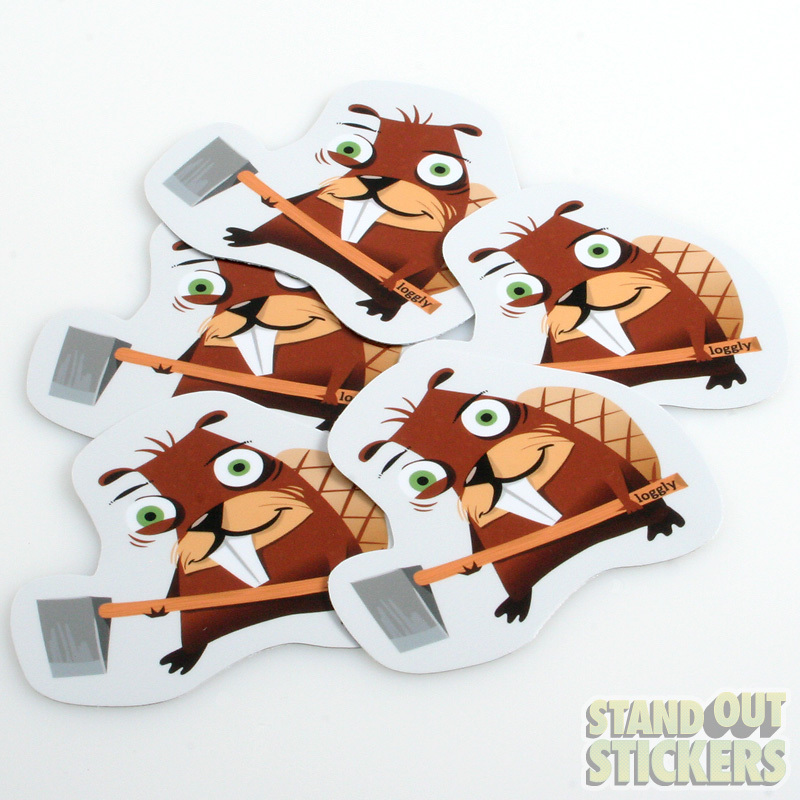 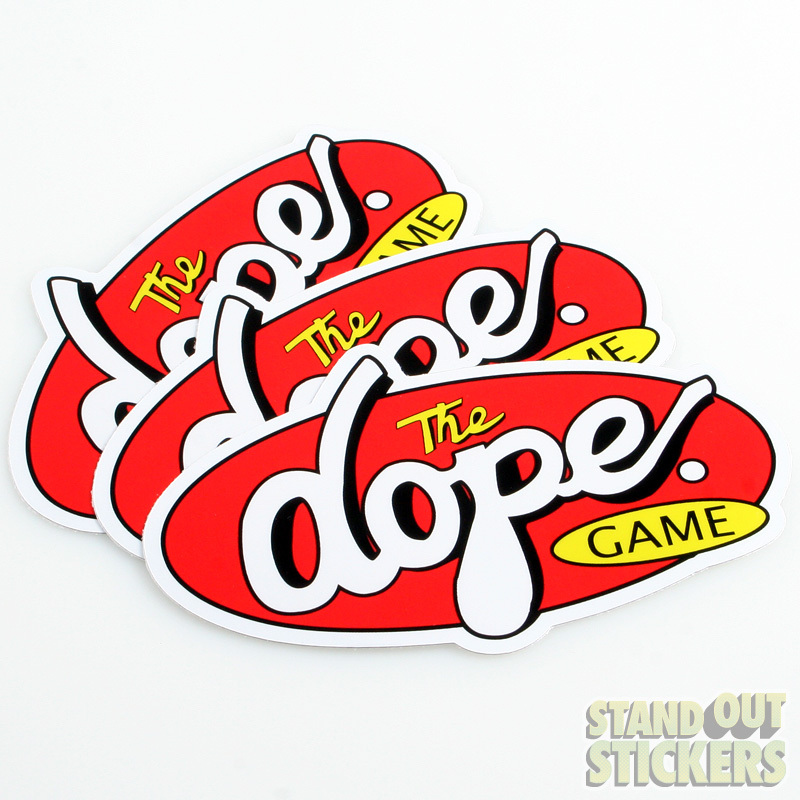 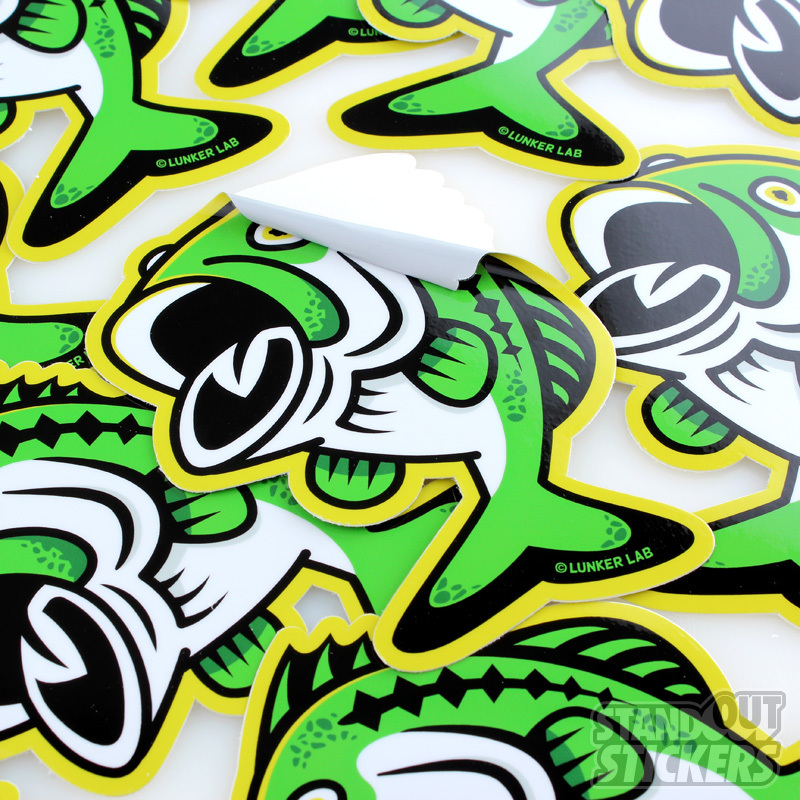 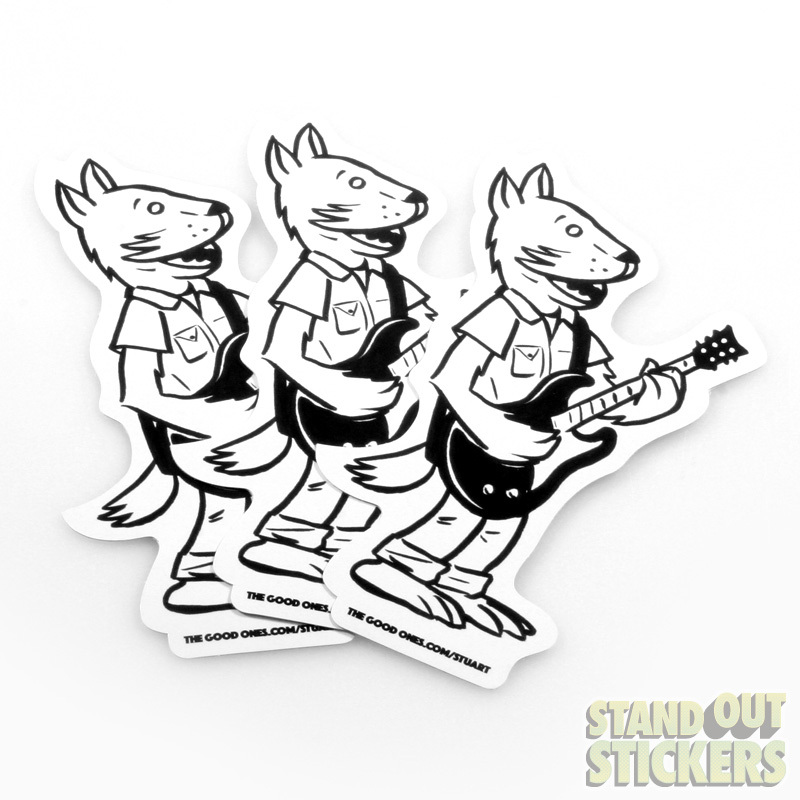 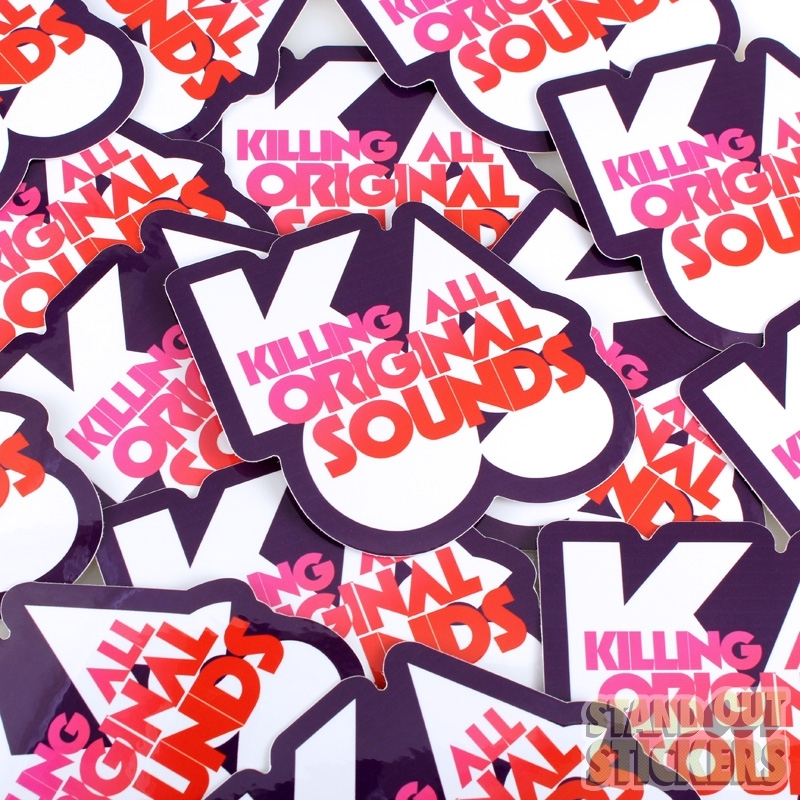 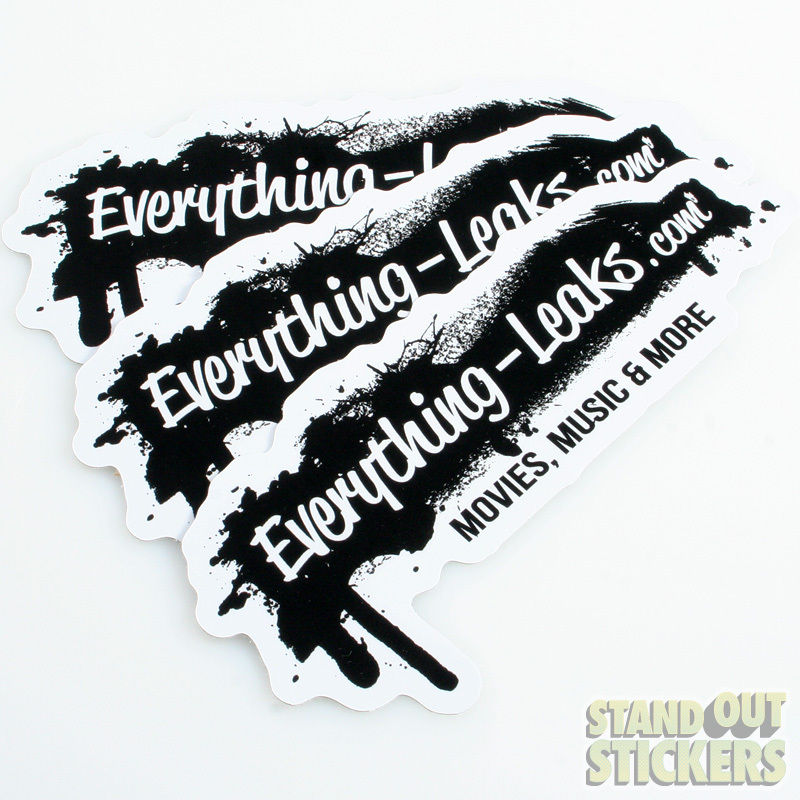 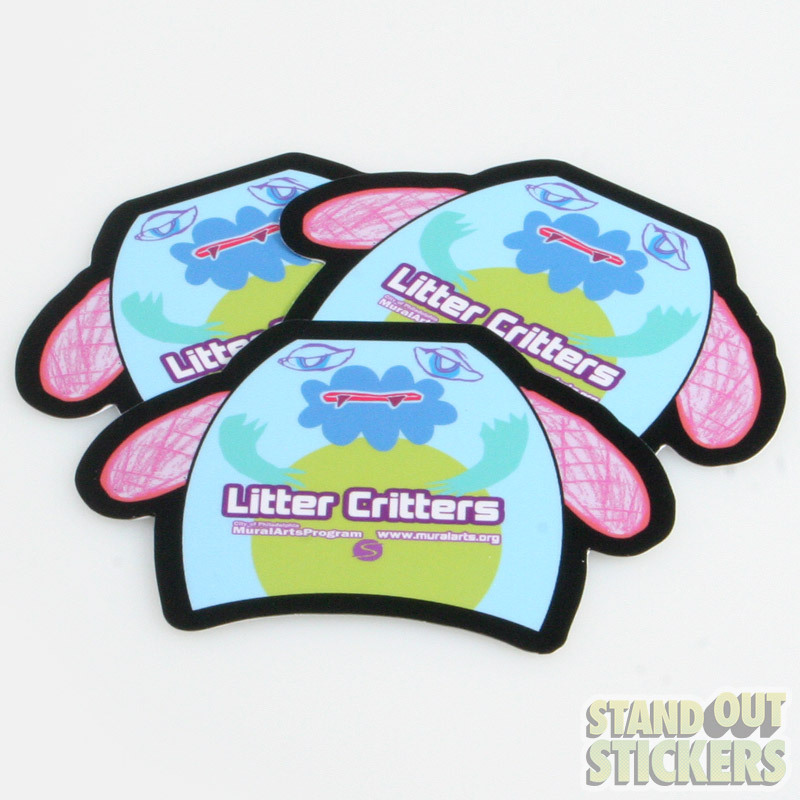 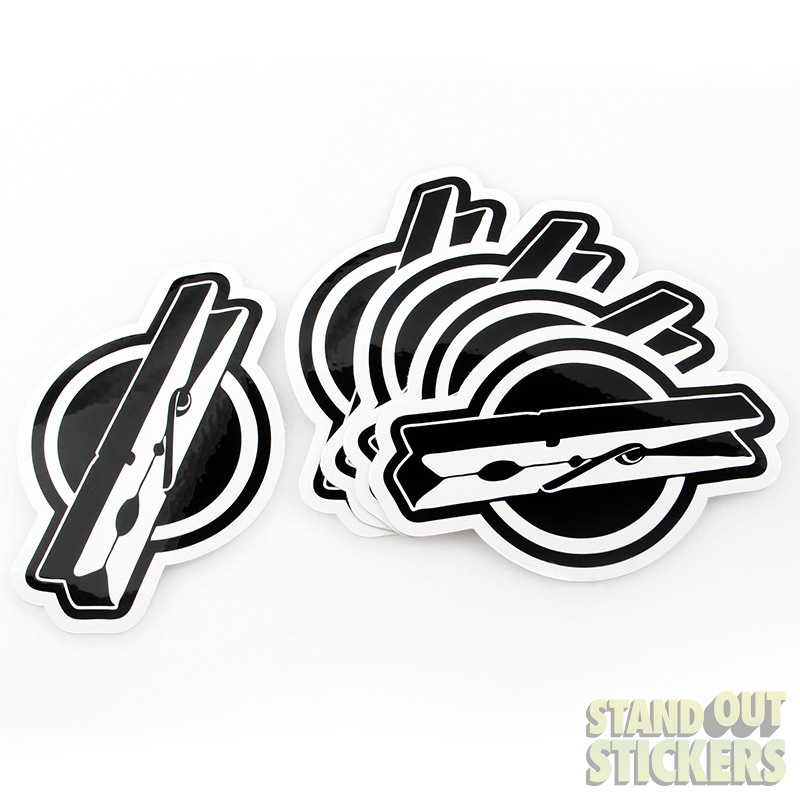 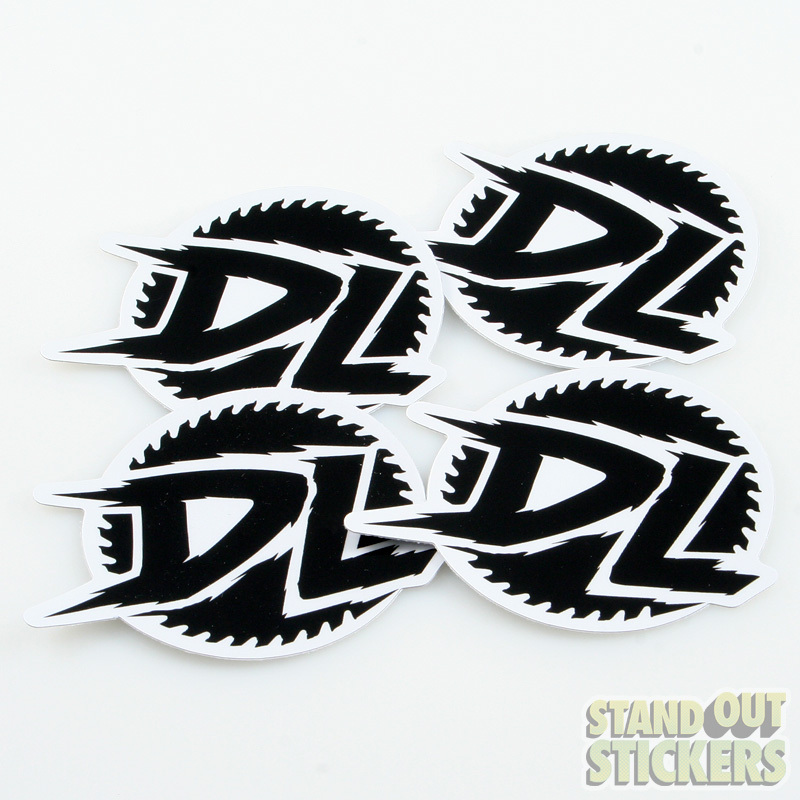 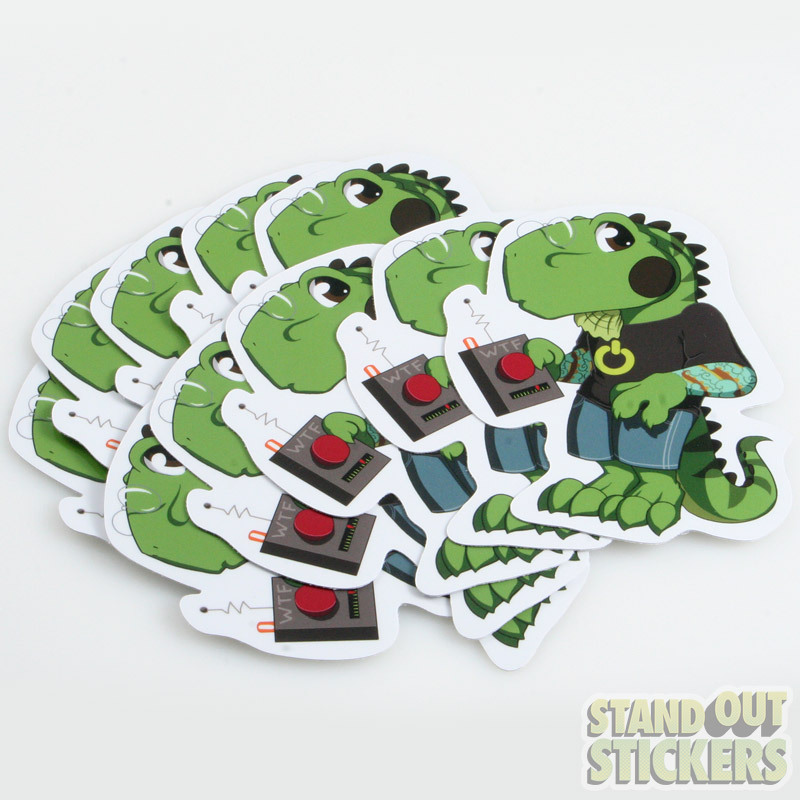 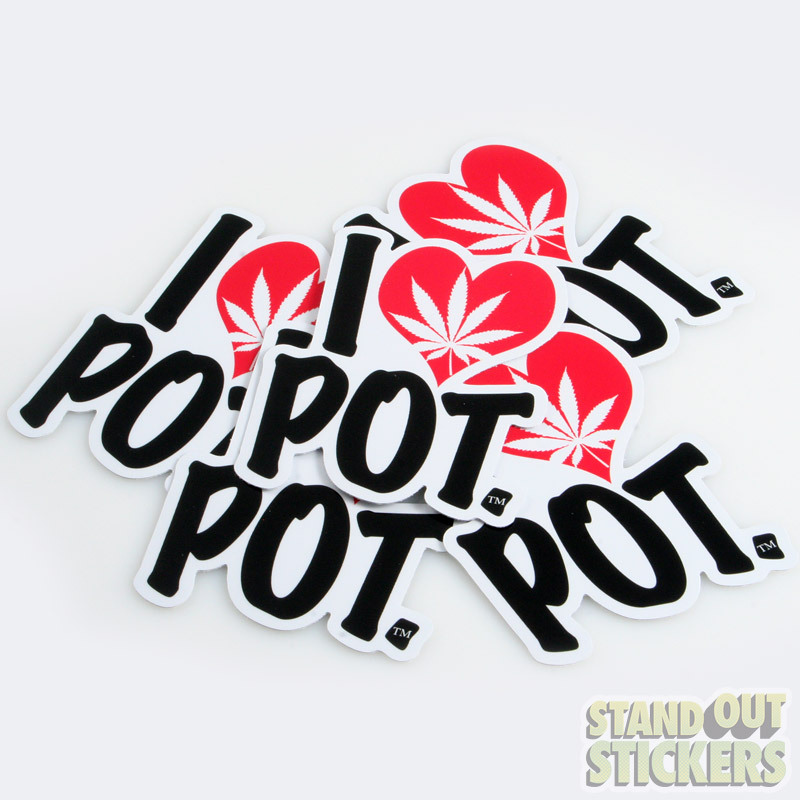 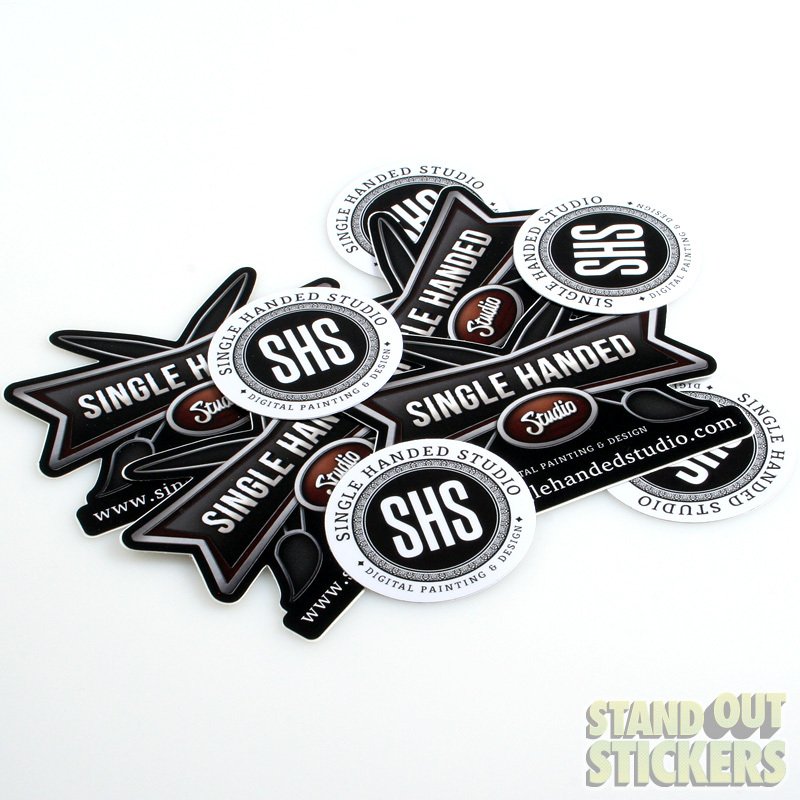 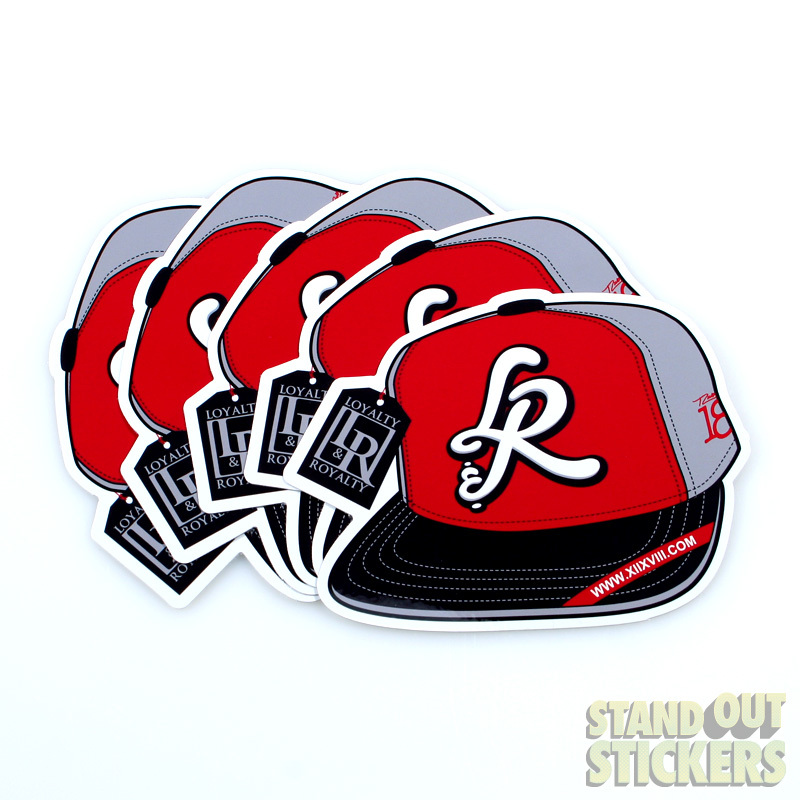 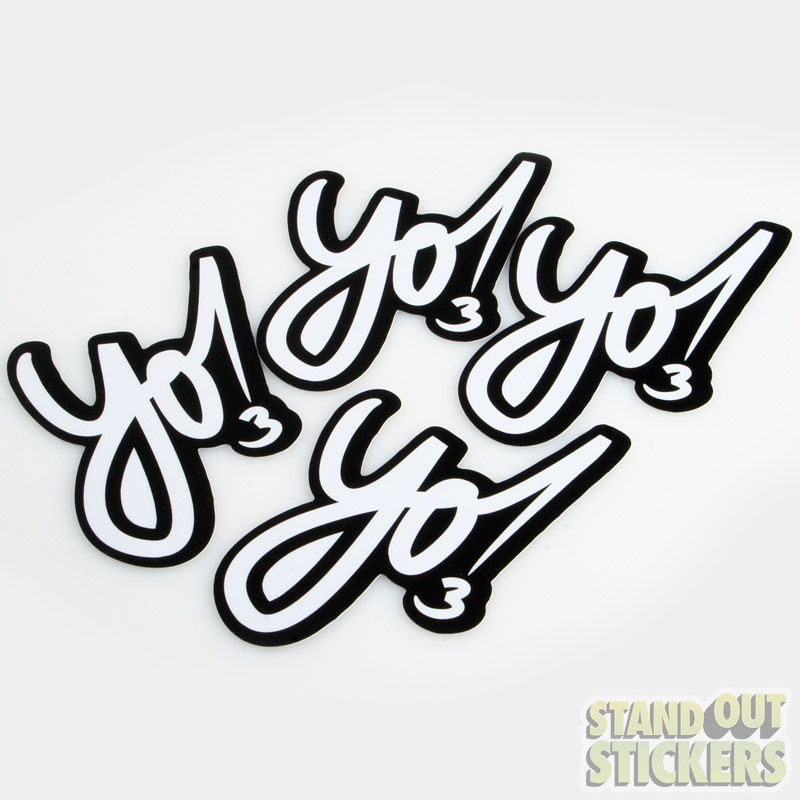 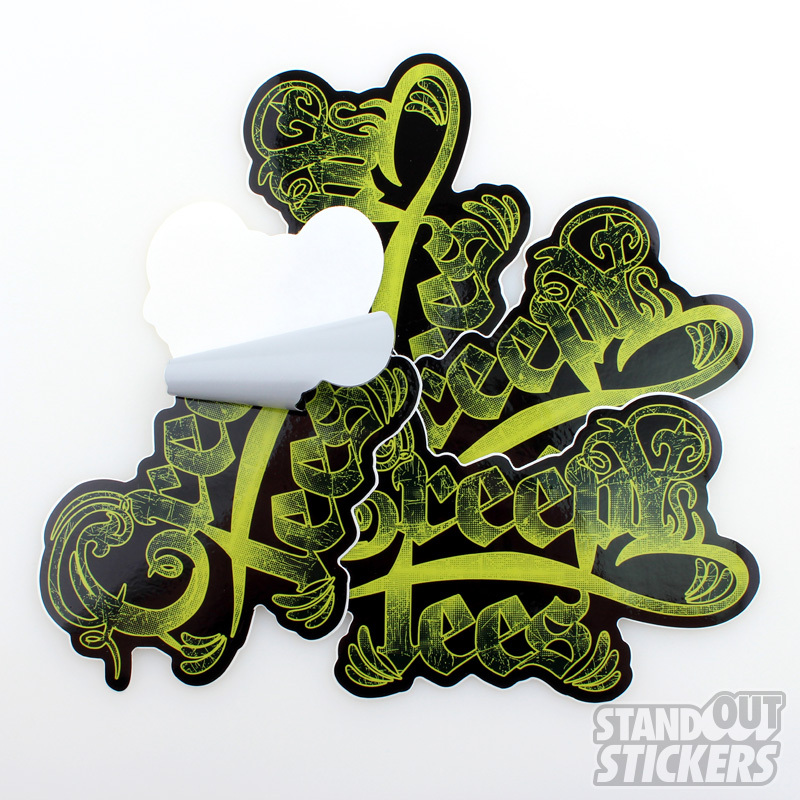 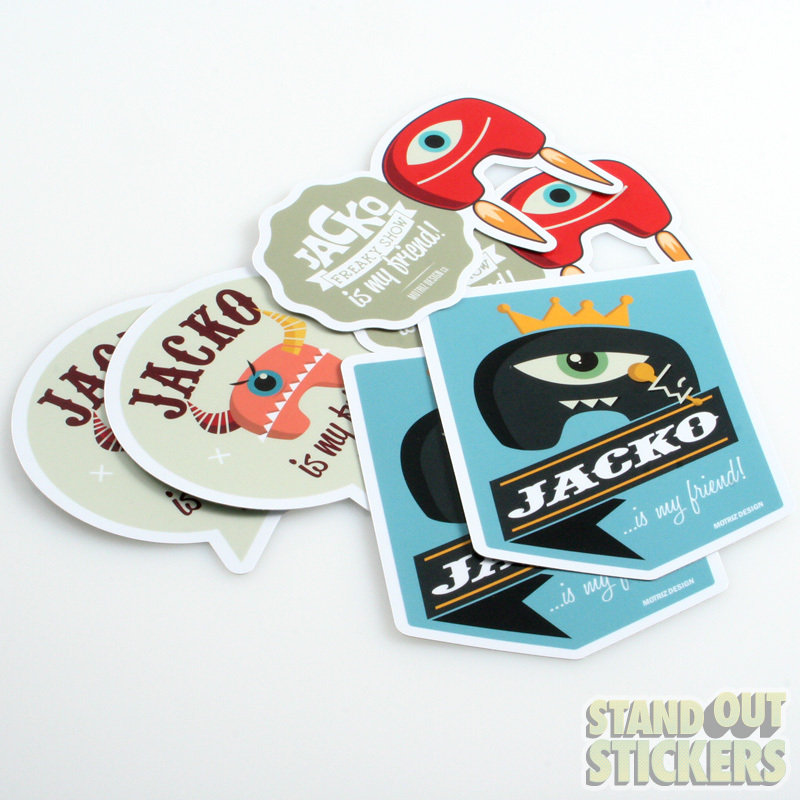 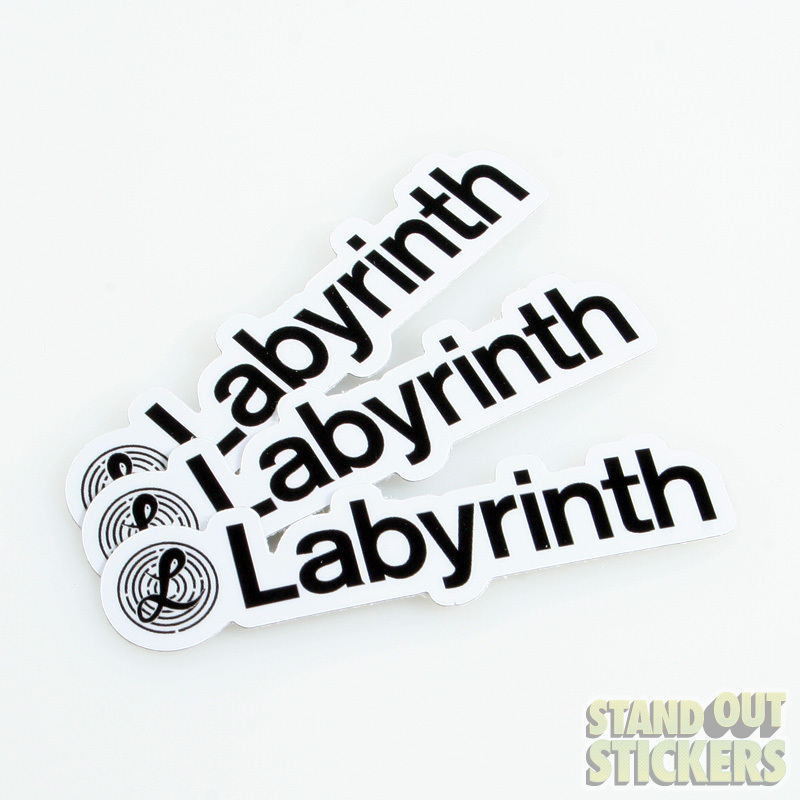 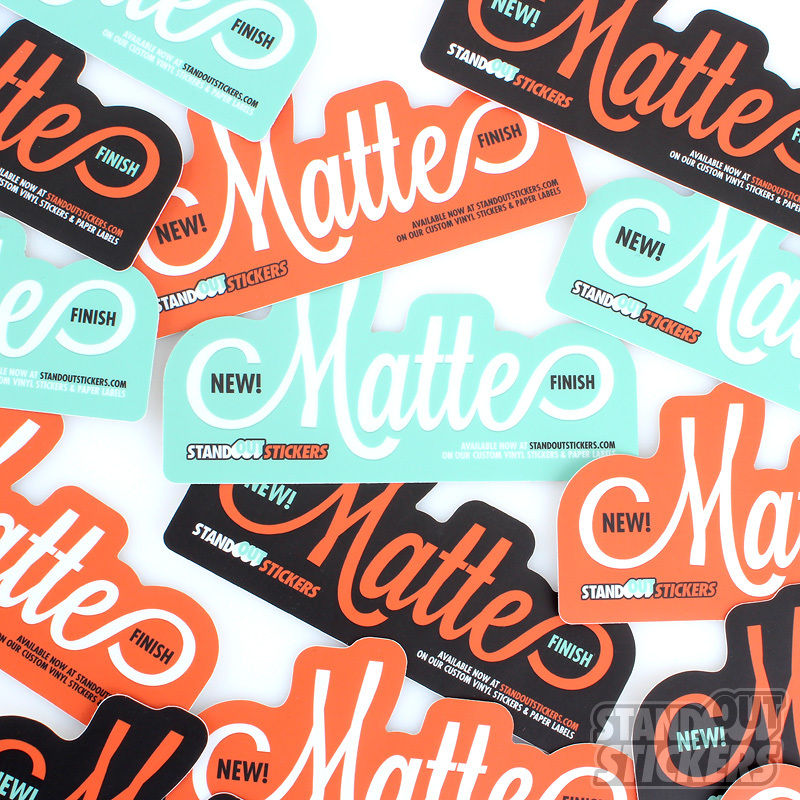 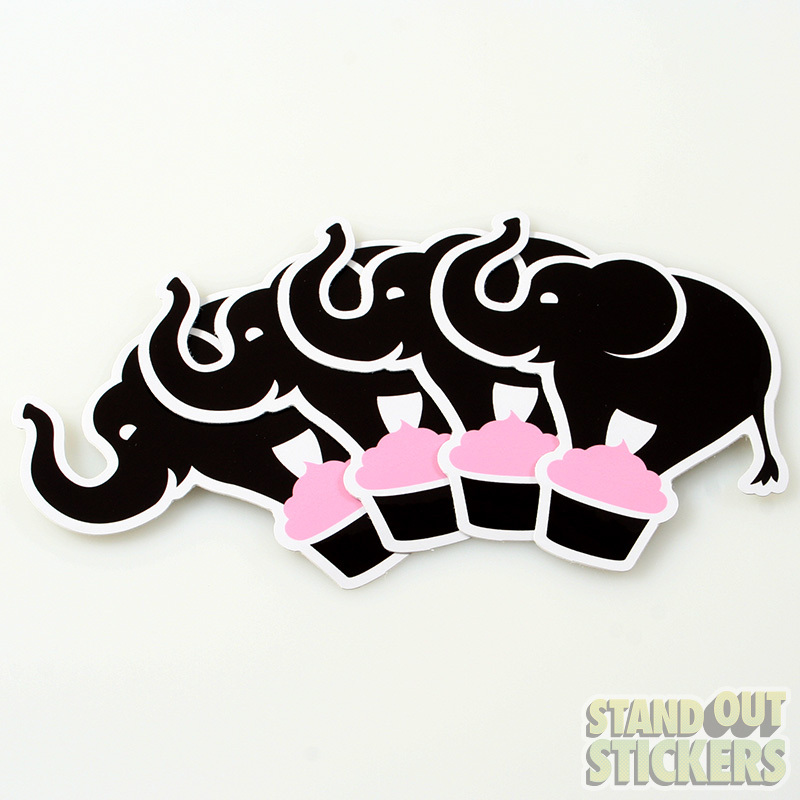 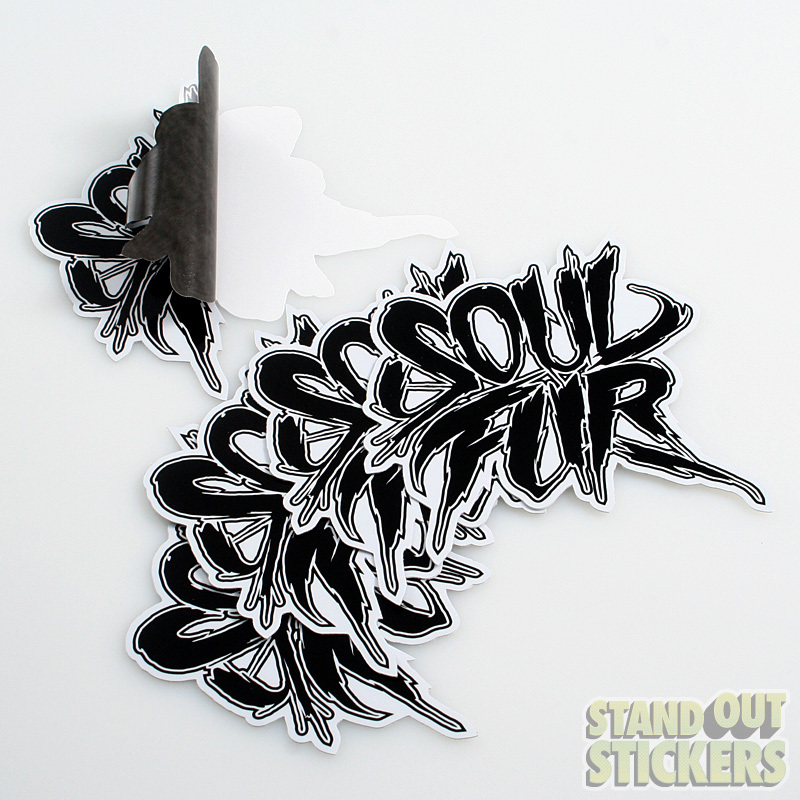 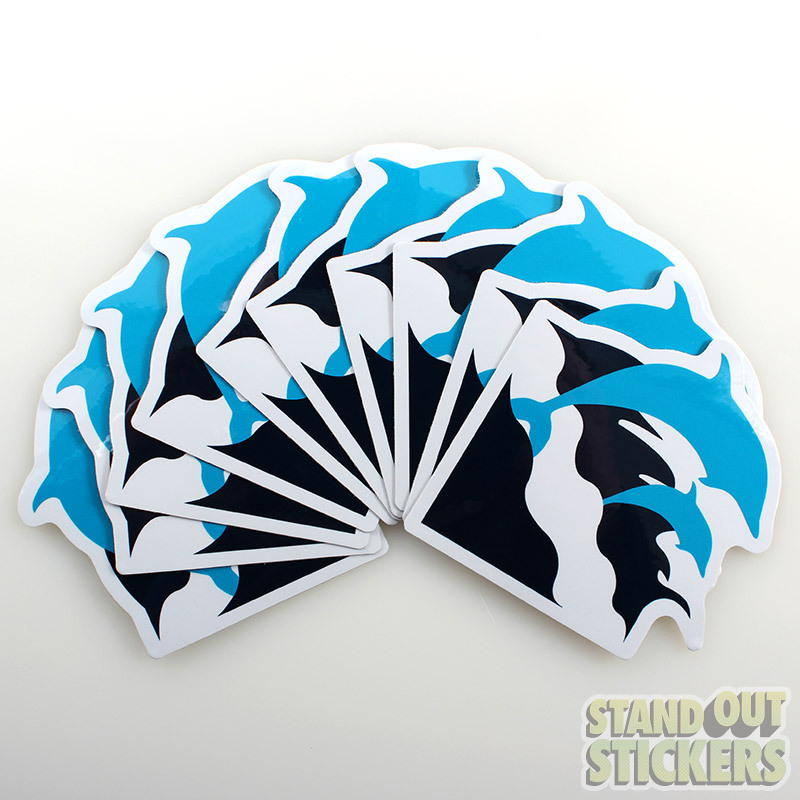 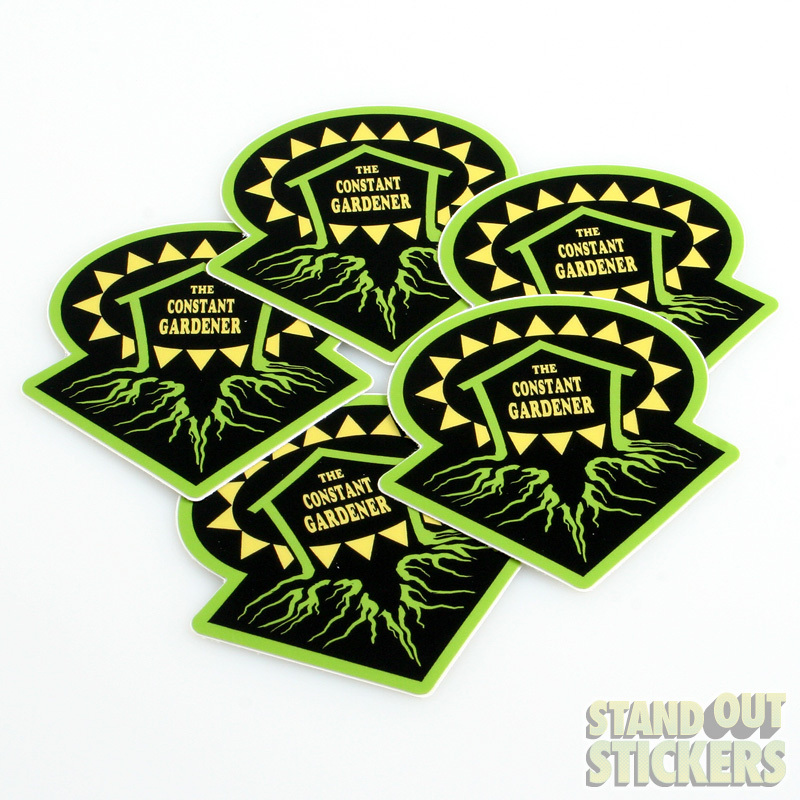 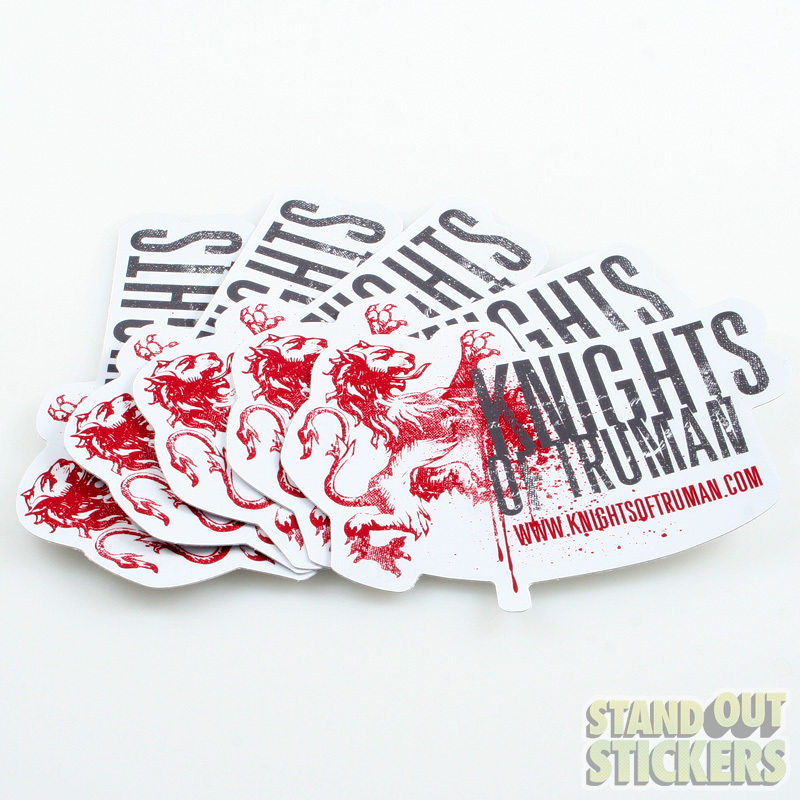 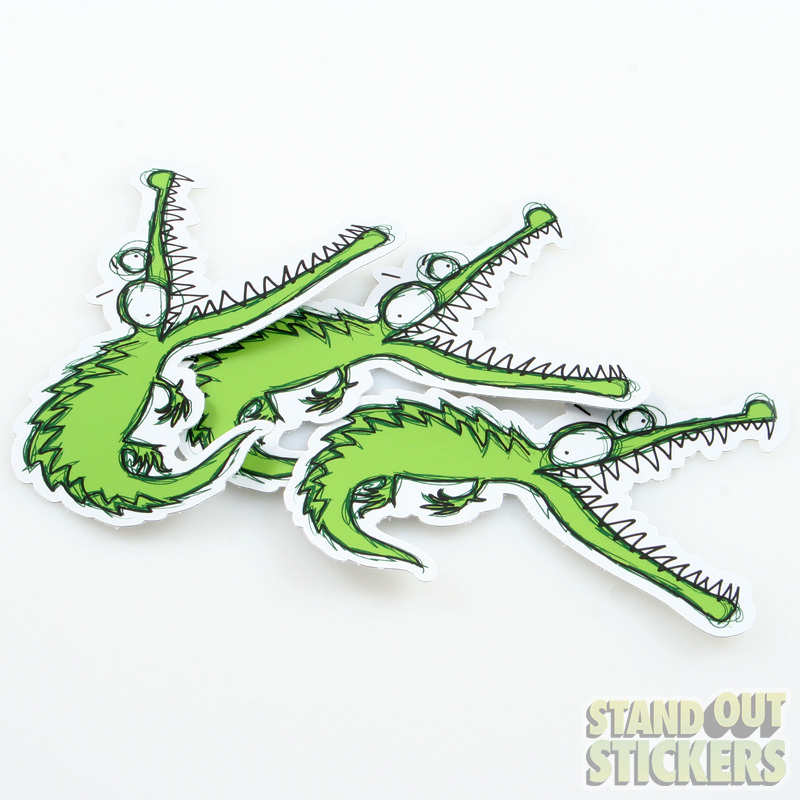 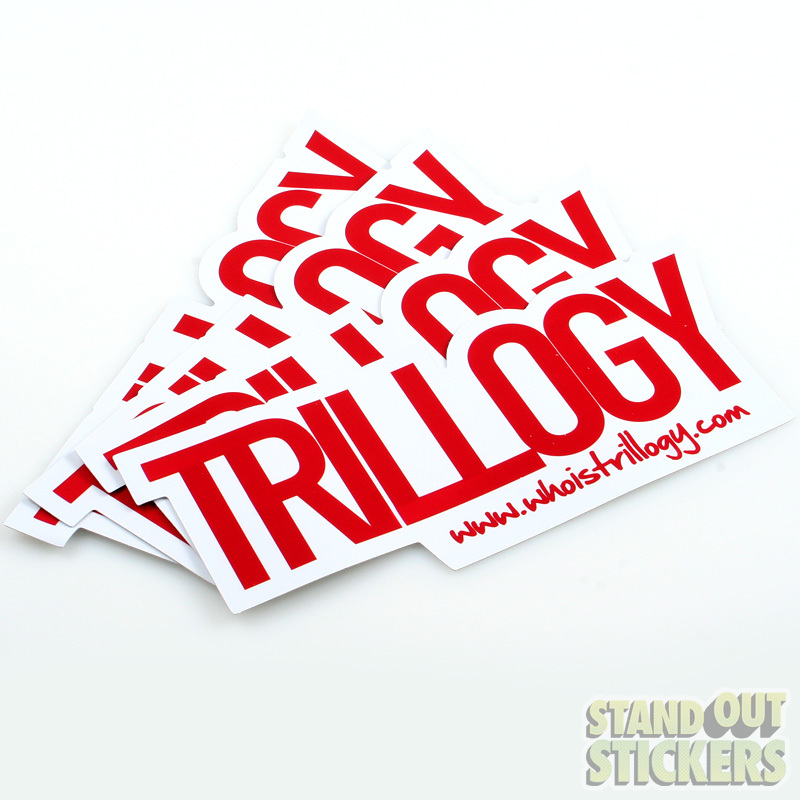 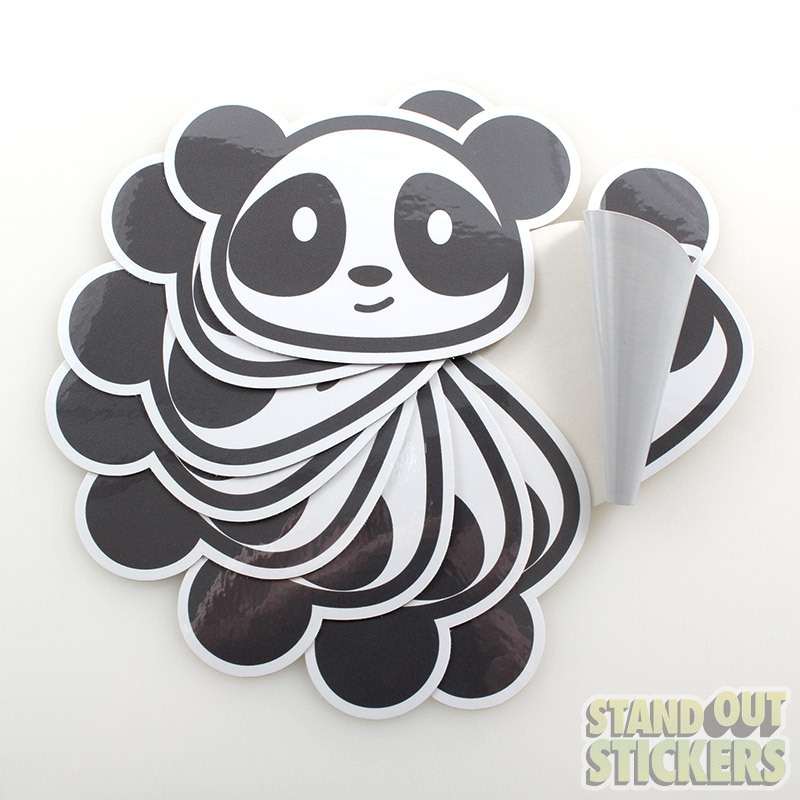 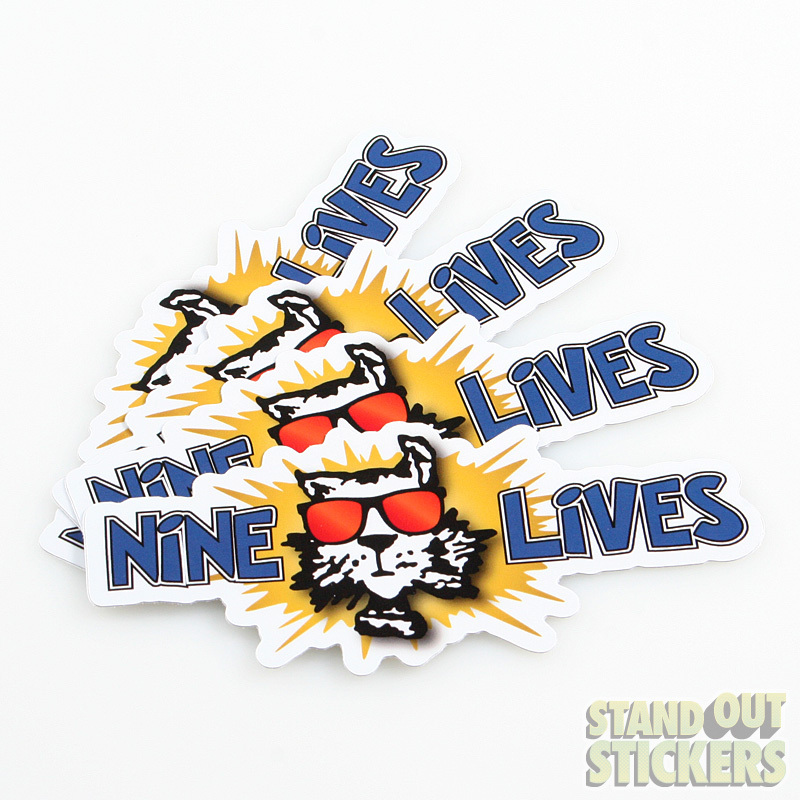 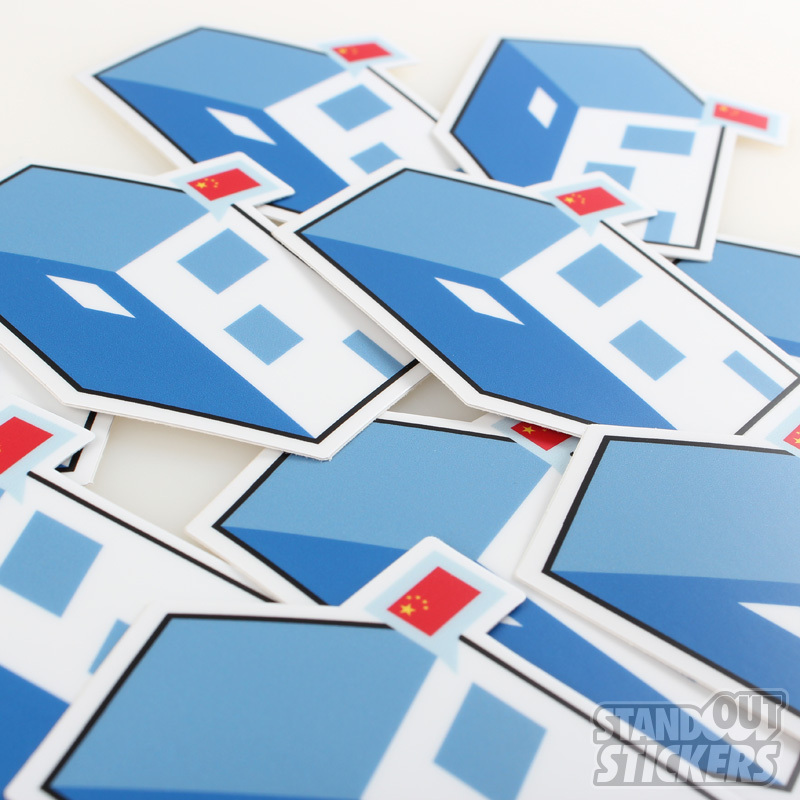 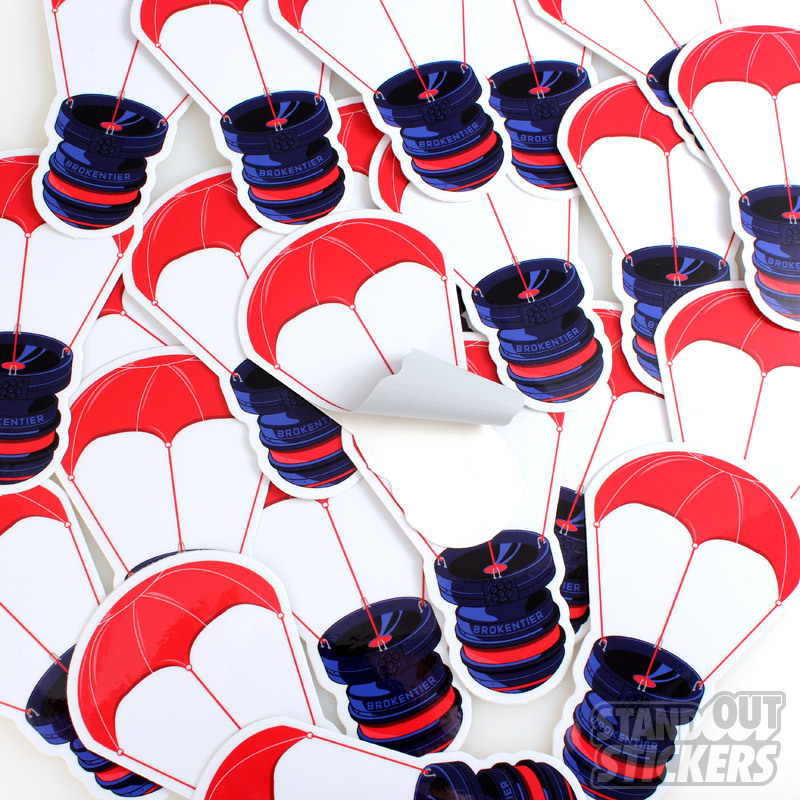 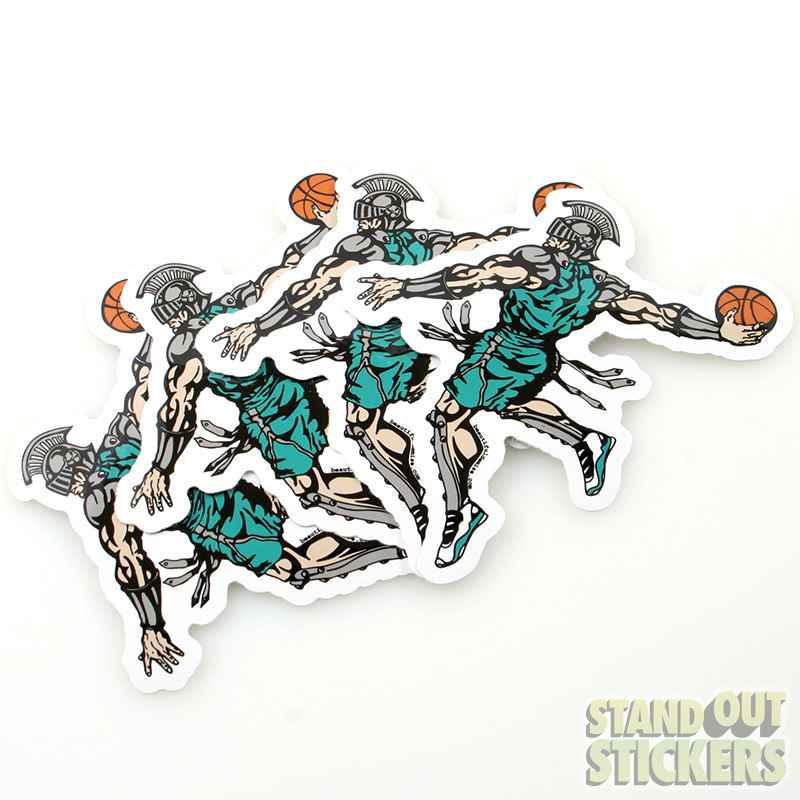 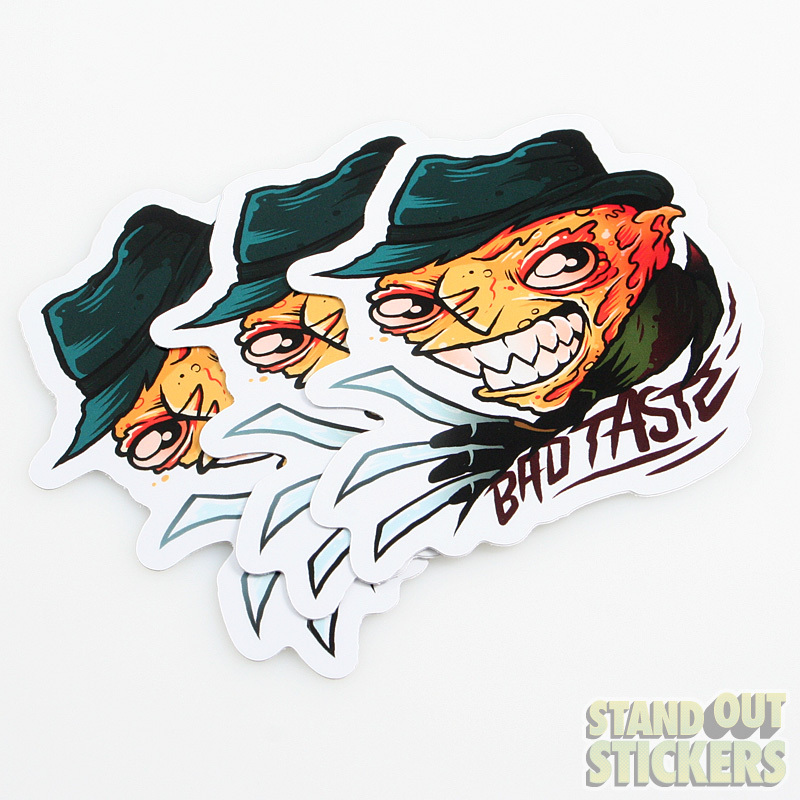 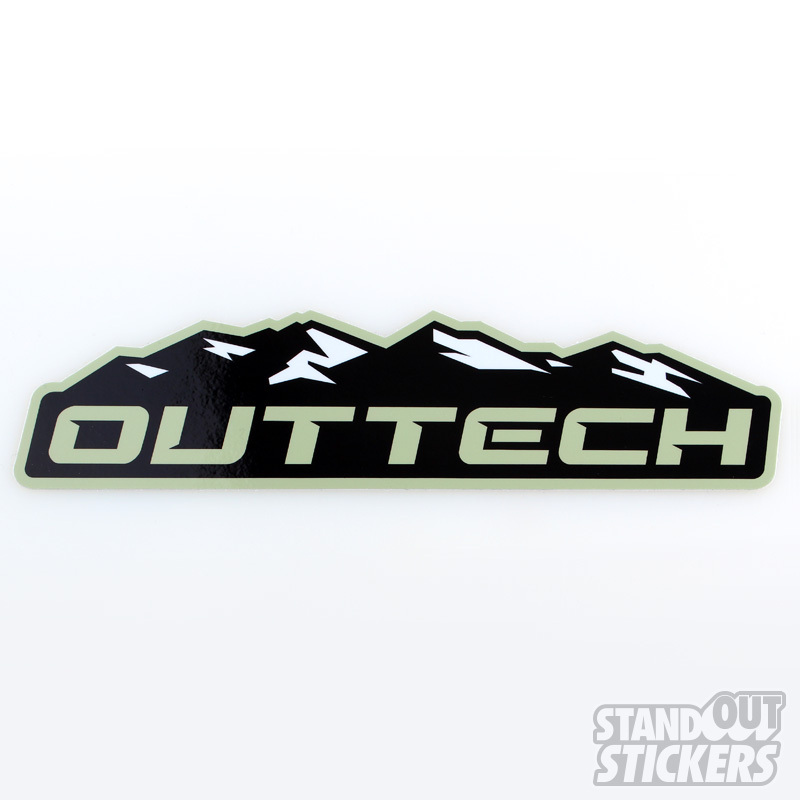 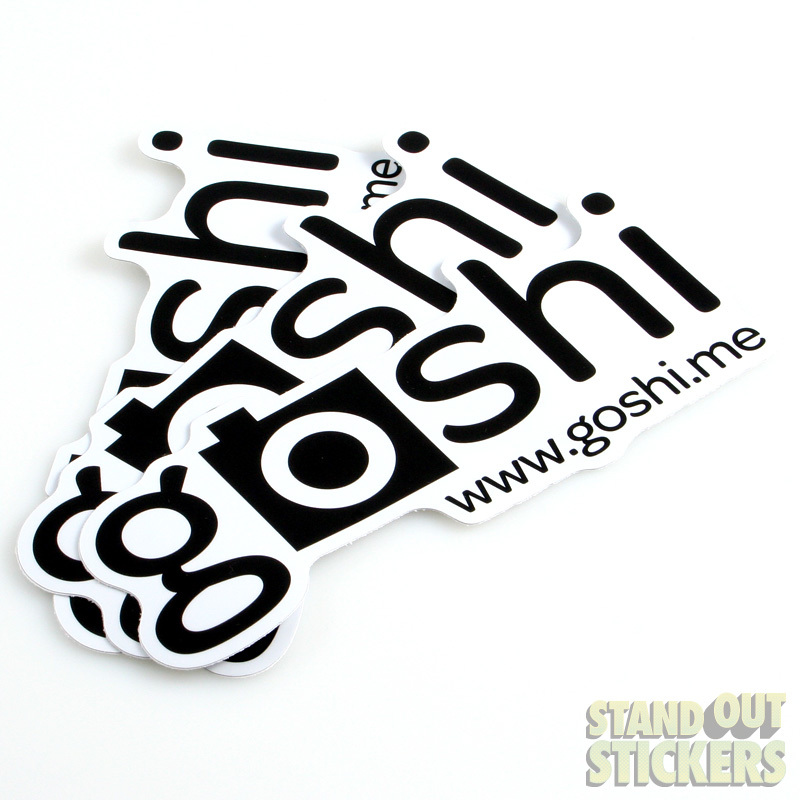 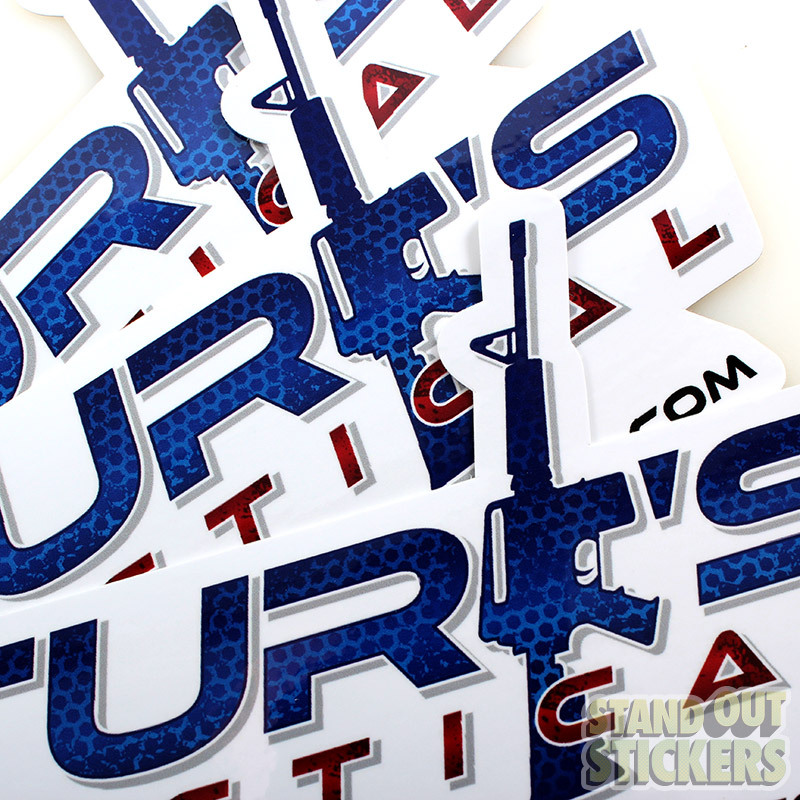 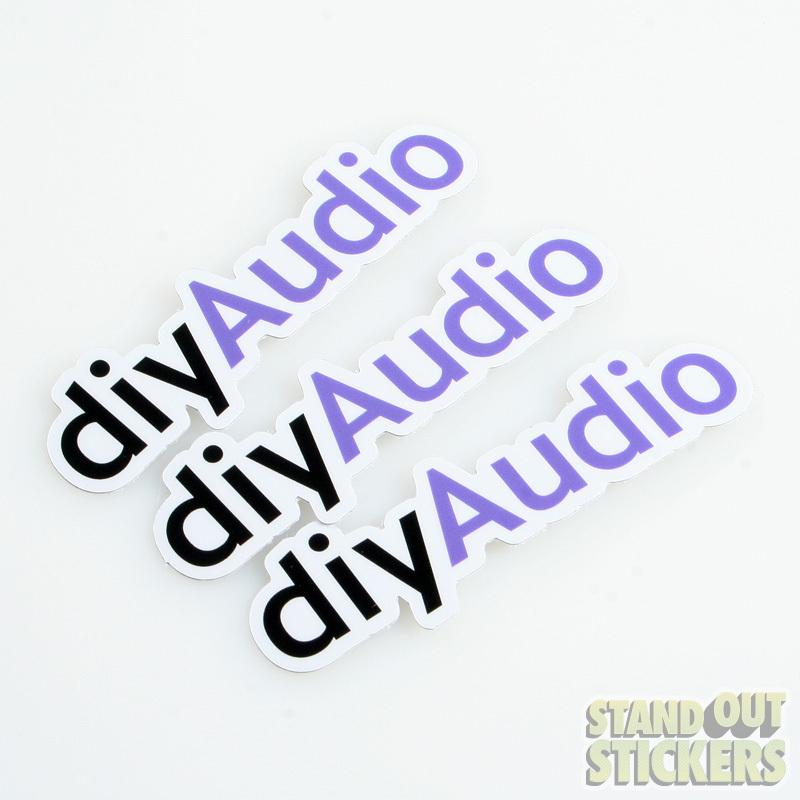 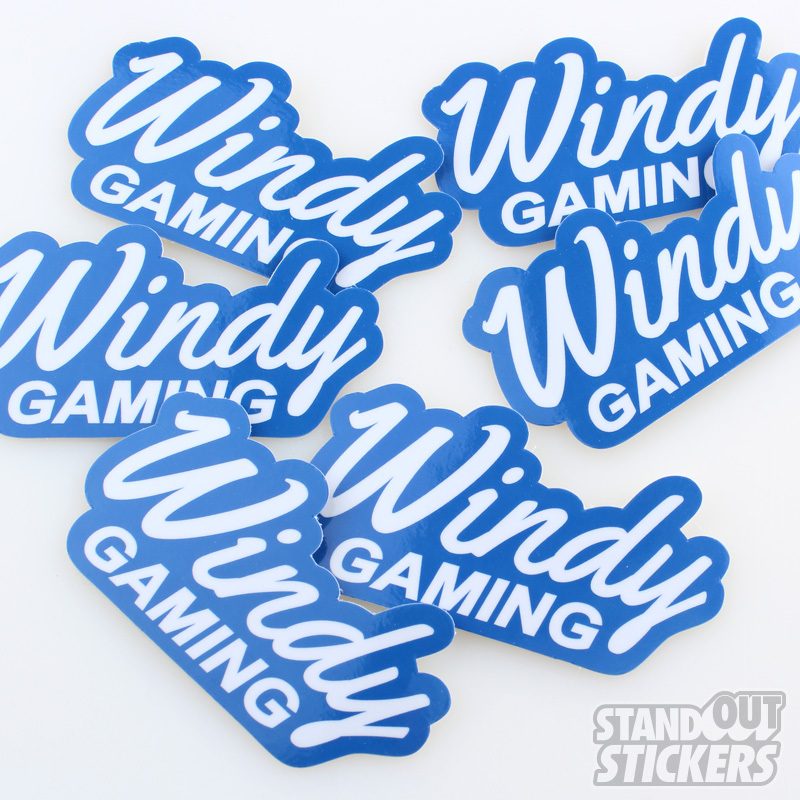 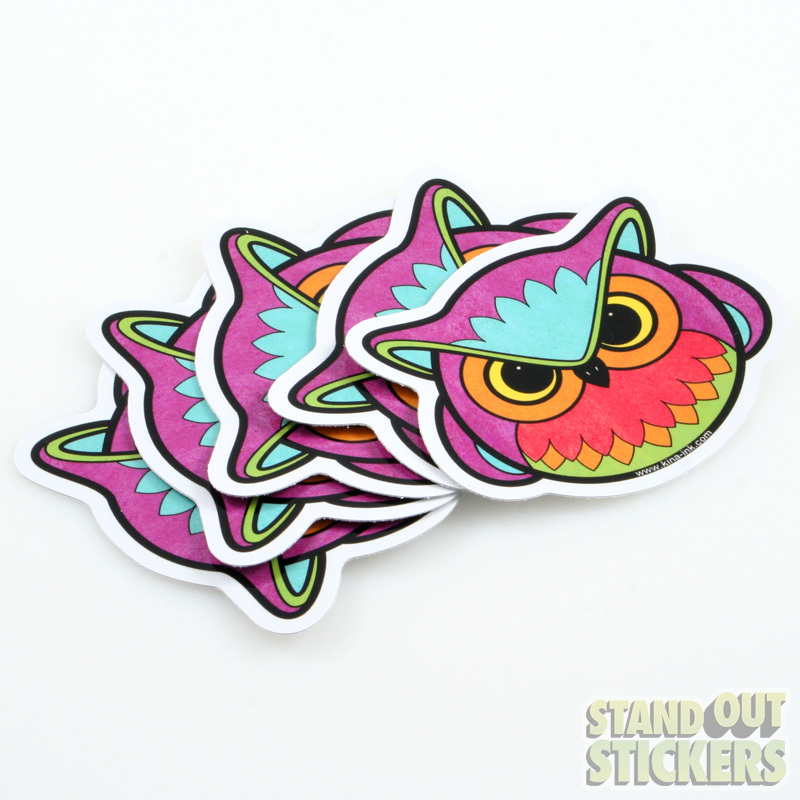 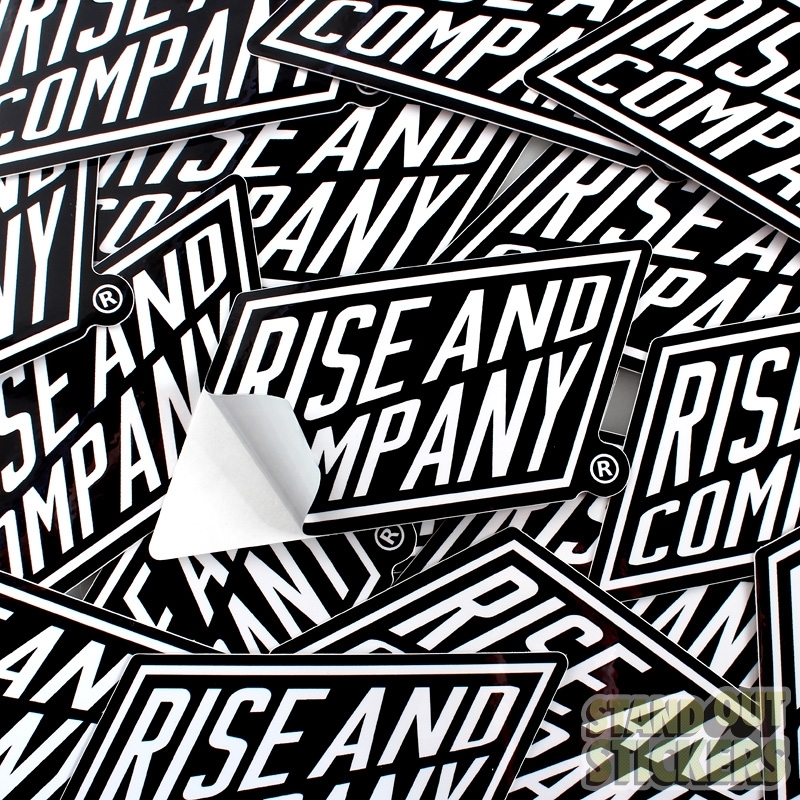 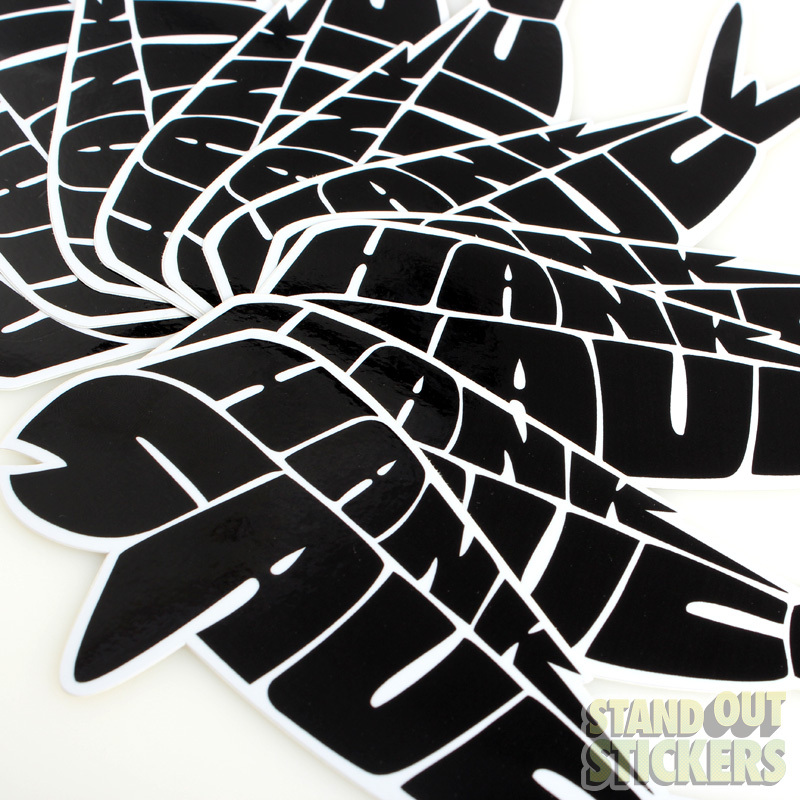 Custom die cut stickers are a dynamic statement because they are the unique shape and size of your design. 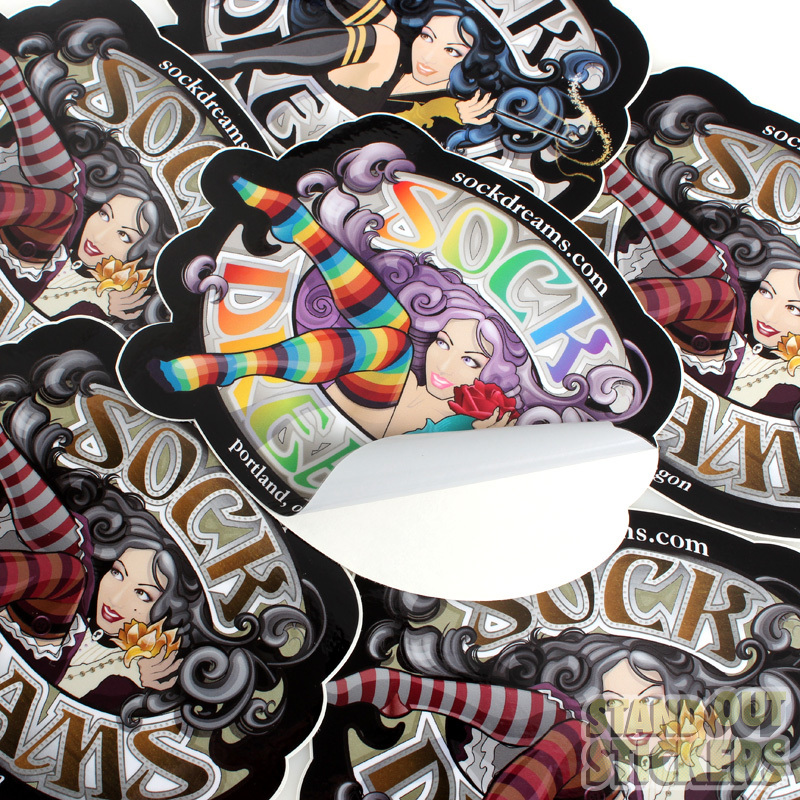 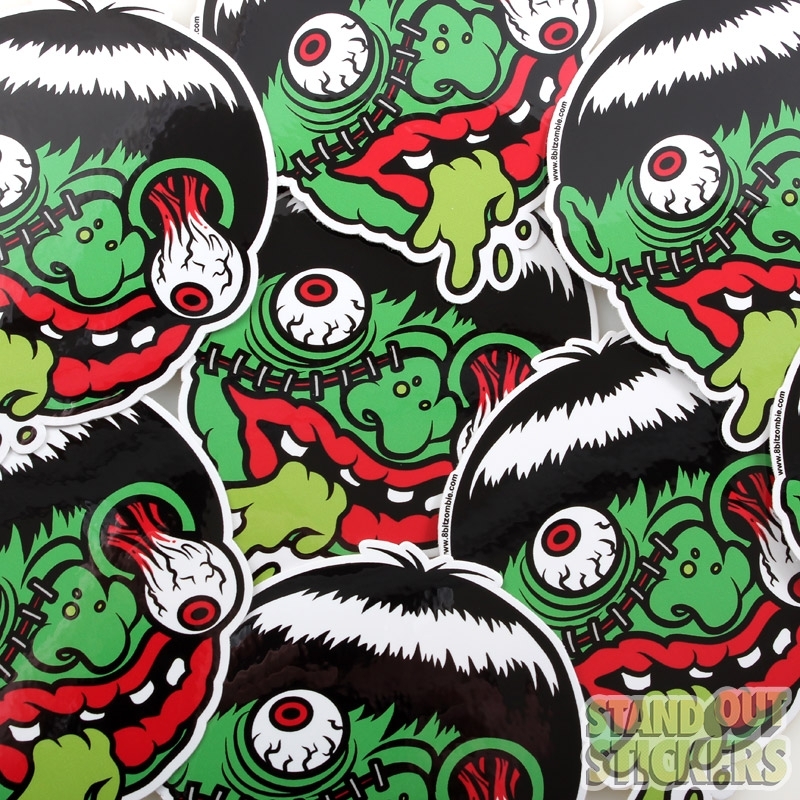 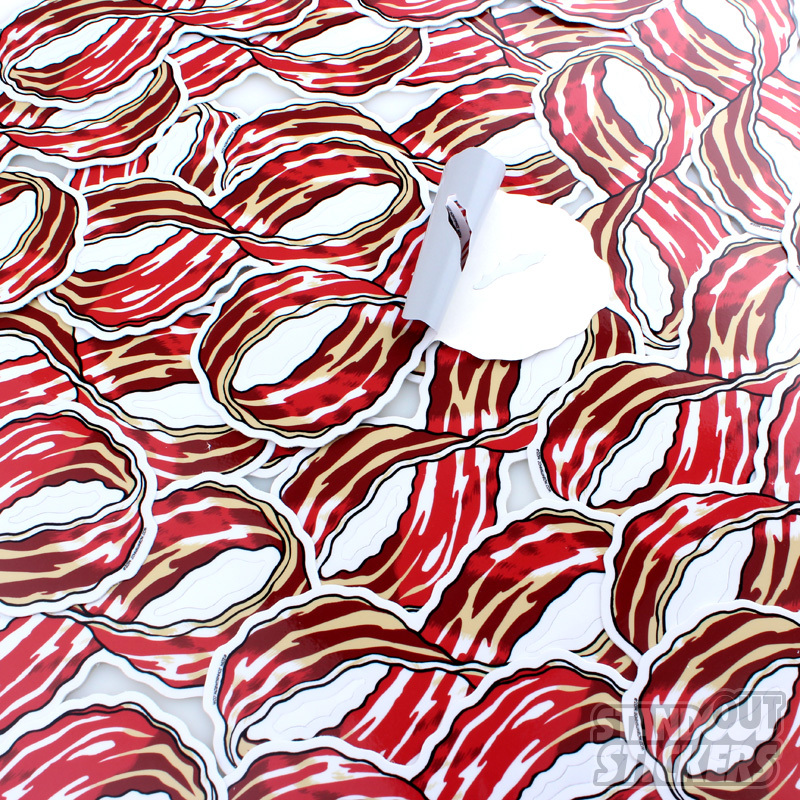 They're eye catching when coated with our glossy UV-laminate and printed in bold, high quality color on our thick, durable vinyl. 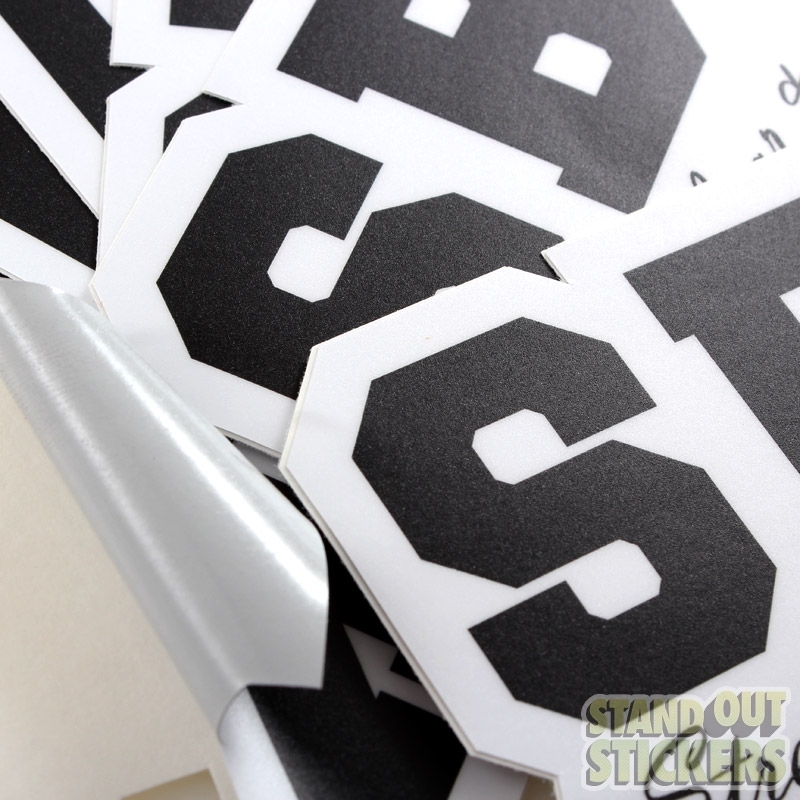 It's all up to you: be bold and let the ink go right up to the edges or leave a clean, white margin or black outline around your sticker. 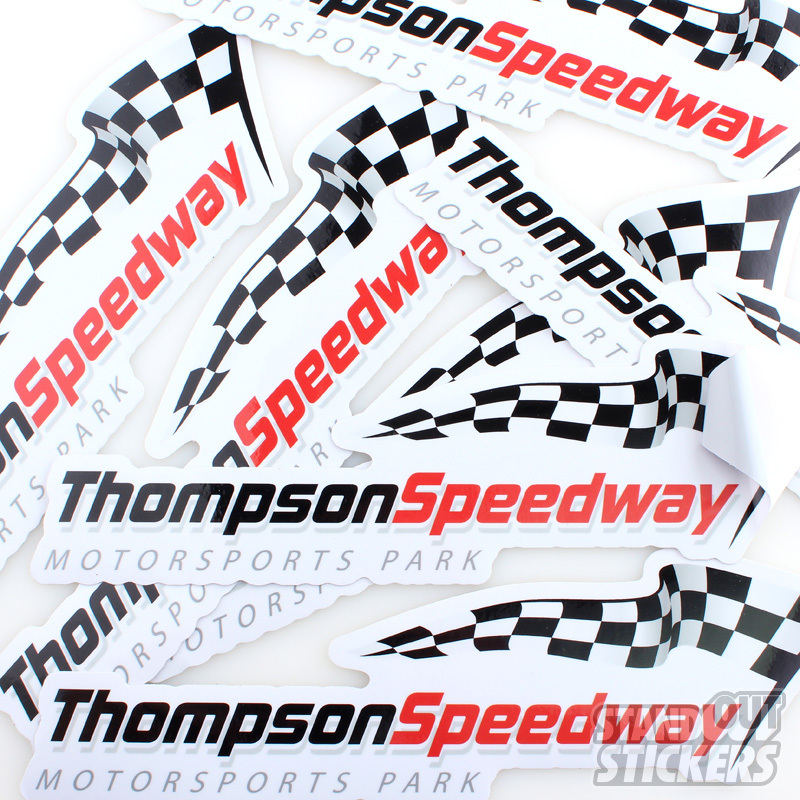 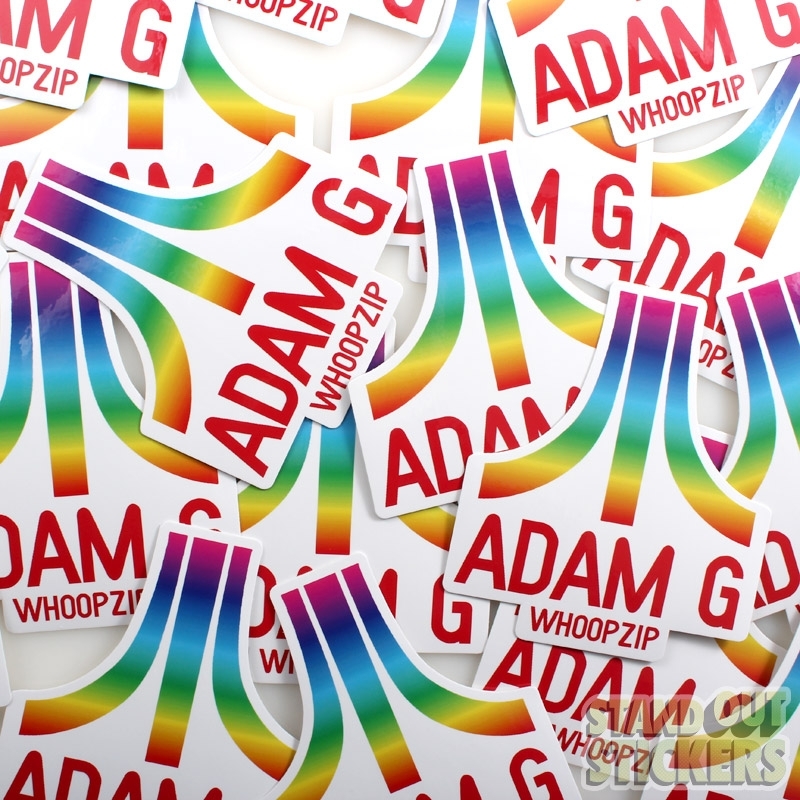 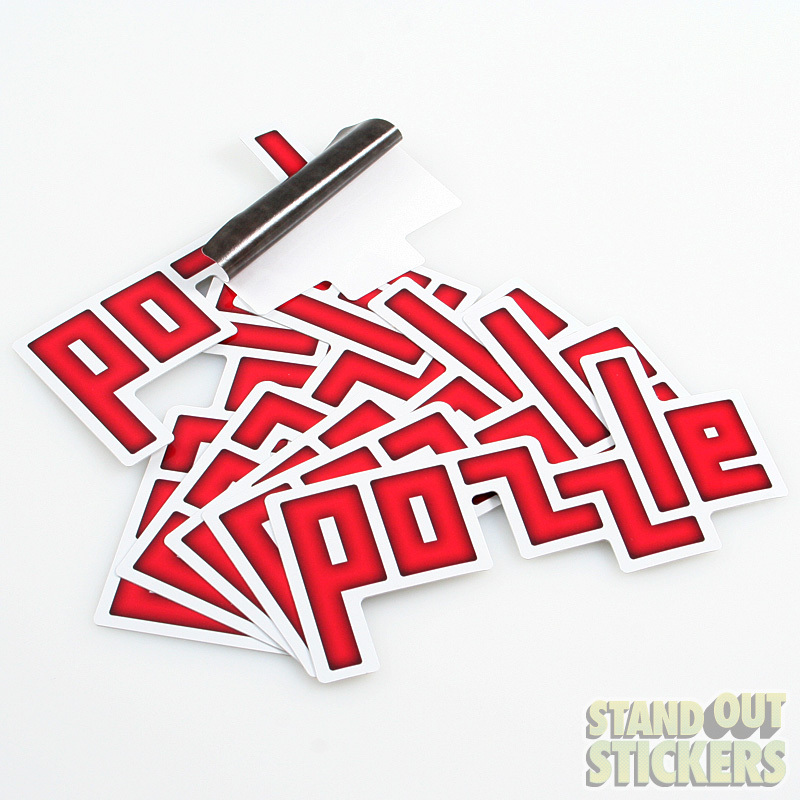 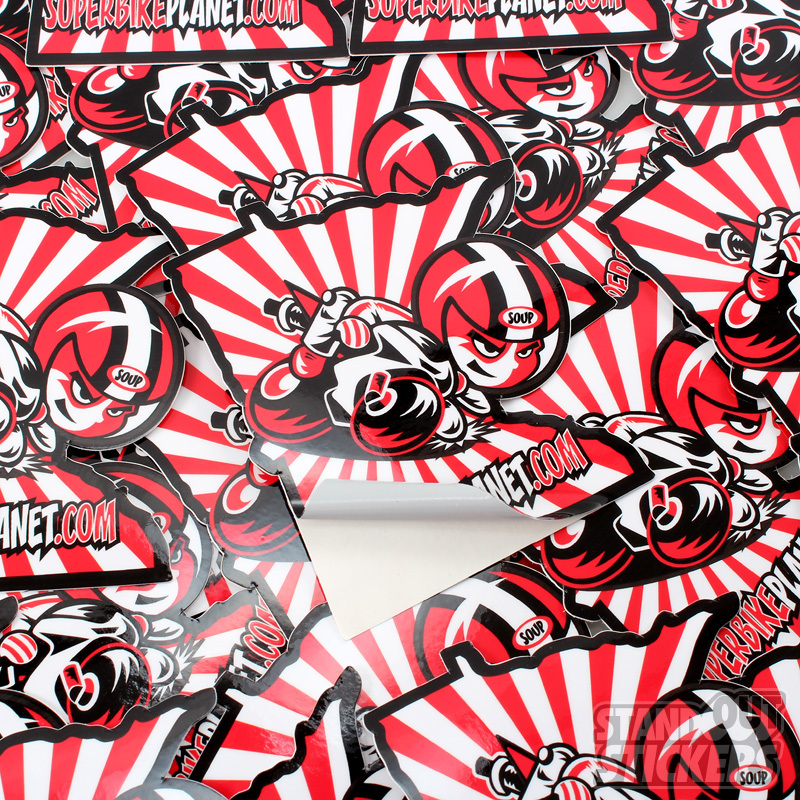 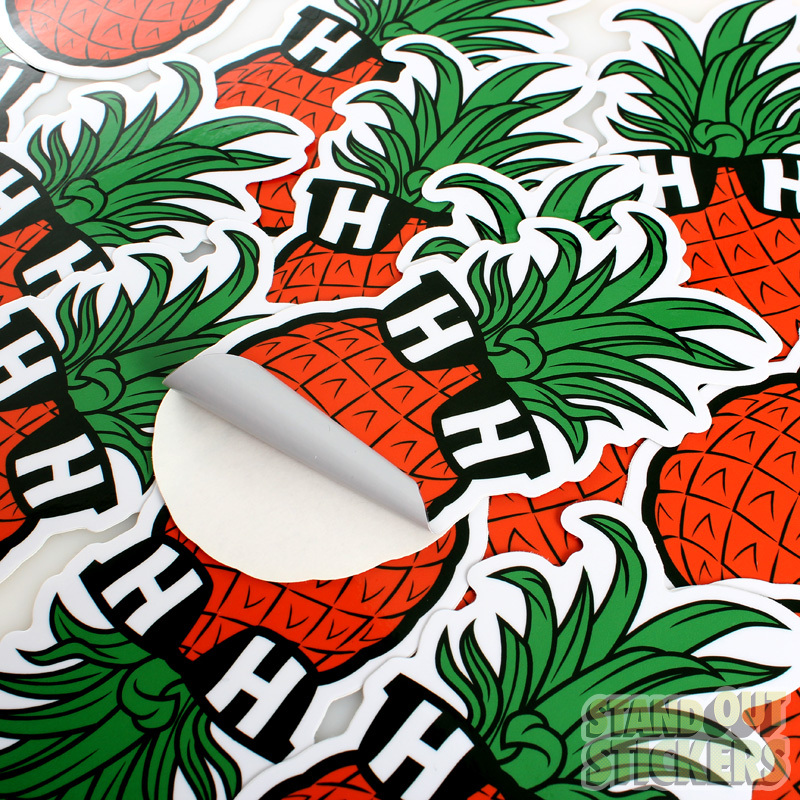 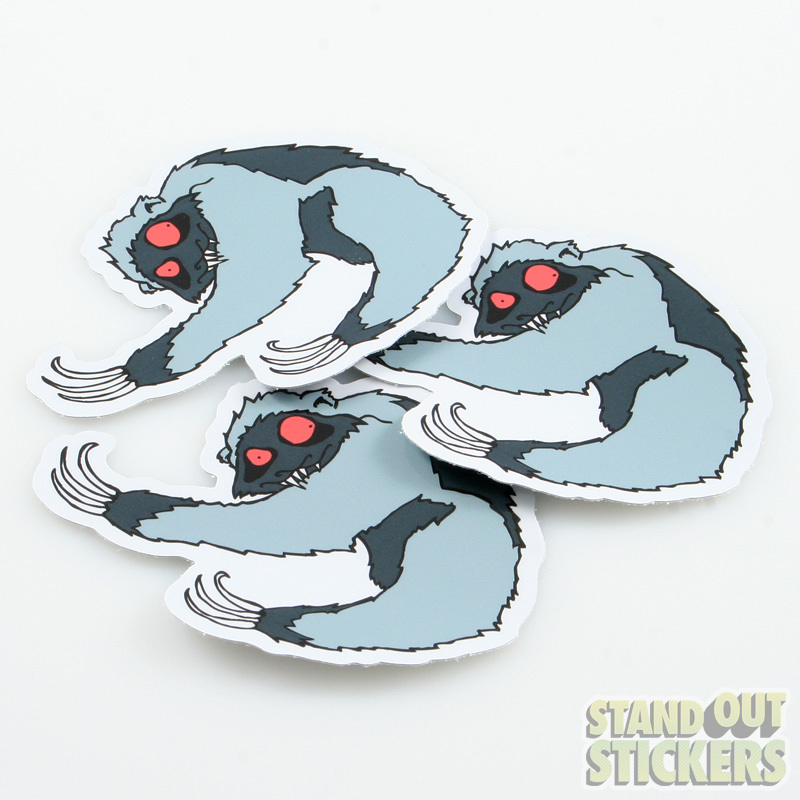 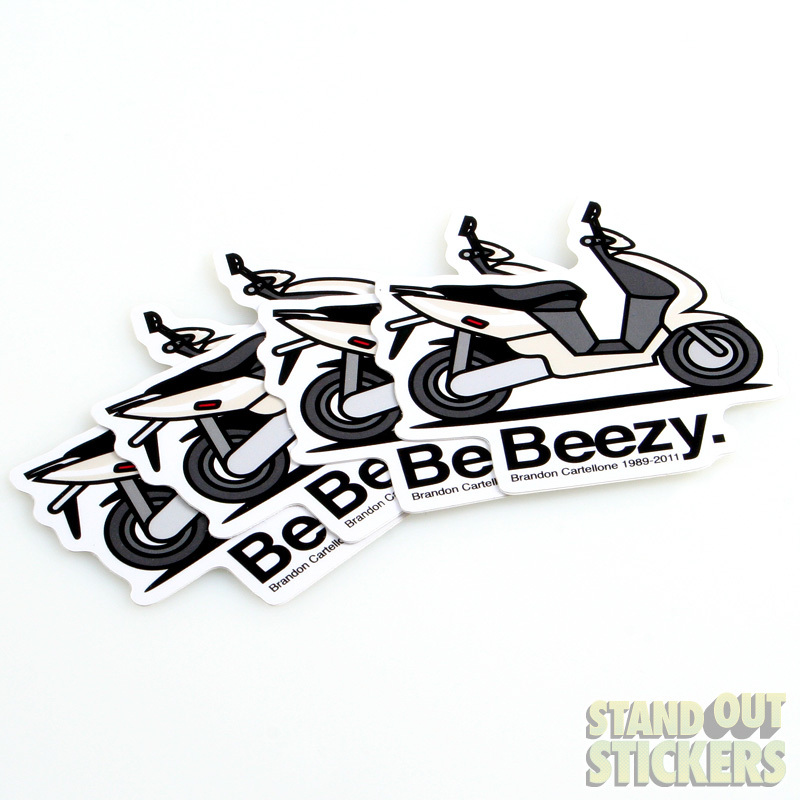 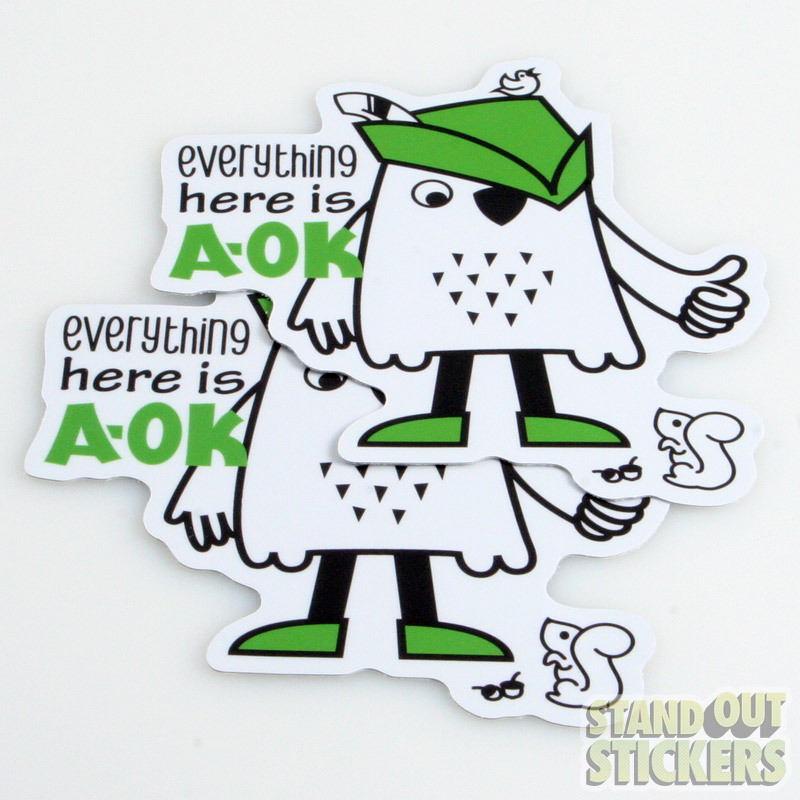 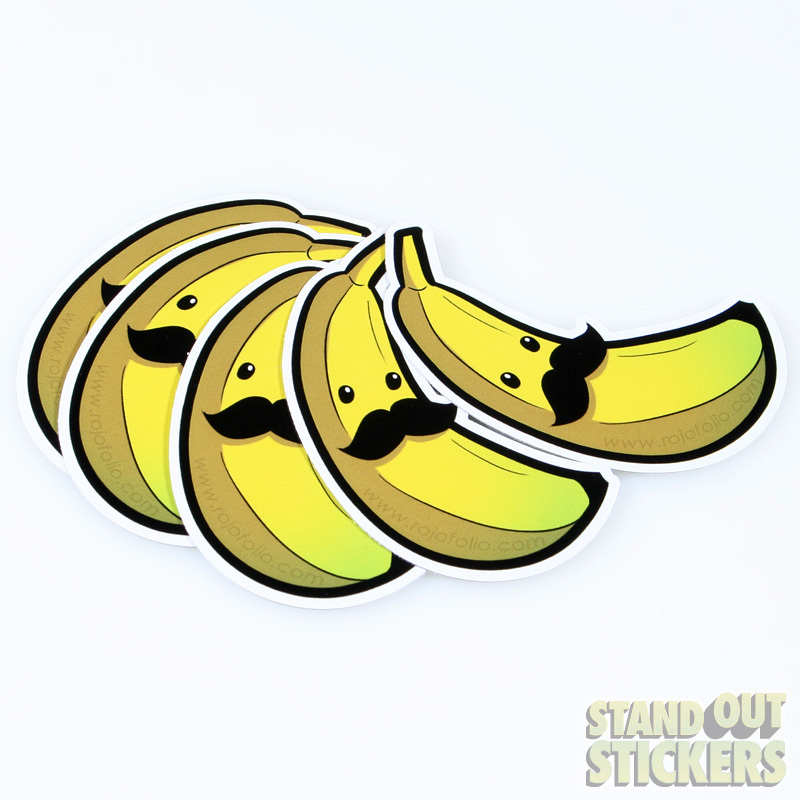 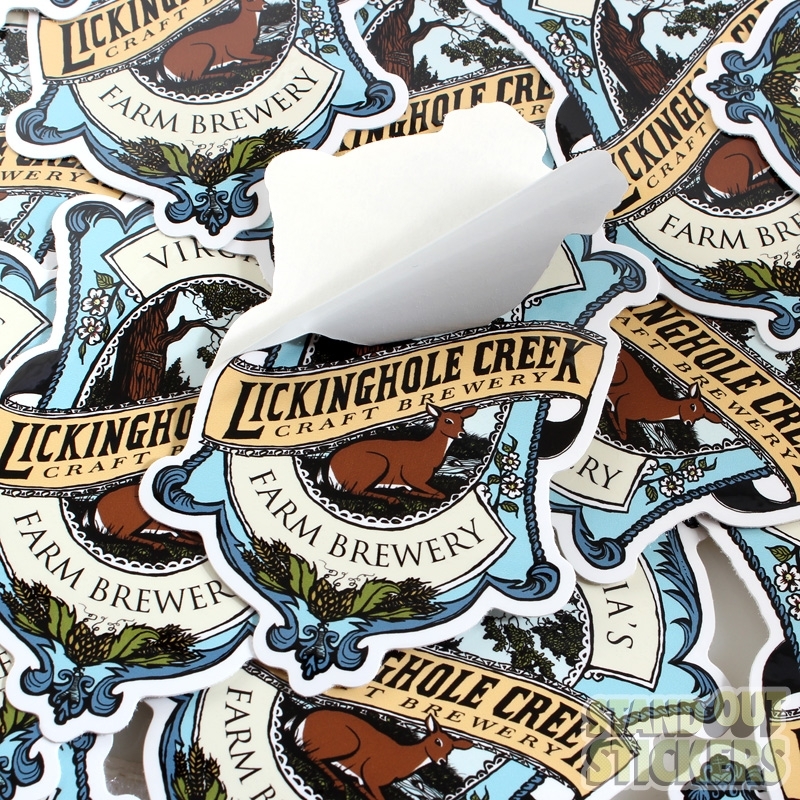 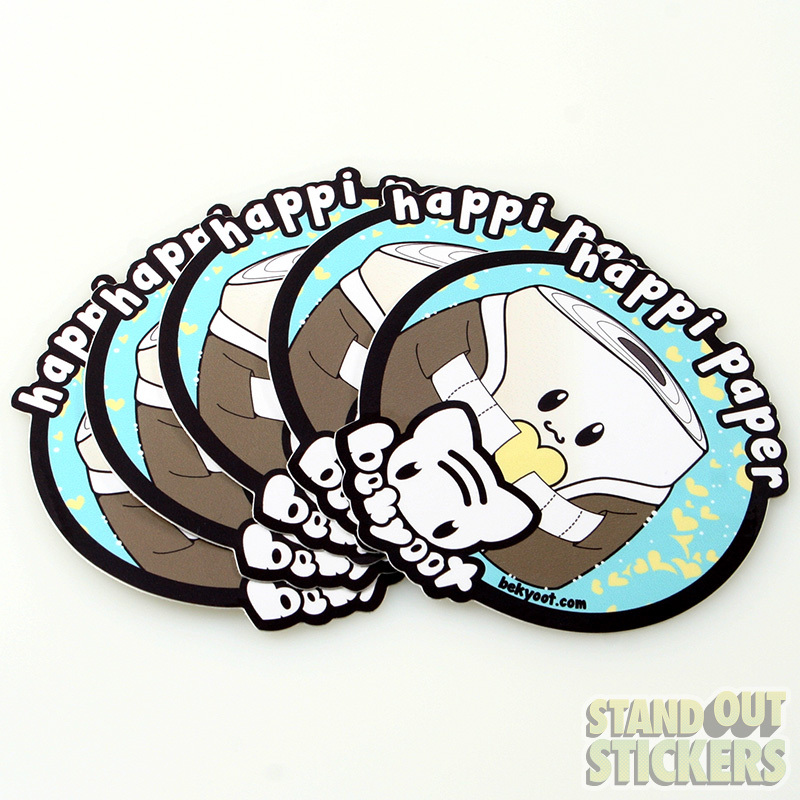 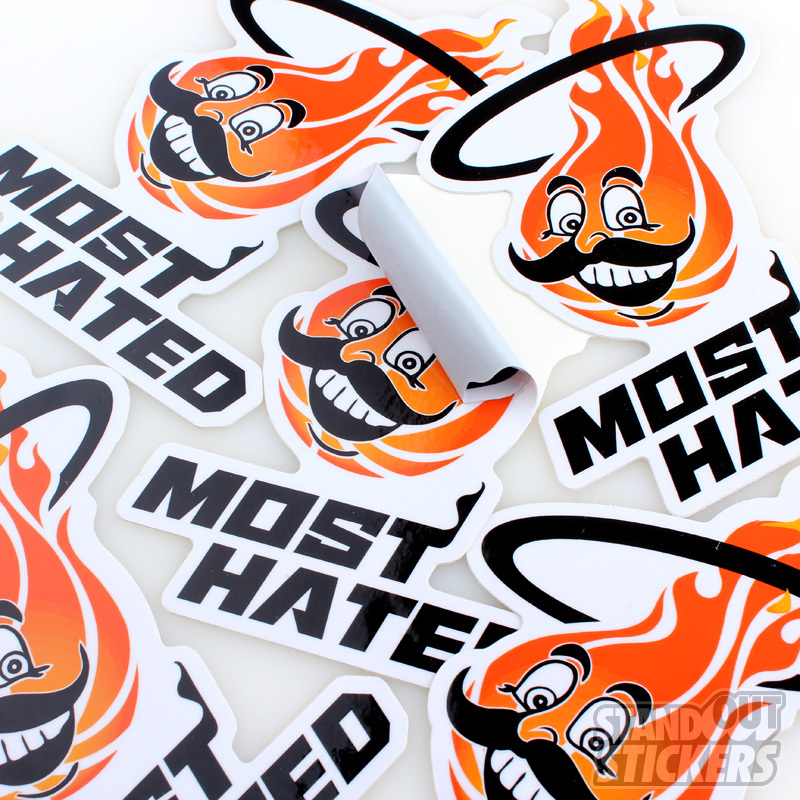 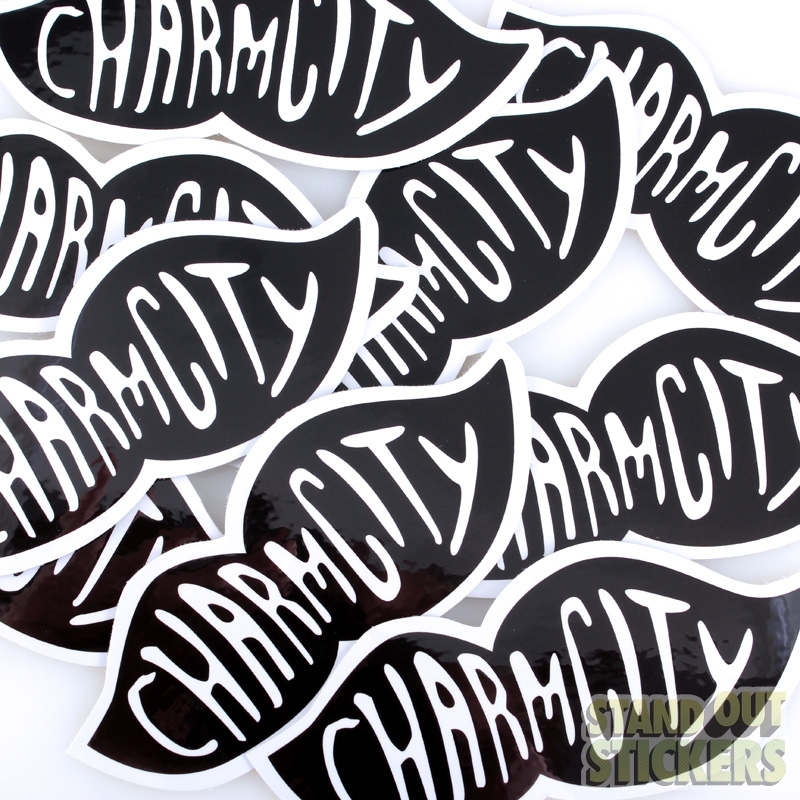 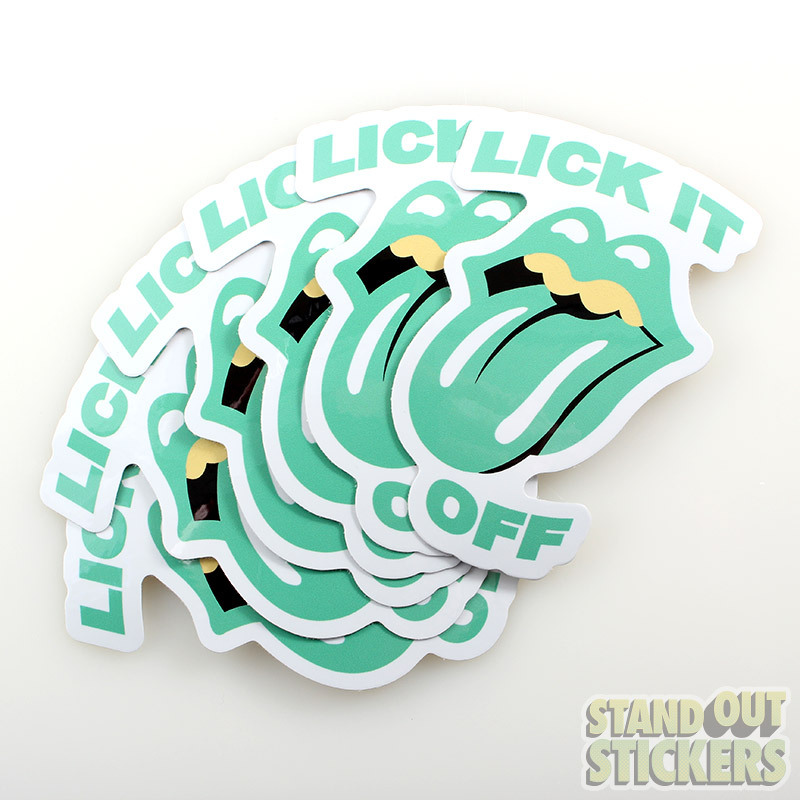 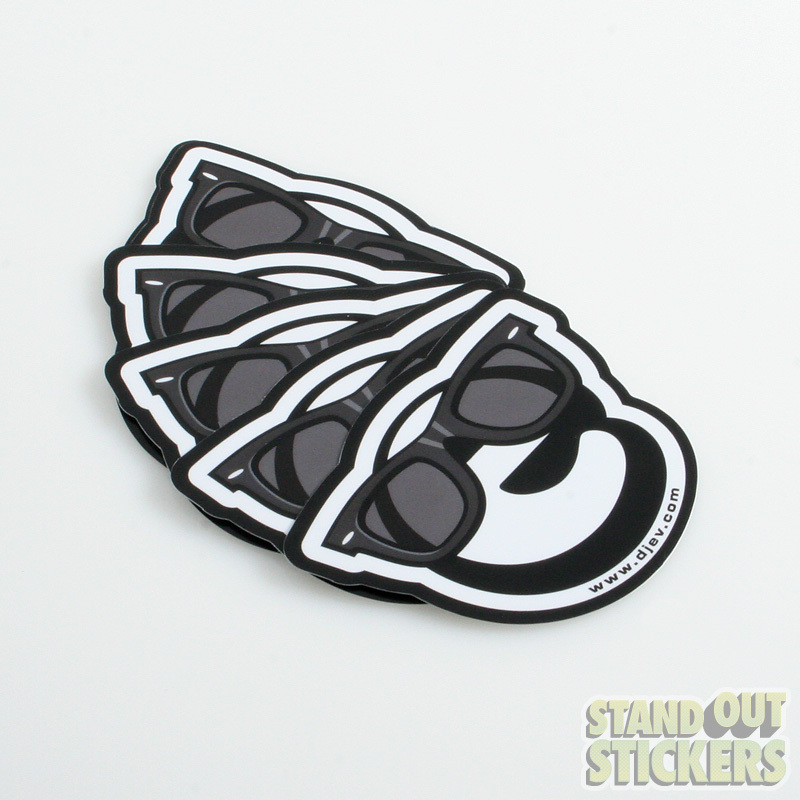 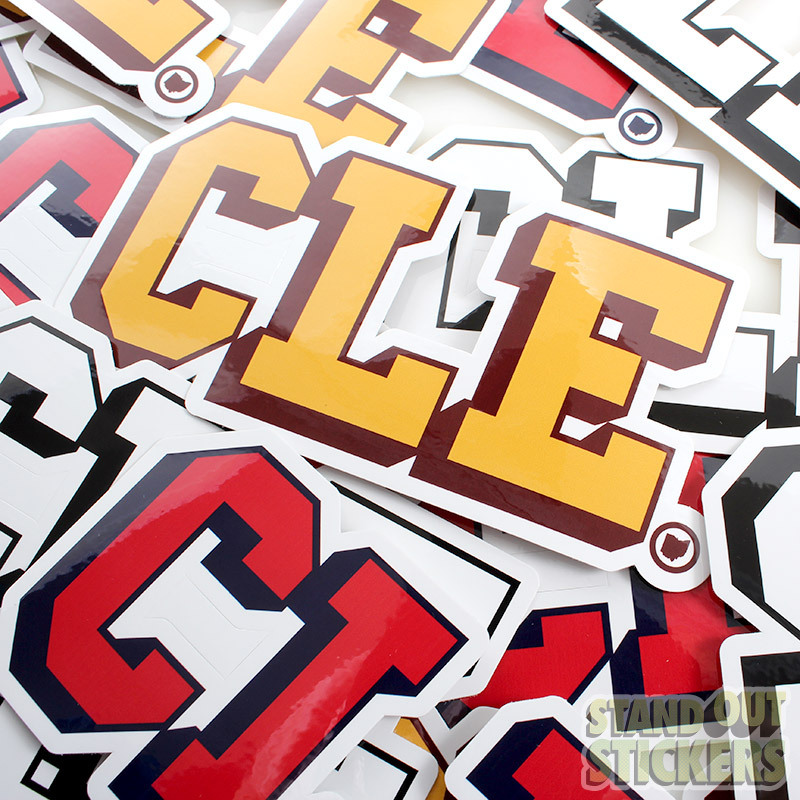 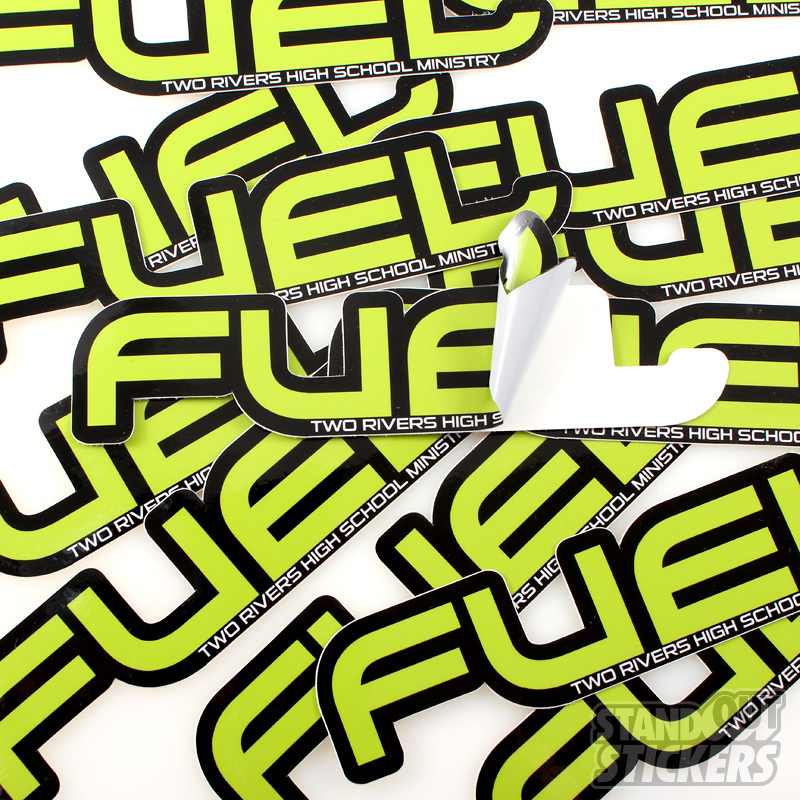 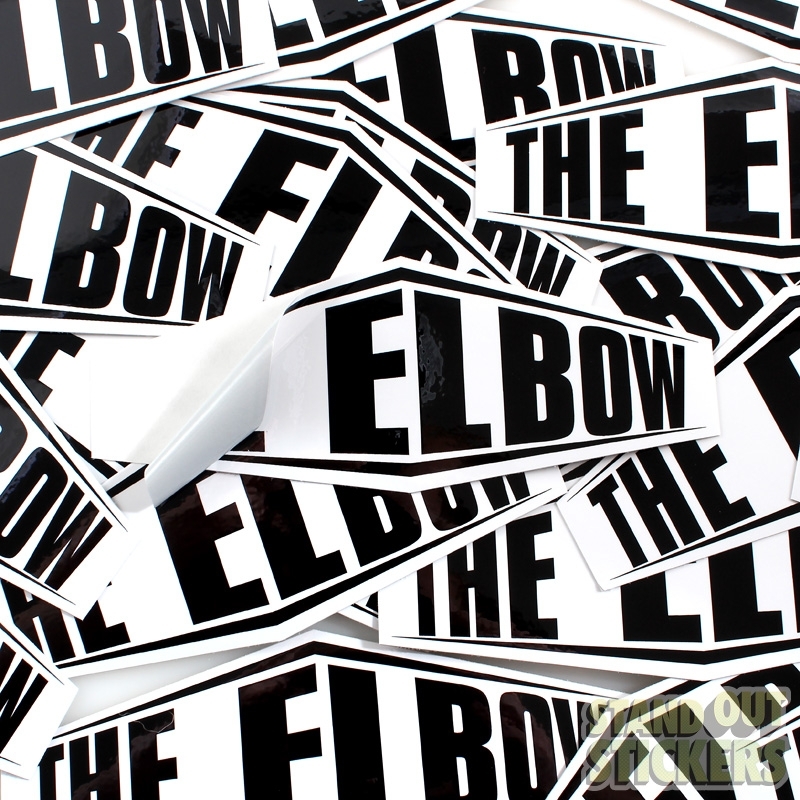 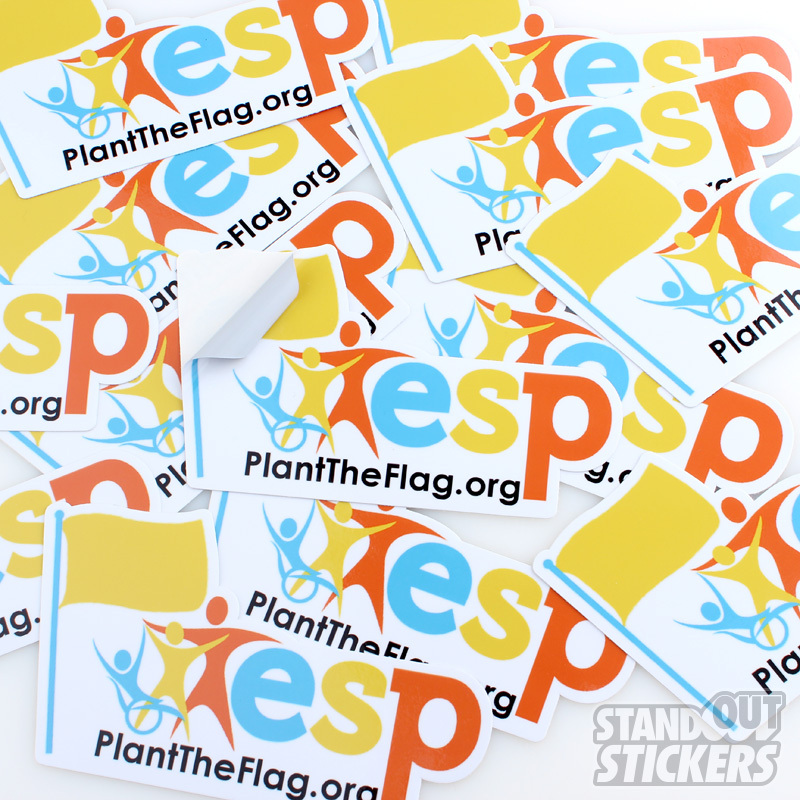 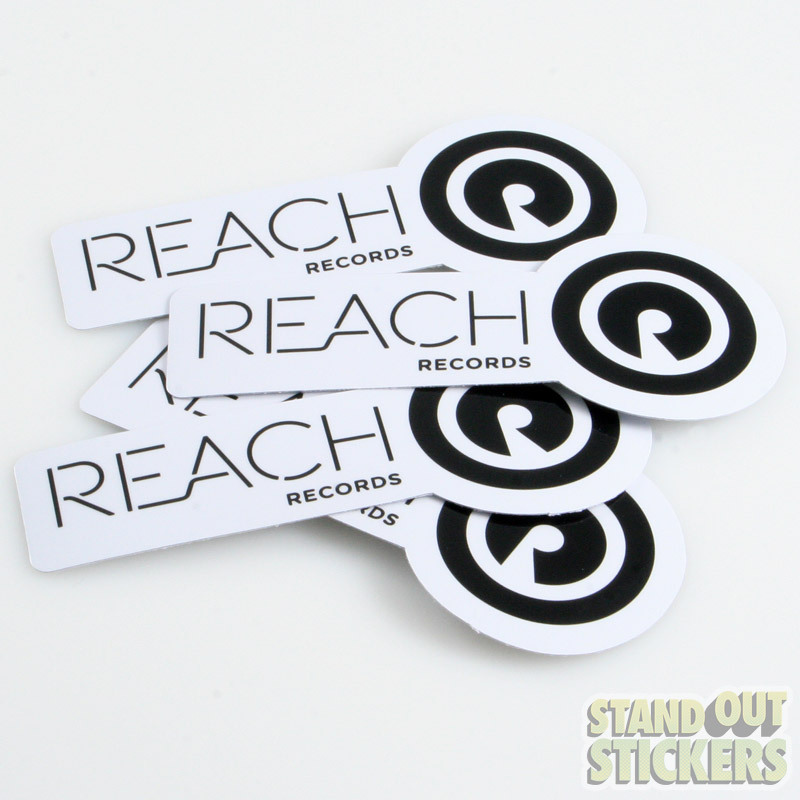 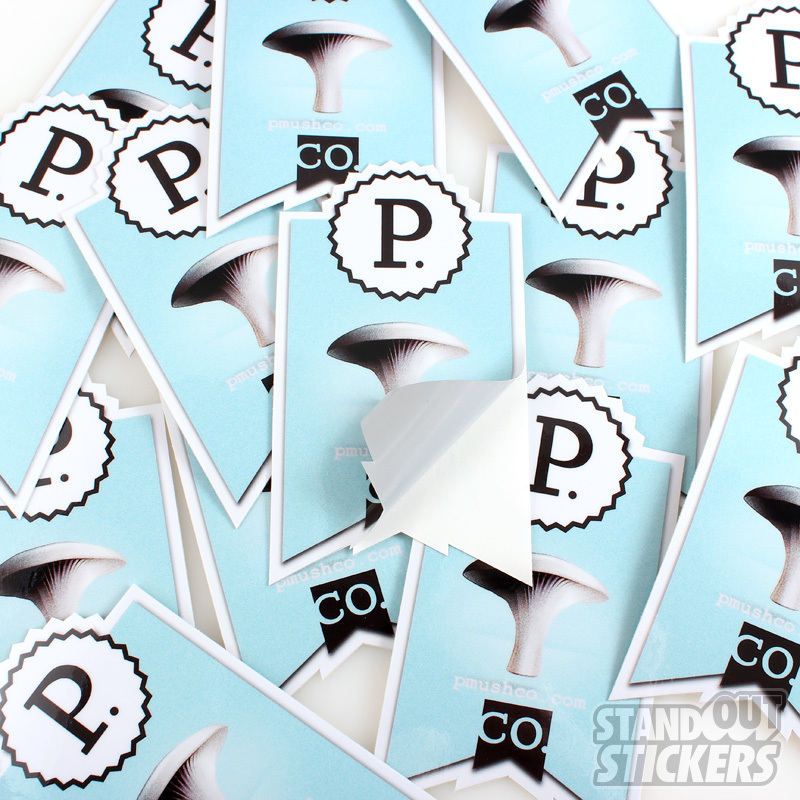 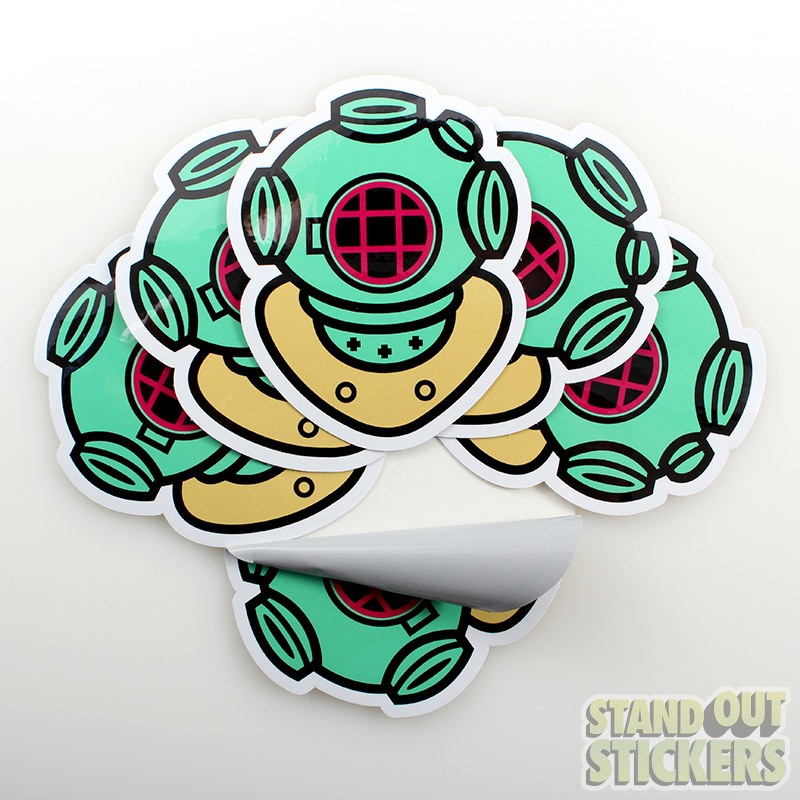 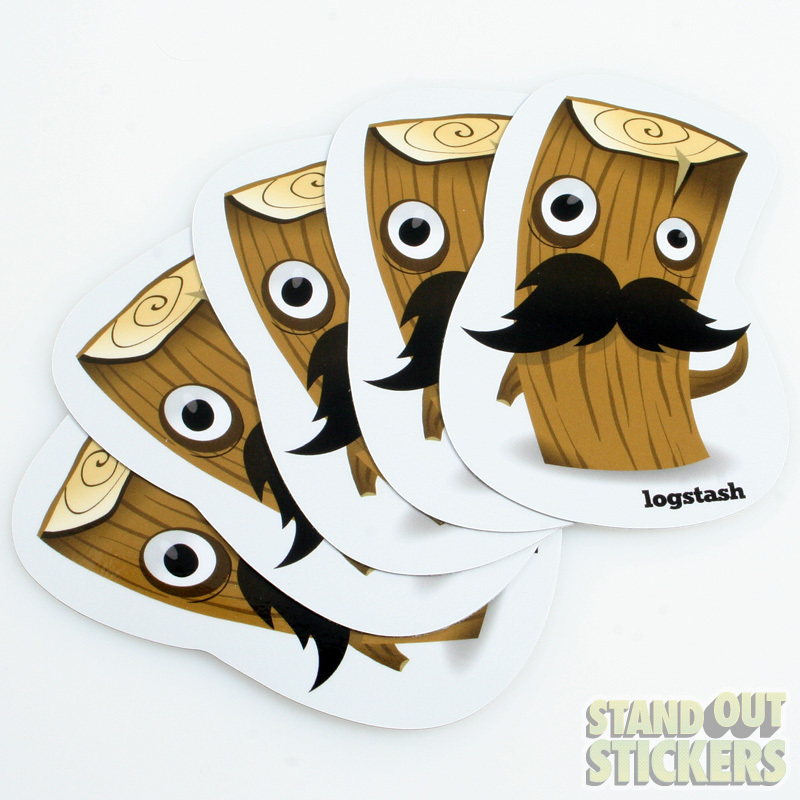 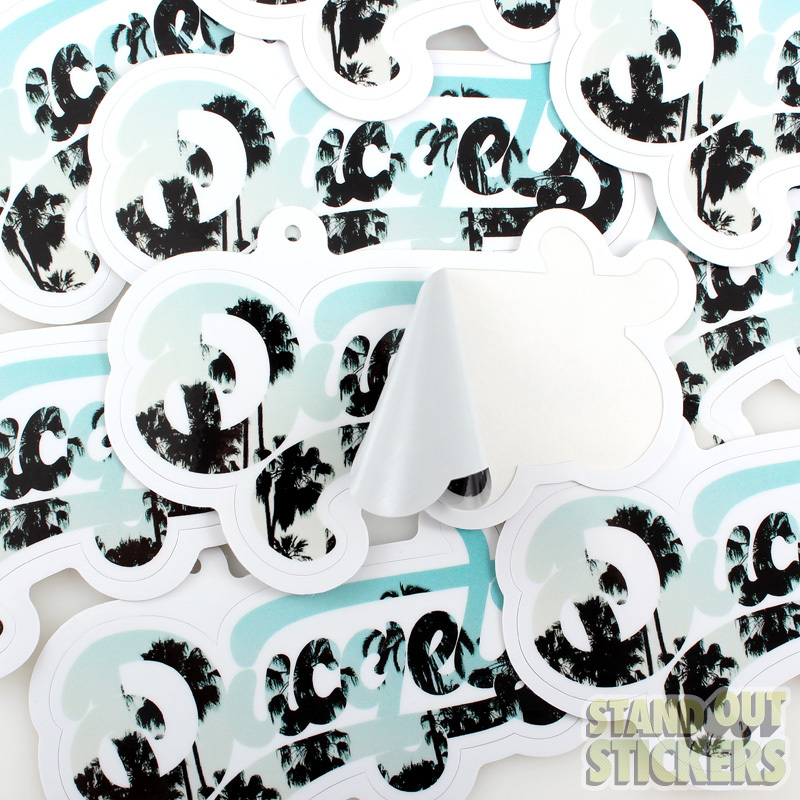 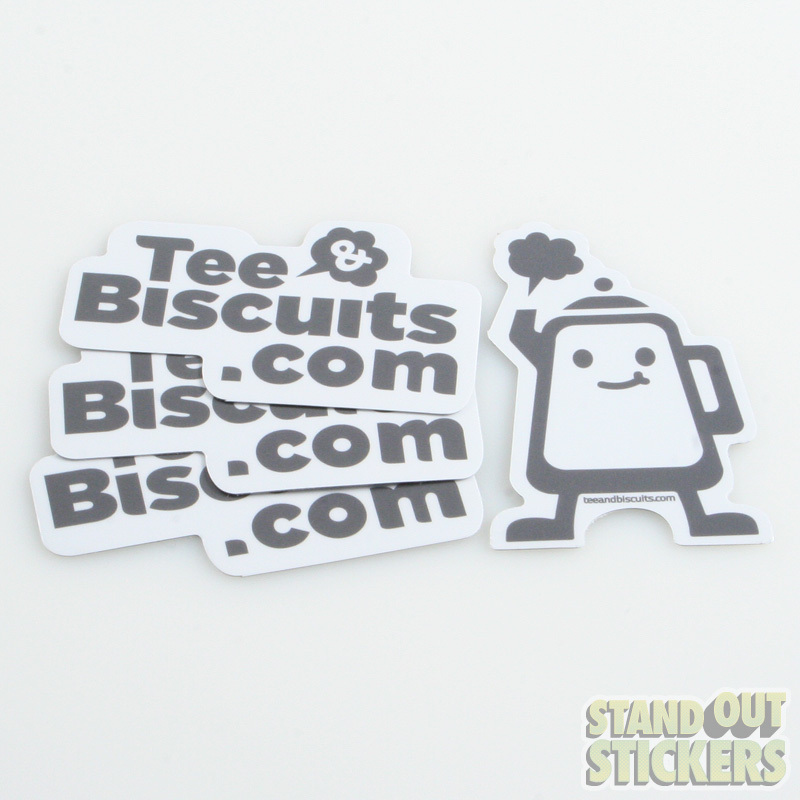 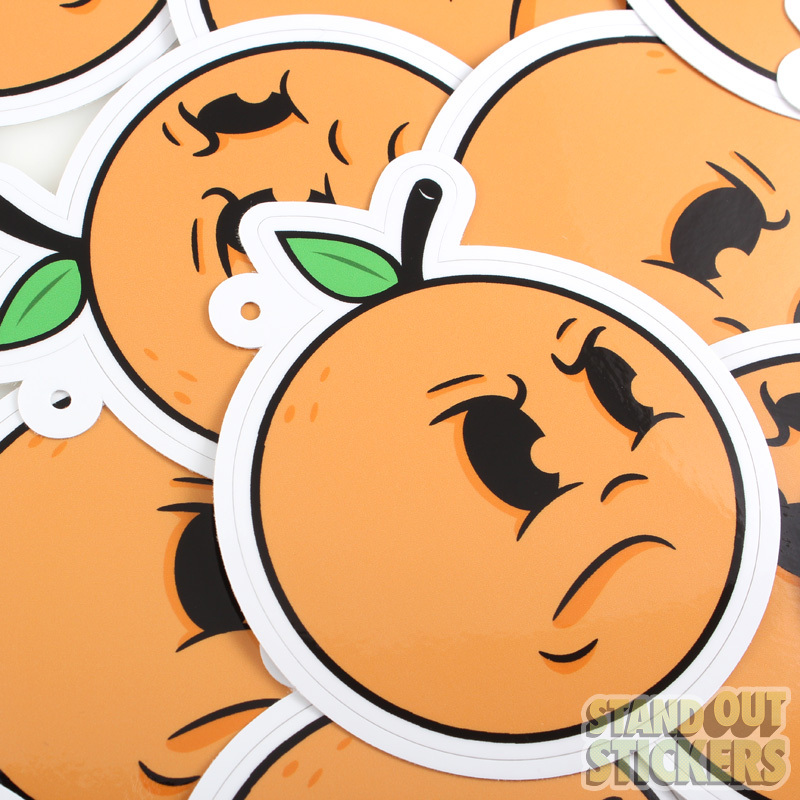 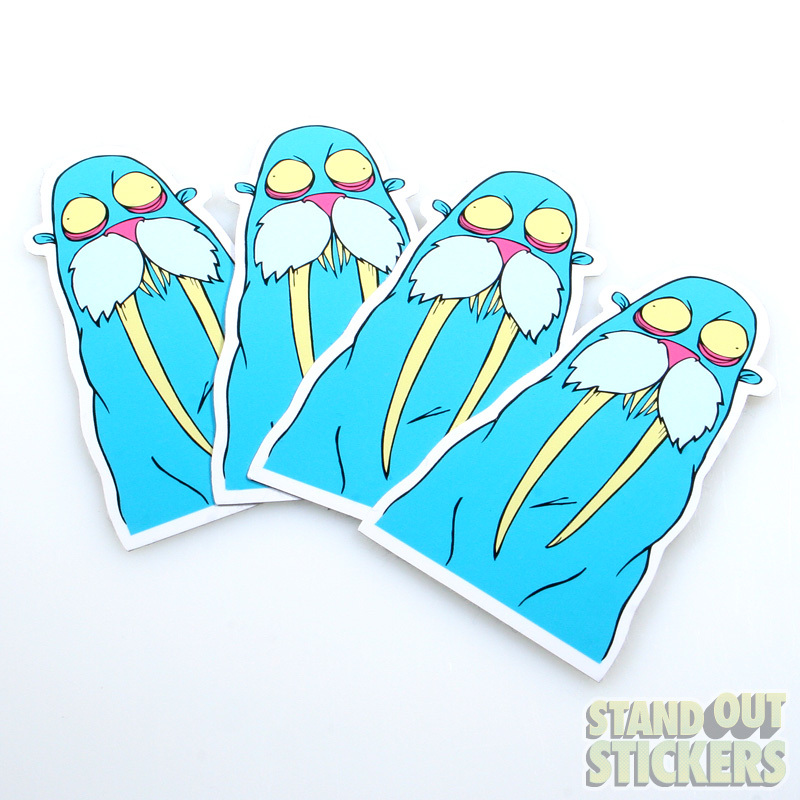 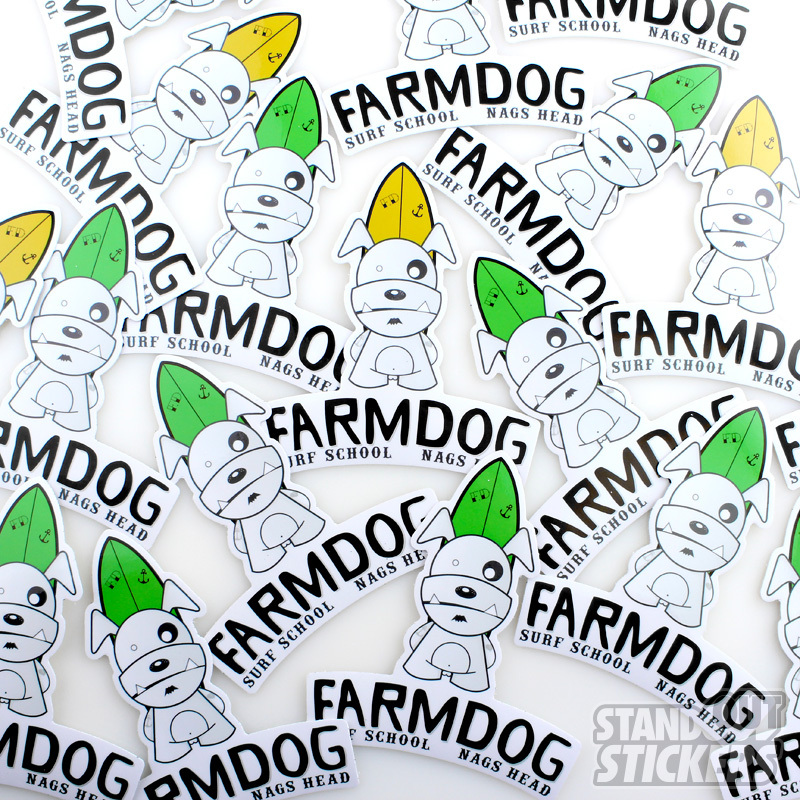 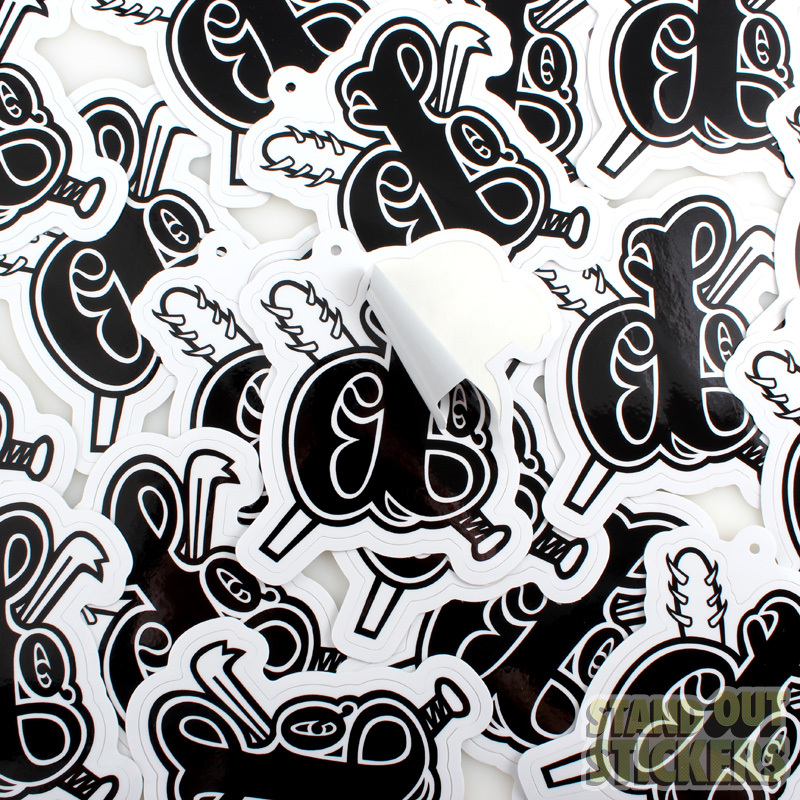 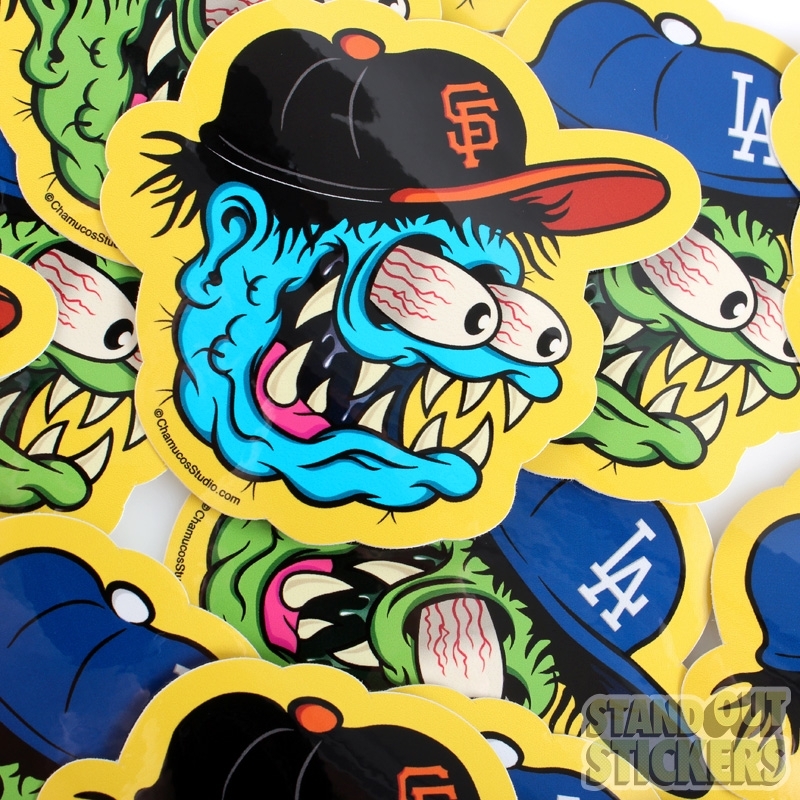 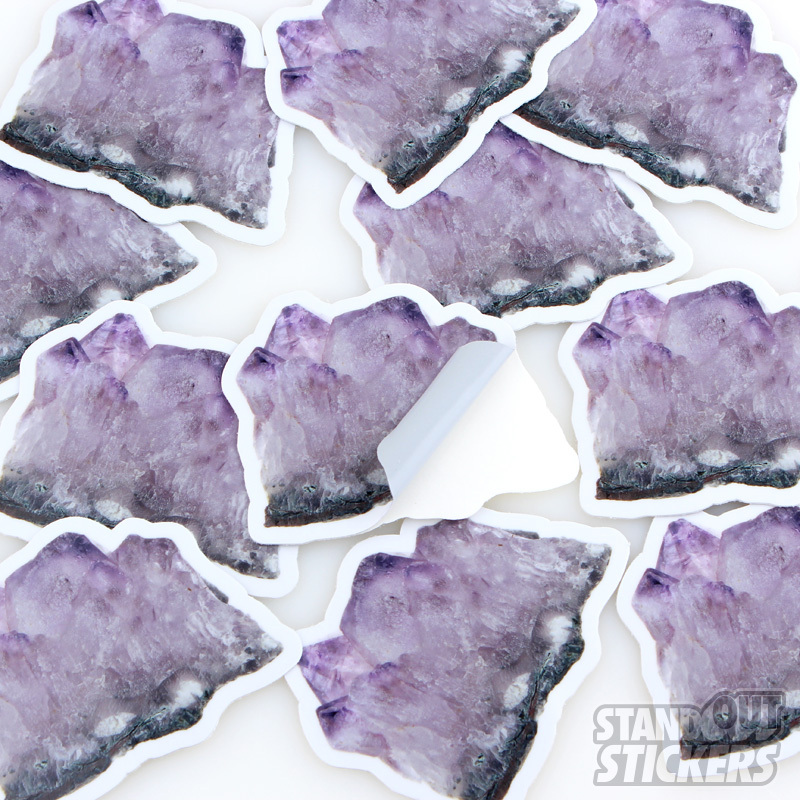 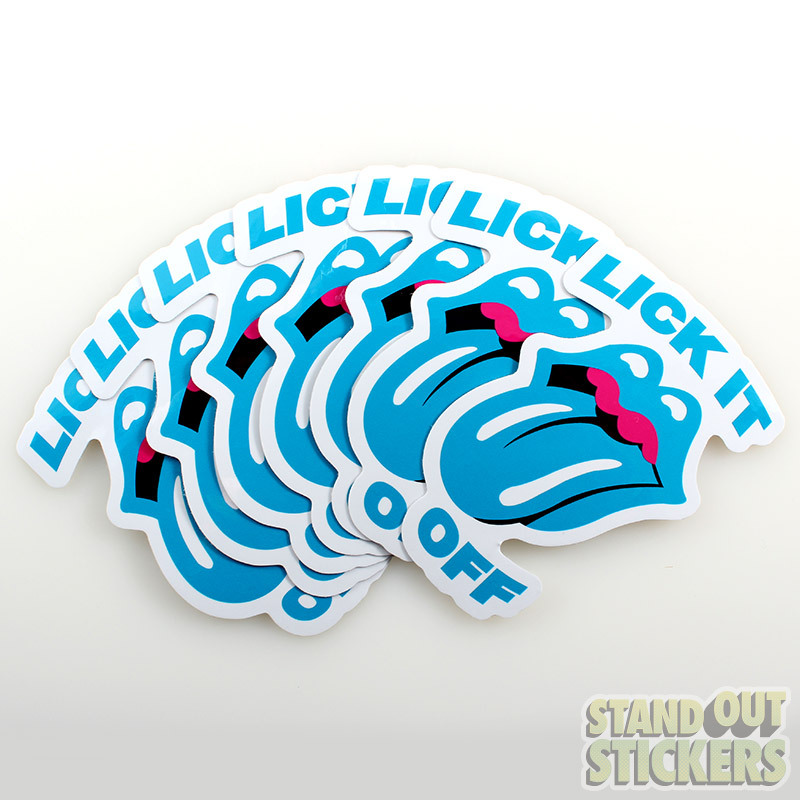 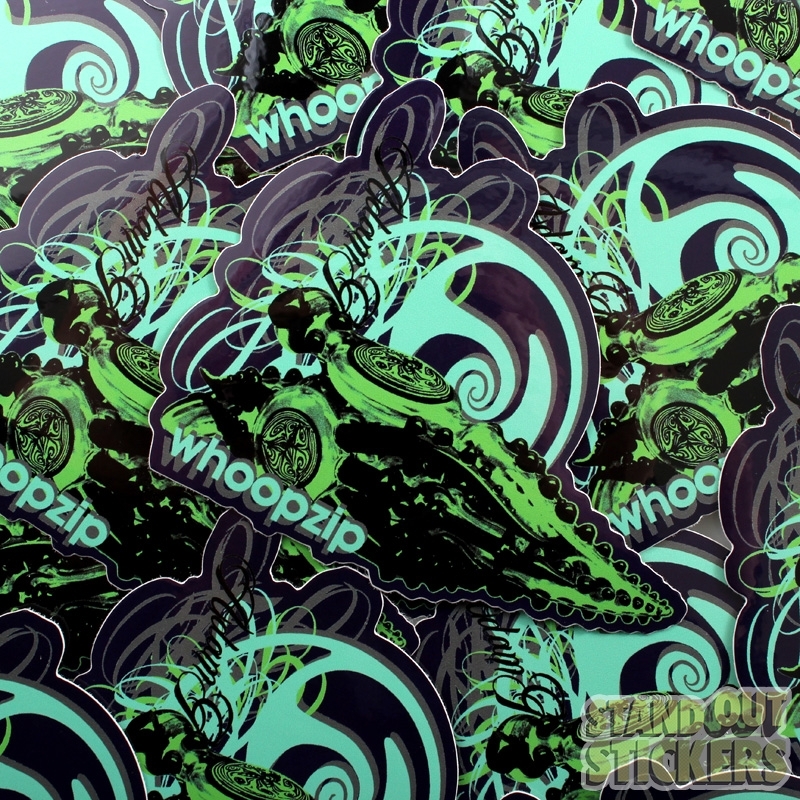 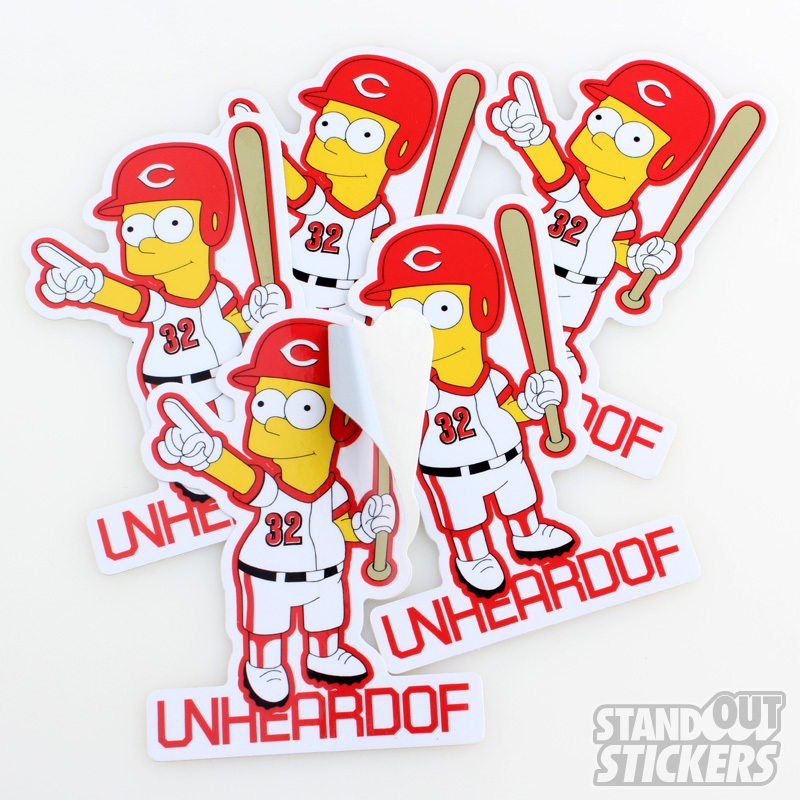 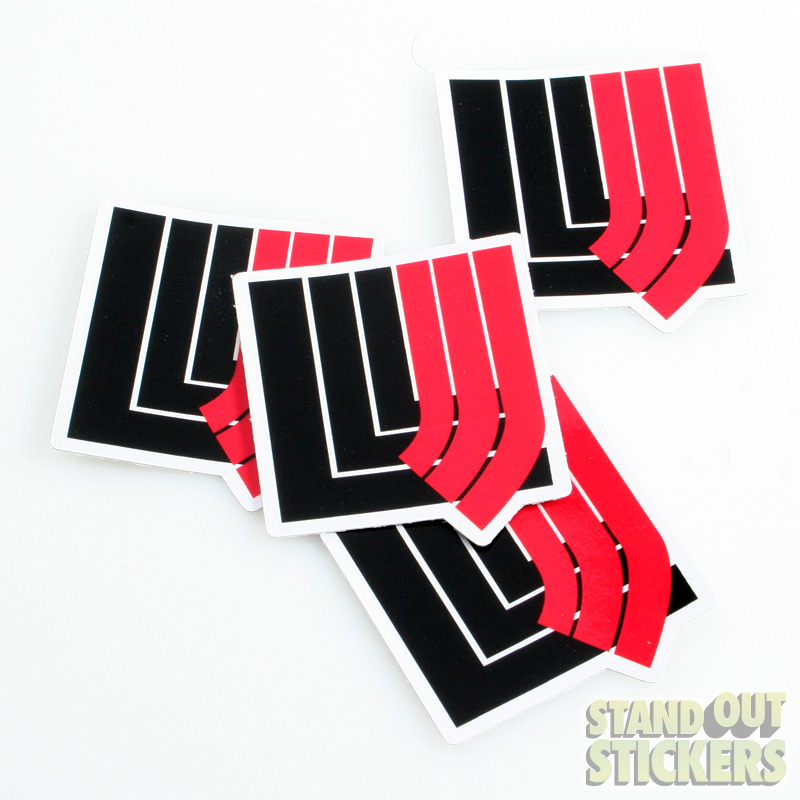 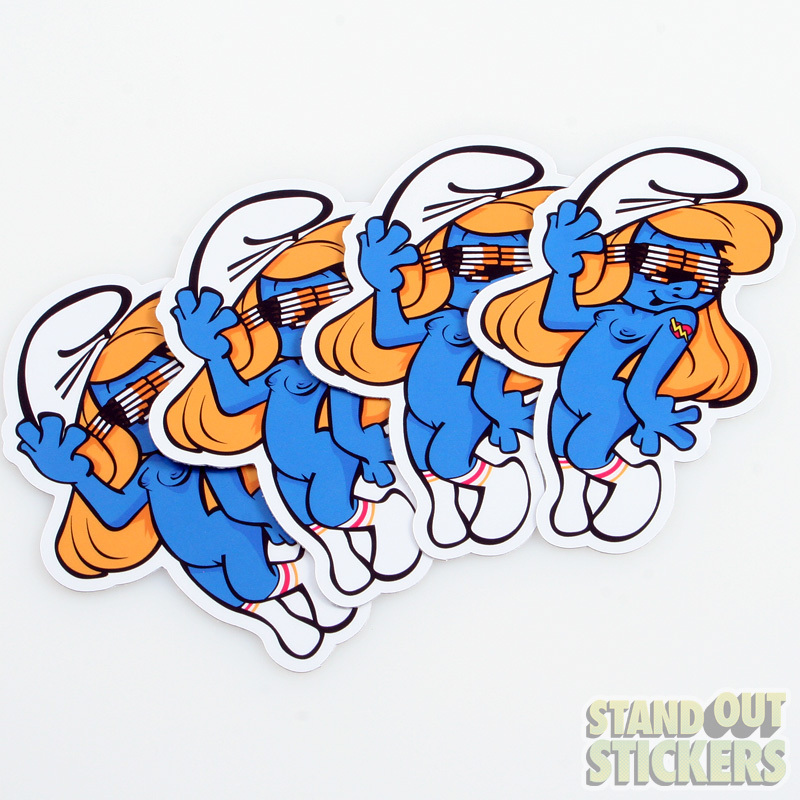 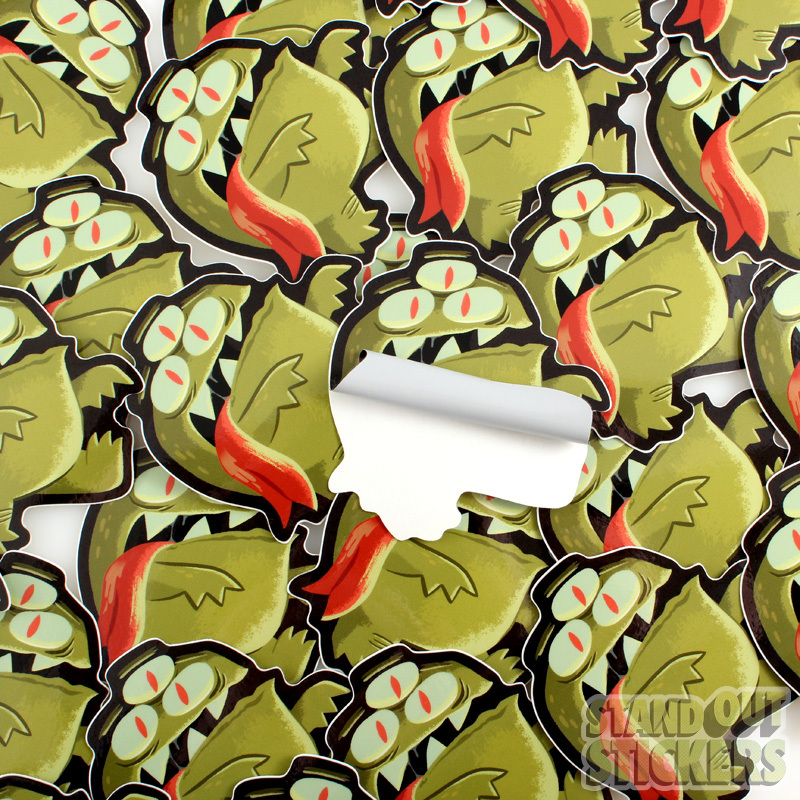 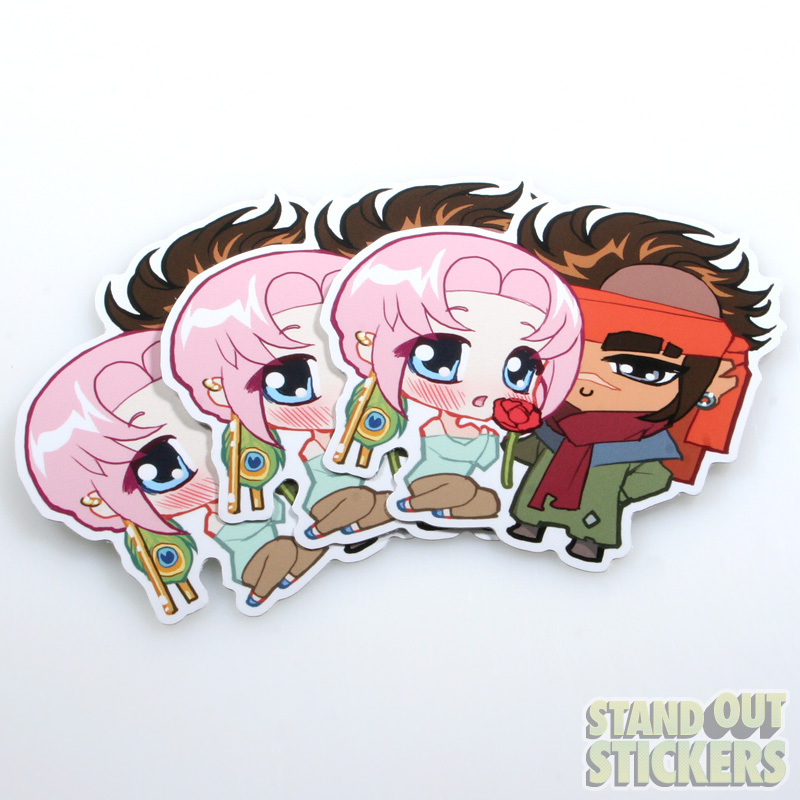 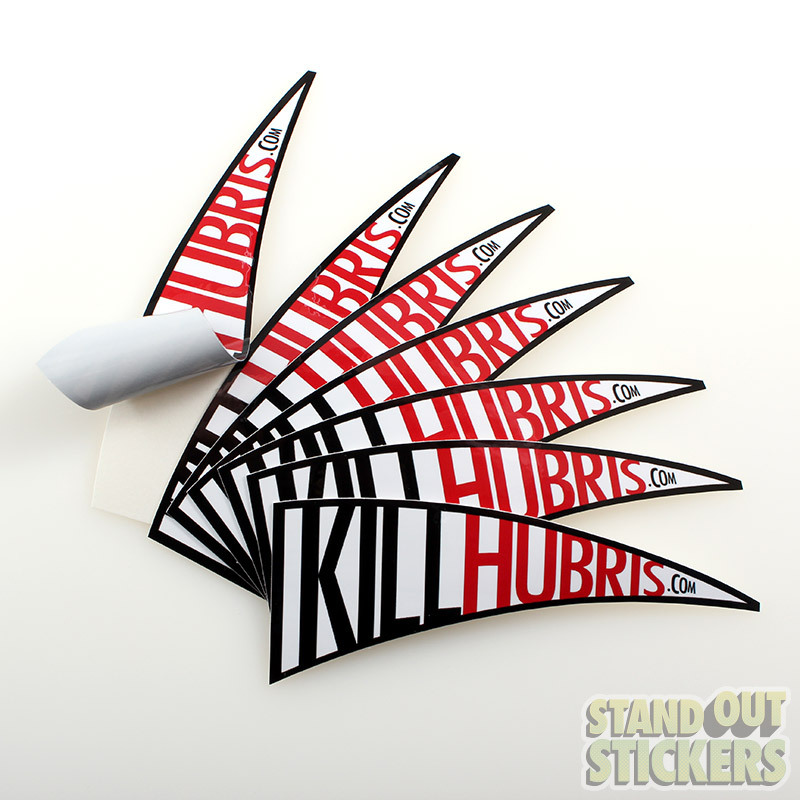 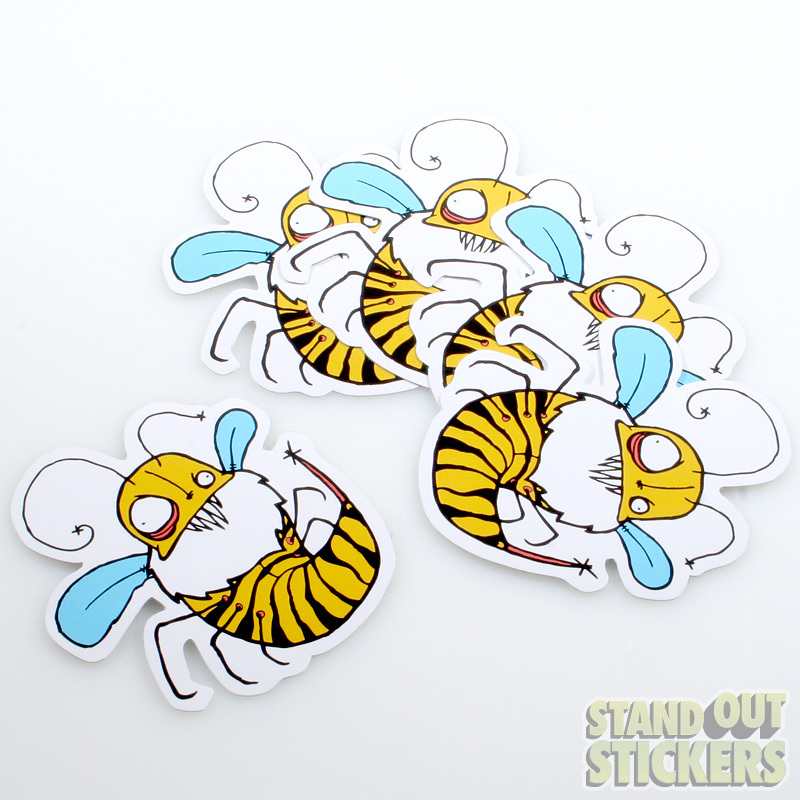 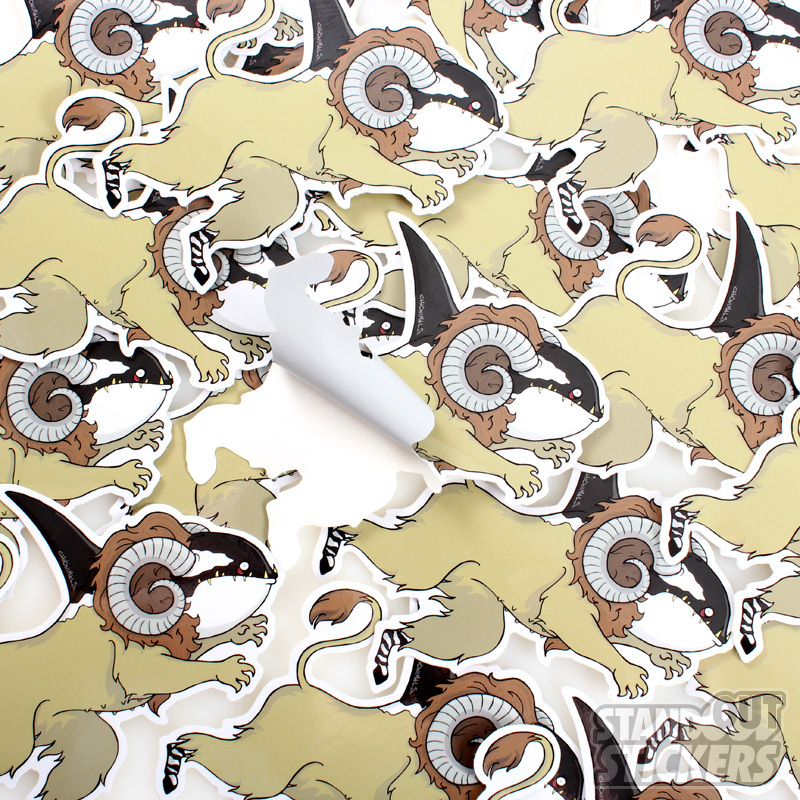 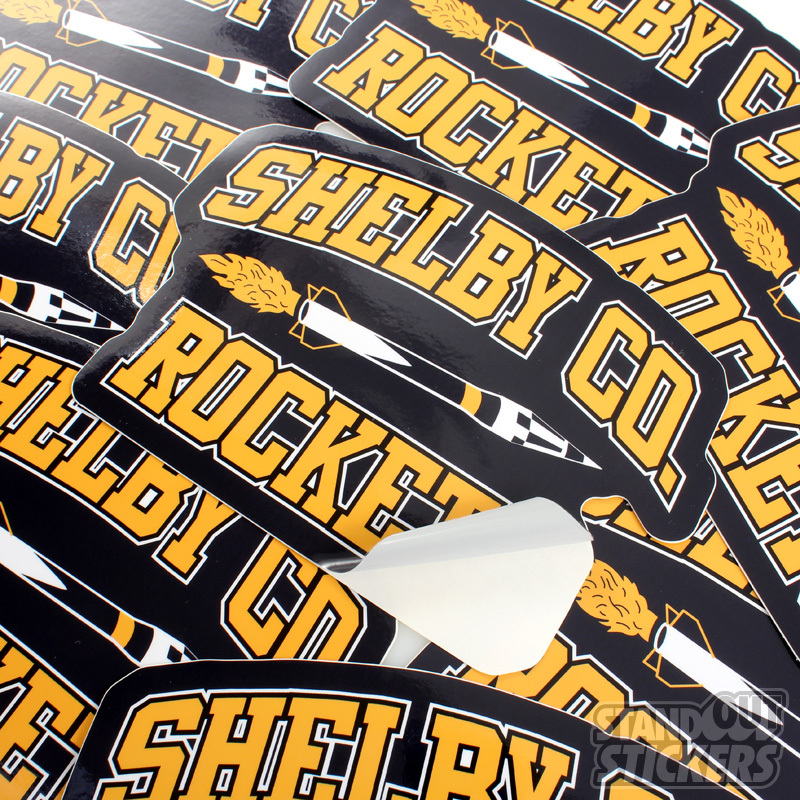 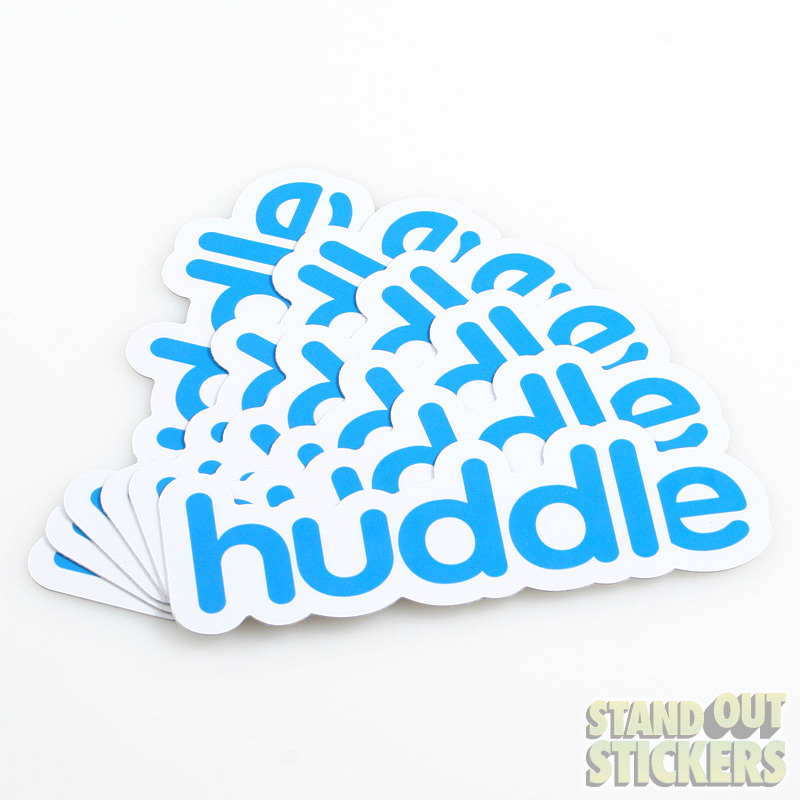 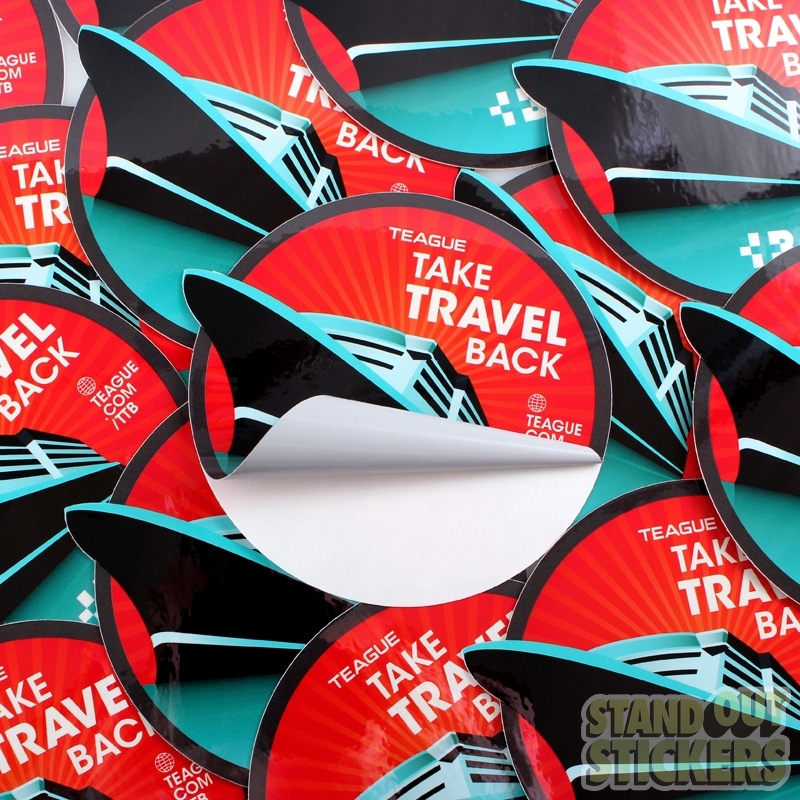 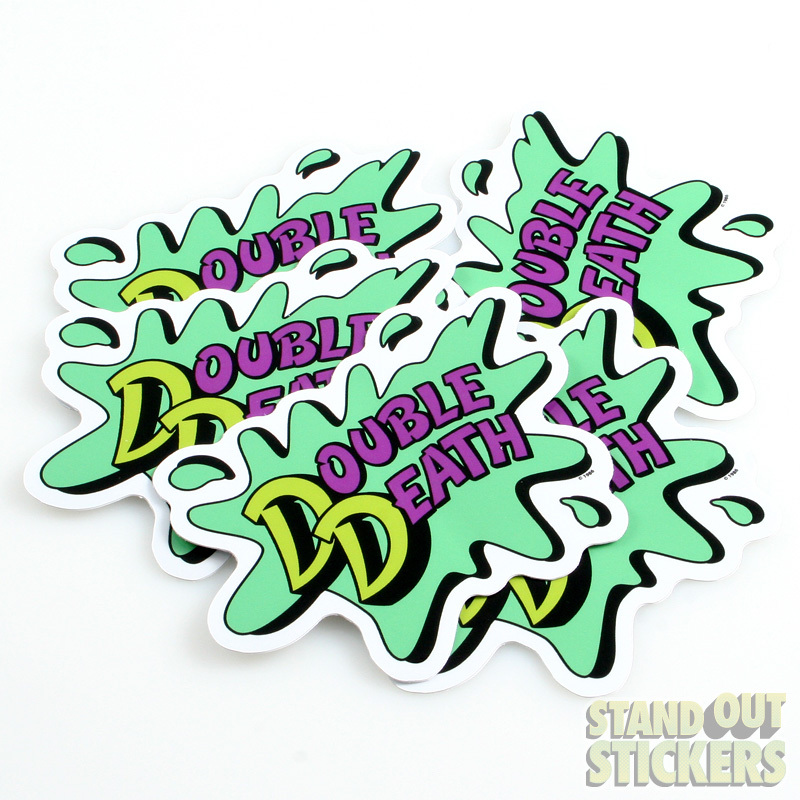 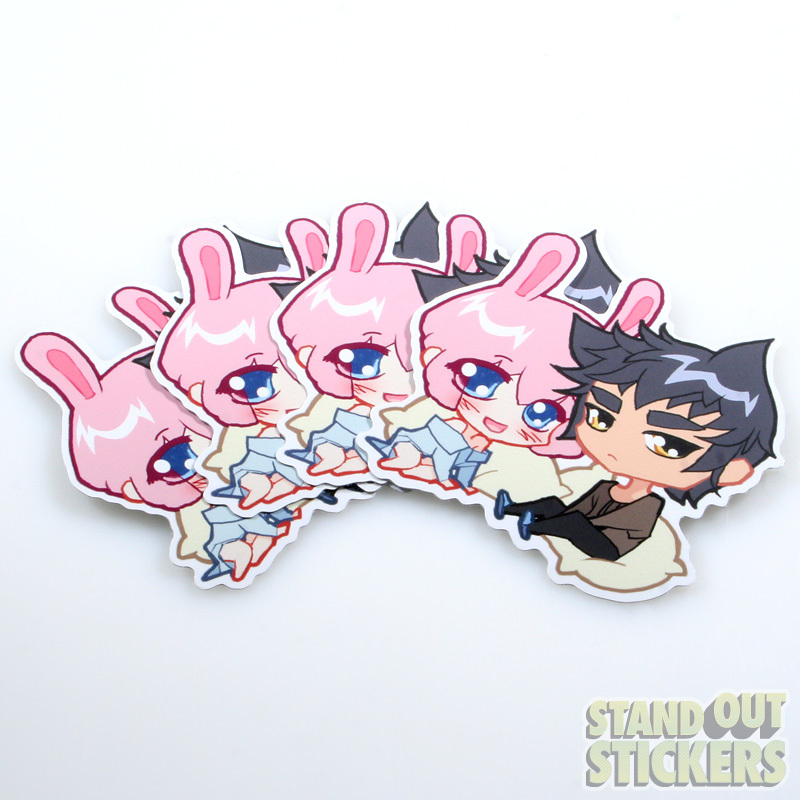 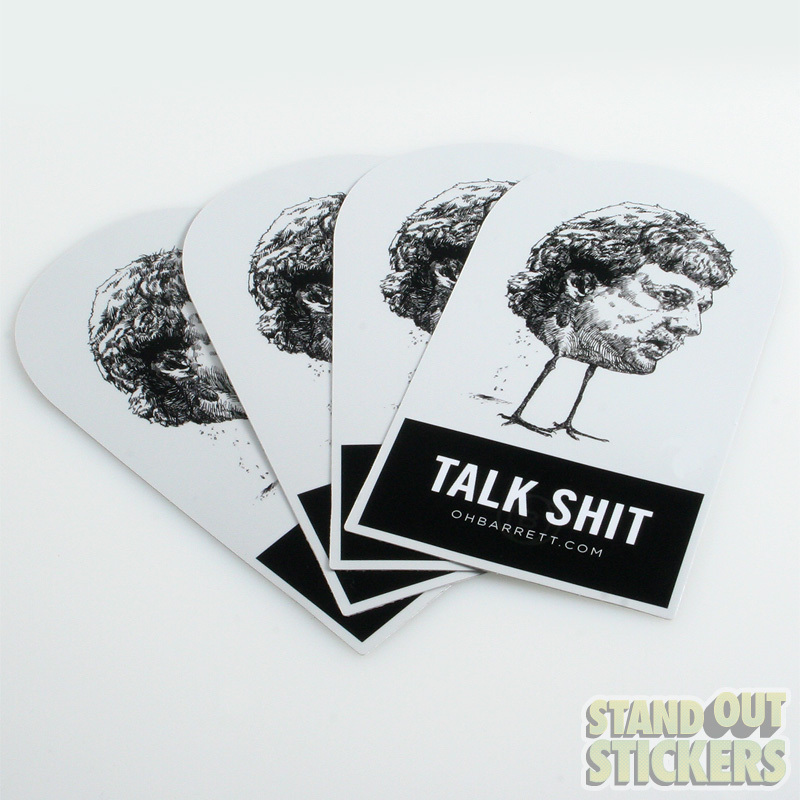 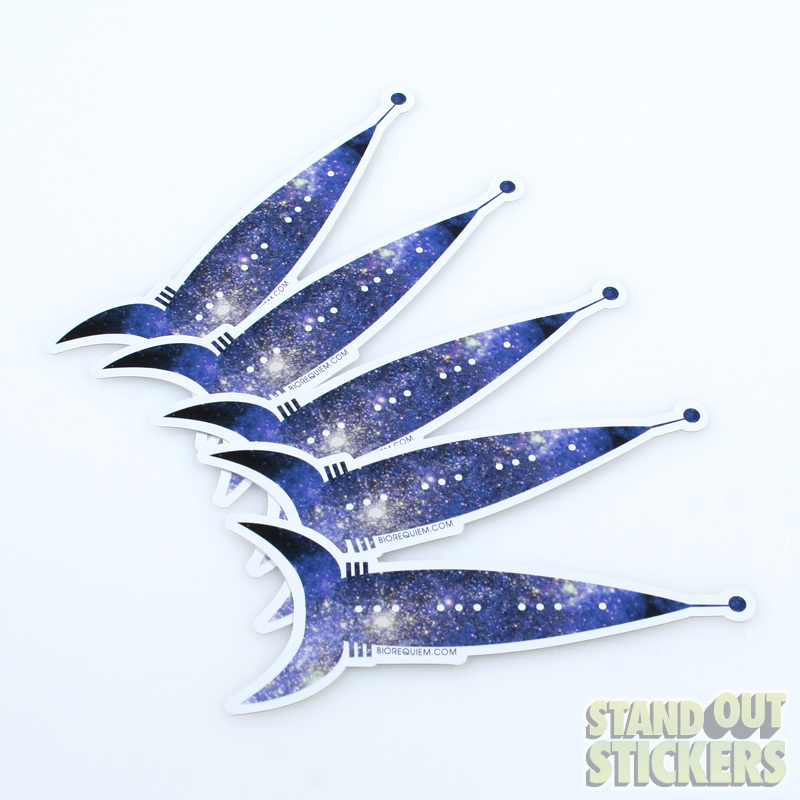 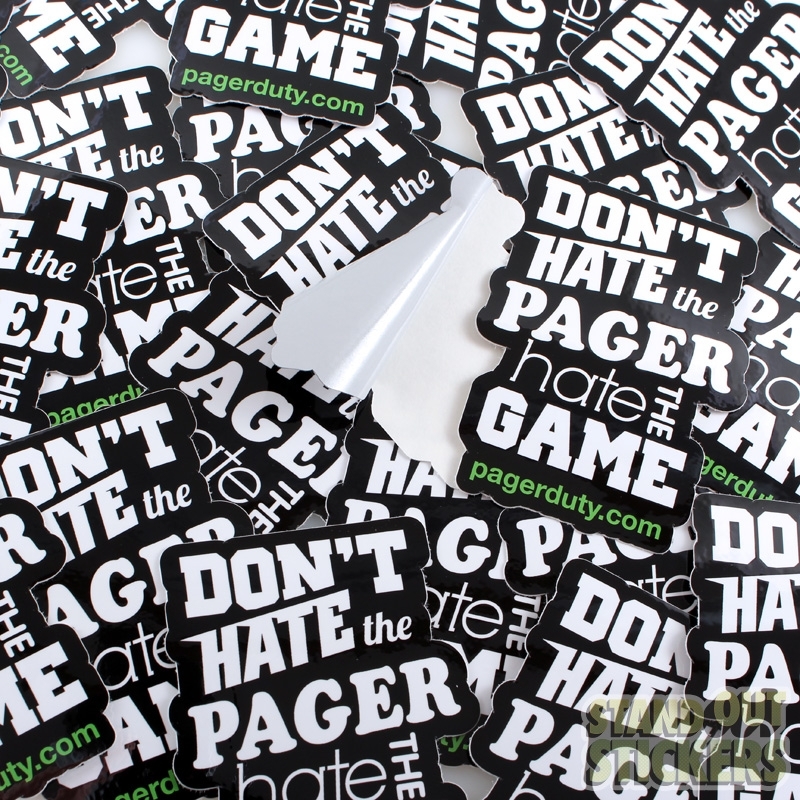 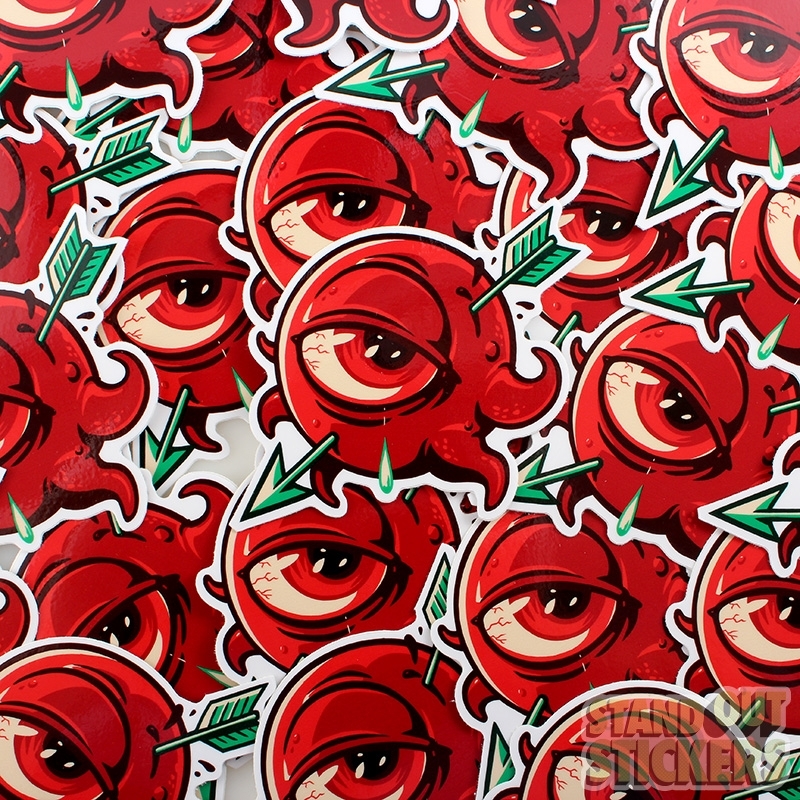 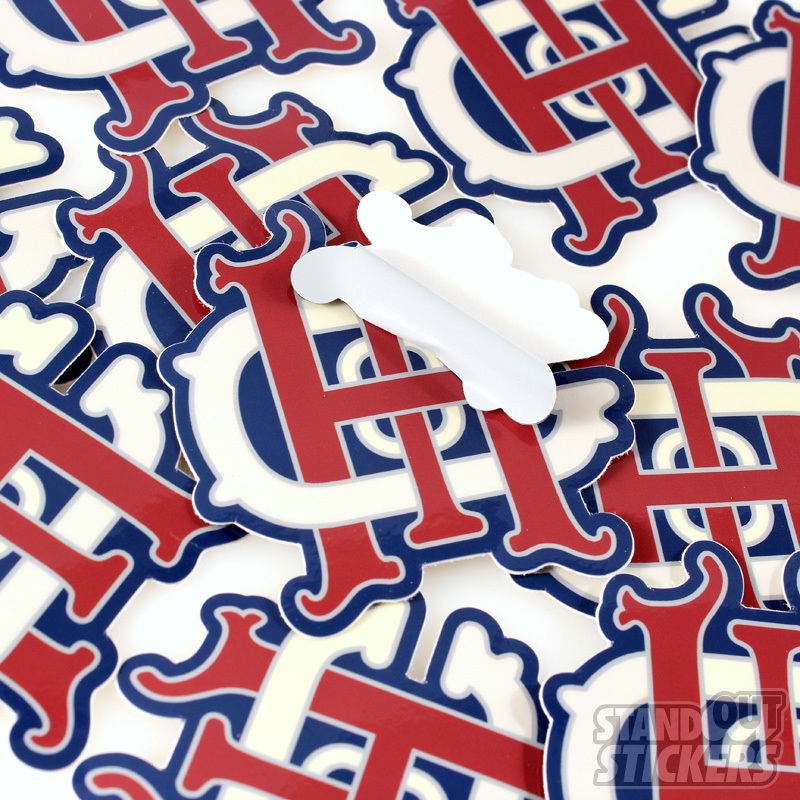 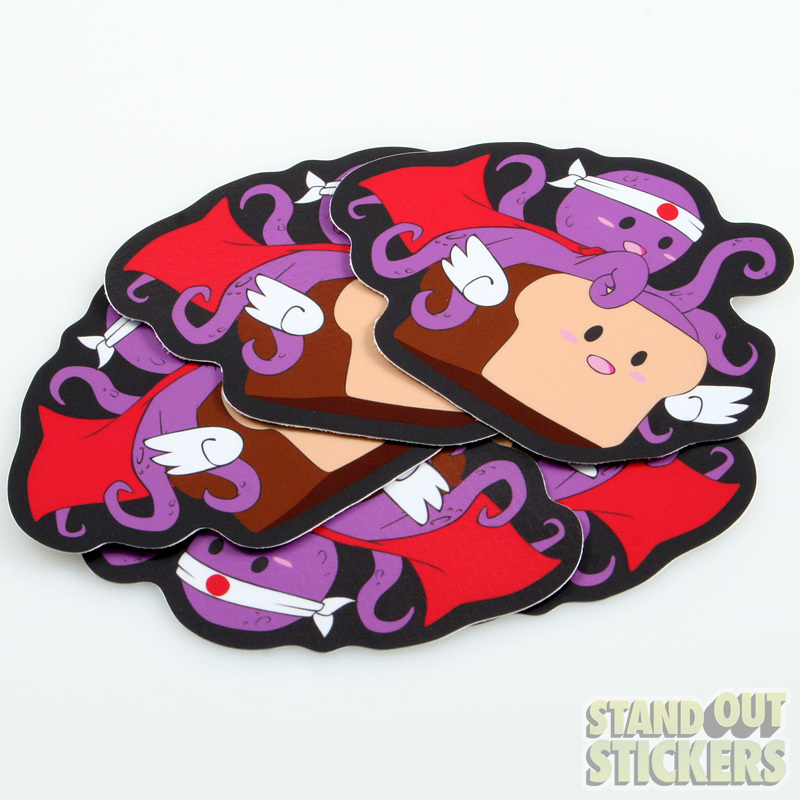 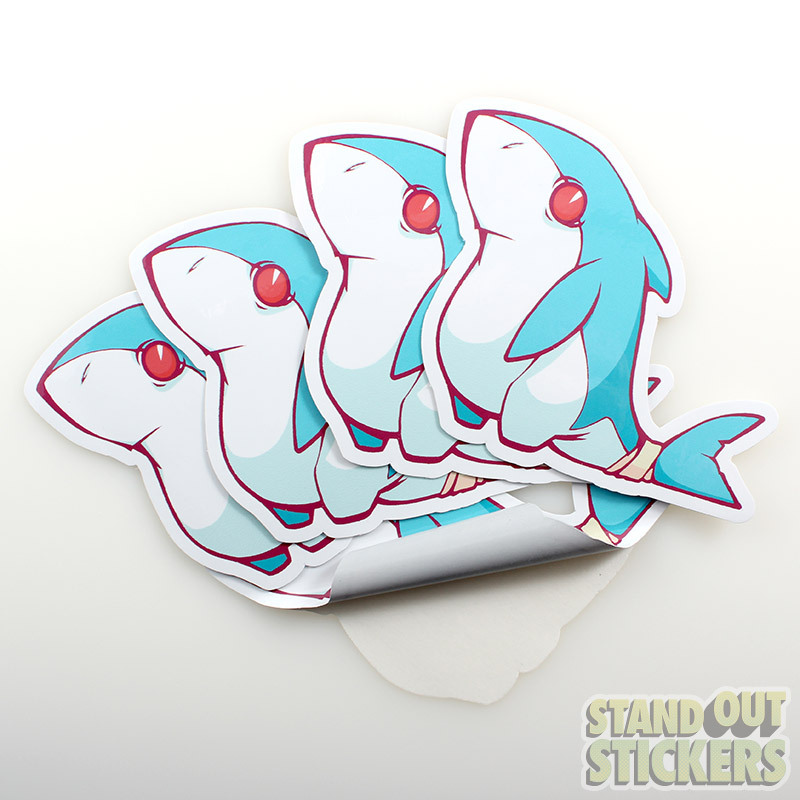 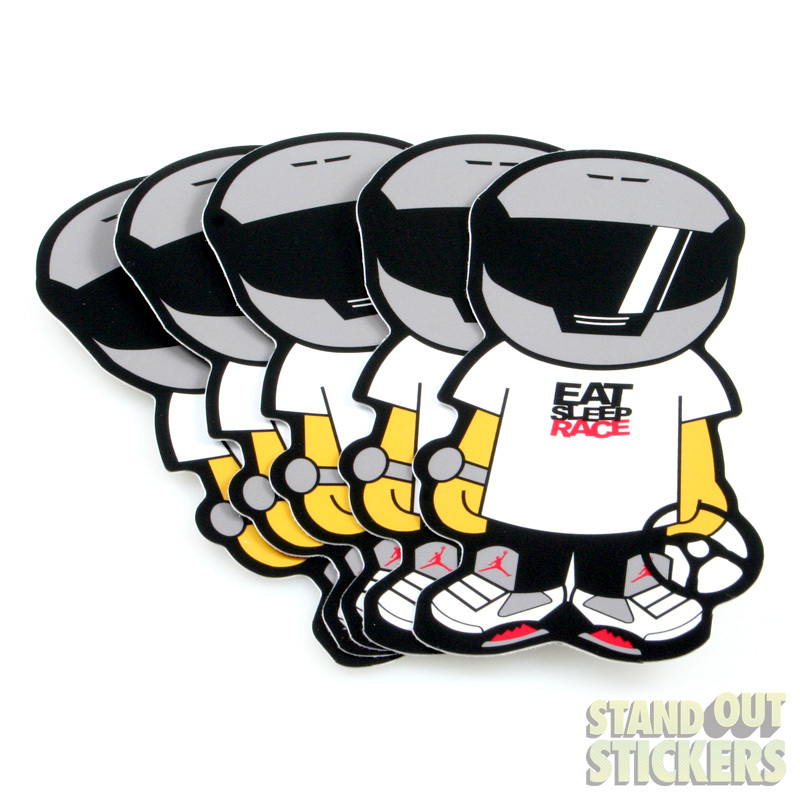 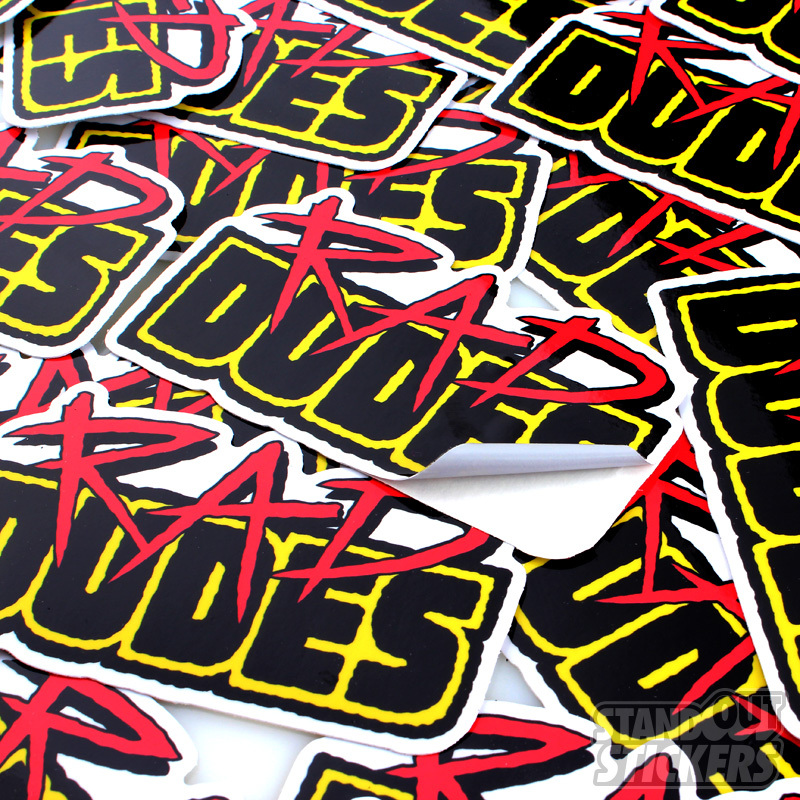 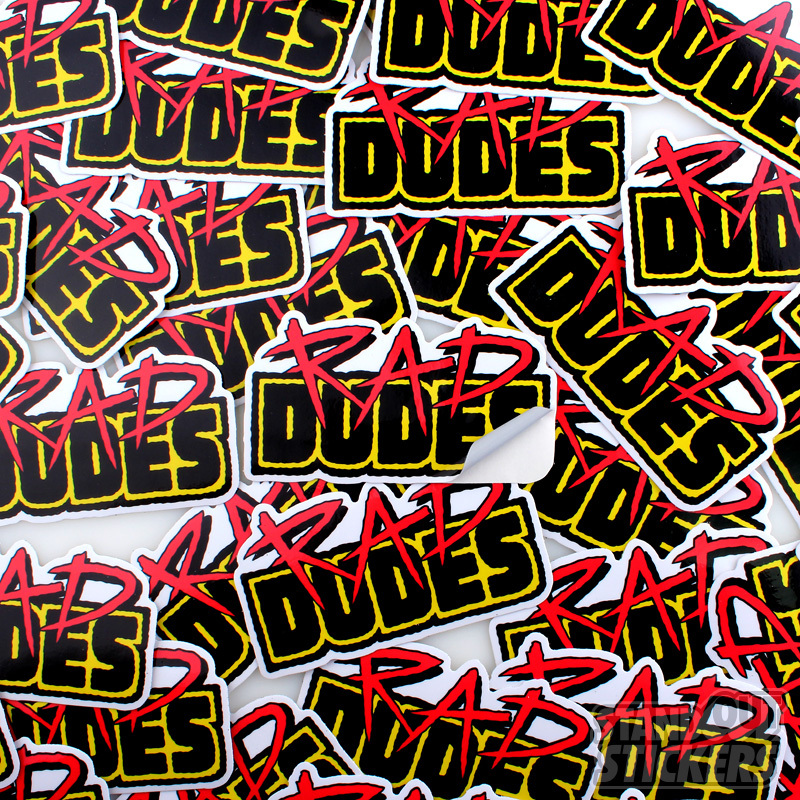 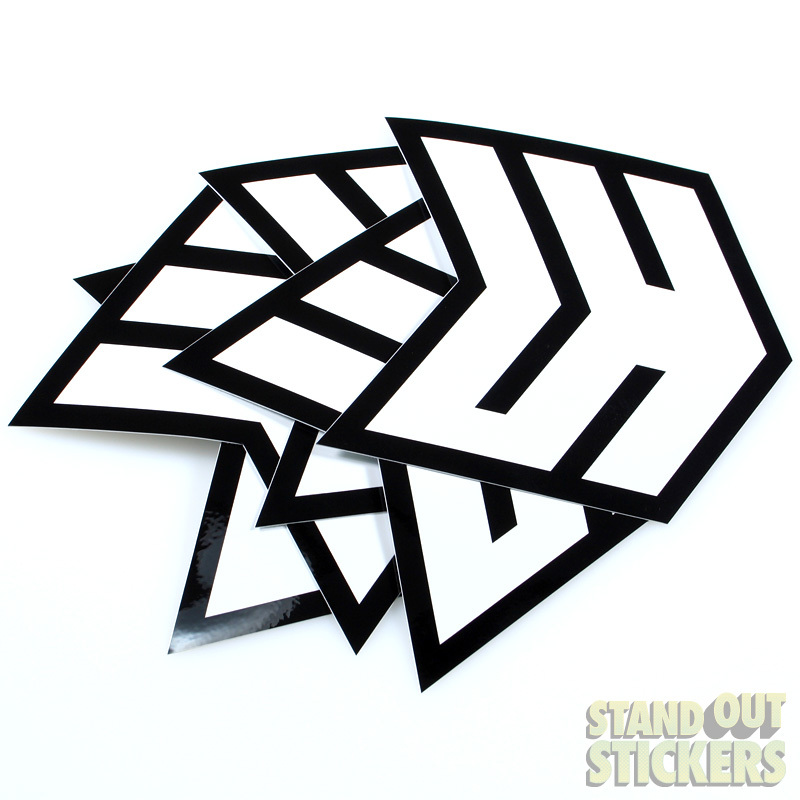 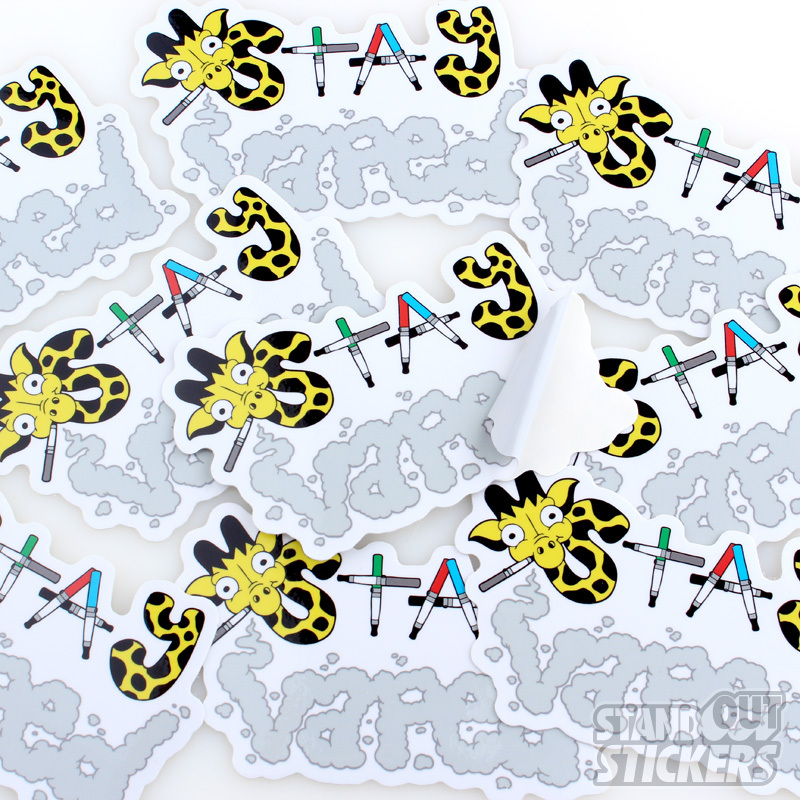 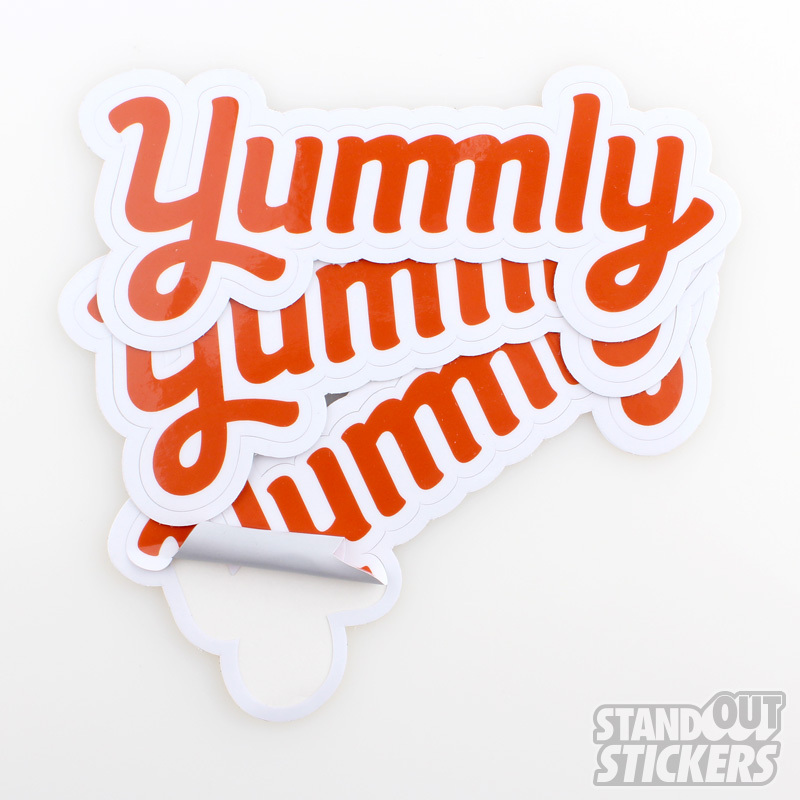 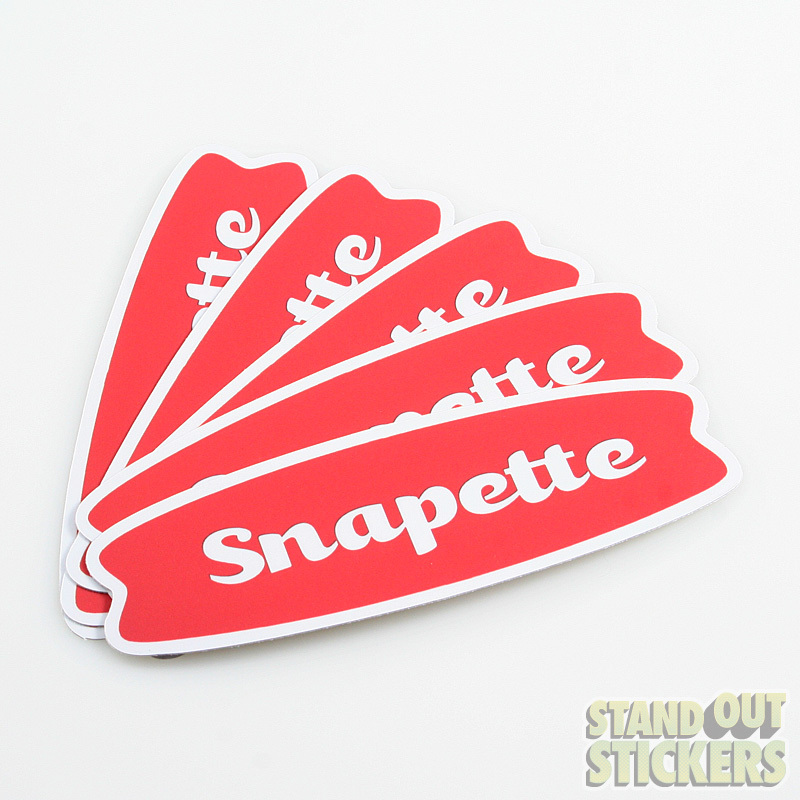 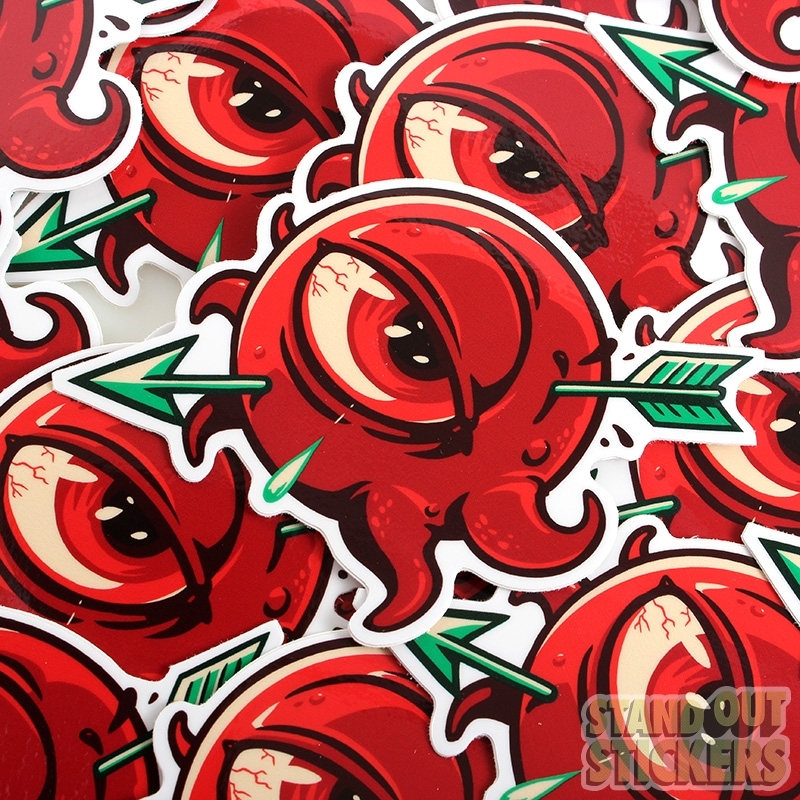 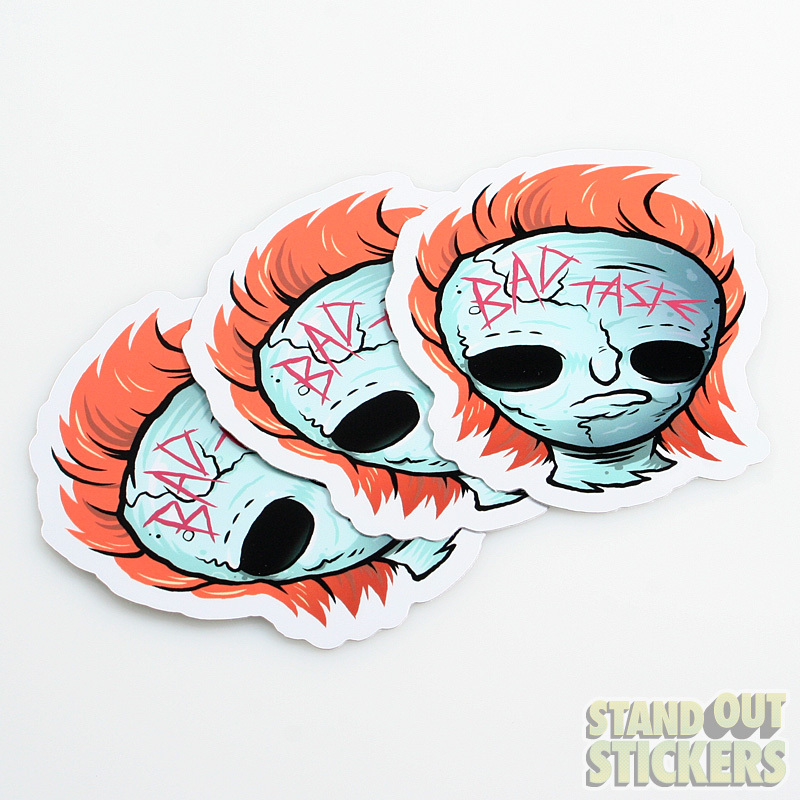 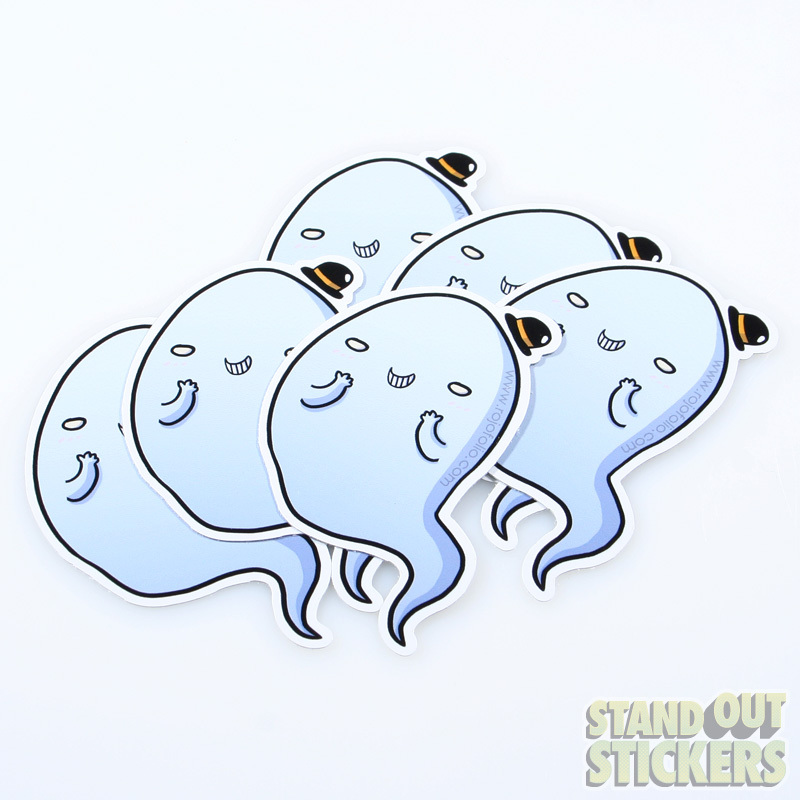 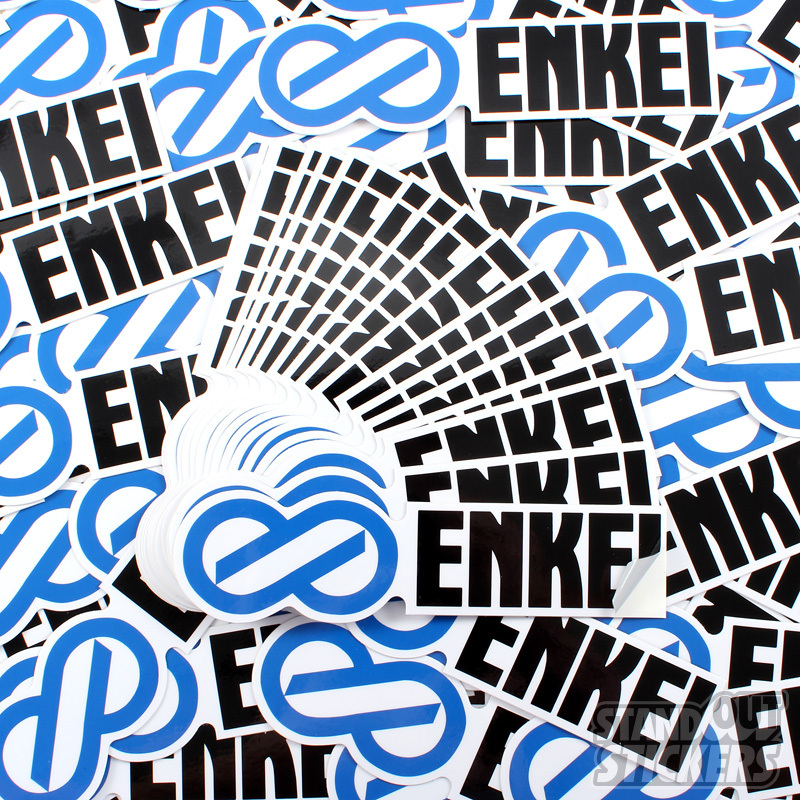 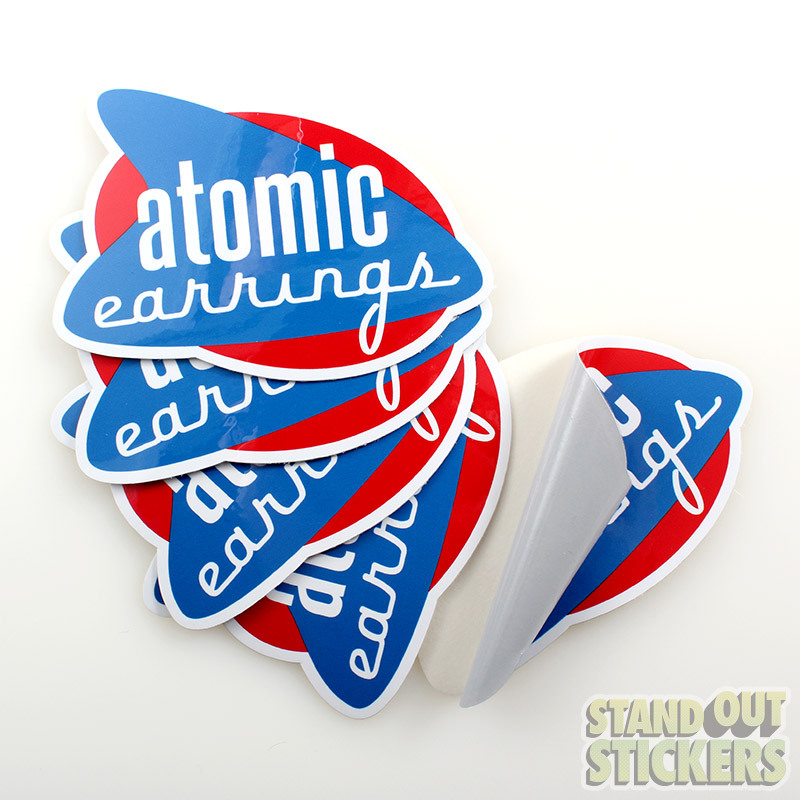 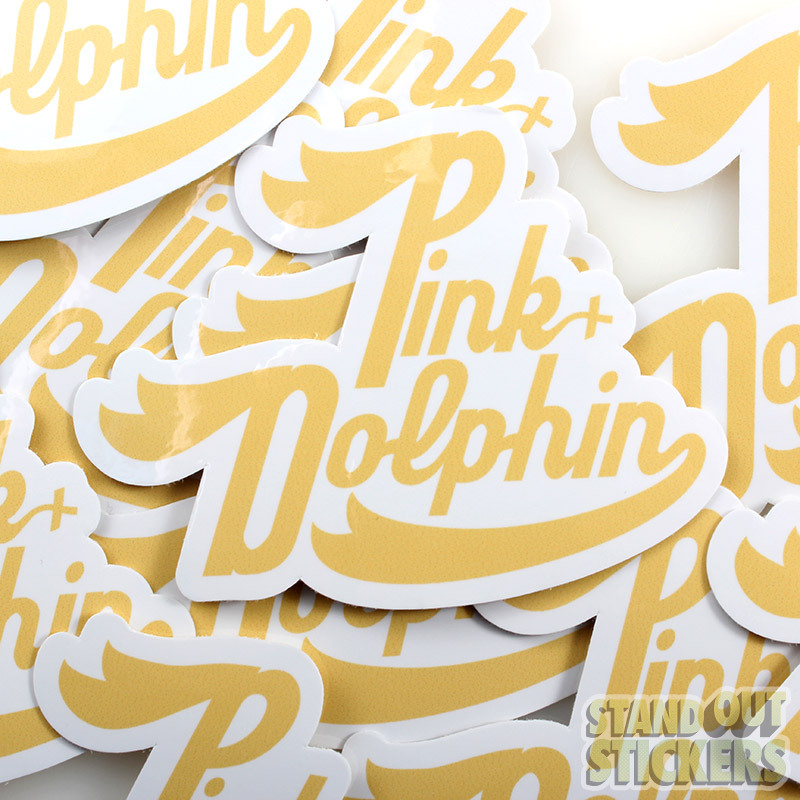 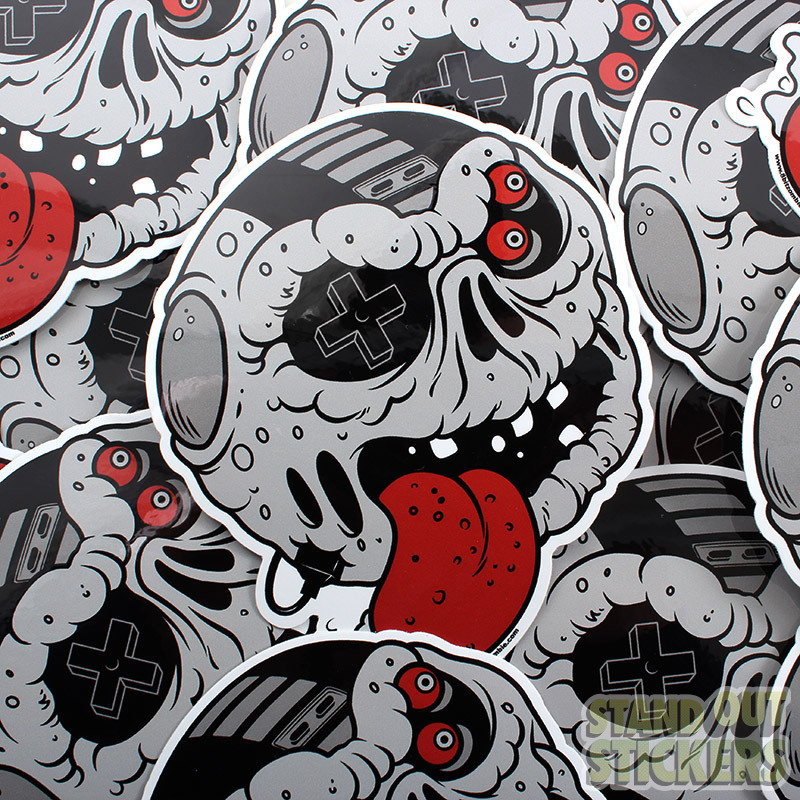 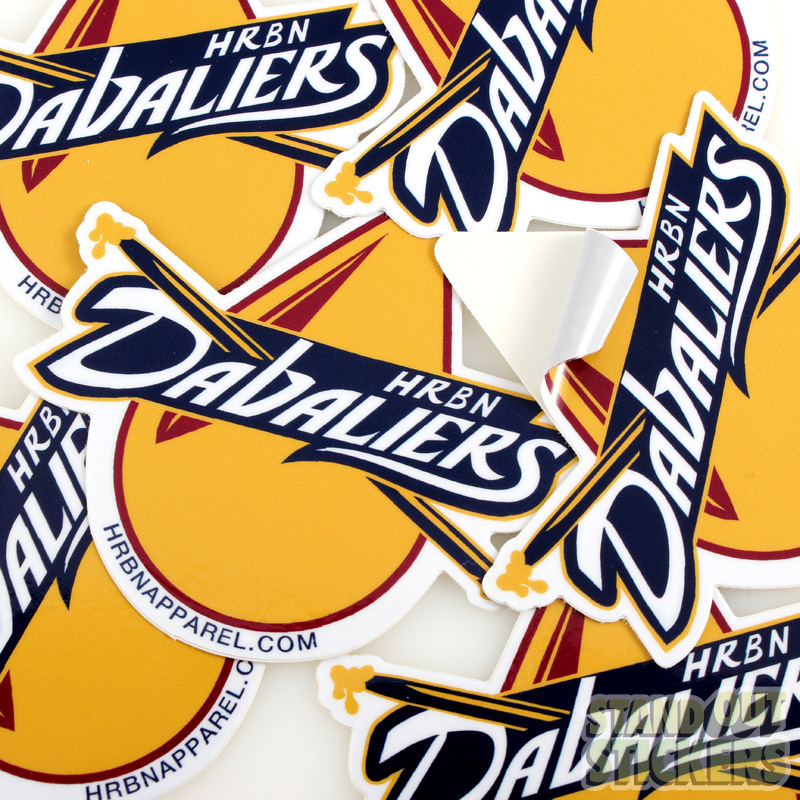 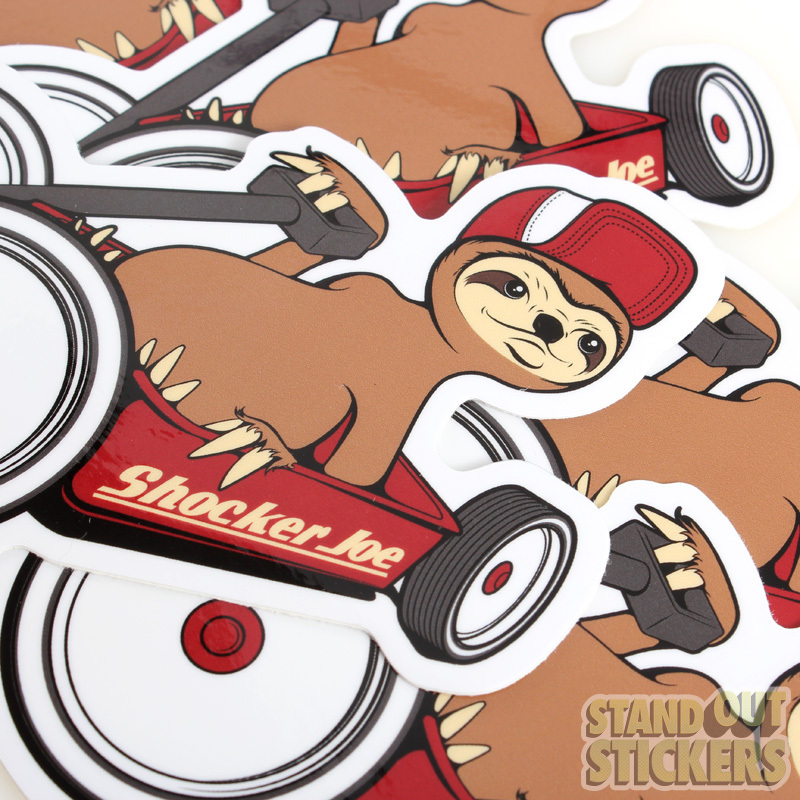 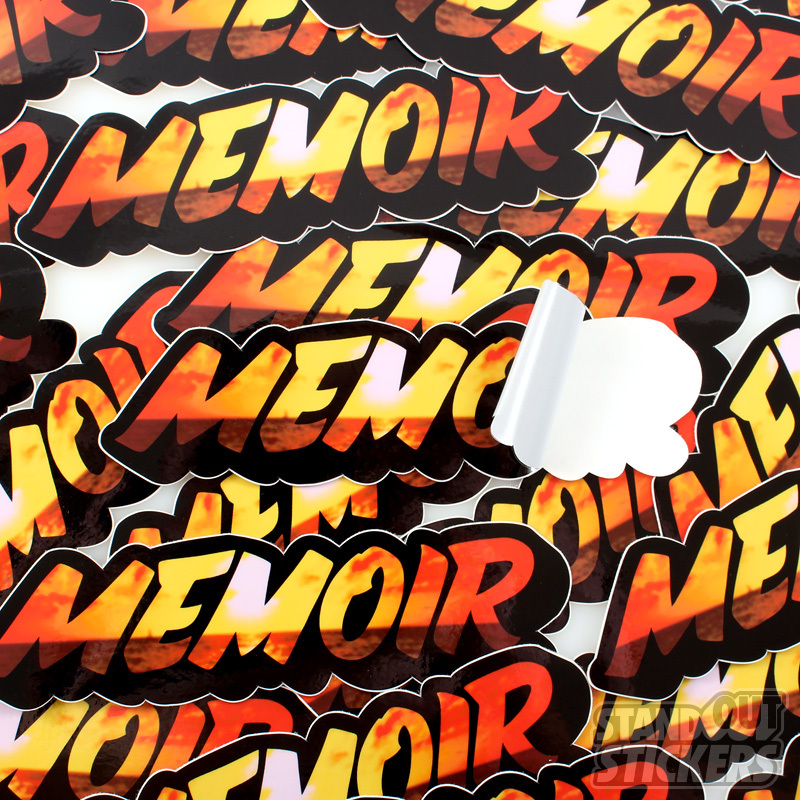 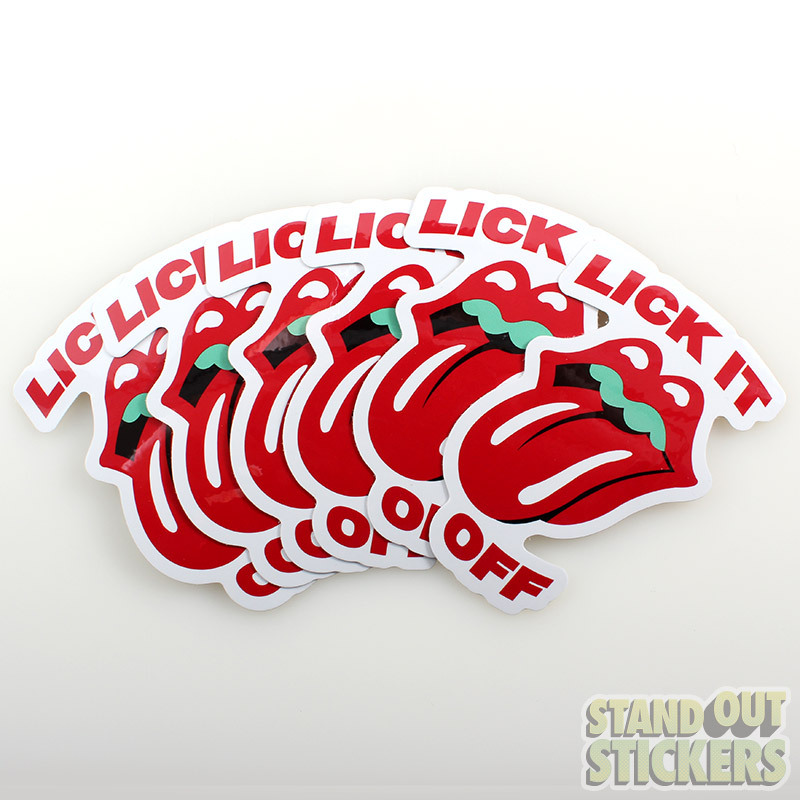 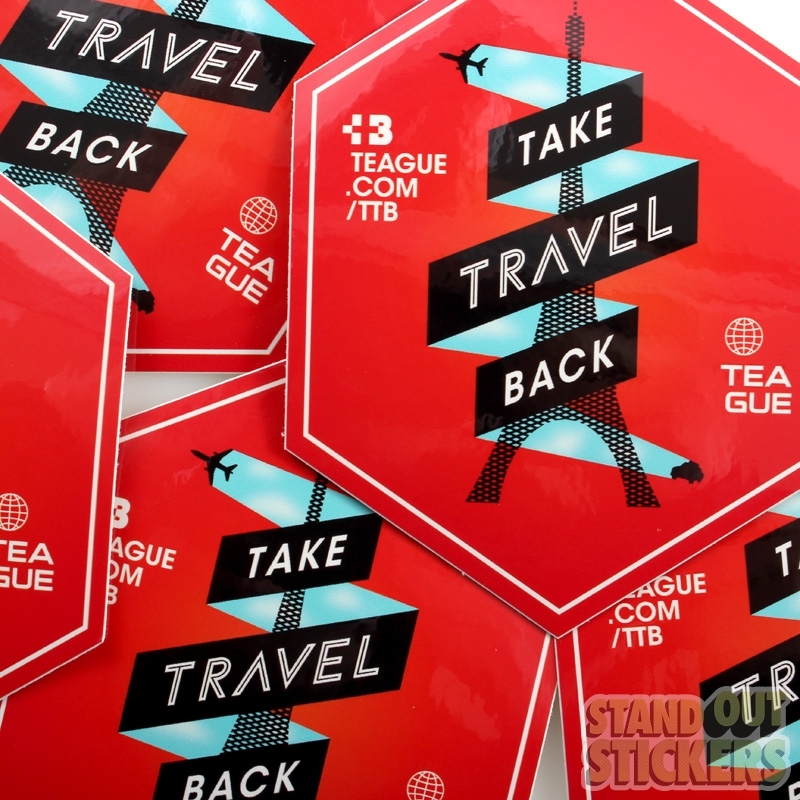 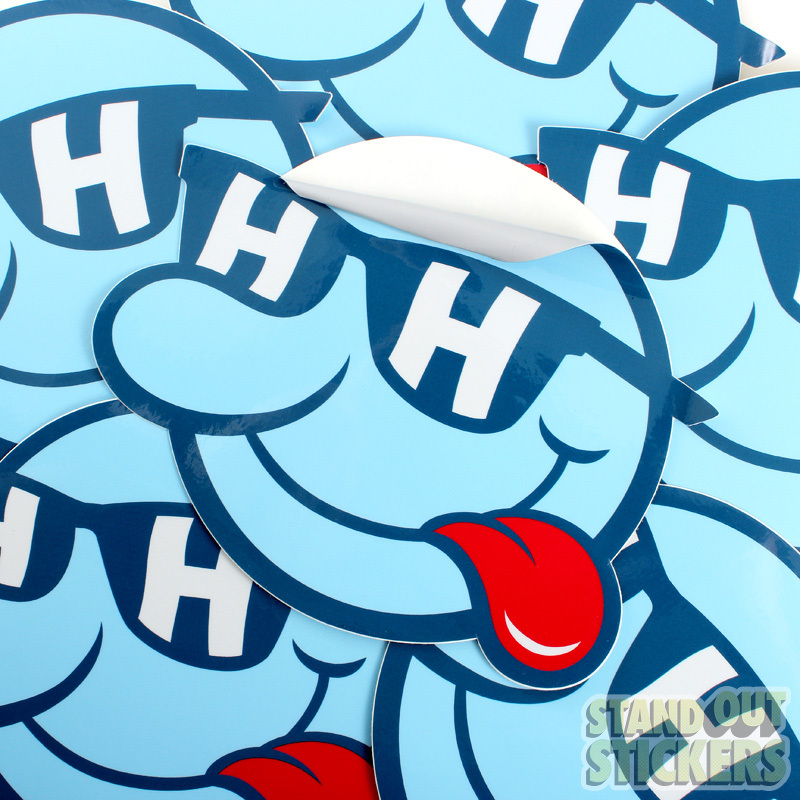 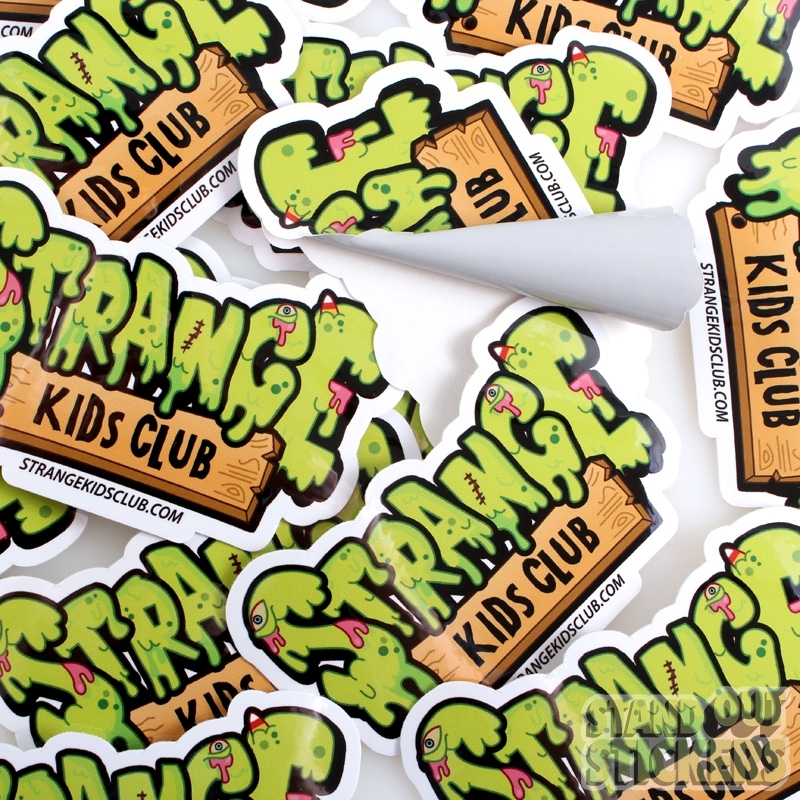 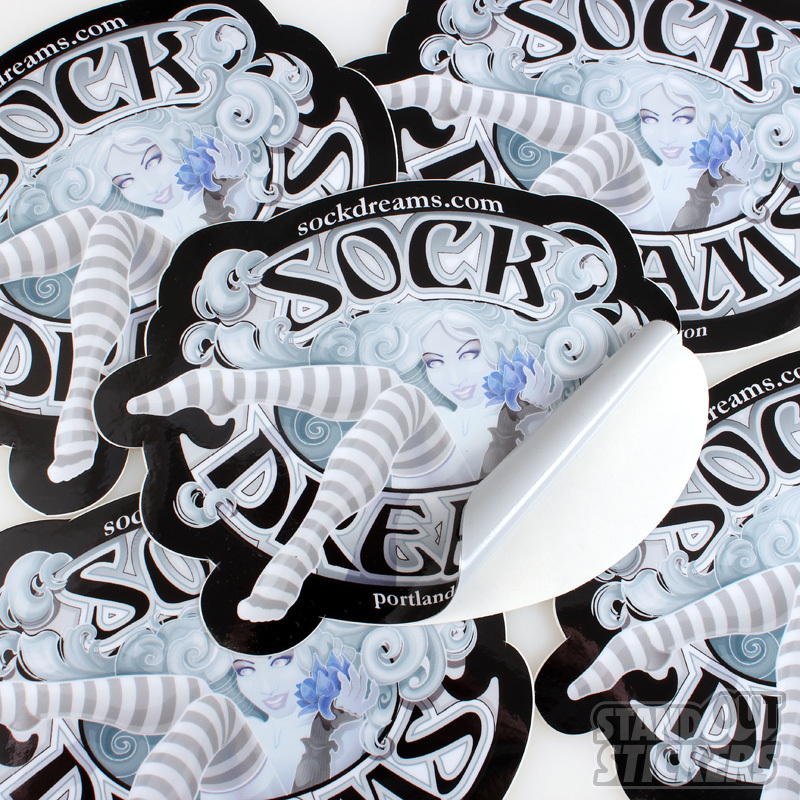 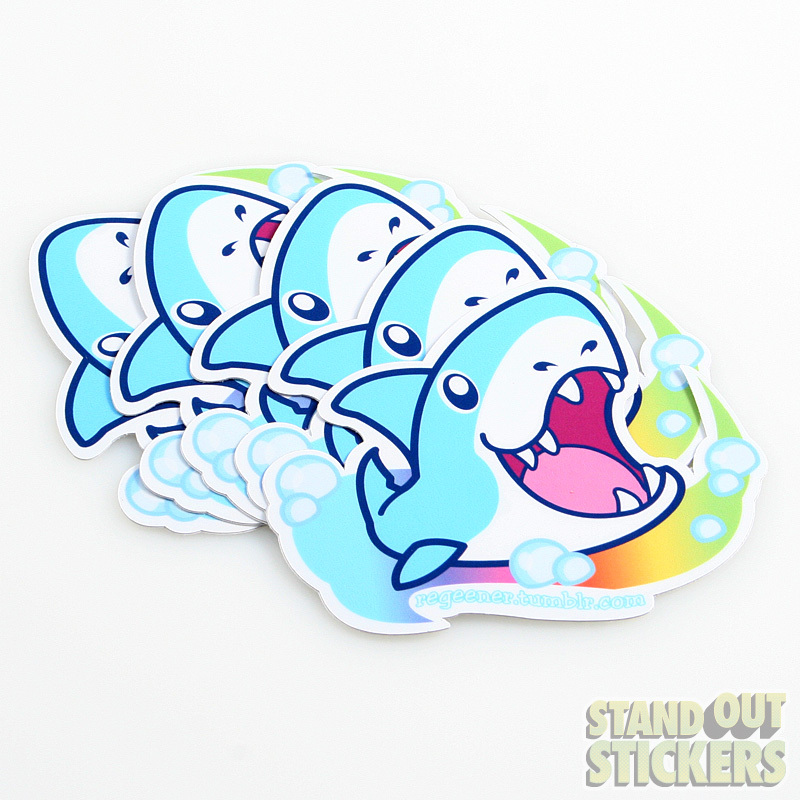 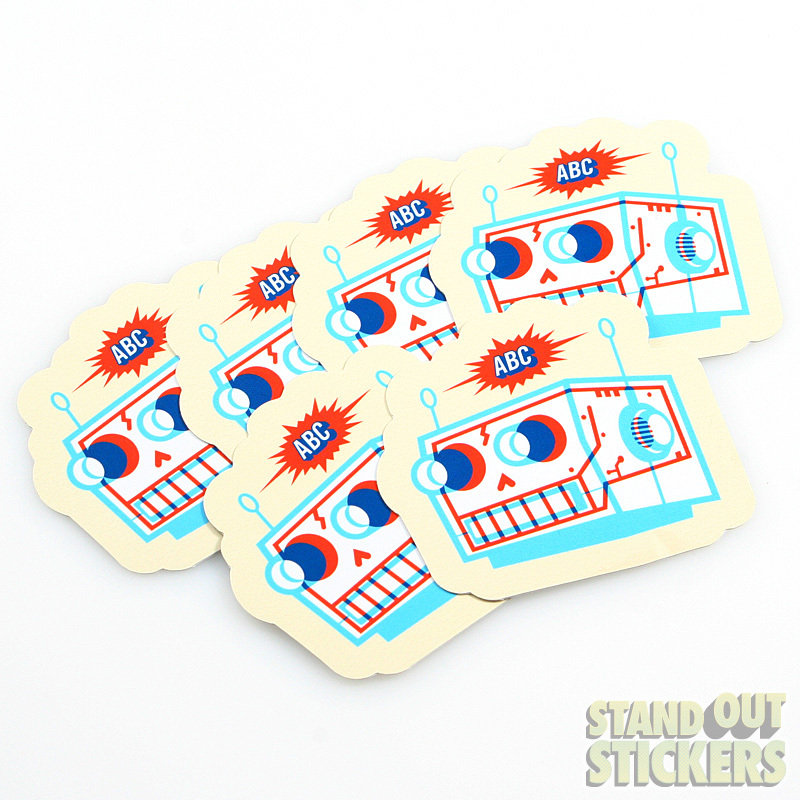 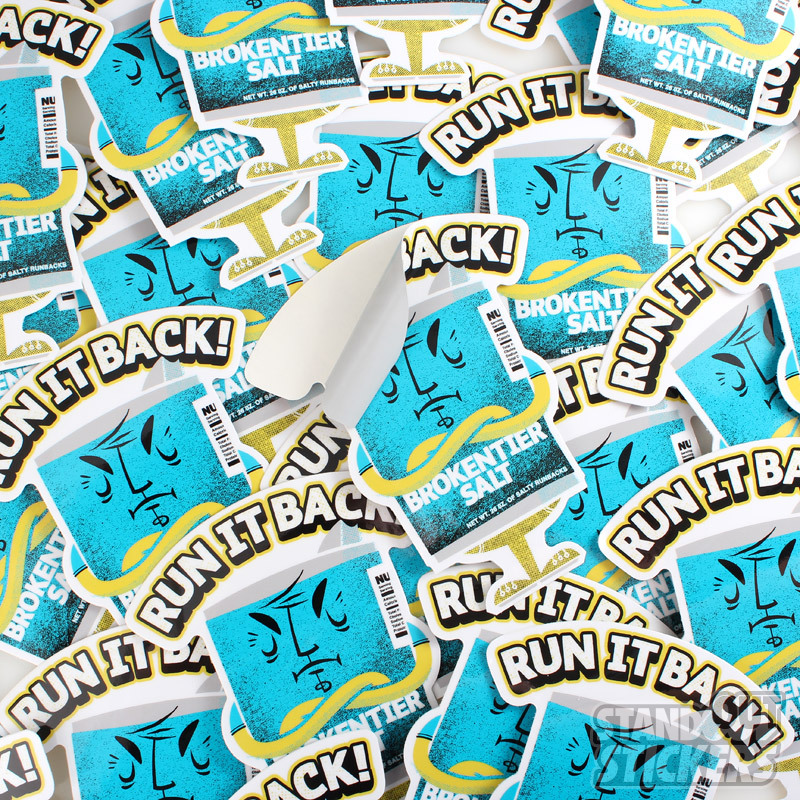 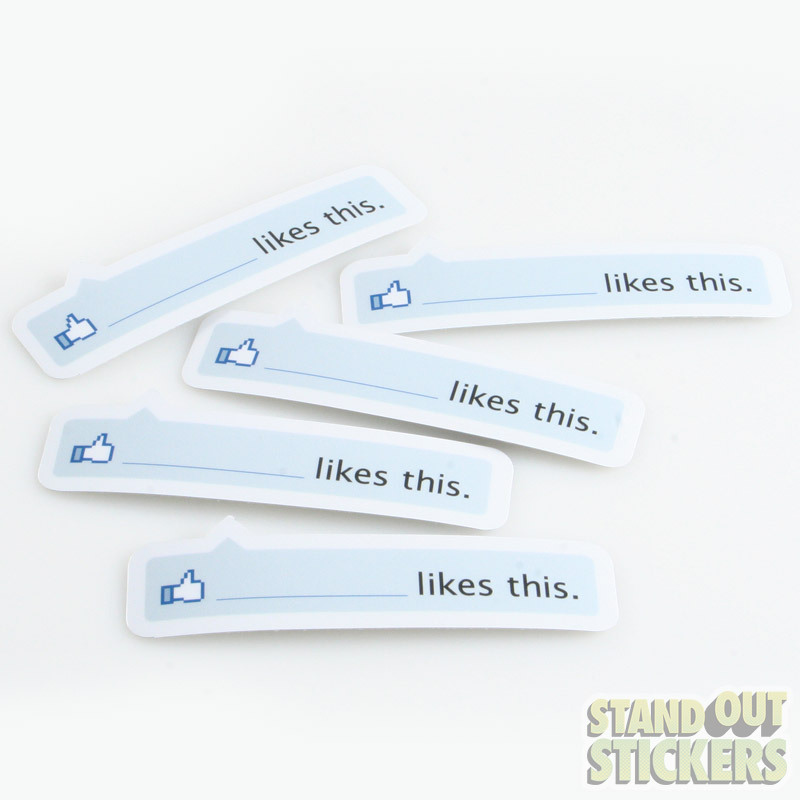 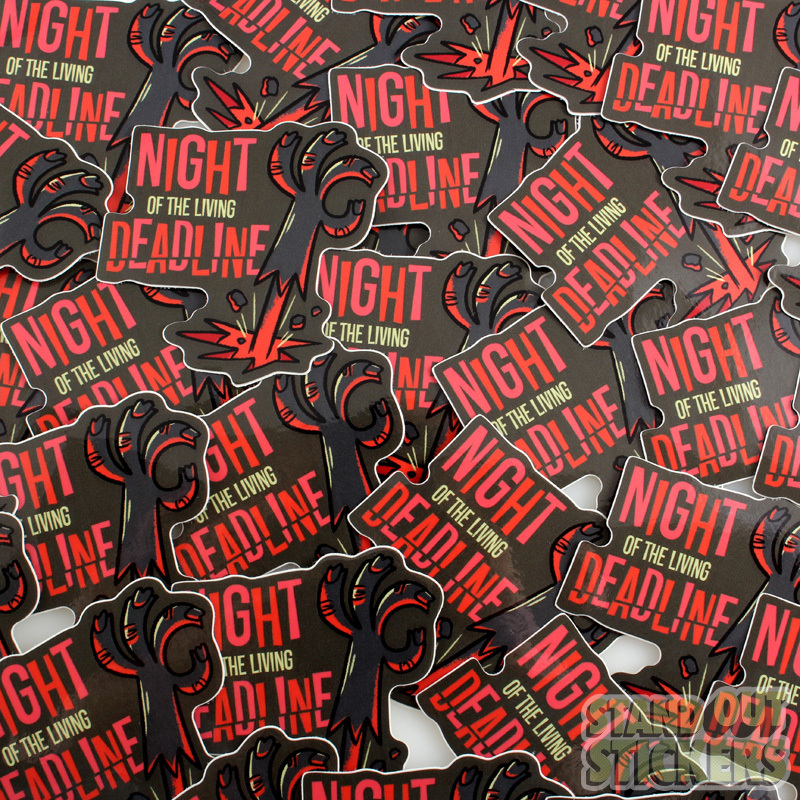 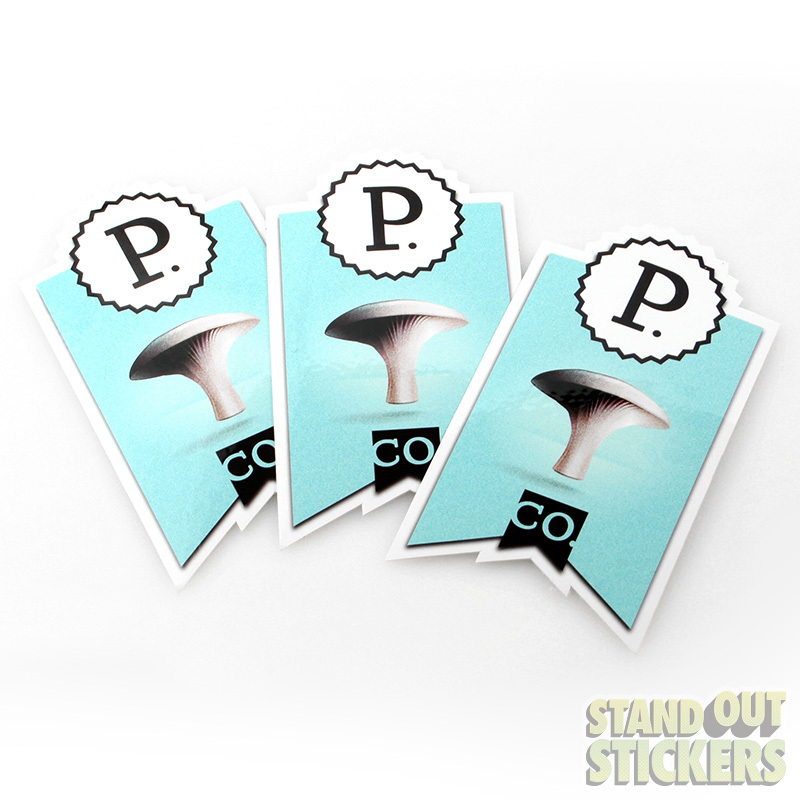 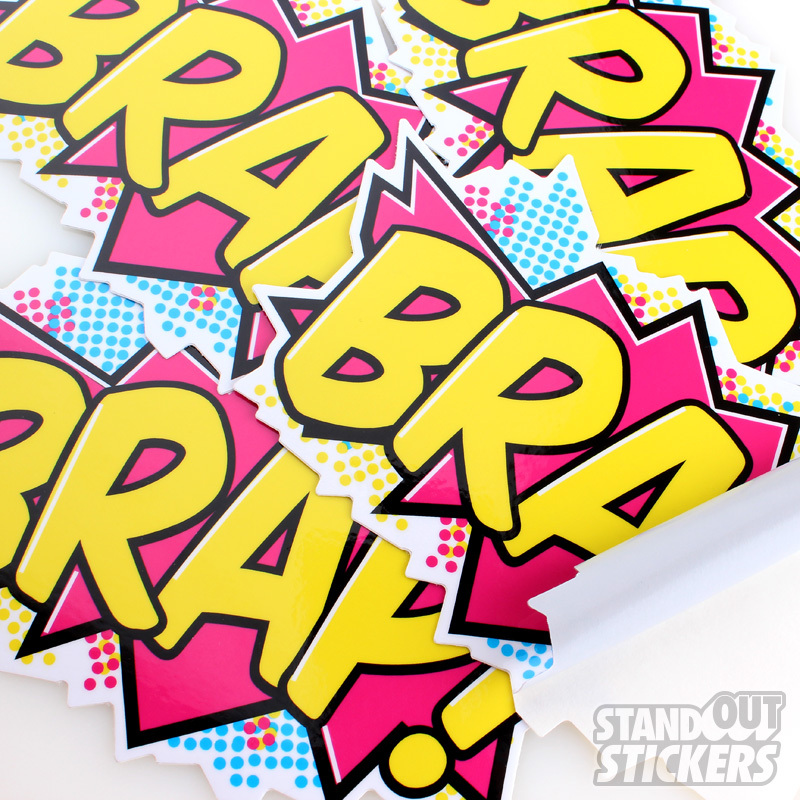 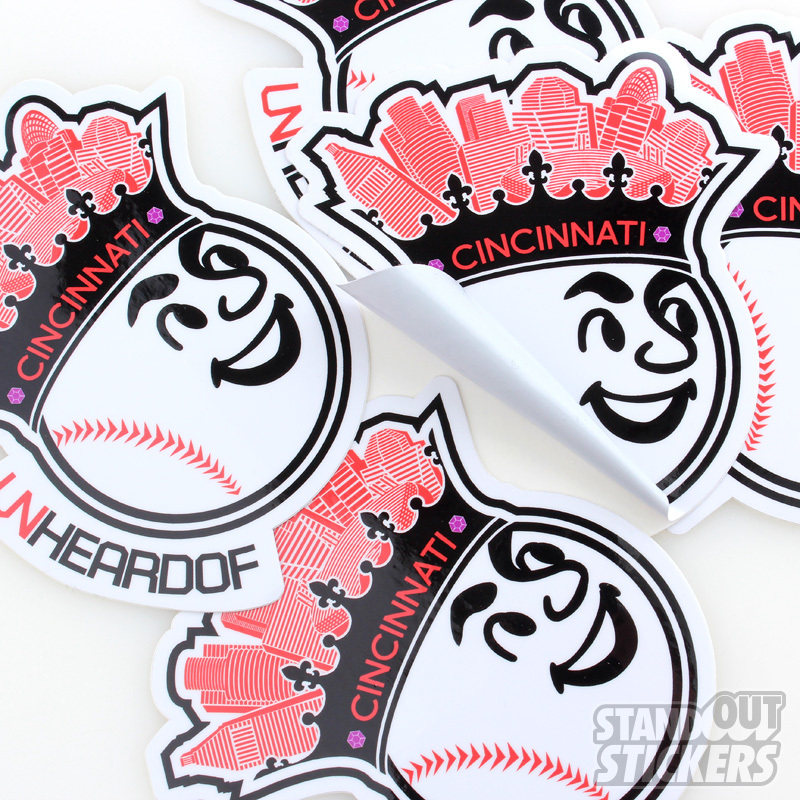 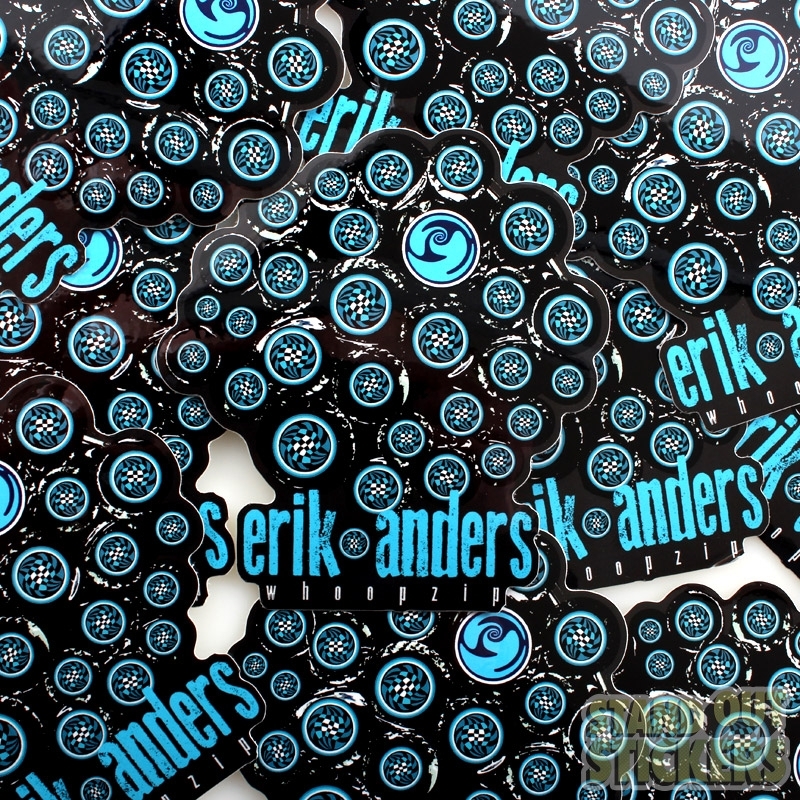 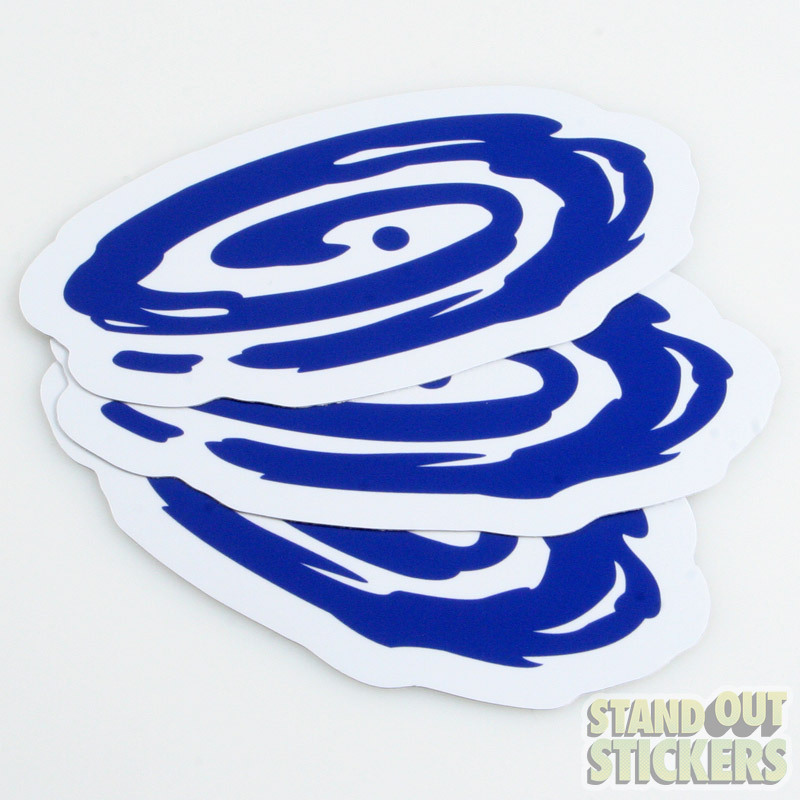 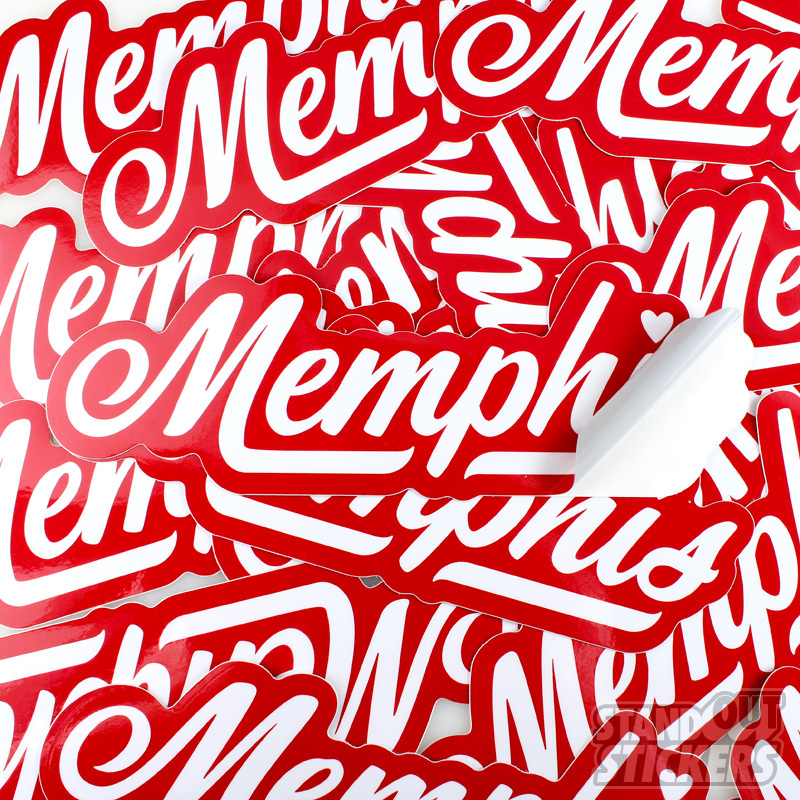 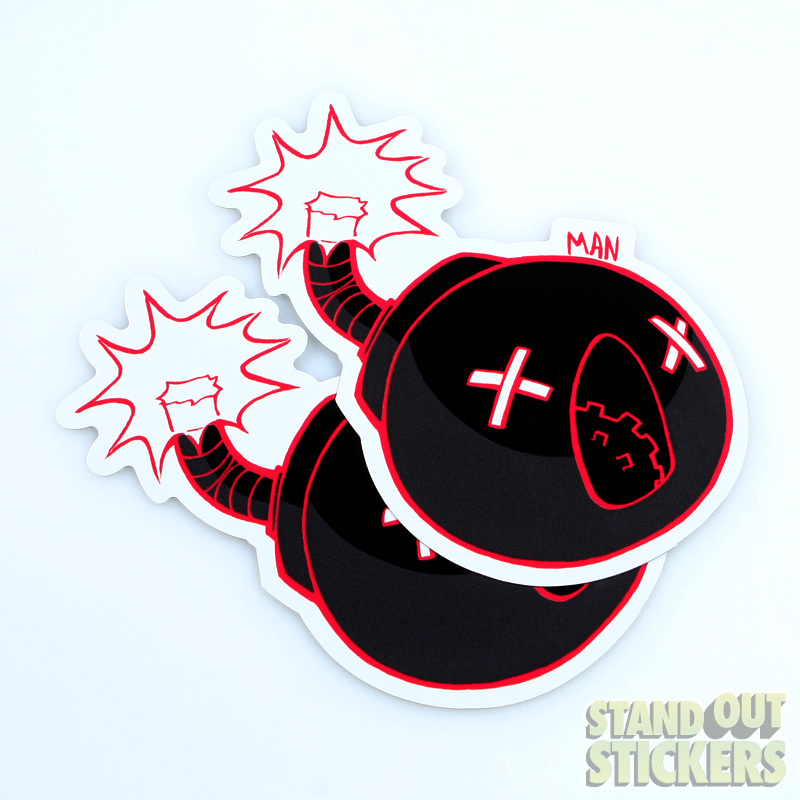 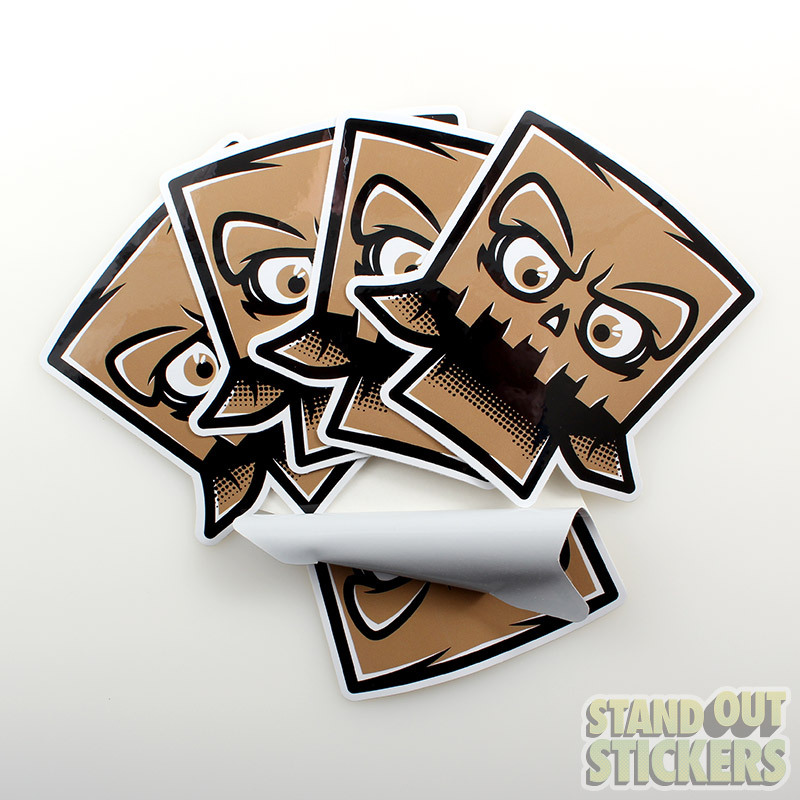 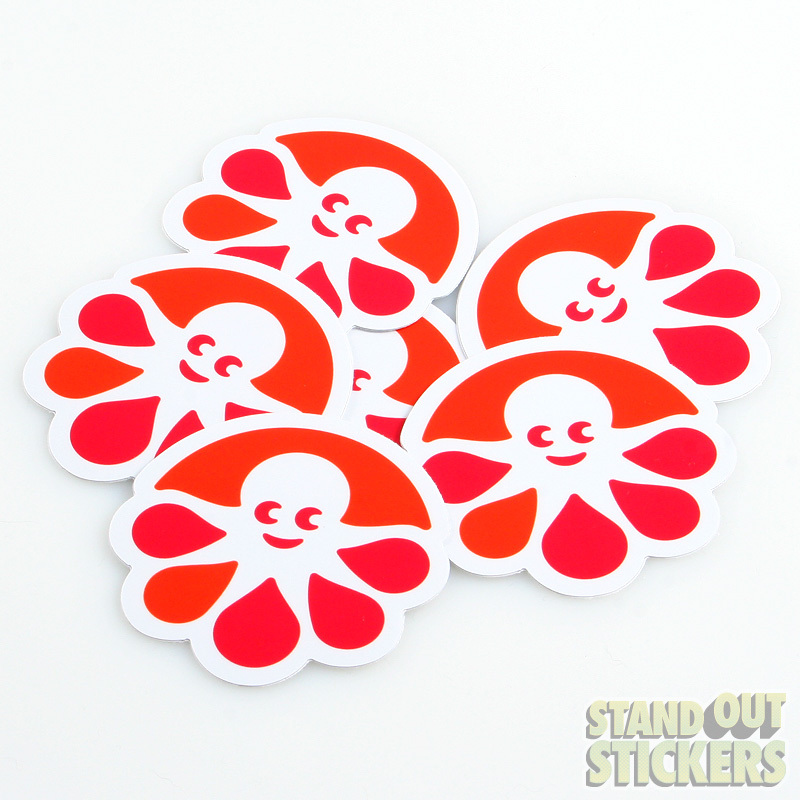 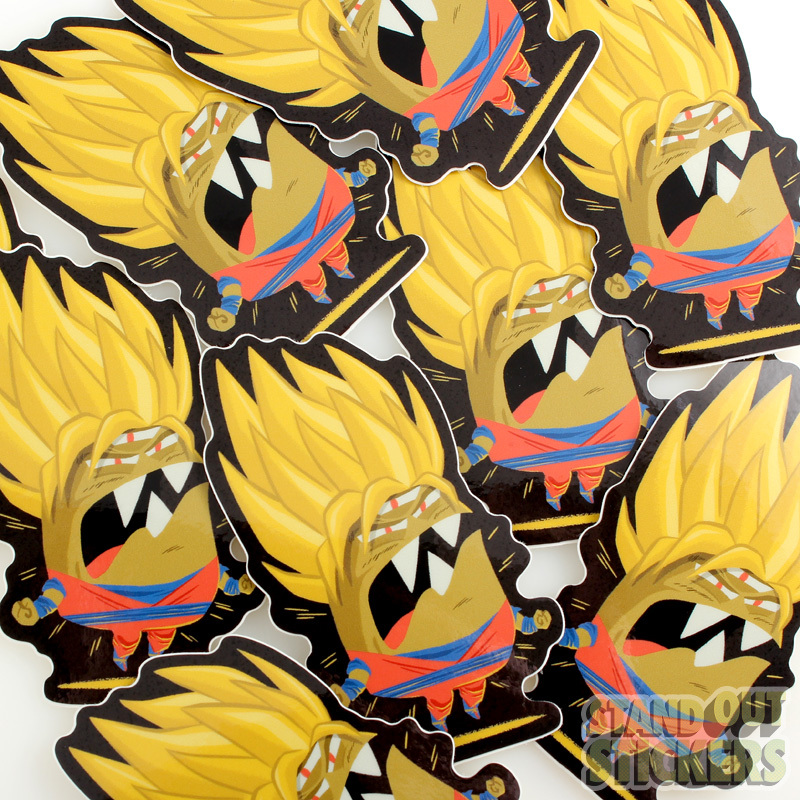 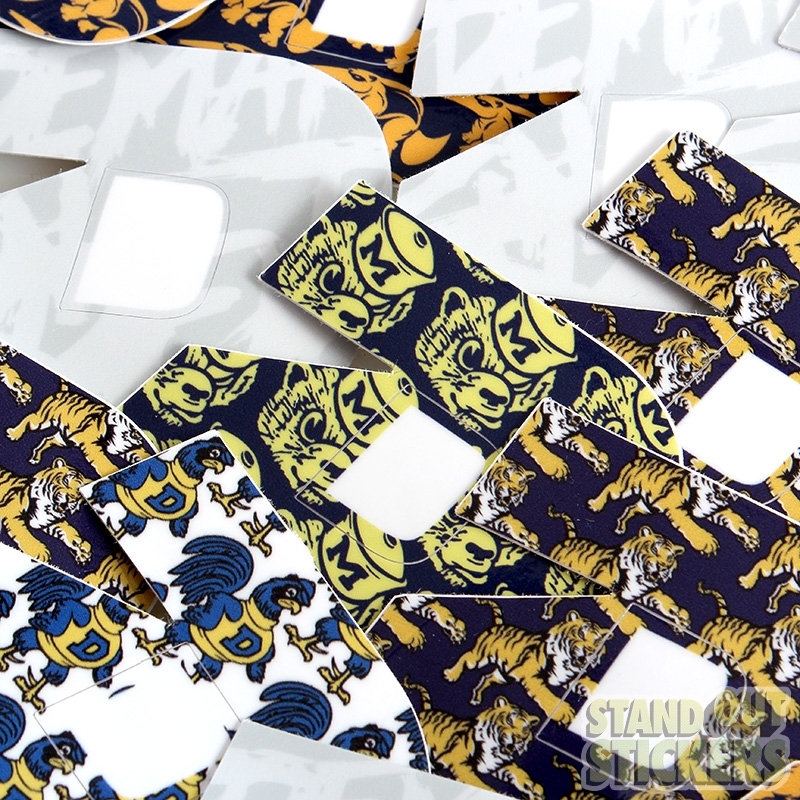 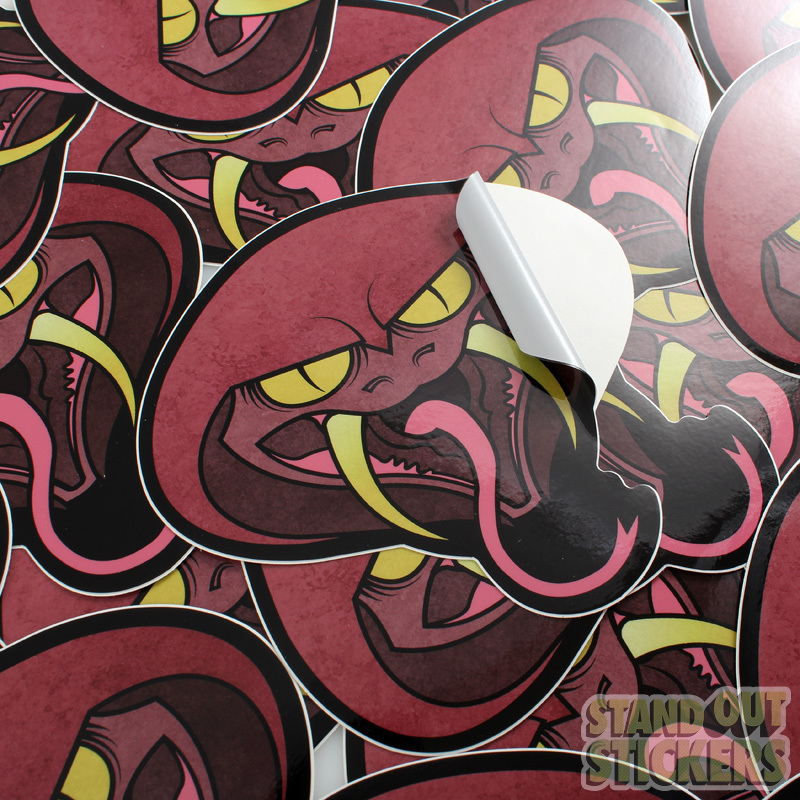 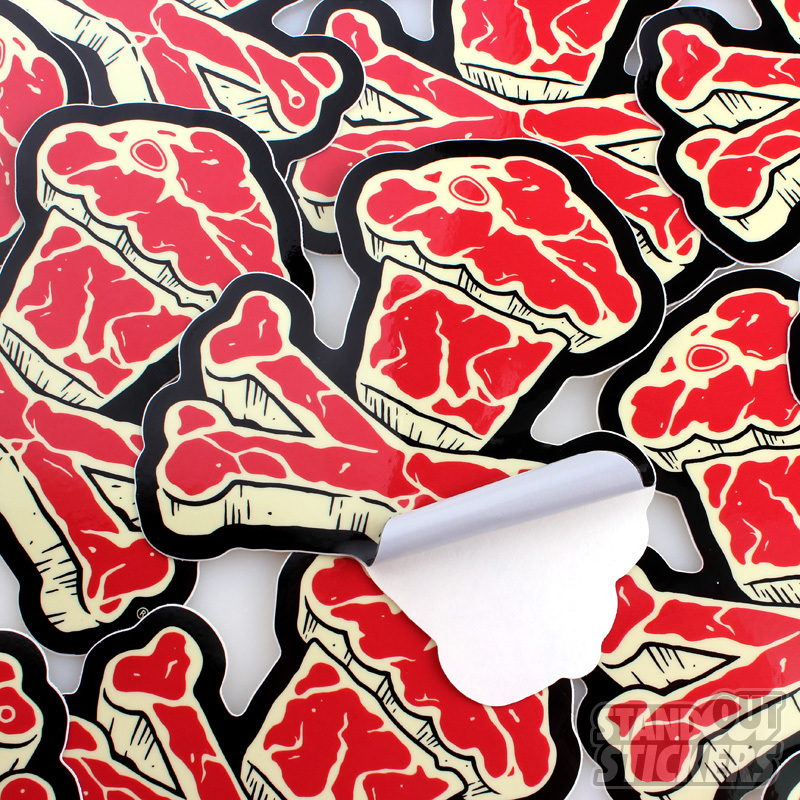 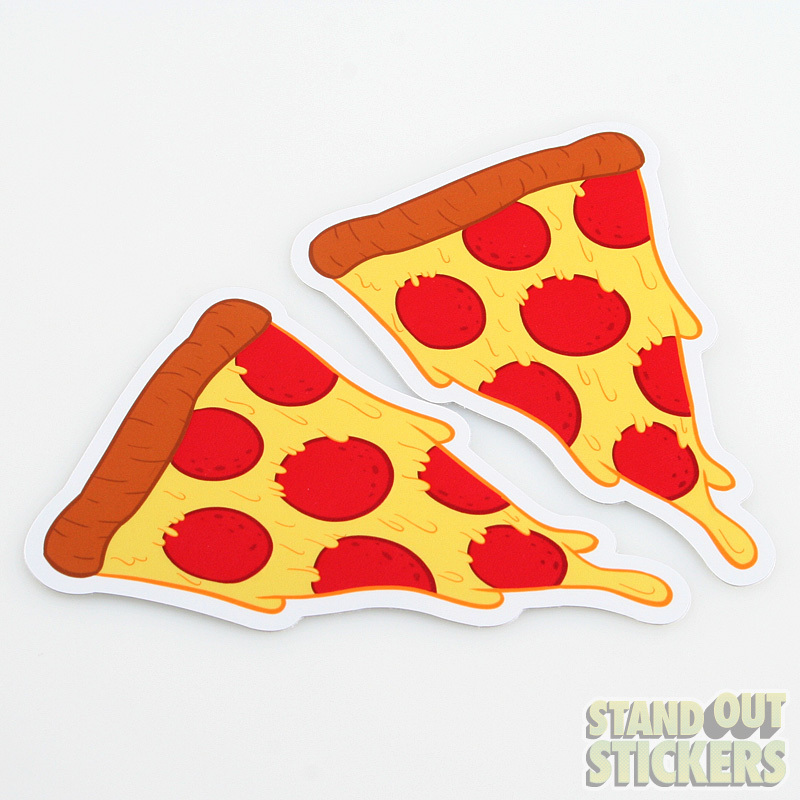 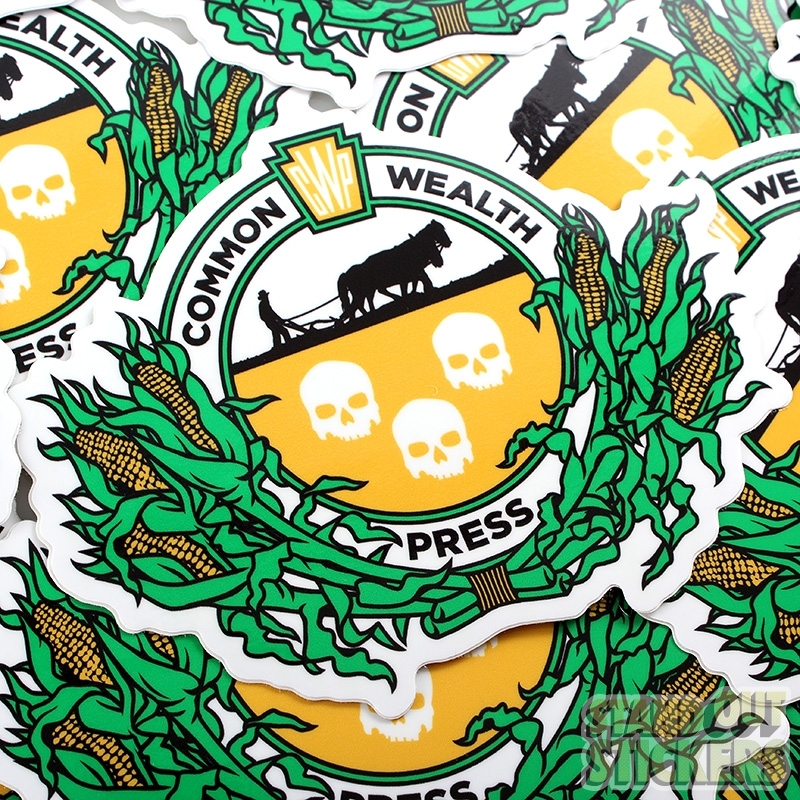 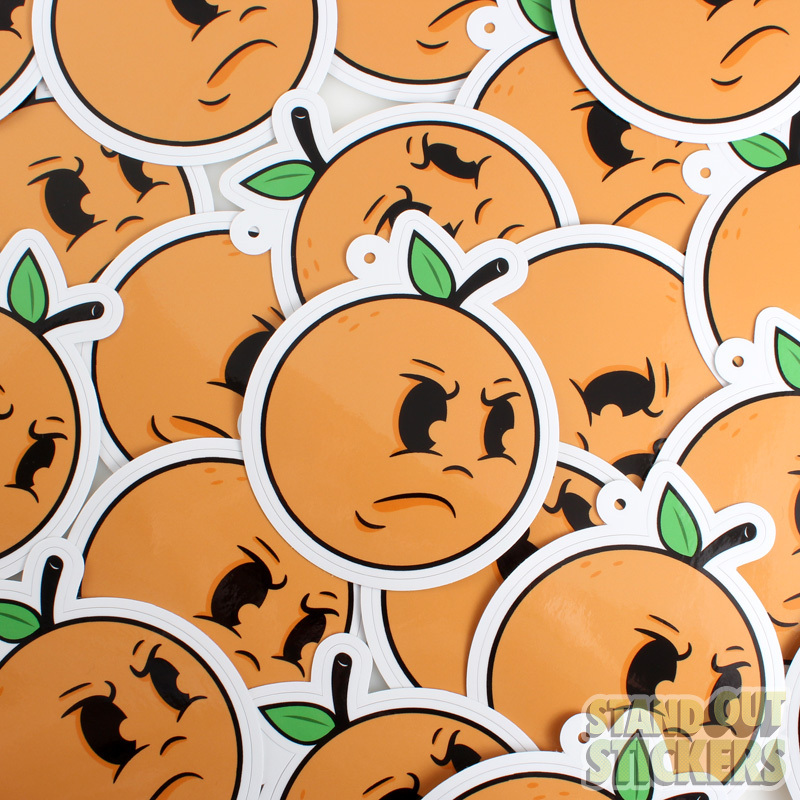 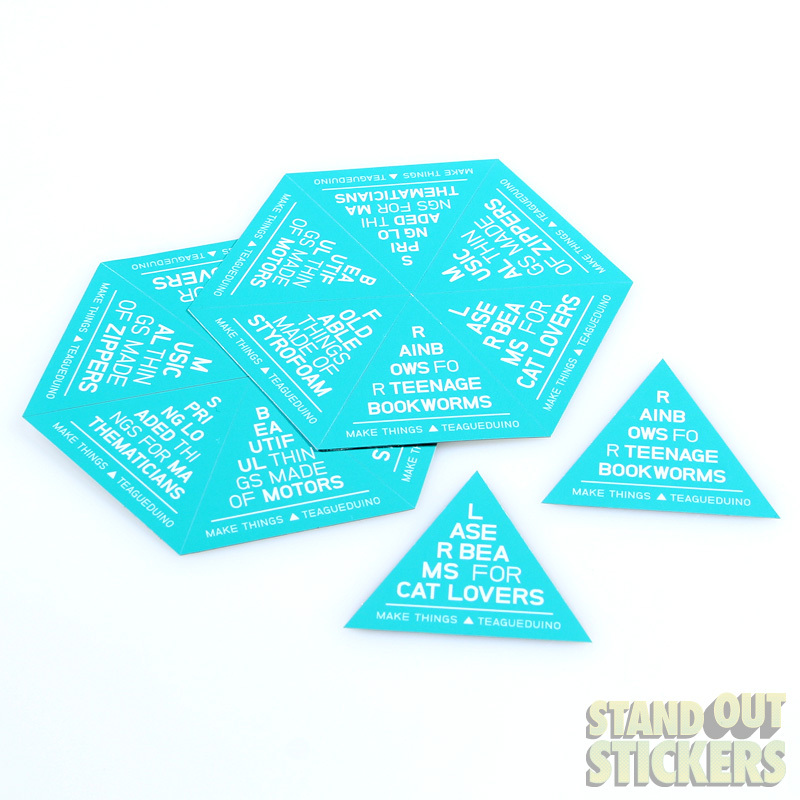 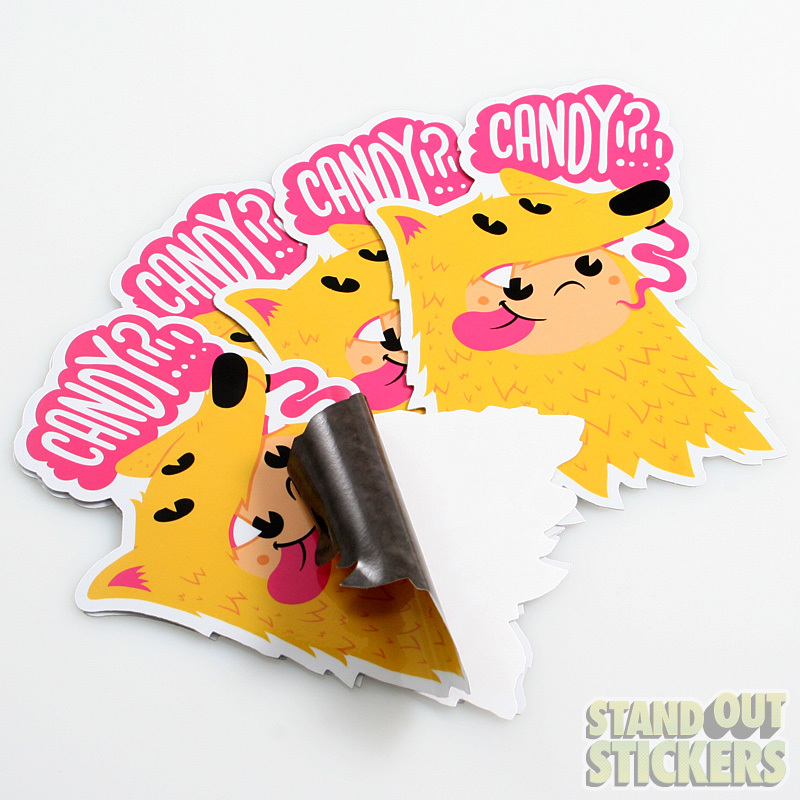 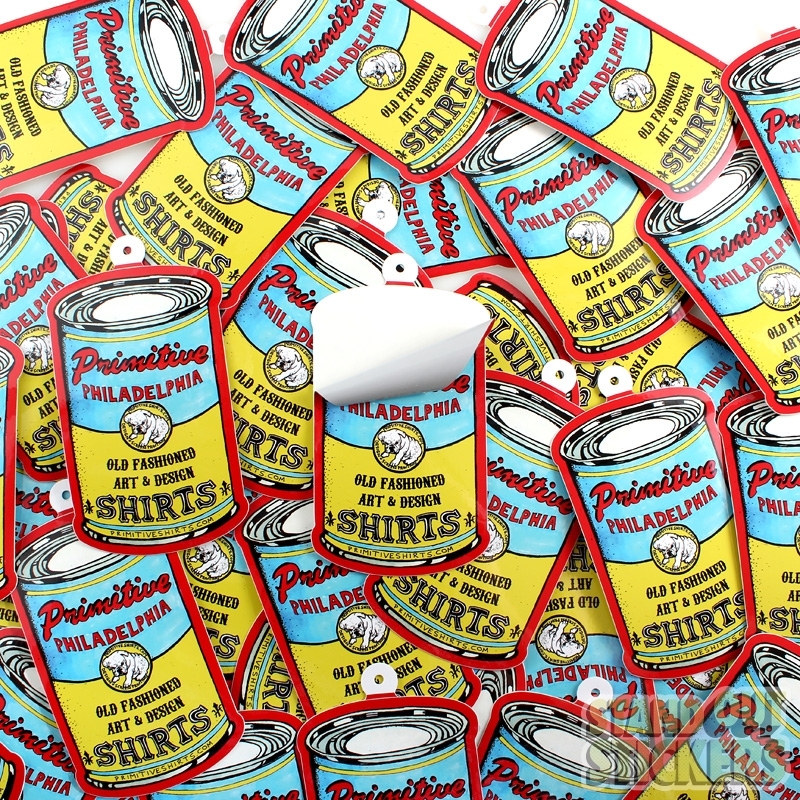 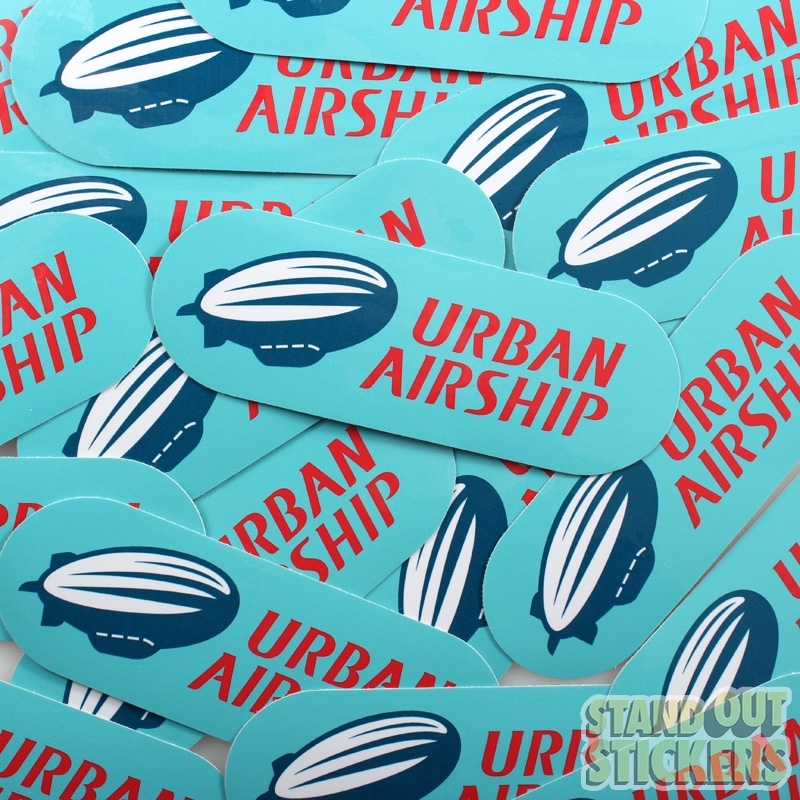 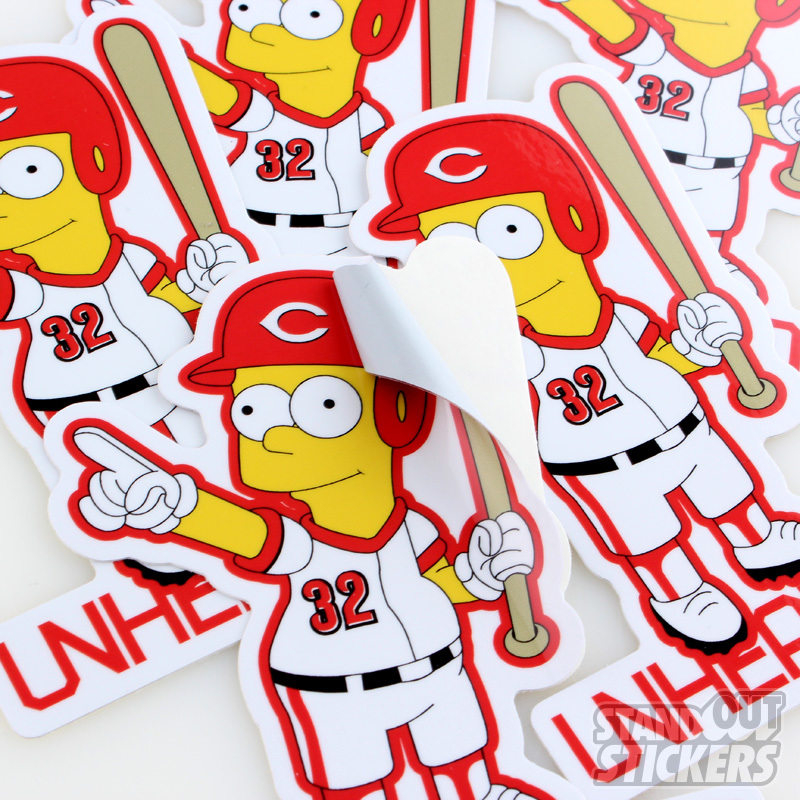 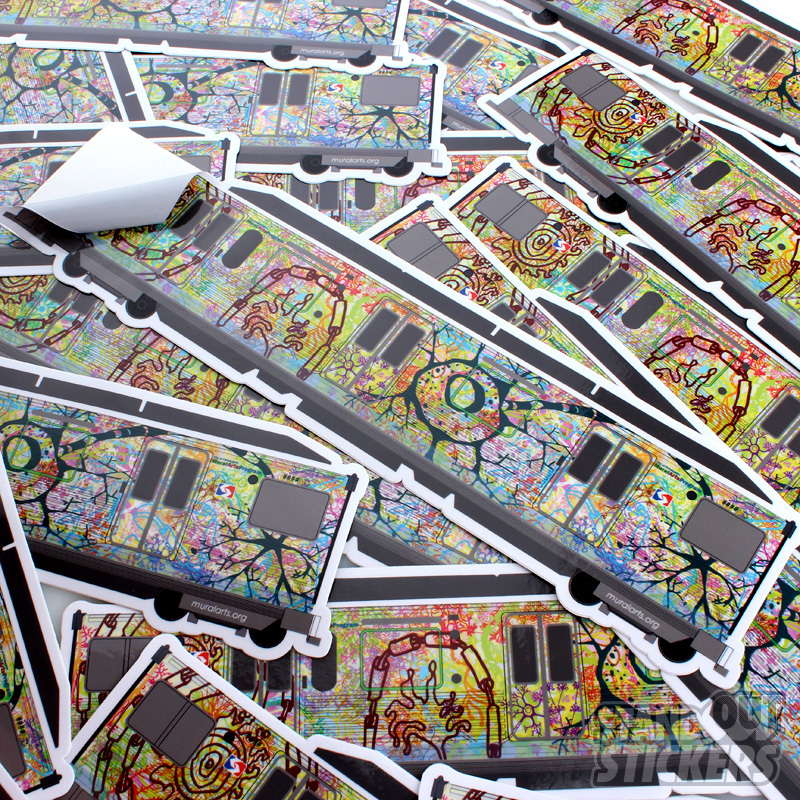 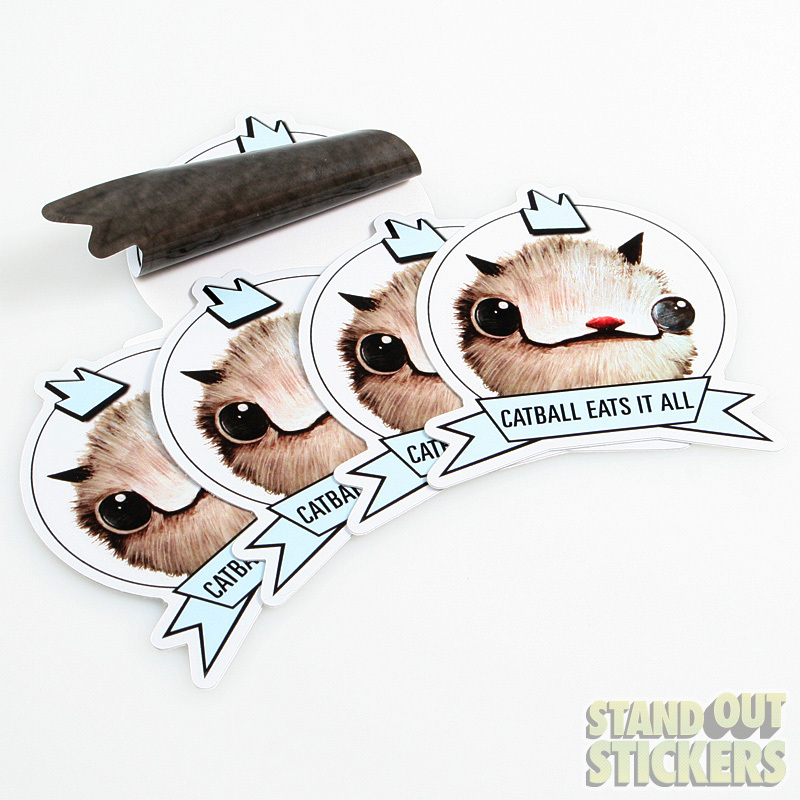 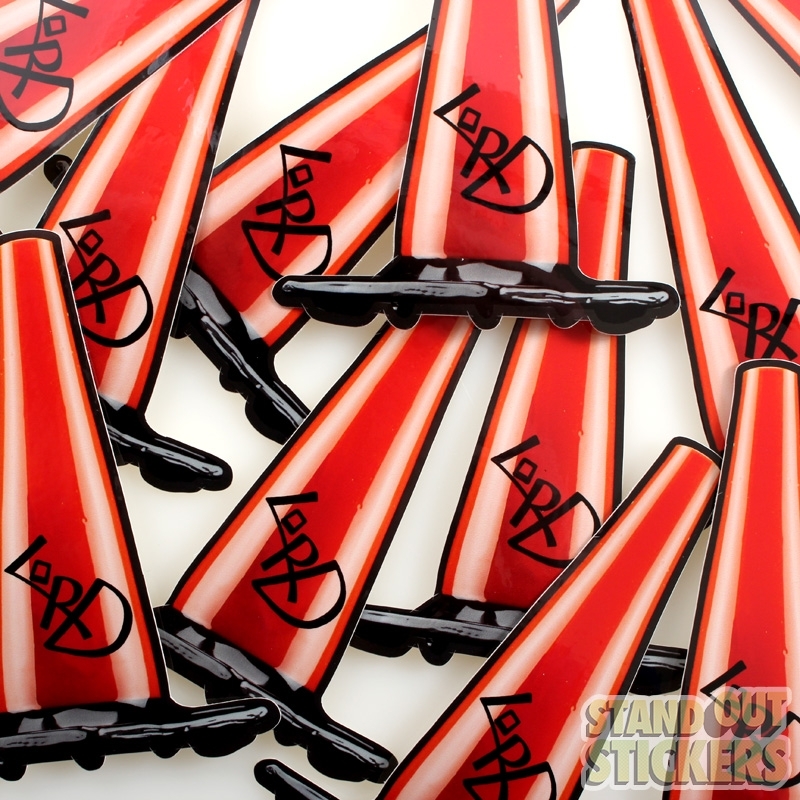 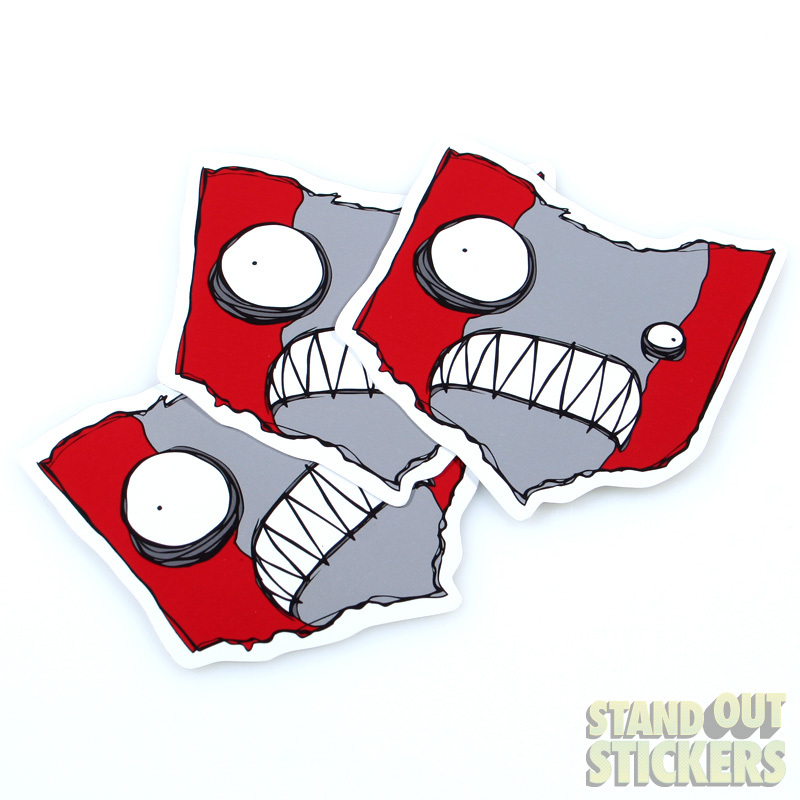 Use angles, curves, notches, corners - make it yours - that's the point of having custom-cut stickers printed, right? 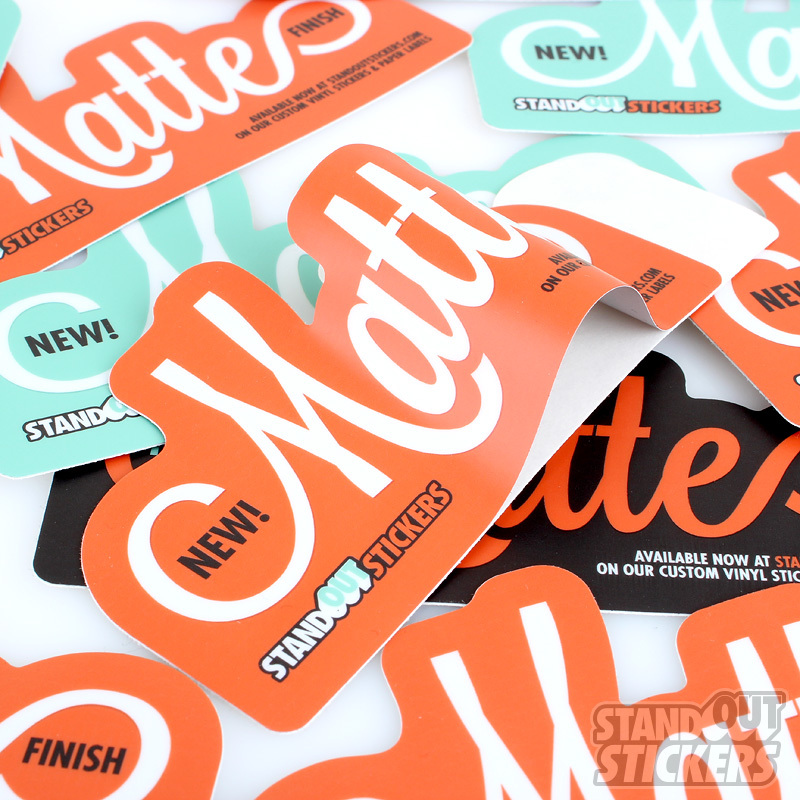 Some of our clients use text on die-cut stickers while others use only an image or logo, and others use both a logo and text. 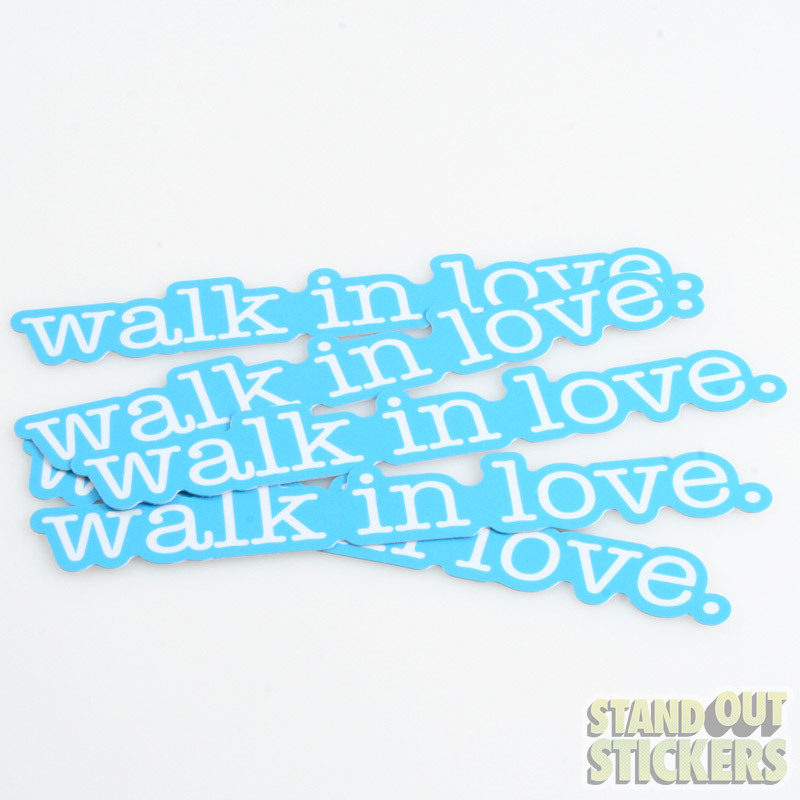 The options are practically endless. 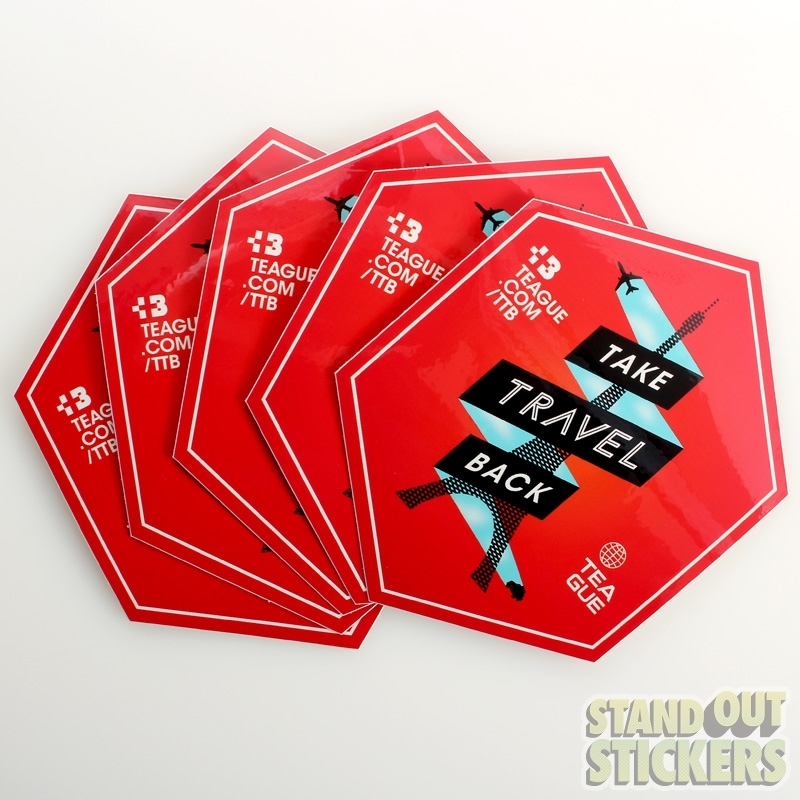 For something so amazing, we think you'll find them surprisingly affordable. 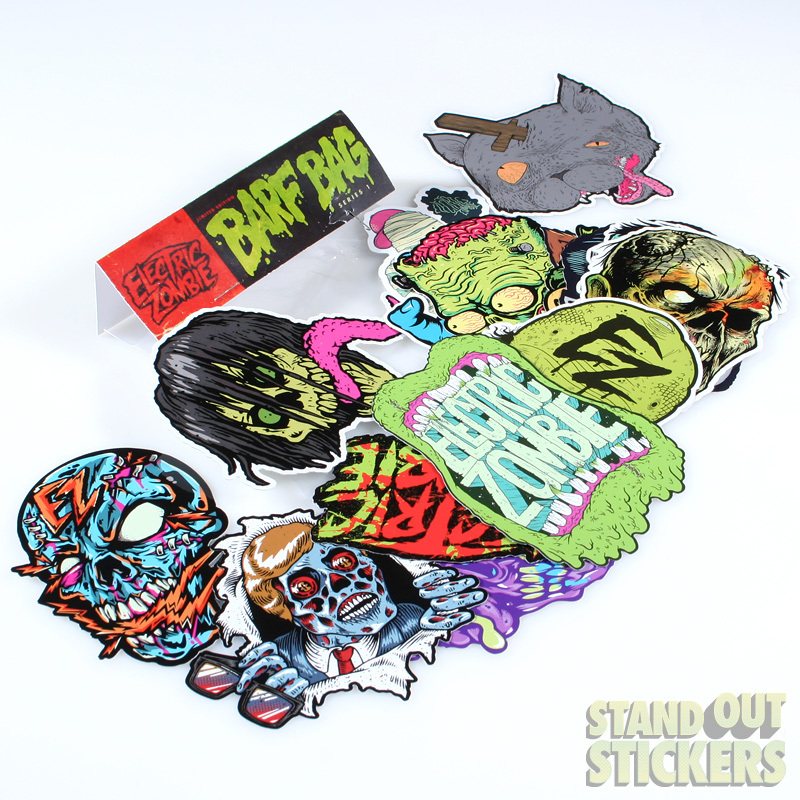 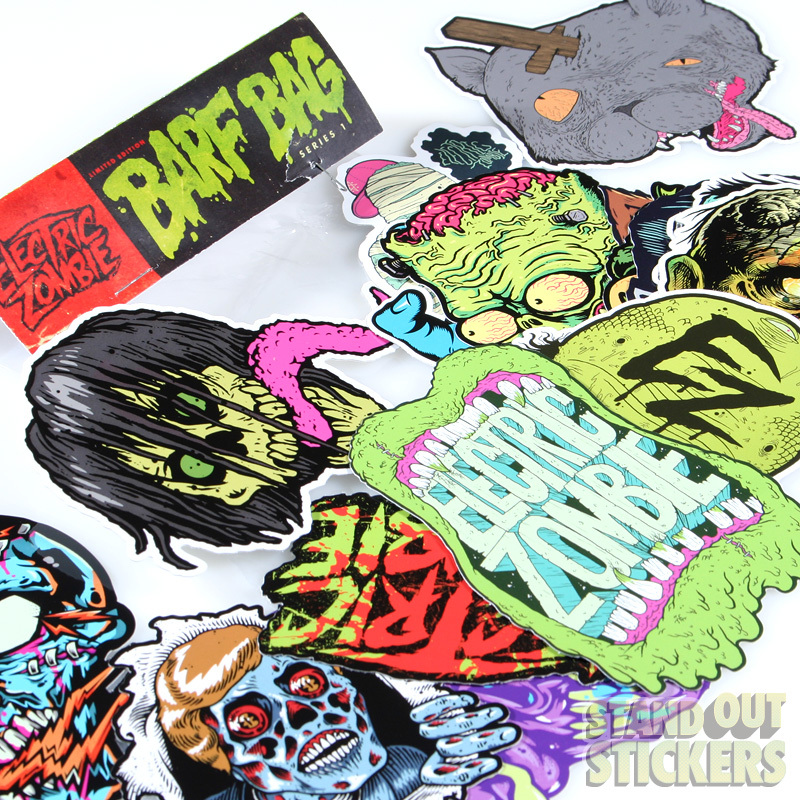 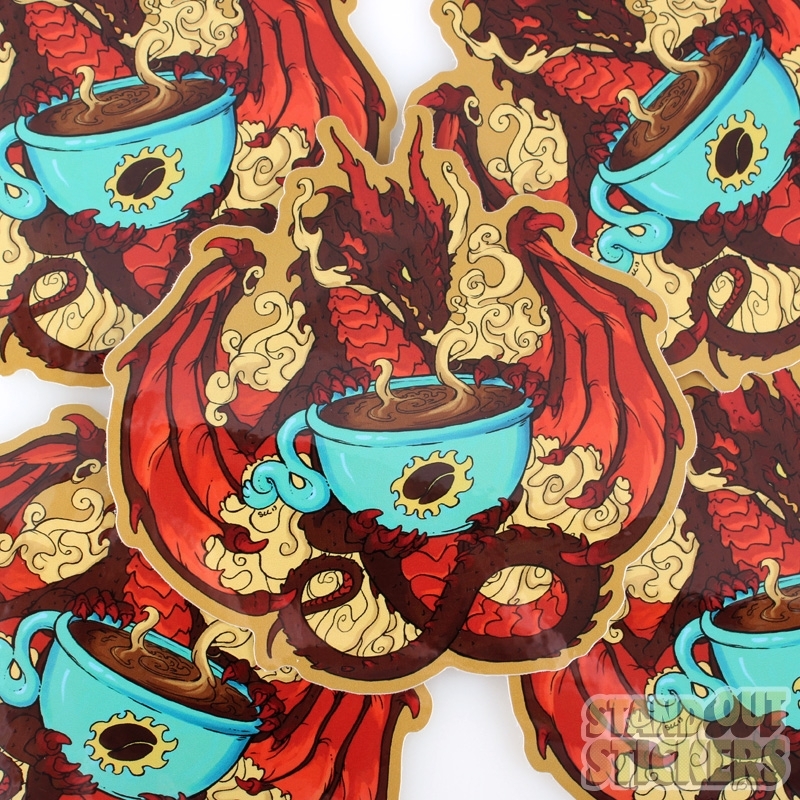 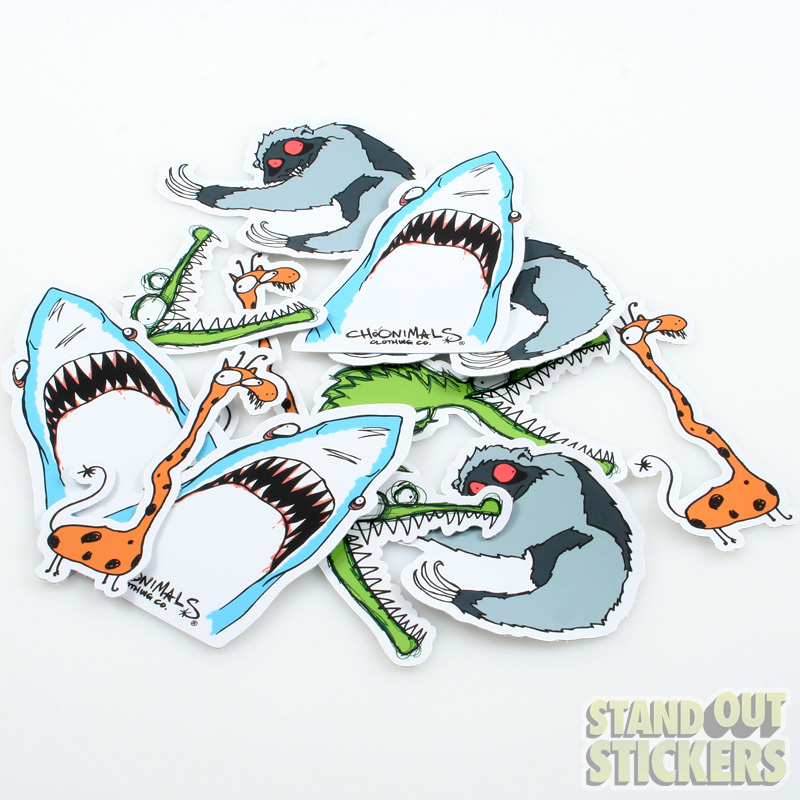 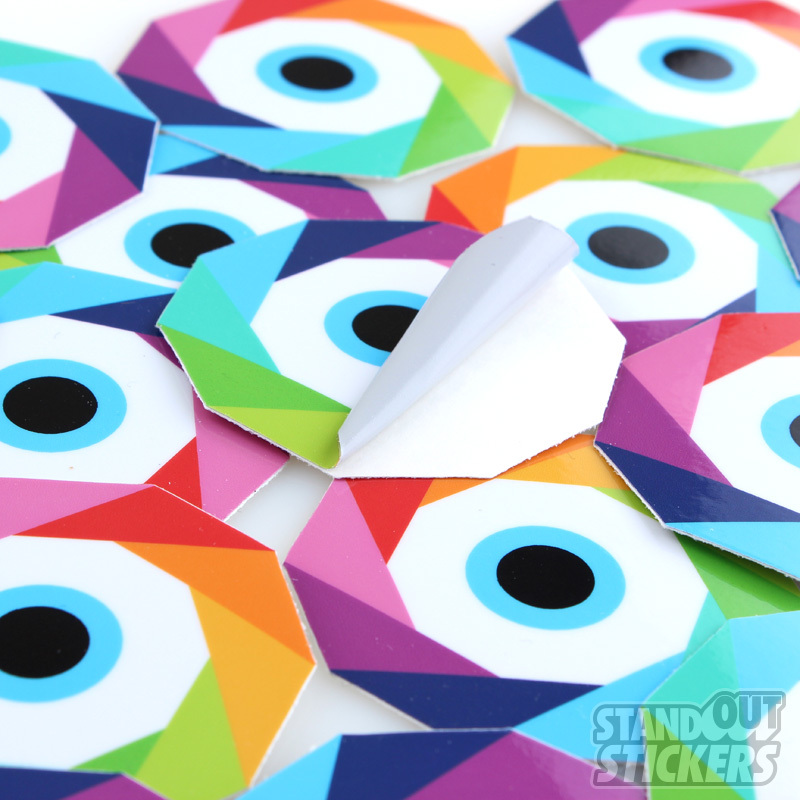 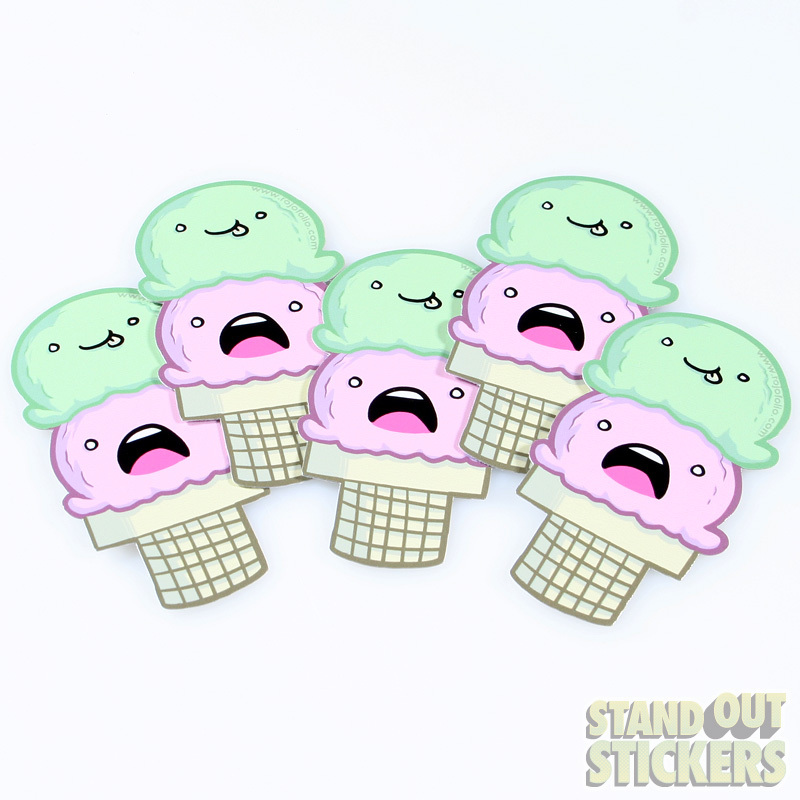 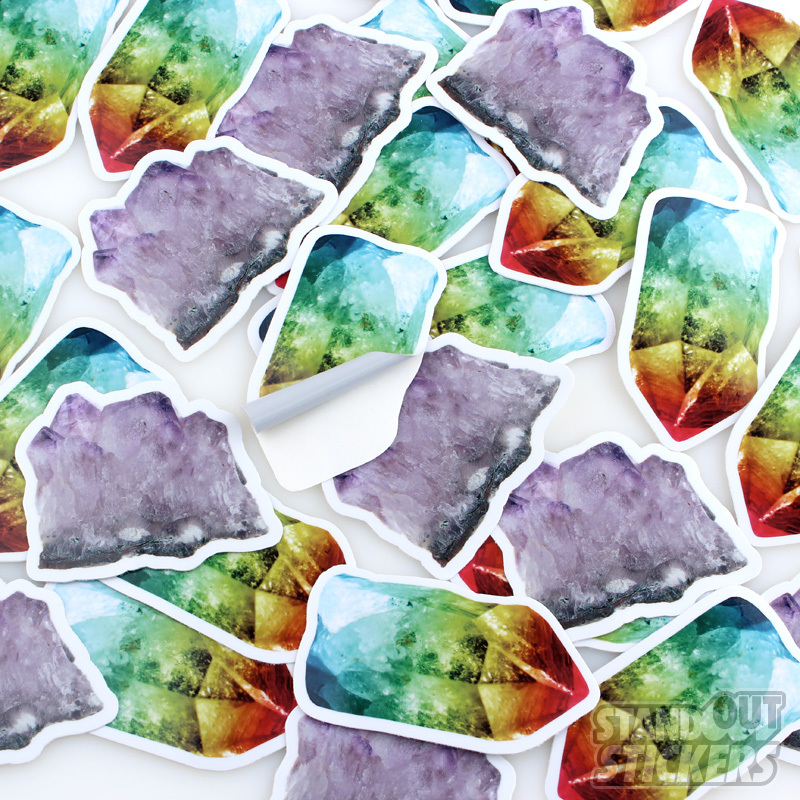 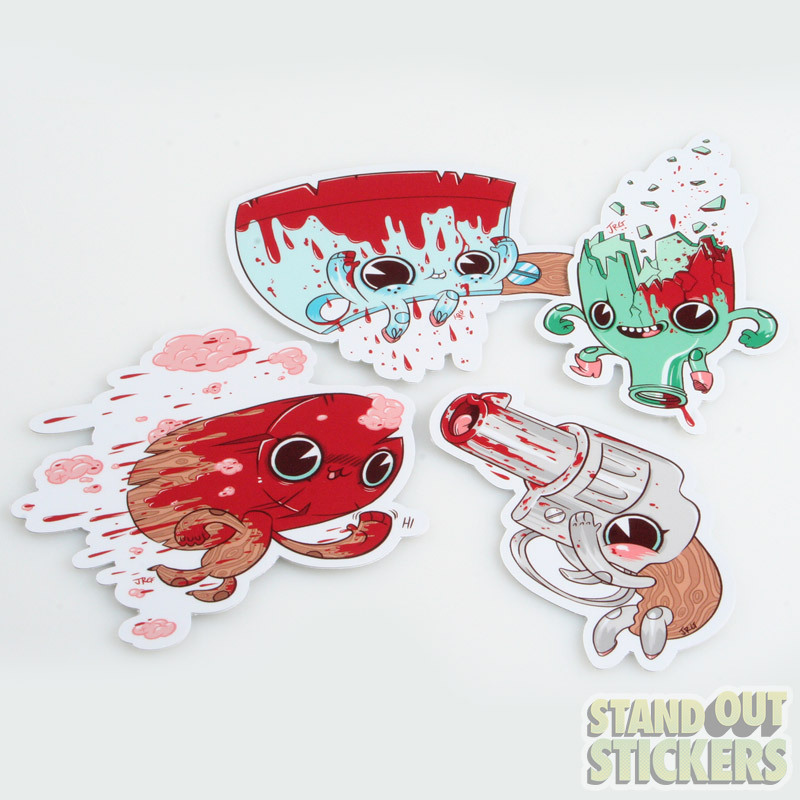 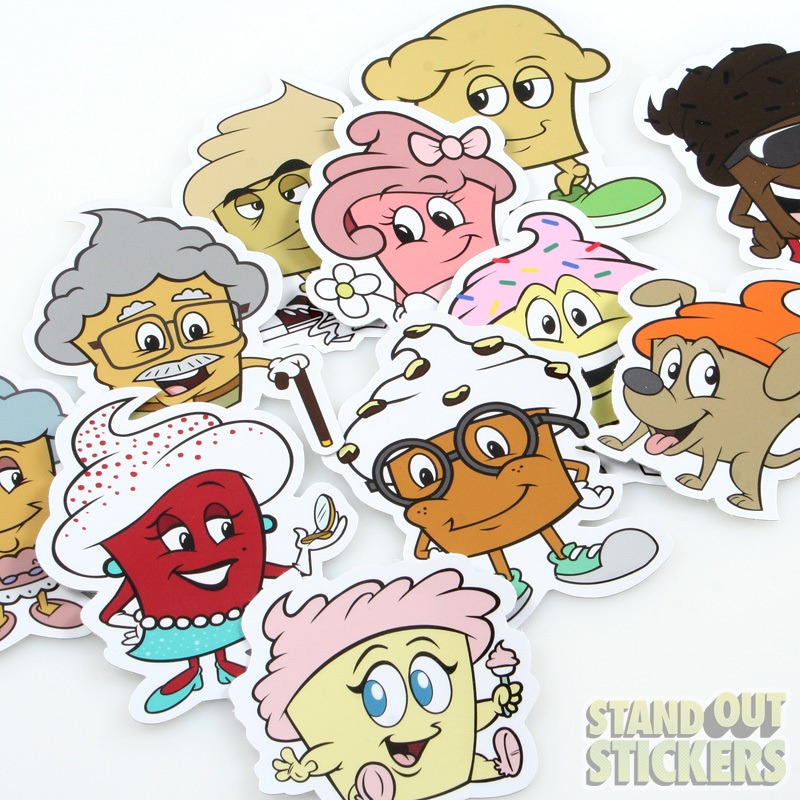 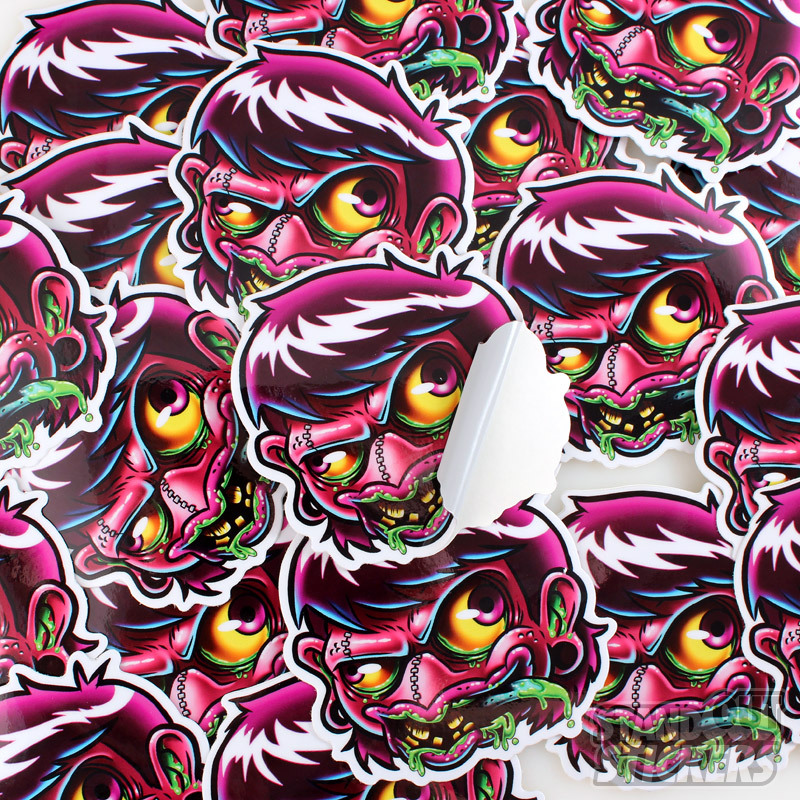 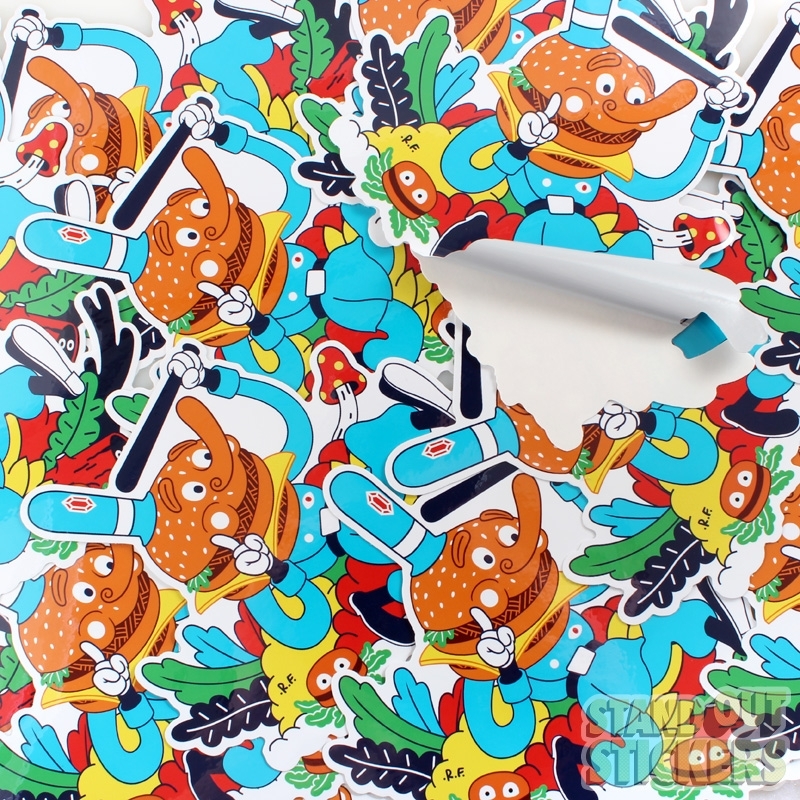 Look at some of the samples below for inspiration and then make sticker magic happen by ordering your own die cut stickers!